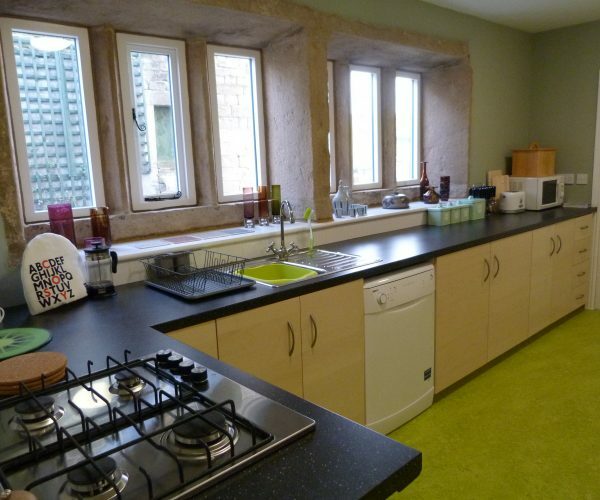 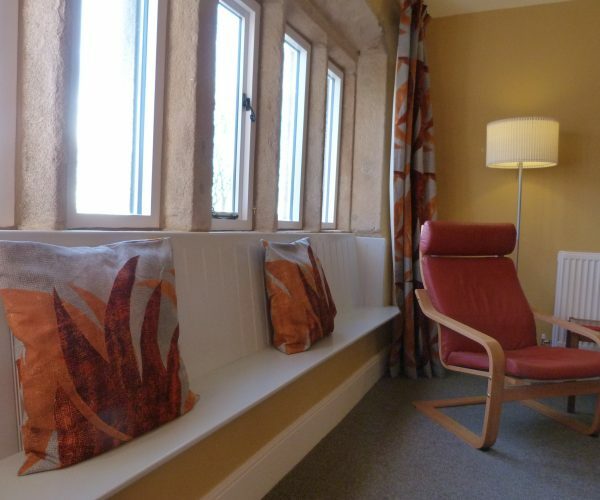 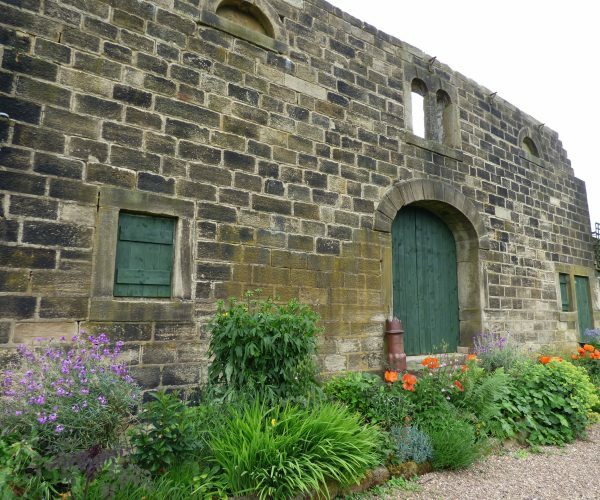 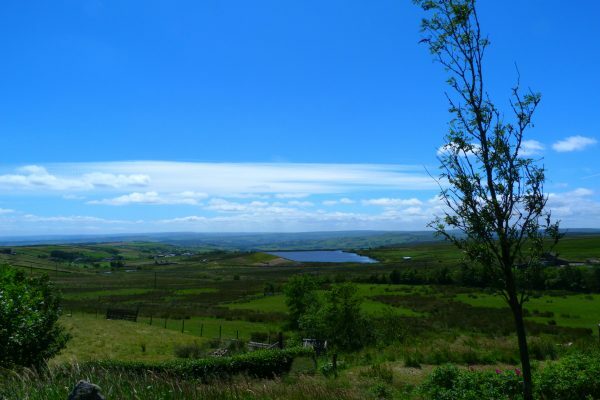 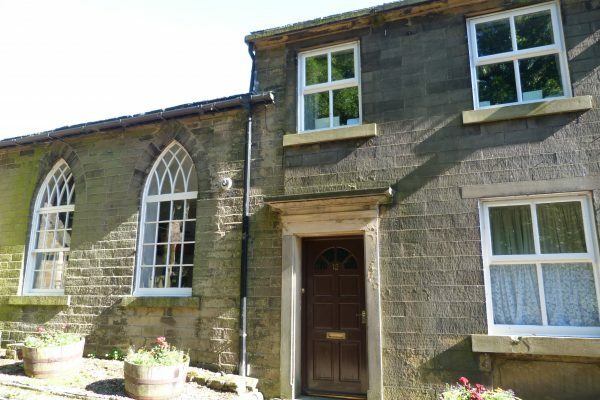 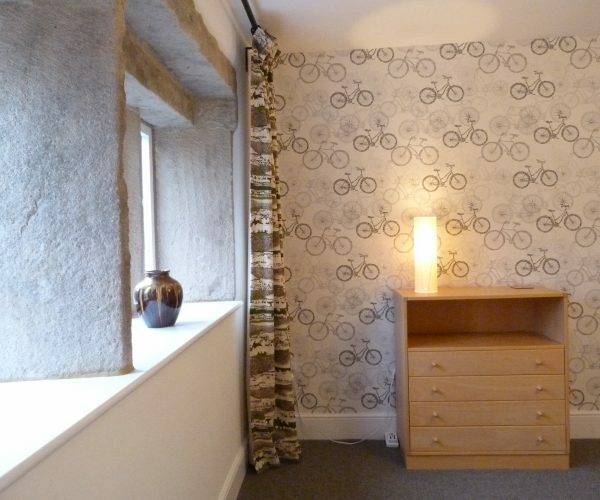 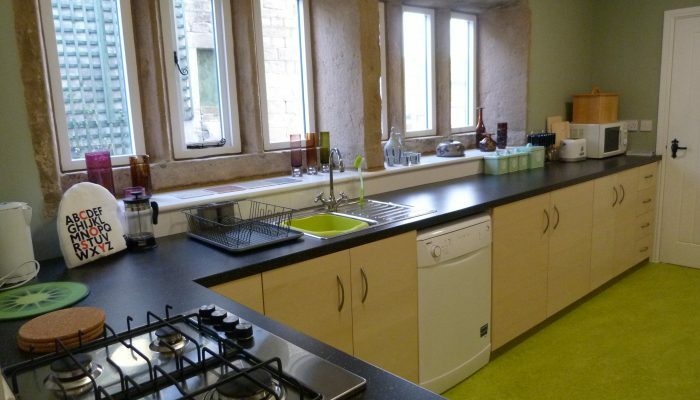 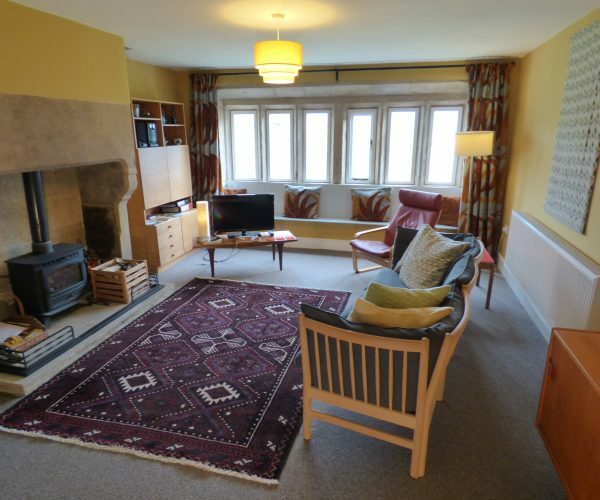 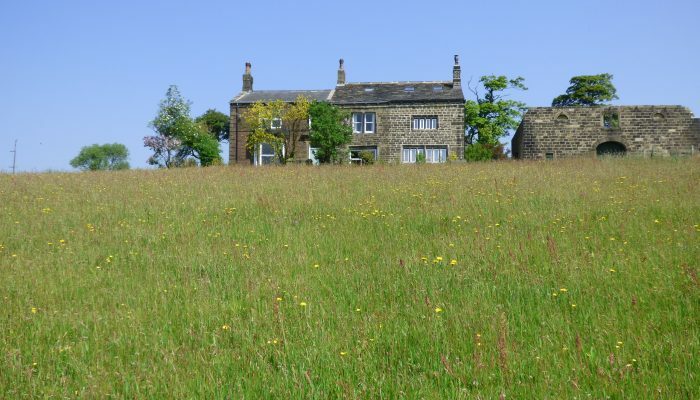 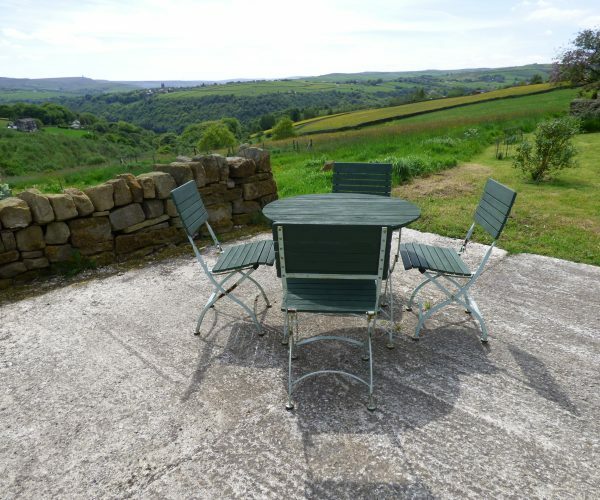 The perfect Yorkshire holiday cottage, Elmet Farmhouse has a real wow factor with its spectacular views. 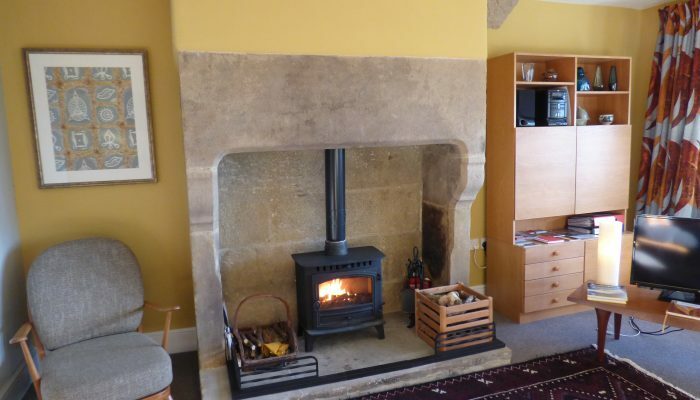 Beautifully decorated, this lovely 18th century farmhouse is steeped in character with stone mullion windows and a wood-burning stove. 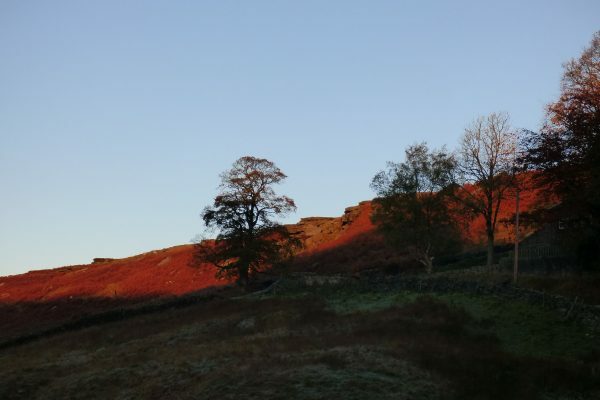 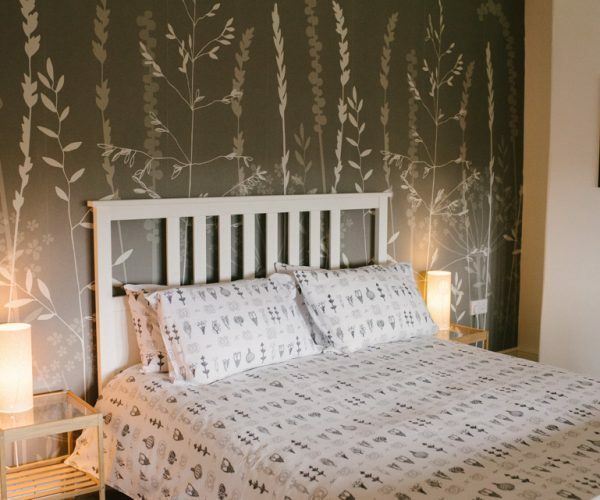 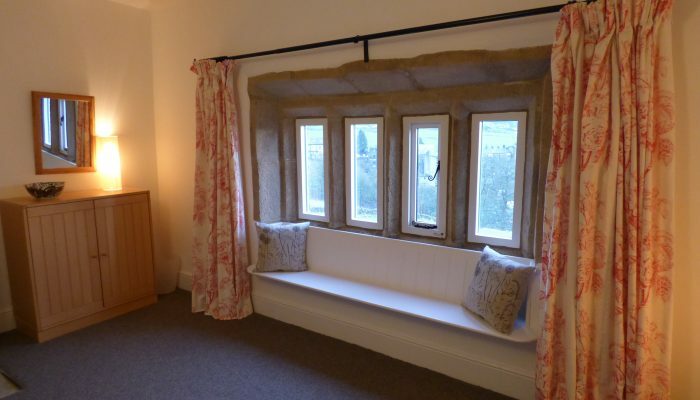 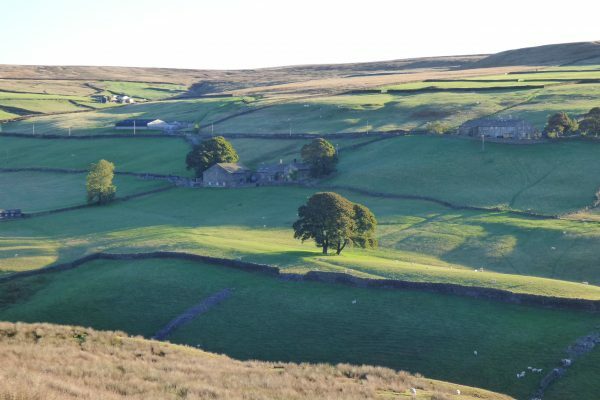 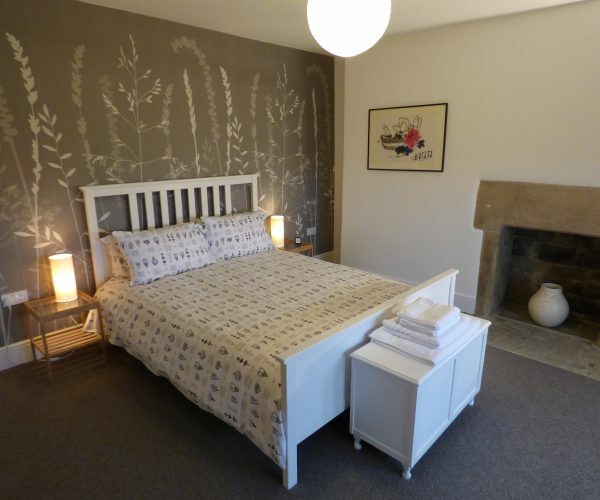 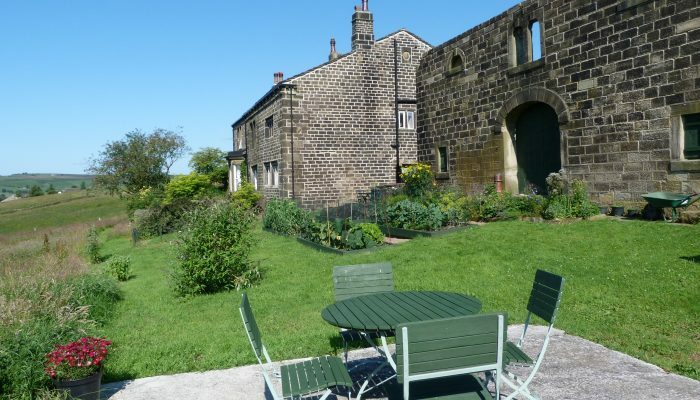 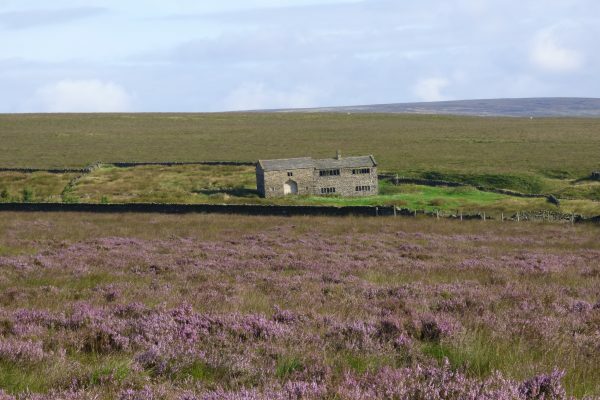 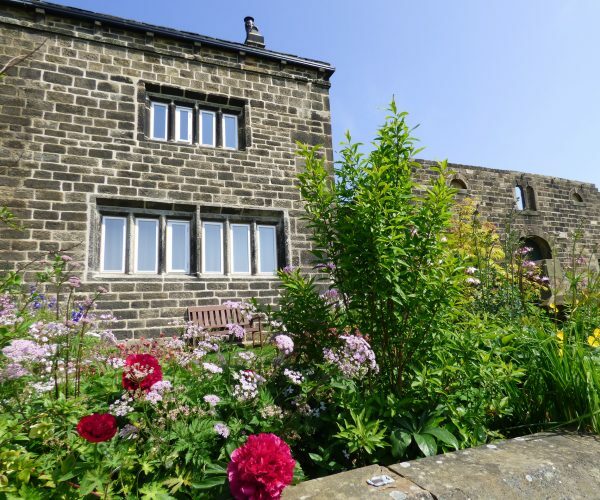 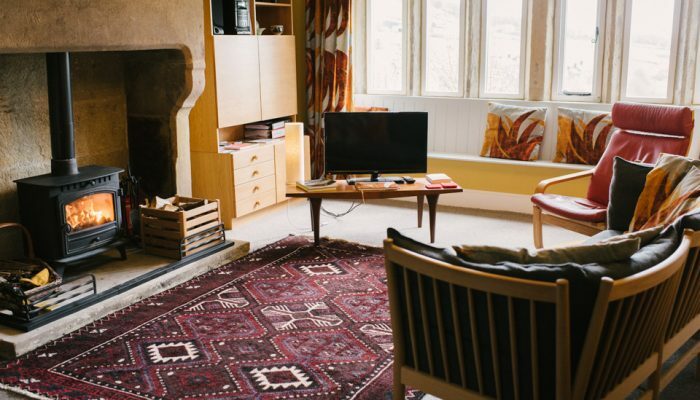 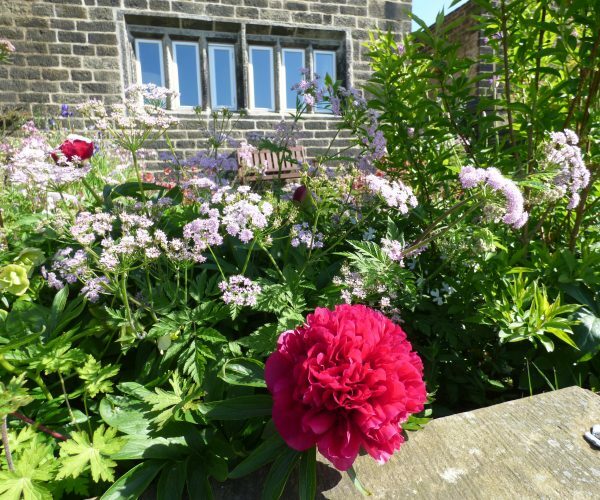 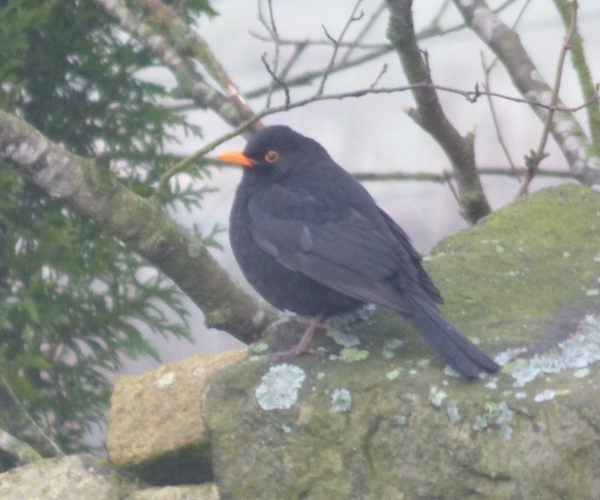 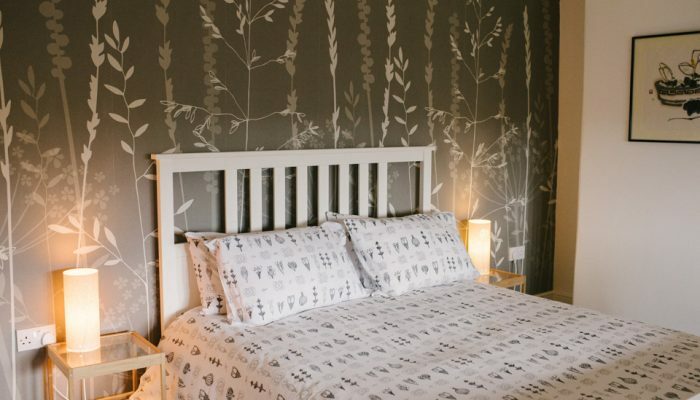 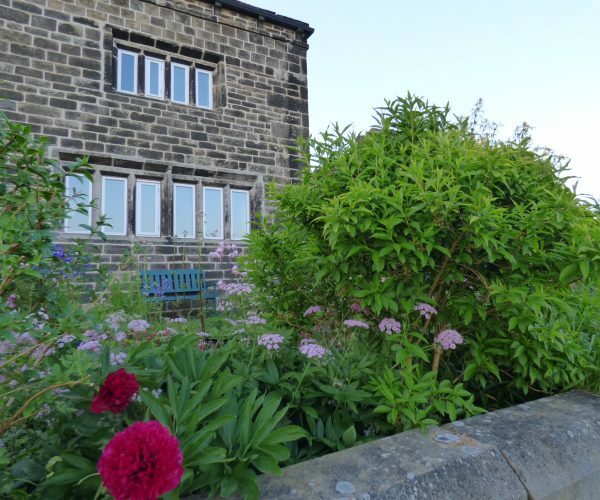 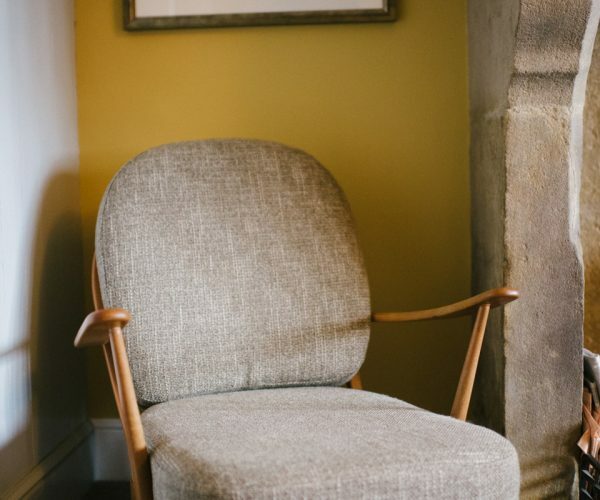 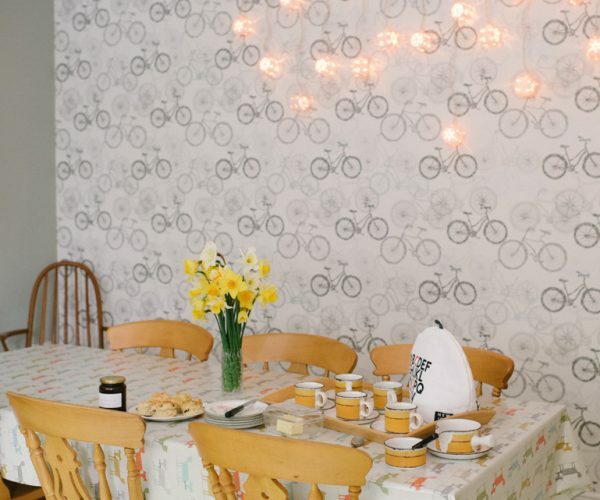 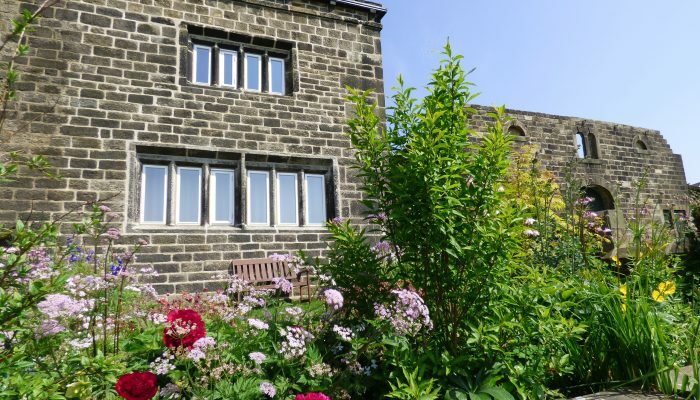 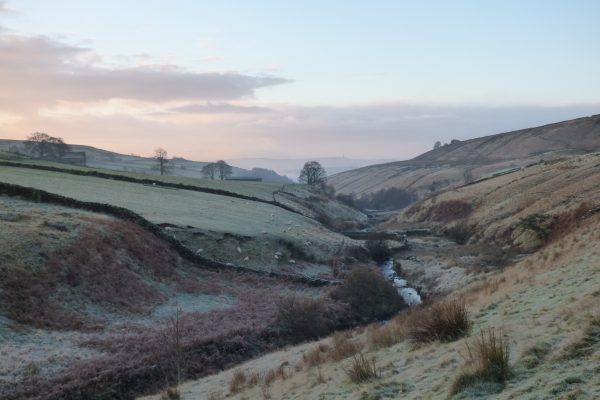 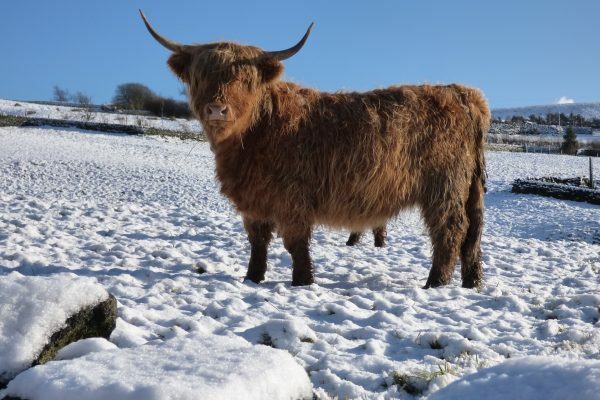 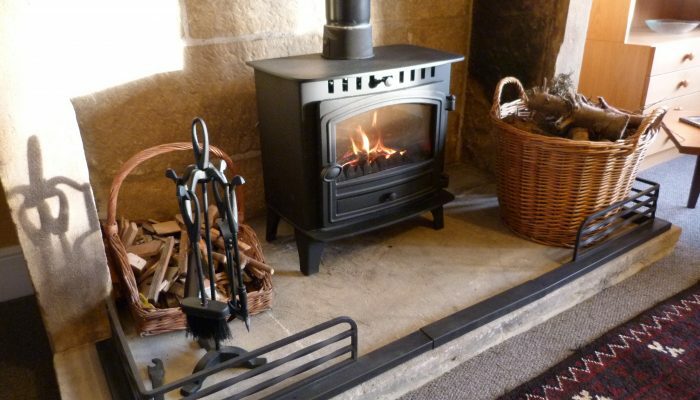 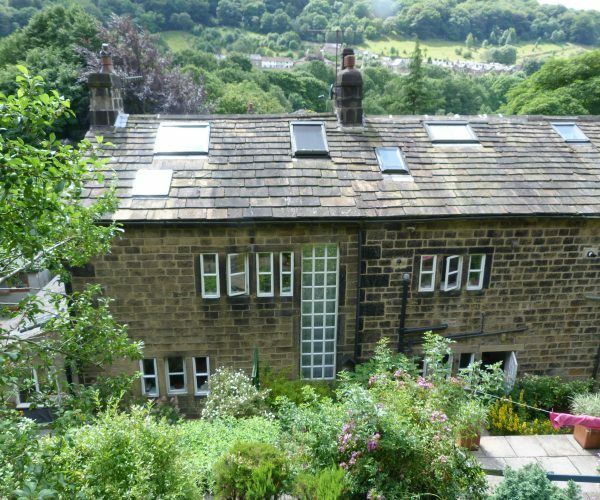 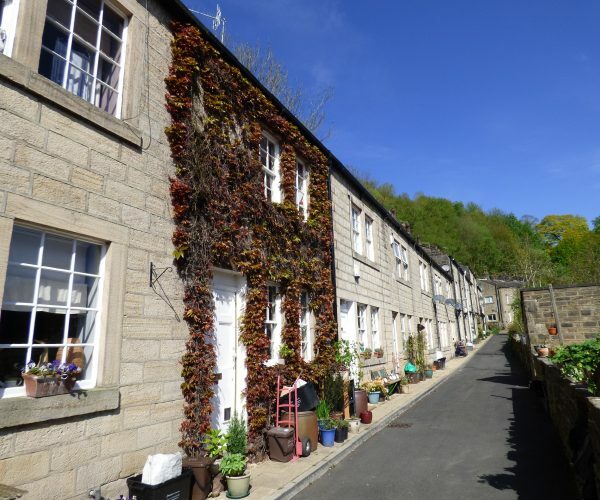 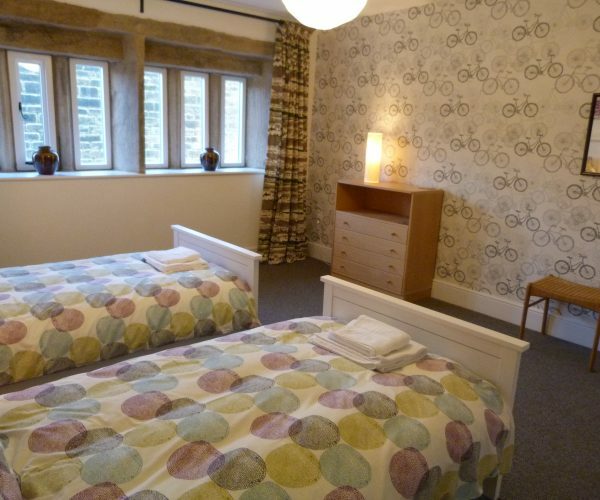 Perched above picturesque Hebden Bridge, Elmet Farmhouse offers luxurious self-catering accommodation for 6 people in an idyllic spot near Haworth and the Yorkshire Dales. 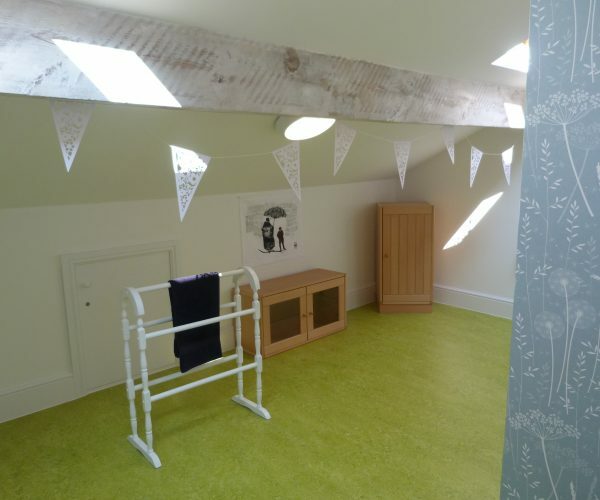 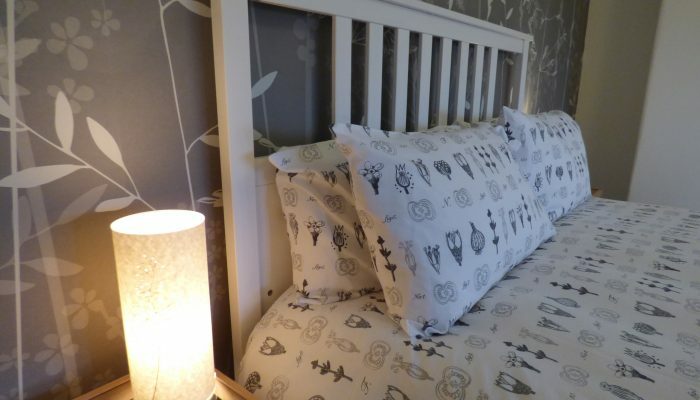 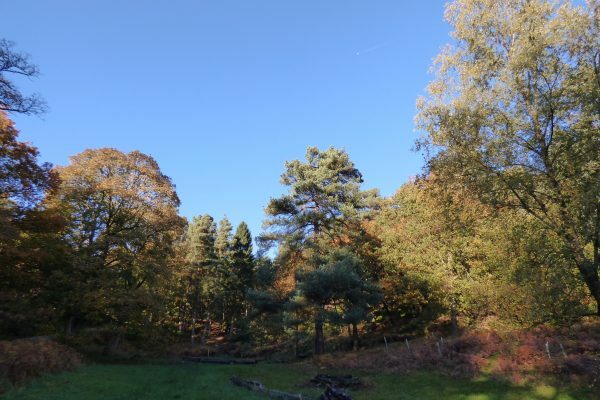 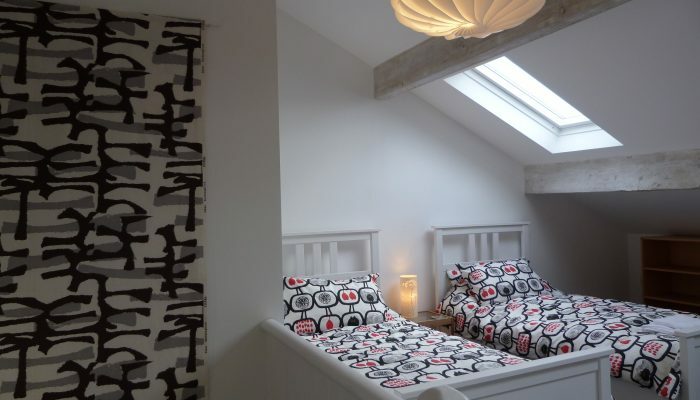 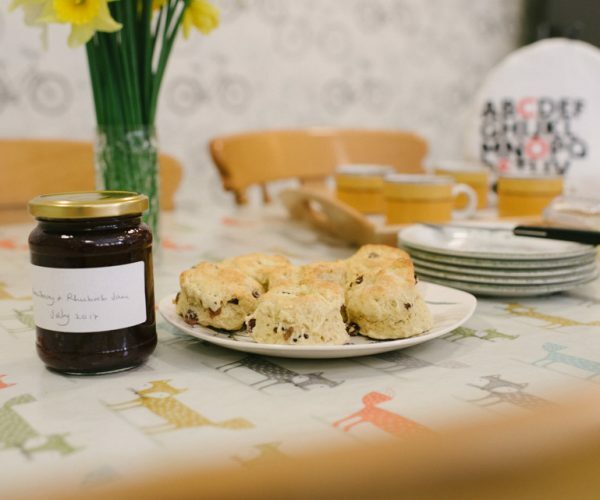 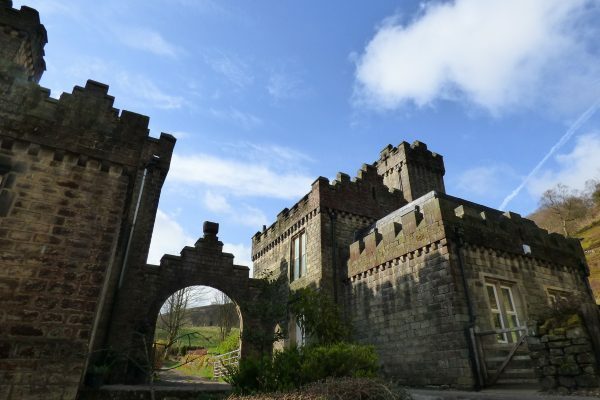 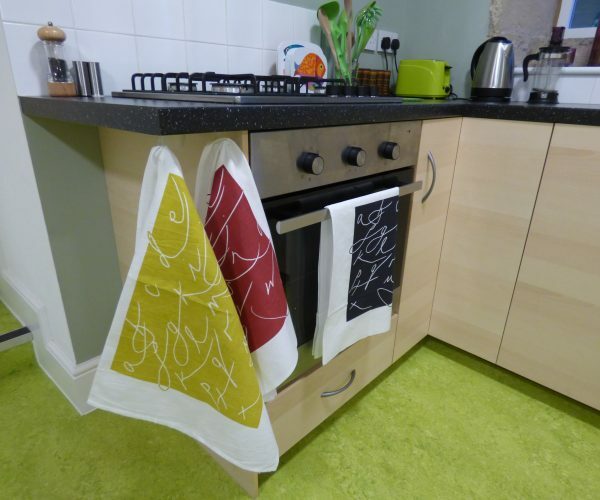 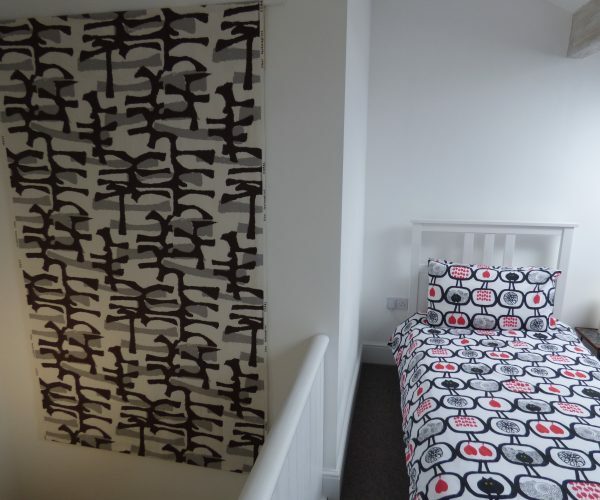 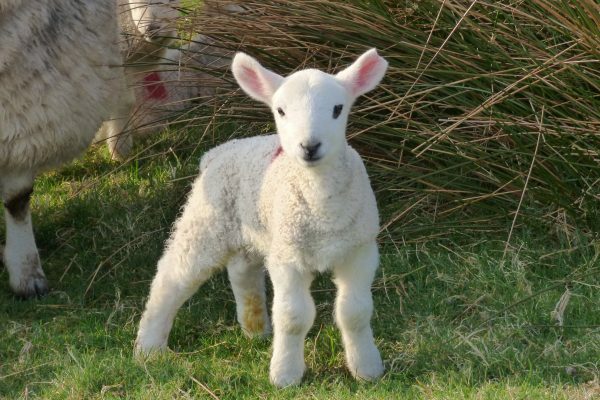 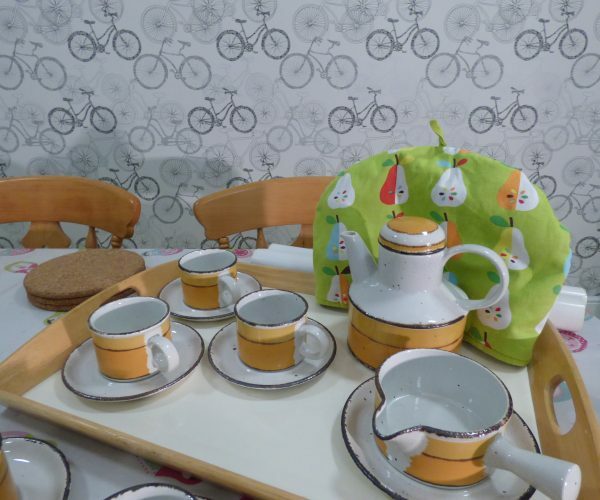 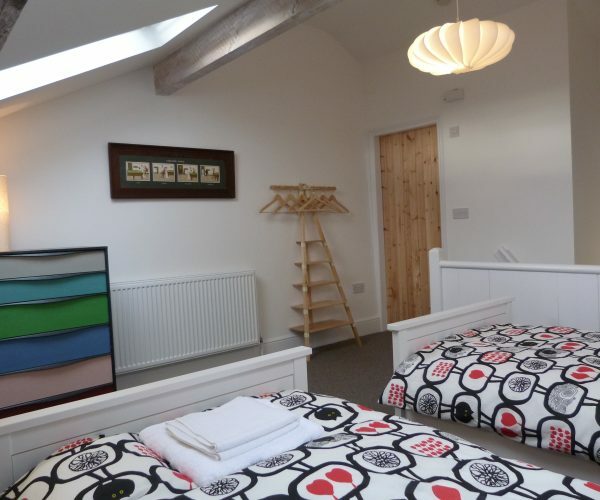 Ideal for families, walkers and groups of friends, it’s perfect for birthday treats and weekend breaks. 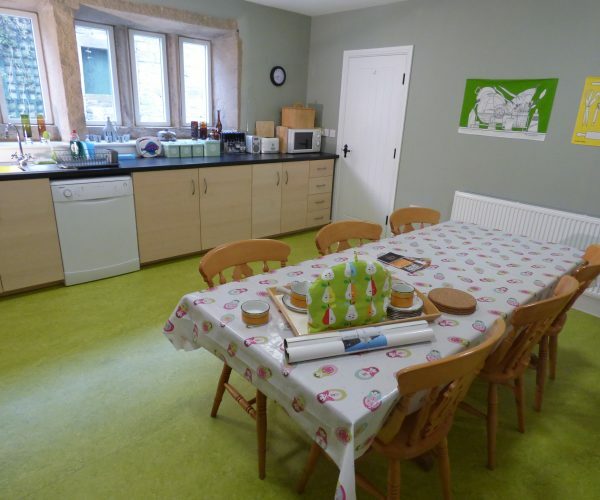 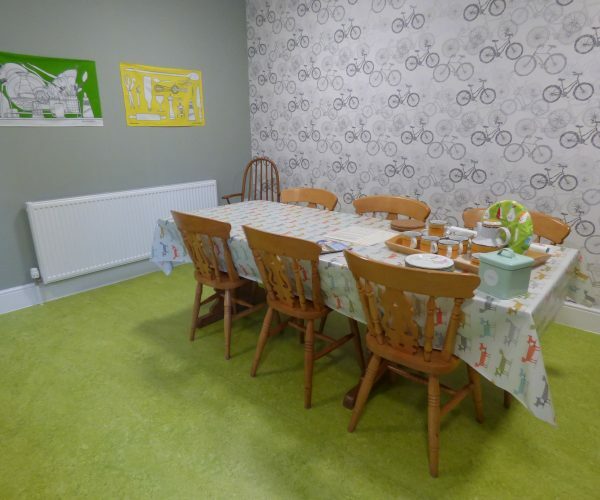 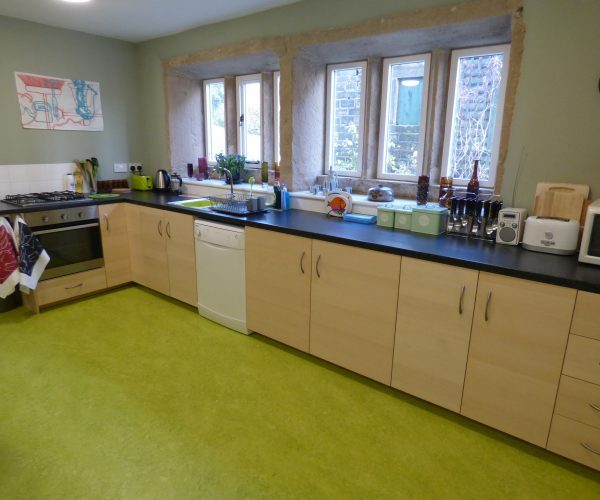 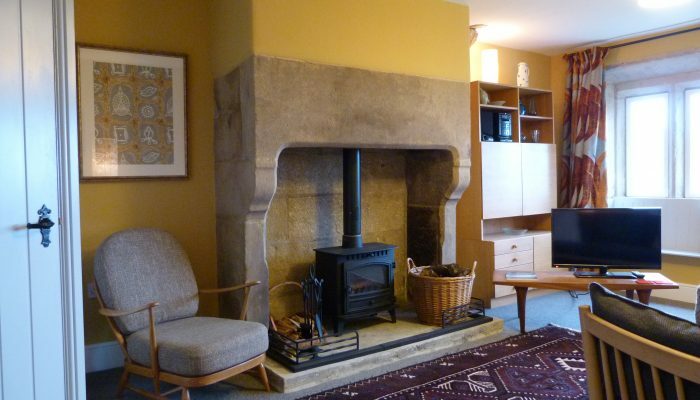 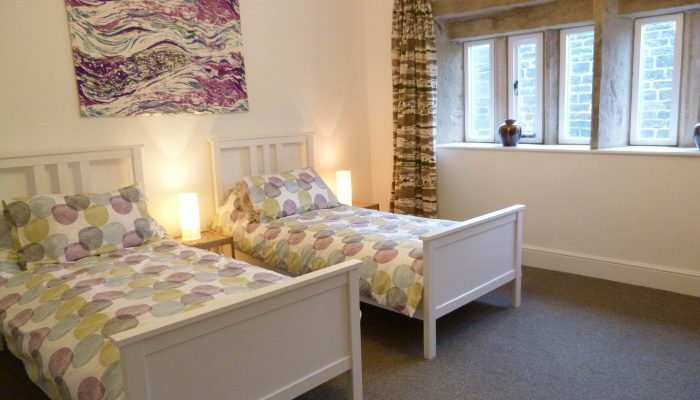 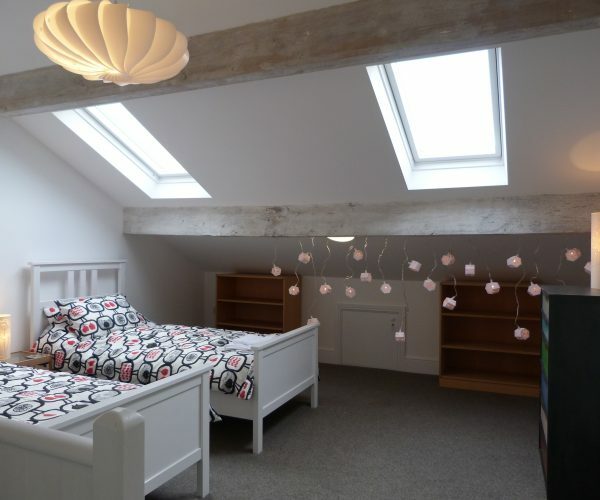 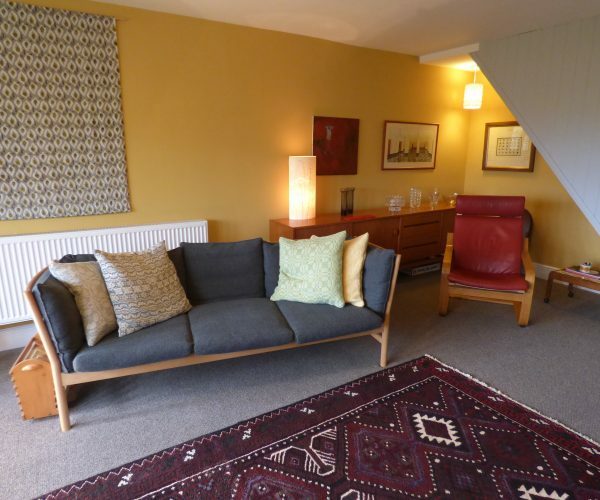 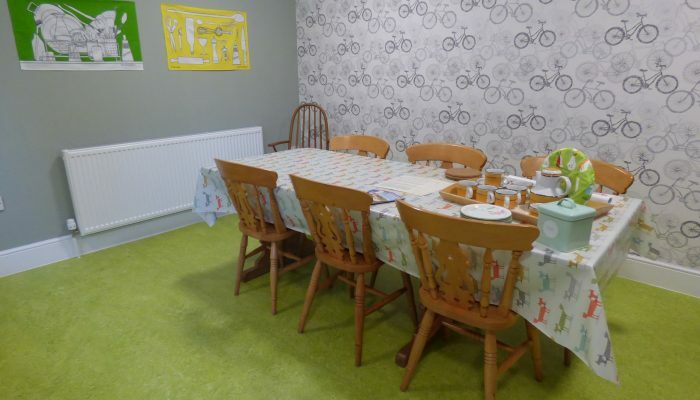 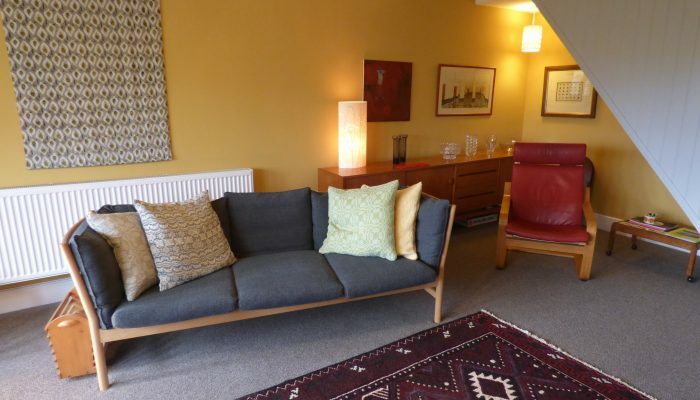 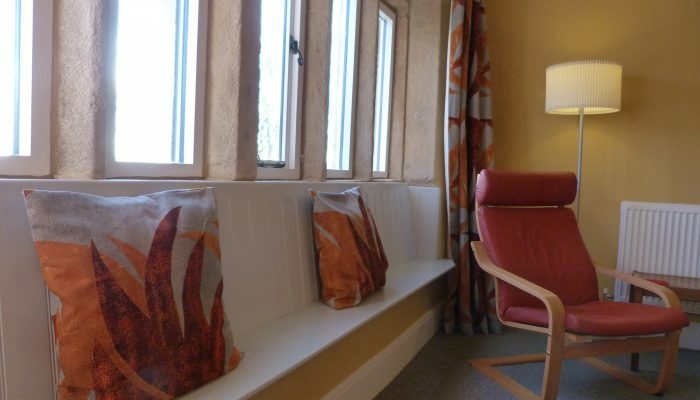 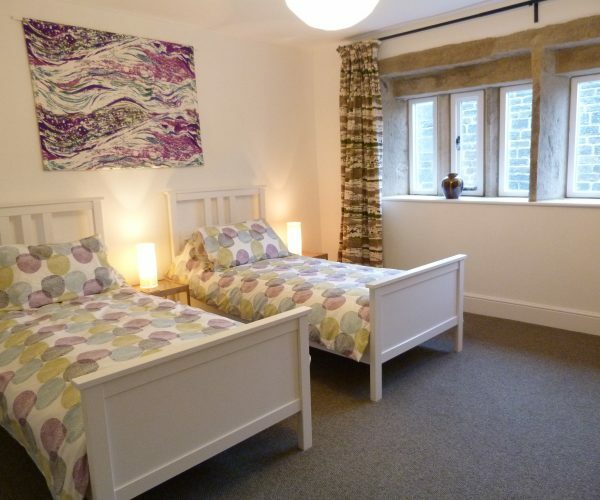 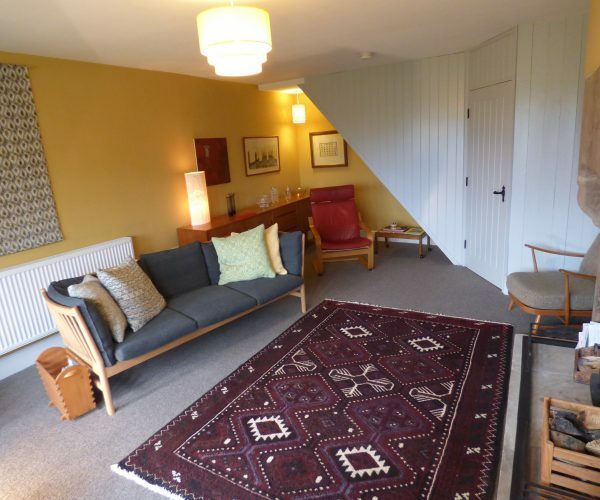 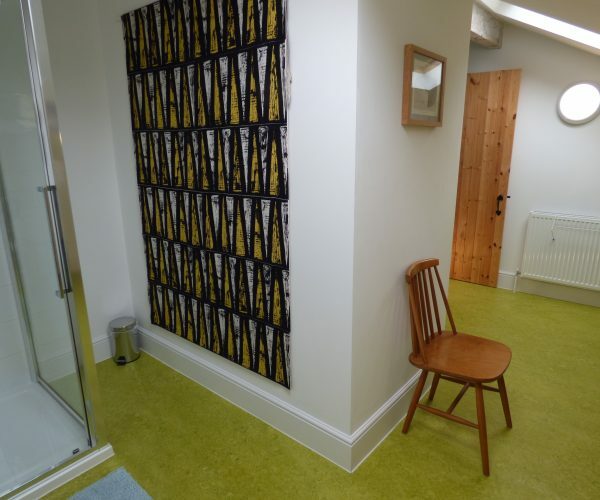 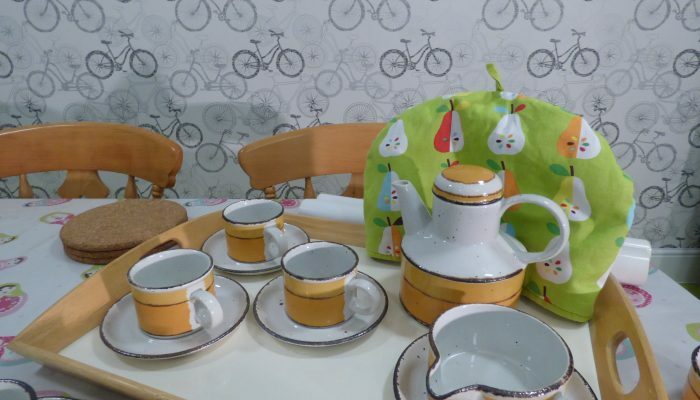 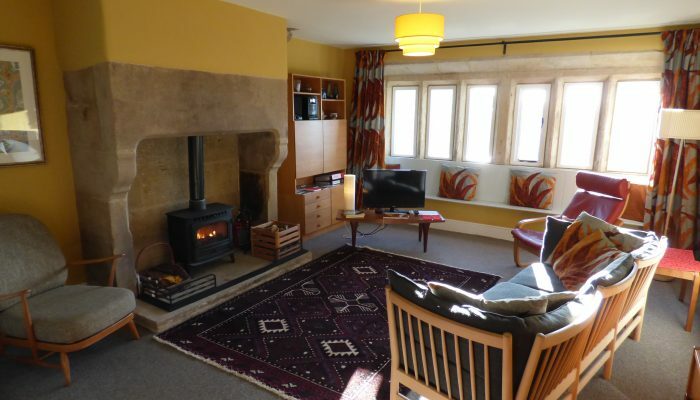 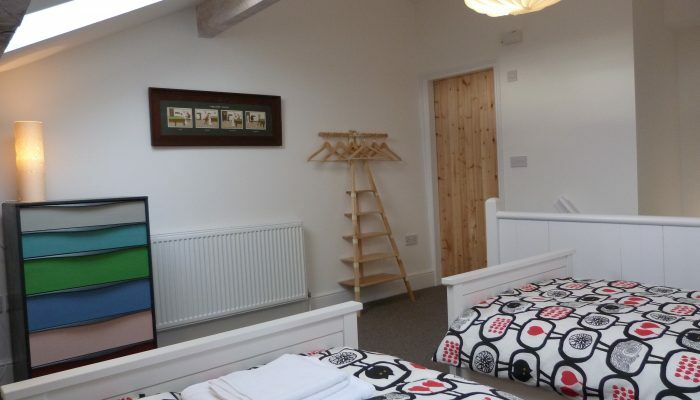 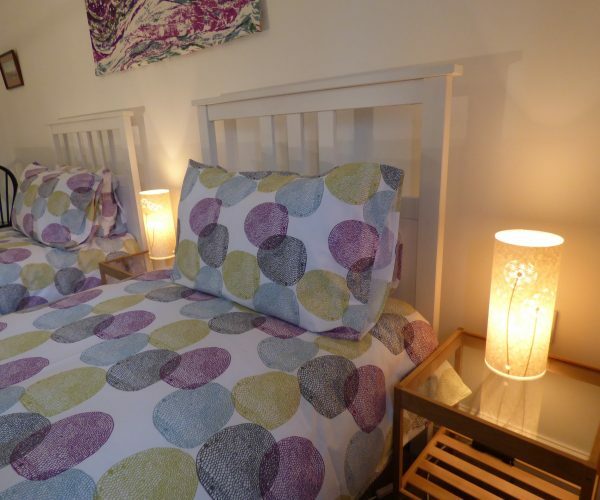 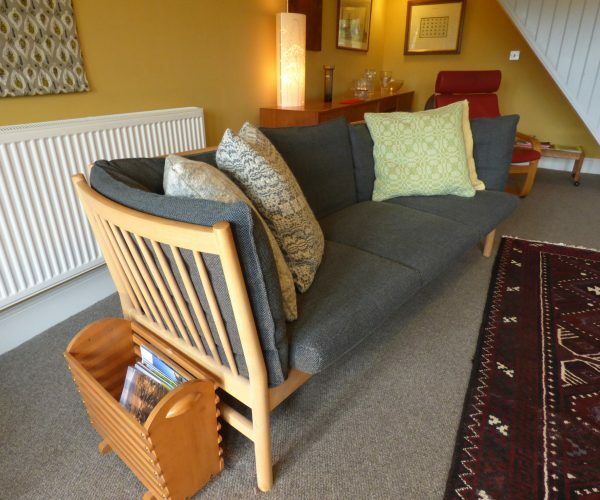 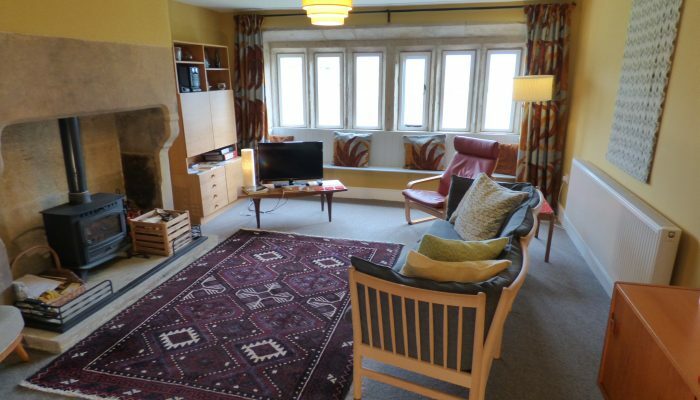 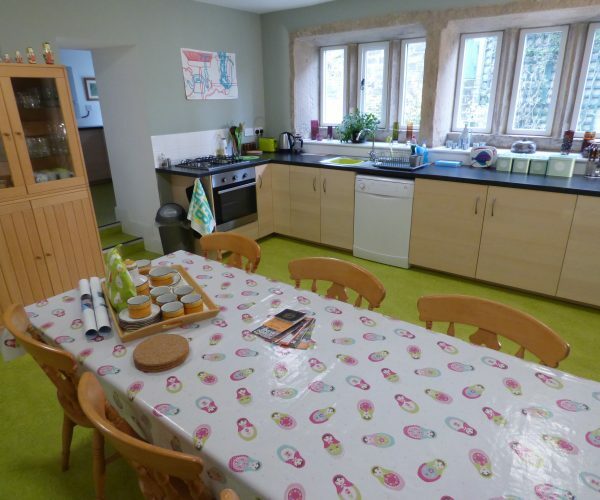 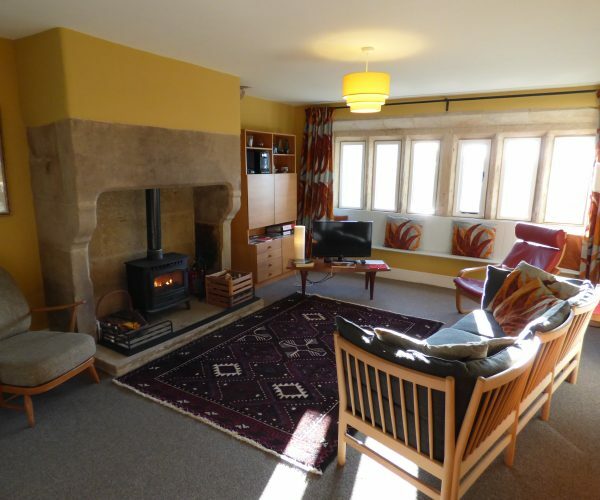 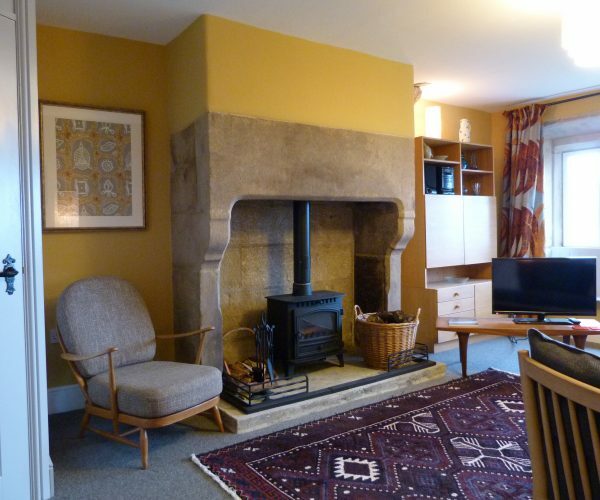 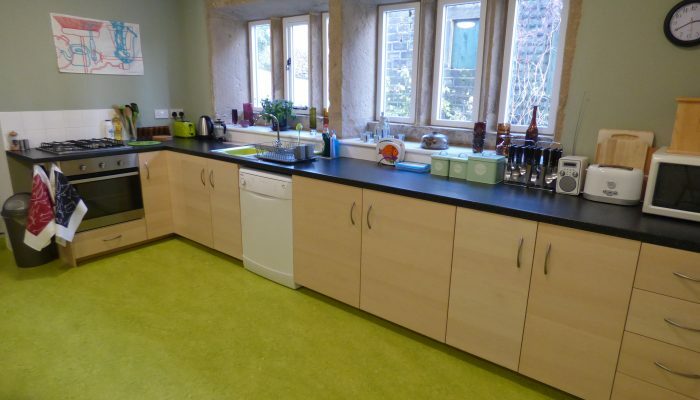 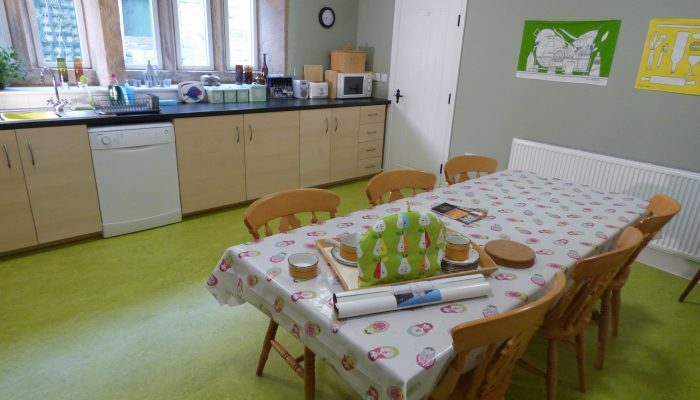 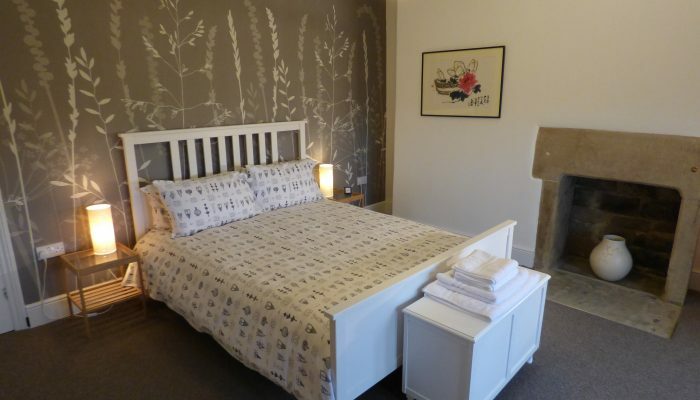 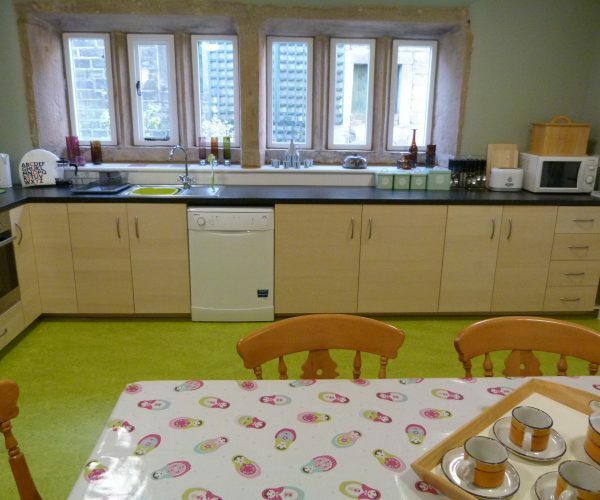 Comfortable and spacious, the farmhouse has a large lounge, a big well-equipped kitchen dining room, 3 airy bedrooms (1 double and 2 twins) and 2 bathrooms. 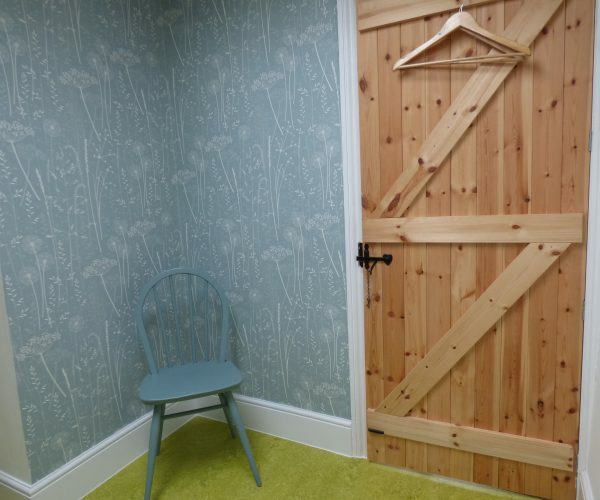 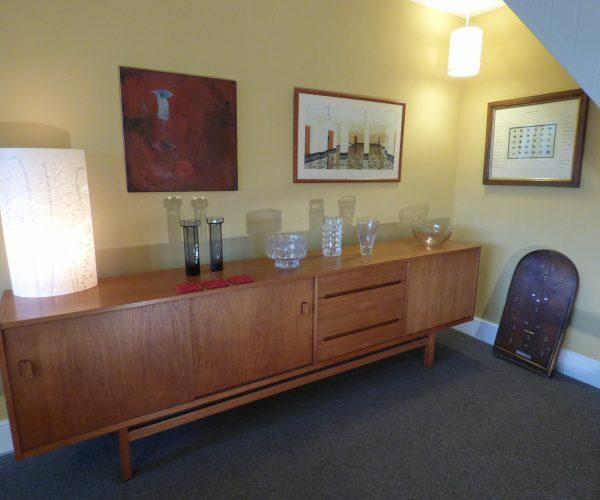 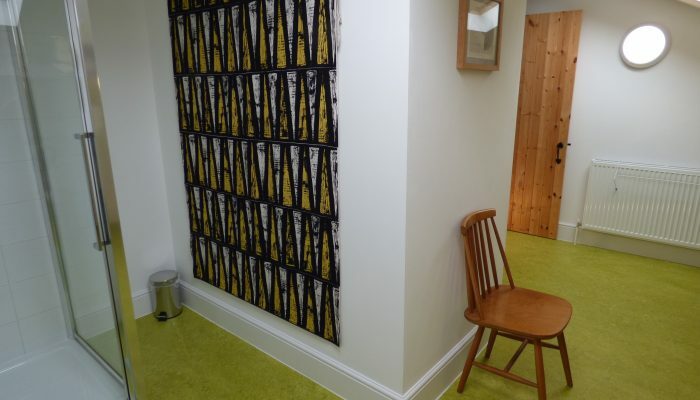 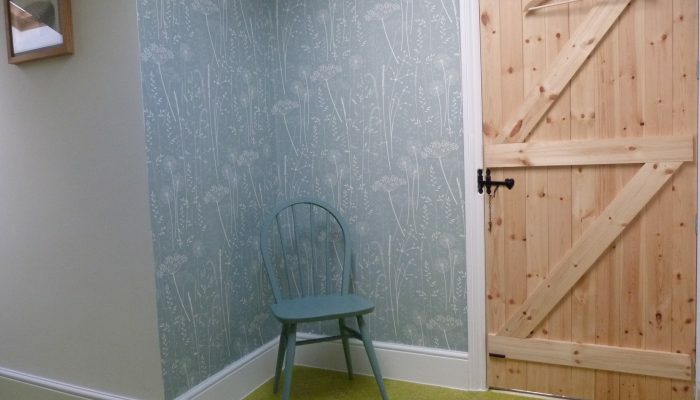 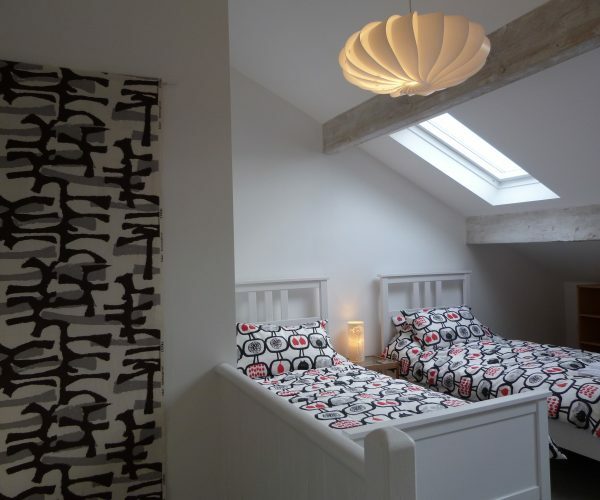 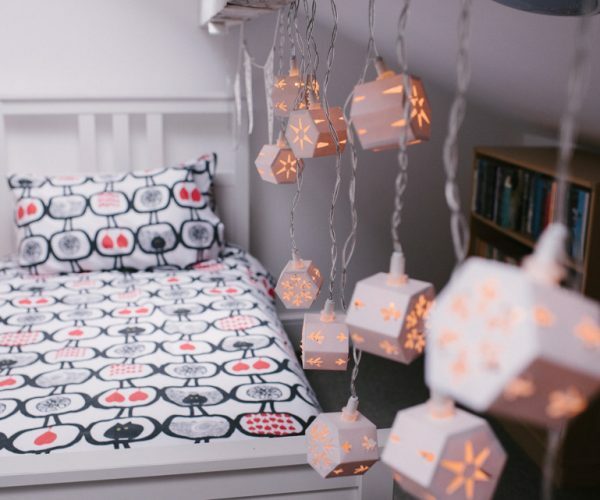 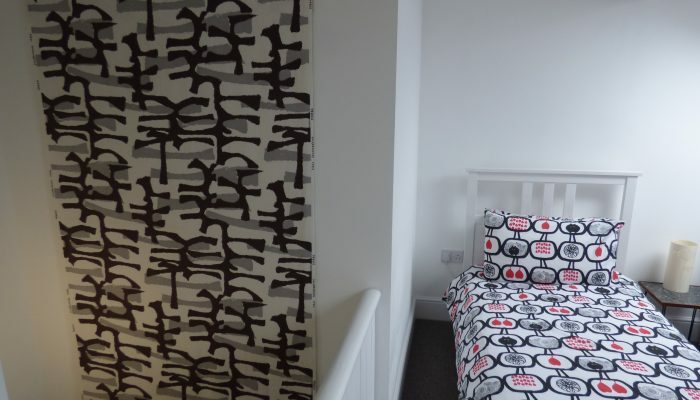 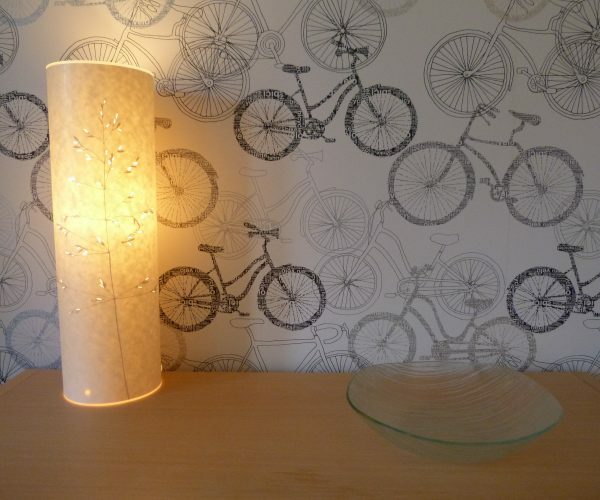 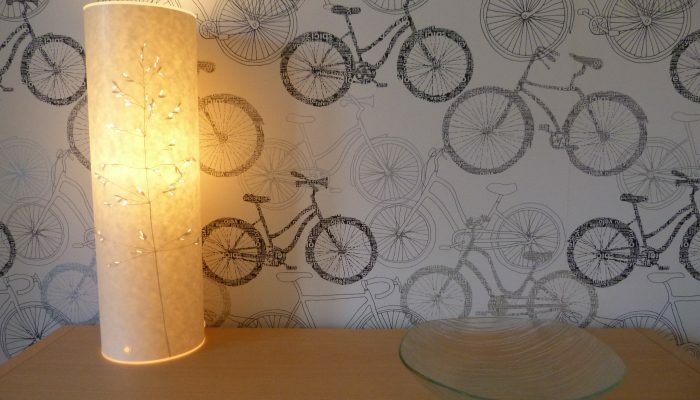 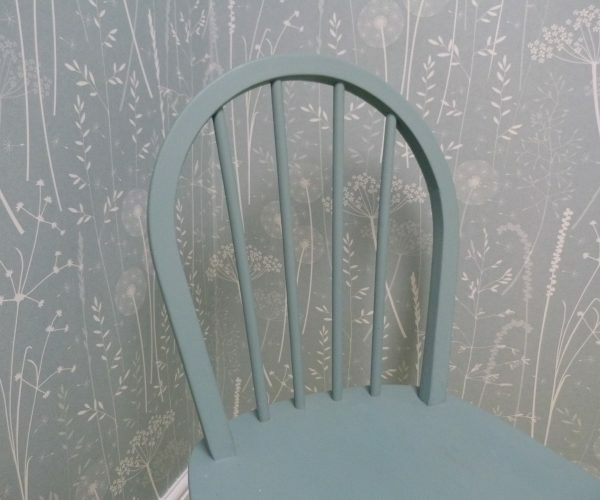 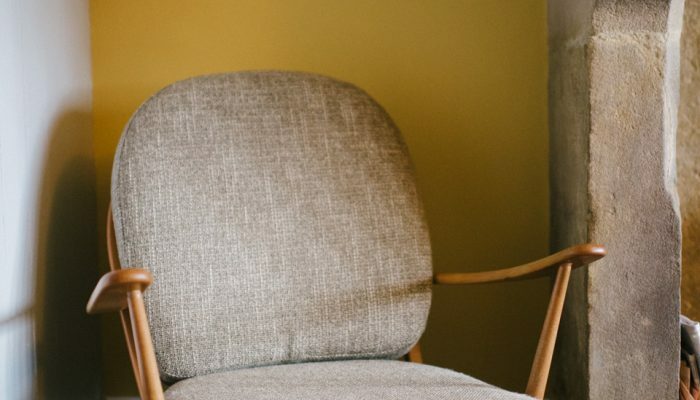 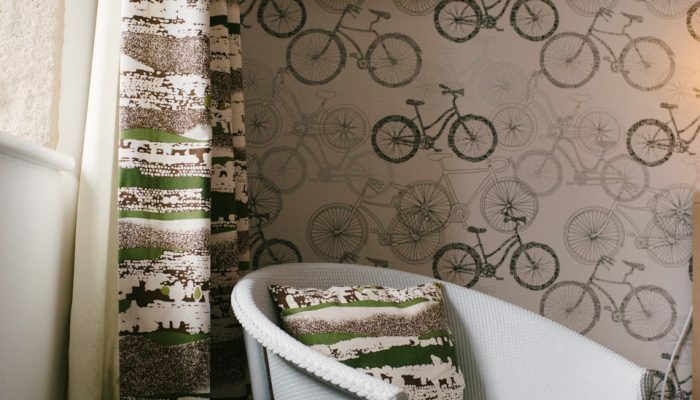 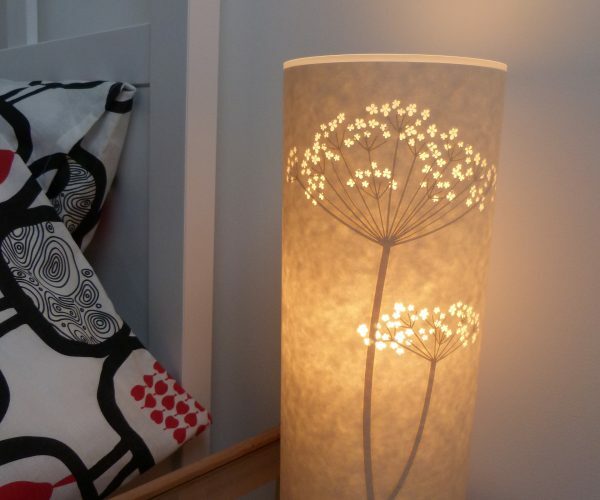 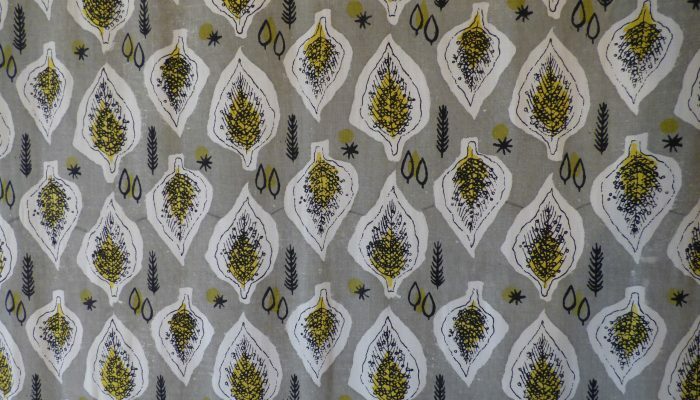 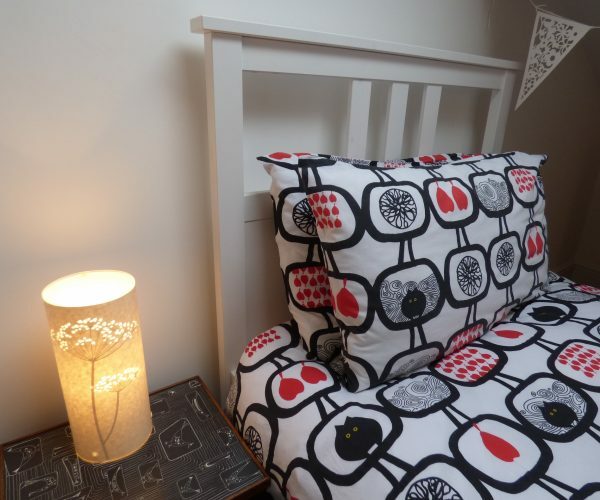 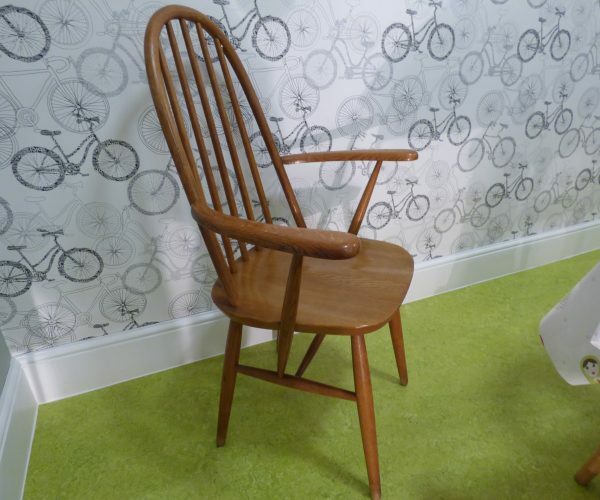 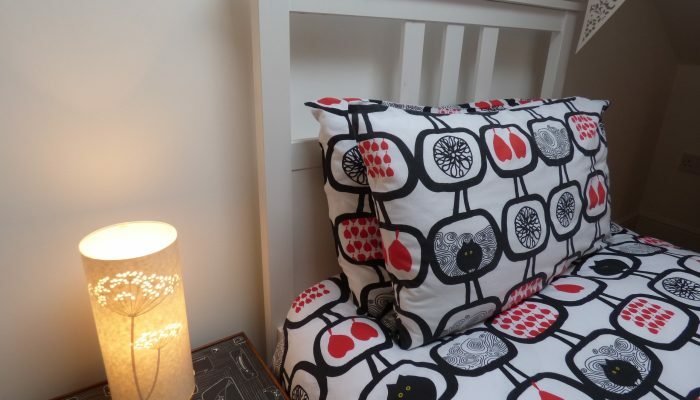 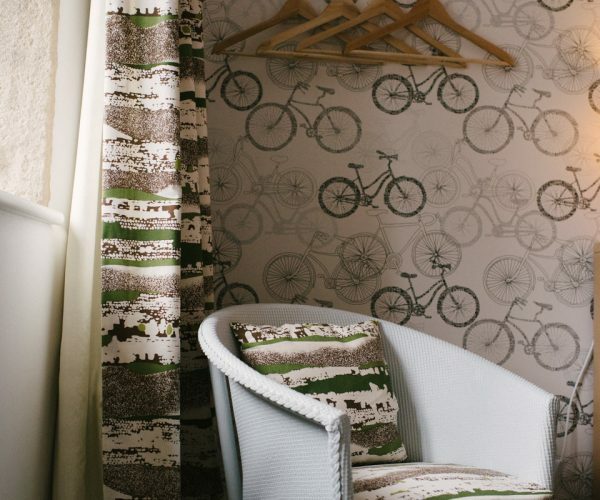 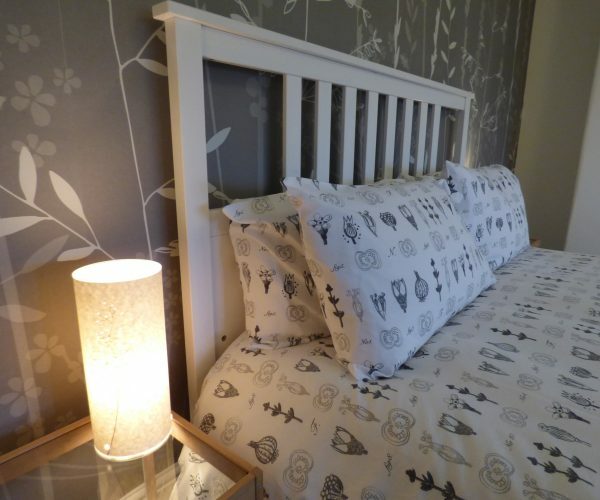 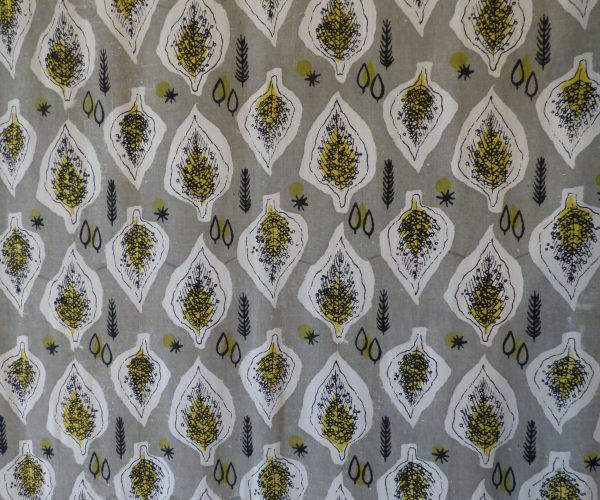 Each room is full of design delights, including midcentury furniture and textiles, and lamps and wallpapers by local designer Hannah Nunn. 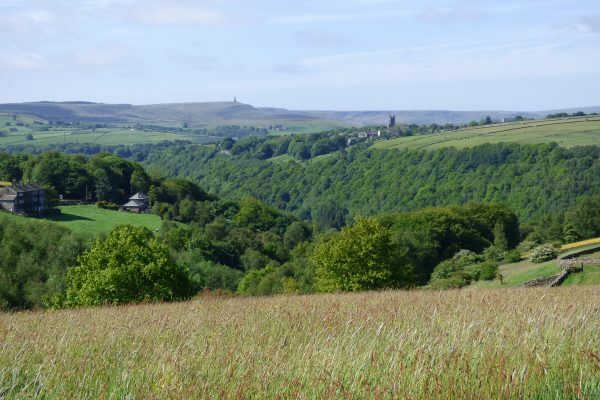 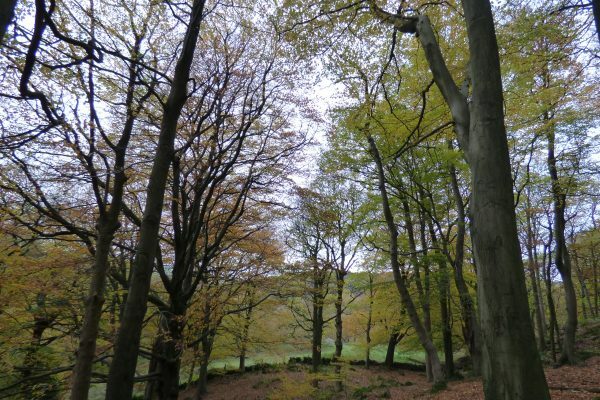 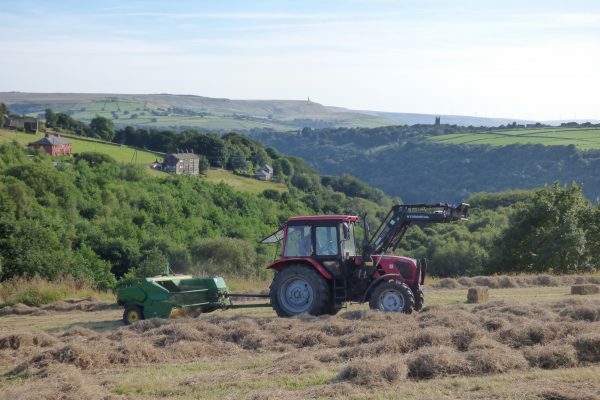 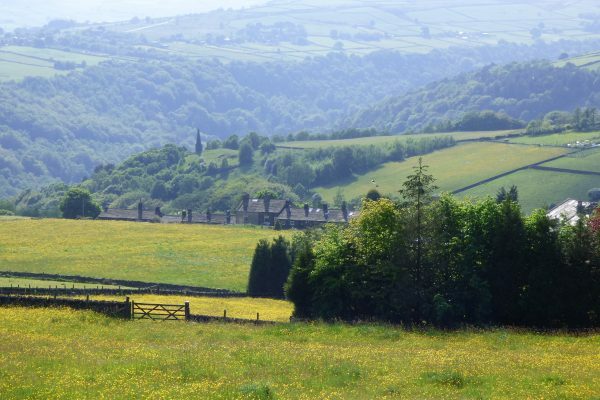 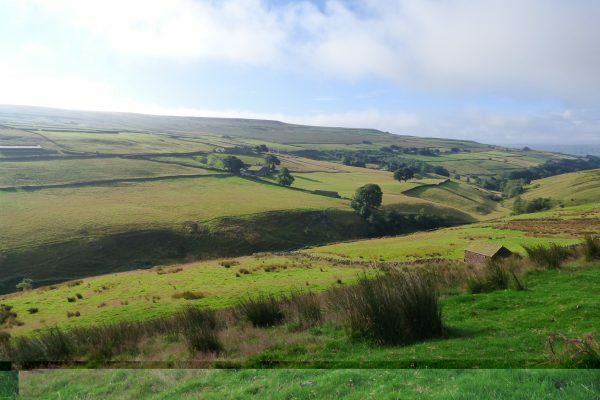 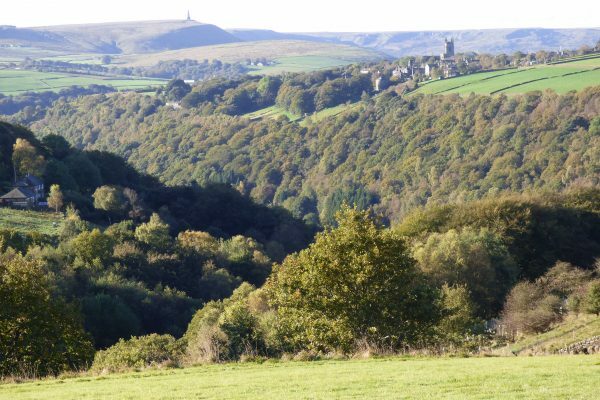 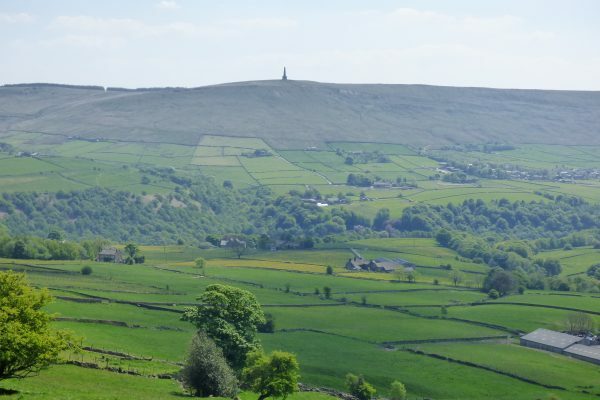 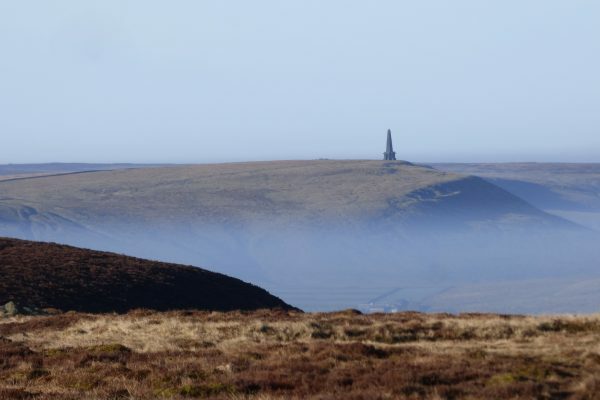 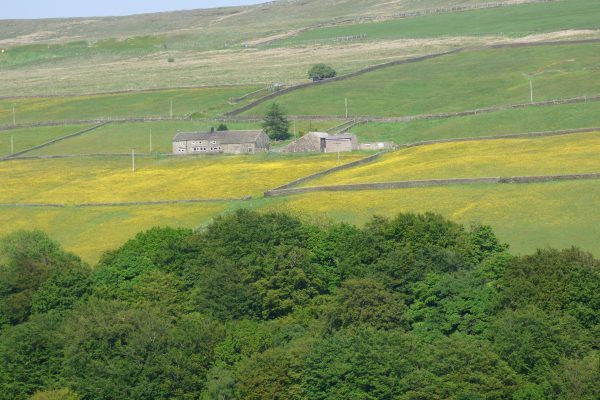 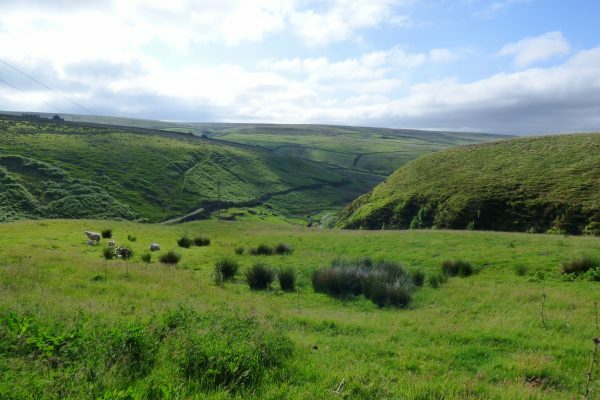 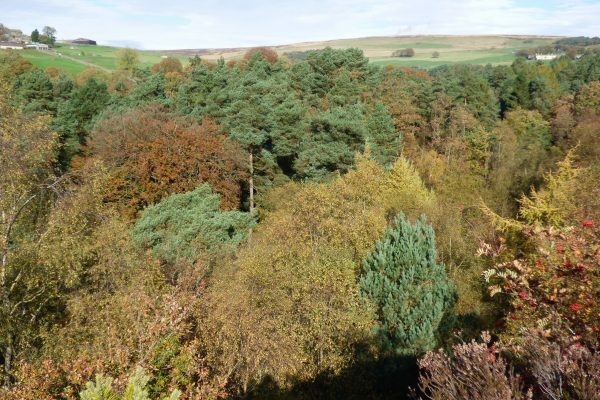 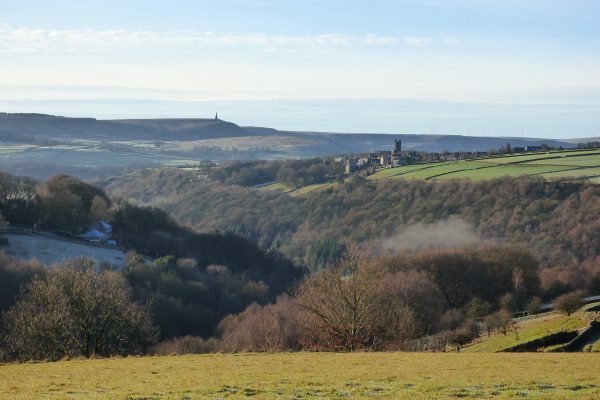 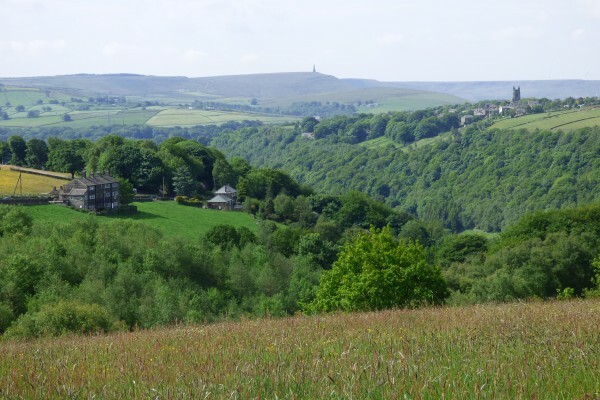 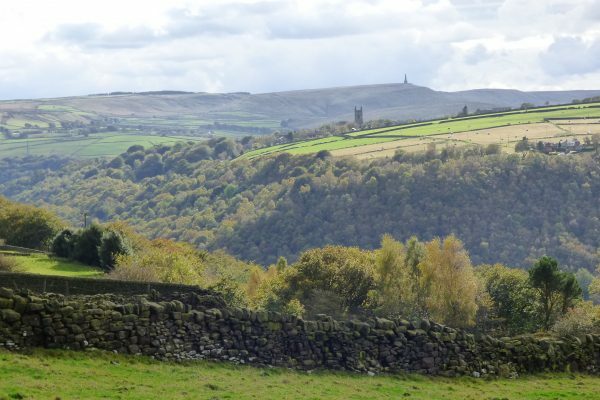 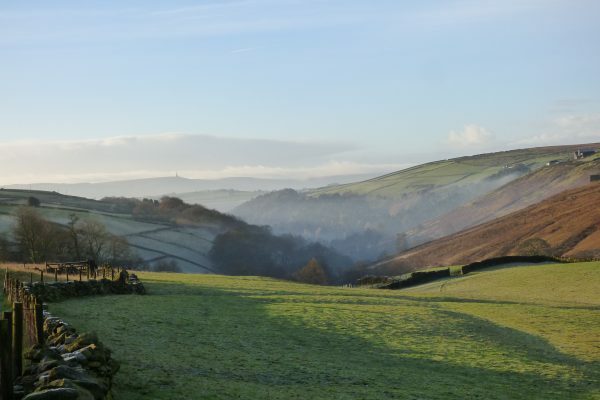 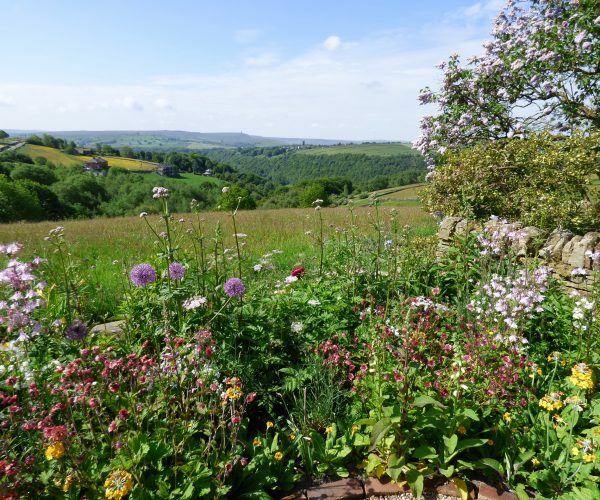 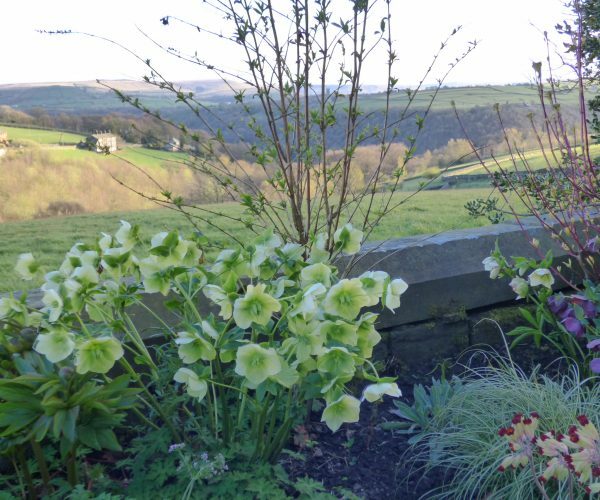 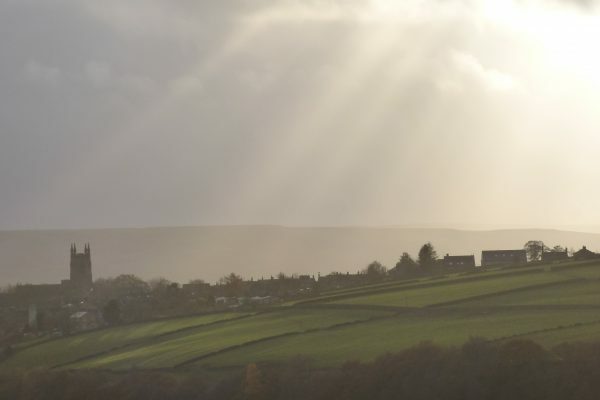 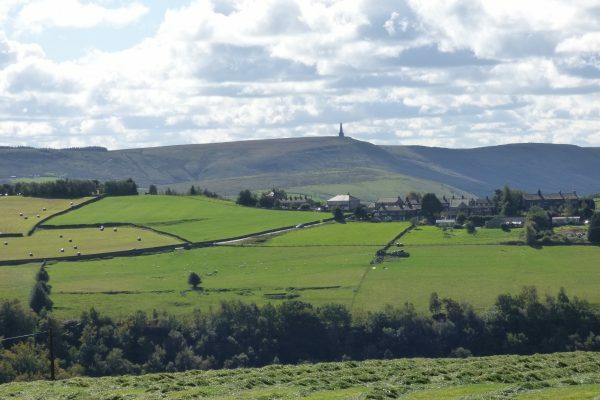 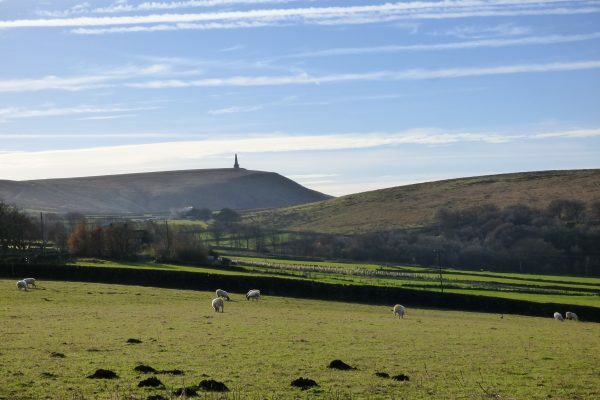 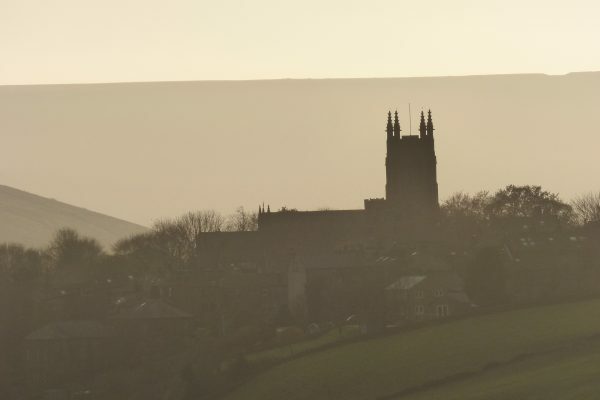 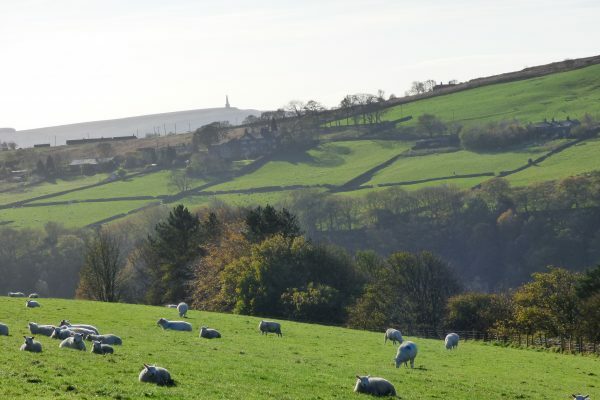 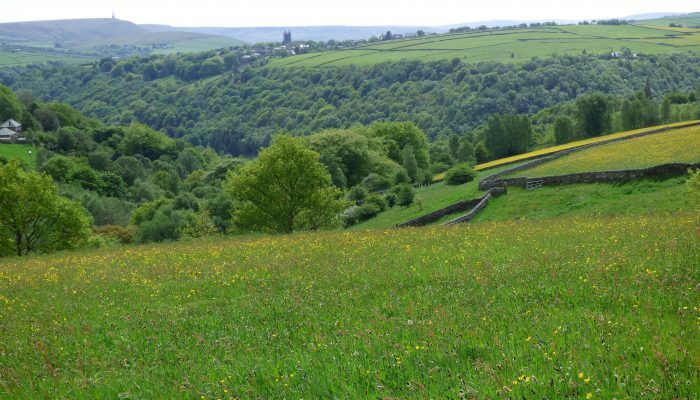 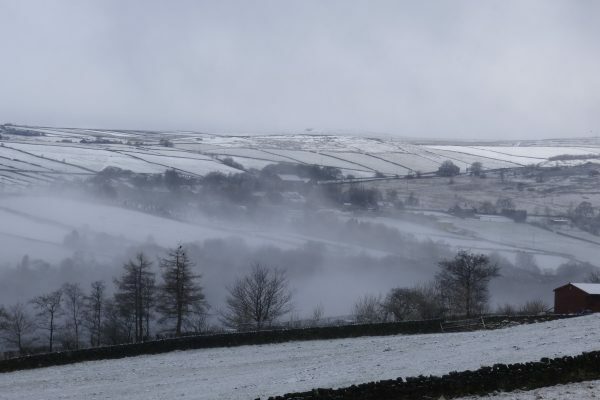 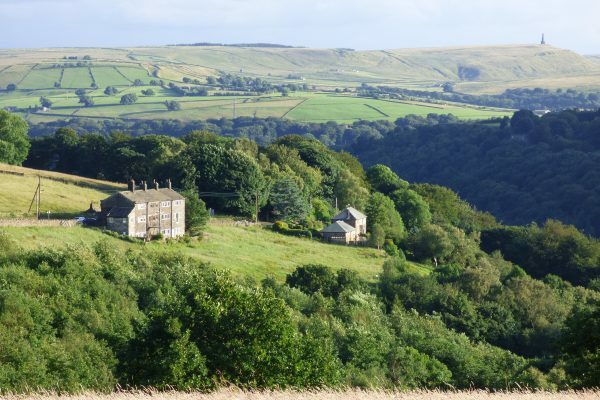 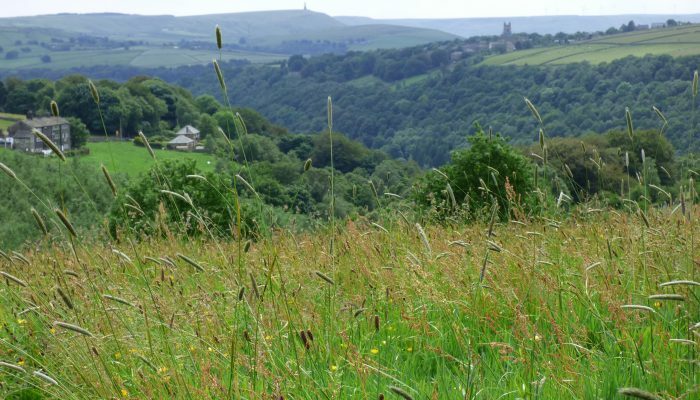 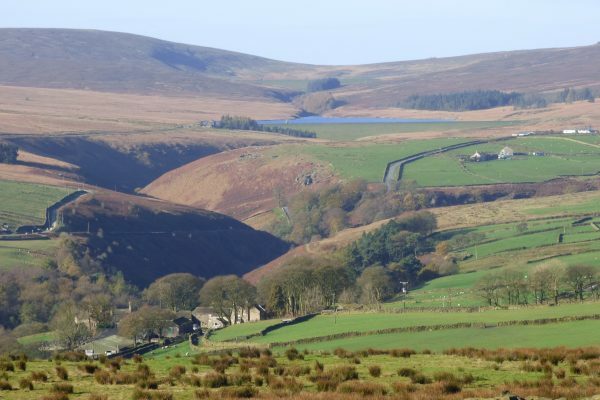 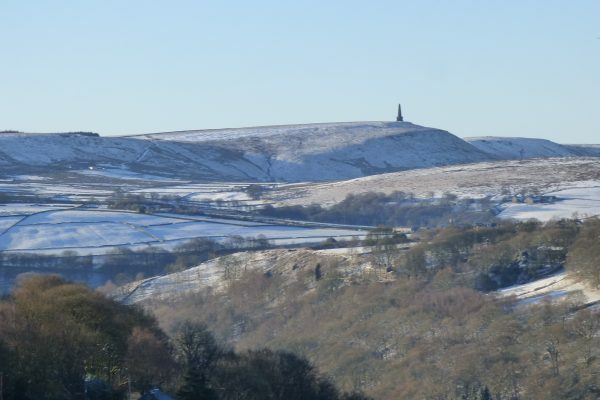 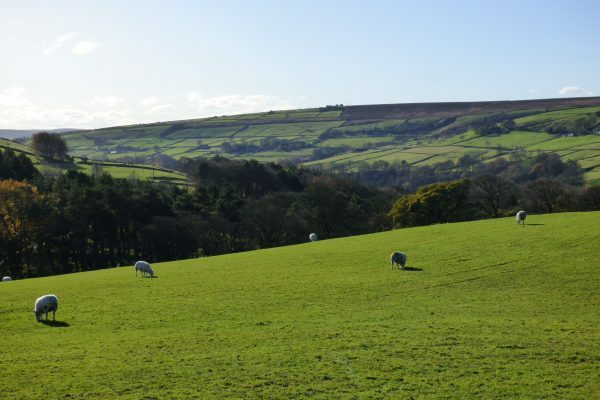 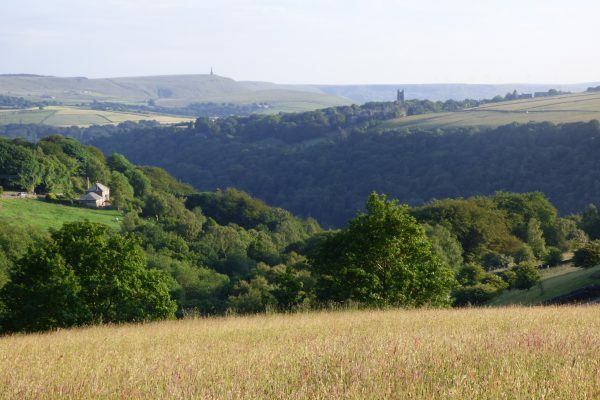 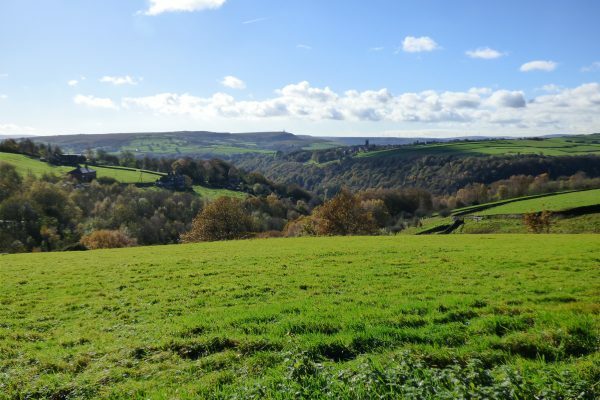 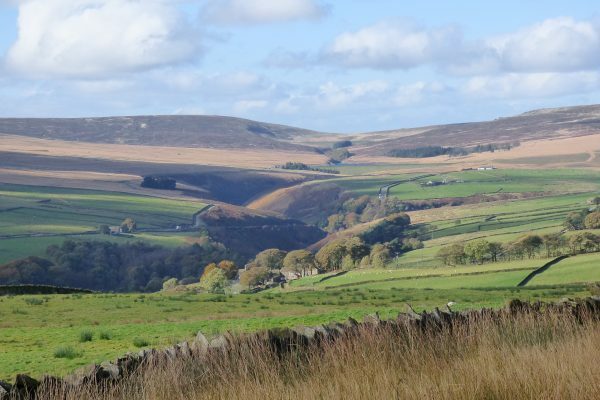 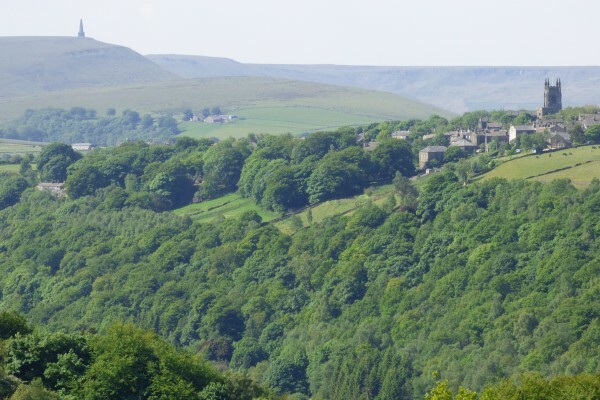 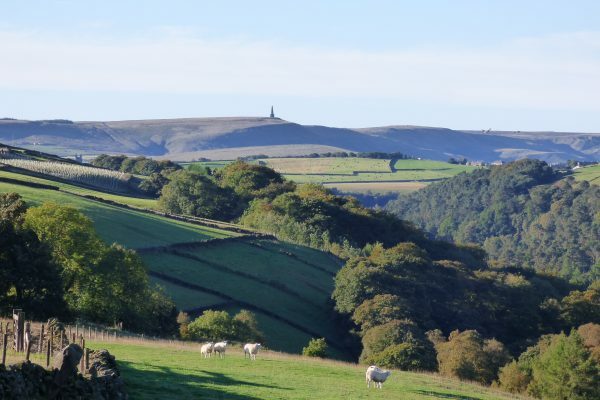 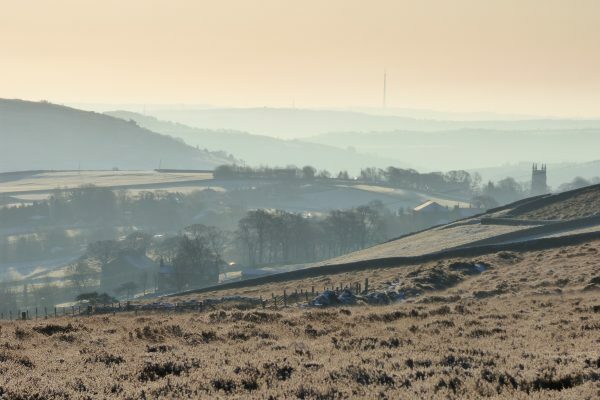 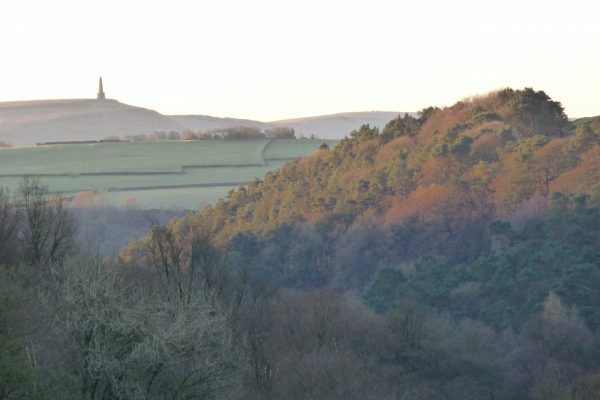 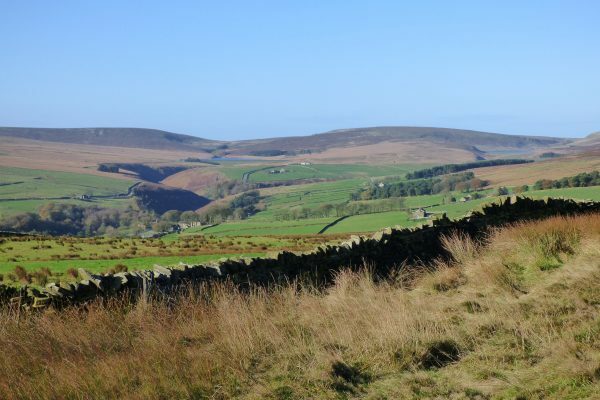 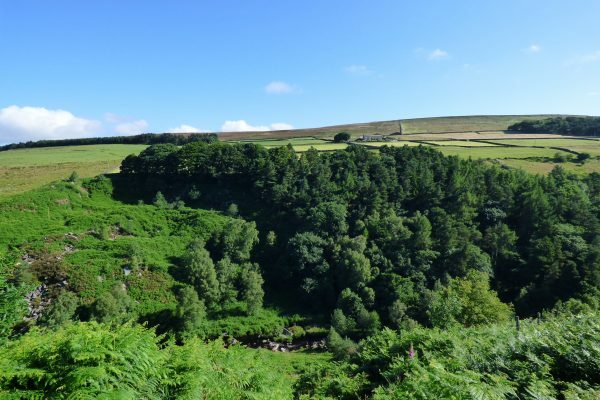 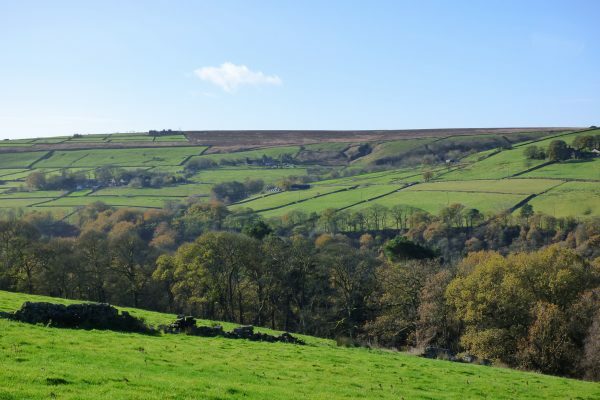 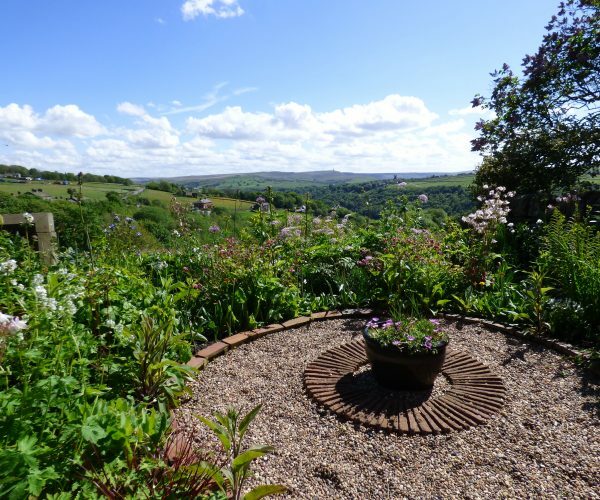 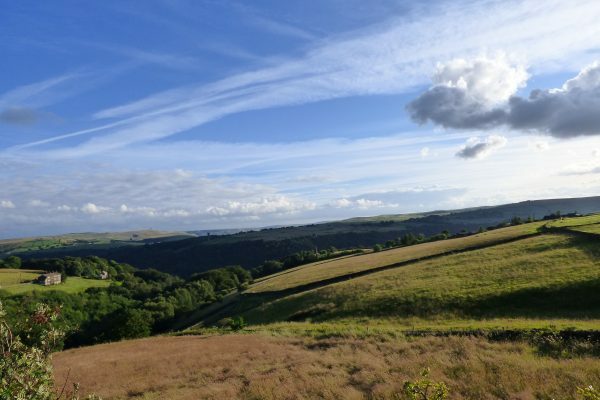 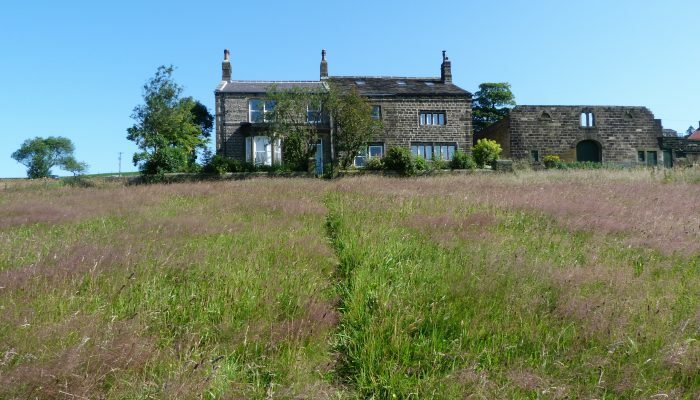 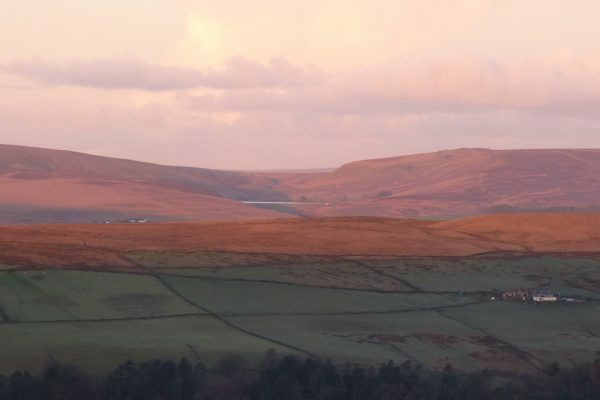 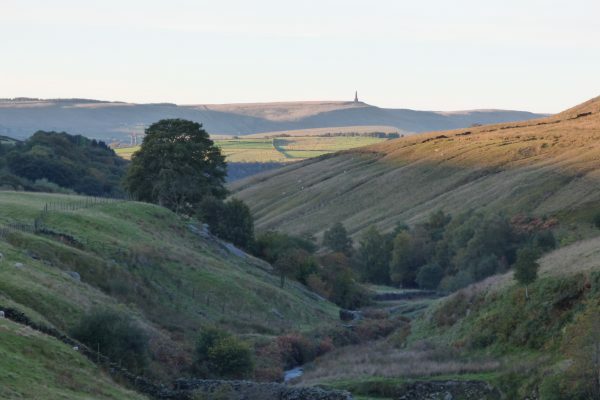 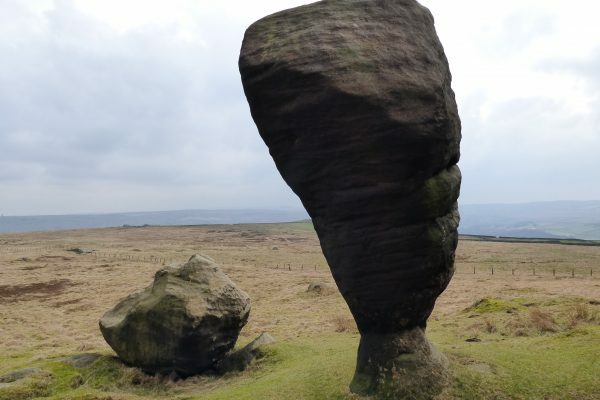 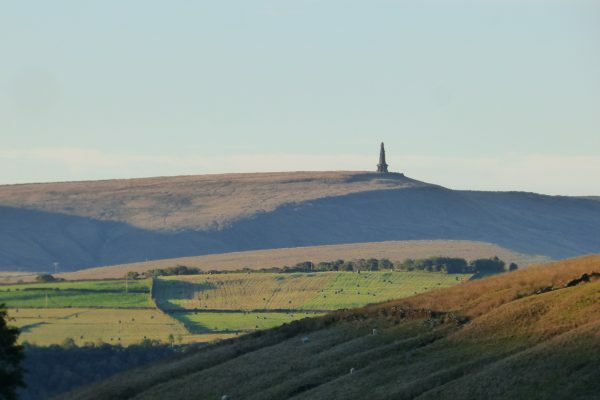 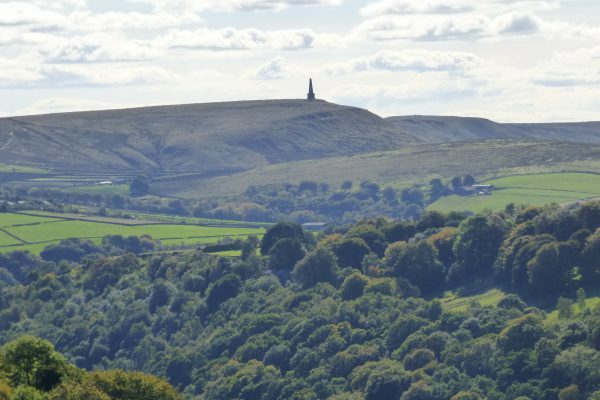 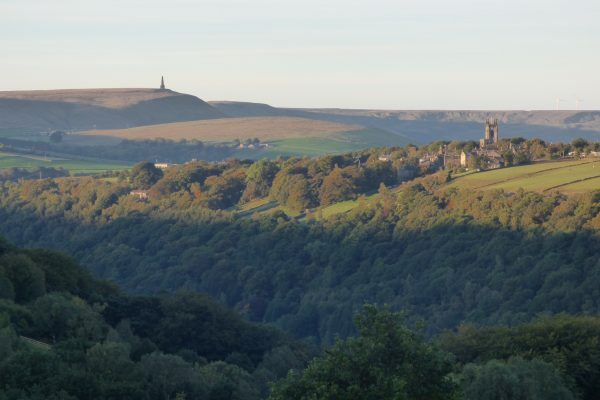 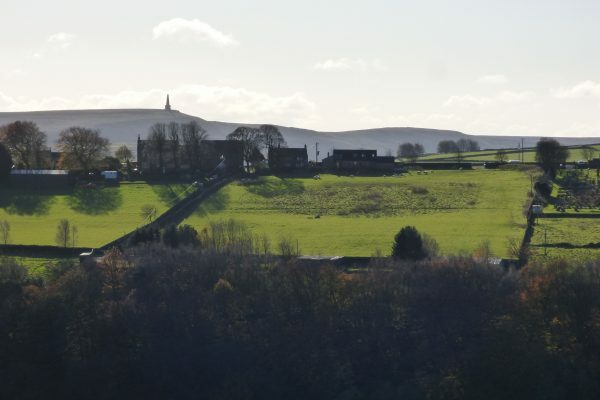 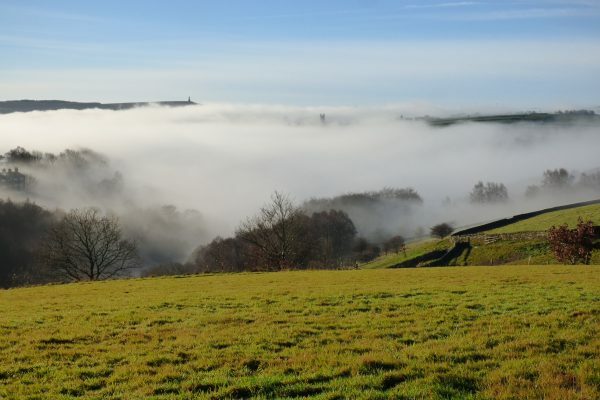 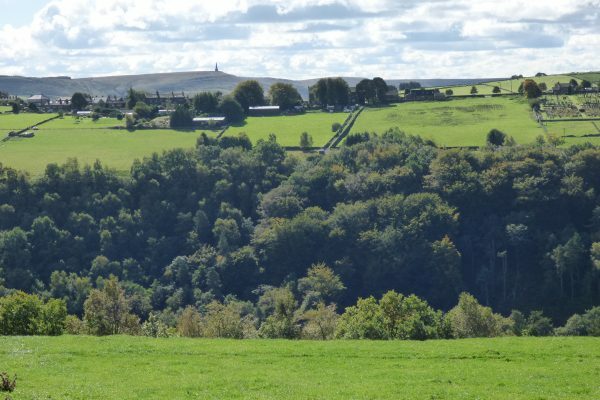 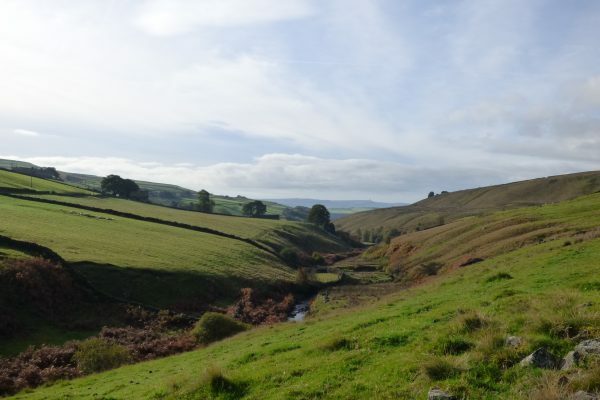 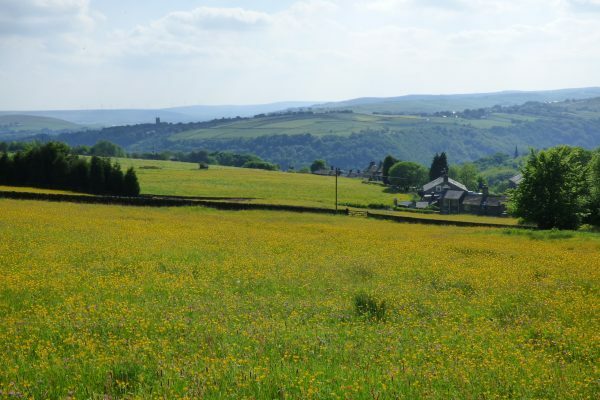 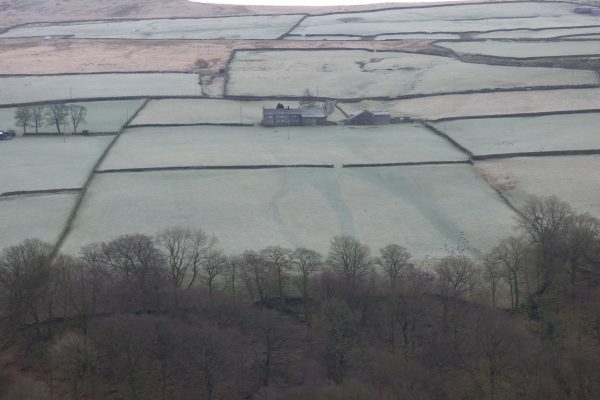 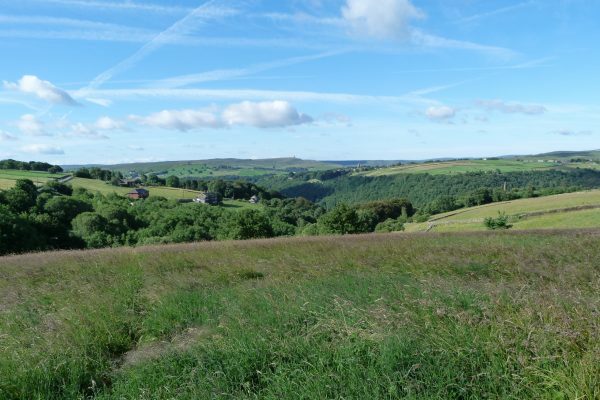 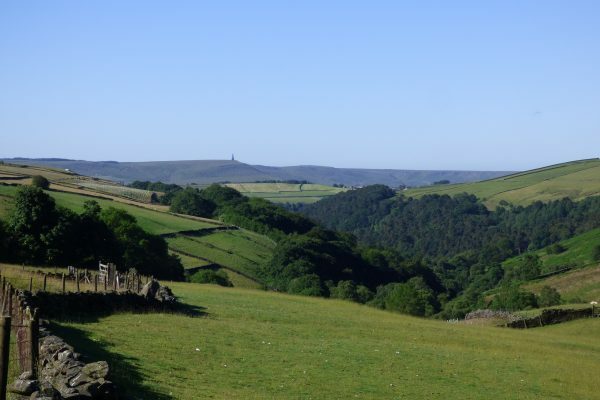 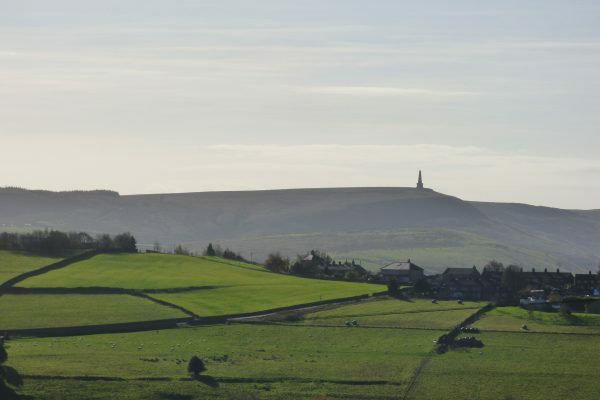 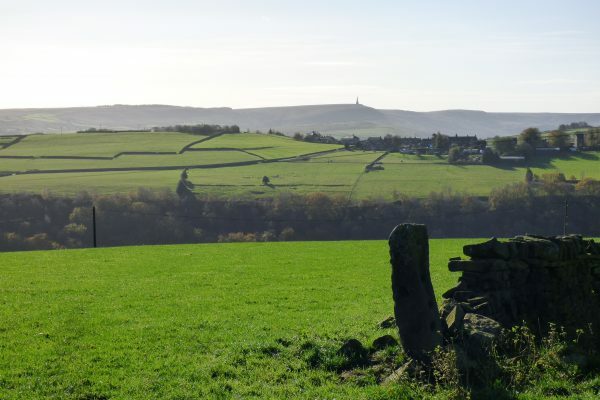 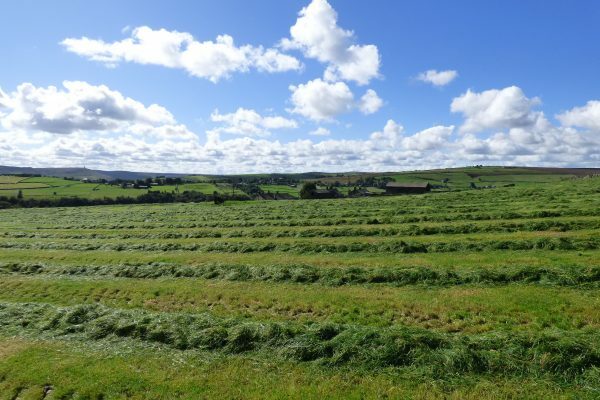 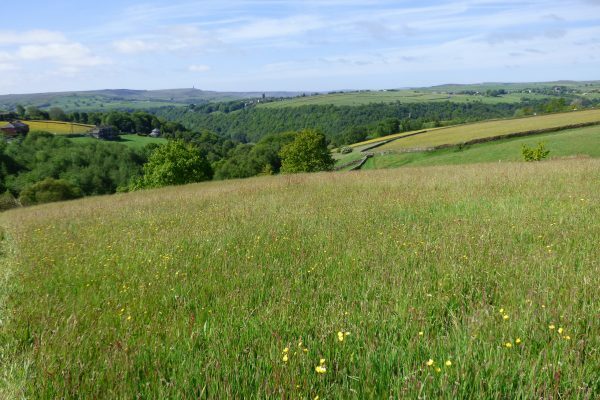 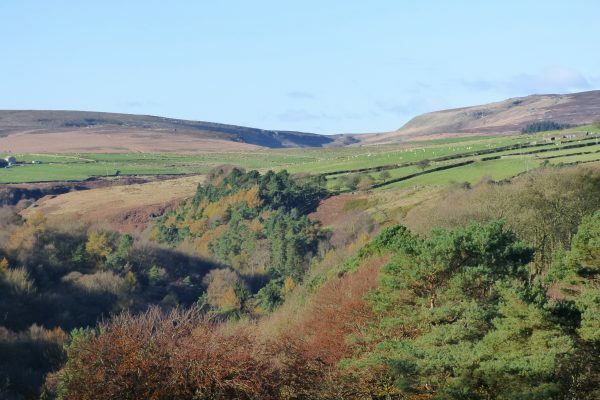 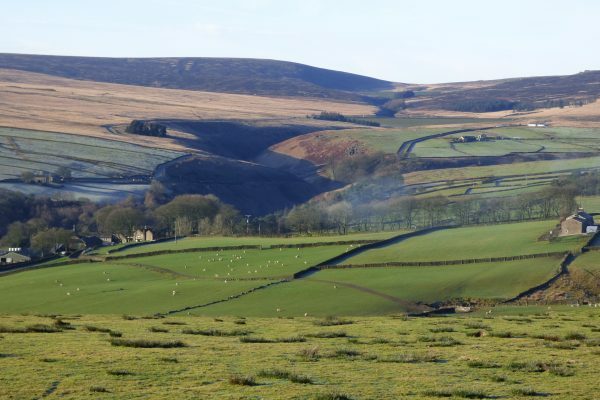 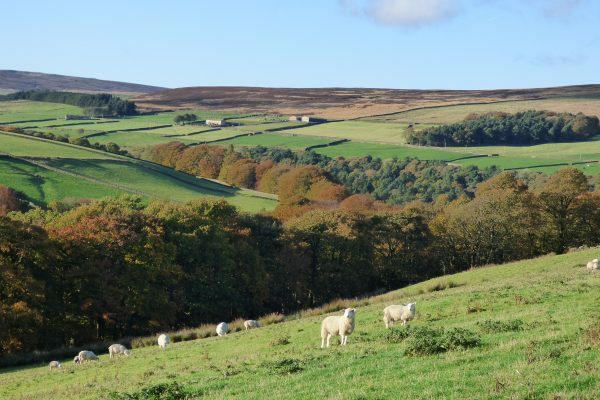 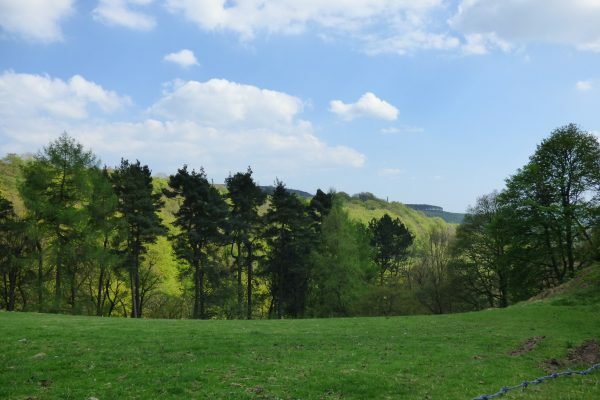 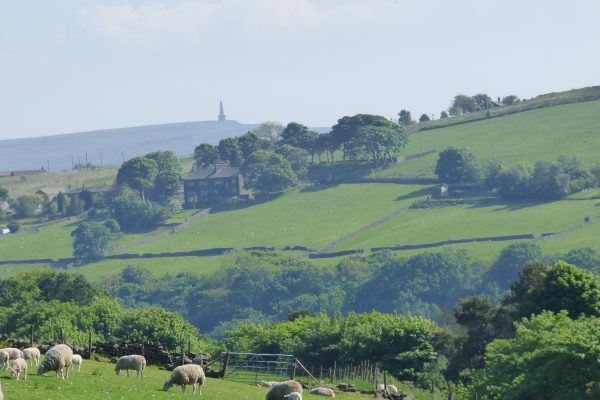 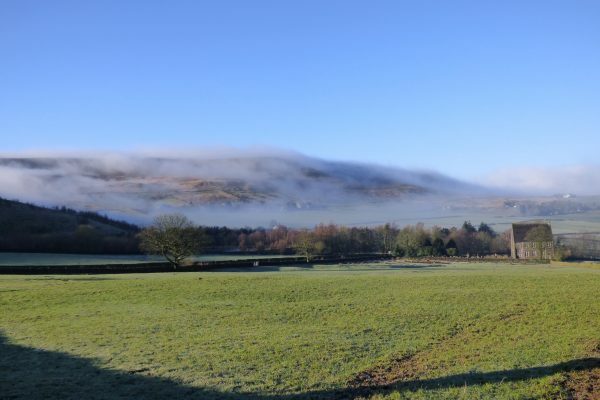 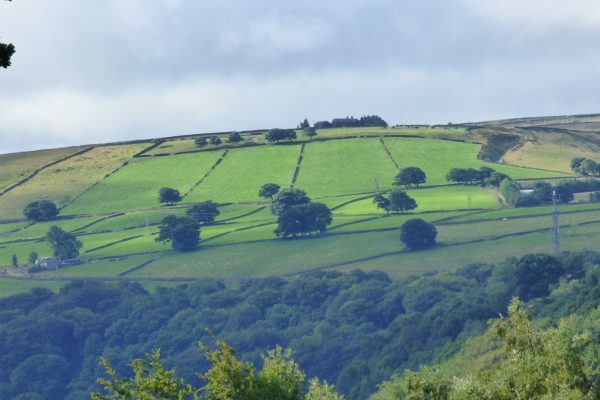 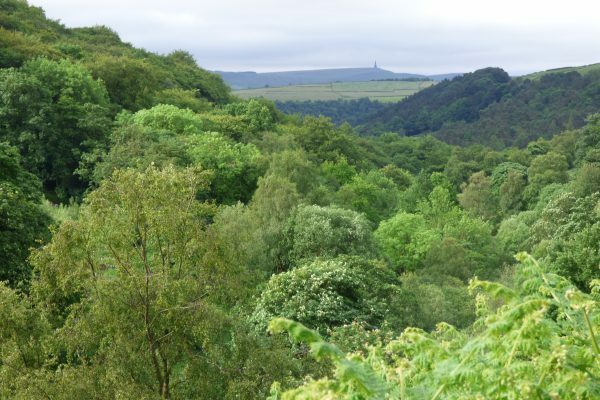 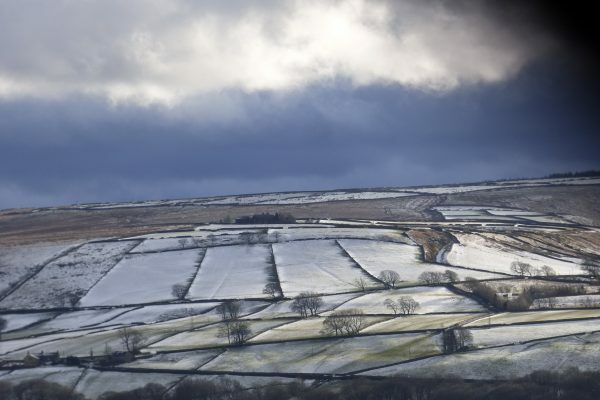 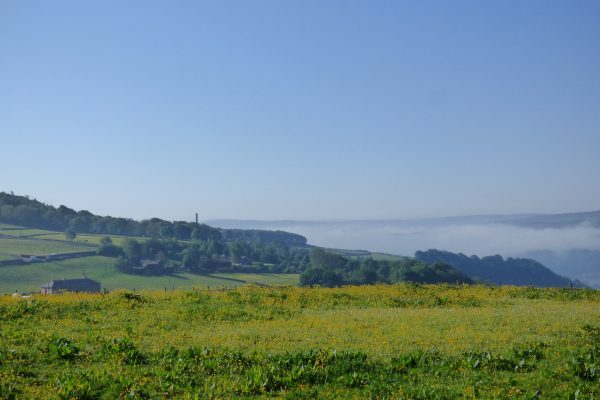 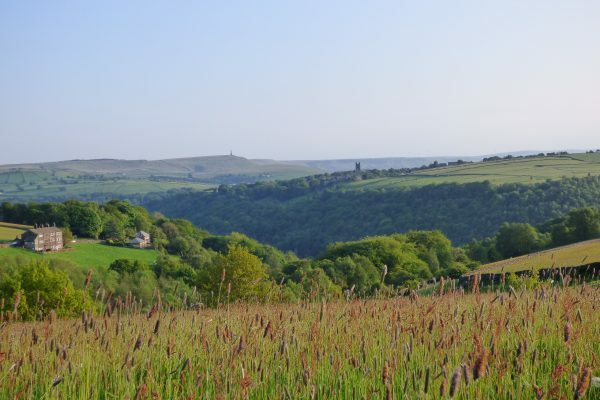 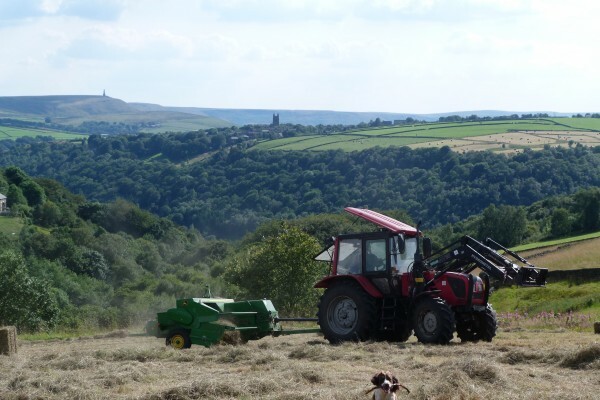 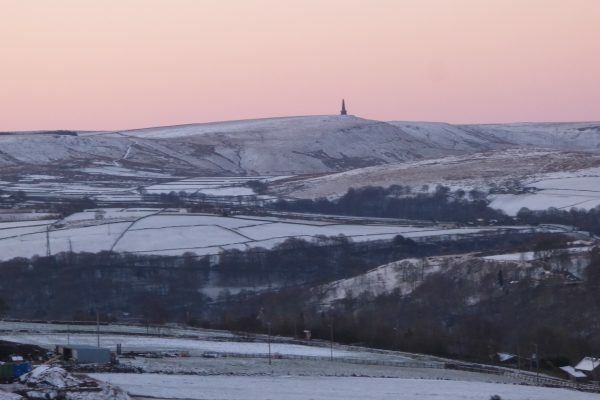 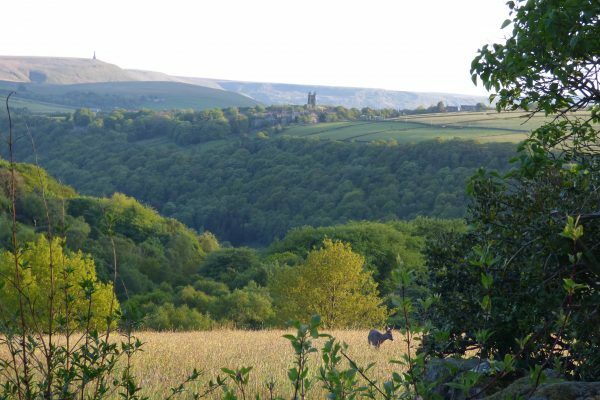 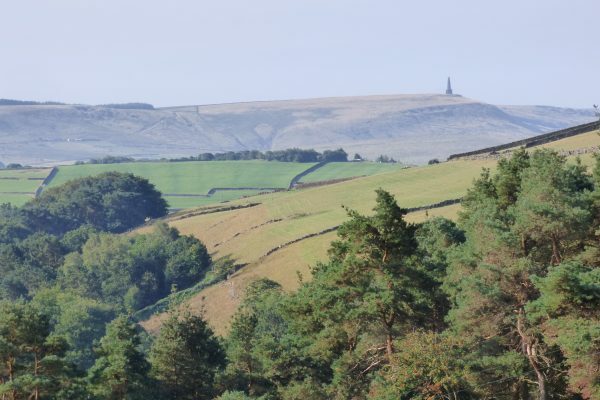 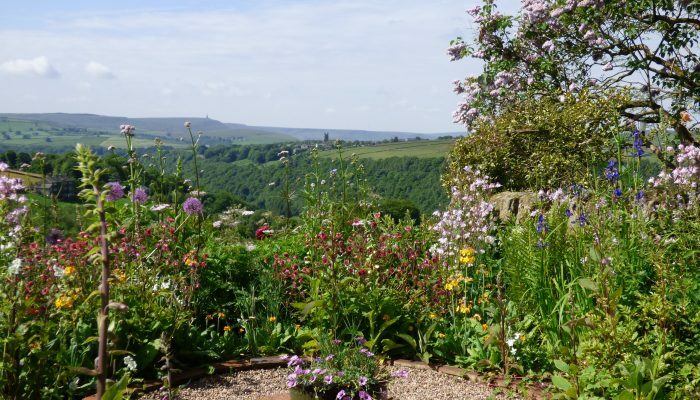 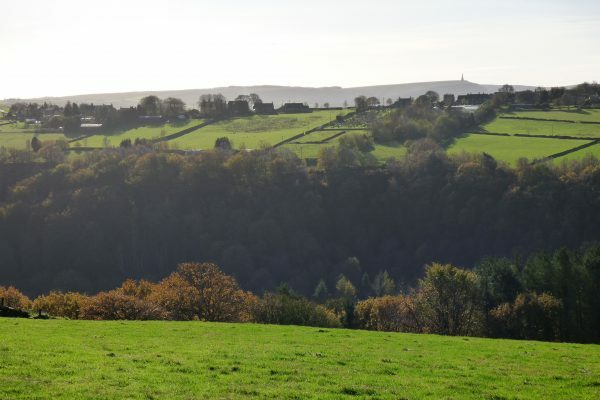 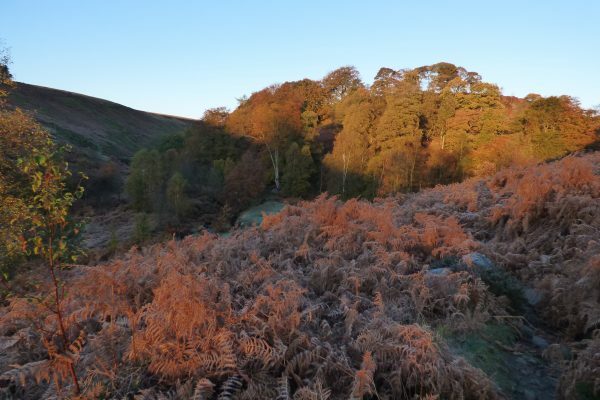 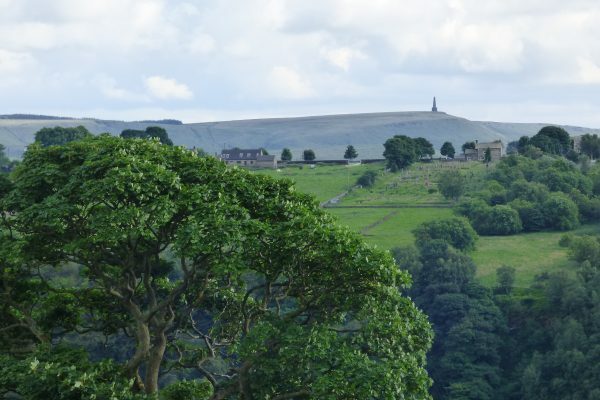 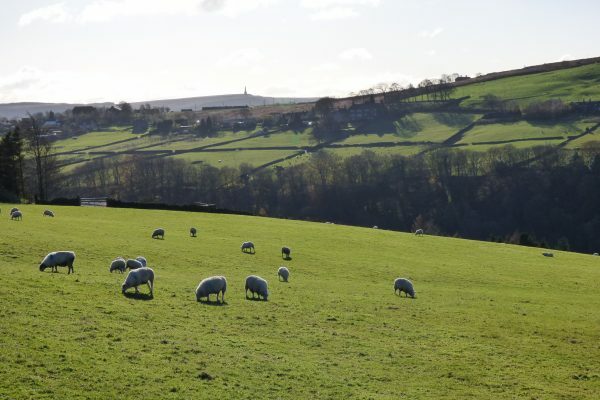 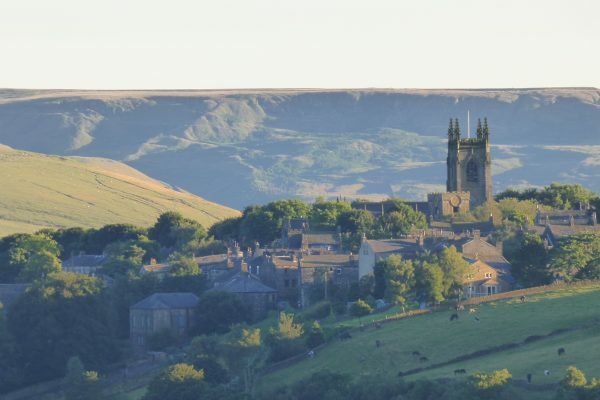 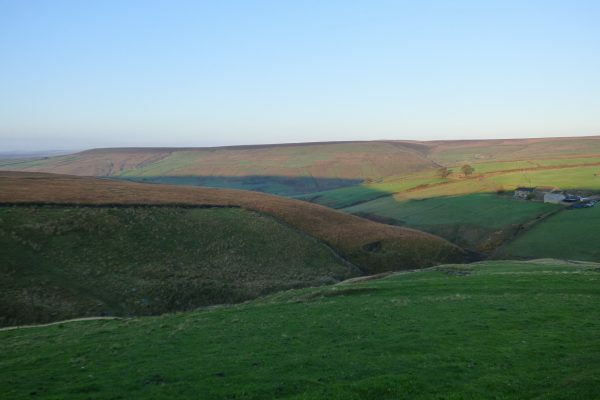 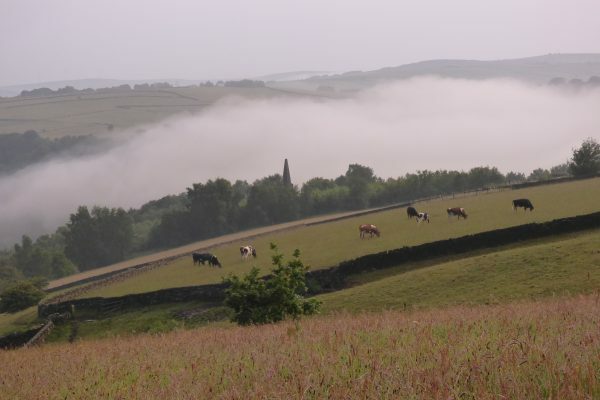 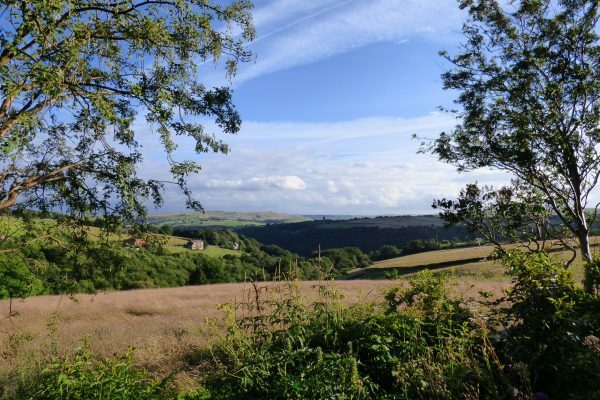 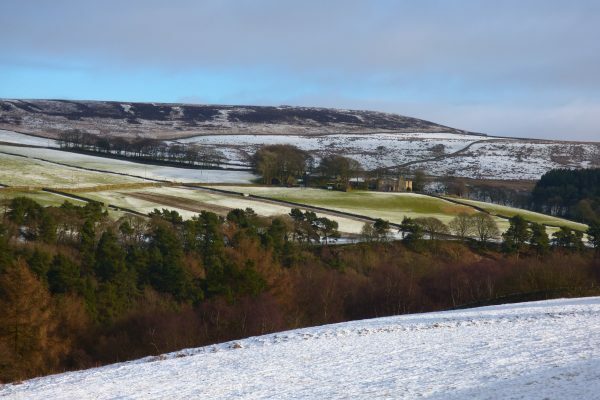 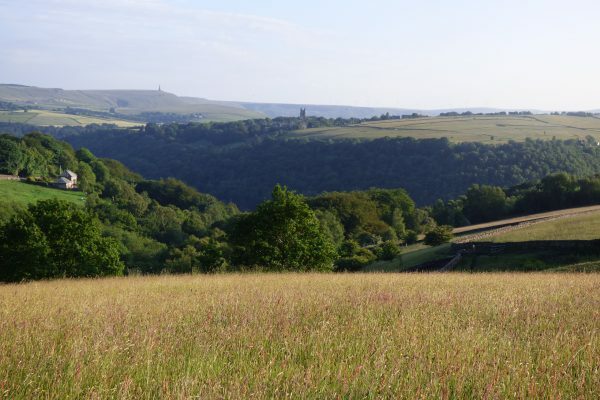 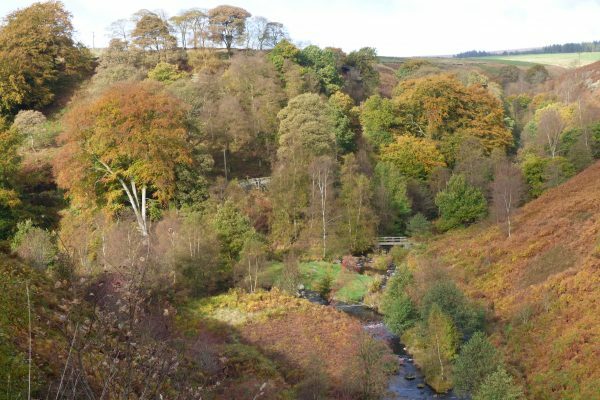 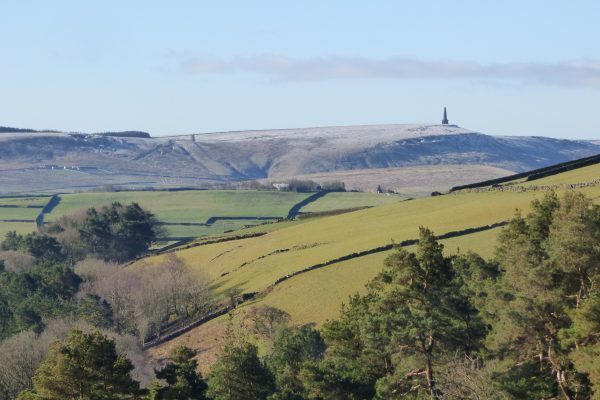 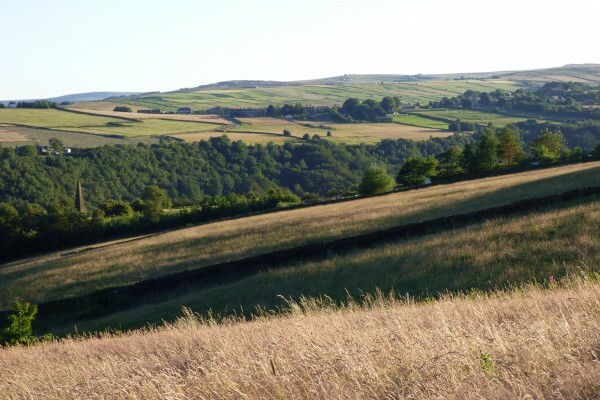 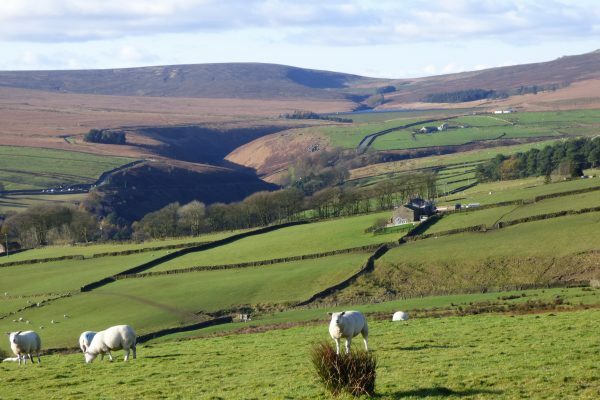 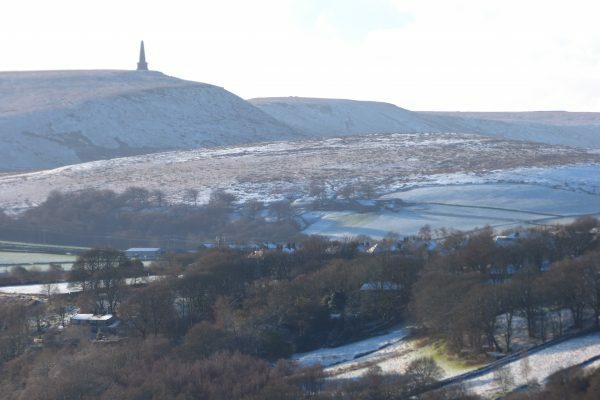 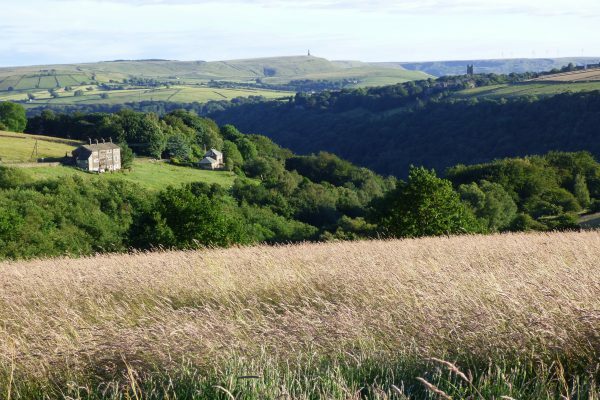 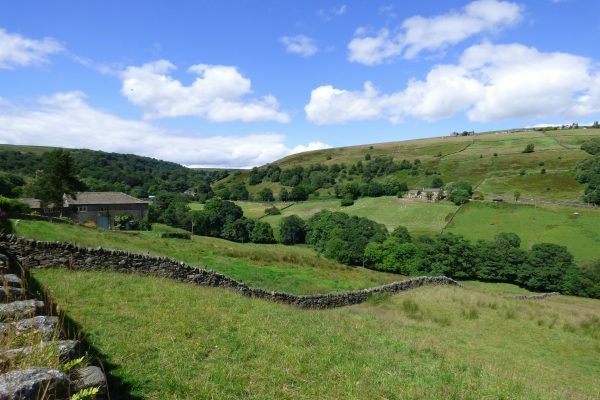 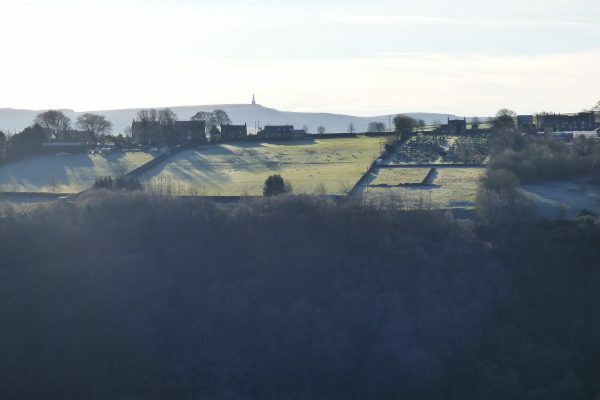 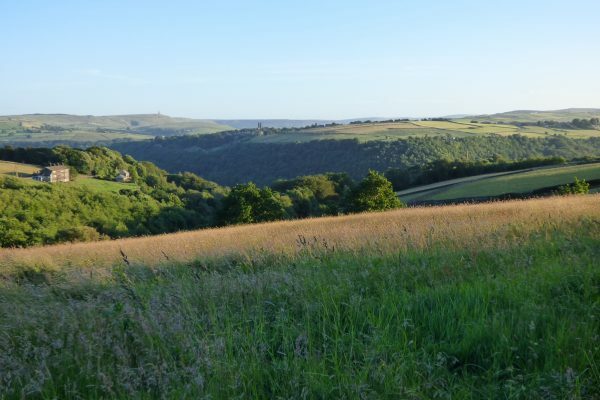 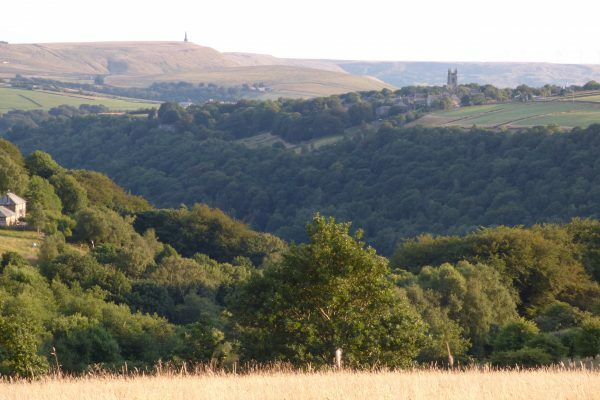 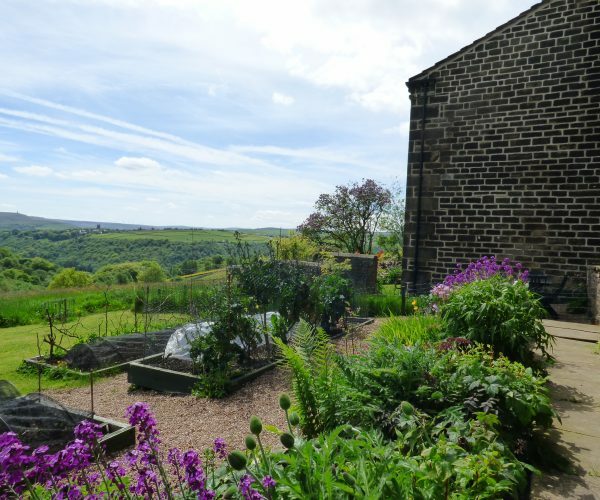 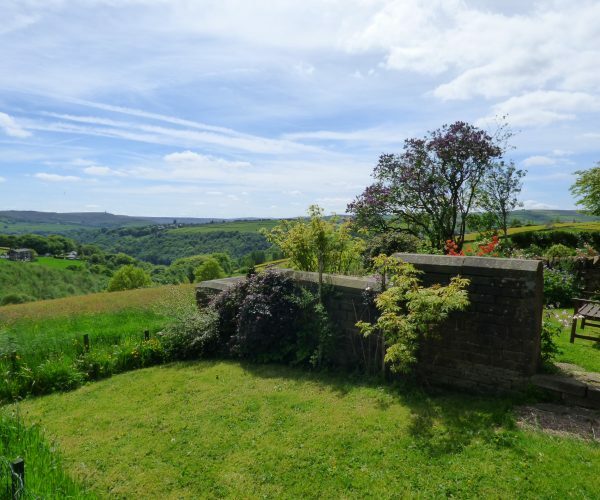 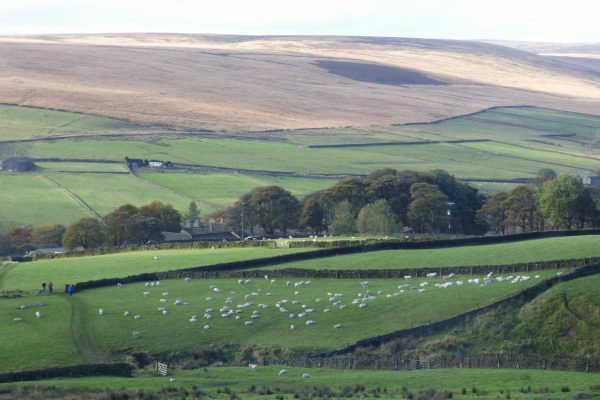 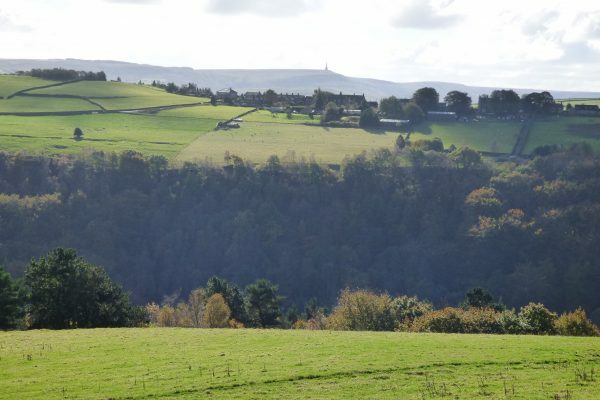 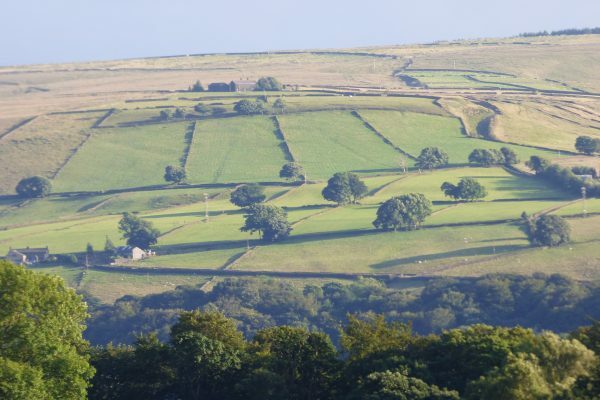 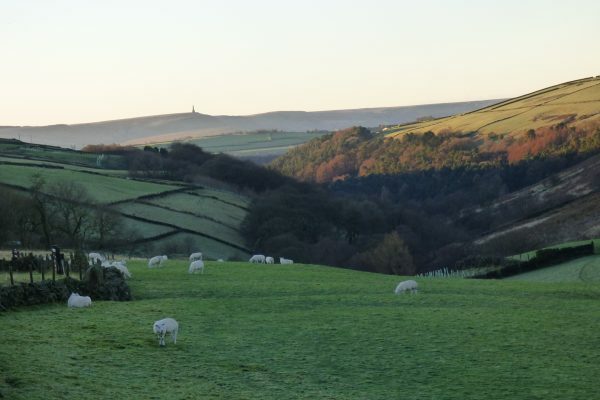 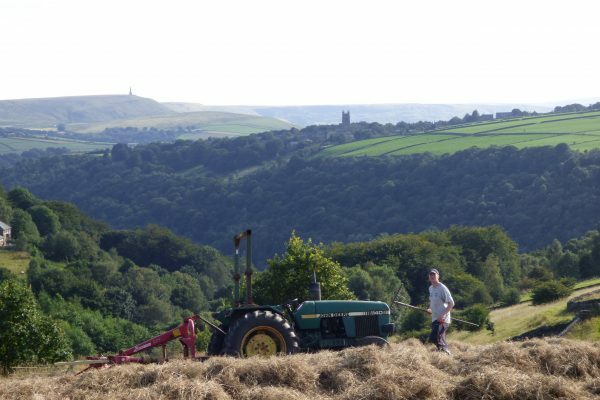 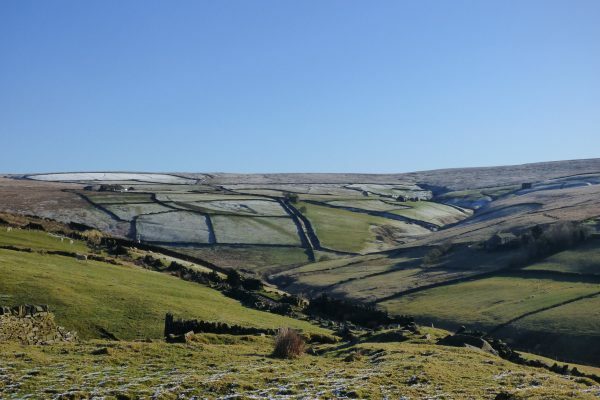 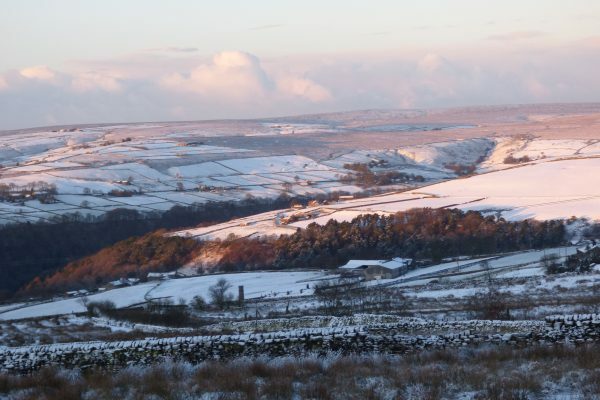 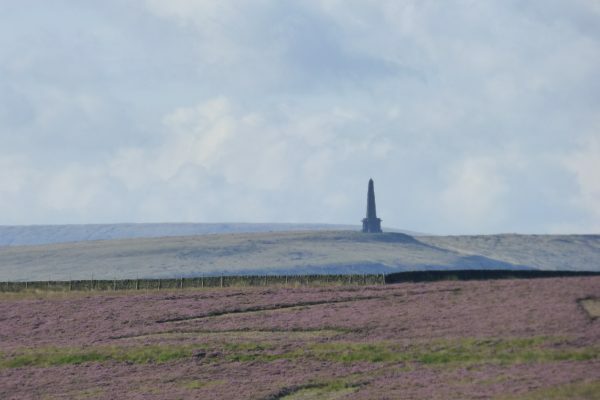 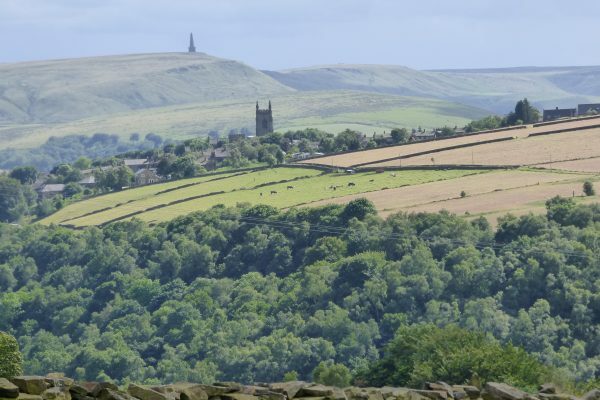 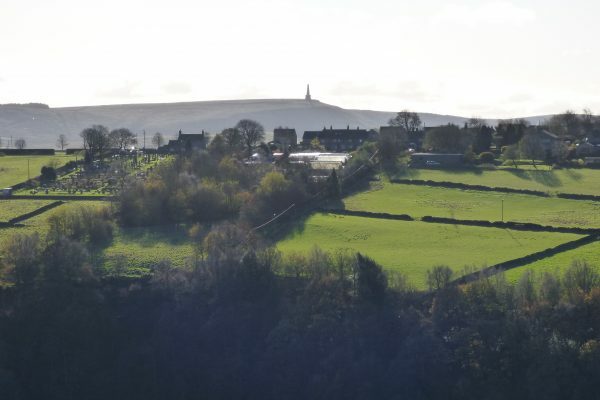 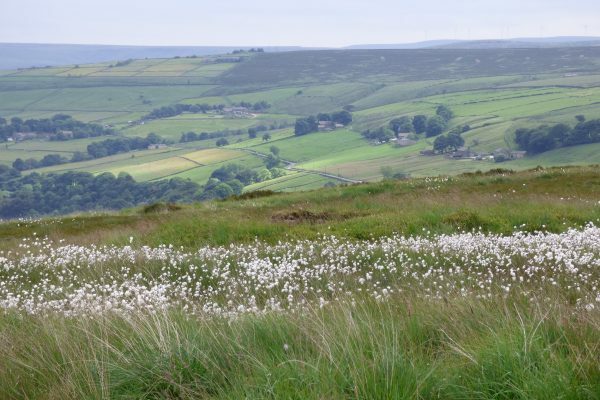 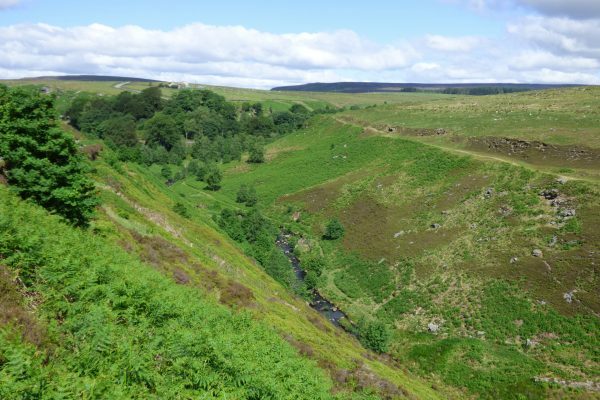 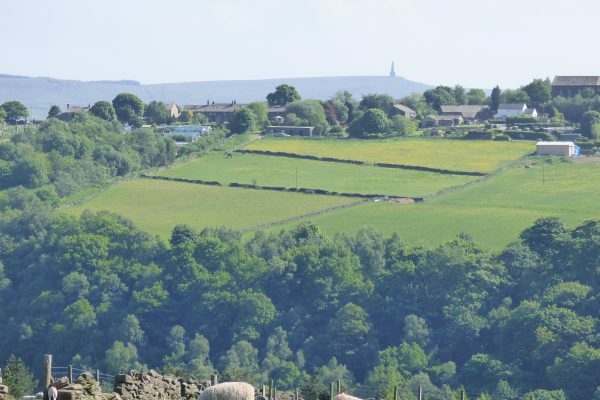 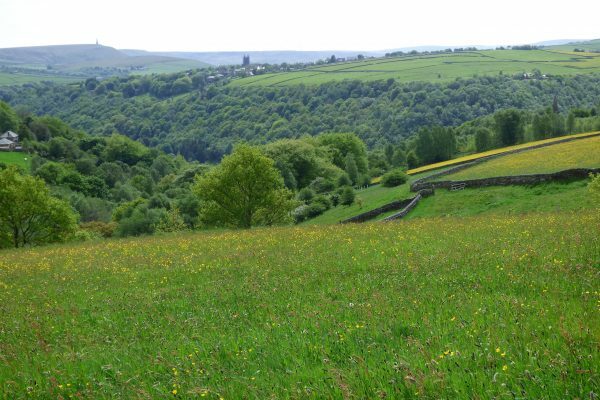 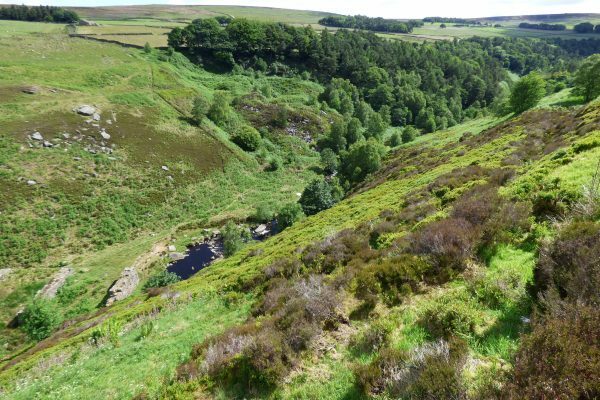 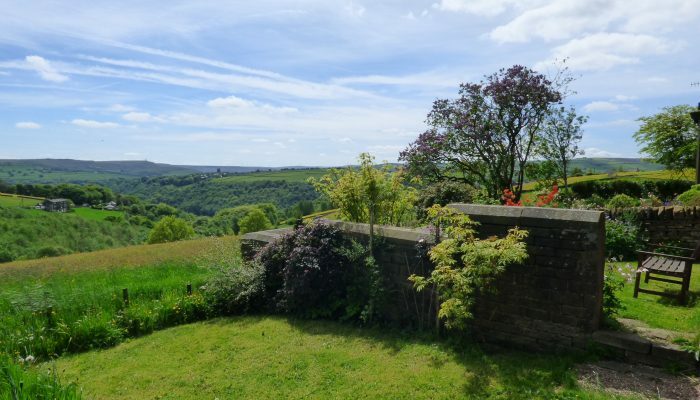 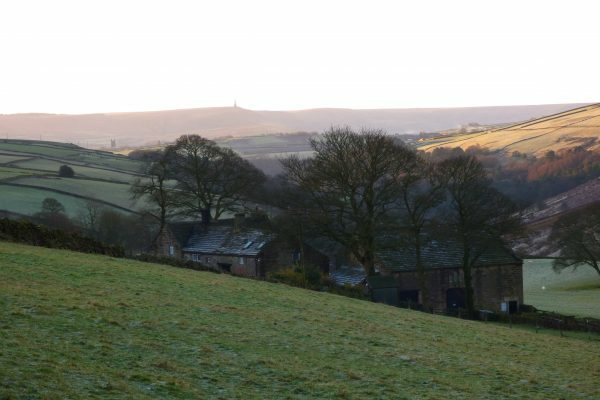 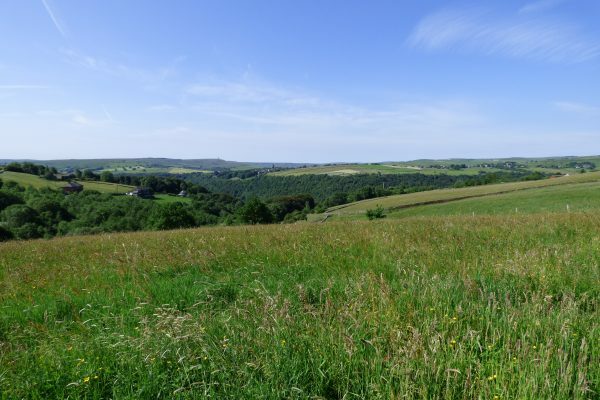 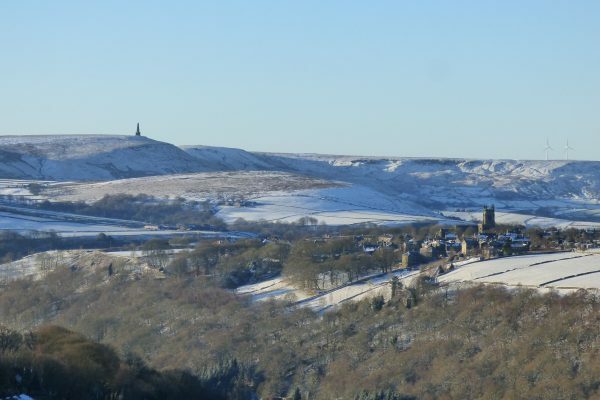 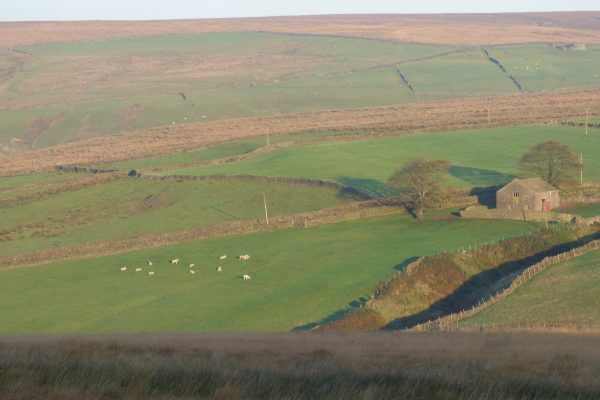 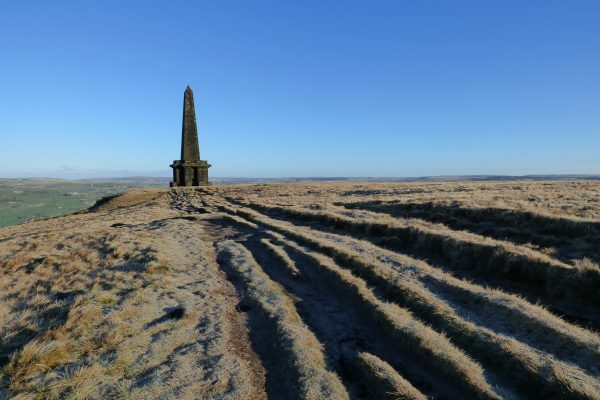 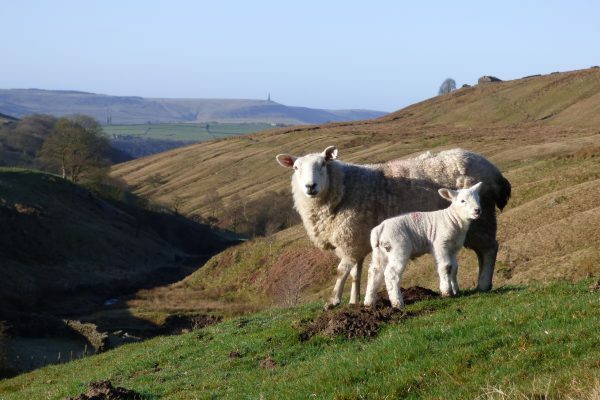 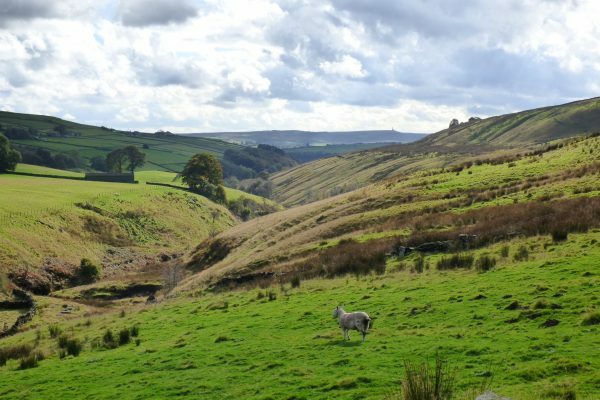 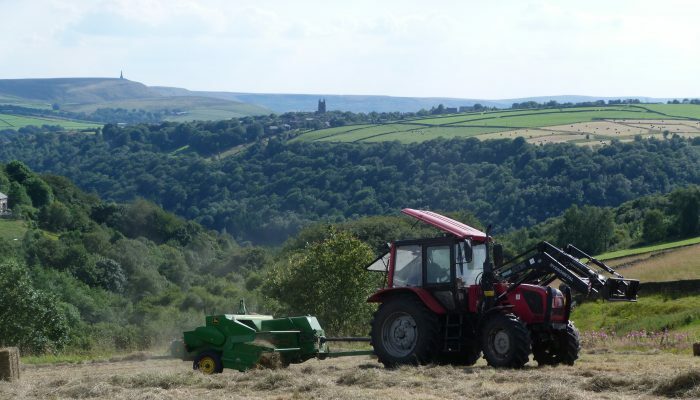 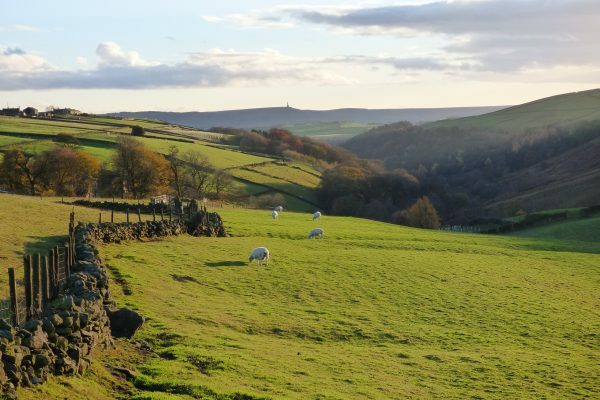 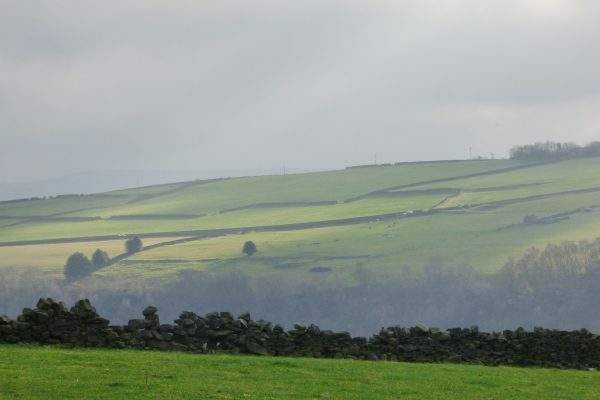 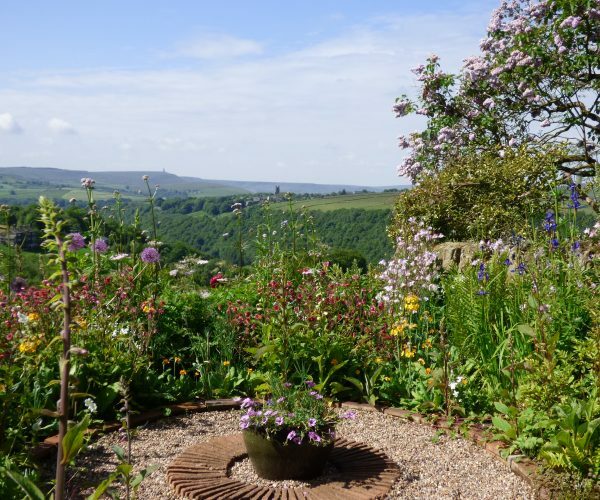 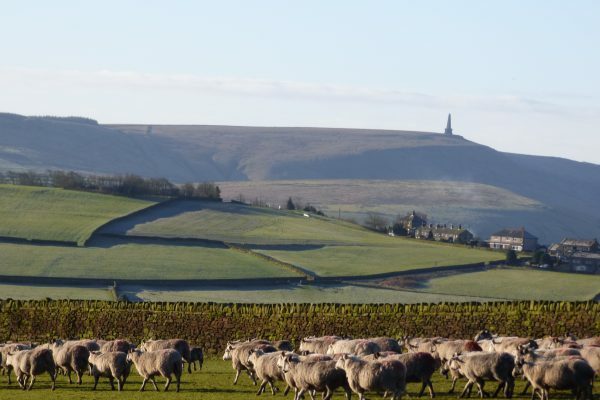 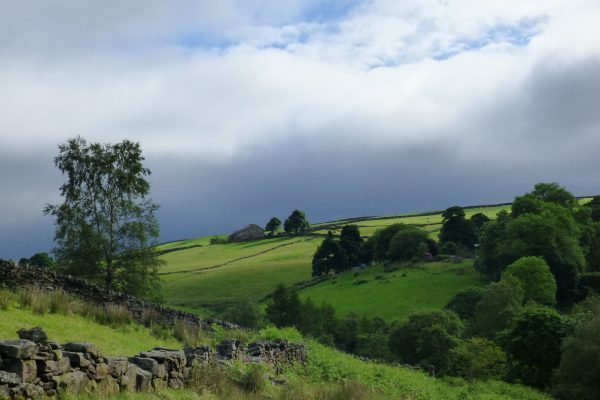 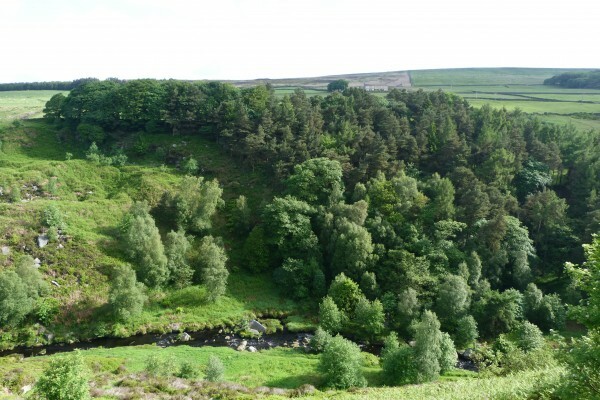 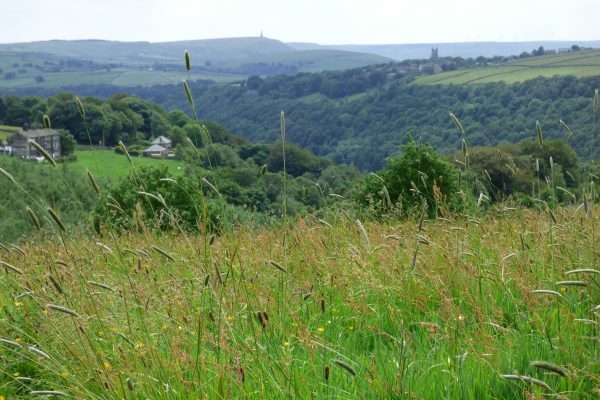 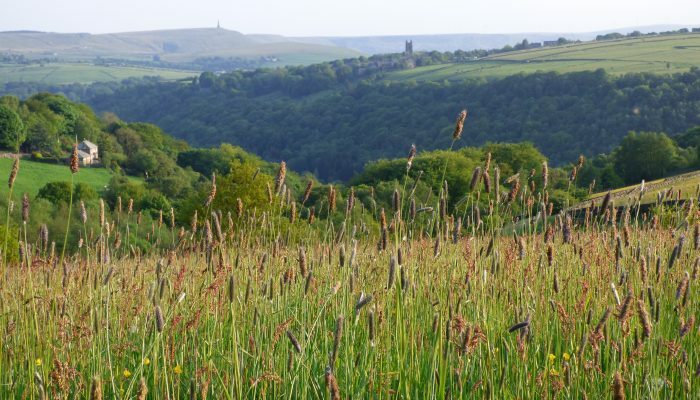 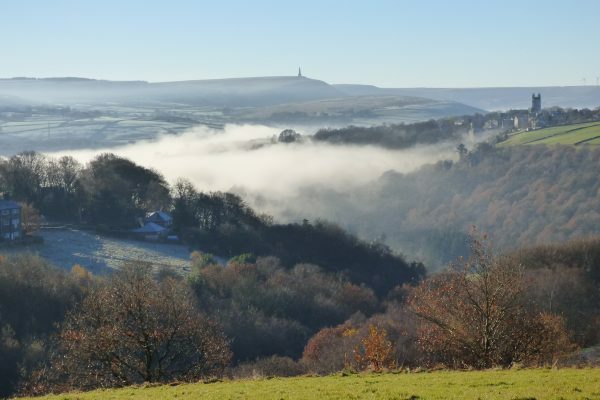 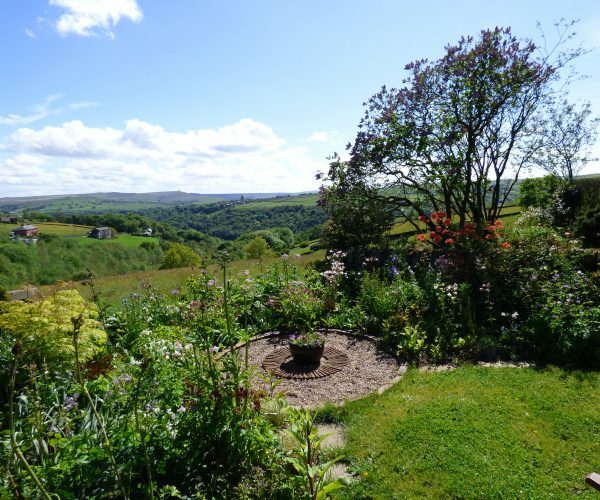 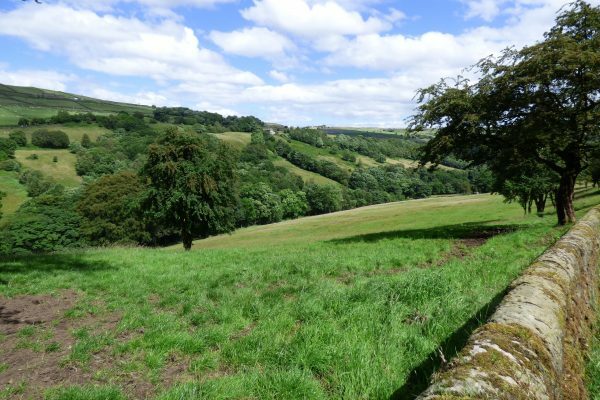 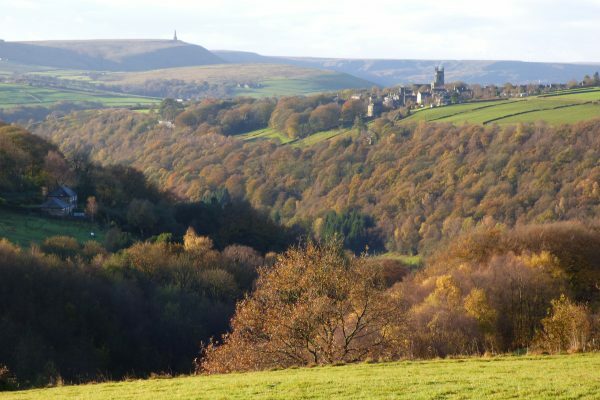 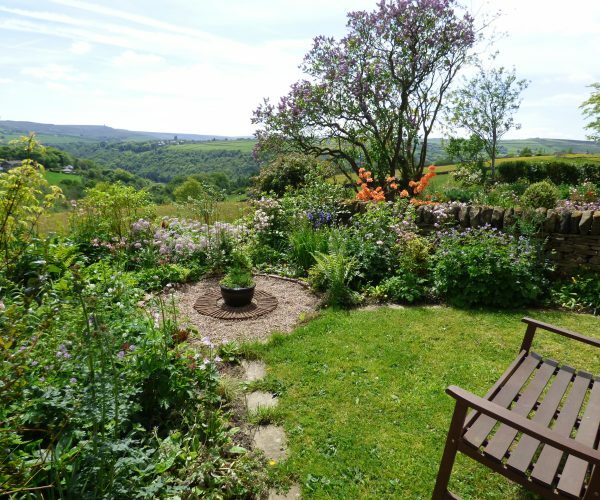 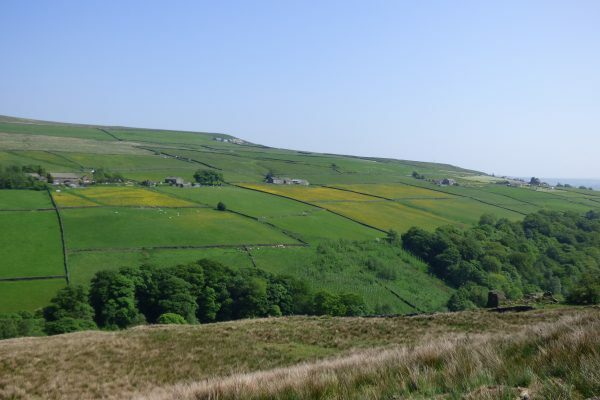 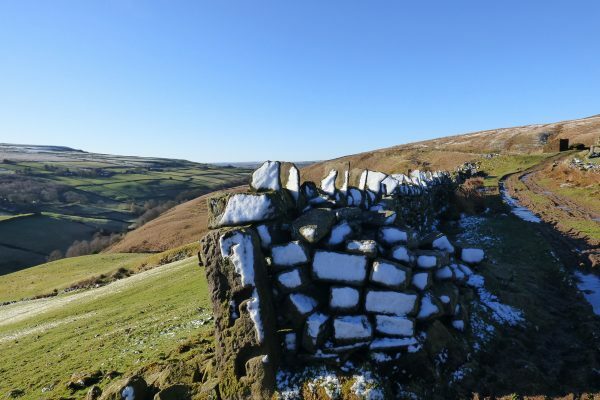 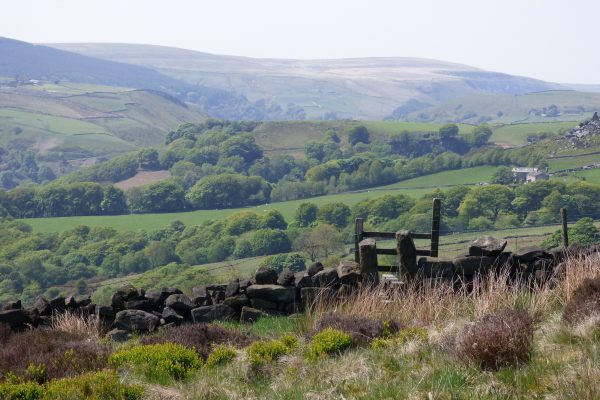 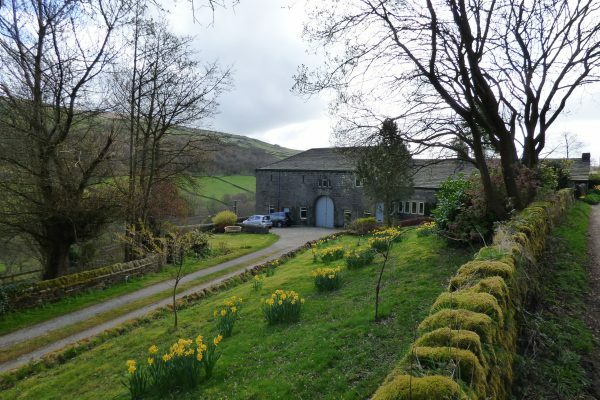 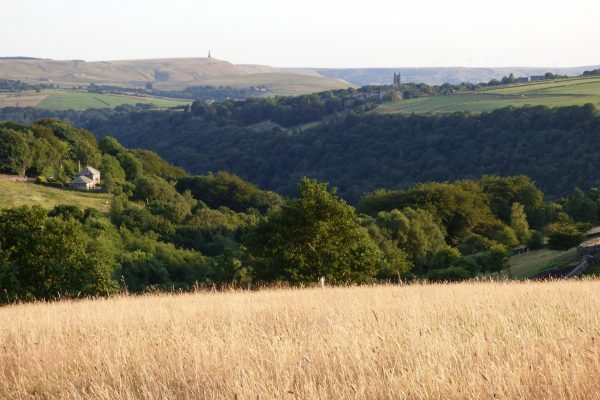 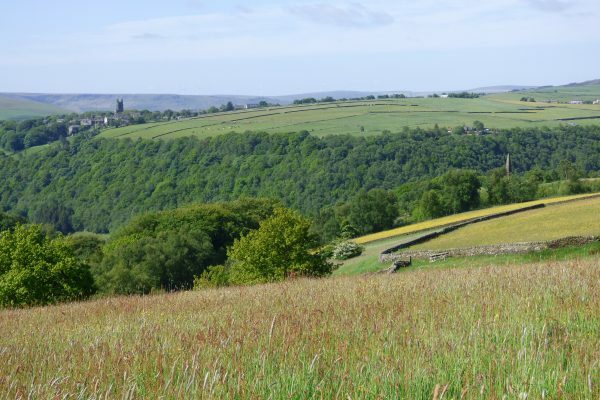 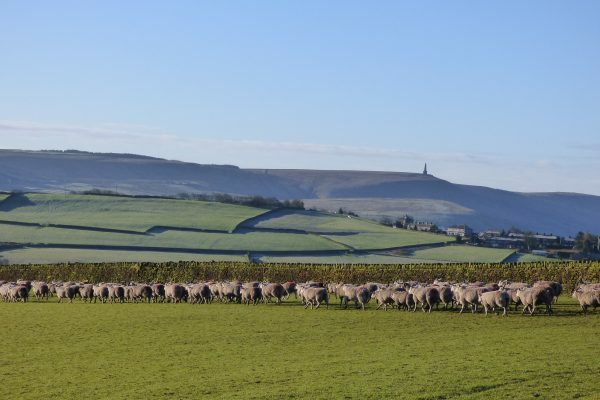 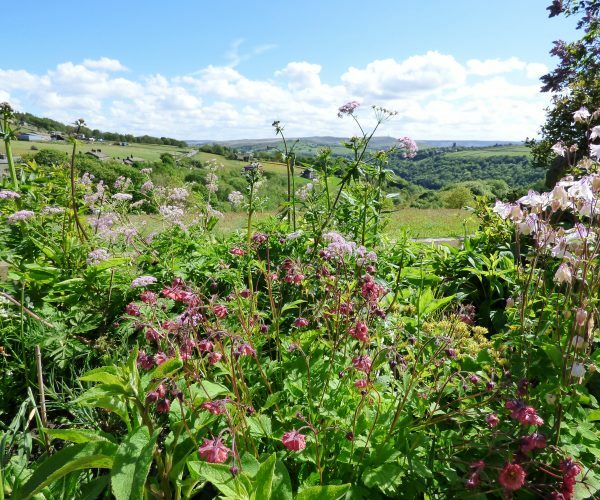 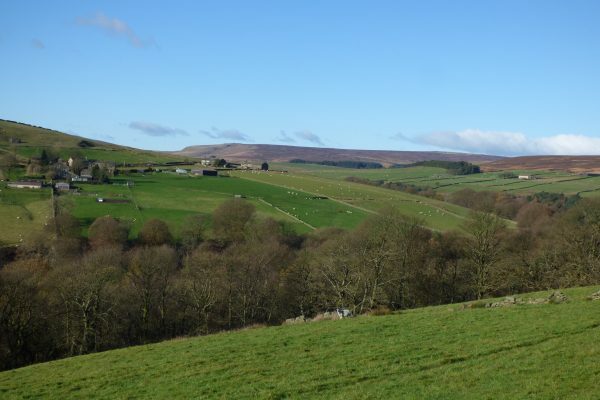 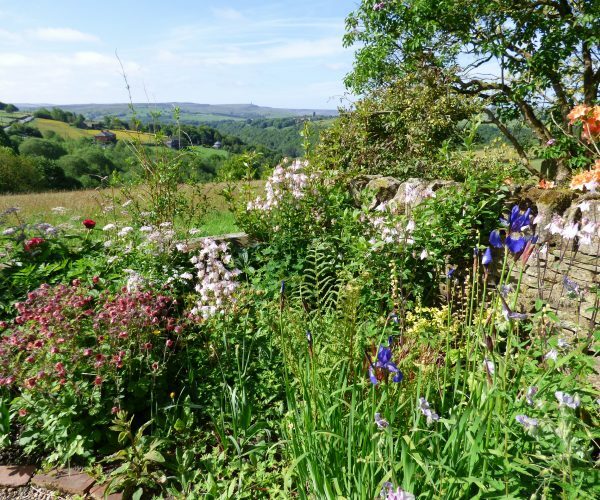 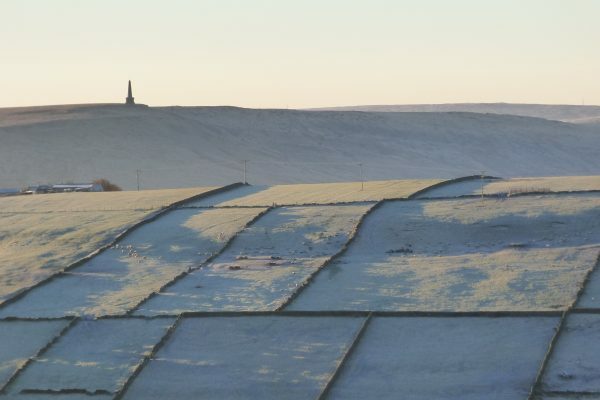 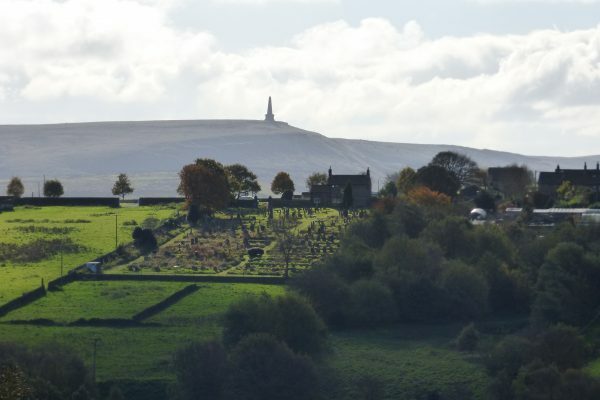 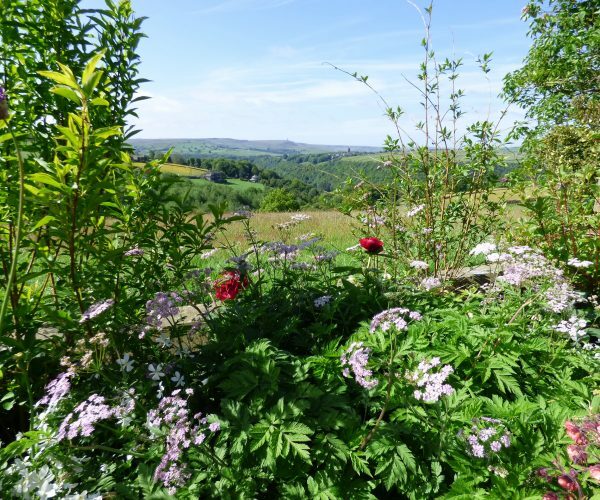 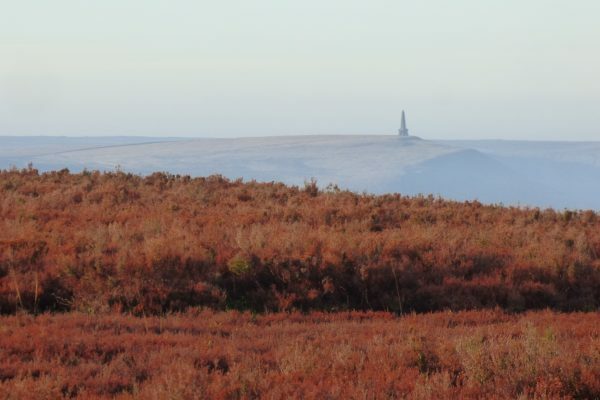 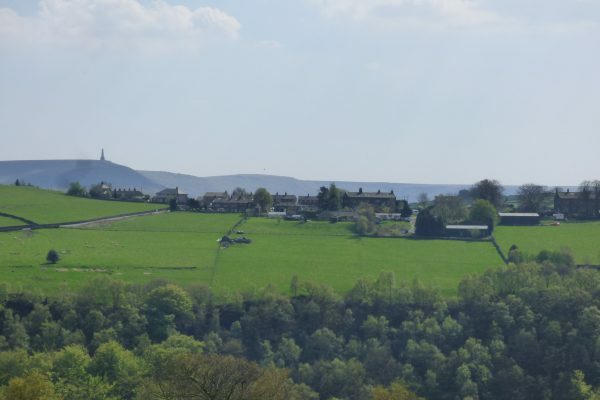 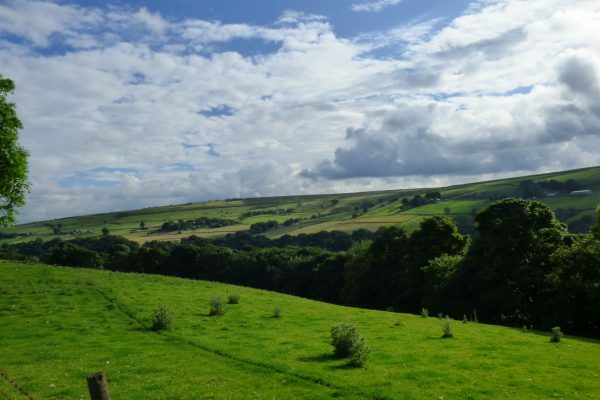 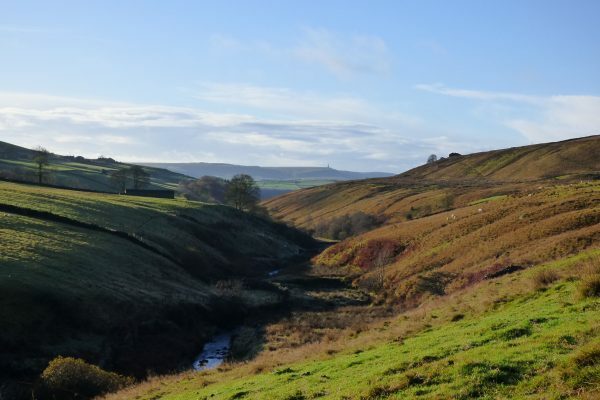 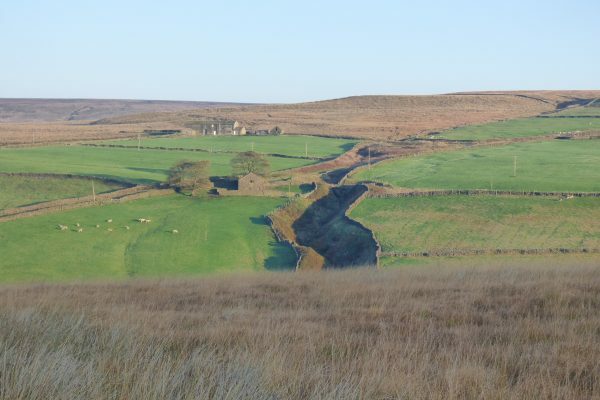 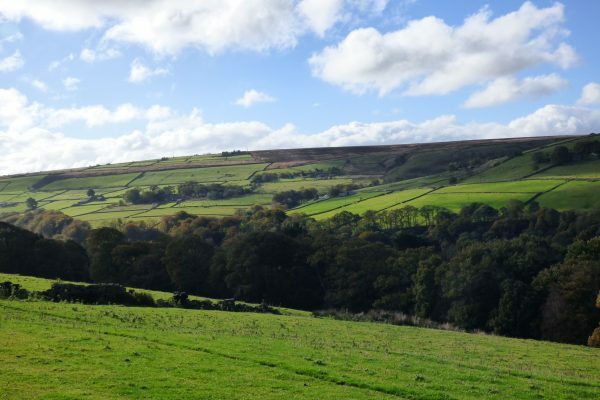 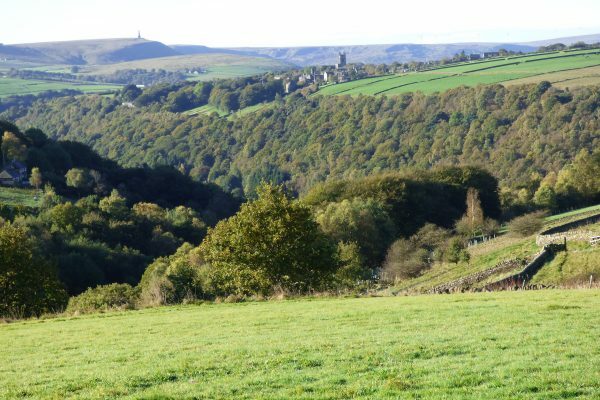 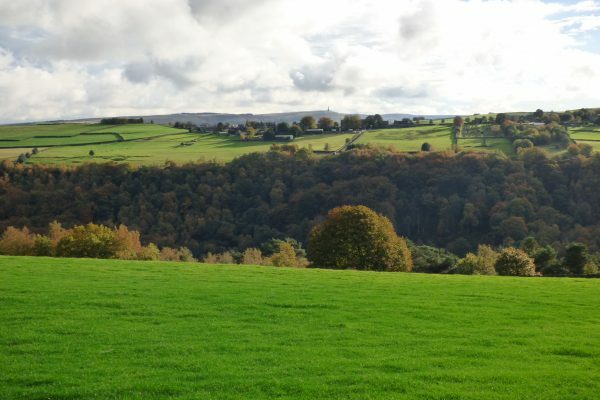 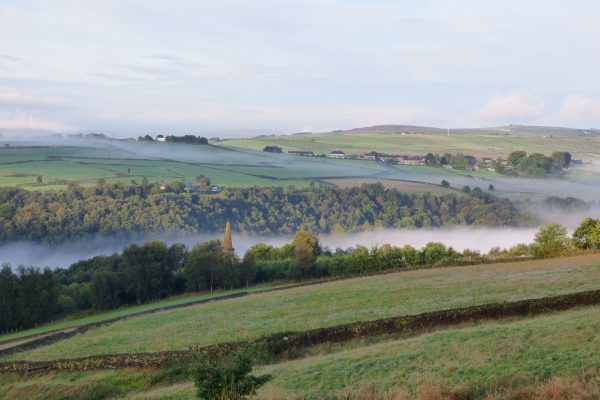 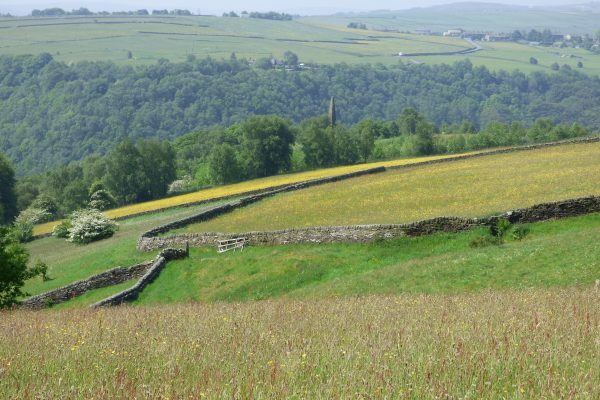 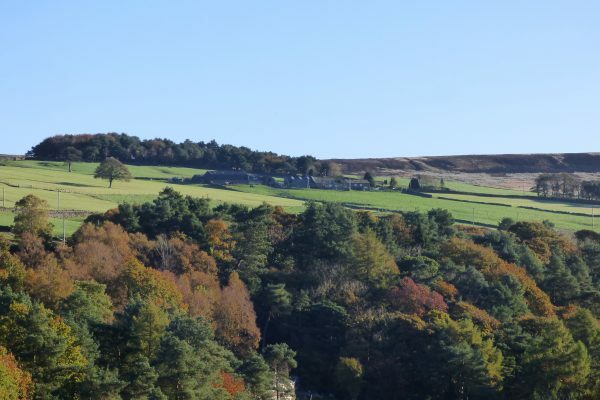 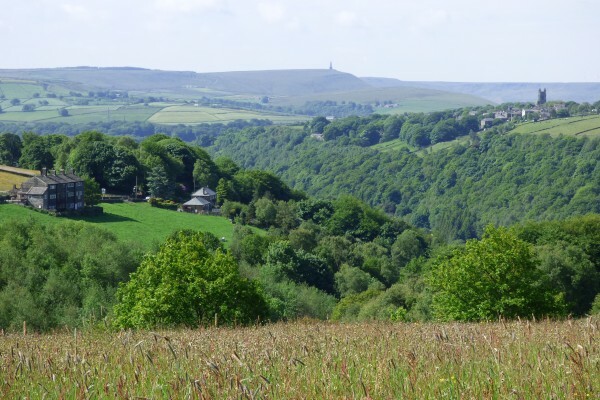 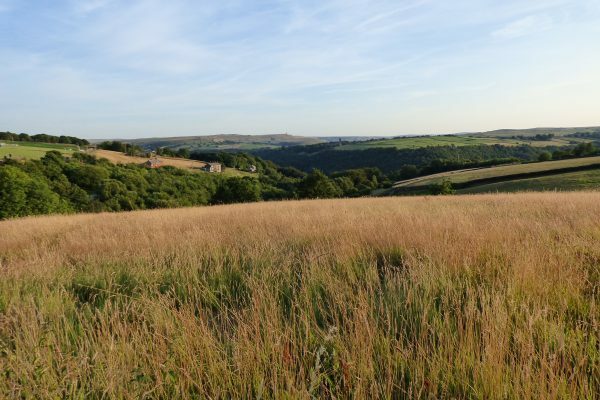 Overlooking the wooded valley of Hardcastle Crags, with Heptonstall and Stoodley Pike on the horizon, Elmet Farmhouse has panoramic views of the rolling Pennine hills – like a Turner painting in 3D. 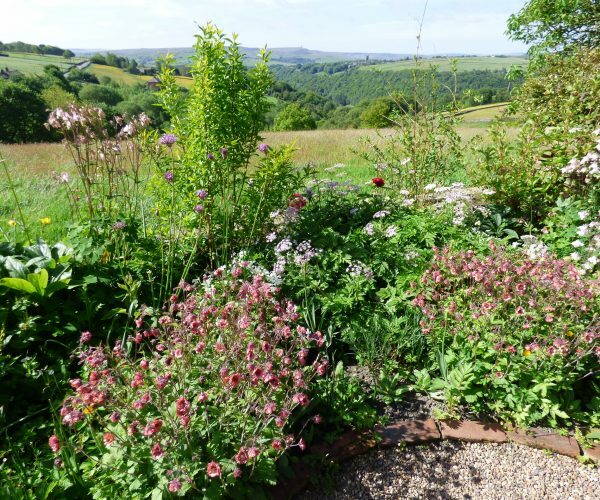 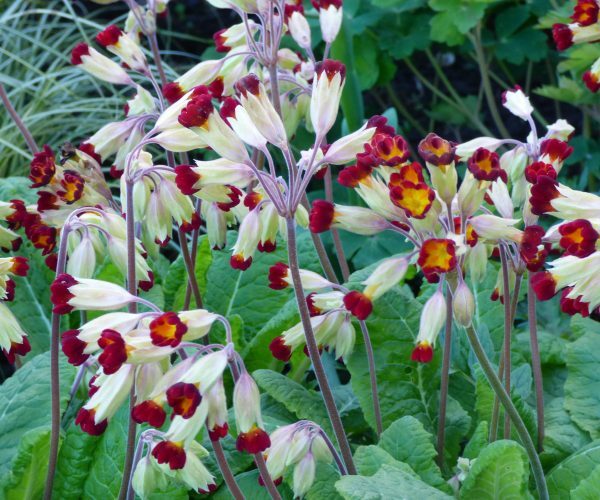 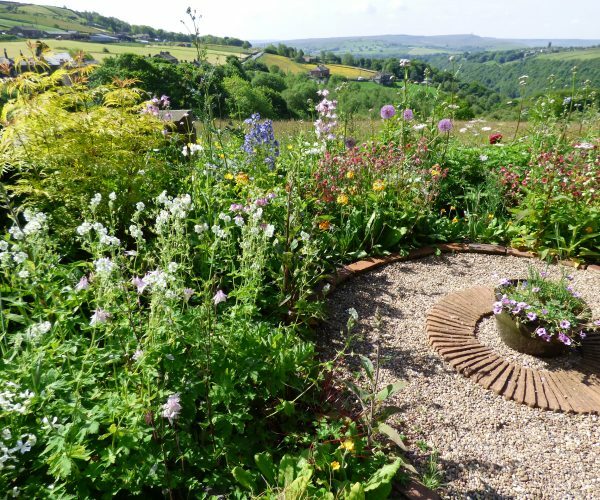 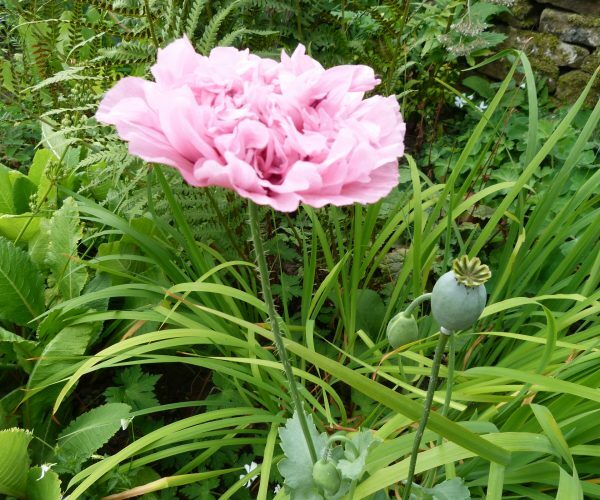 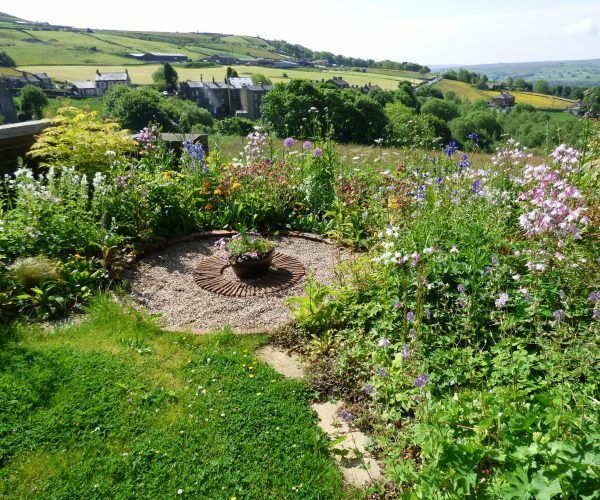 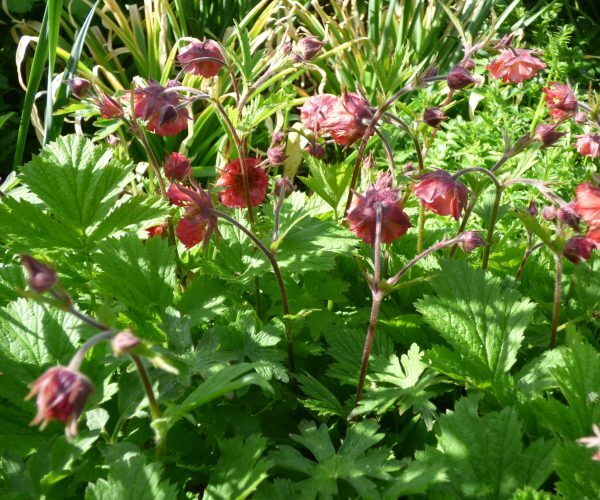 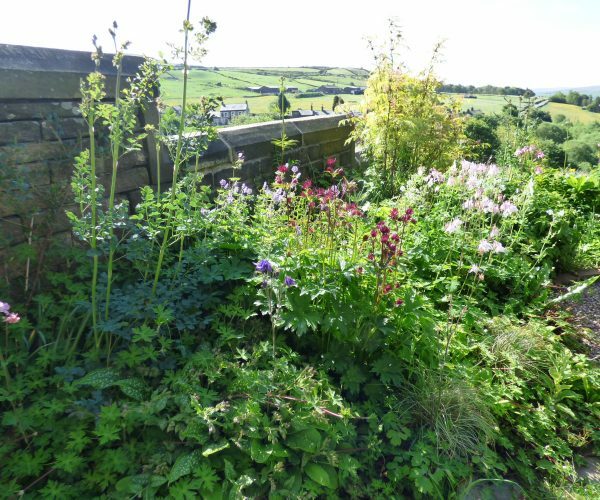 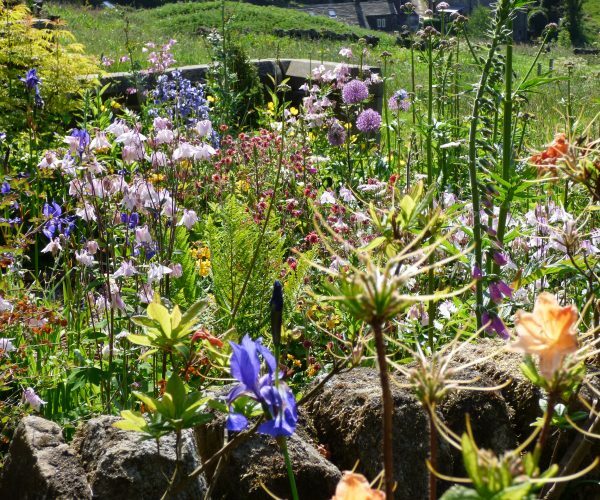 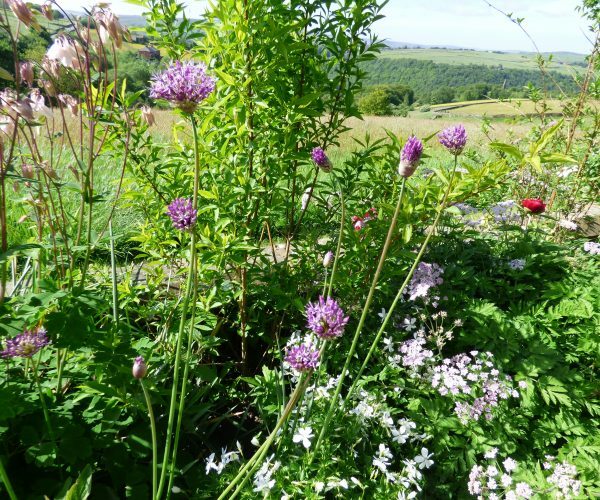 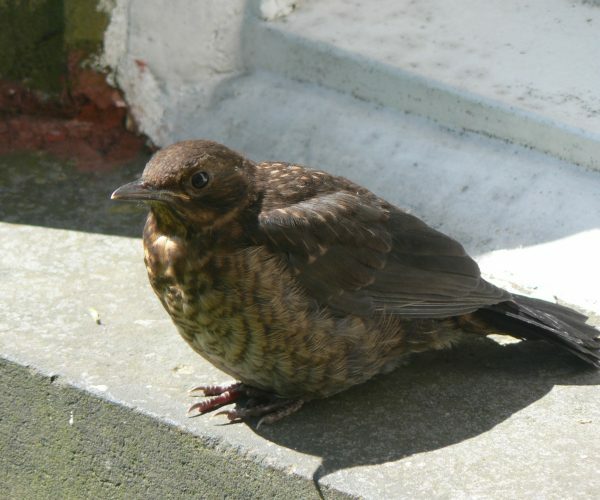 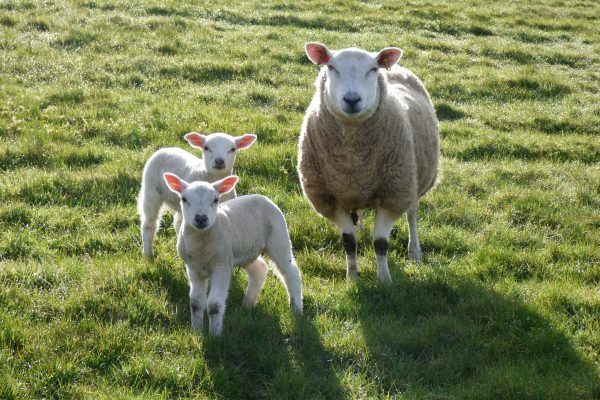 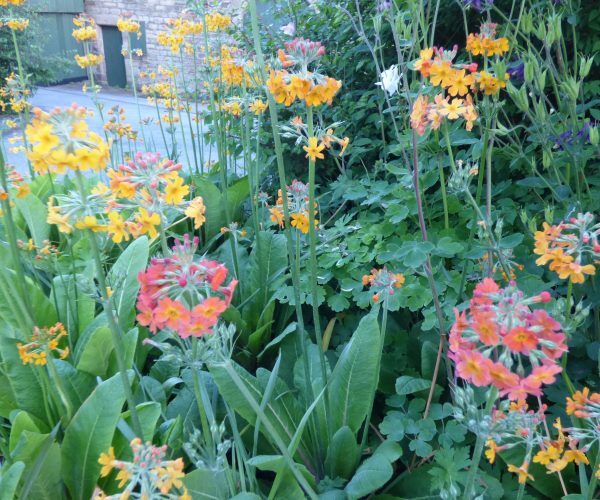 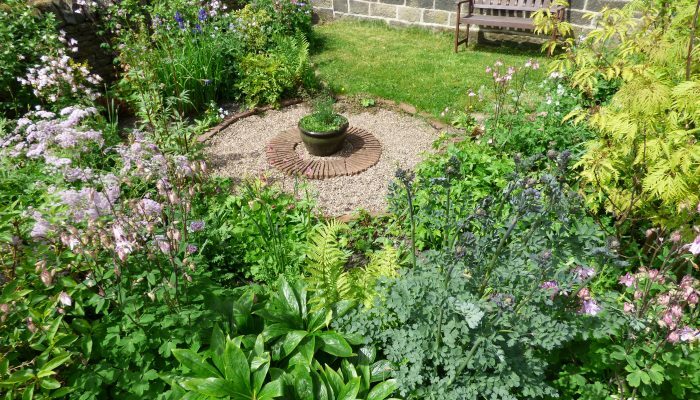 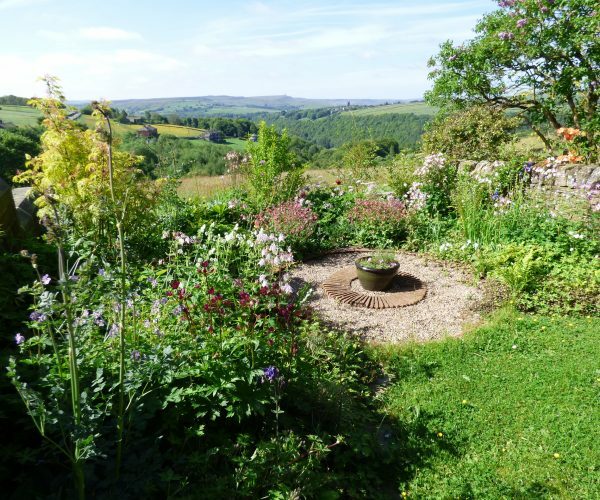 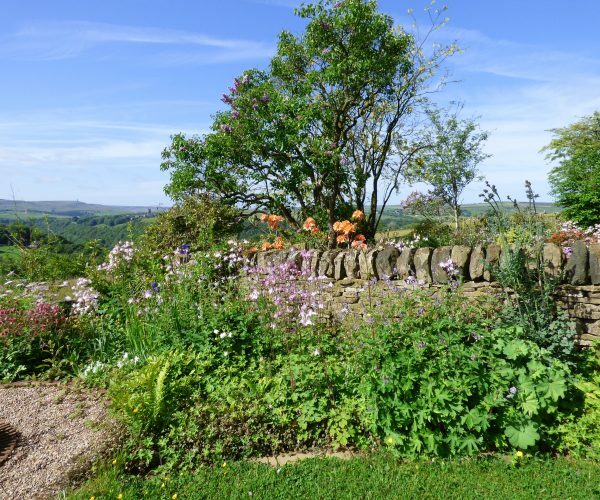 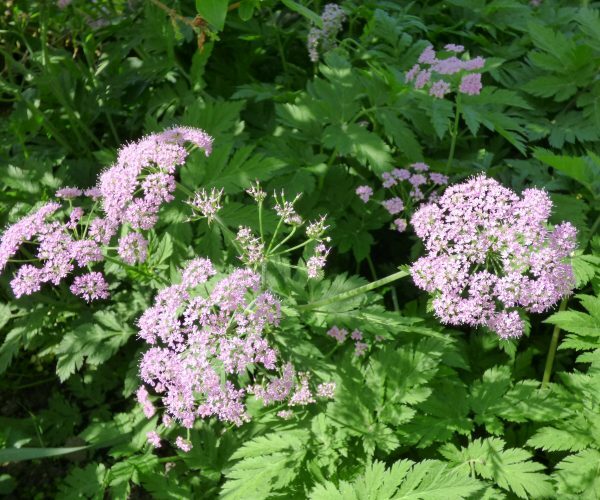 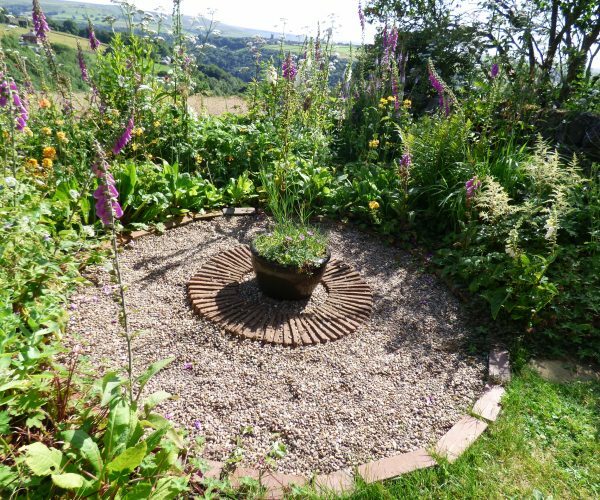 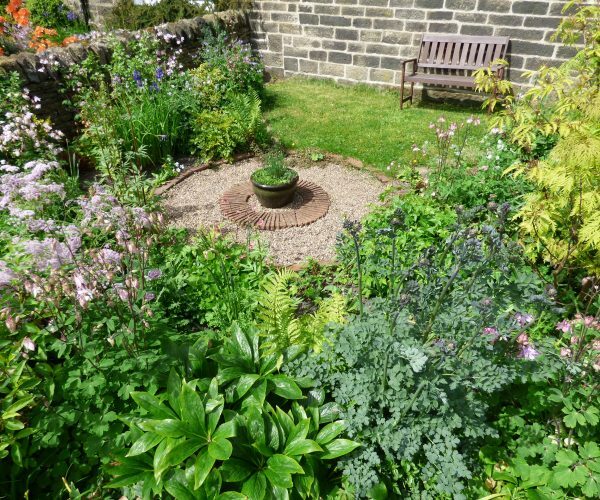 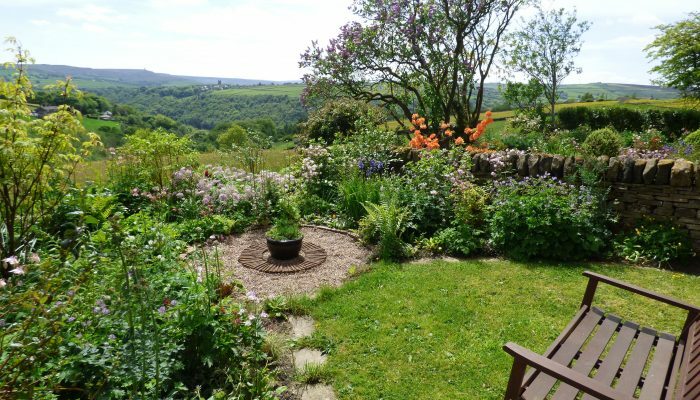 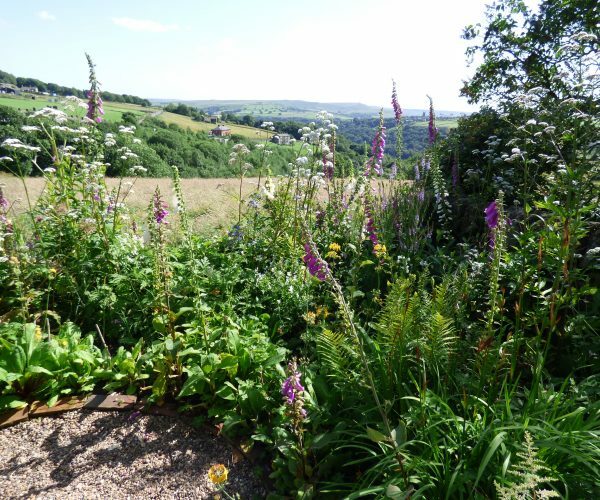 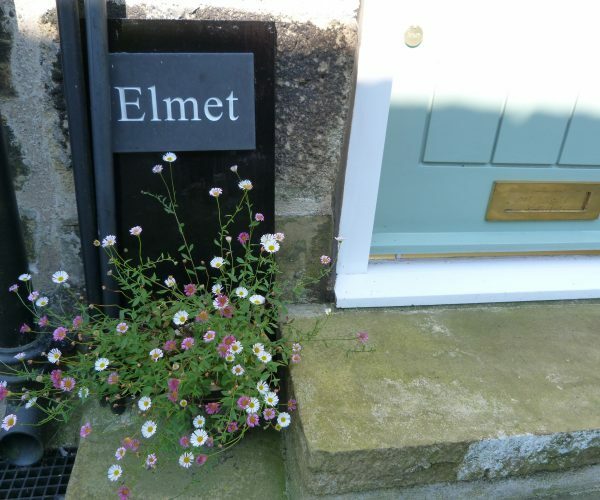 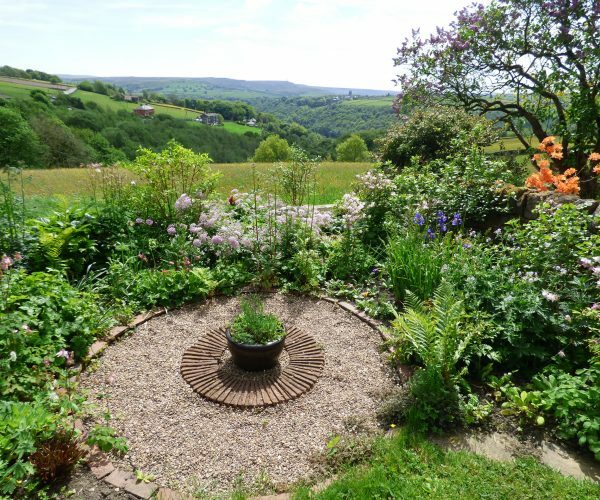 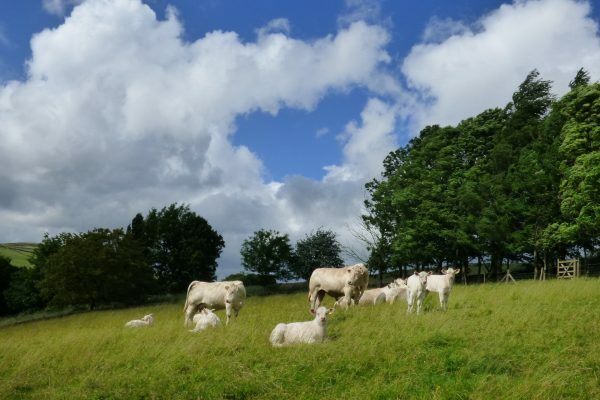 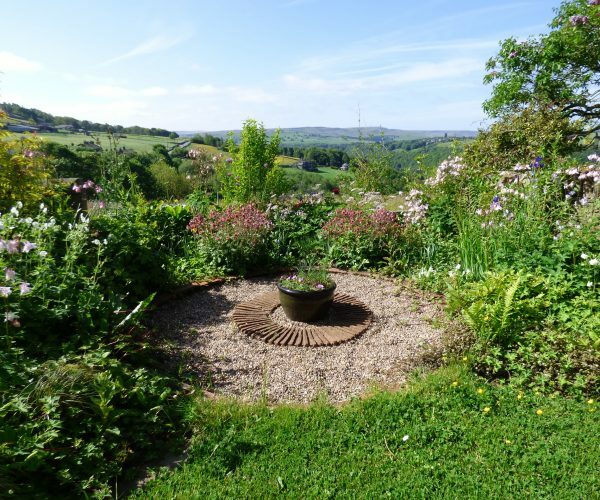 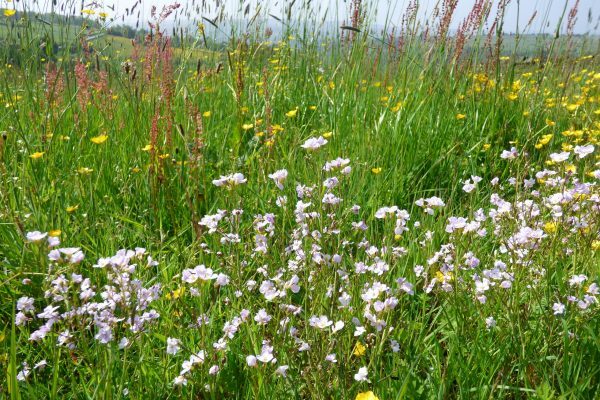 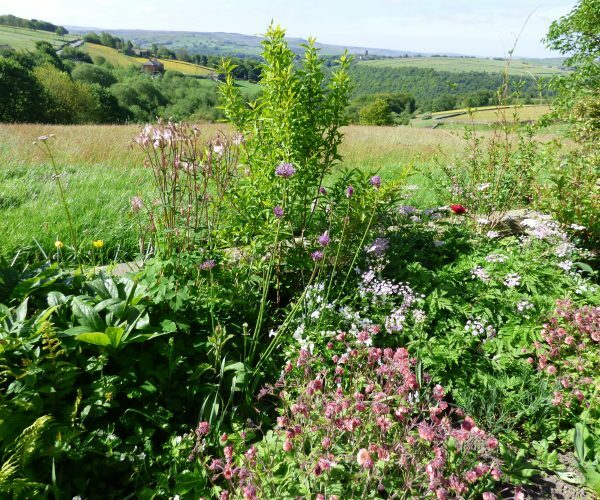 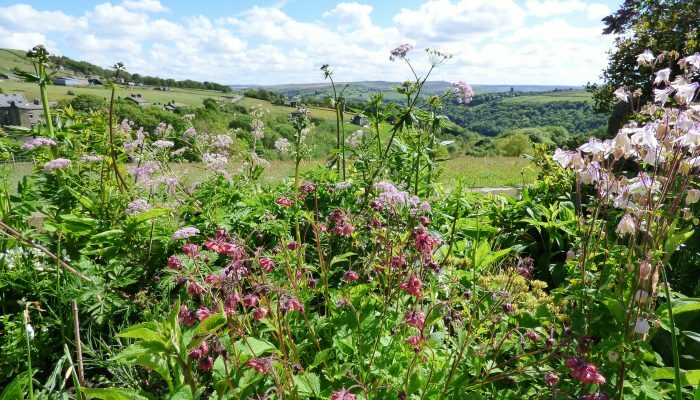 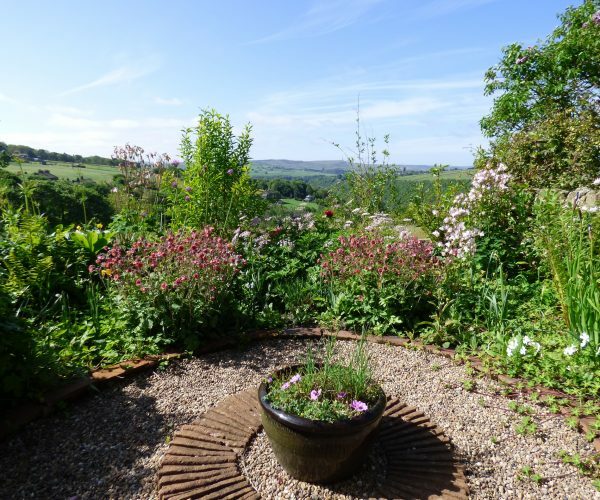 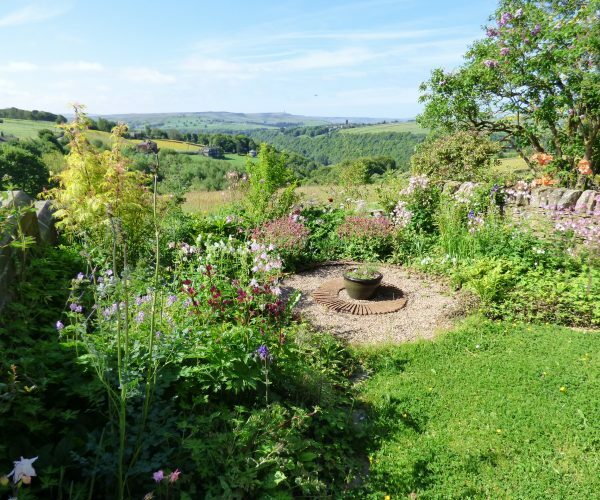 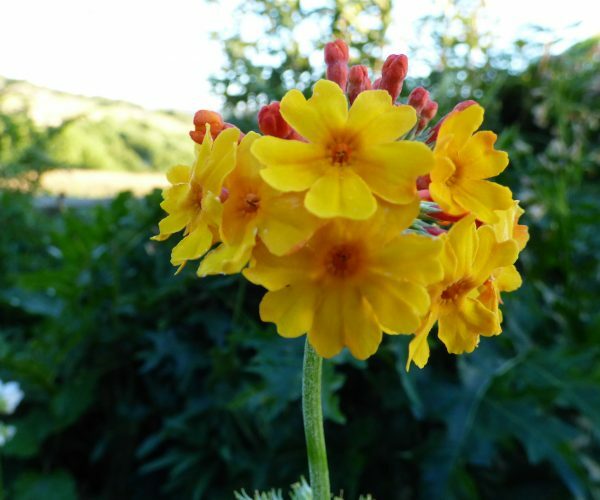 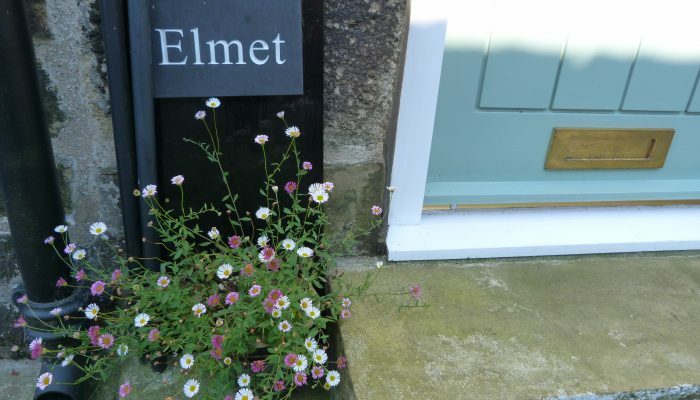 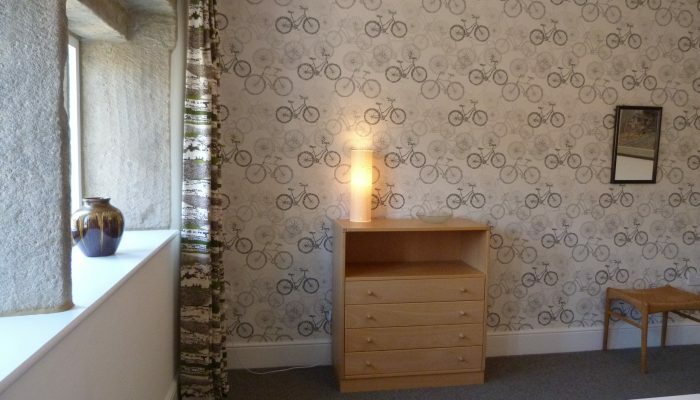 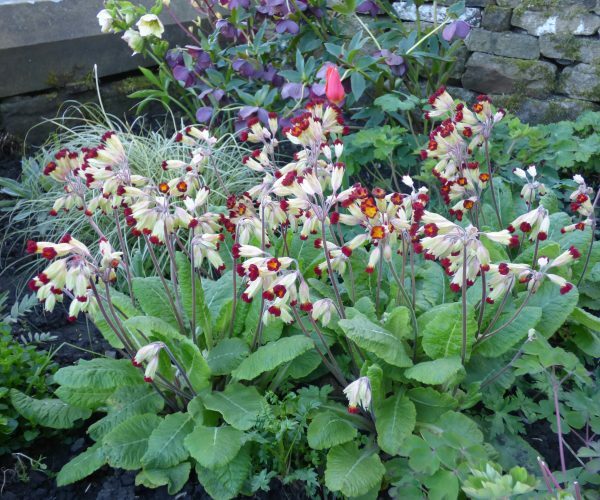 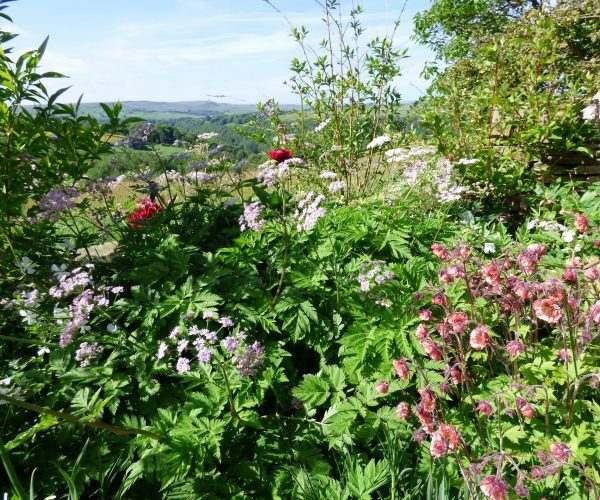 With its pretty cottage garden surrounded by hay meadows, Elmet provides an idyllic rural retreat. 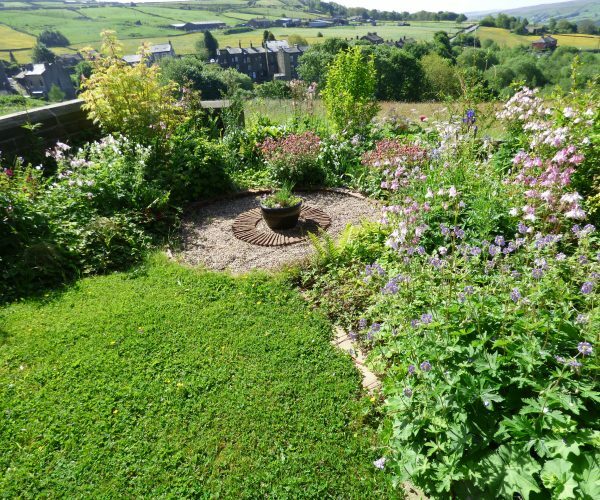 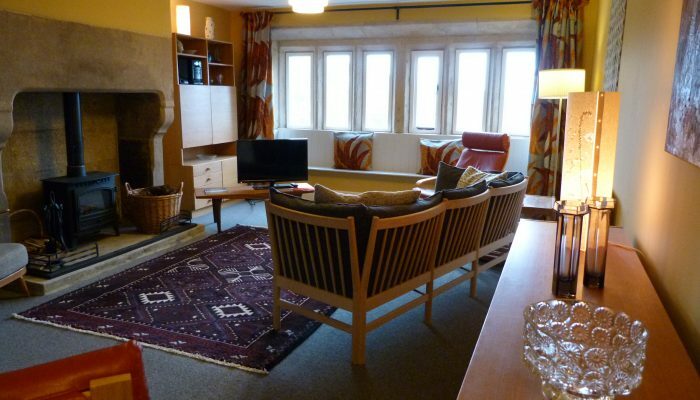 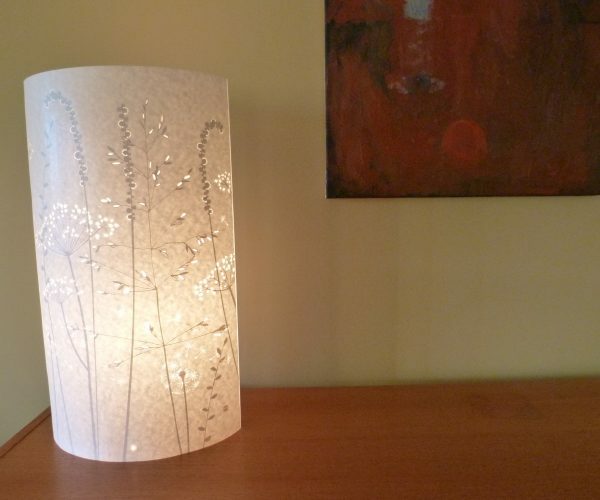 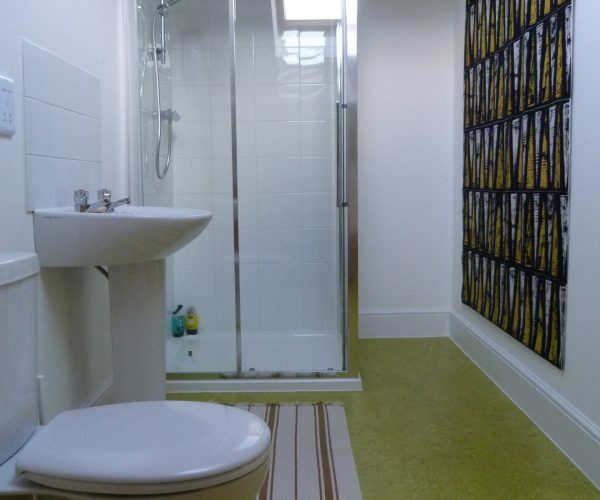 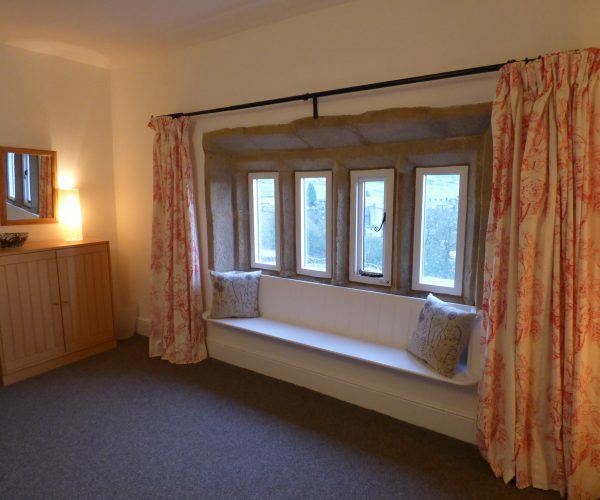 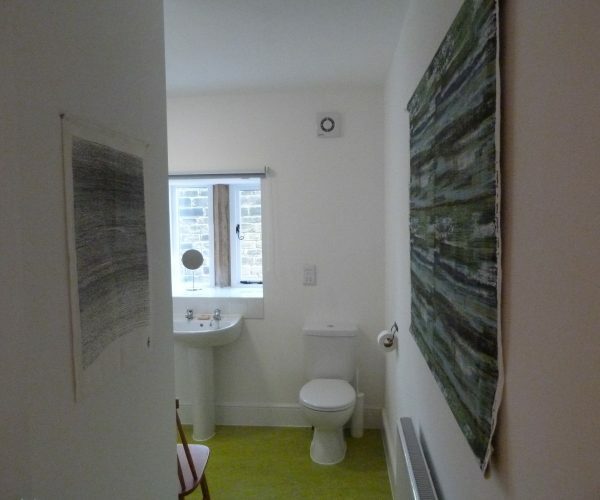 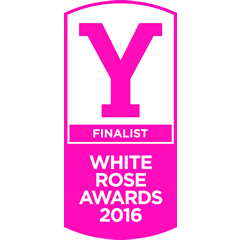 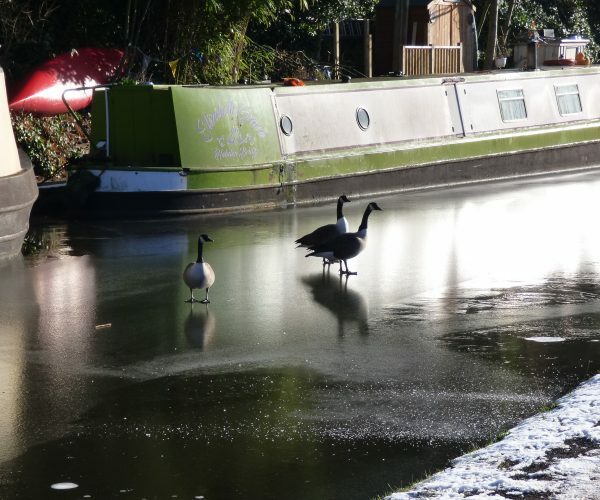 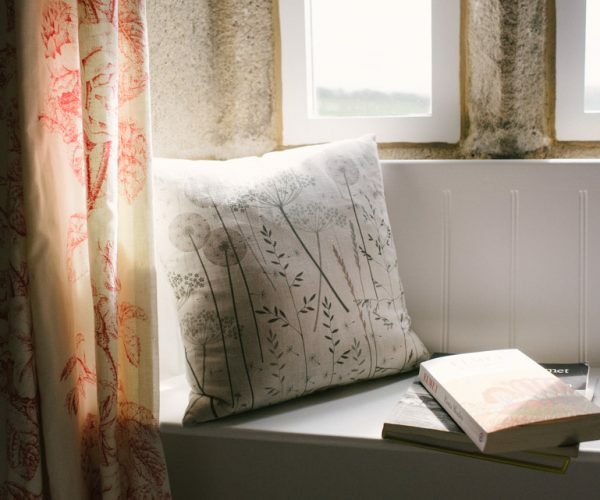 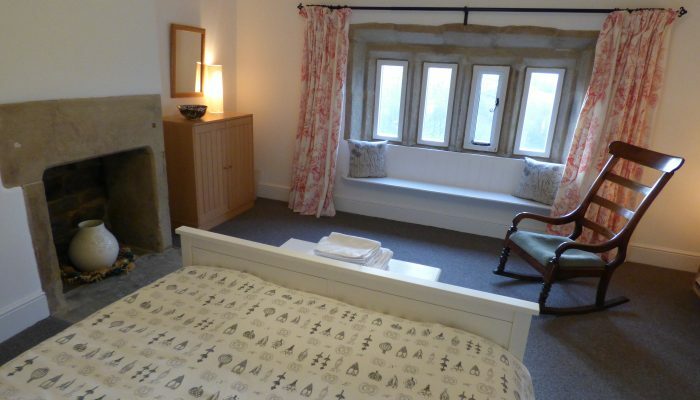 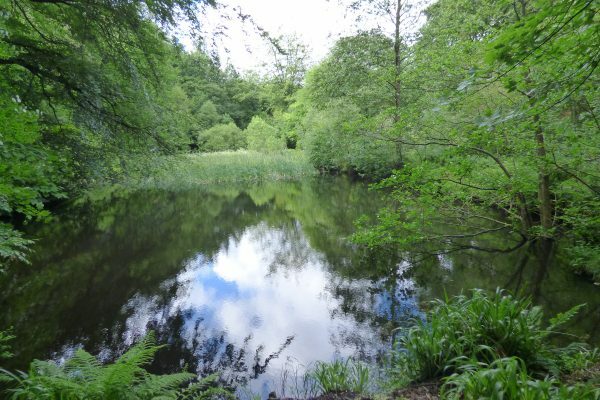 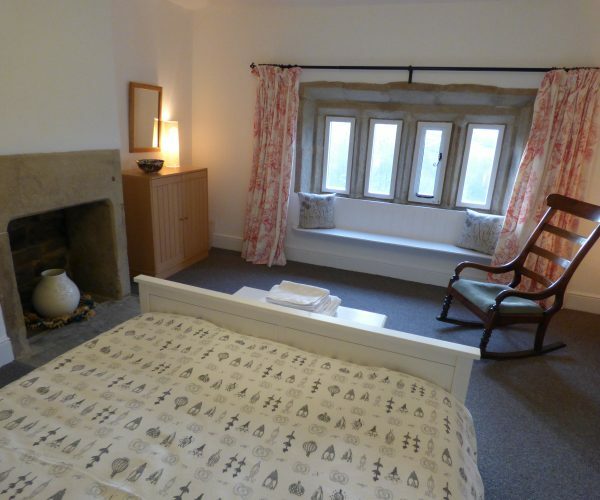 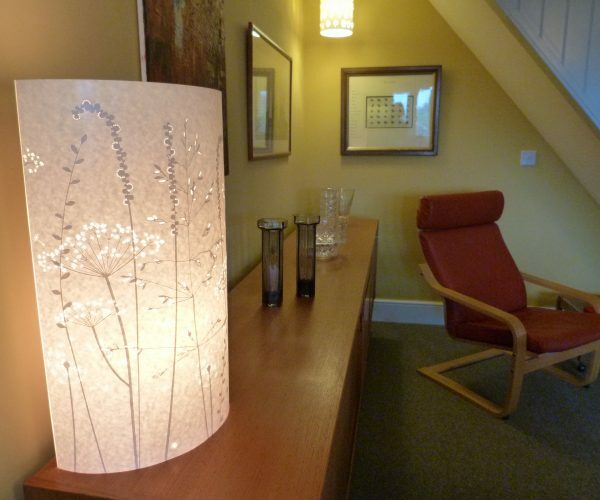 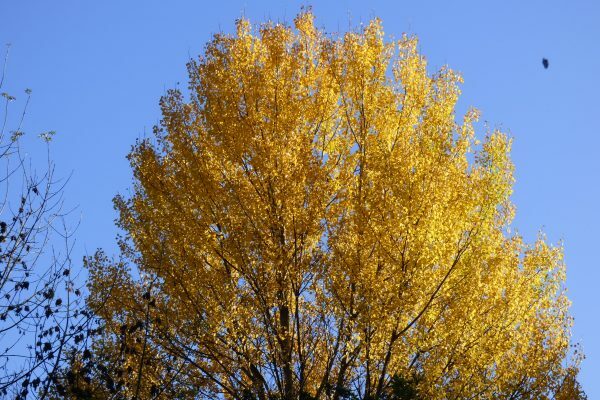 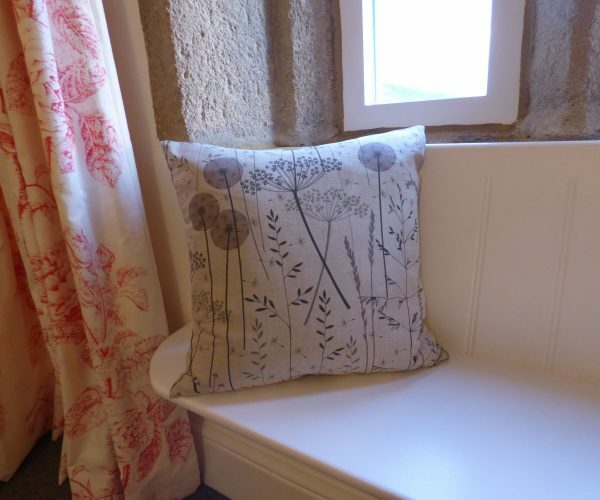 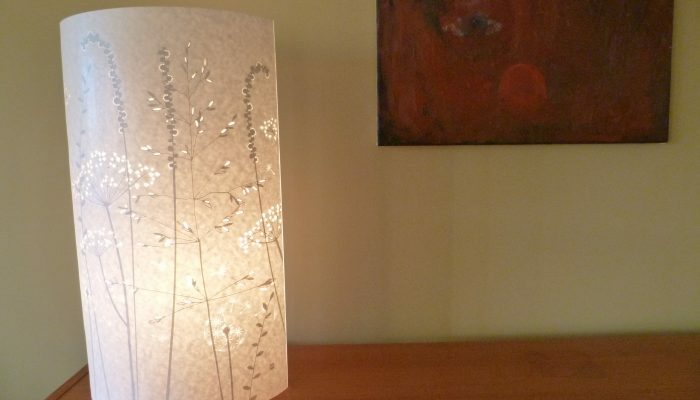 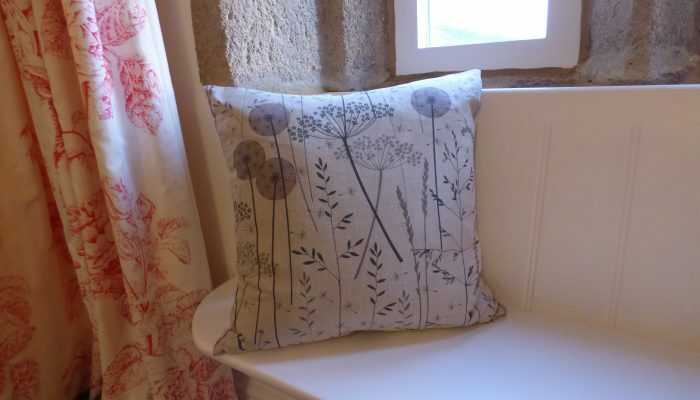 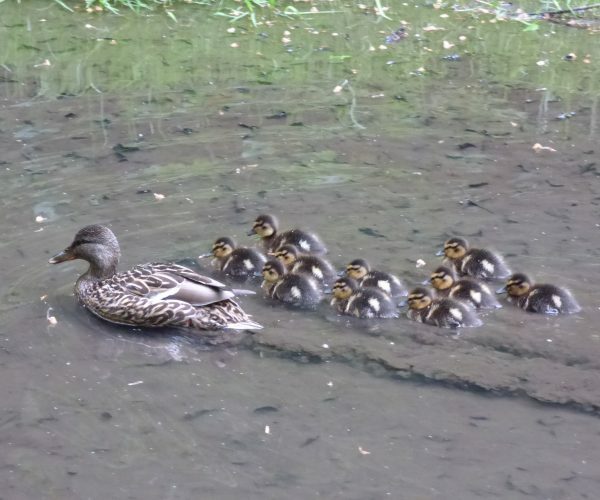 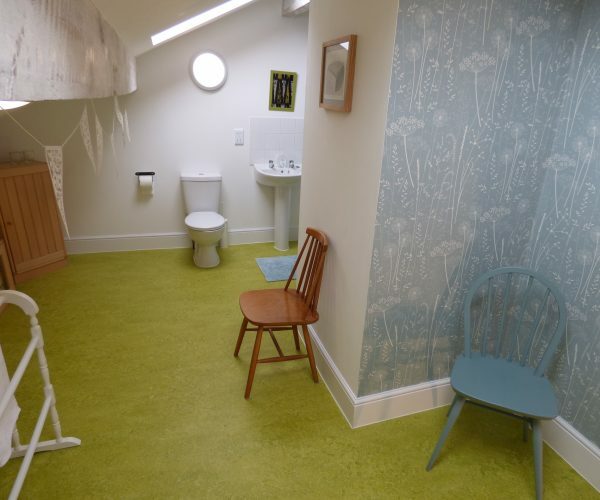 An oasis of tranquility near a friendly village pub, the perfect place to relax and unwind. 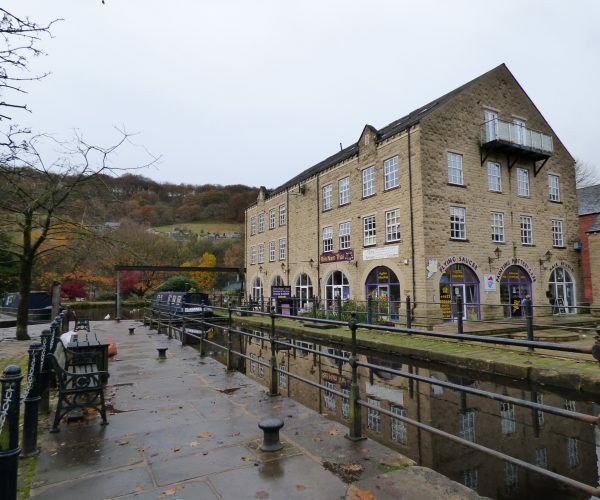 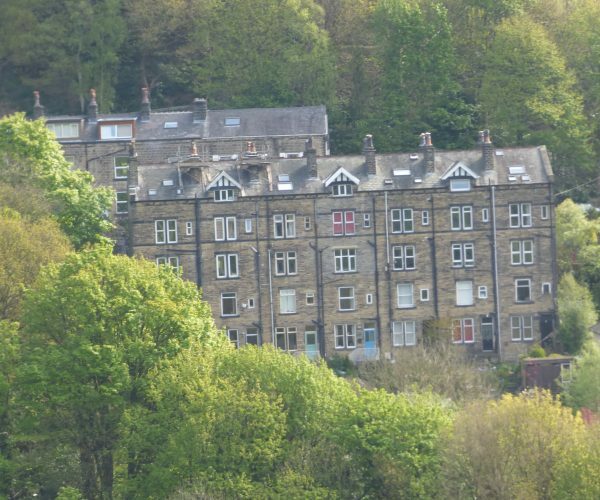 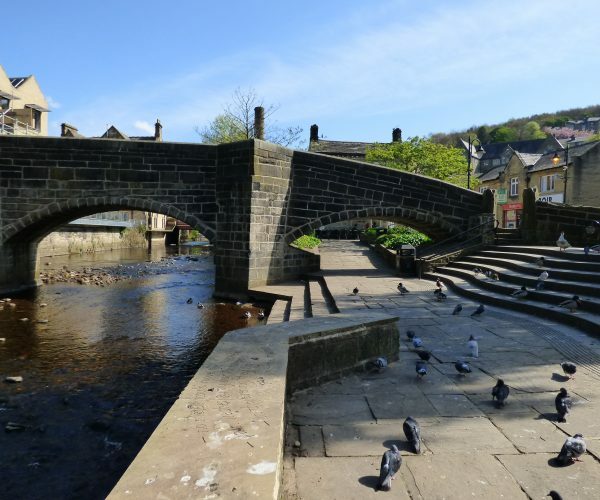 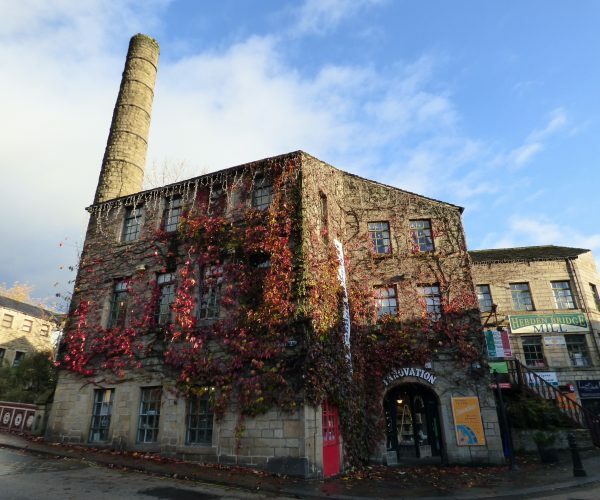 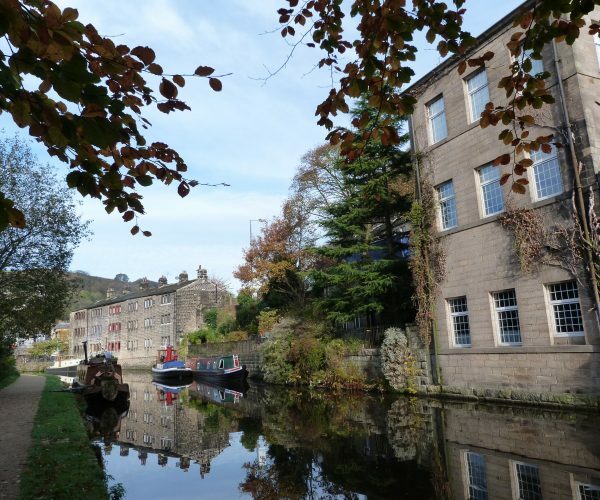 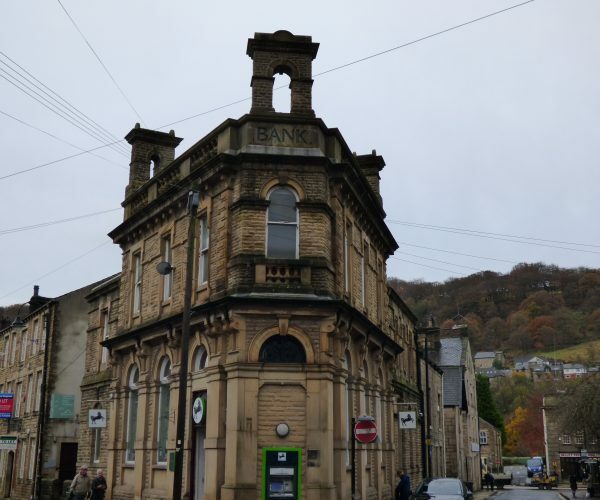 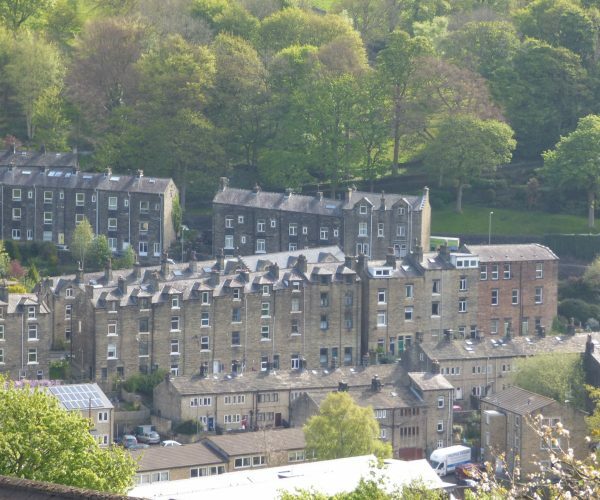 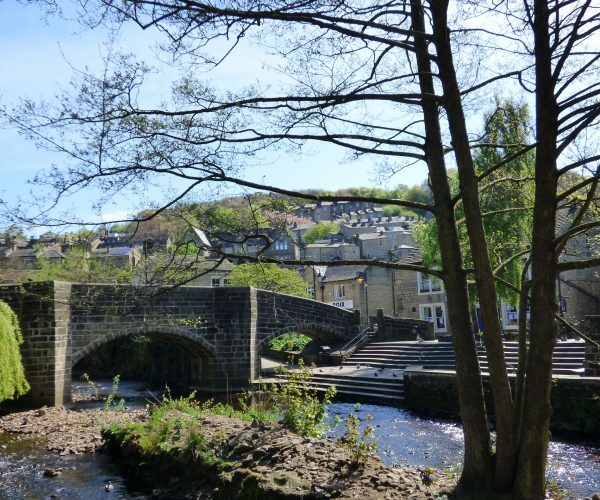 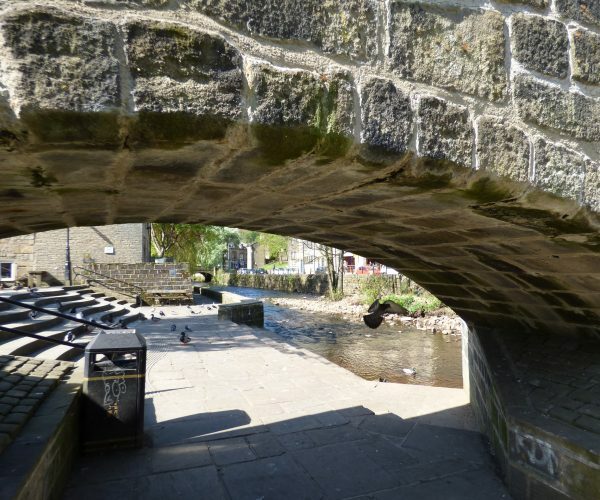 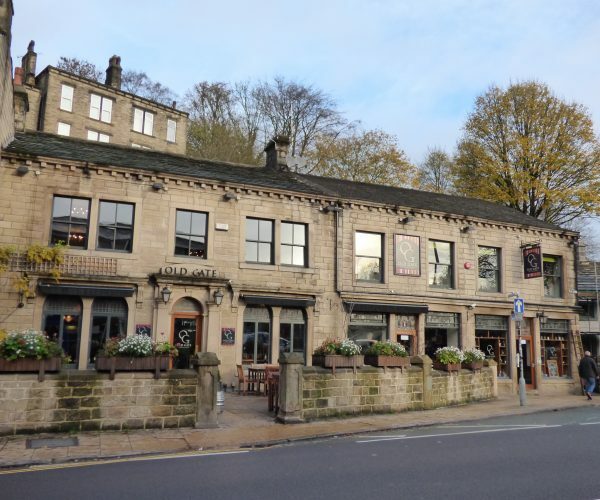 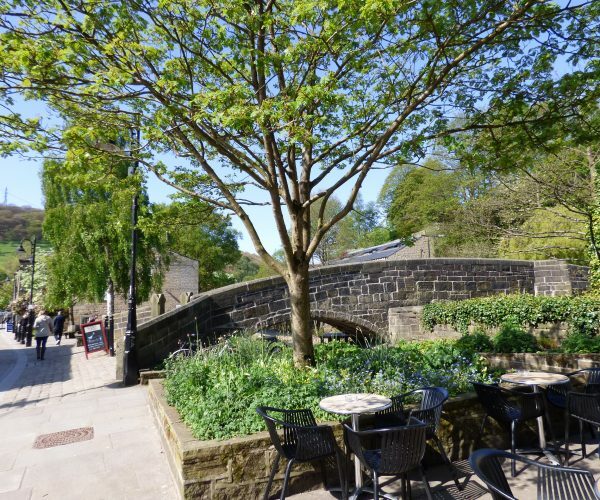 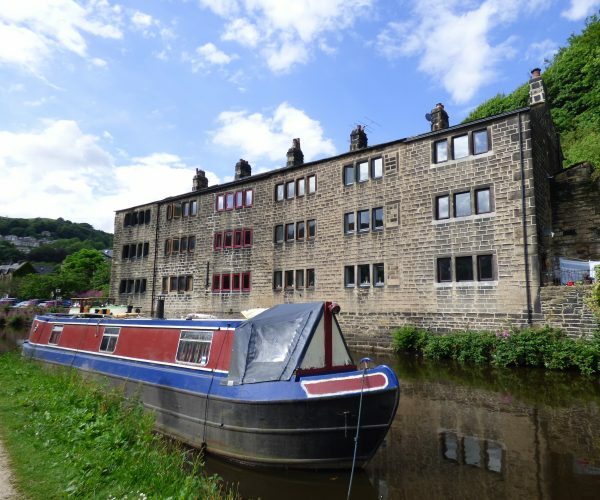 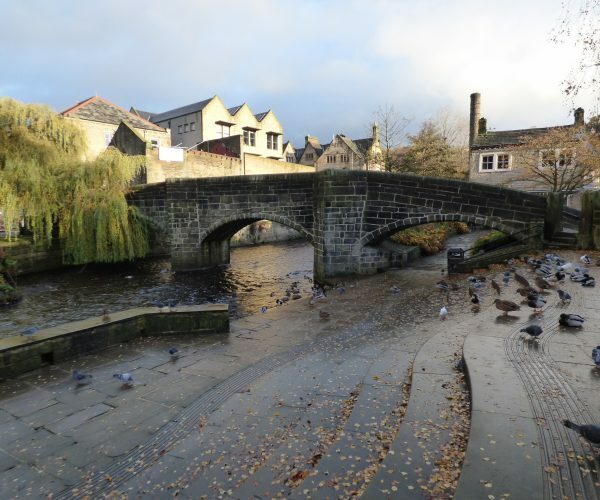 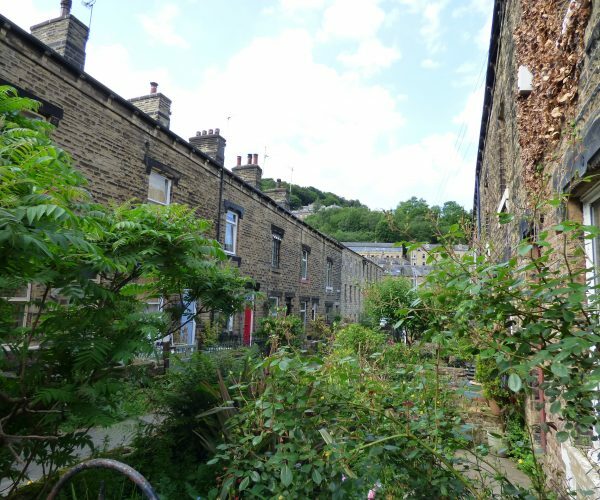 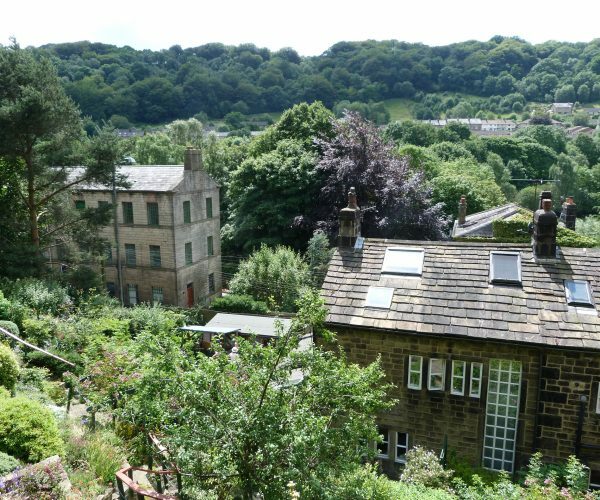 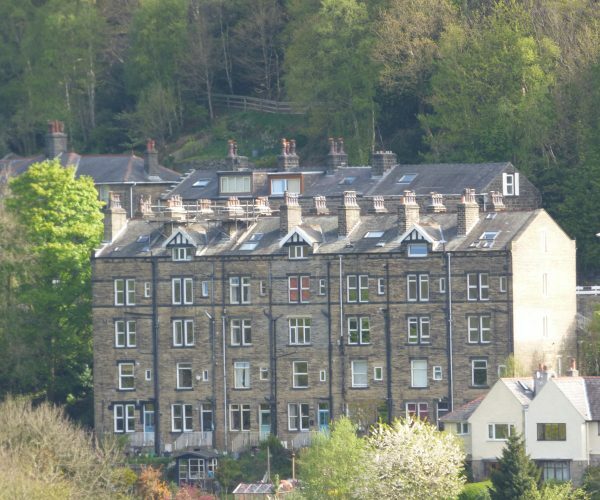 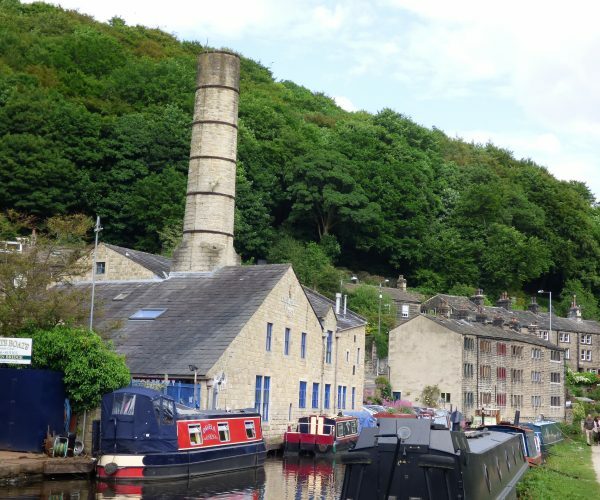 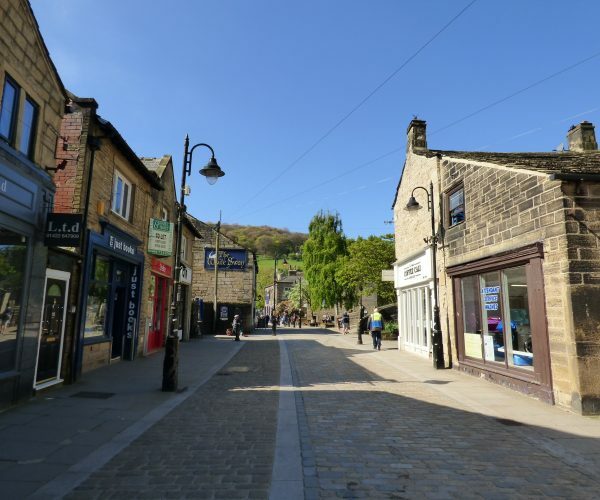 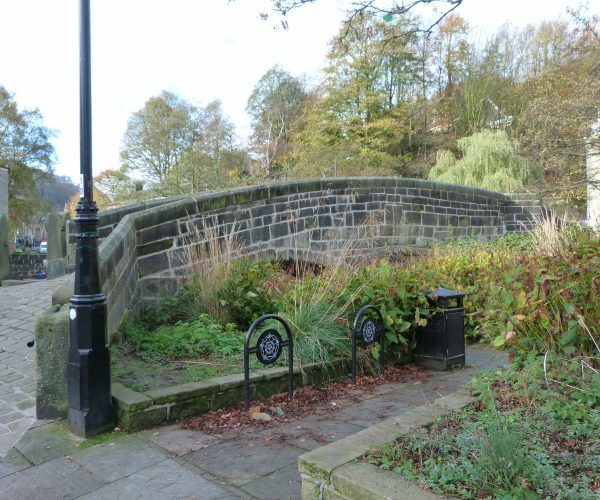 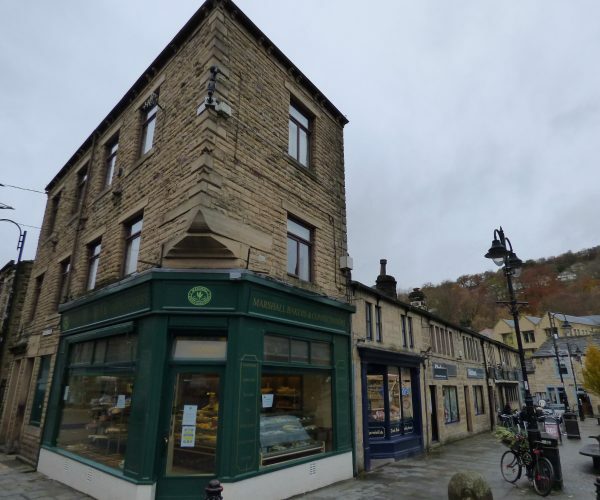 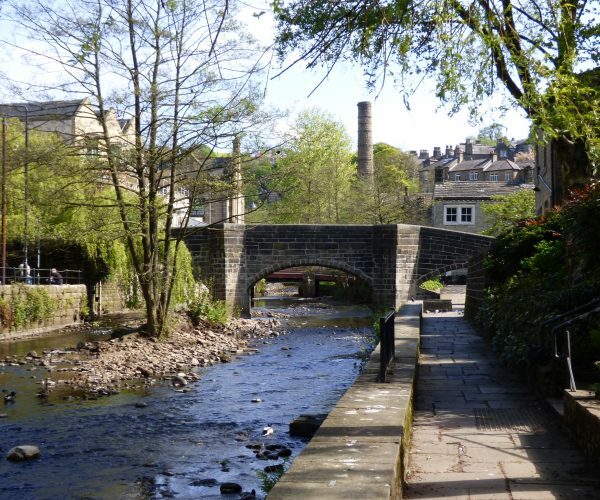 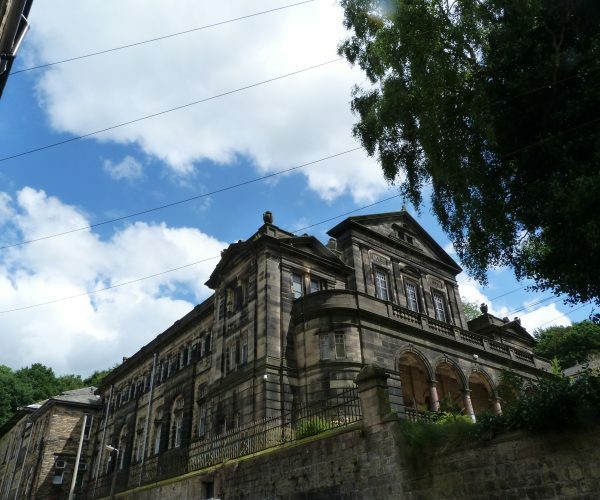 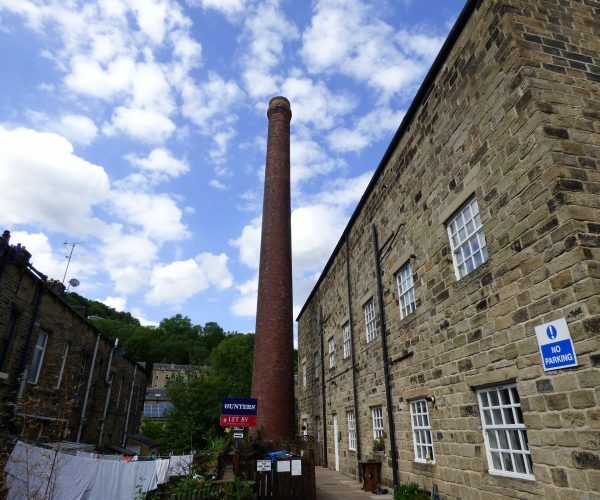 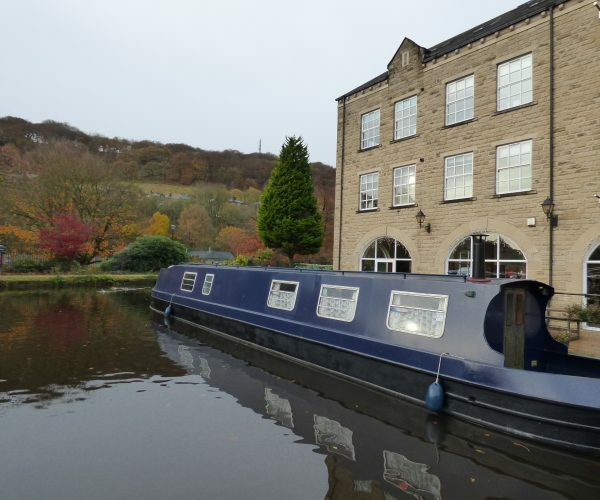 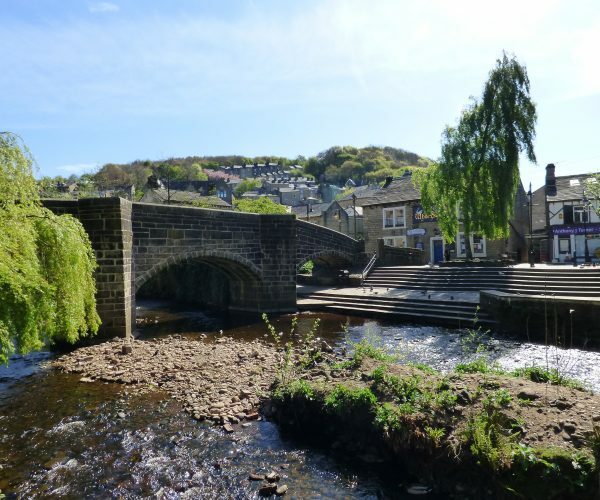 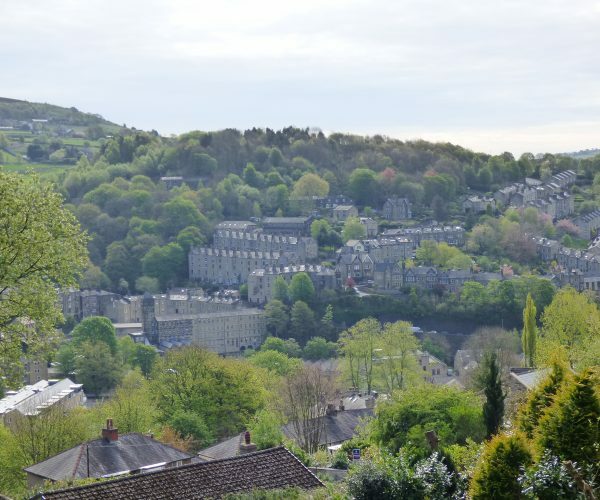 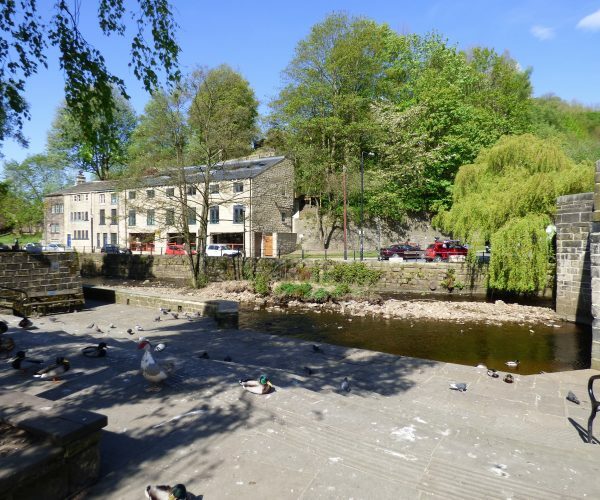 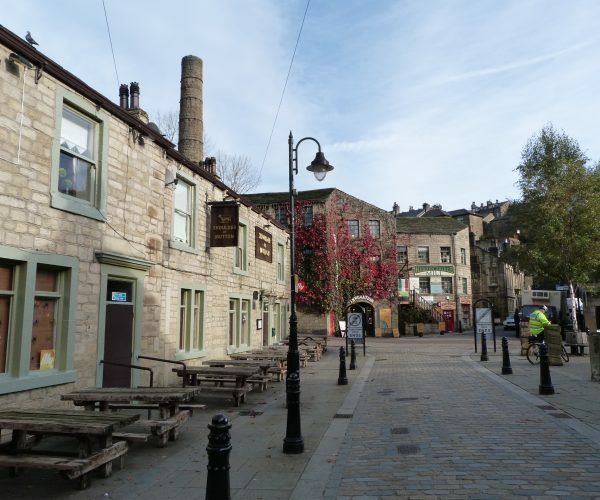 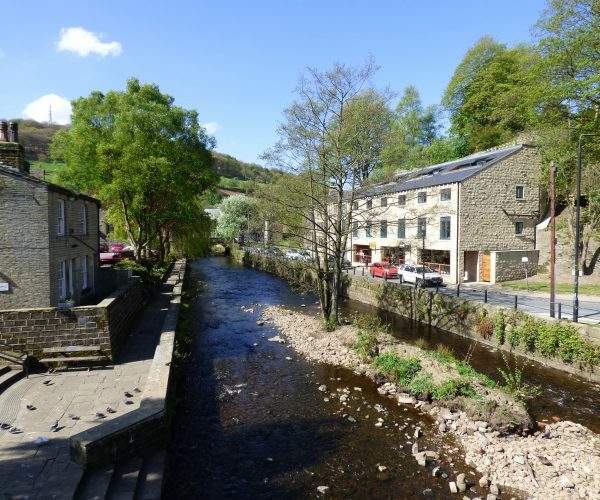 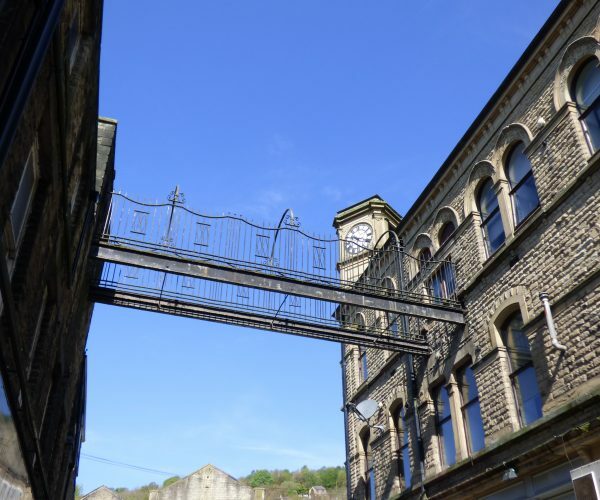 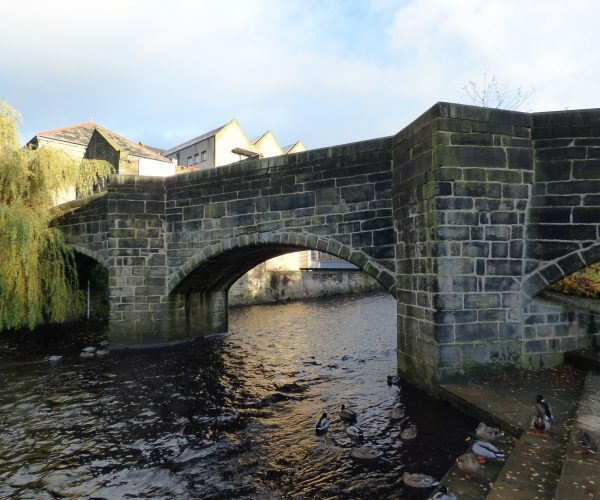 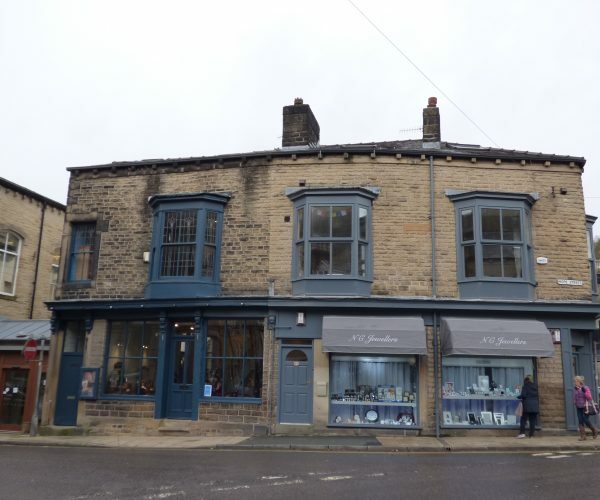 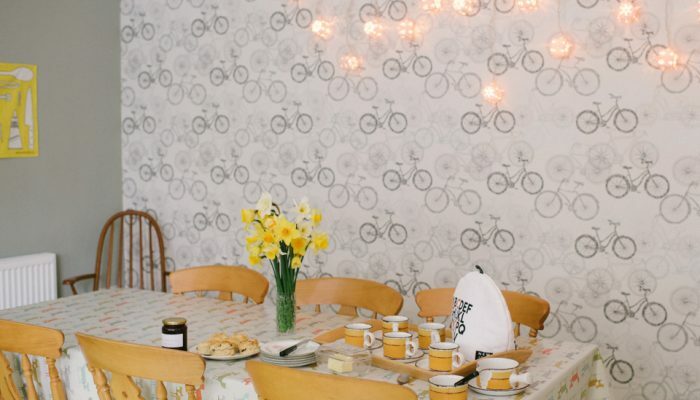 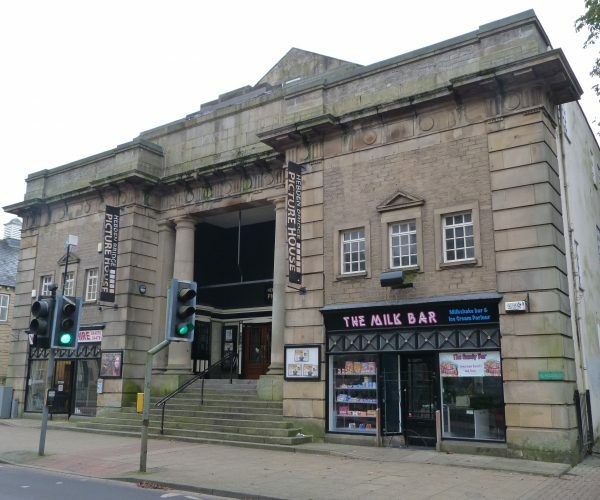 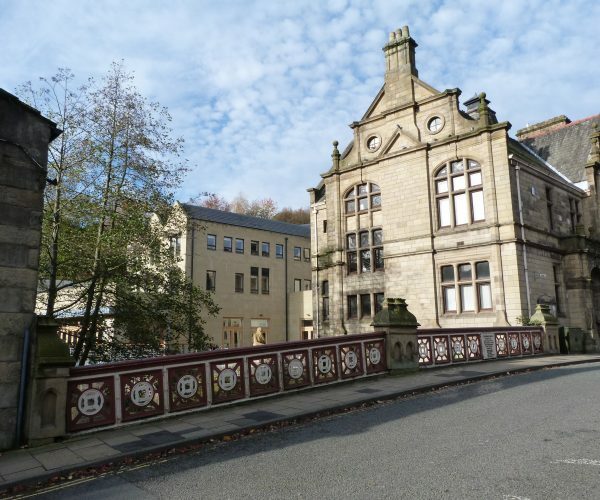 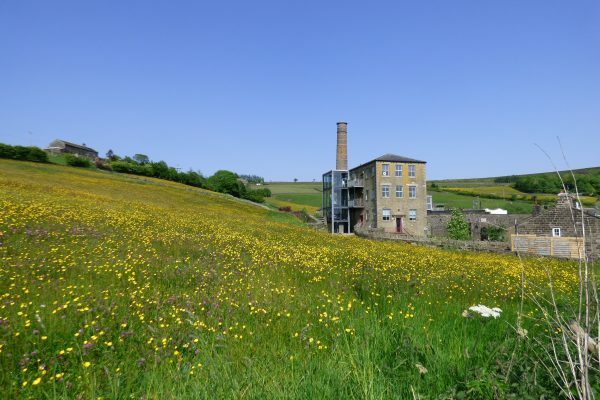 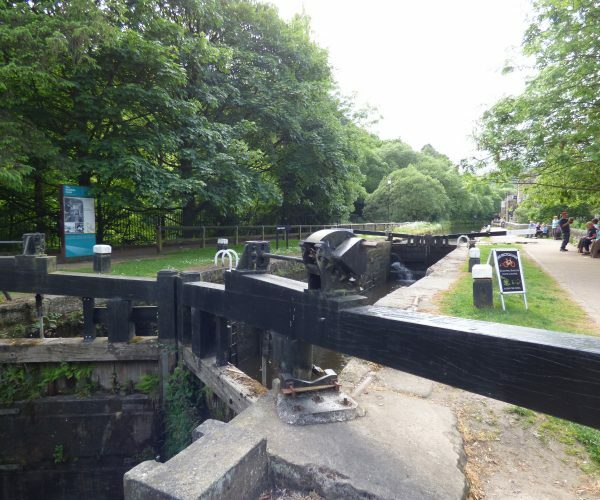 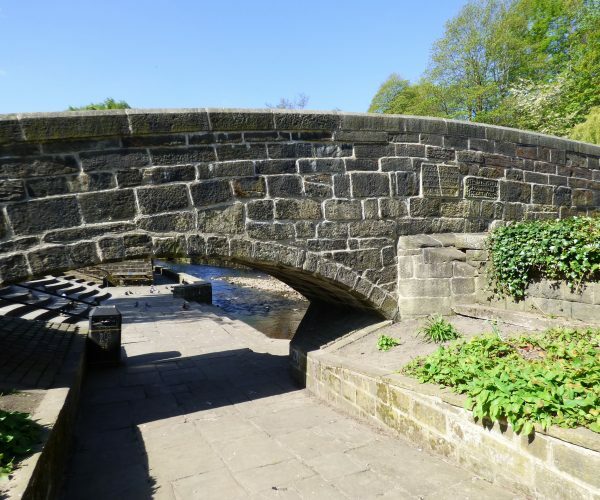 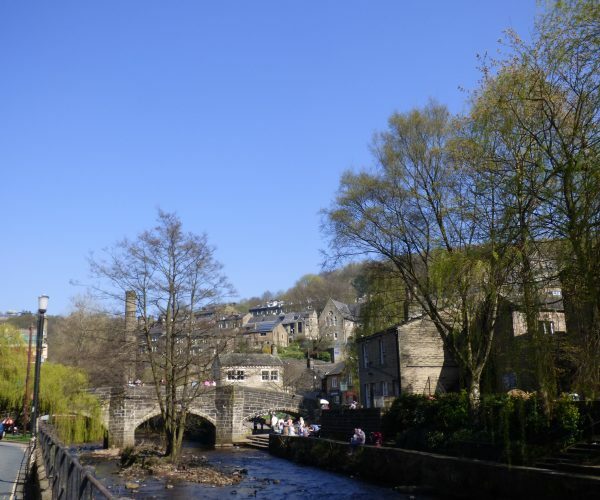 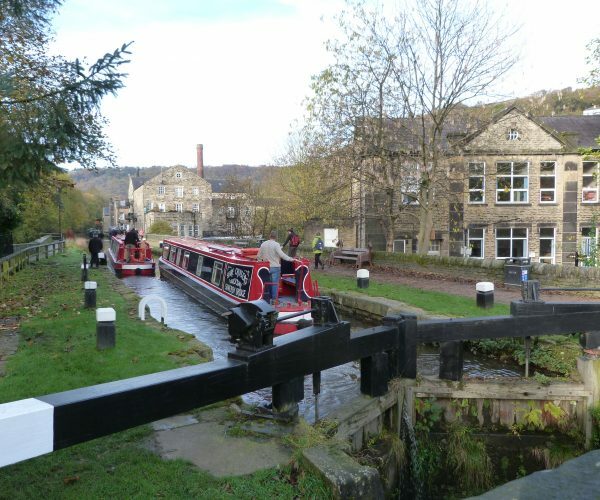 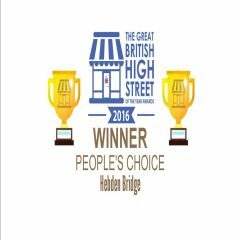 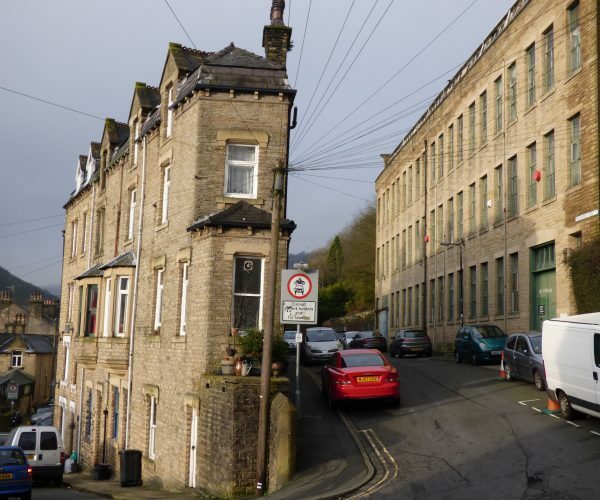 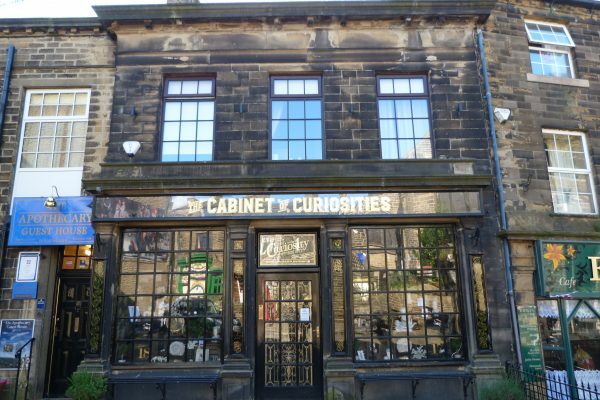 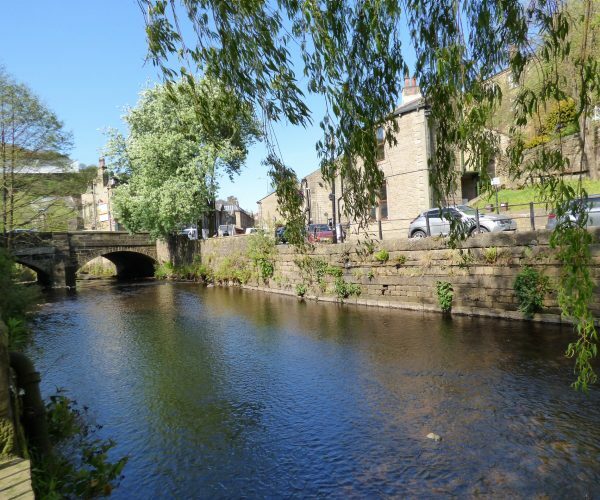 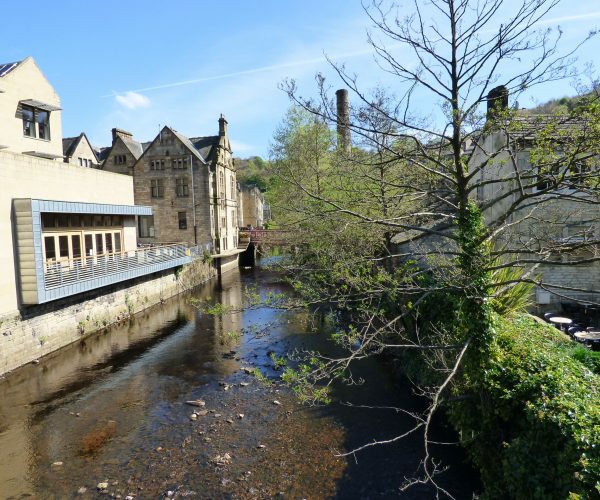 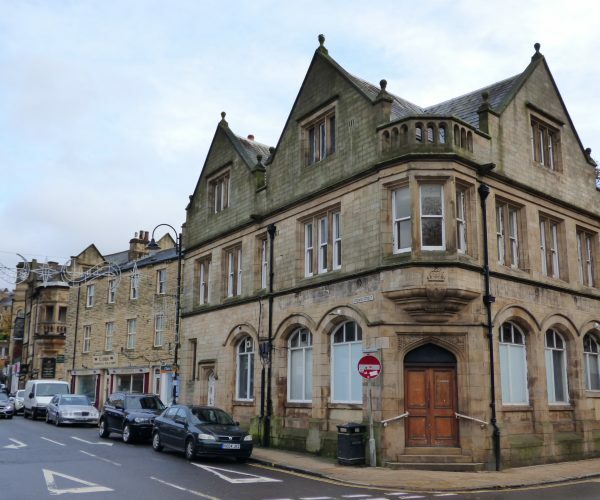 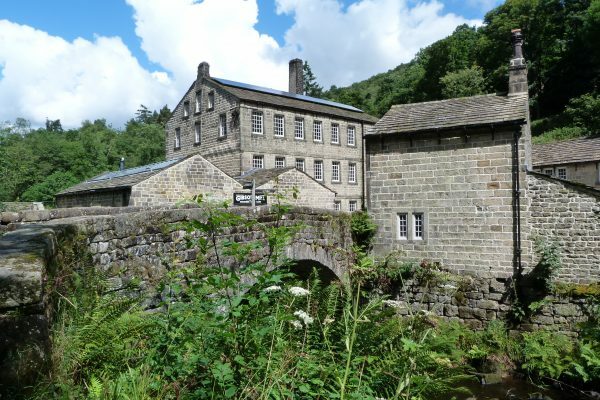 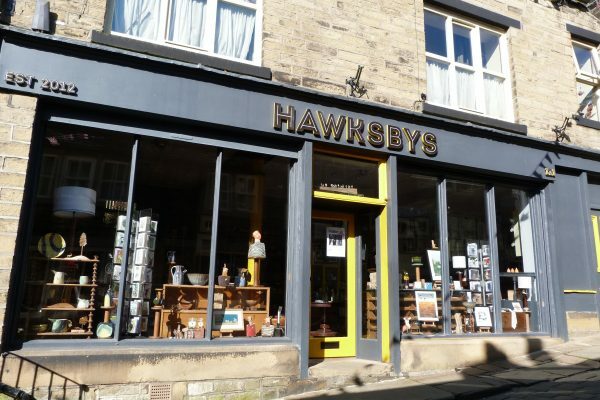 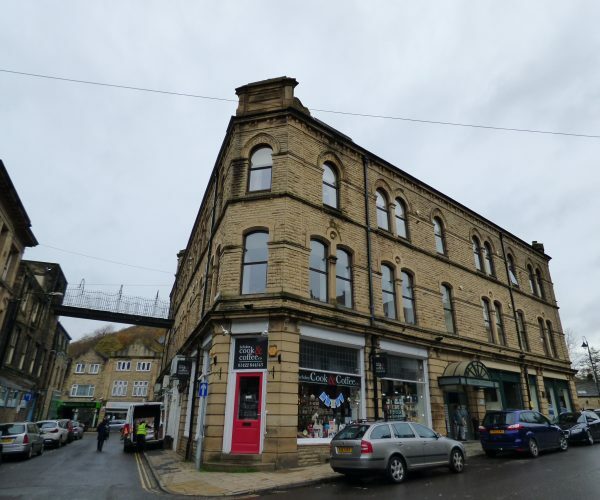 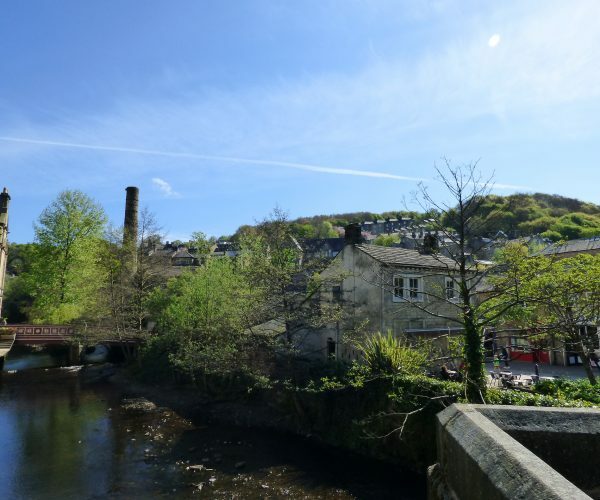 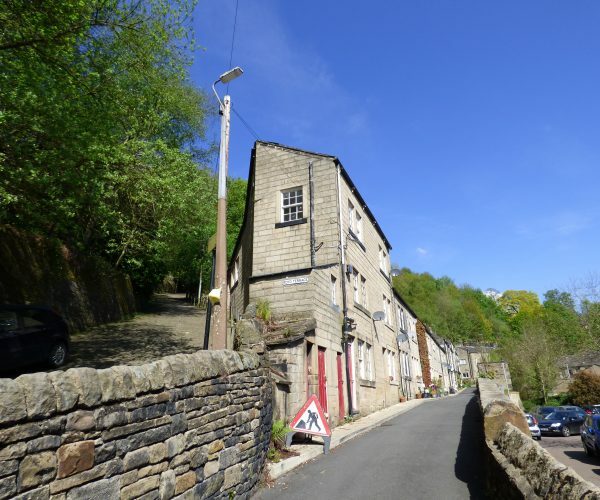 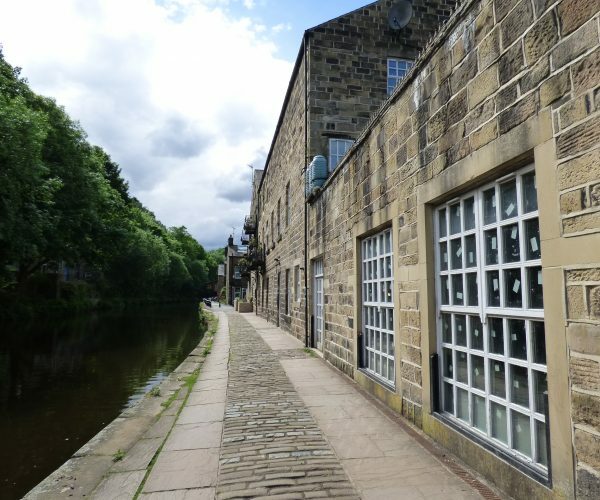 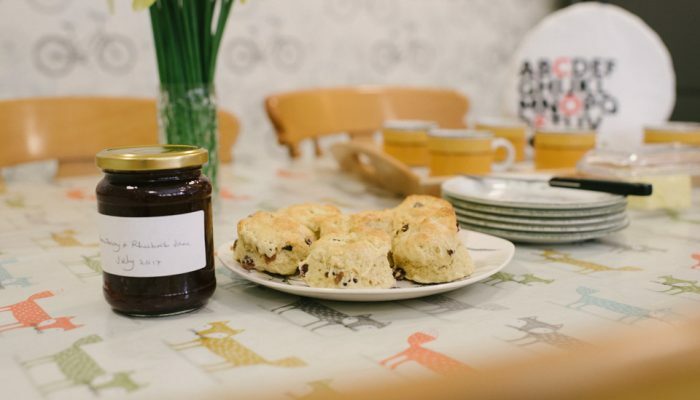 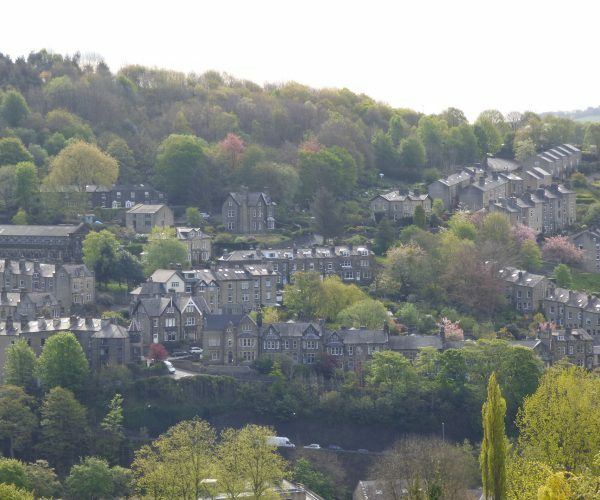 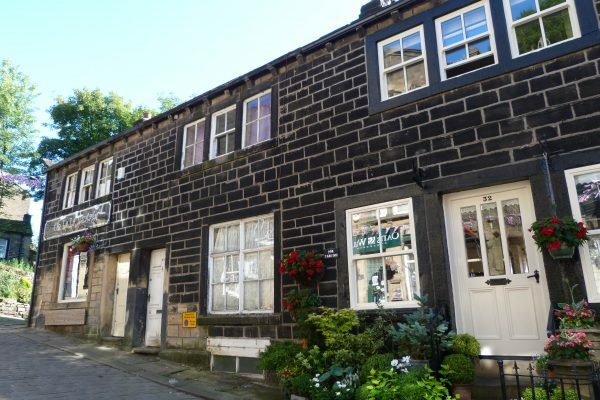 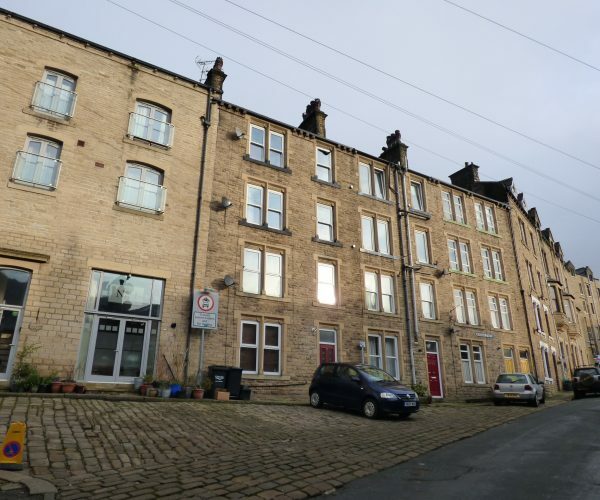 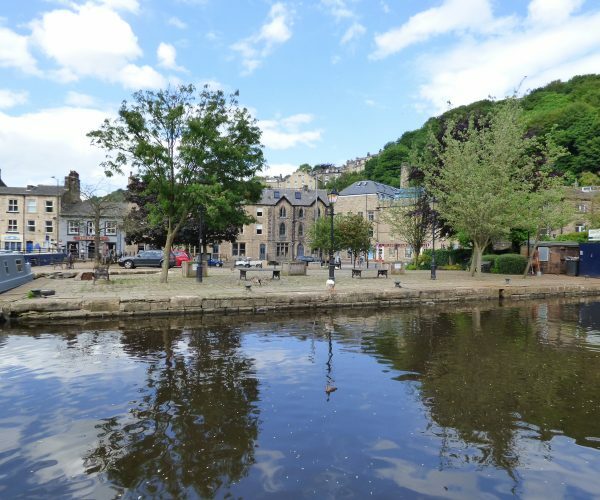 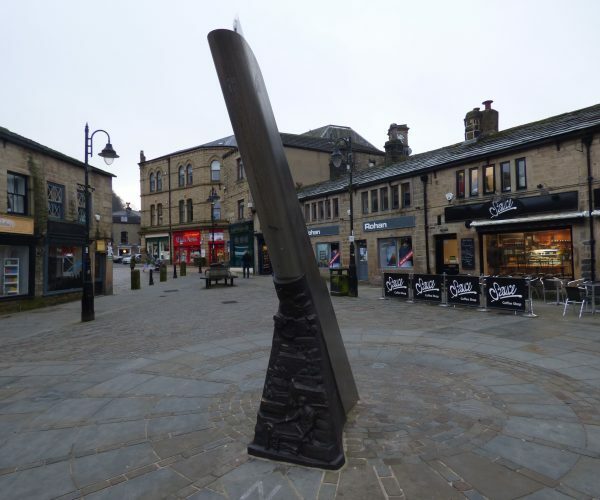 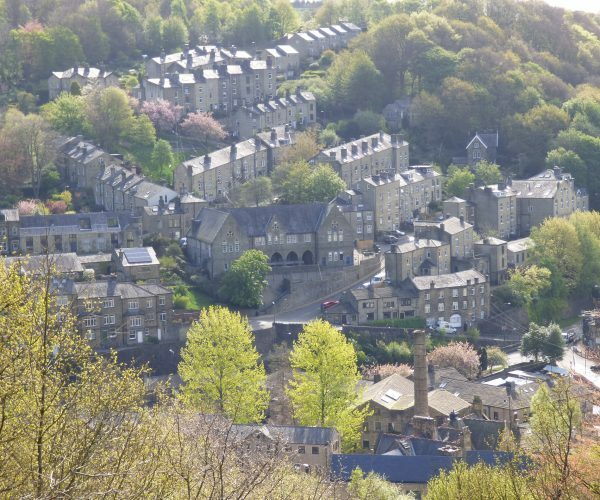 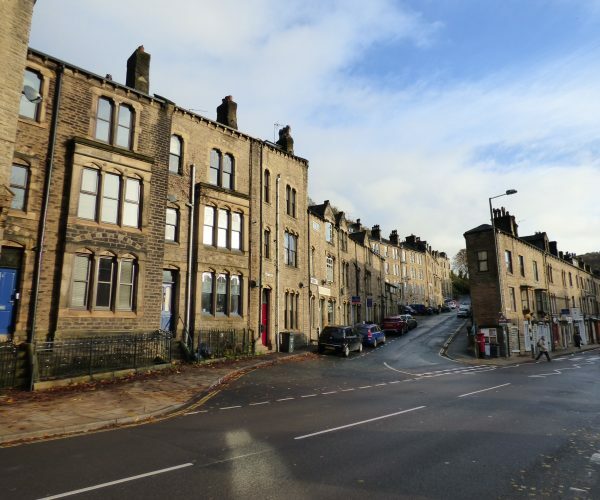 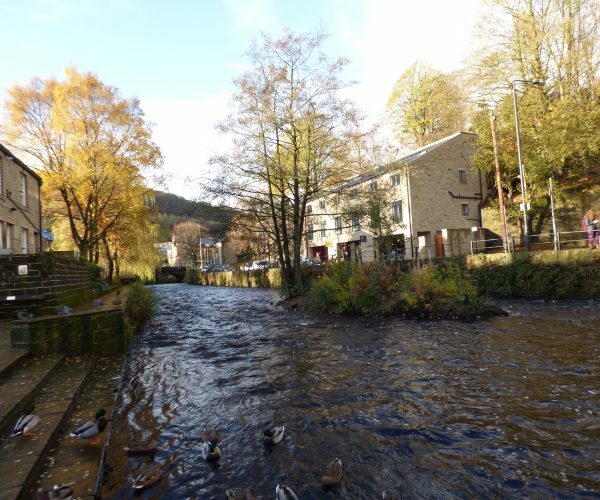 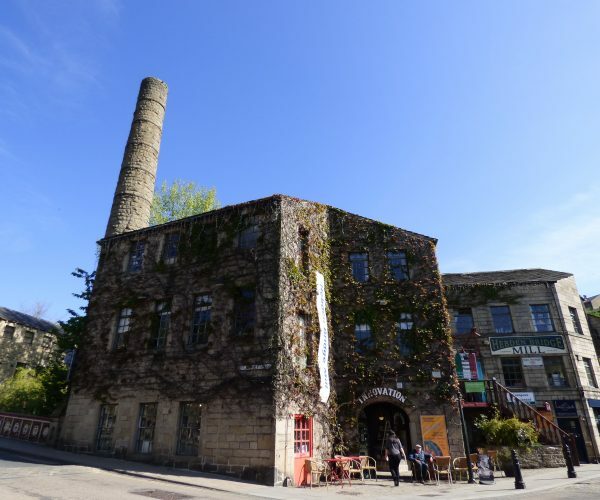 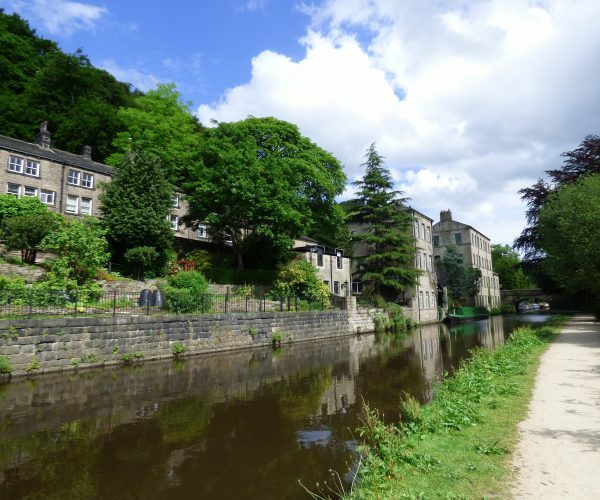 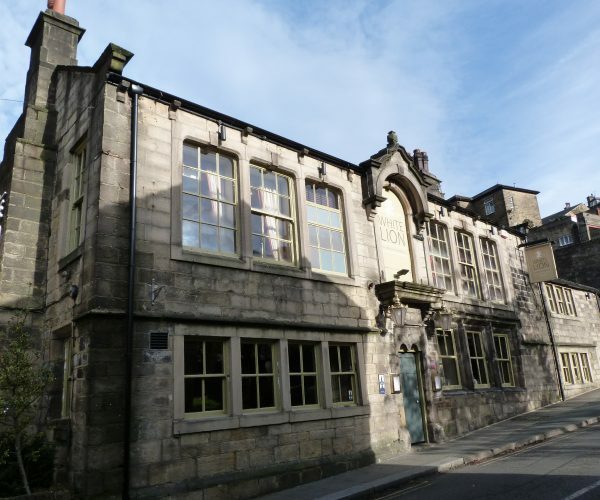 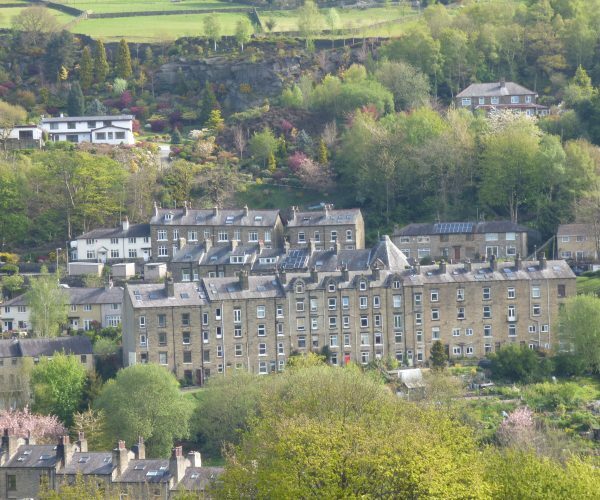 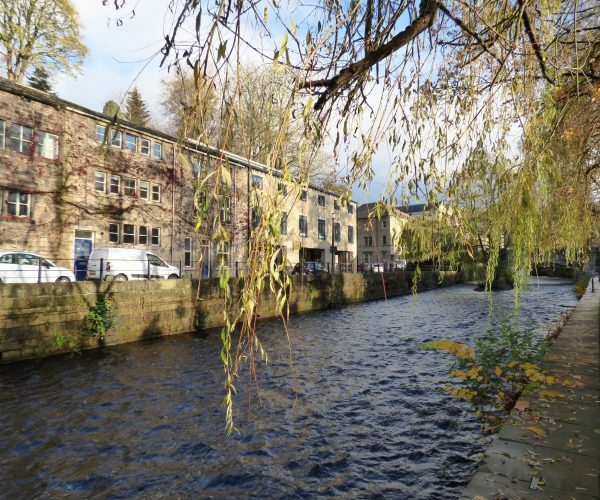 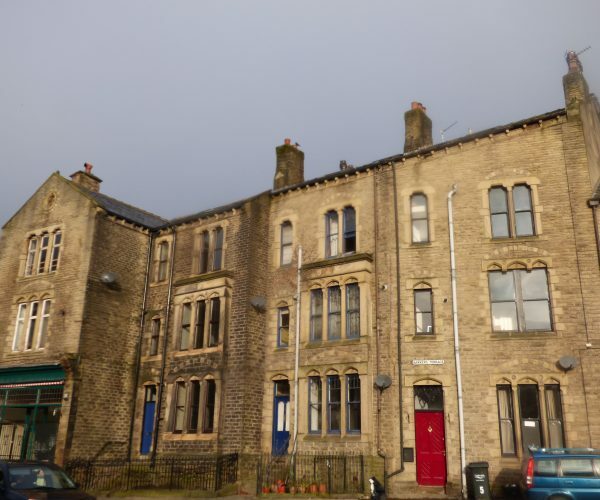 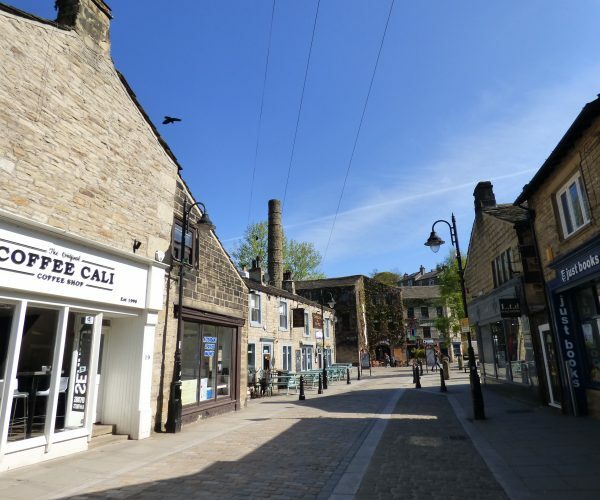 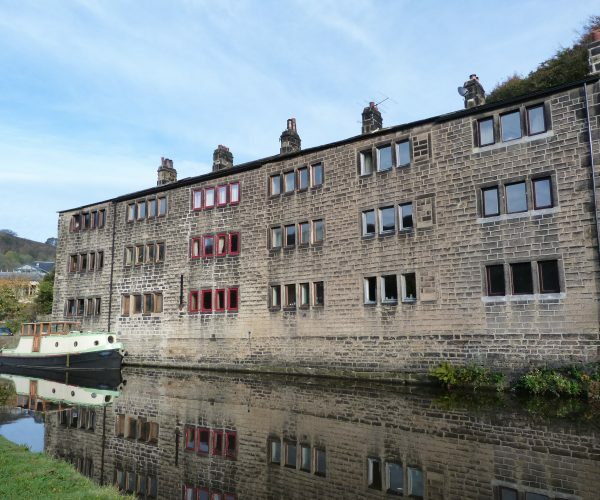 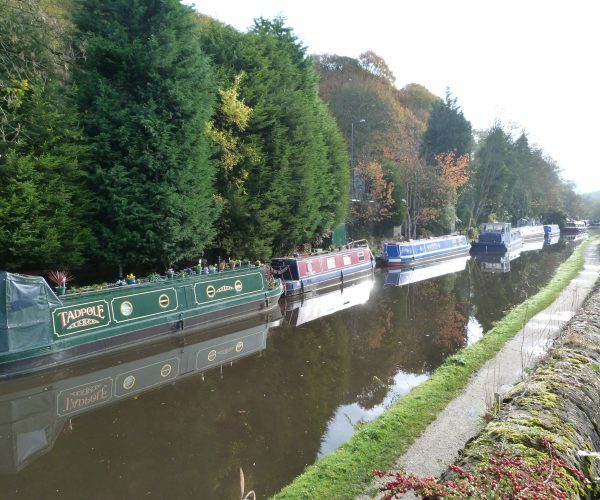 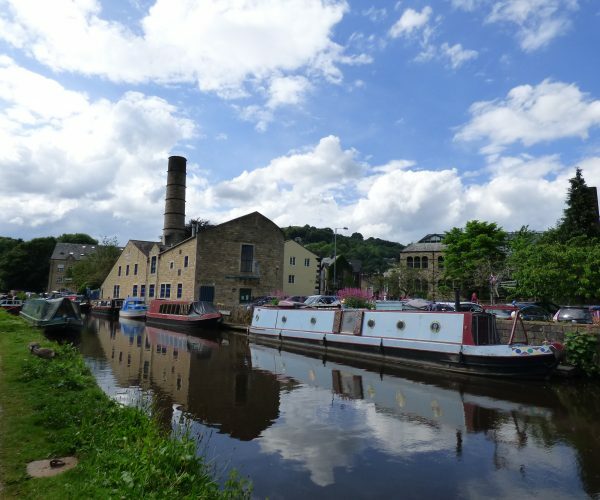 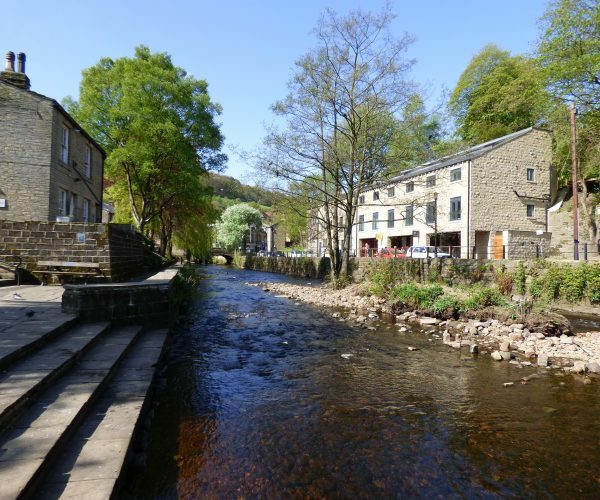 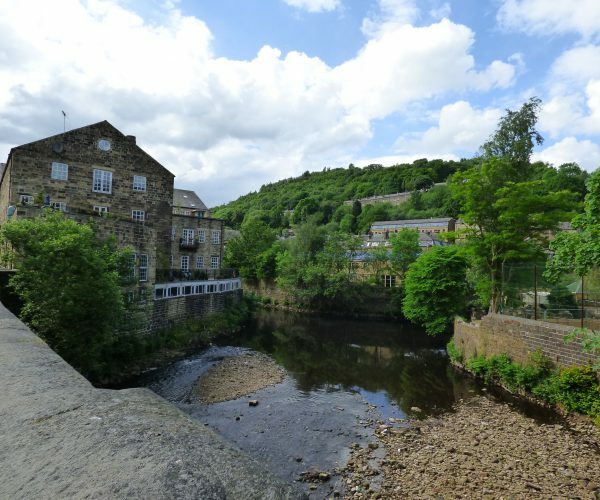 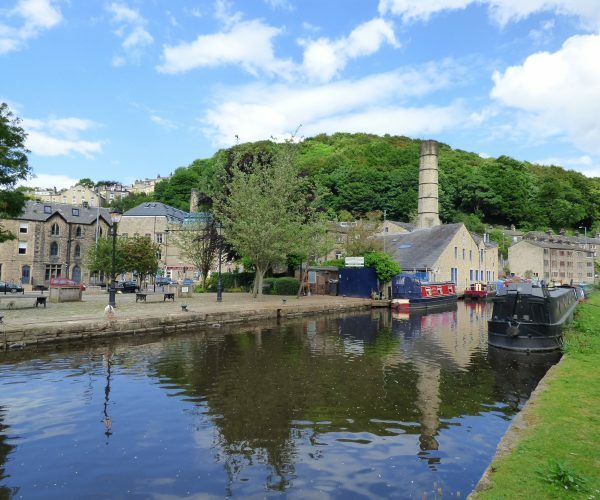 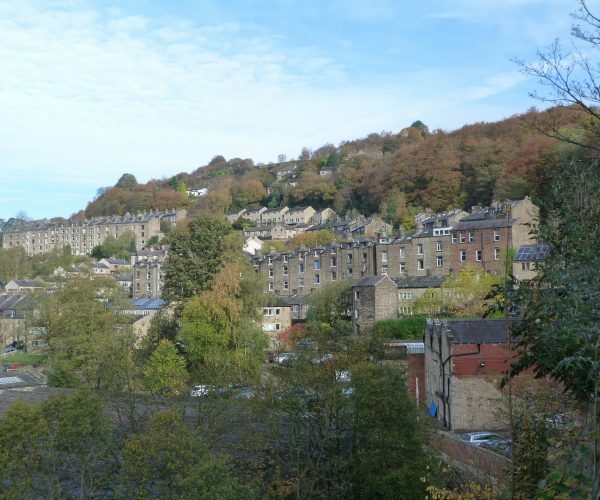 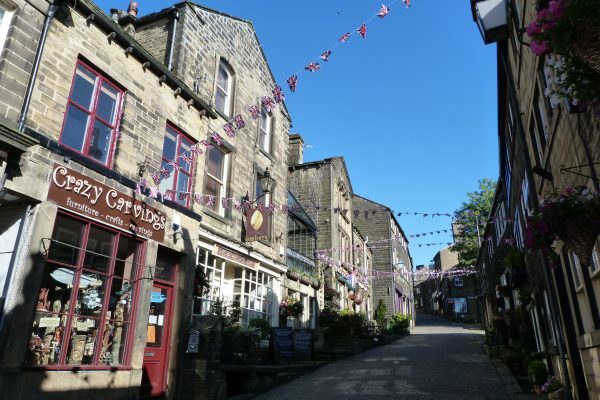 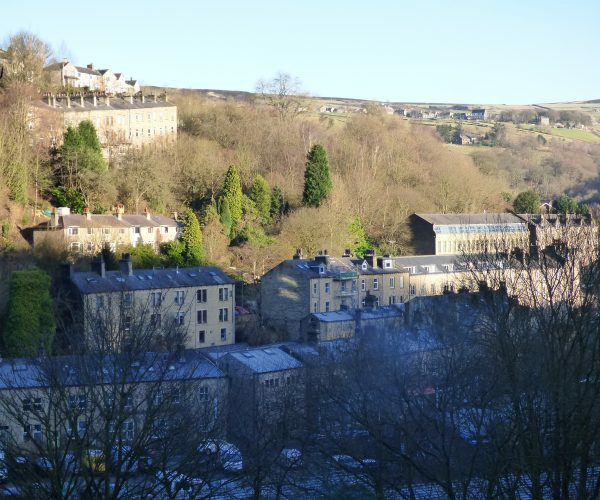 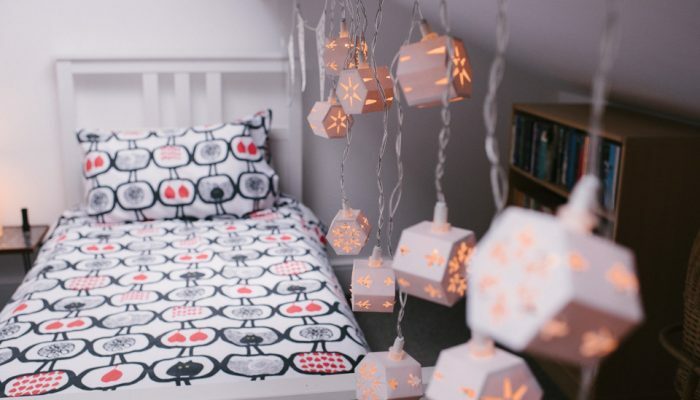 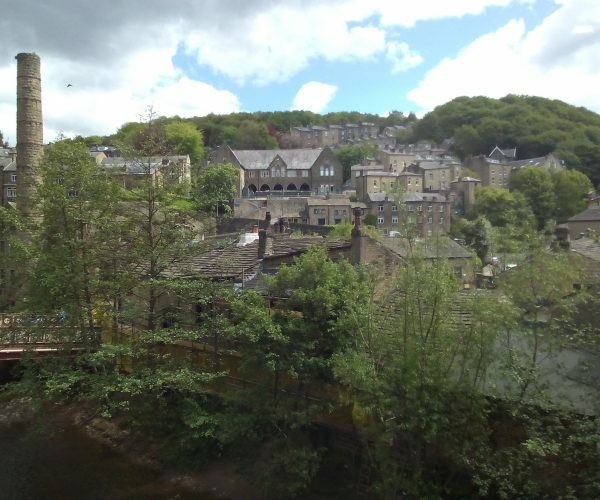 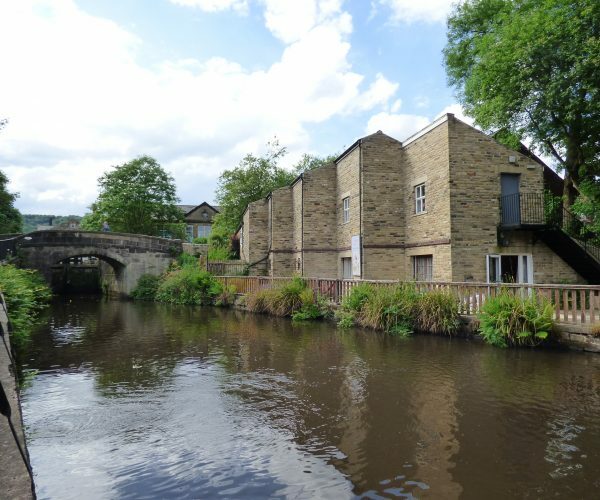 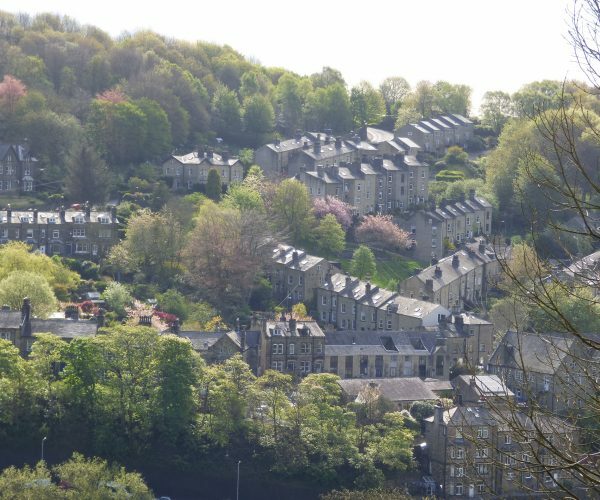 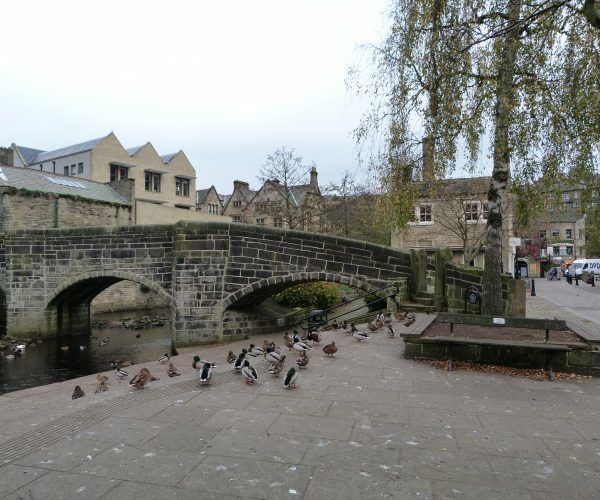 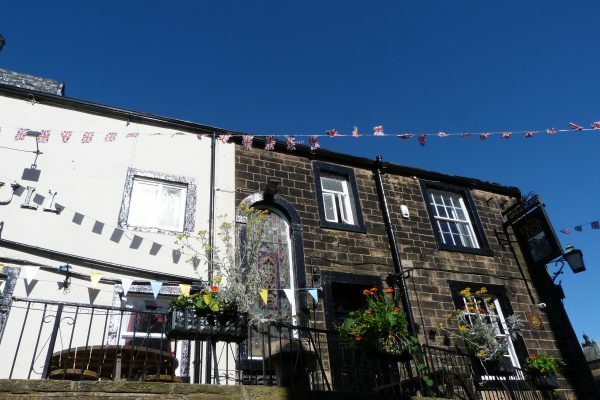 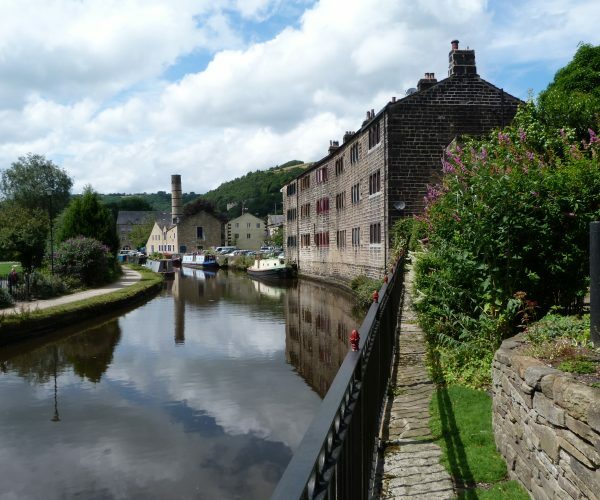 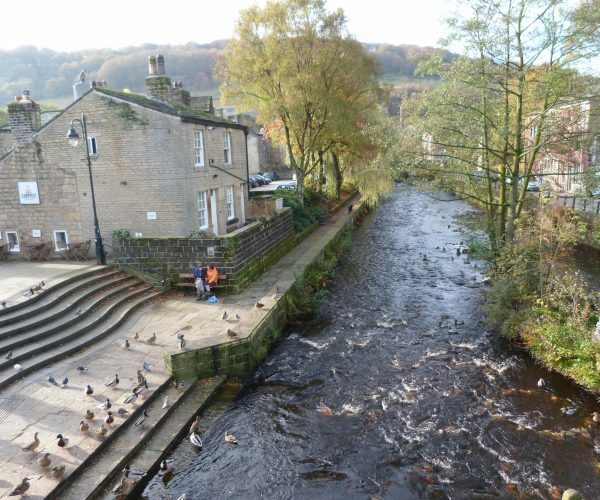 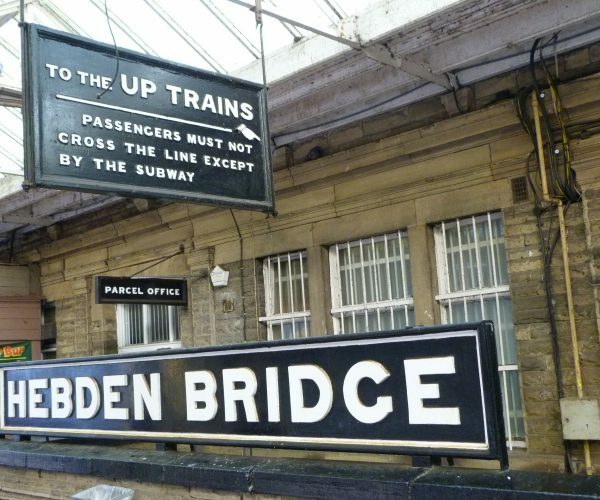 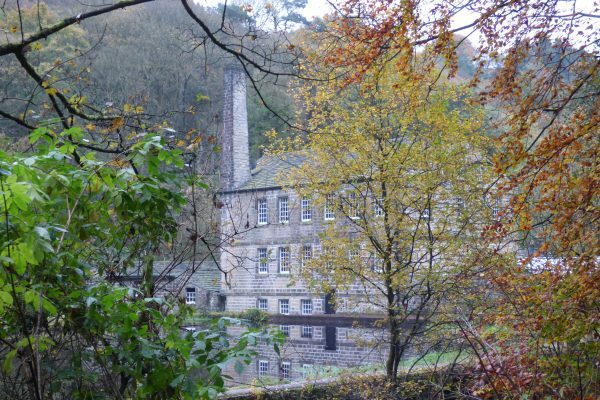 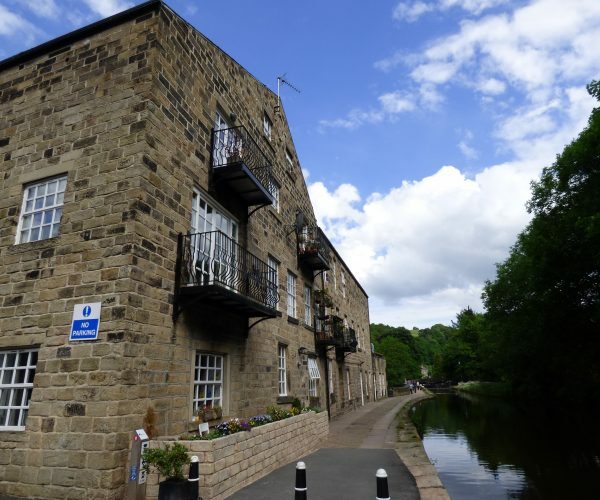 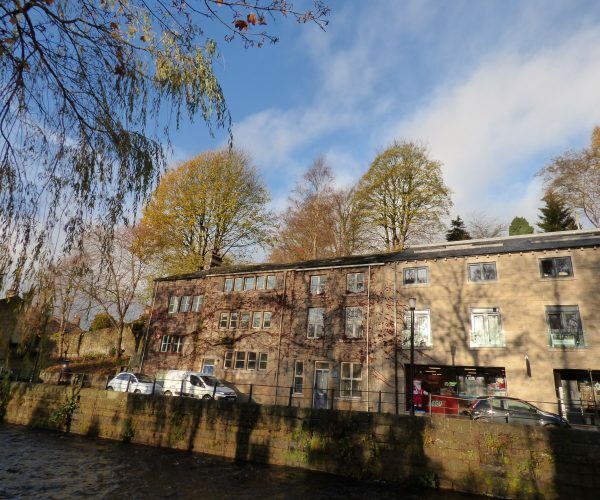 Hip and happening Hebden Bridge is a hub of creativity, full of quirky independent shops, cool bars and higgledy-piggledy double-decker terraces clinging to the hills. 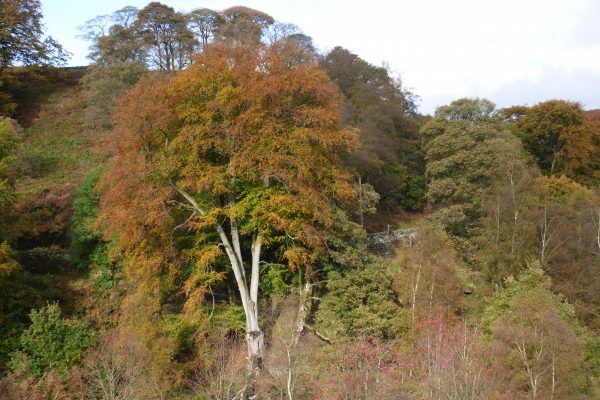 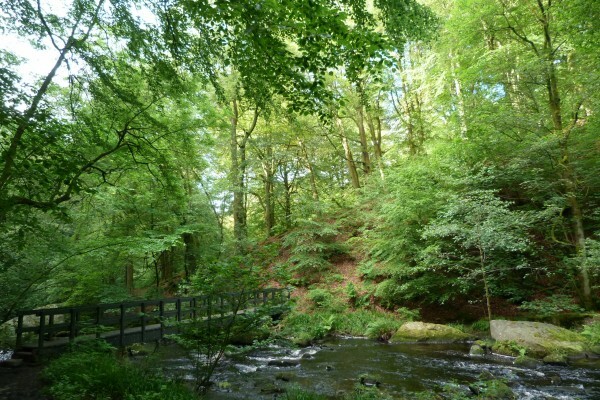 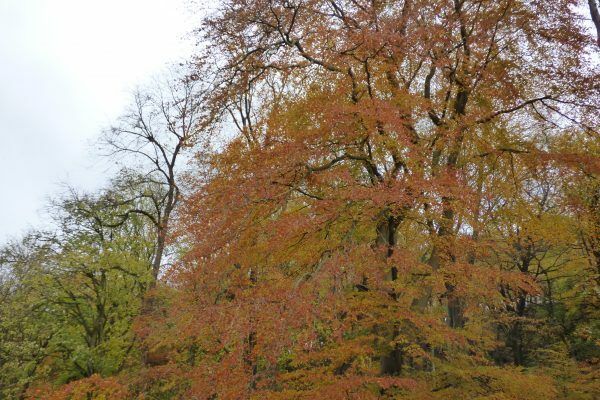 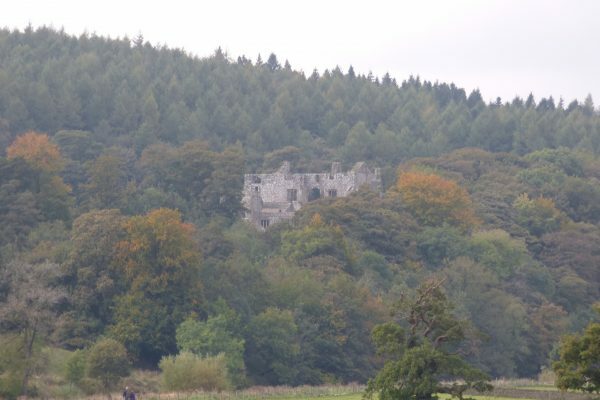 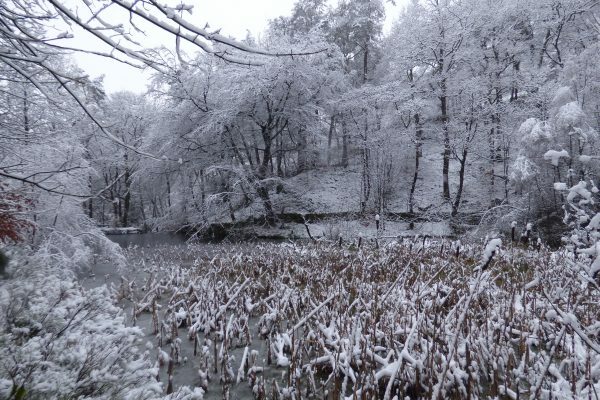 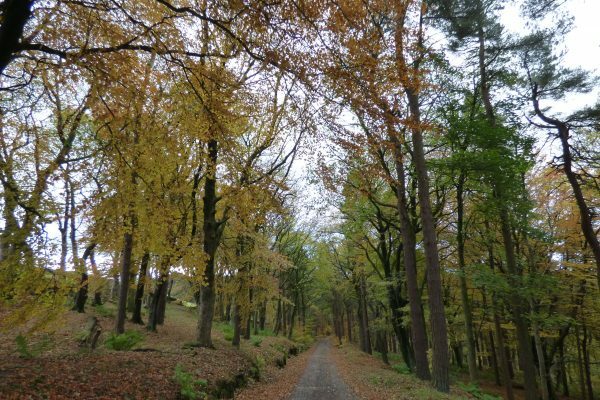 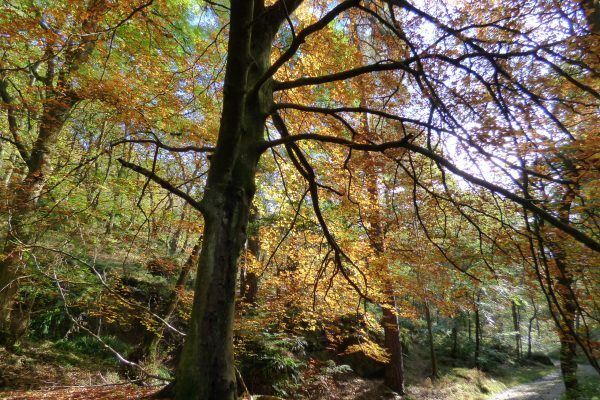 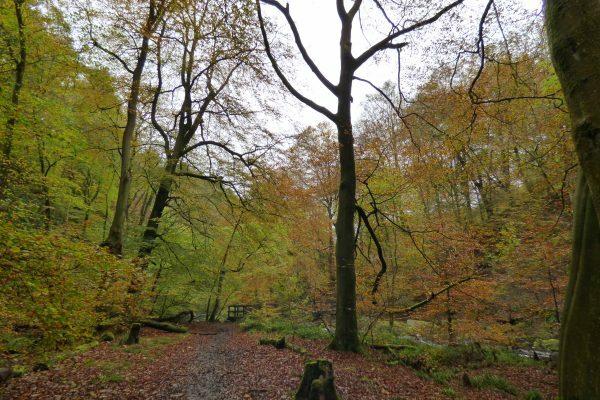 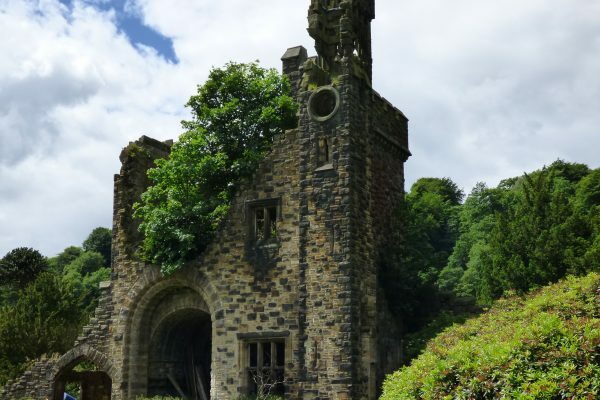 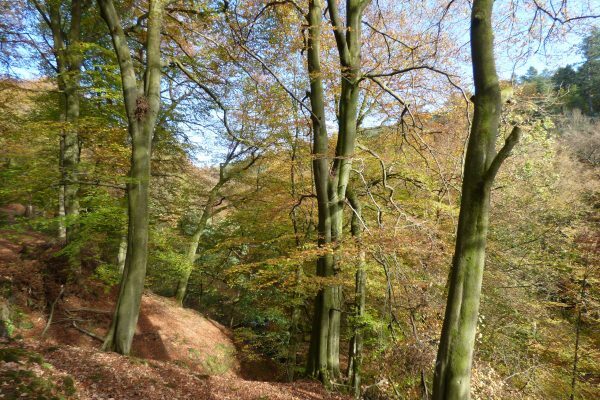 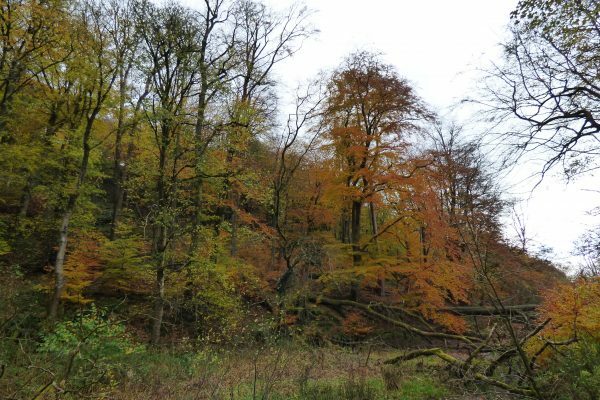 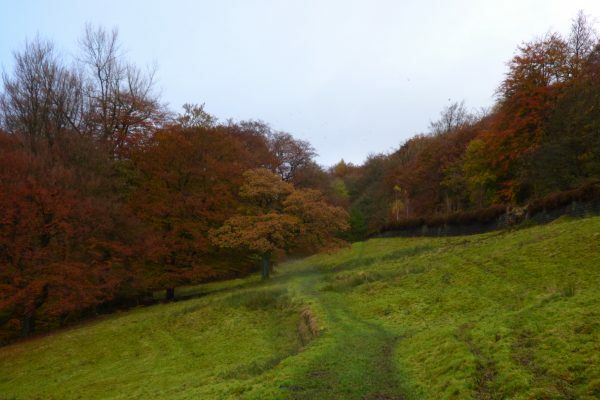 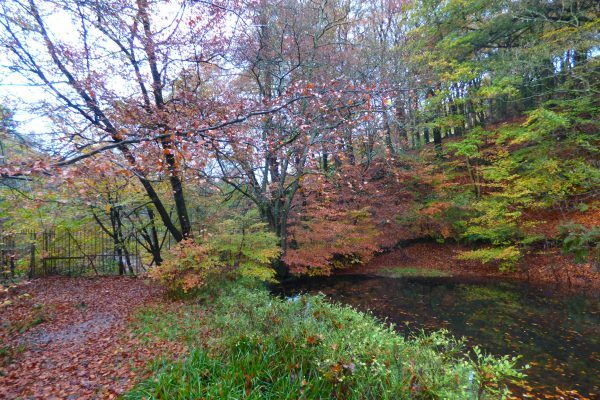 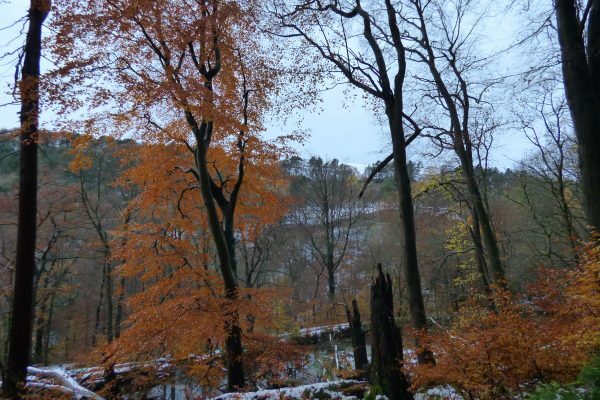 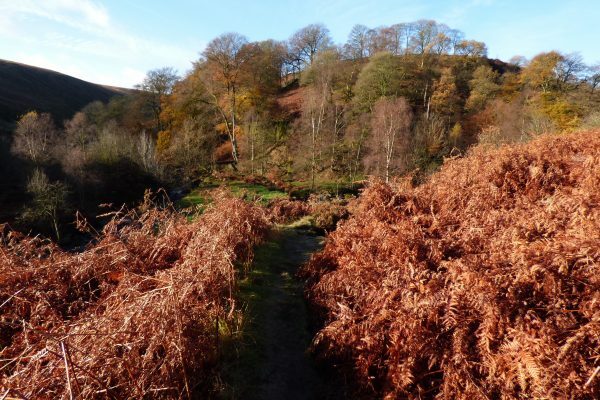 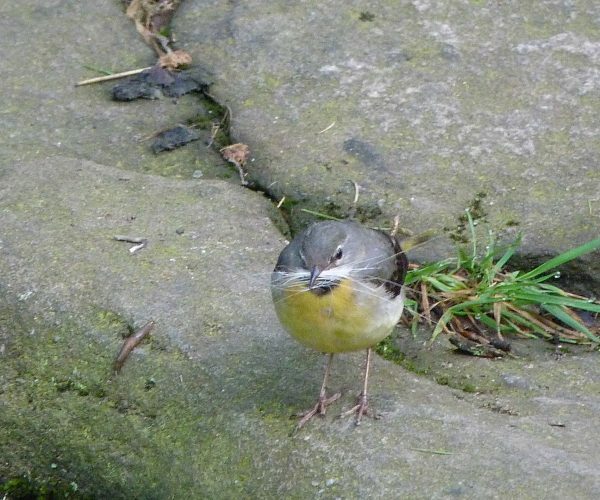 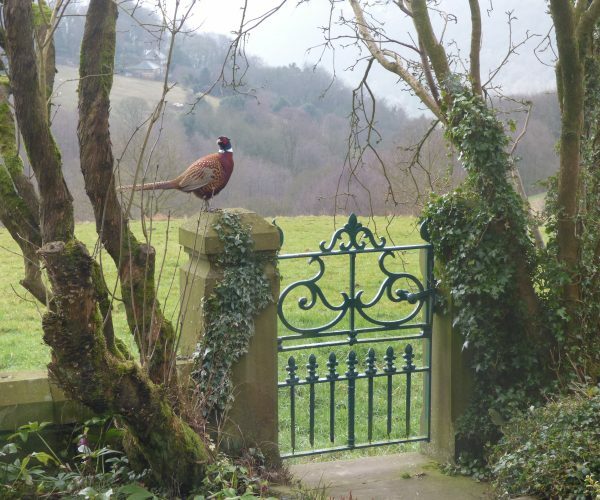 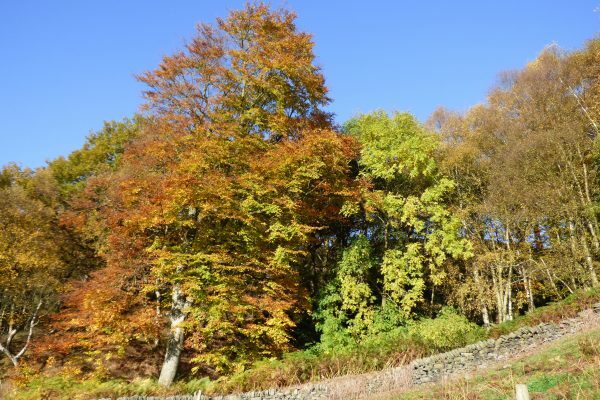 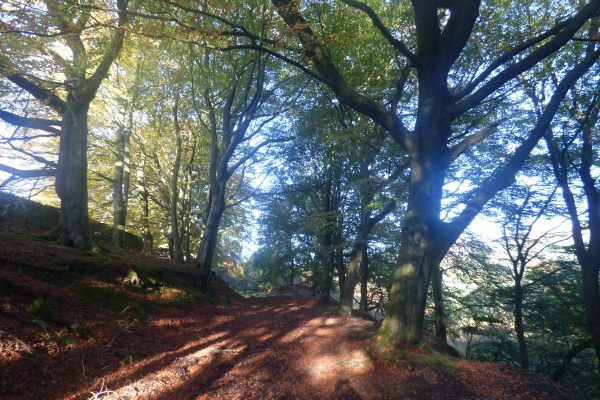 Walk from the door into the National Trust estate of Hardcastle Crags. 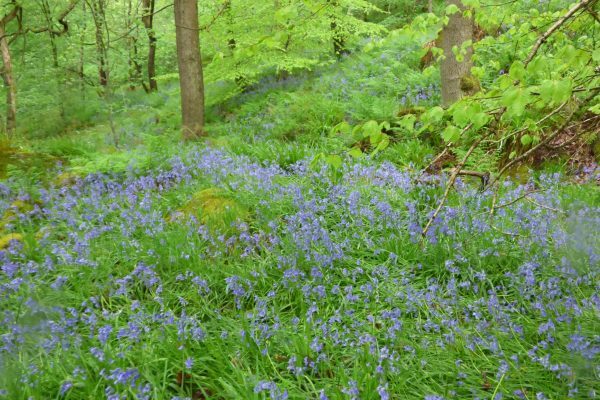 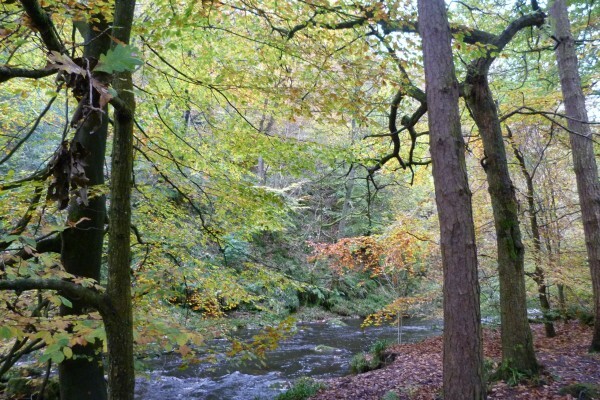 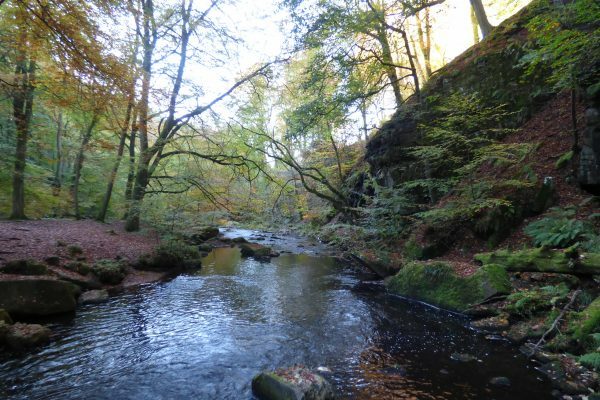 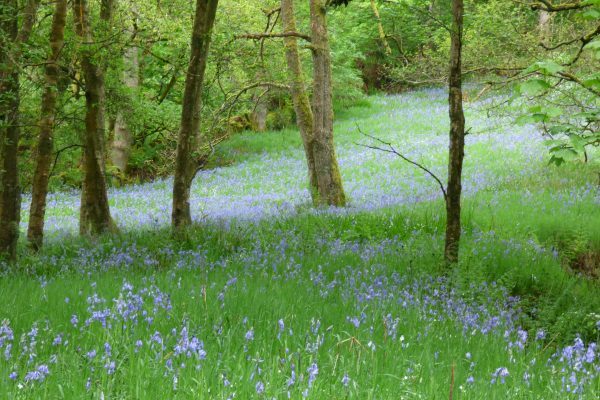 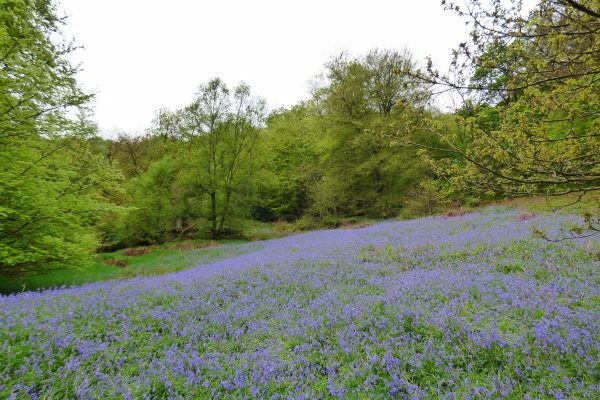 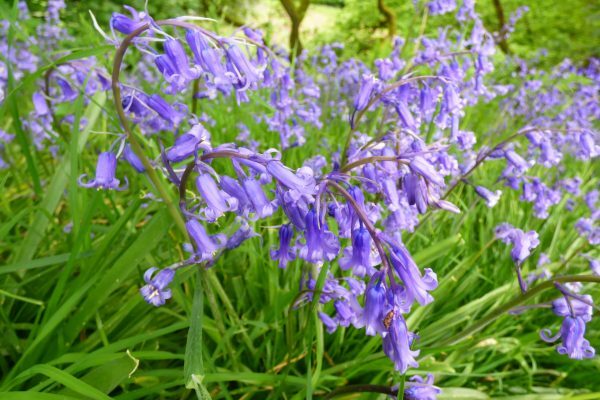 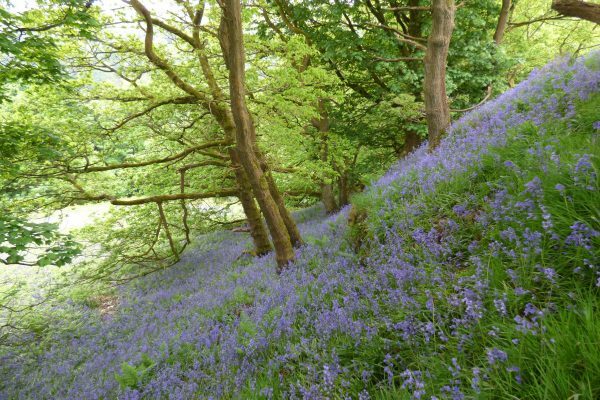 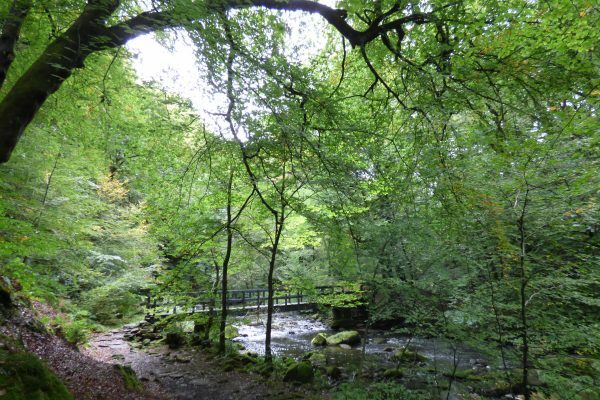 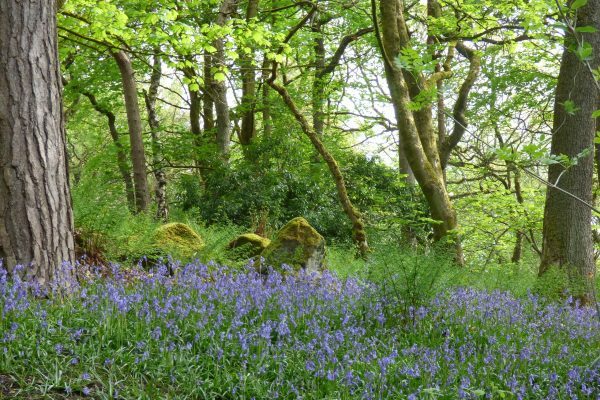 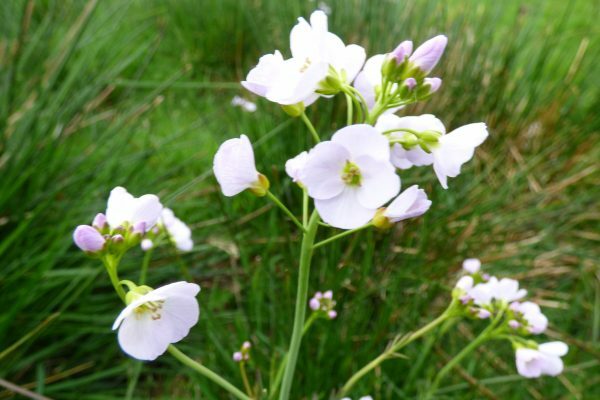 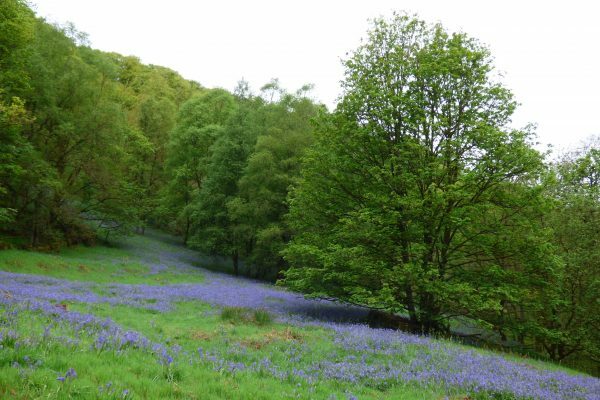 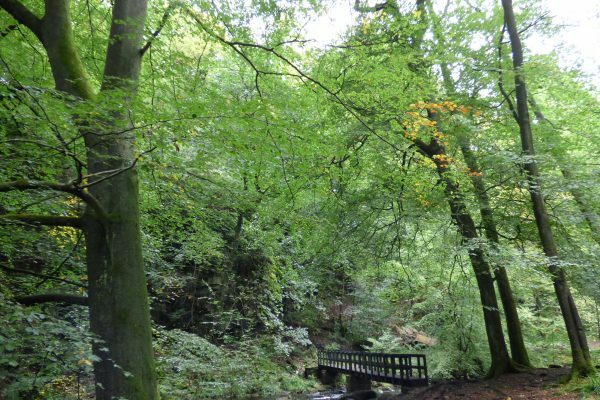 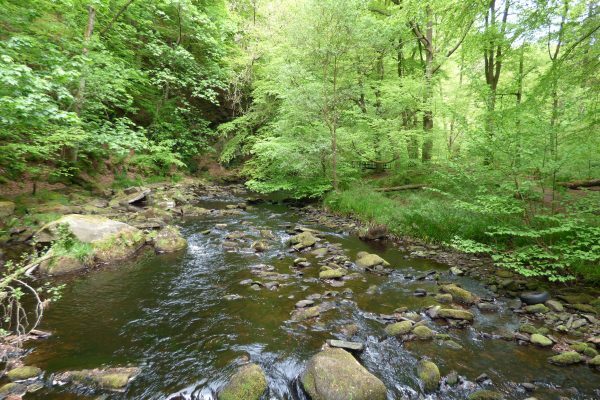 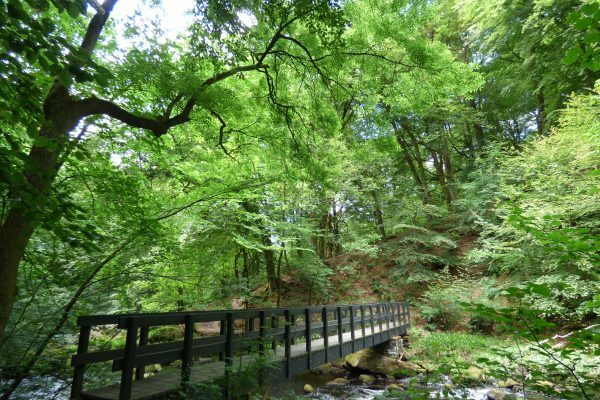 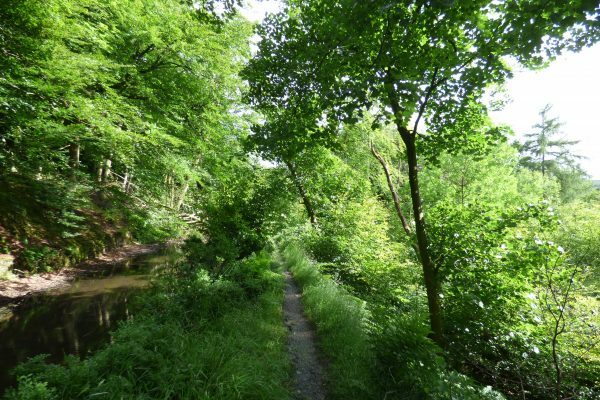 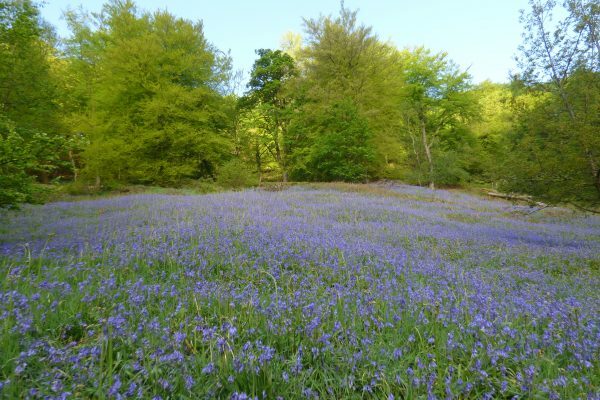 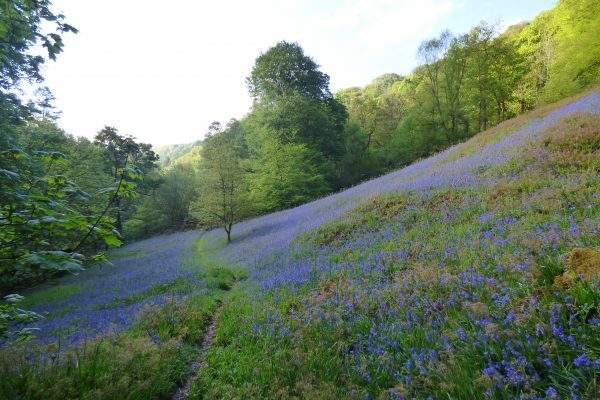 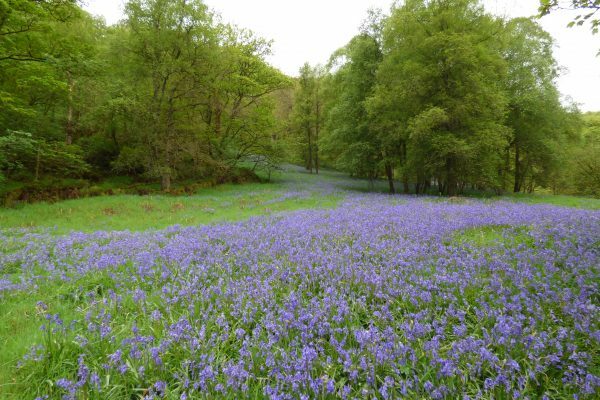 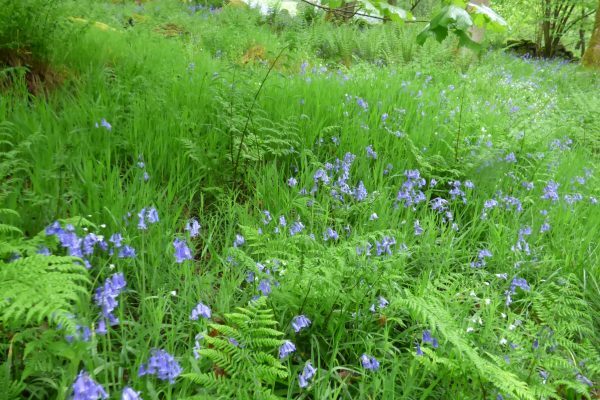 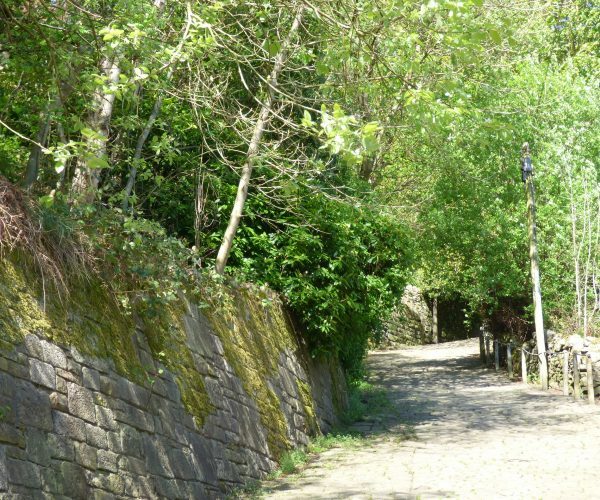 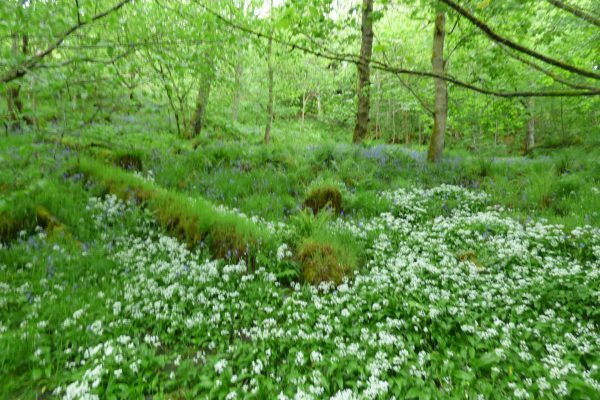 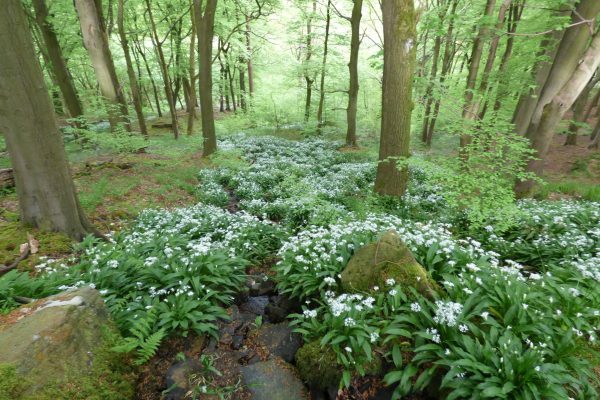 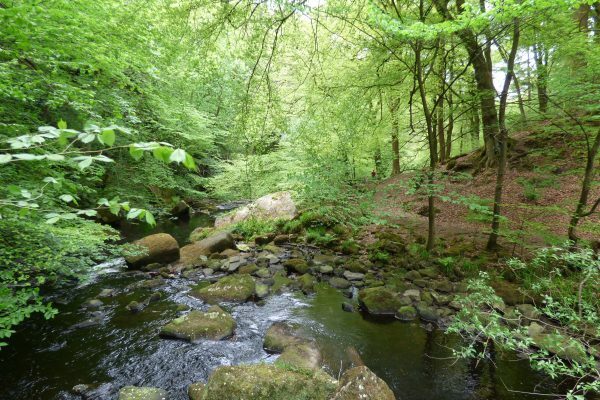 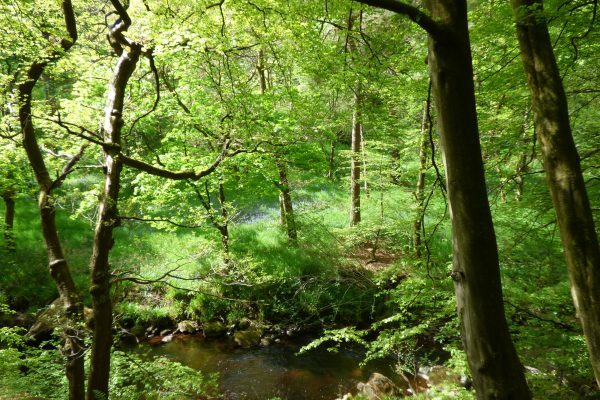 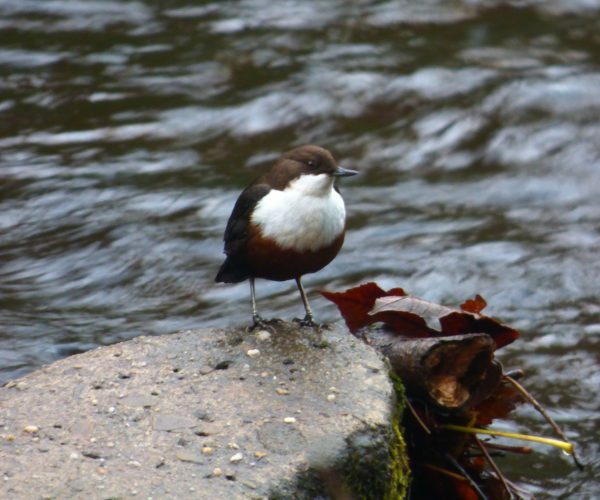 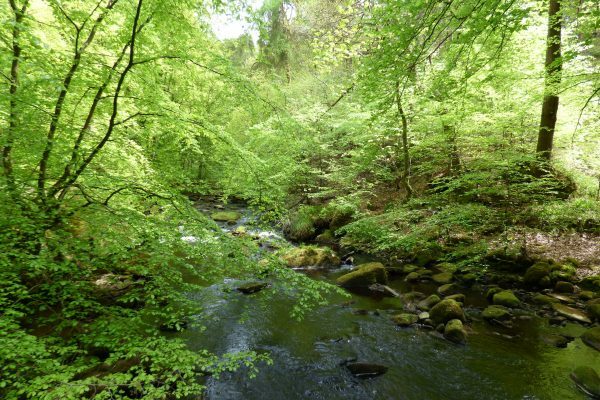 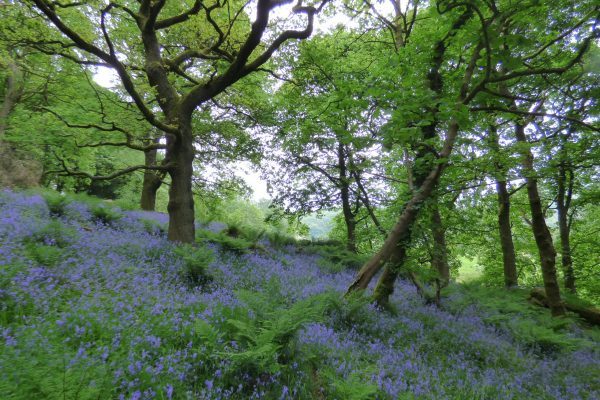 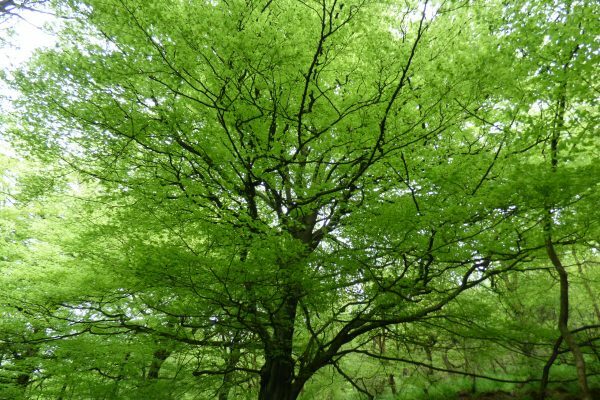 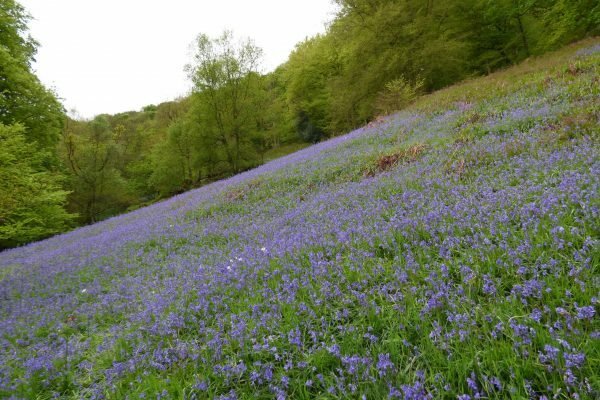 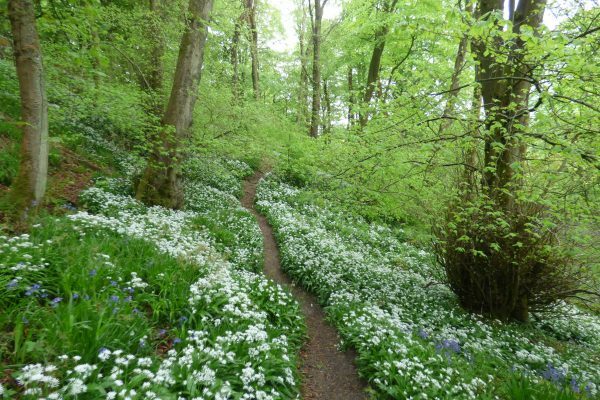 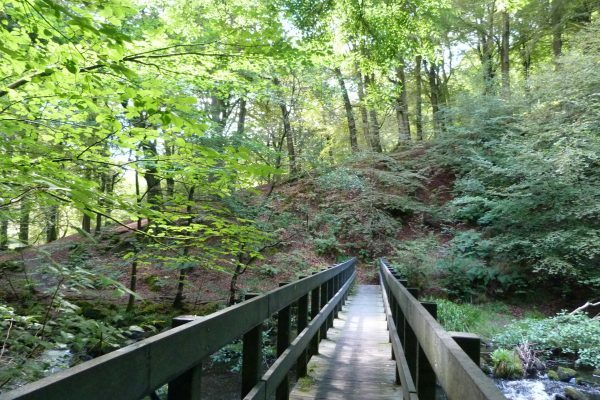 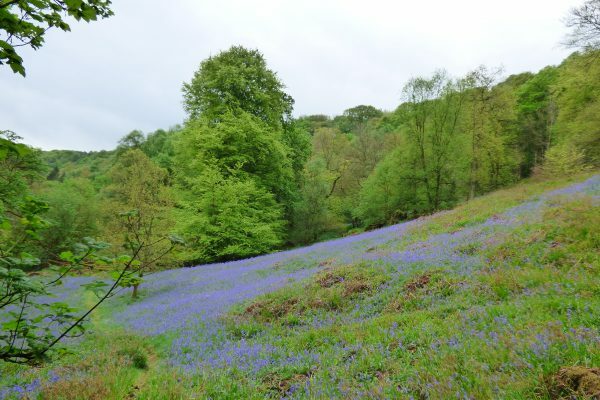 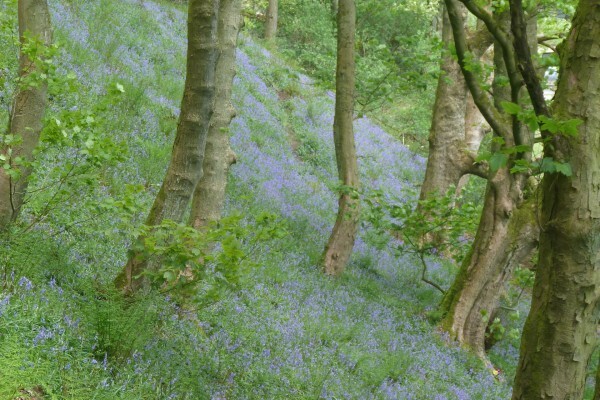 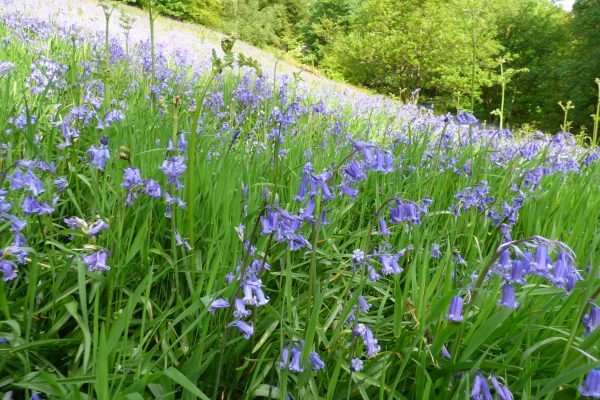 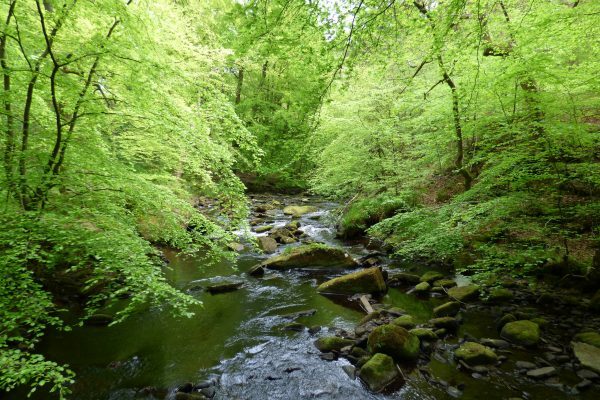 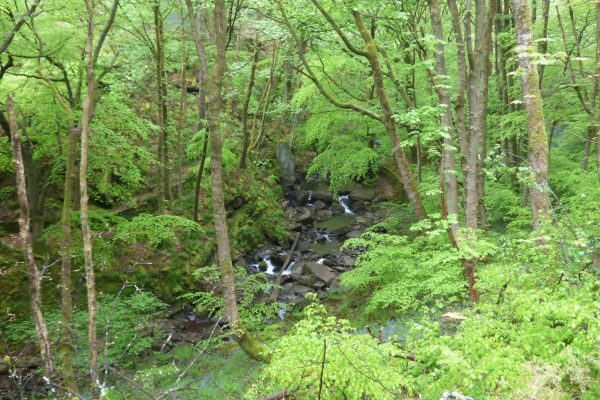 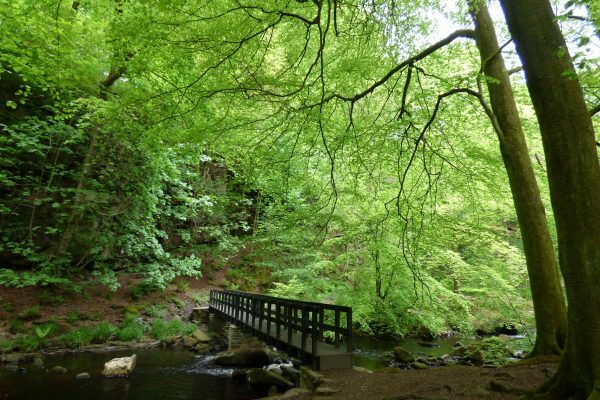 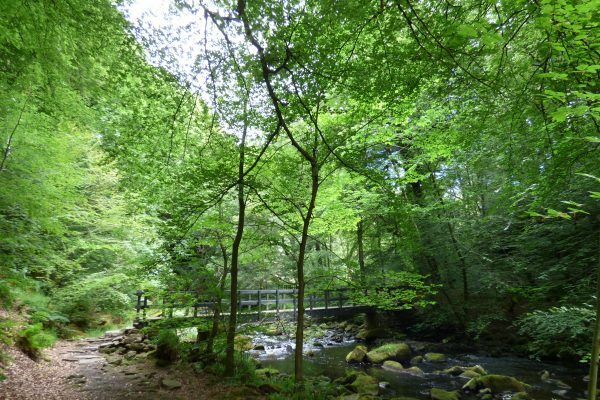 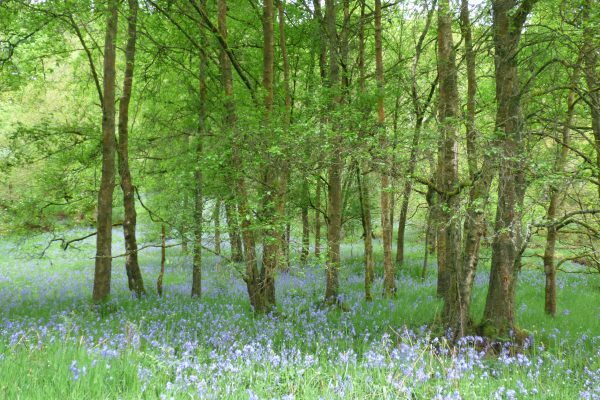 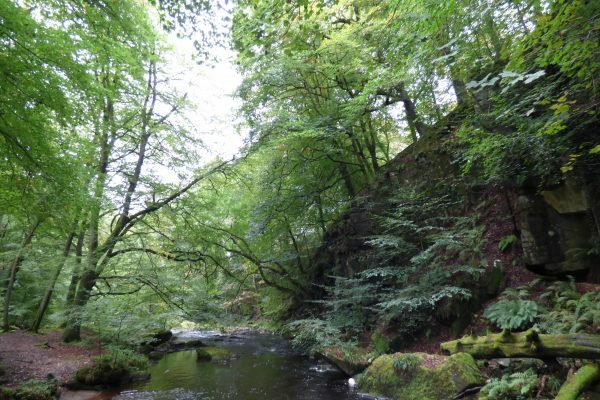 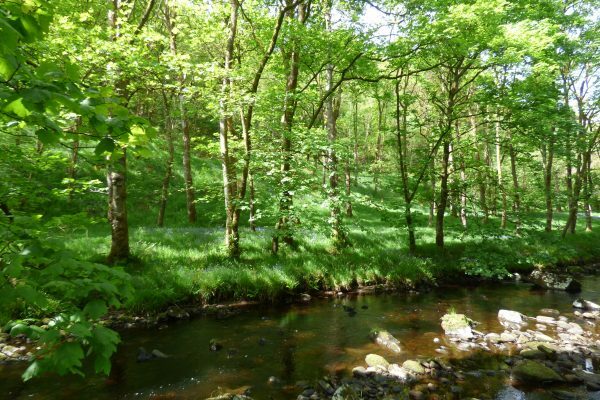 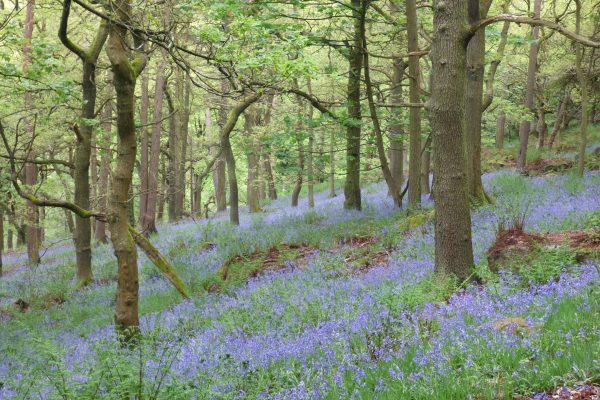 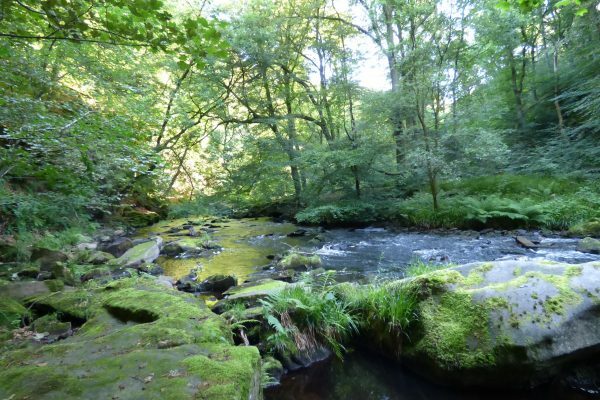 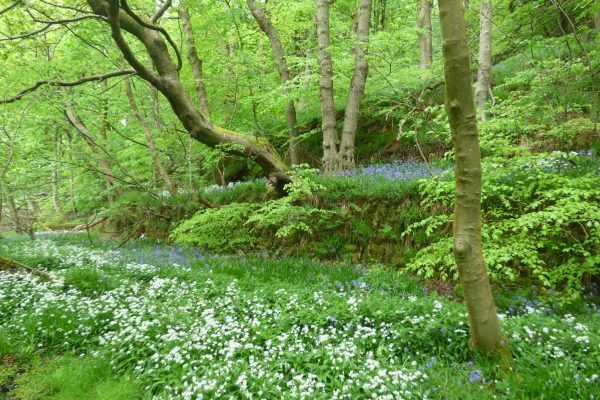 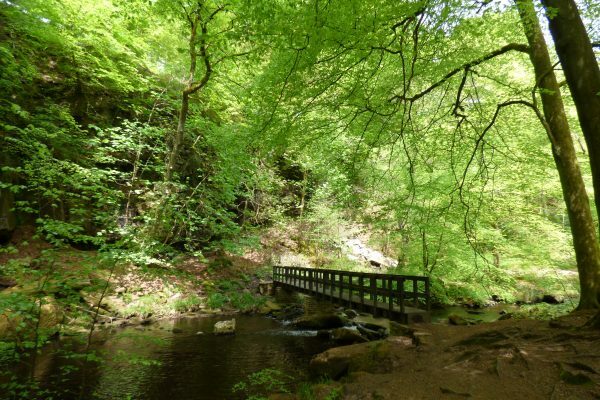 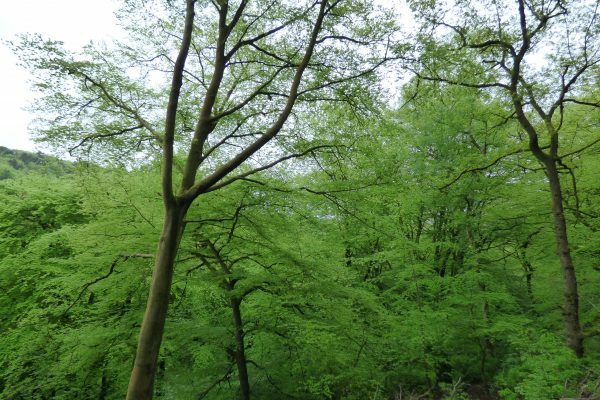 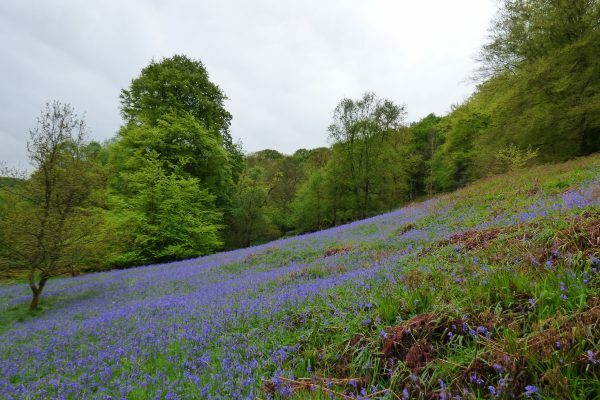 Stroll along riverside paths through narrow wooded gorges brimming with bluebells in spring. 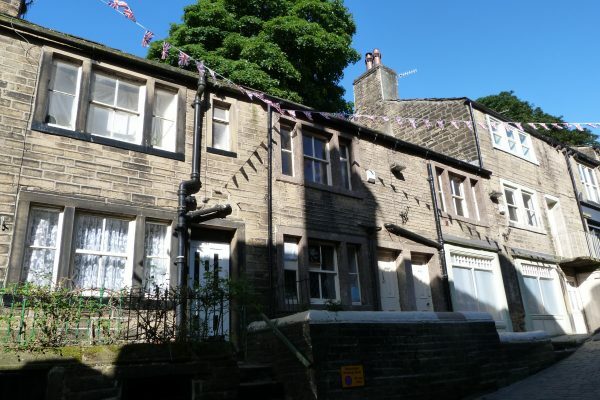 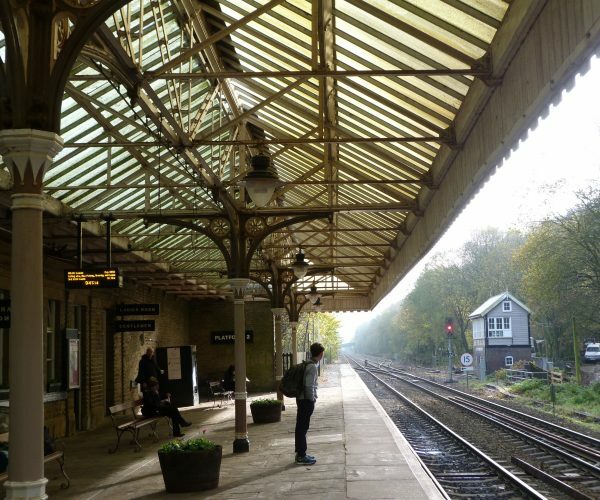 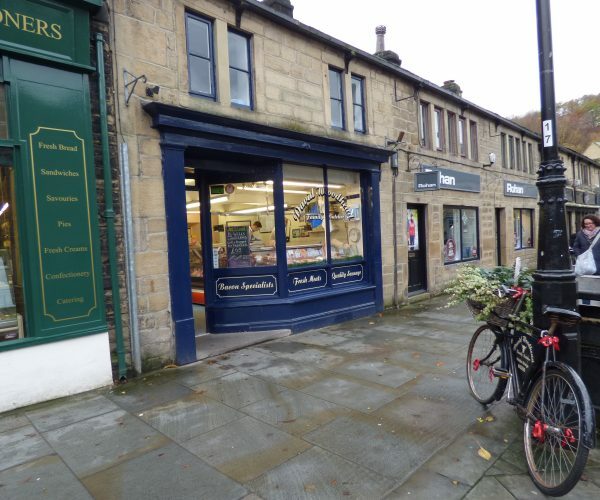 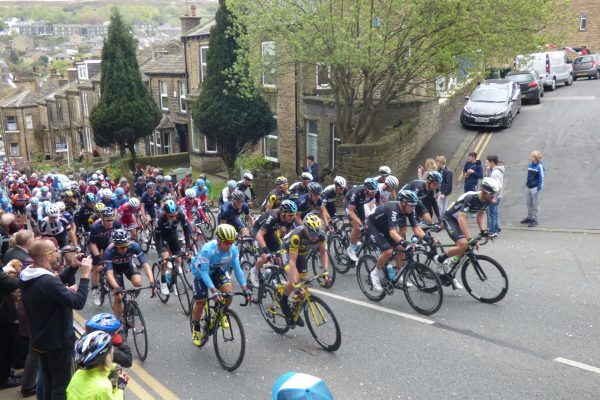 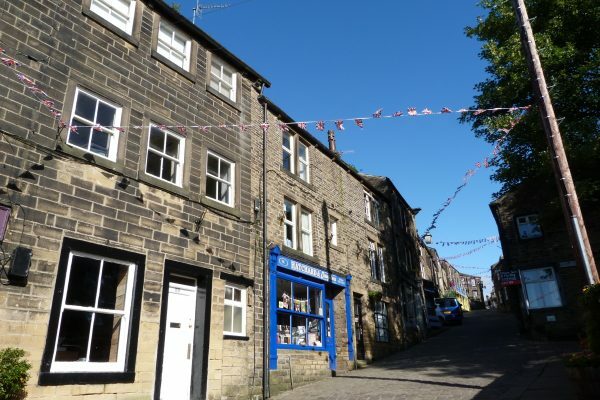 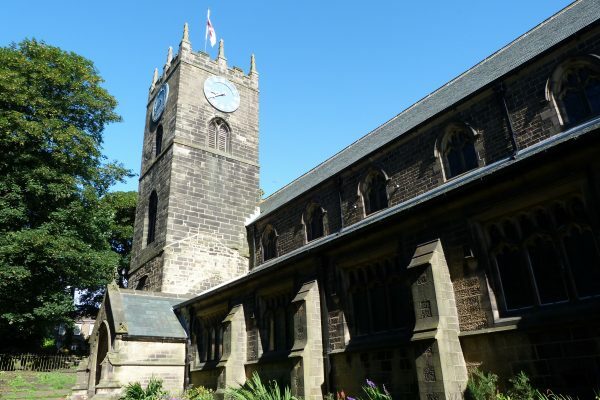 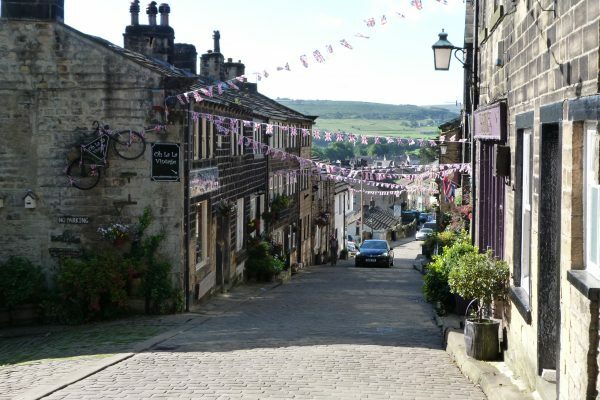 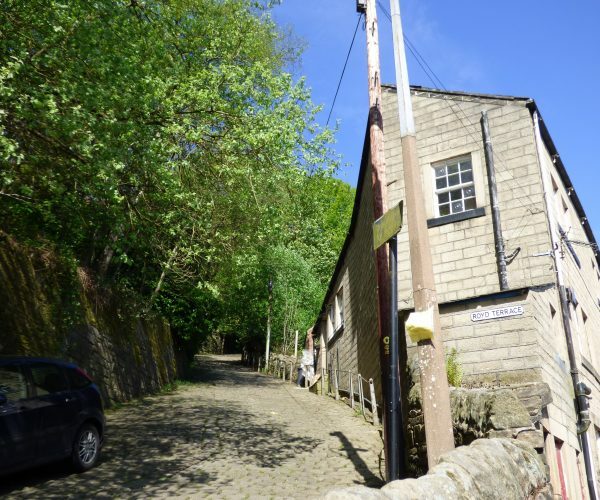 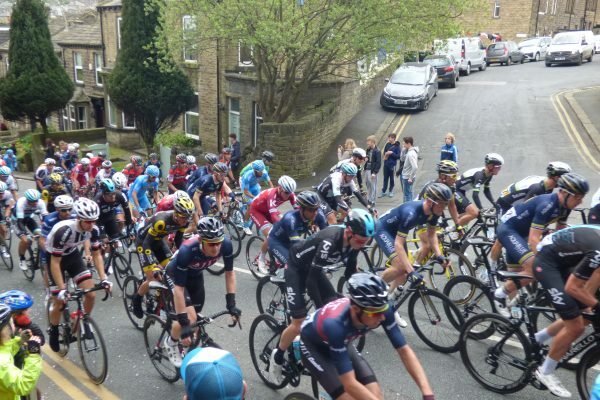 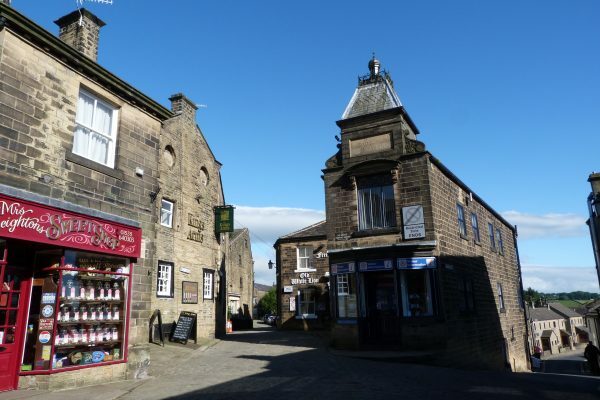 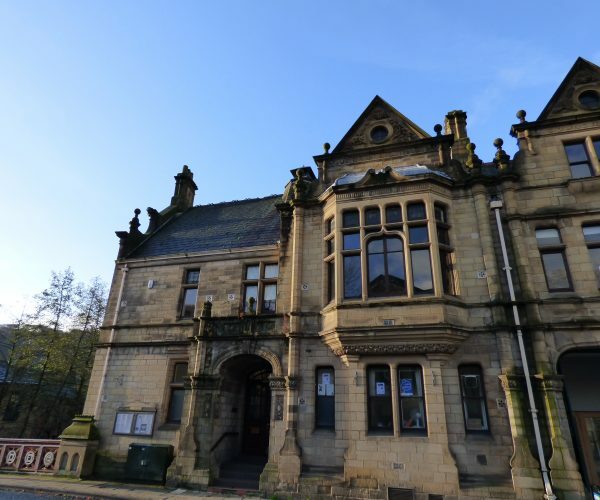 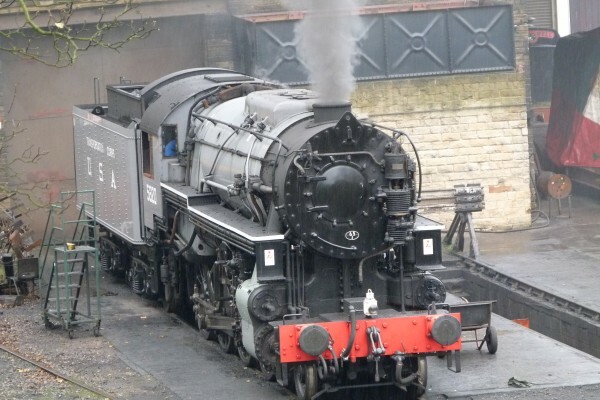 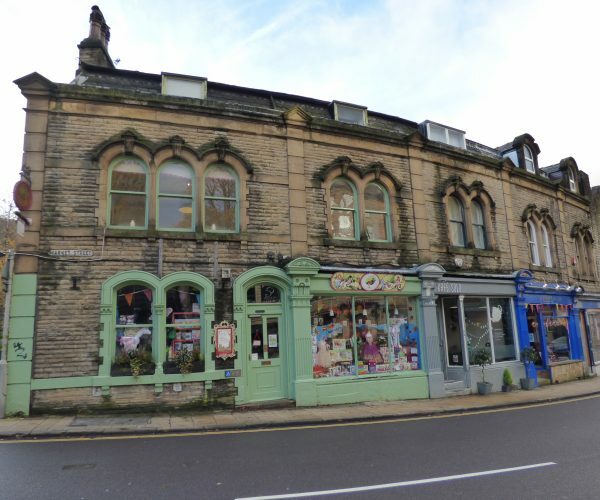 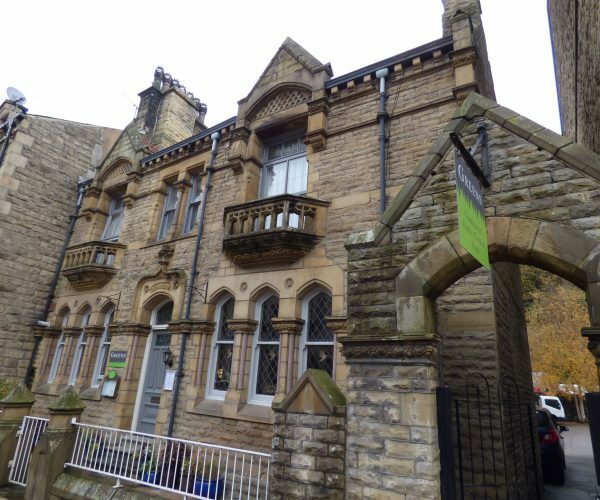 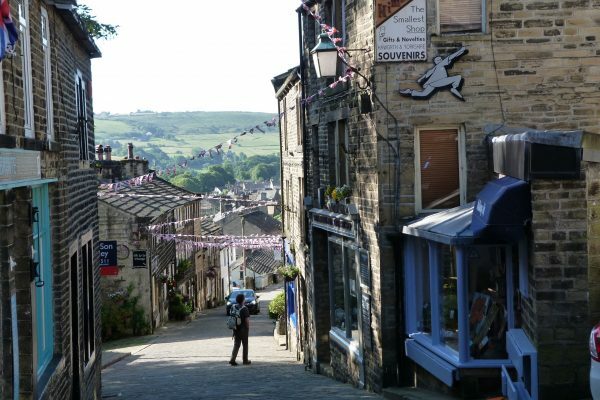 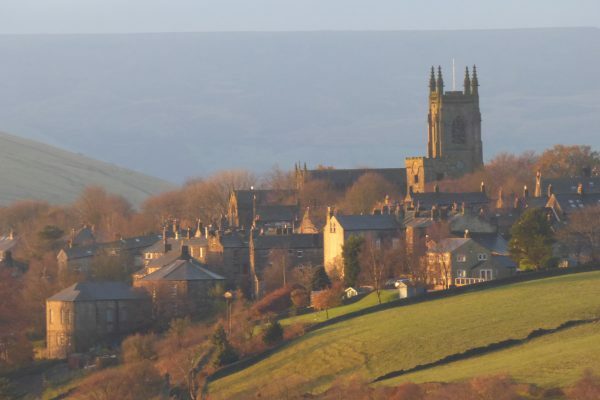 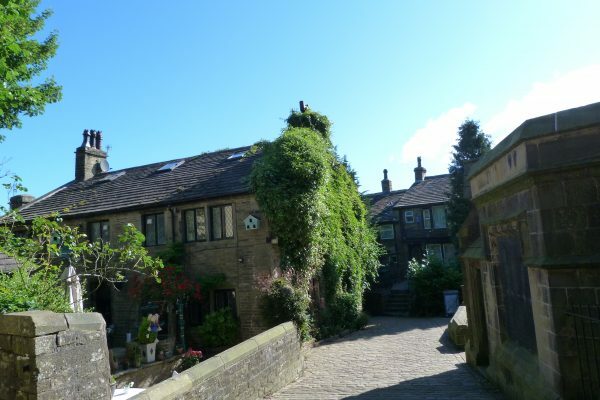 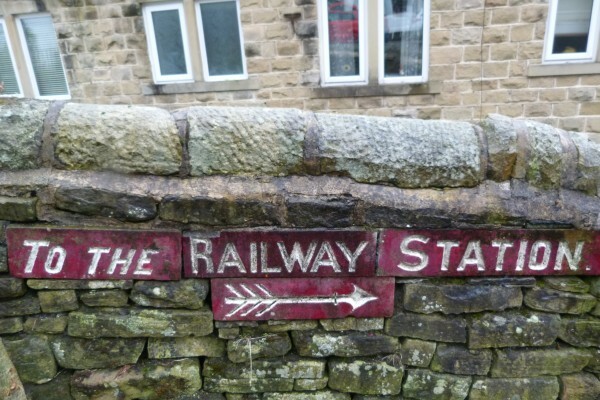 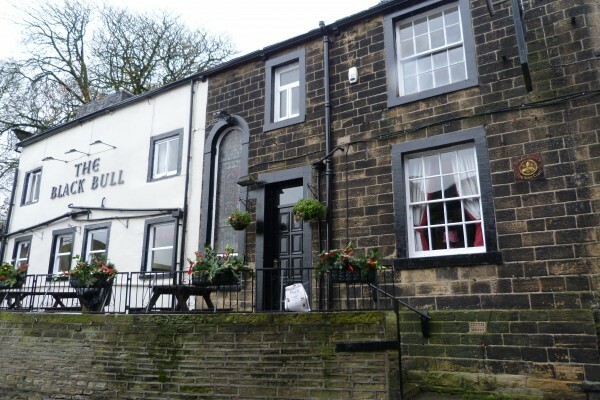 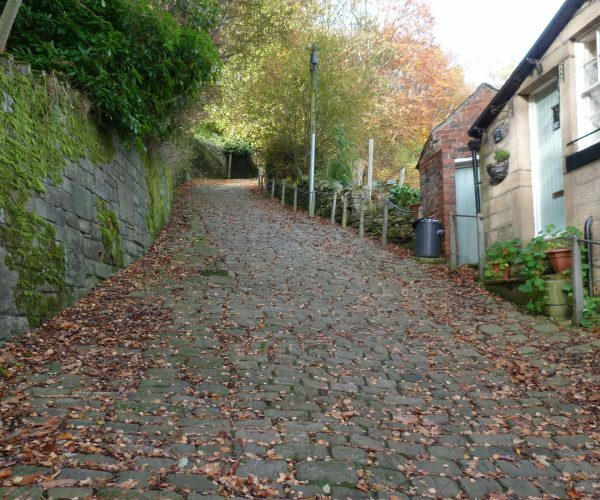 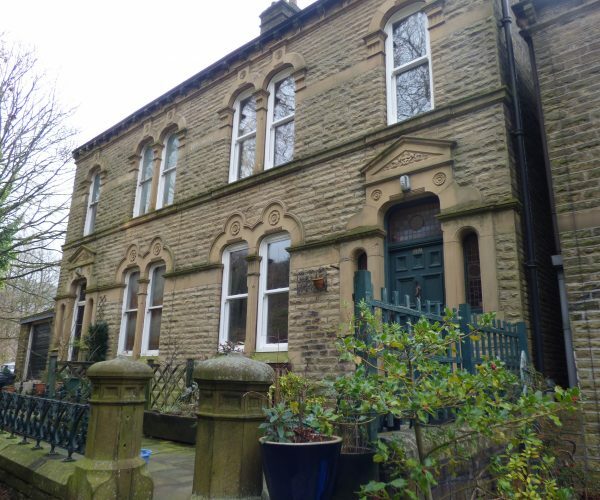 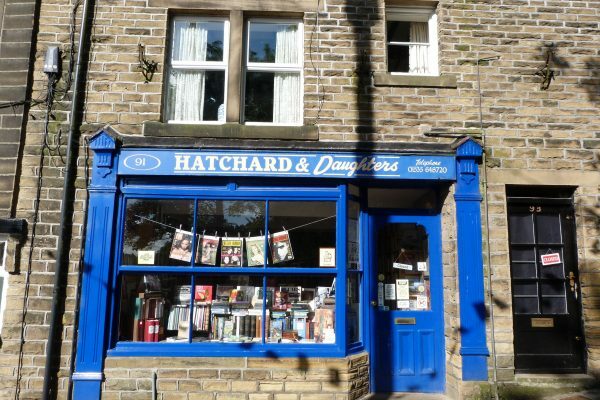 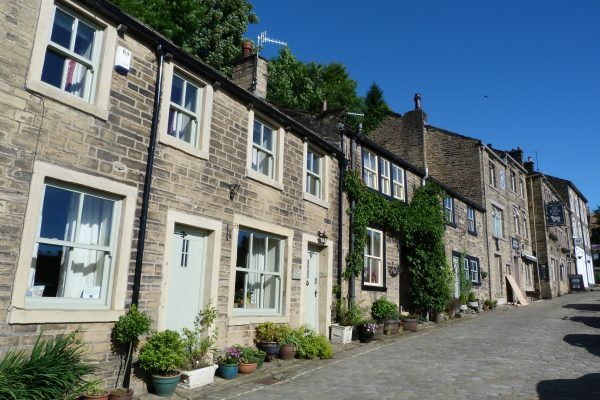 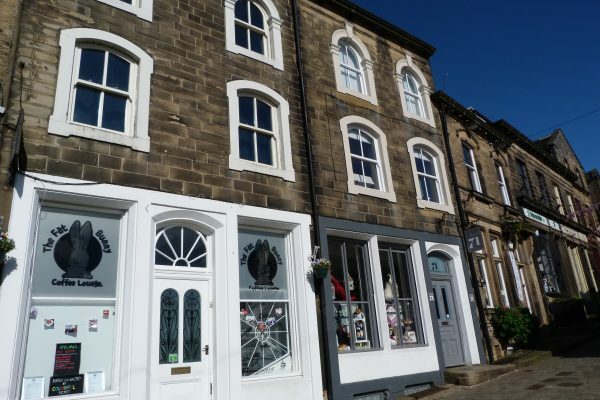 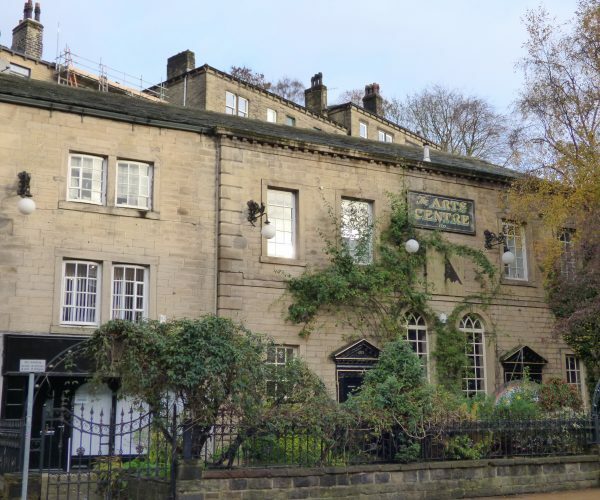 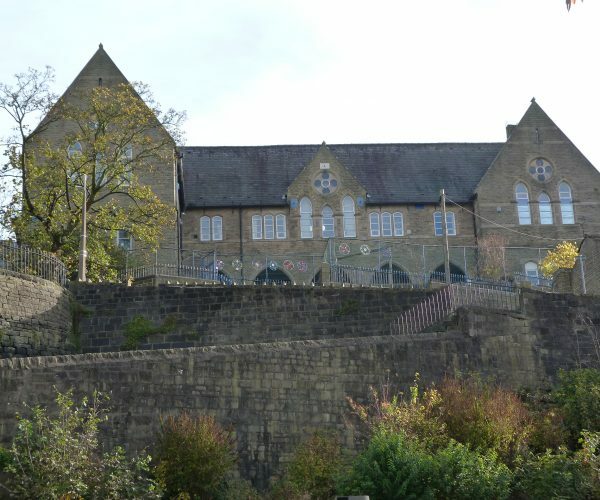 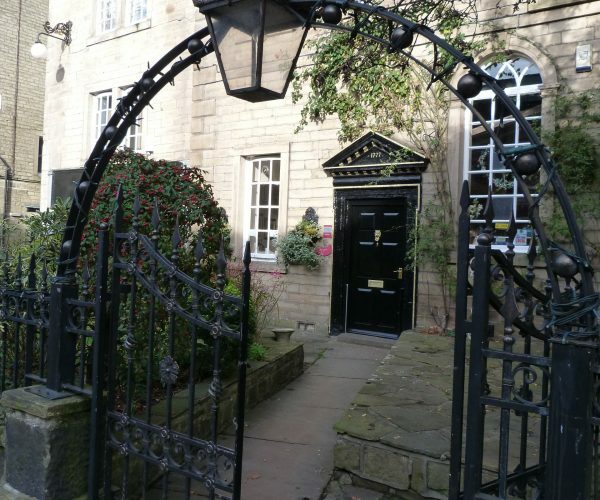 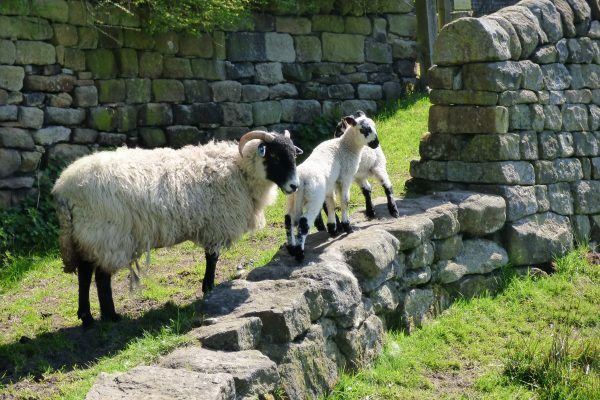 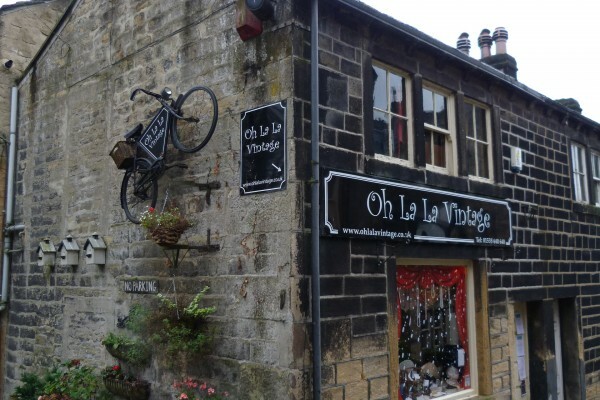 Hop over the hill to historic Haworth village. 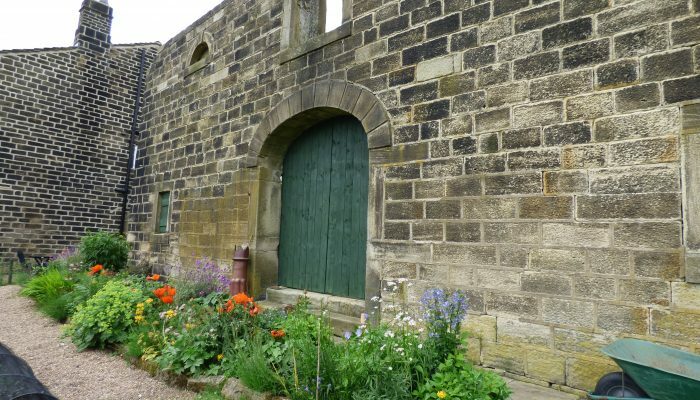 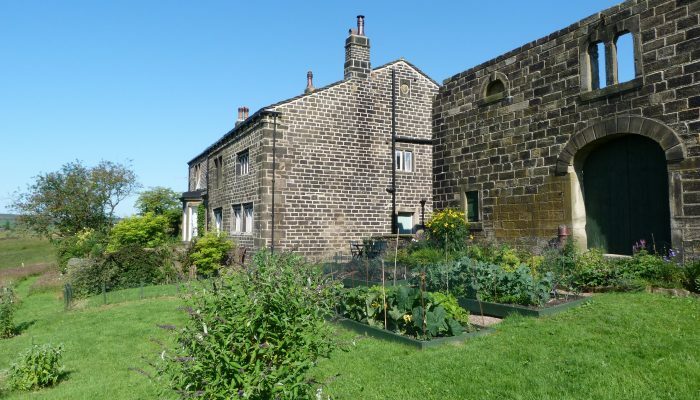 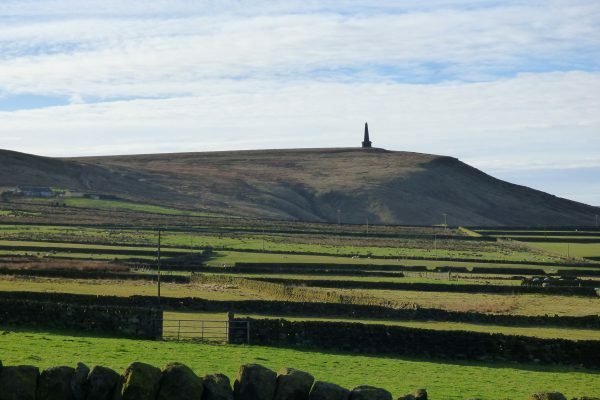 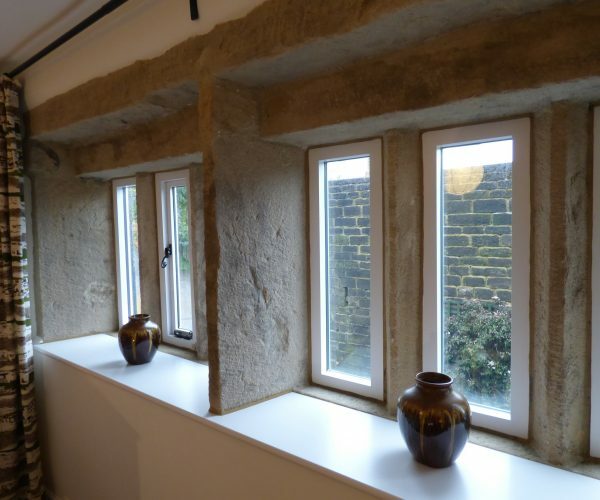 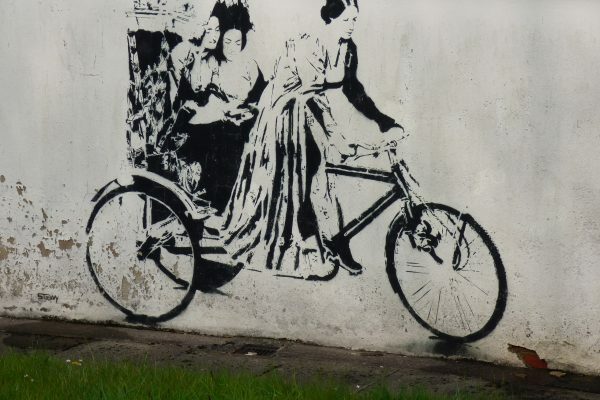 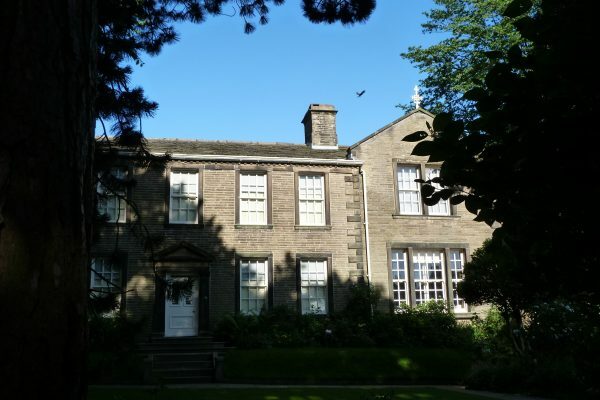 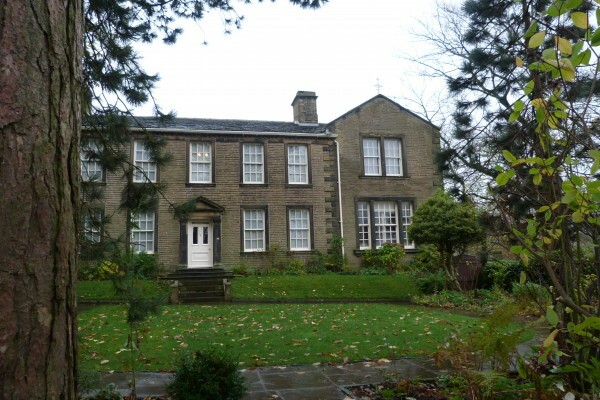 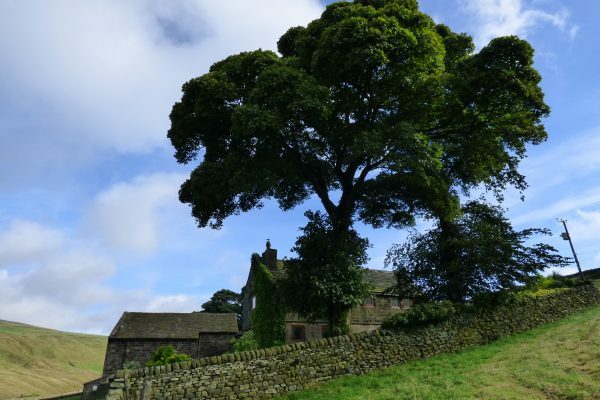 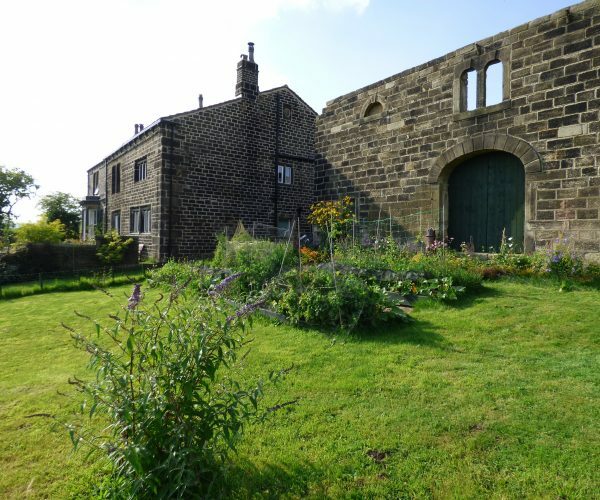 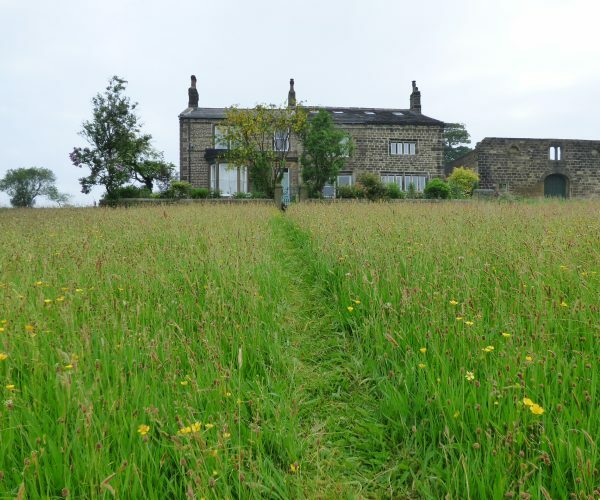 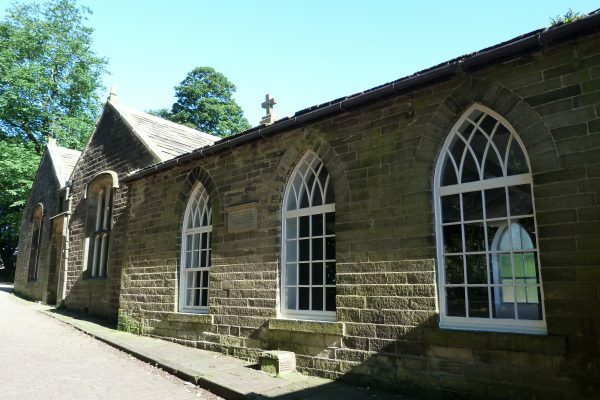 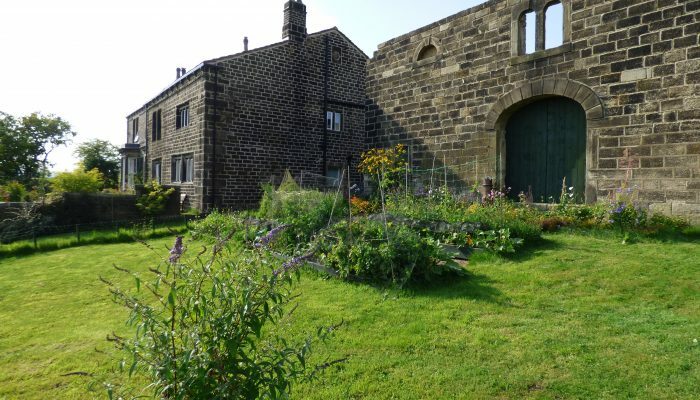 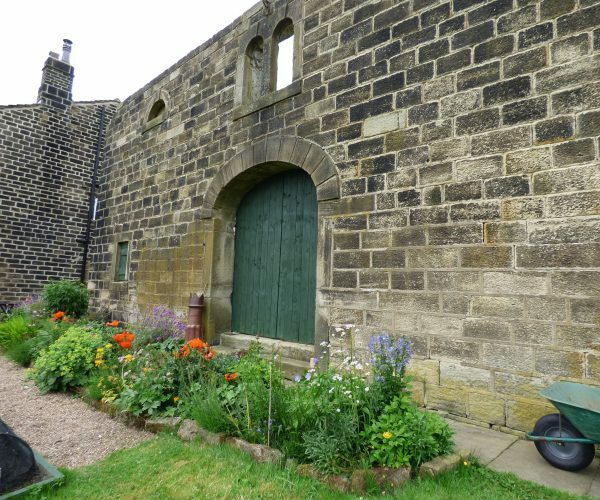 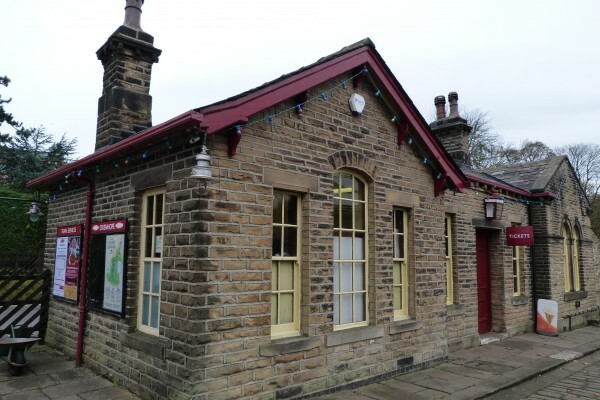 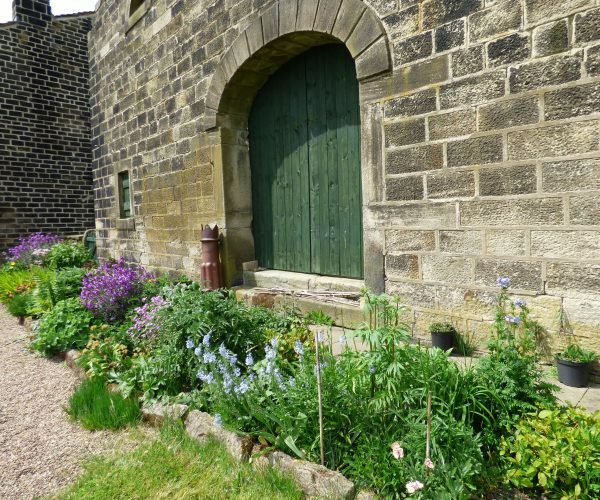 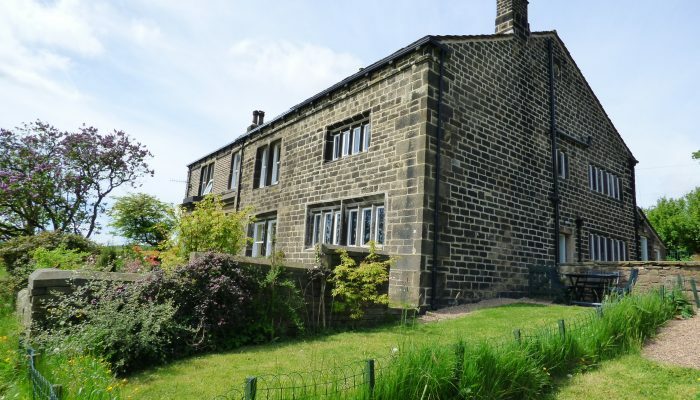 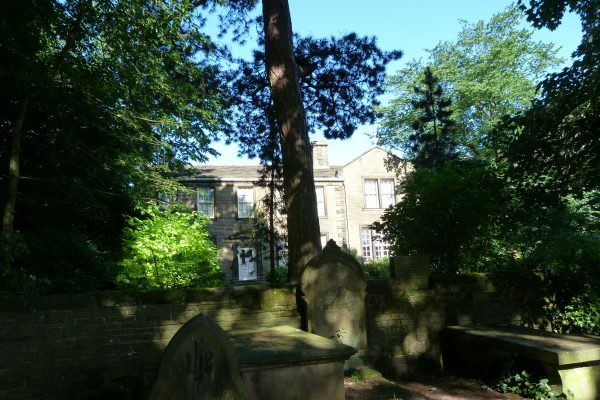 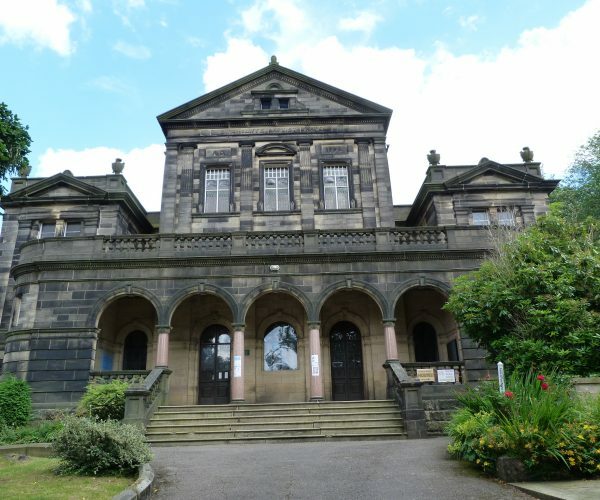 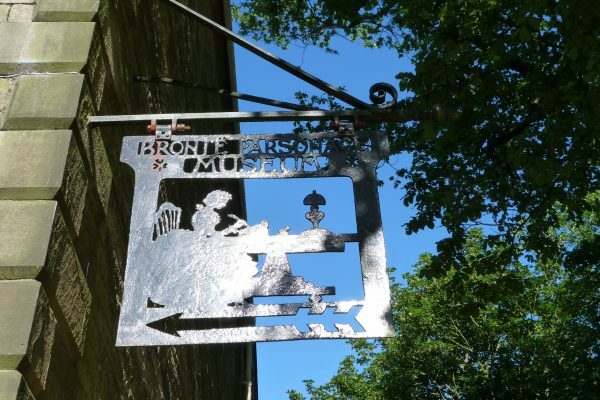 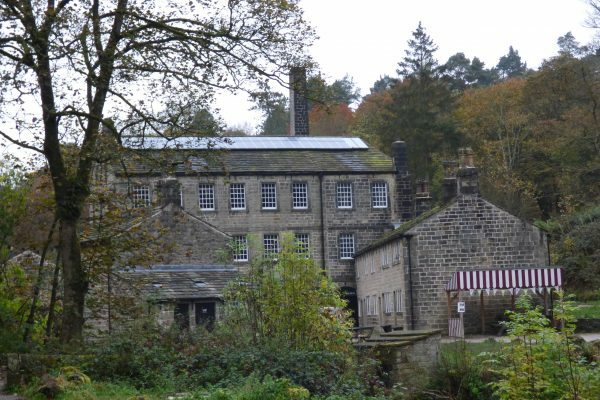 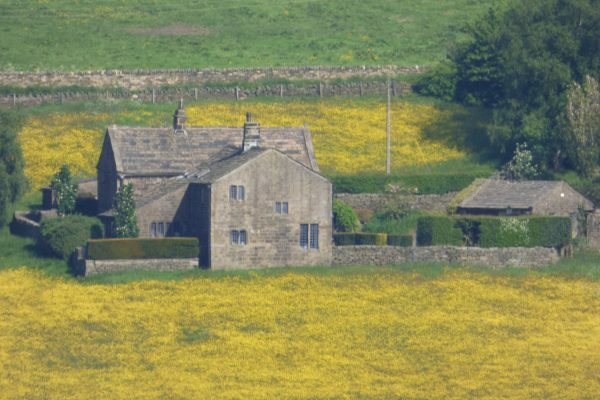 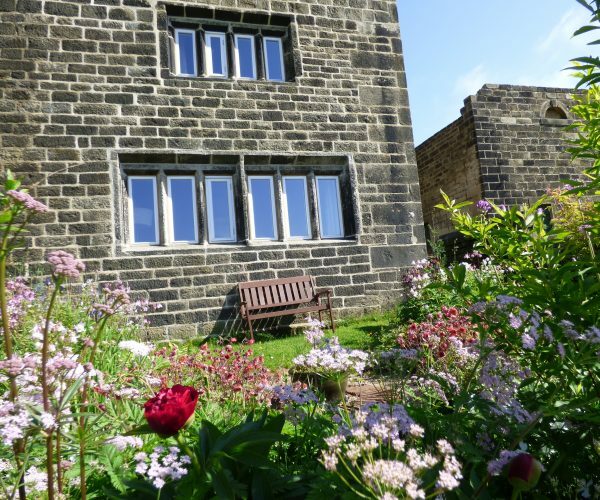 Visit the Brontë Parsonage Museum where the remarkable Brontë sisters wrote Jane Eyre and Wuthering Heights. 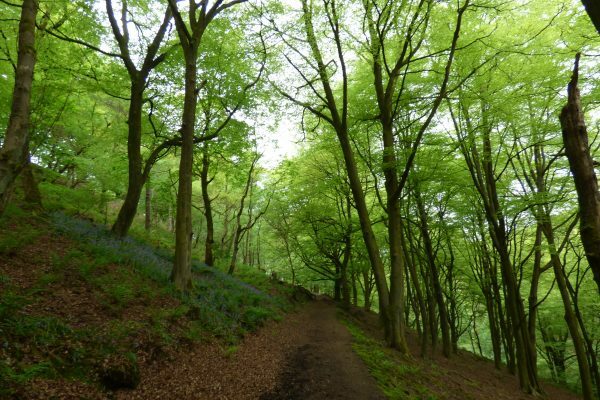 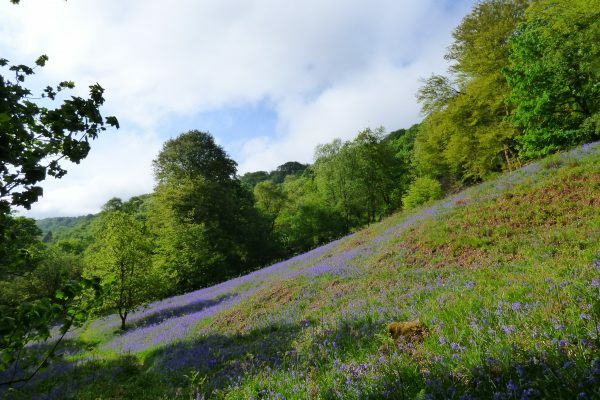 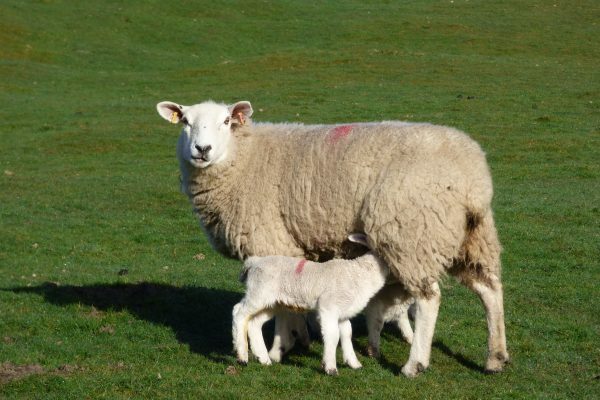 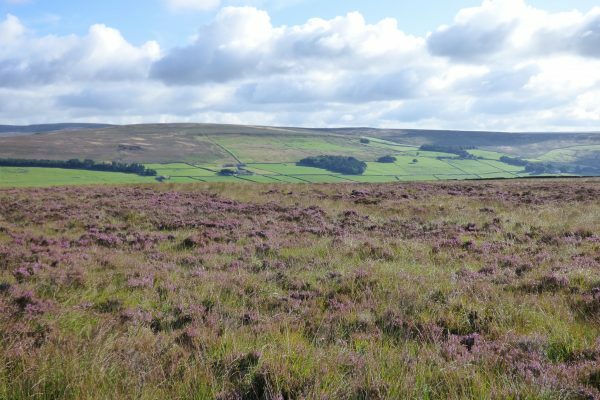 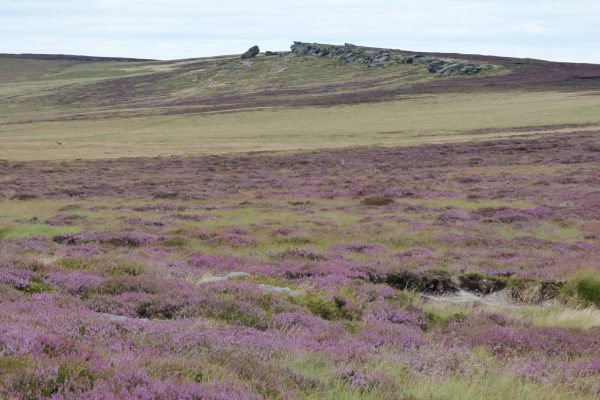 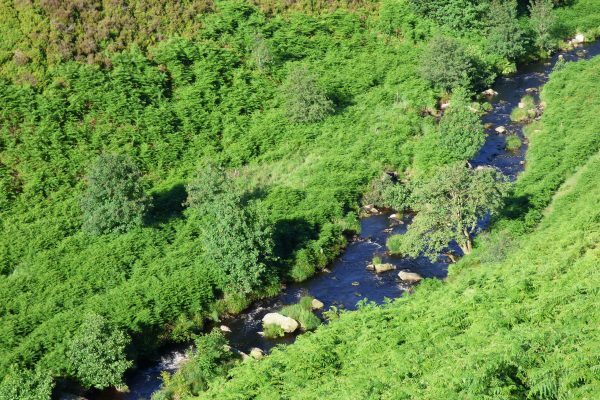 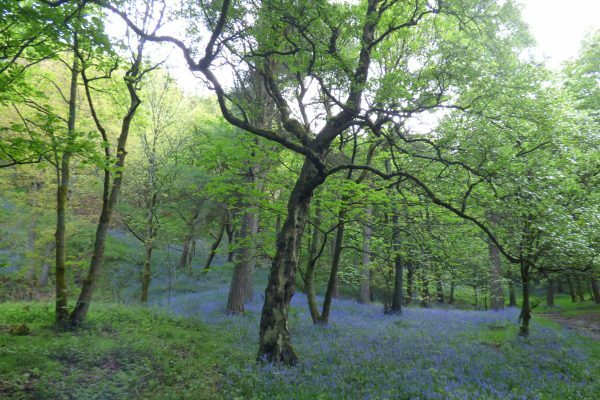 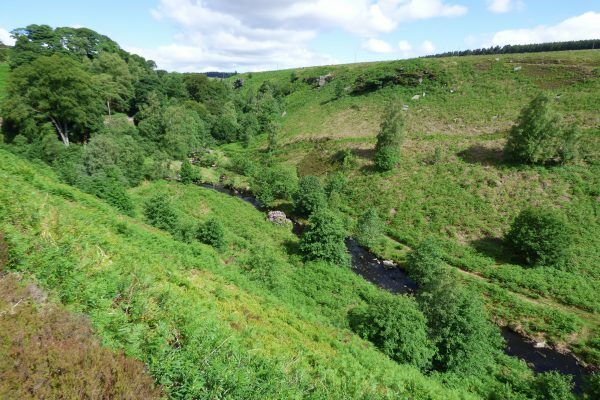 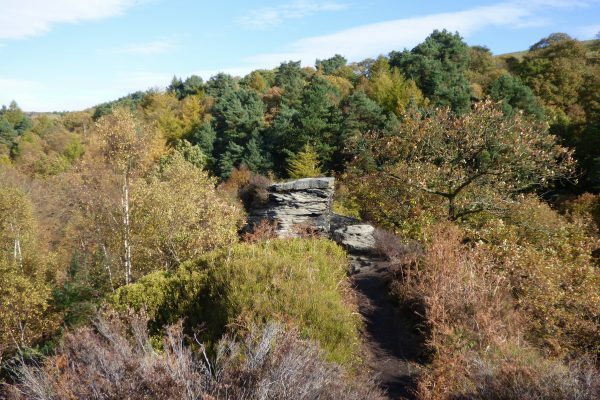 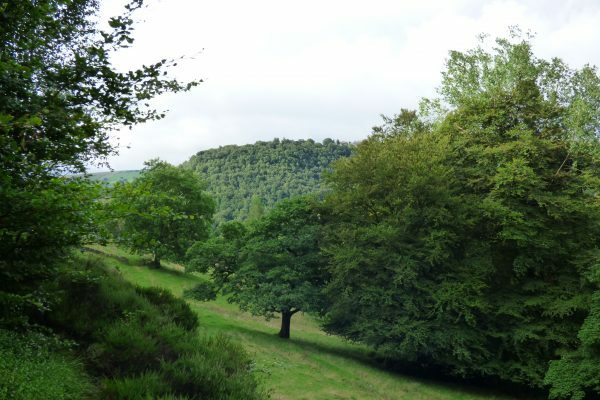 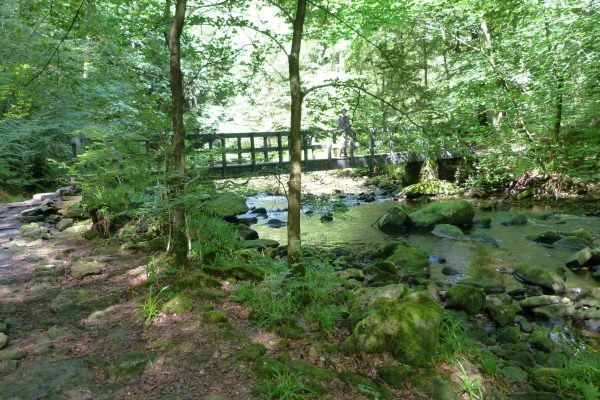 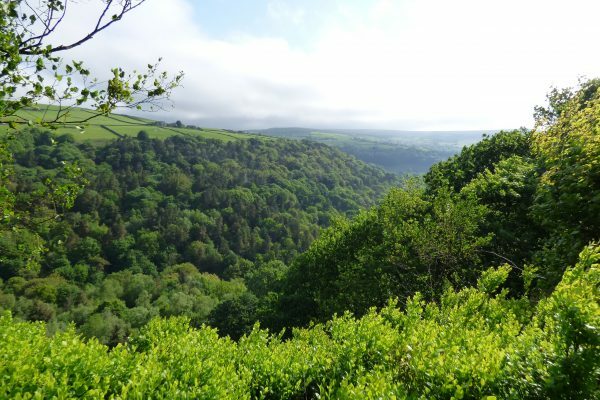 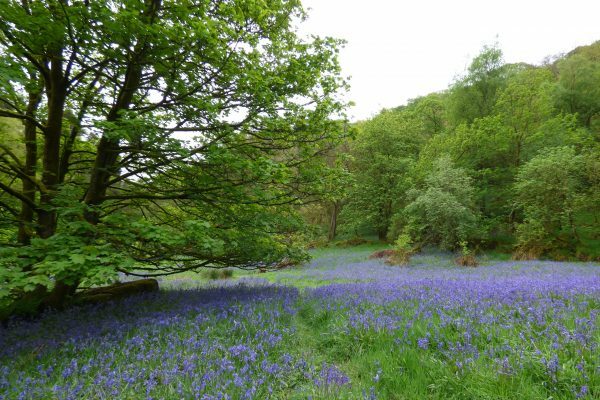 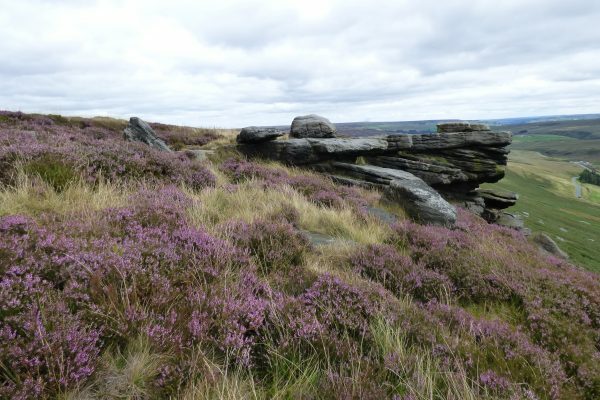 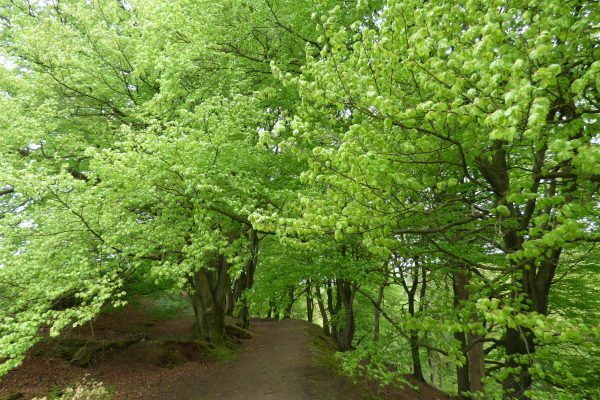 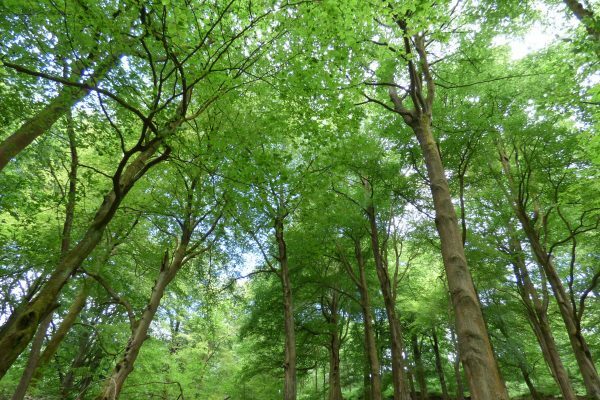 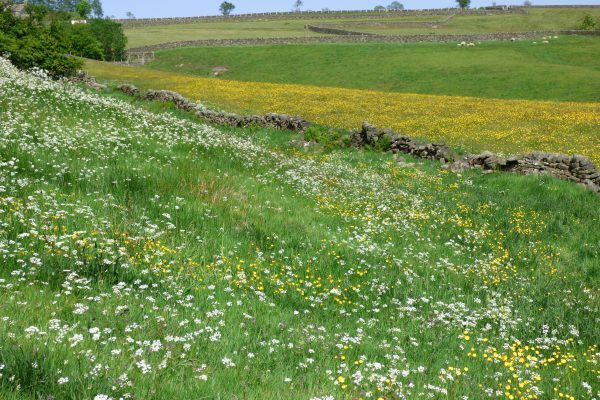 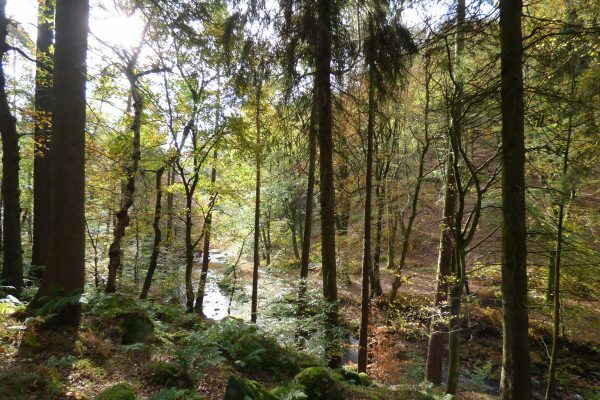 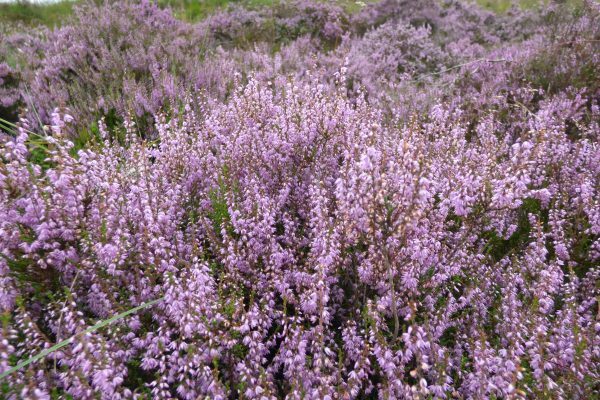 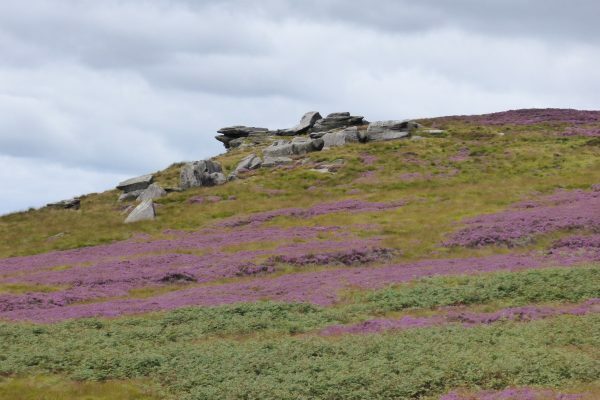 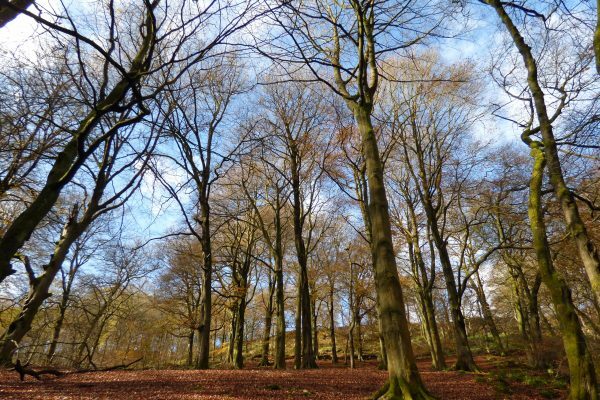 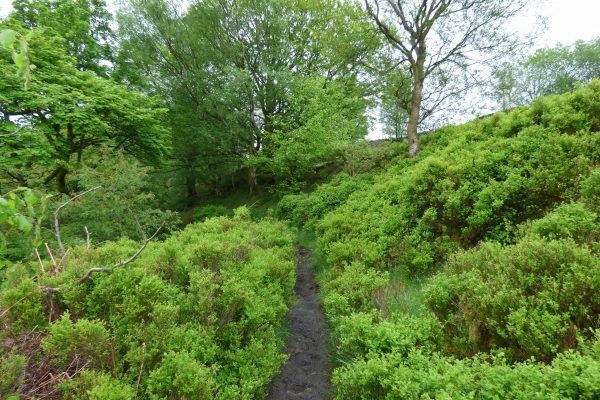 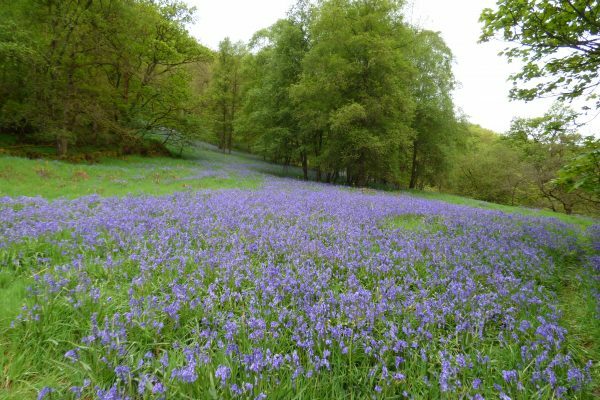 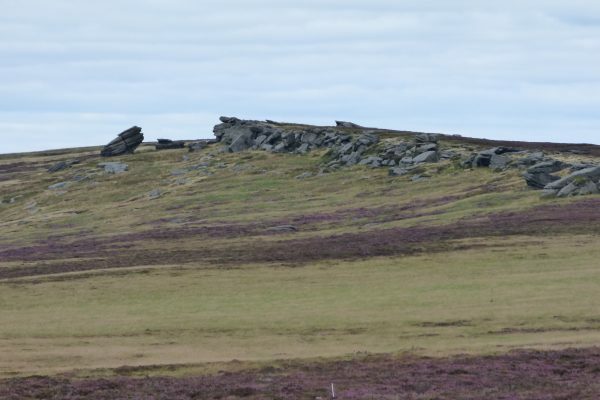 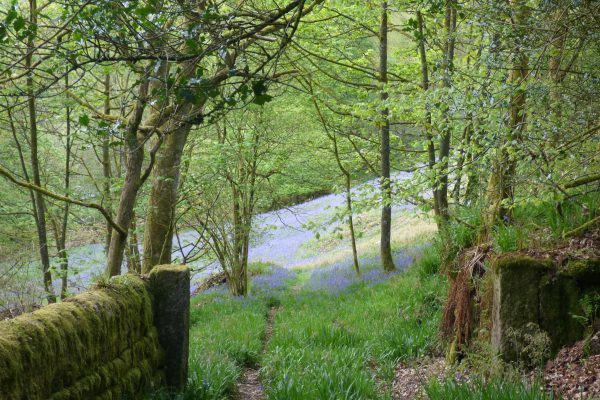 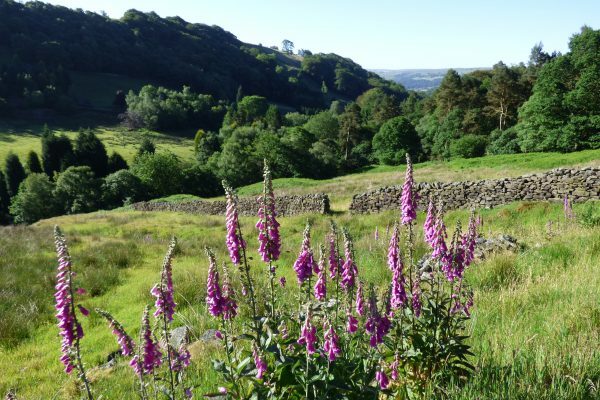 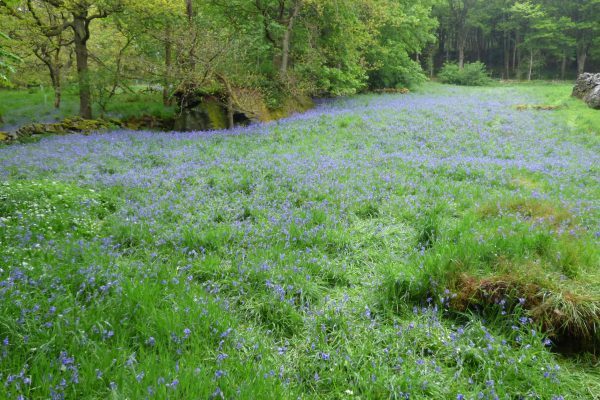 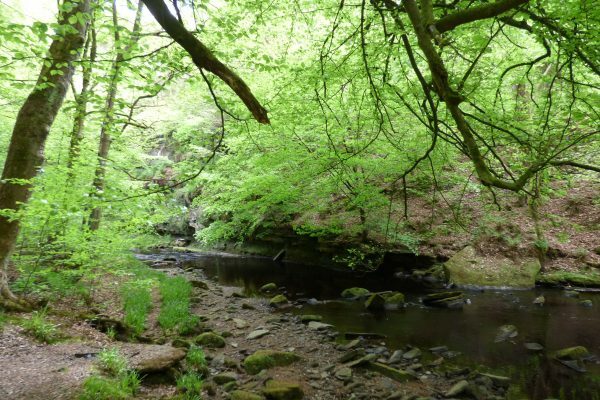 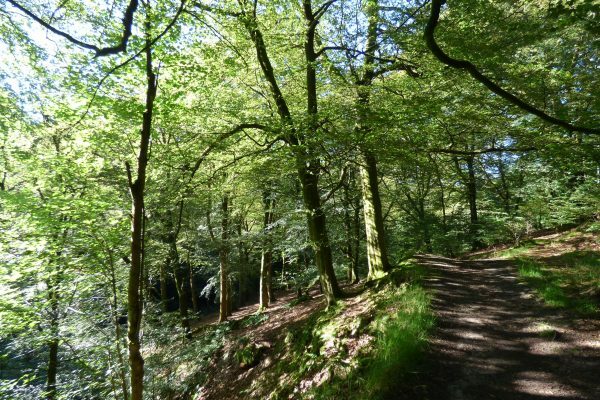 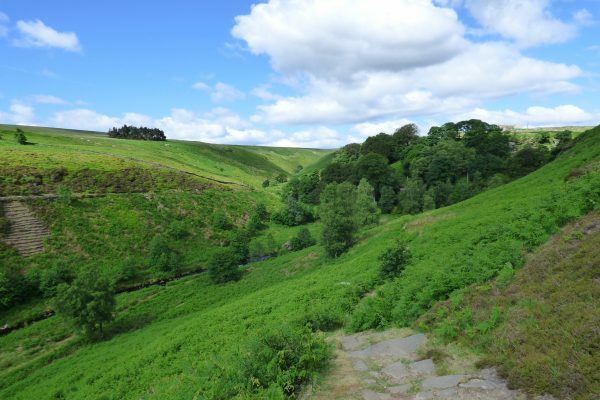 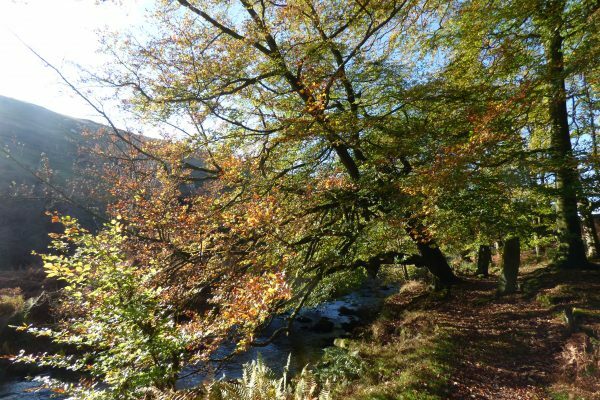 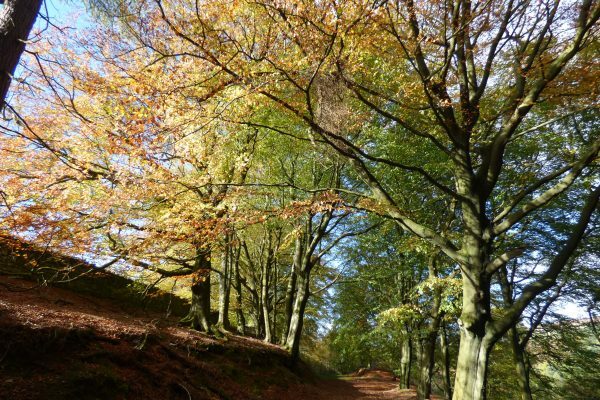 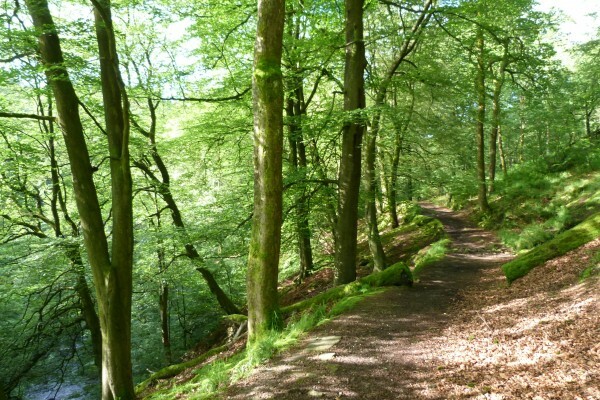 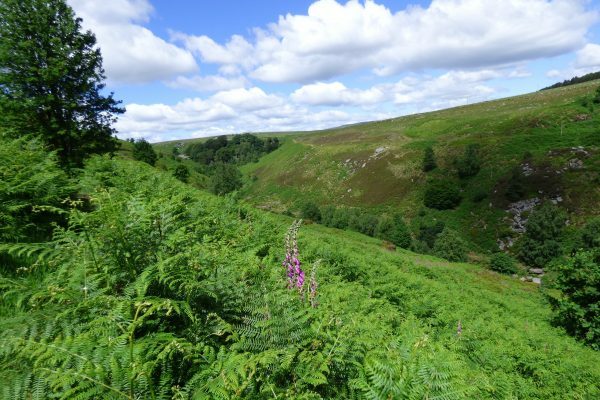 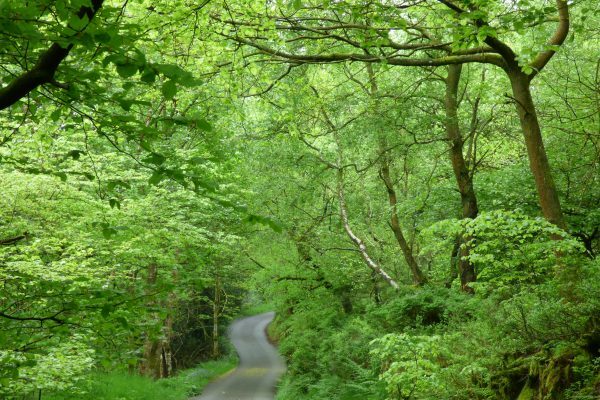 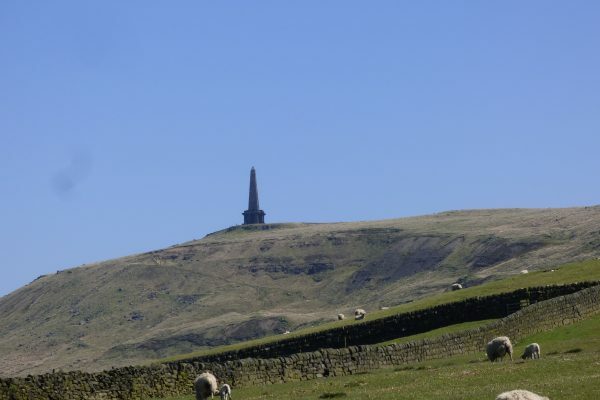 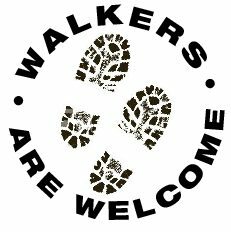 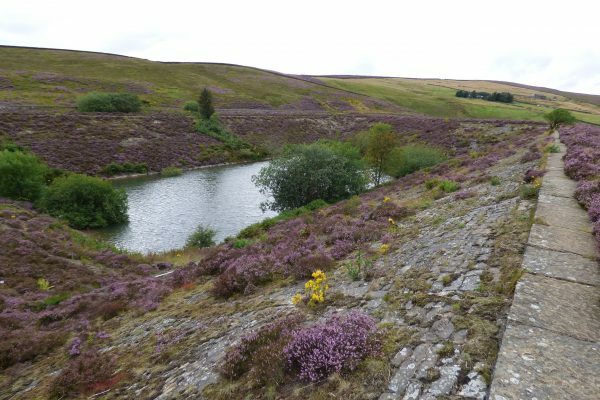 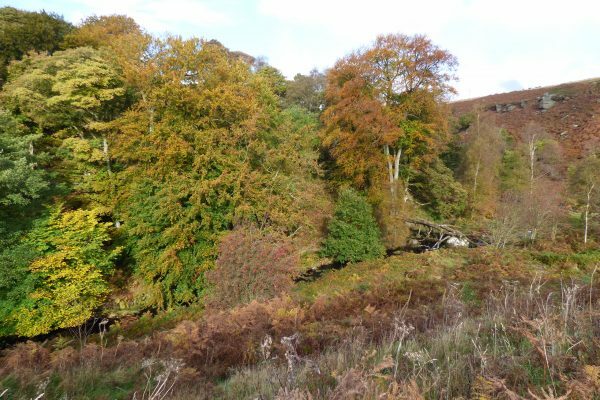 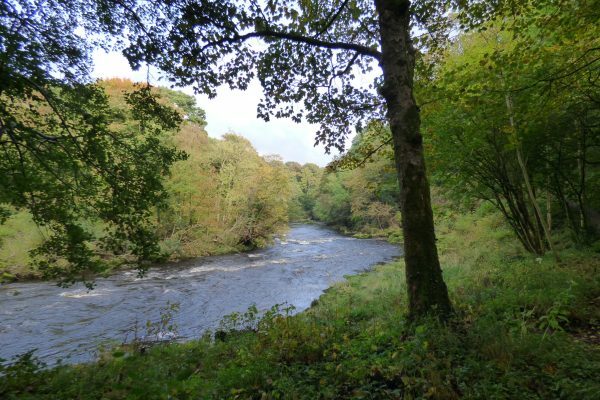 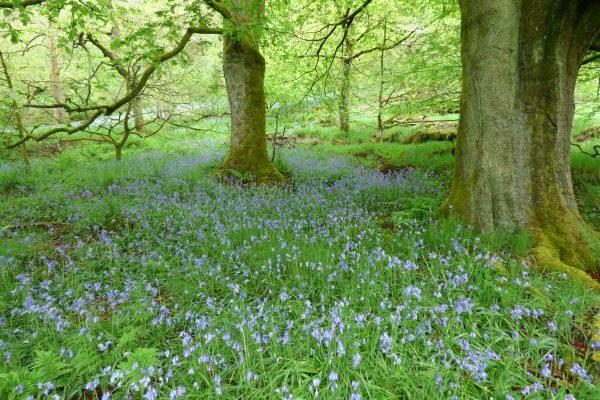 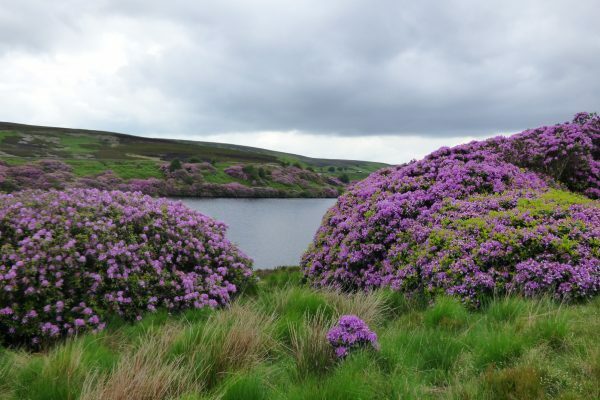 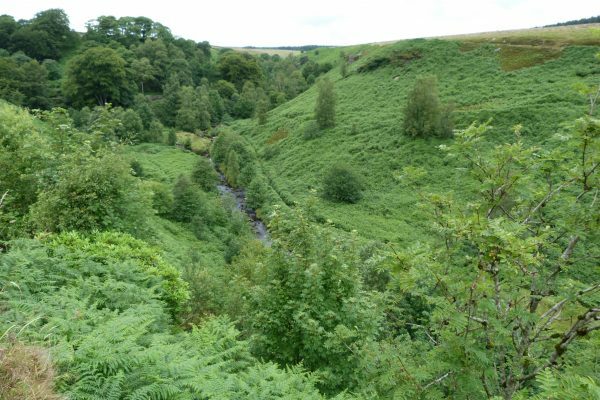 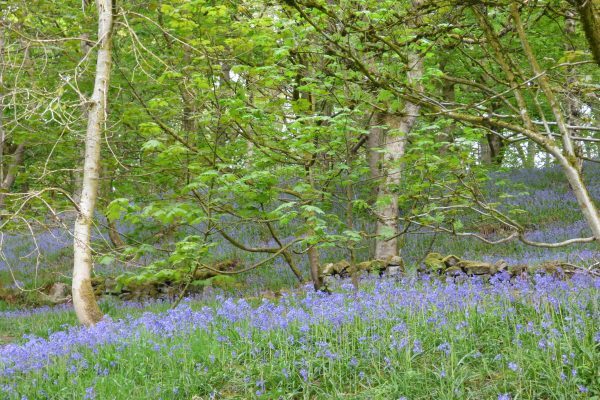 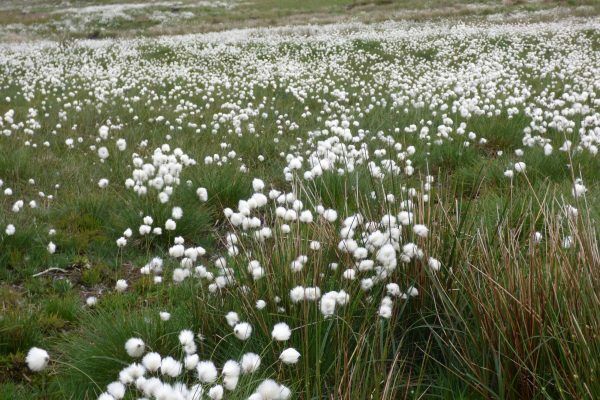 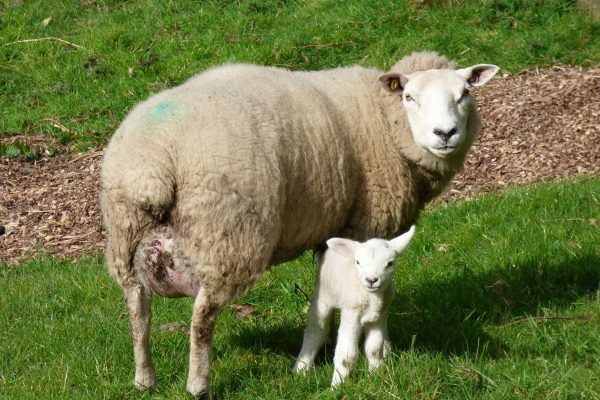 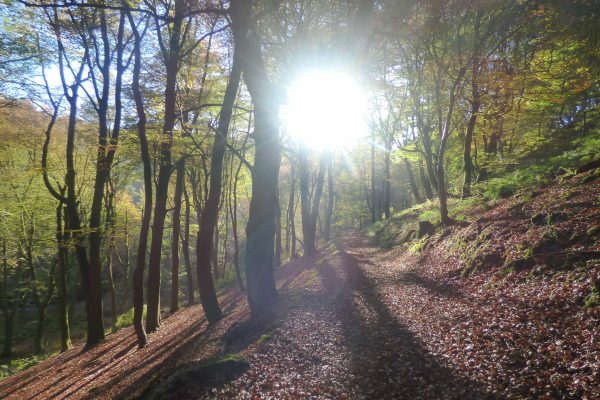 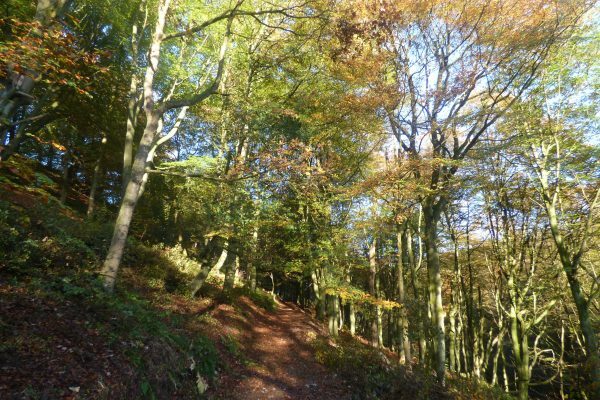 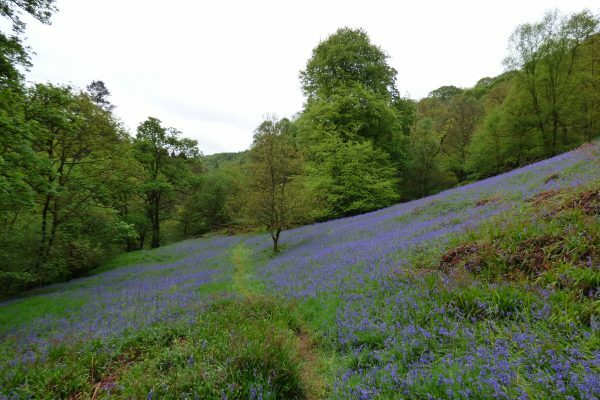 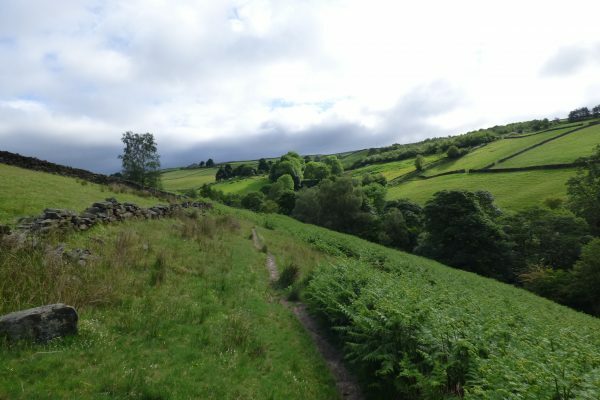 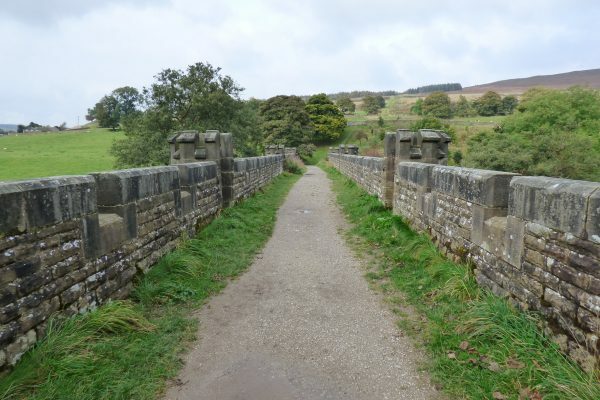 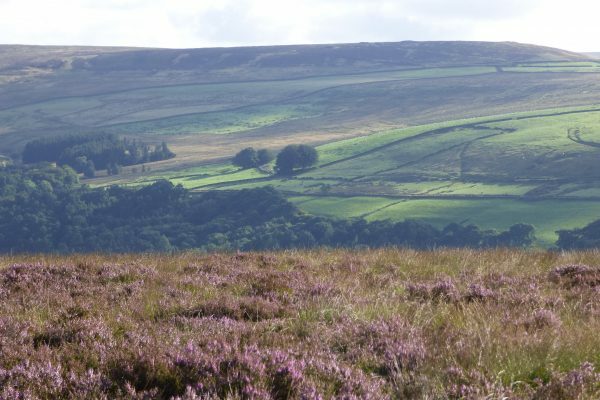 Enter a walker’s paradise with footpaths galore over hills & dales through bluebell woods, hay meadows and heather moors. 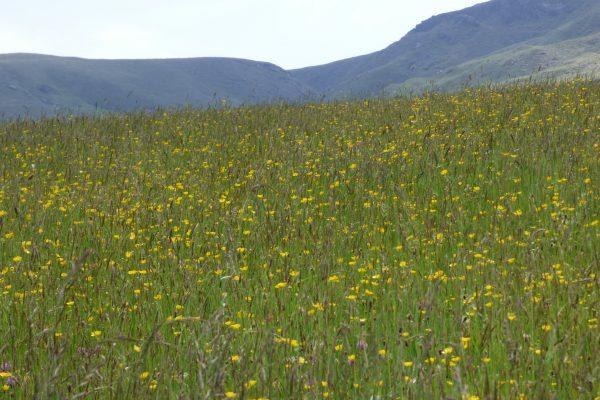 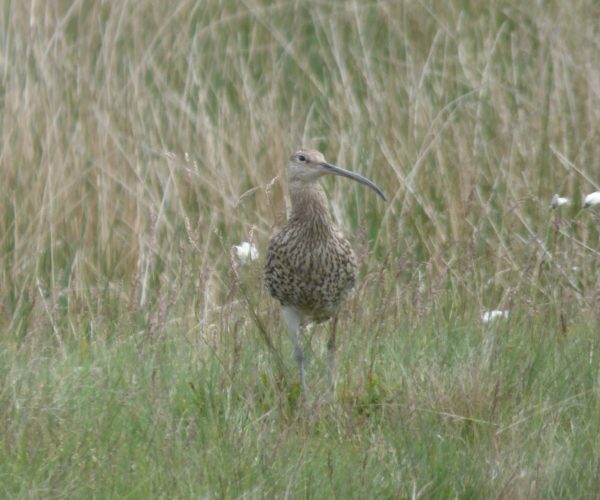 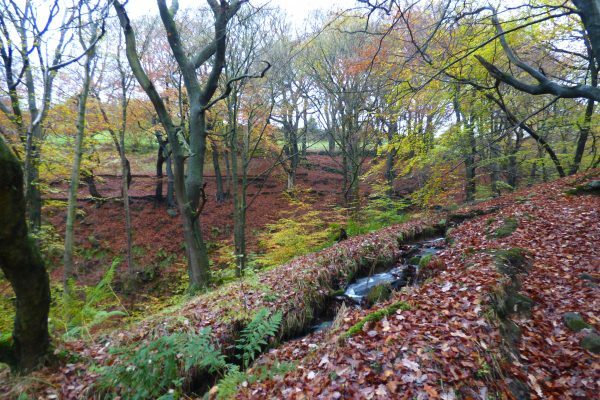 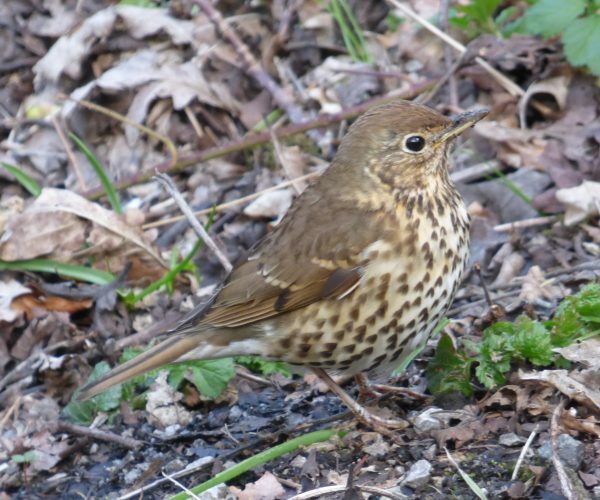 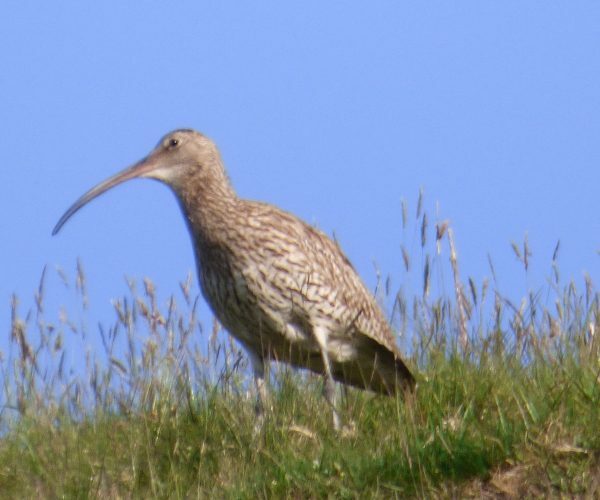 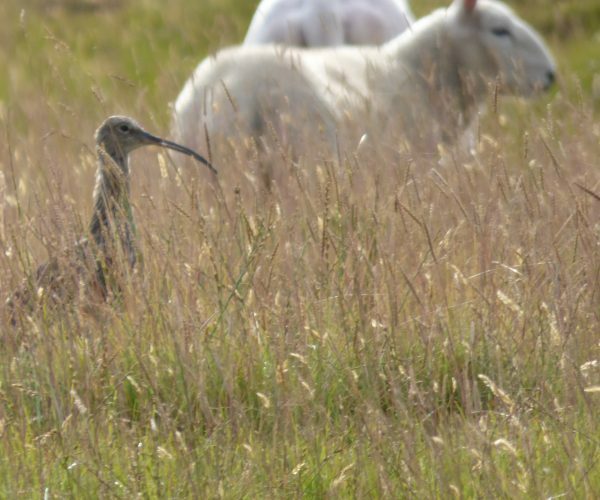 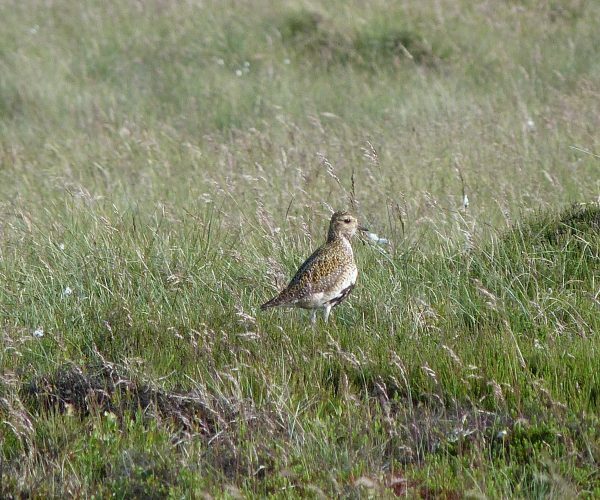 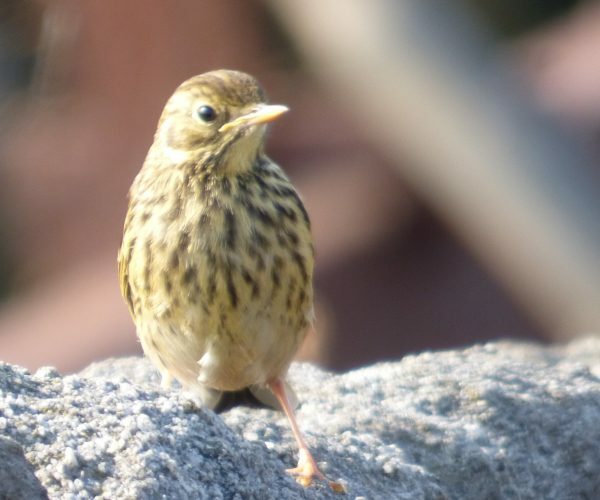 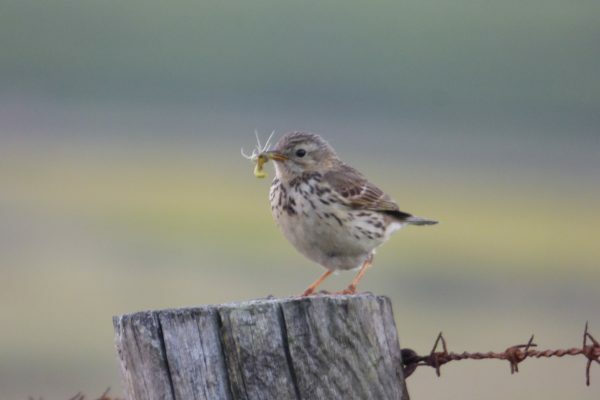 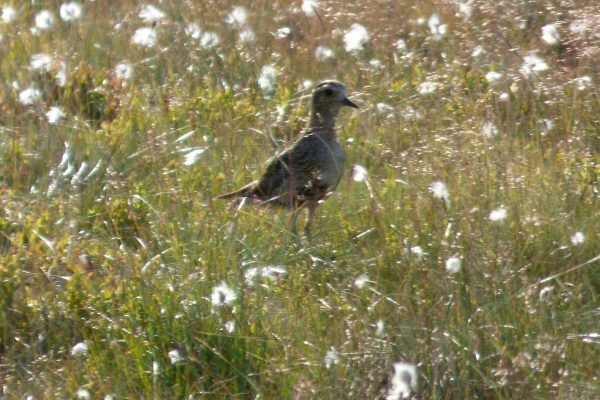 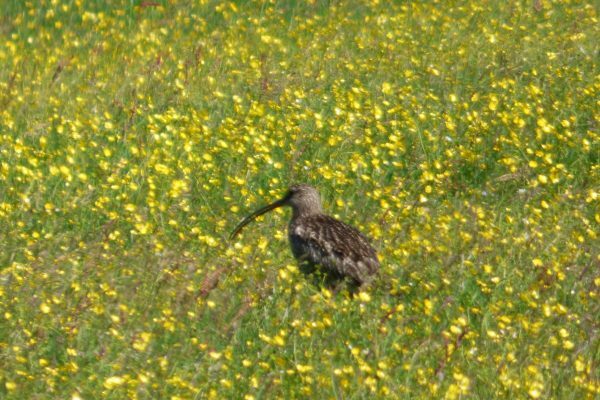 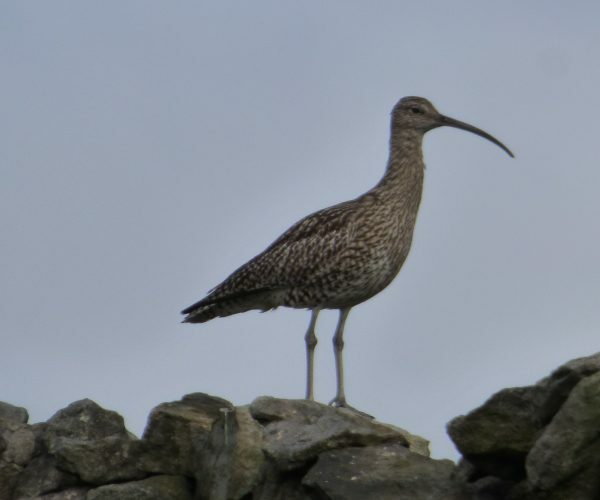 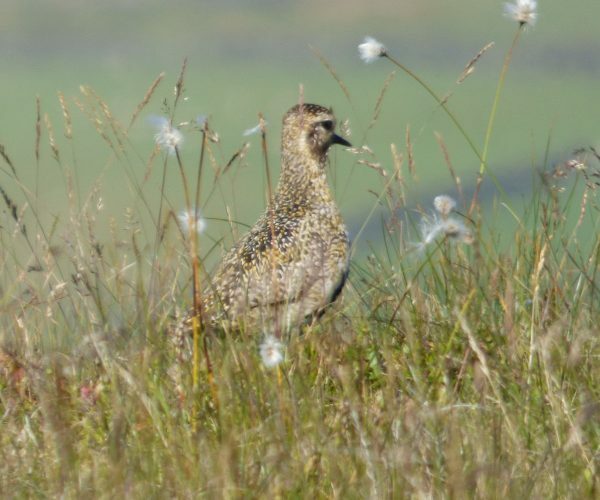 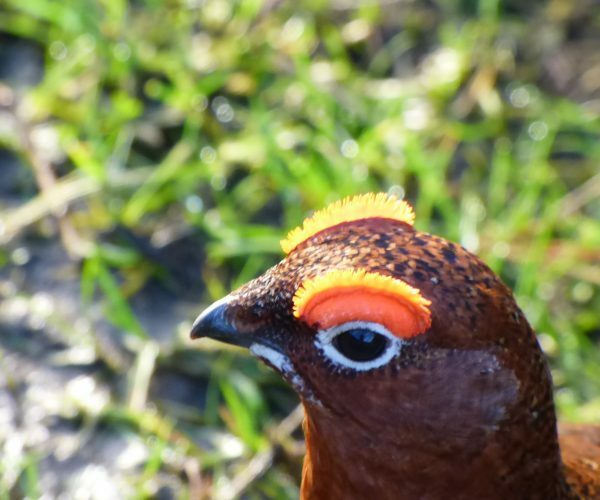 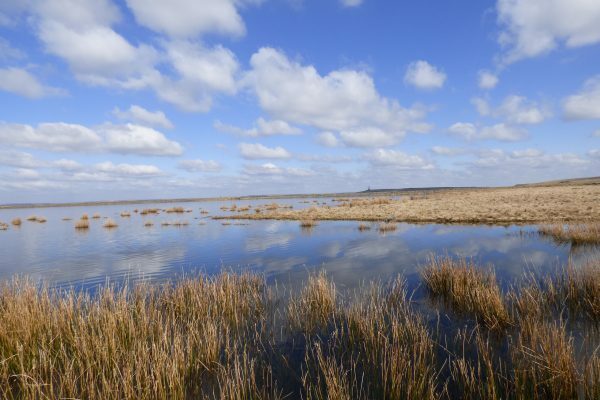 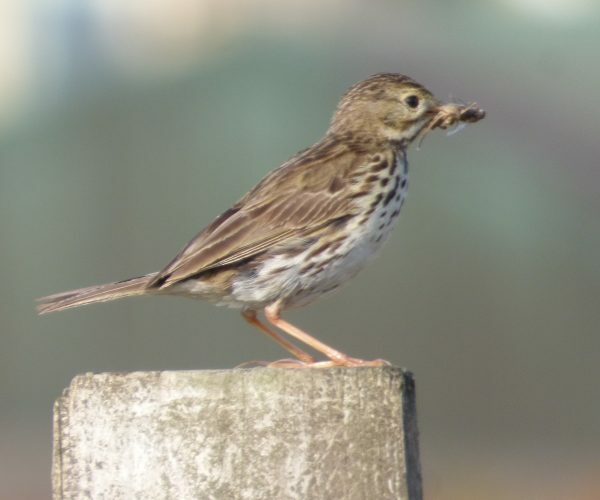 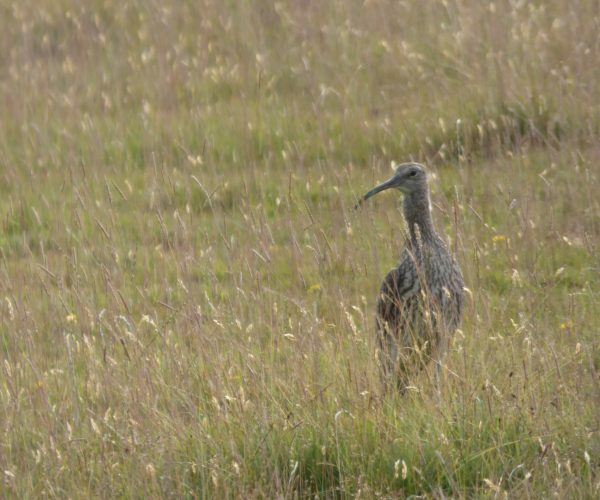 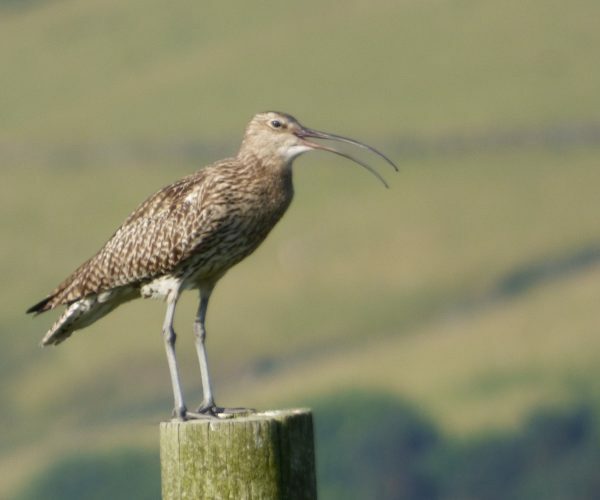 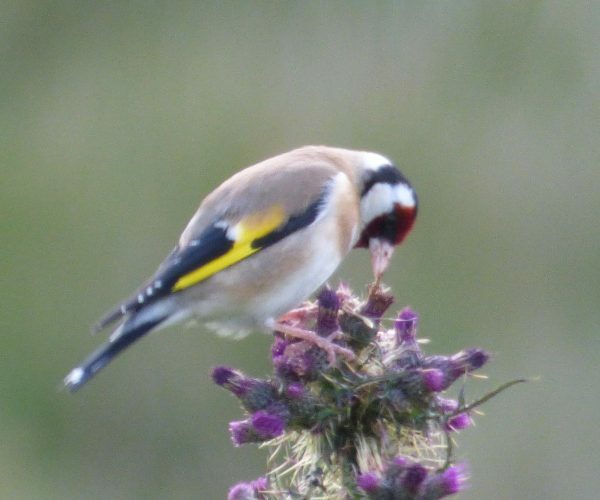 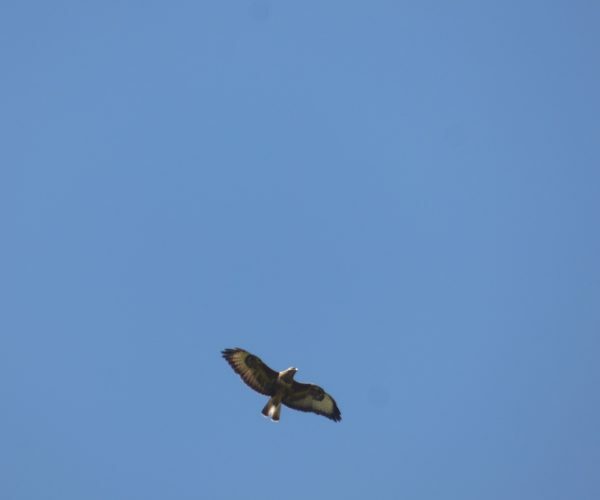 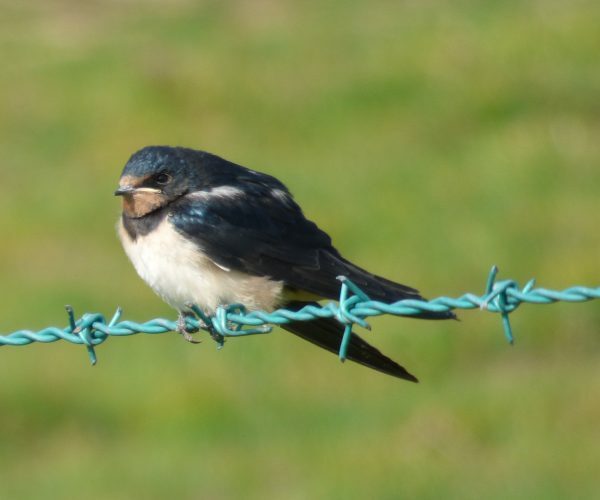 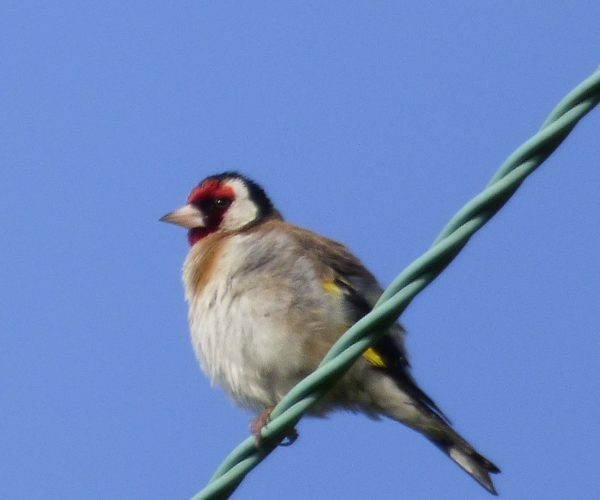 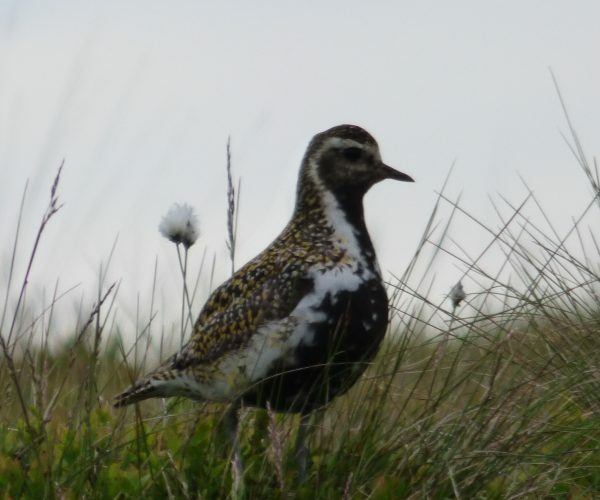 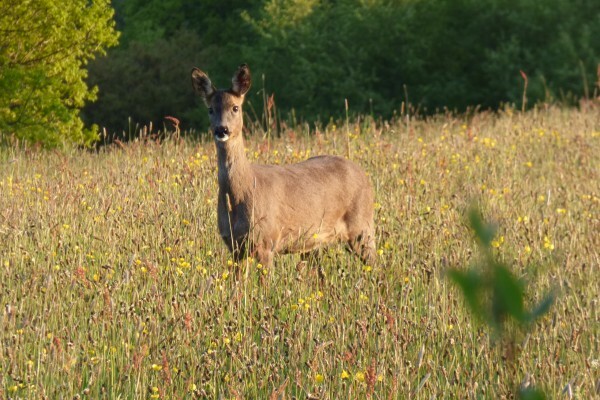 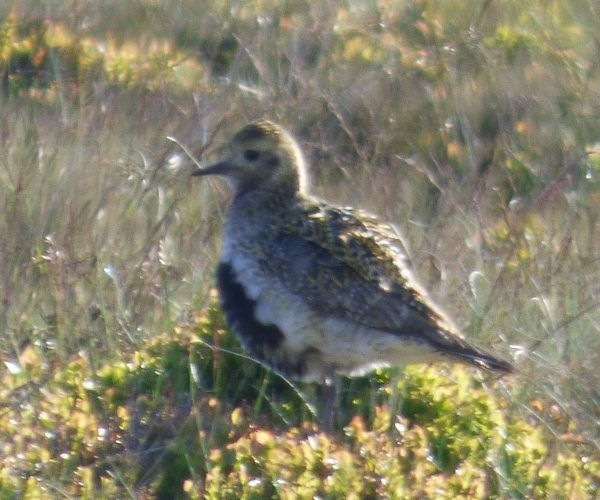 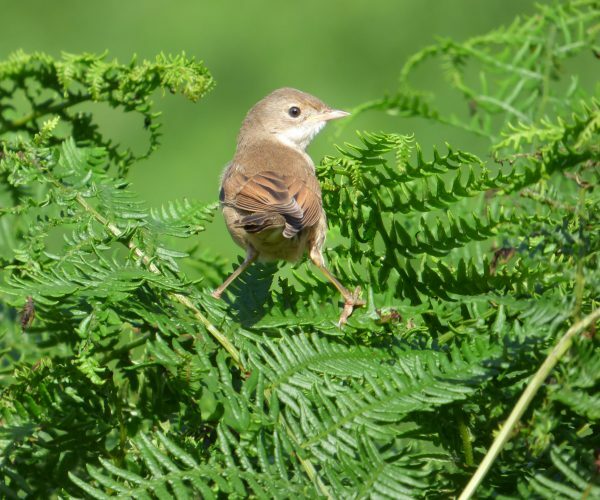 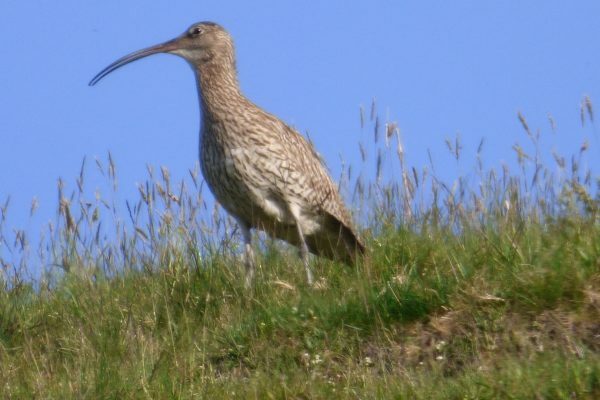 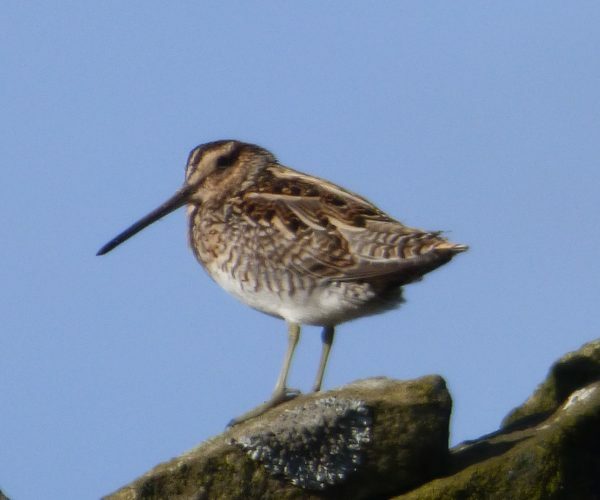 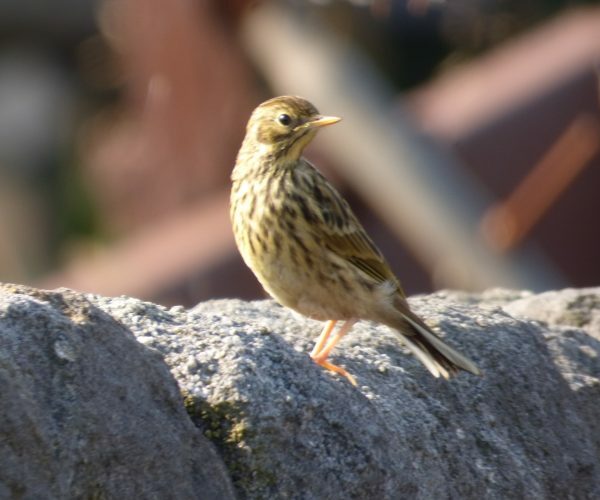 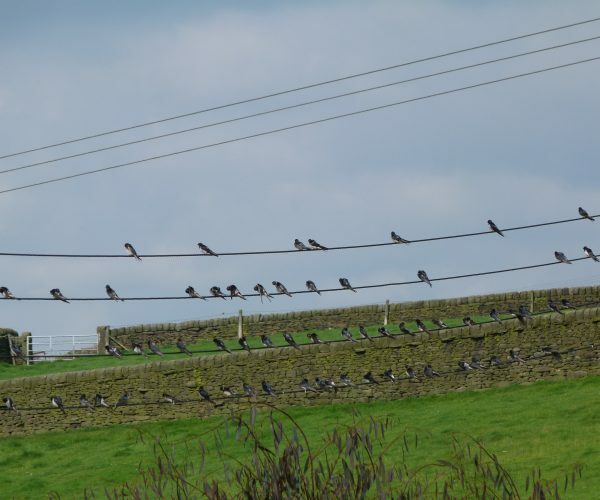 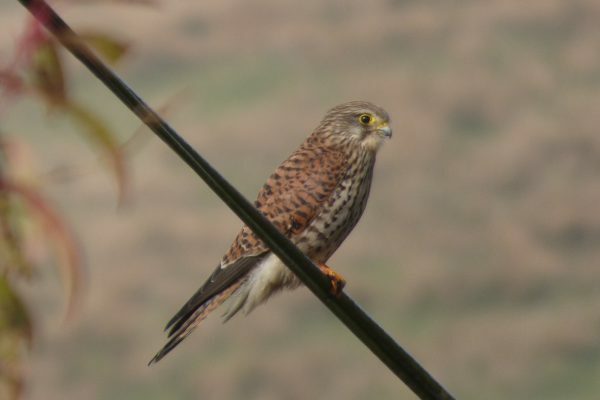 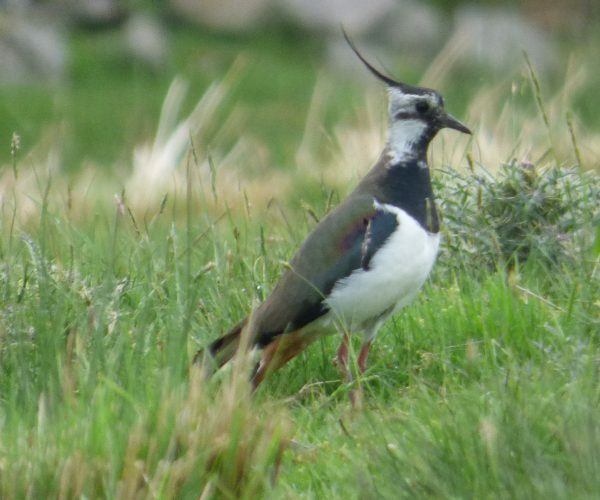 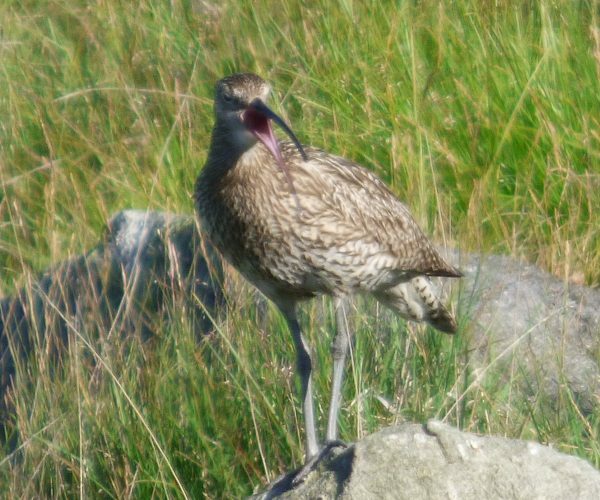 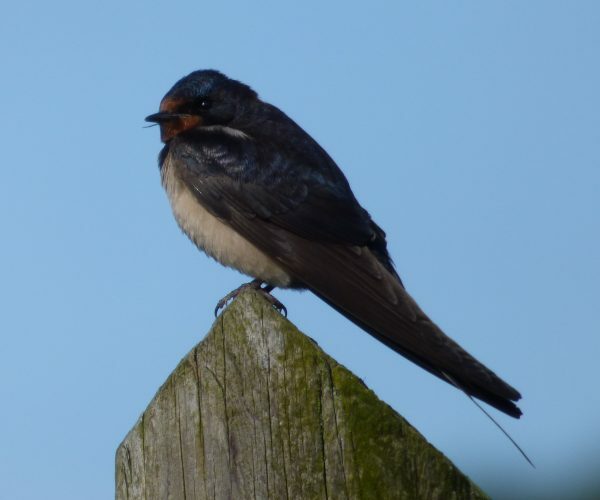 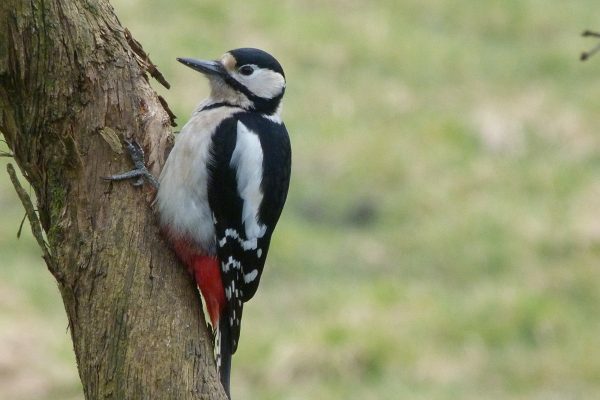 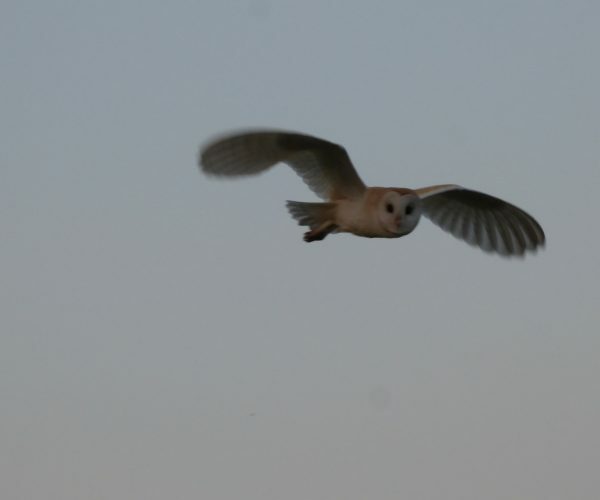 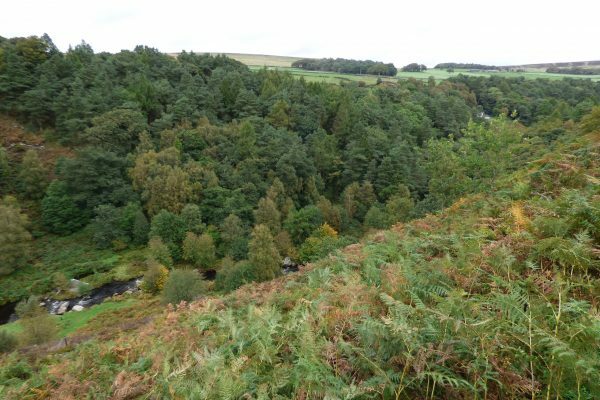 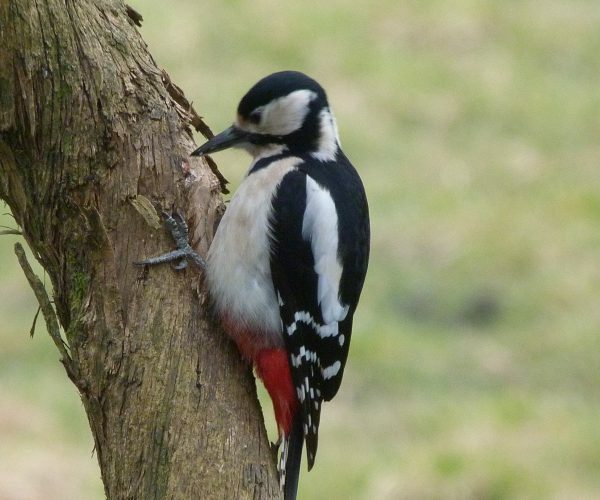 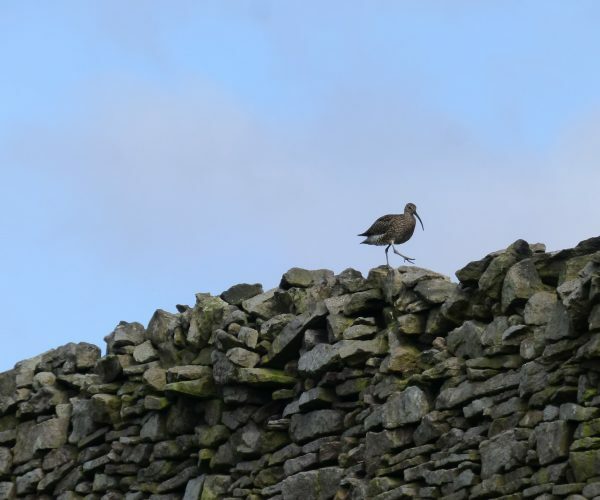 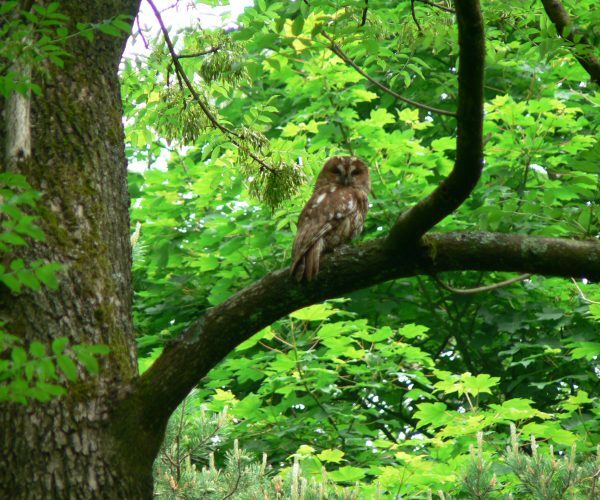 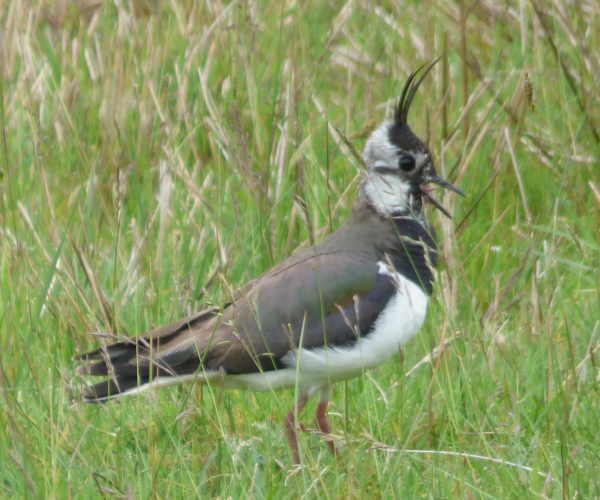 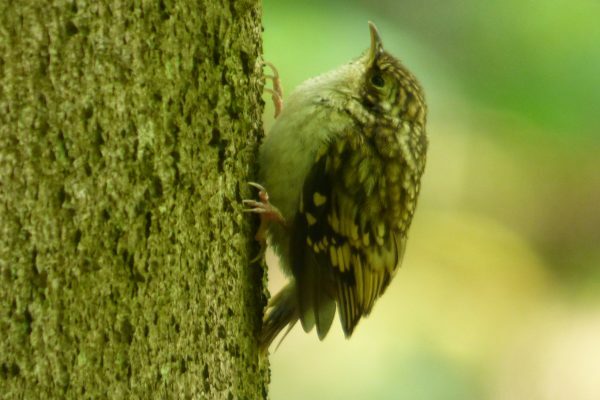 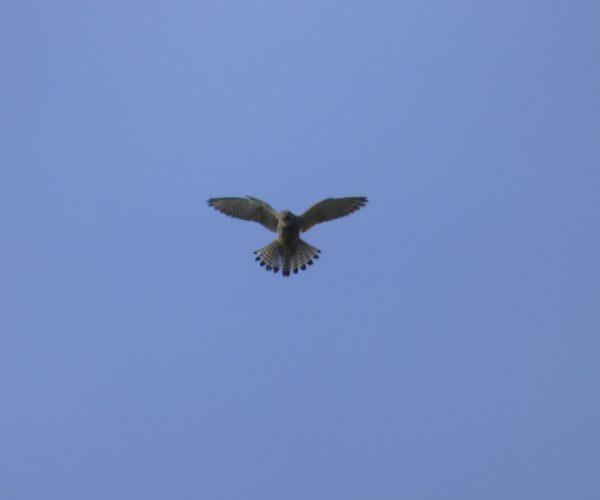 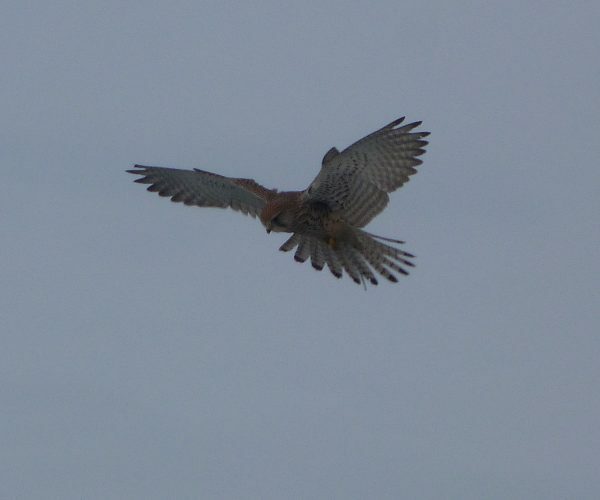 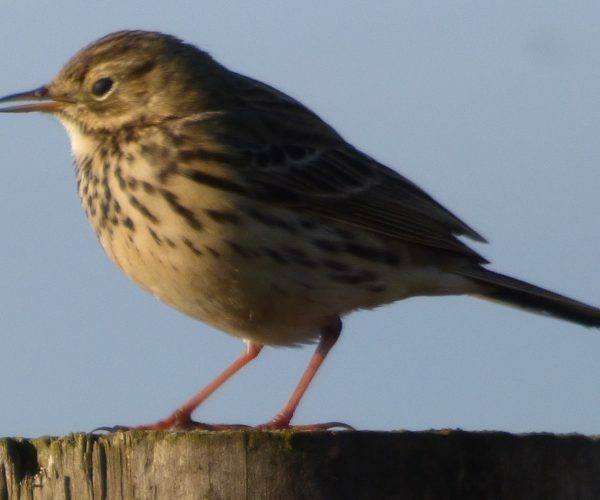 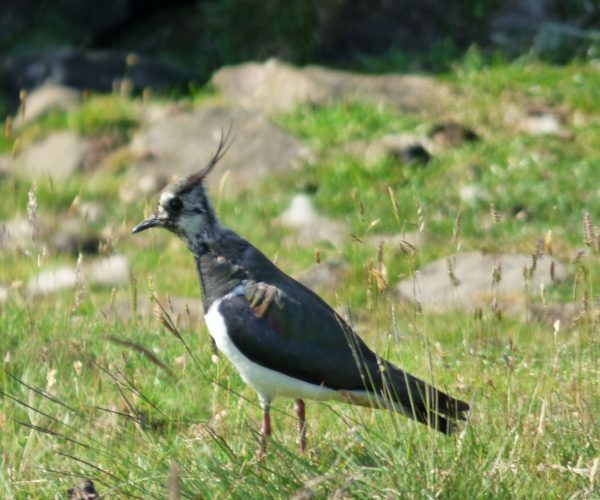 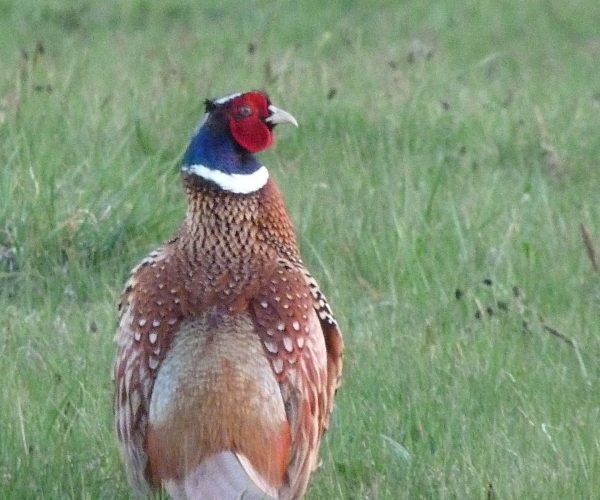 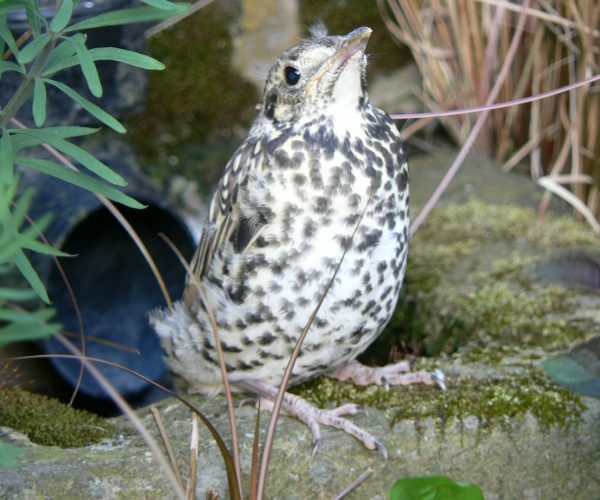 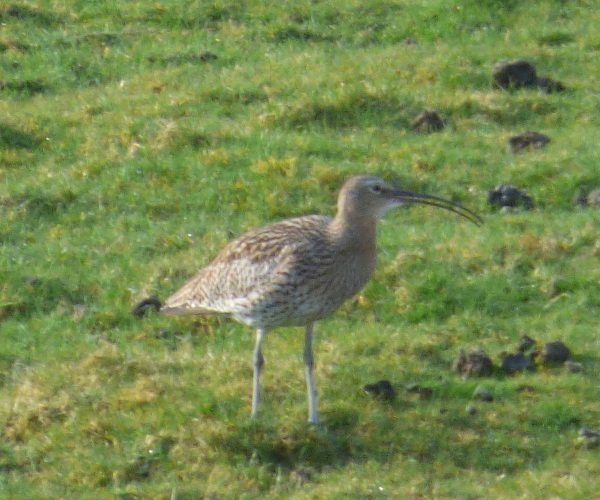 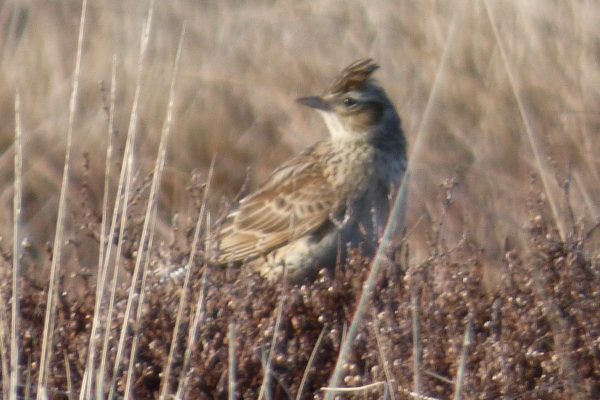 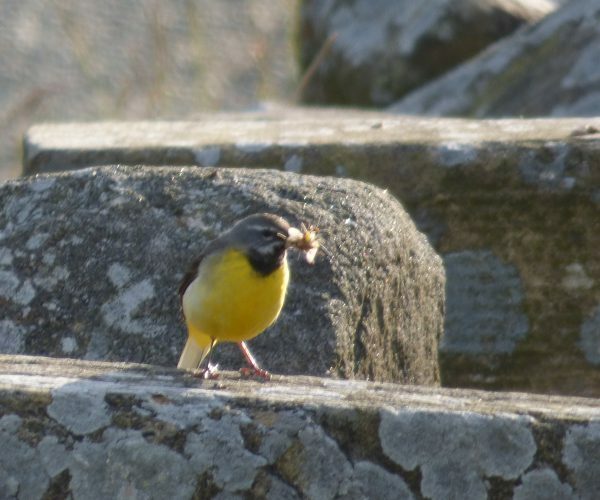 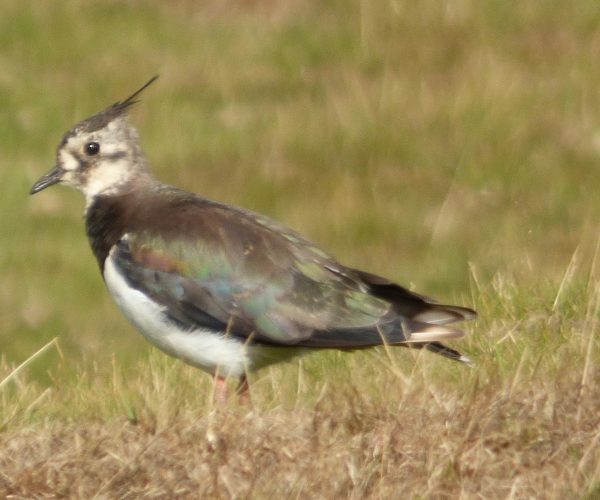 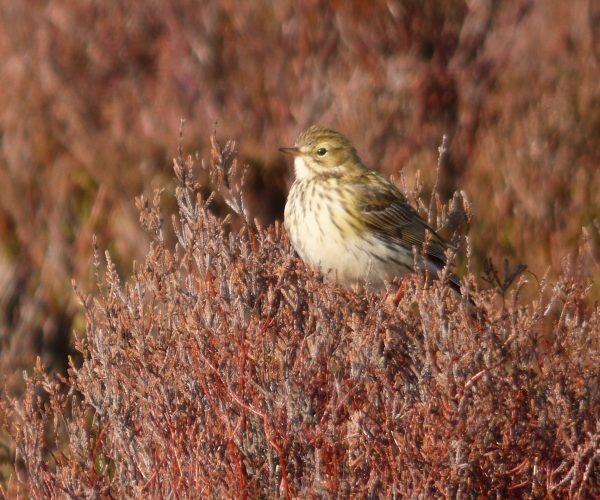 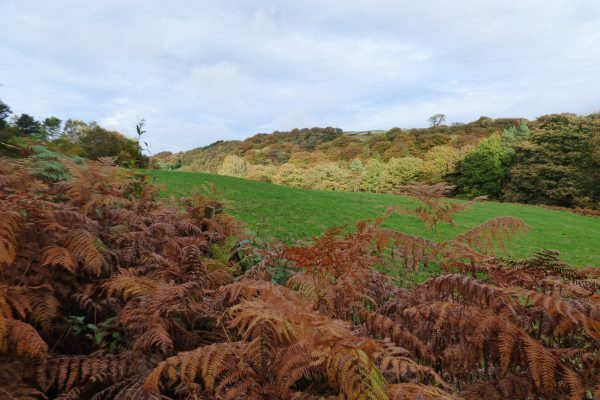 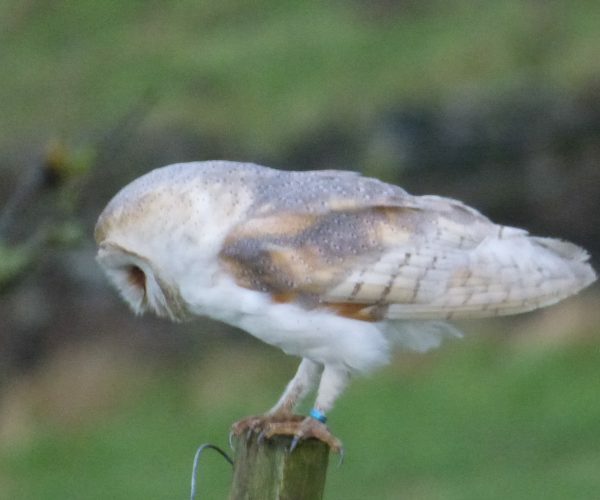 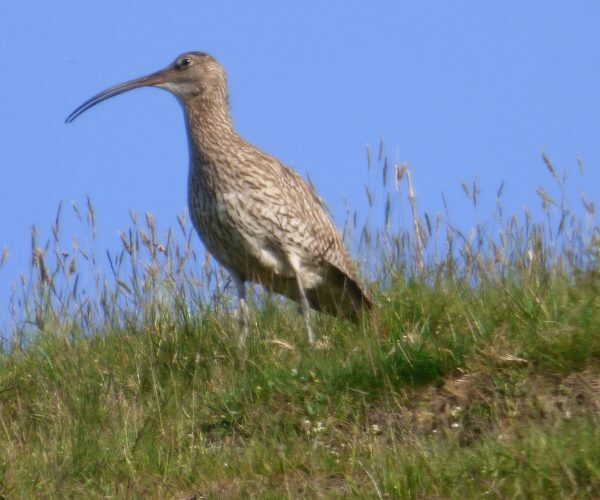 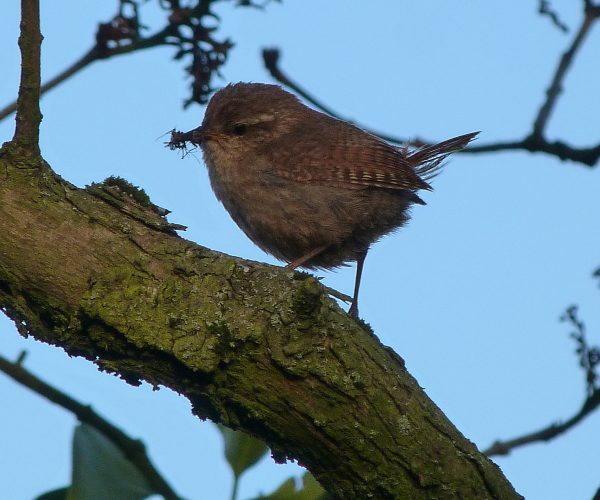 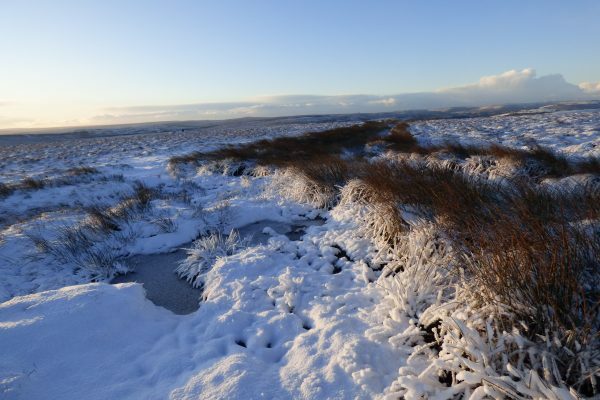 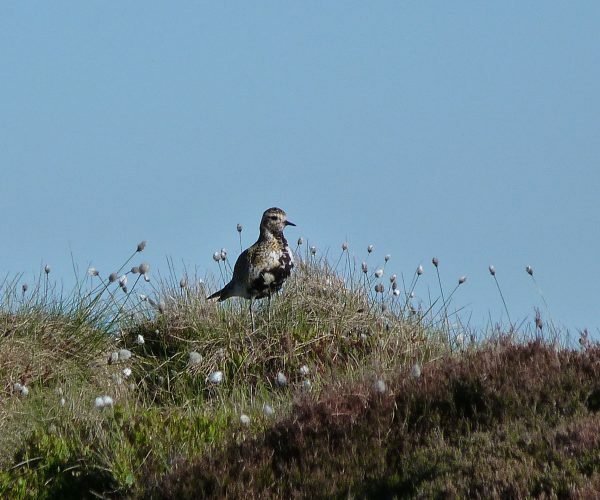 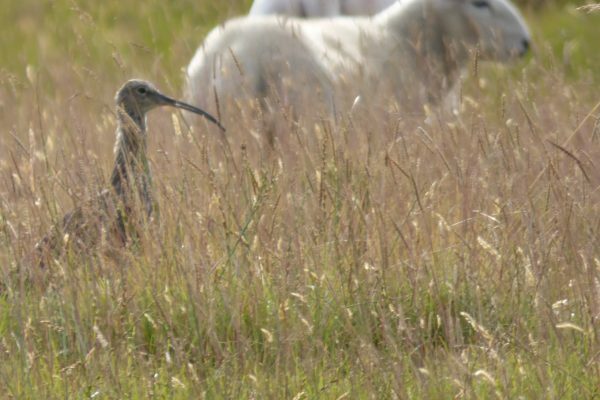 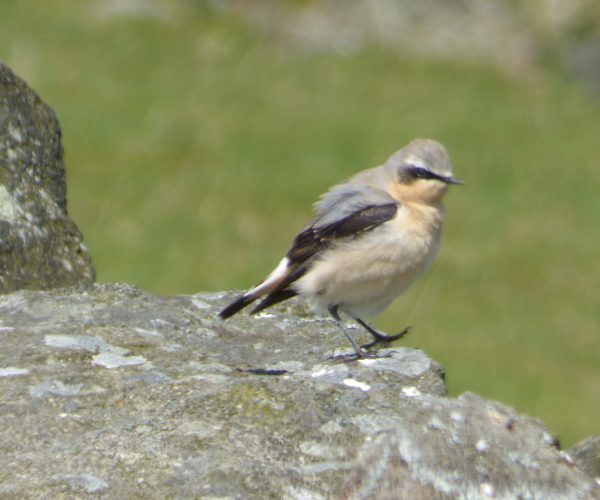 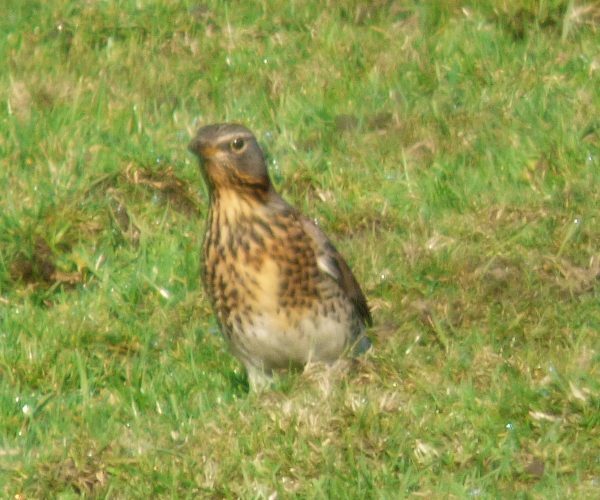 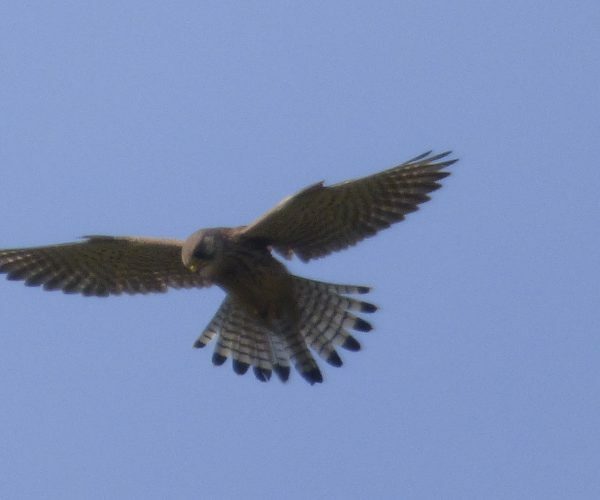 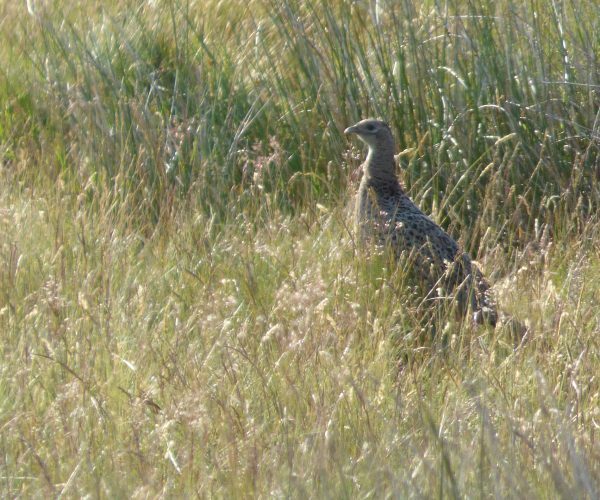 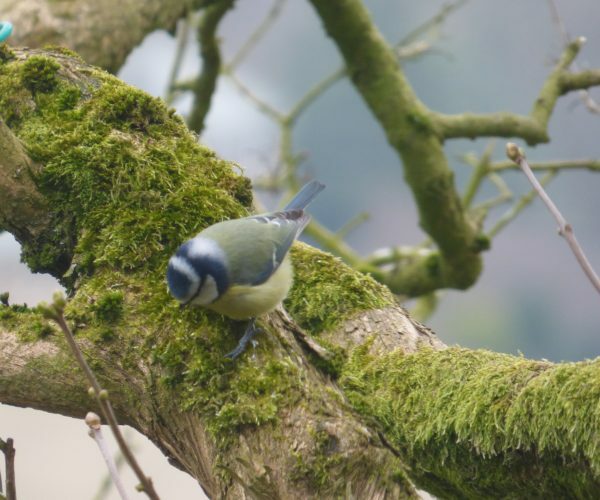 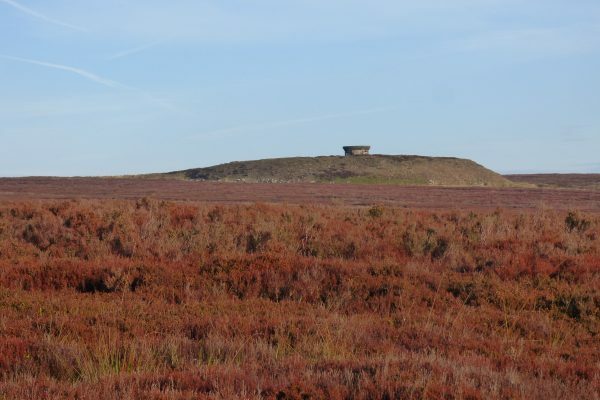 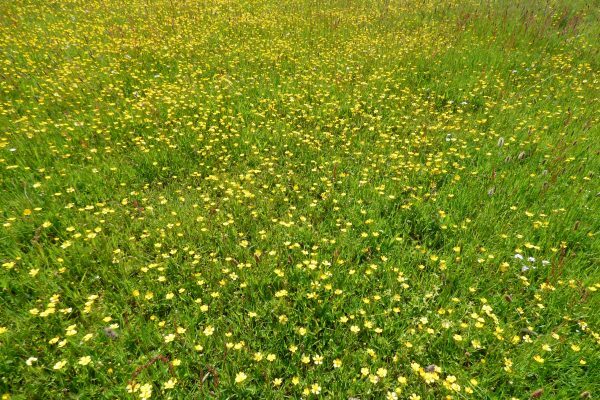 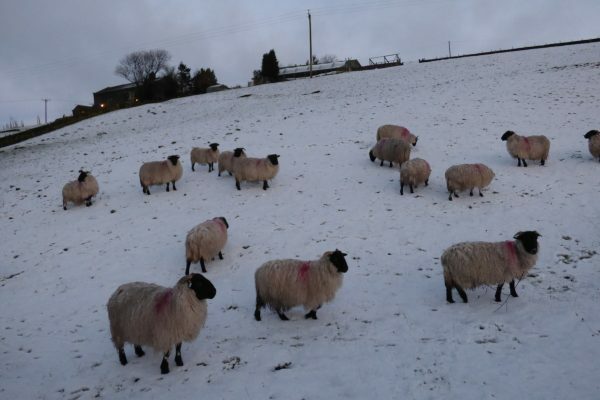 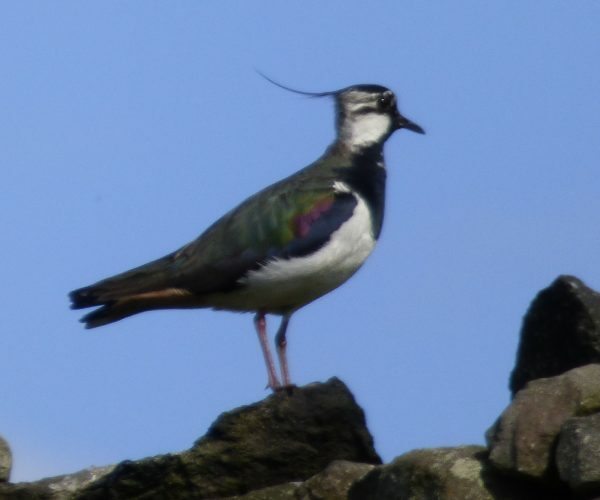 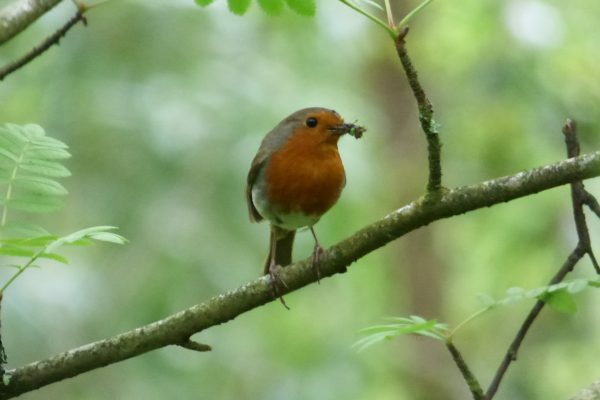 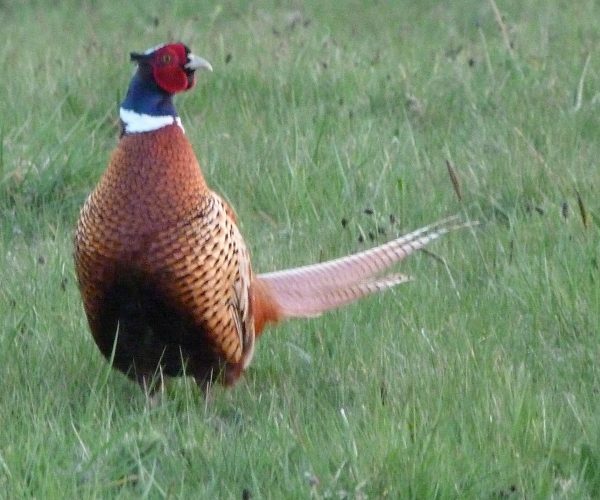 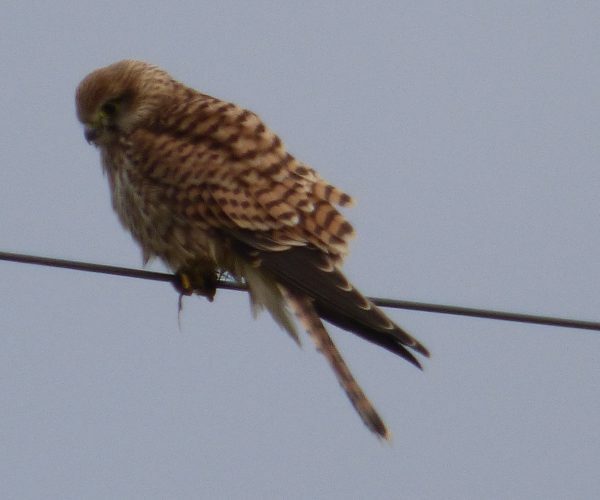 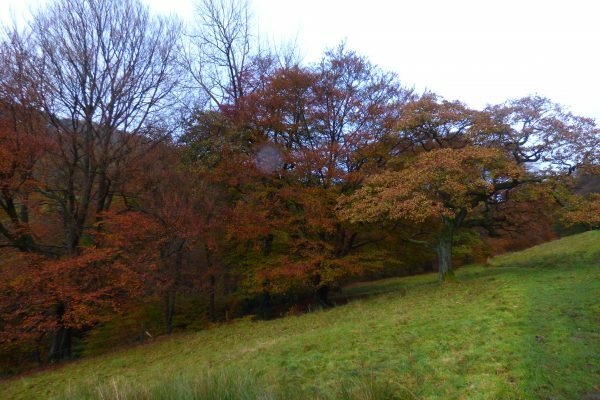 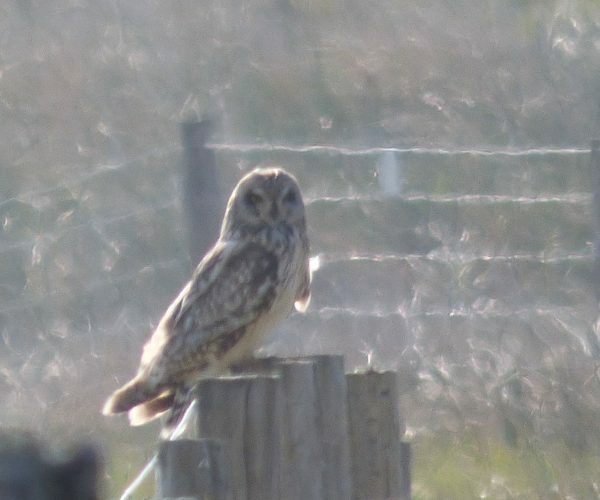 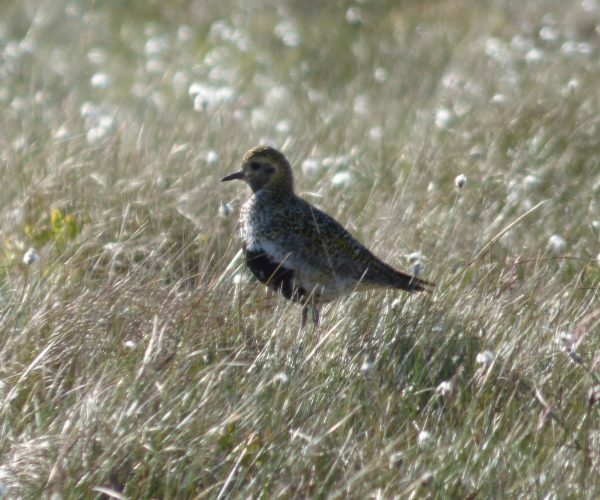 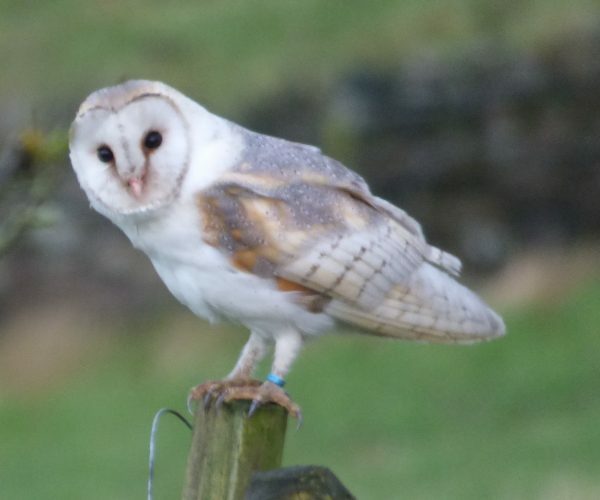 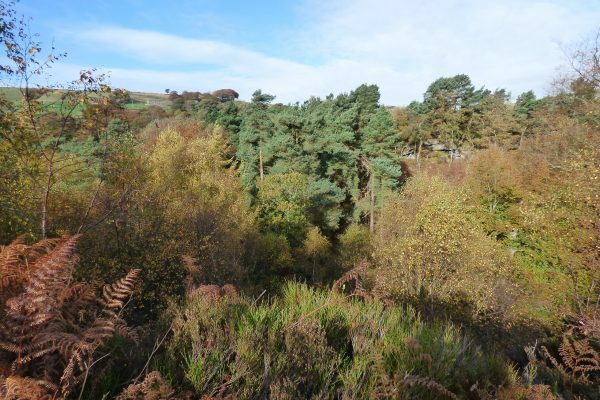 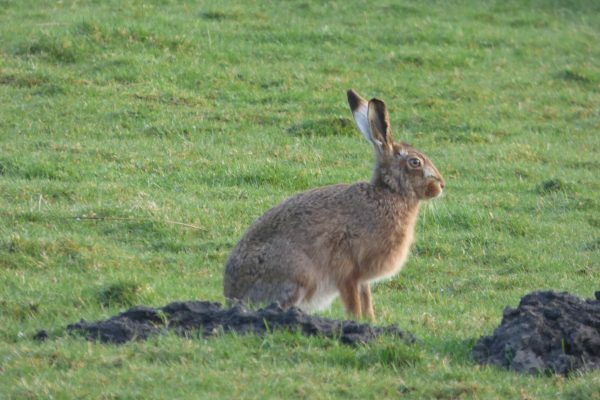 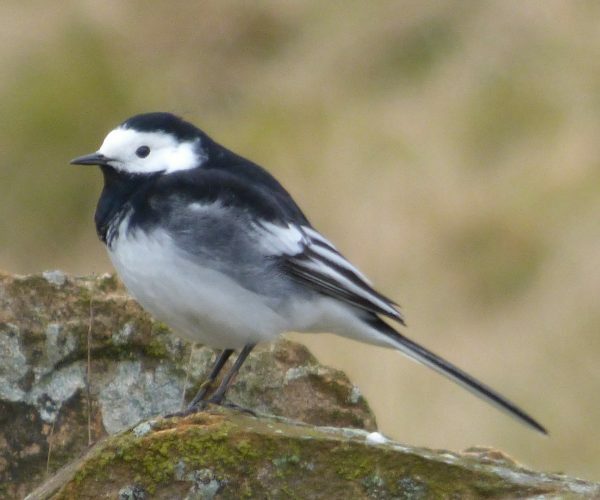 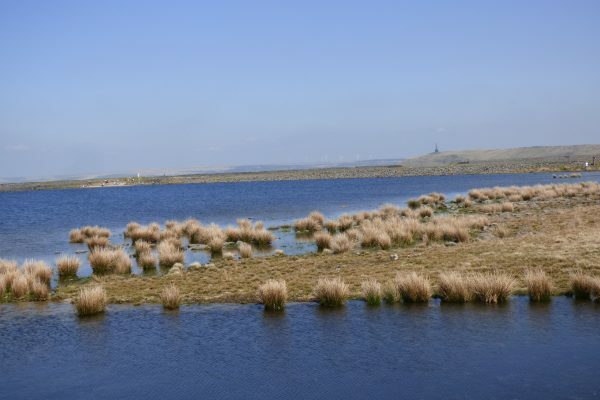 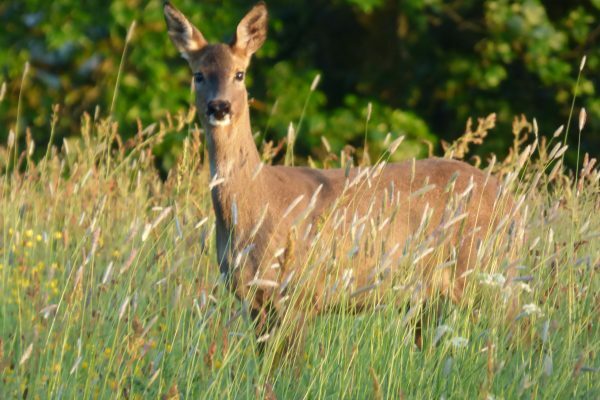 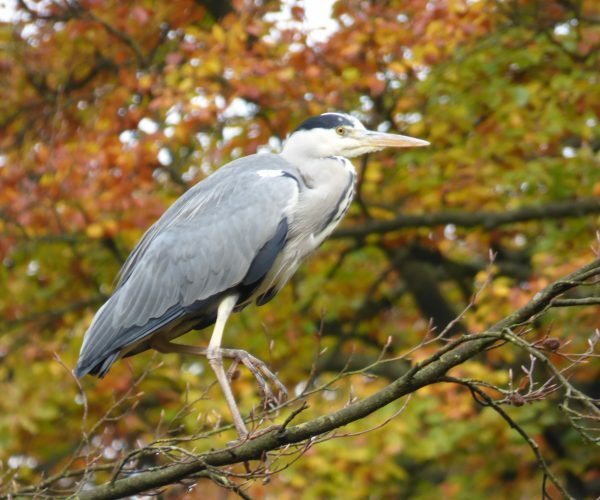 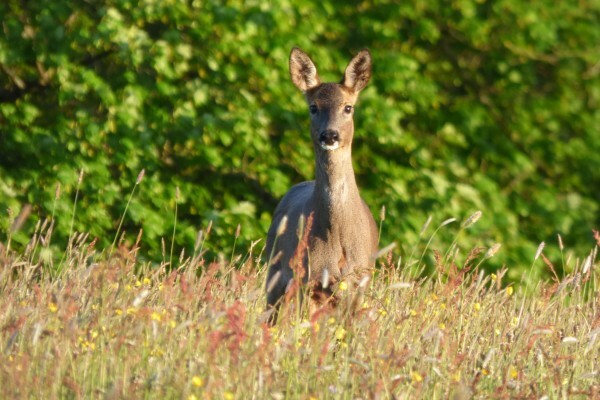 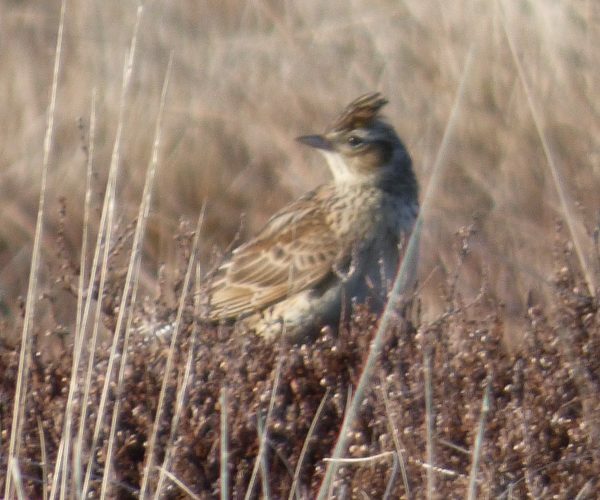 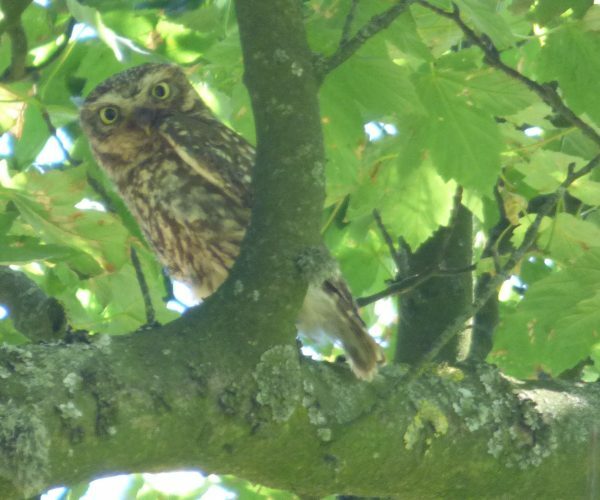 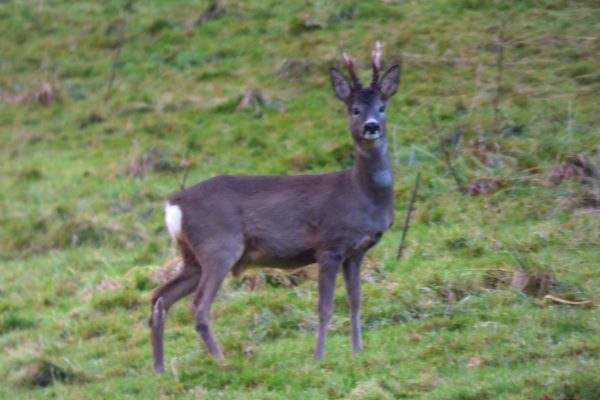 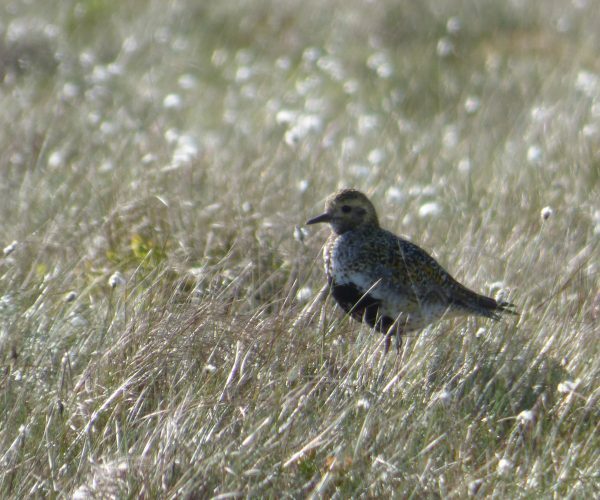 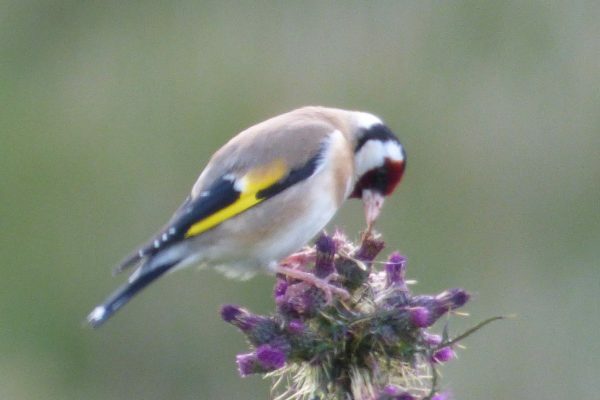 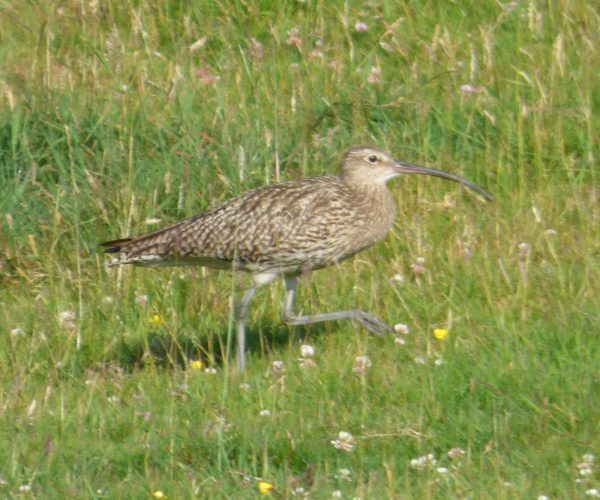 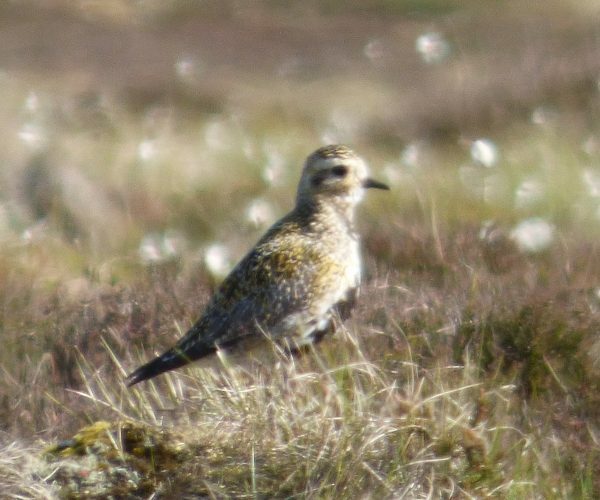 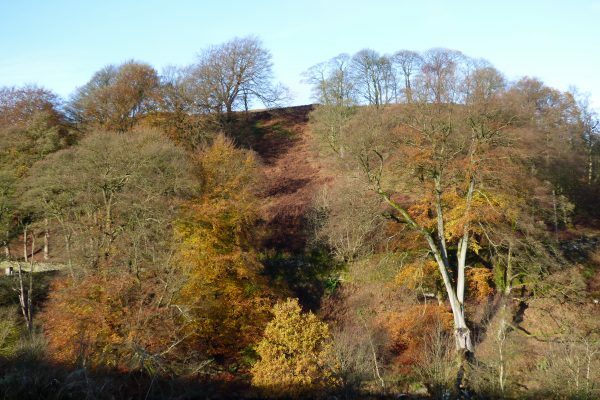 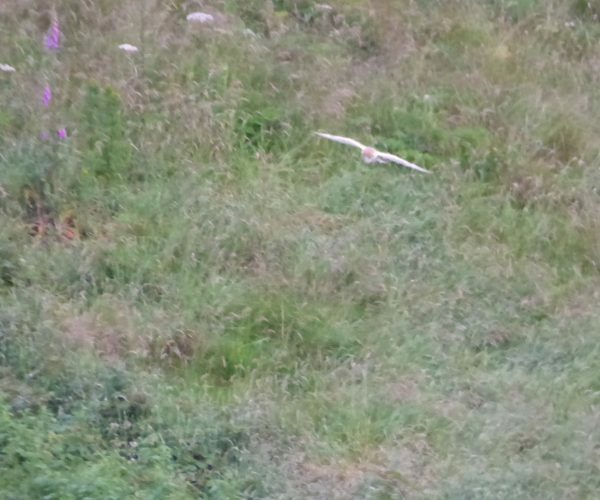 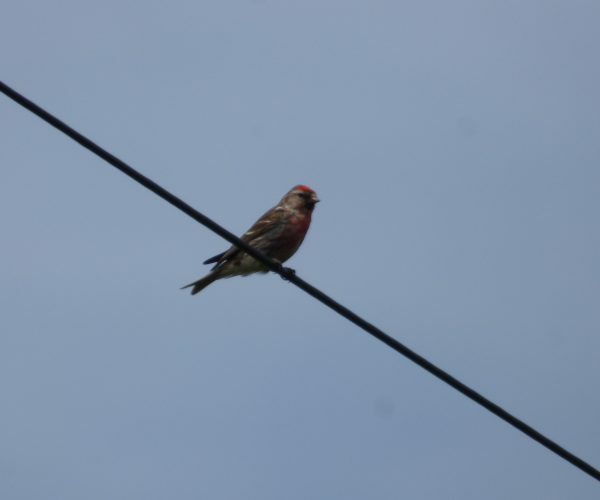 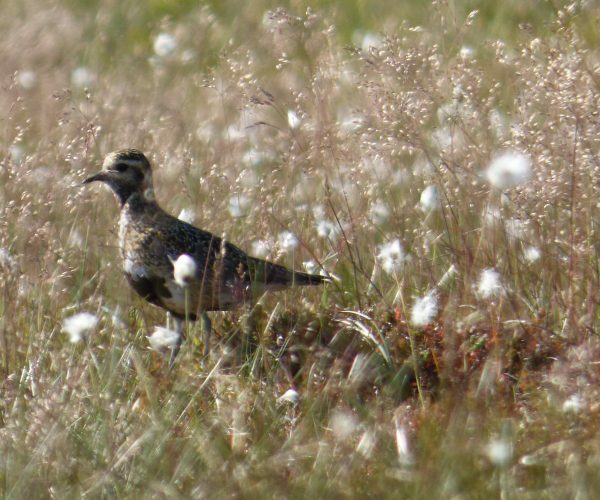 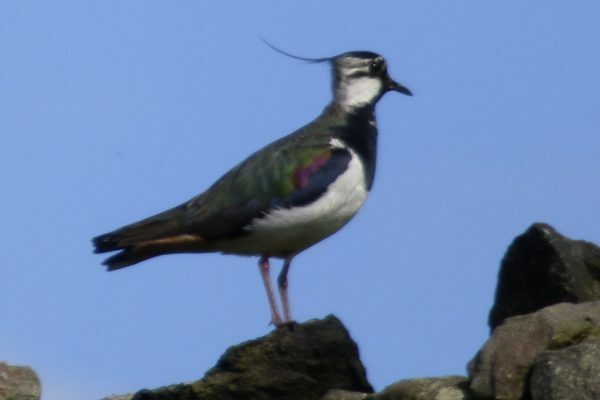 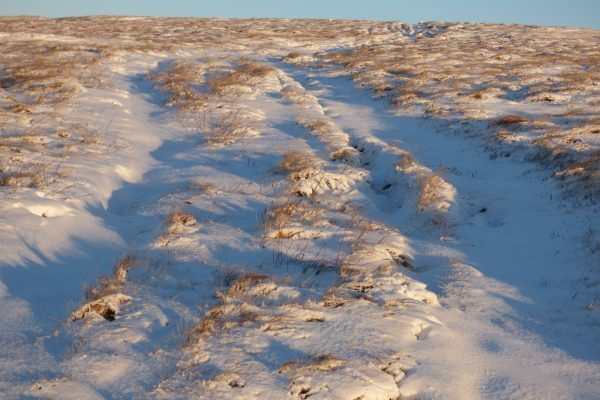 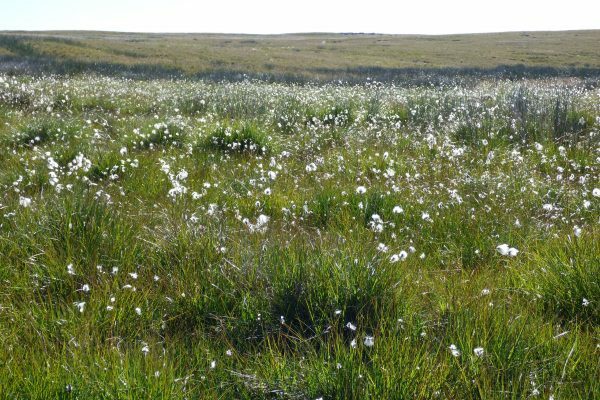 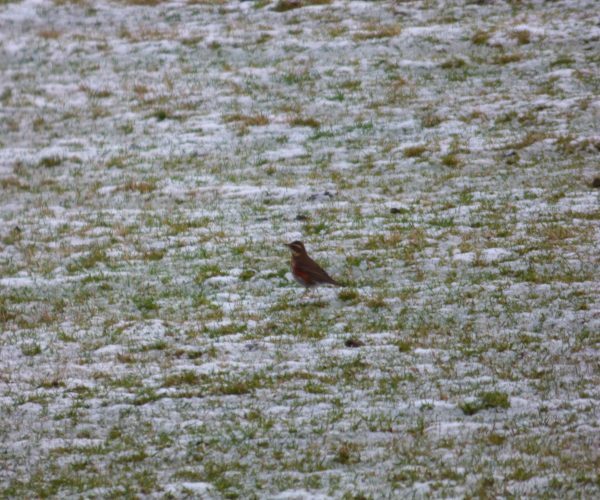 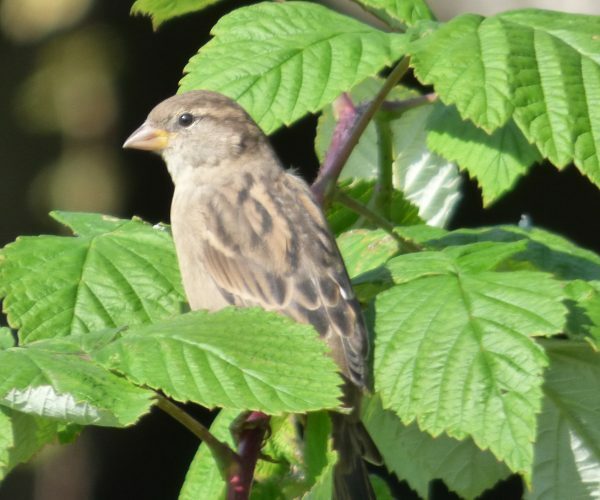 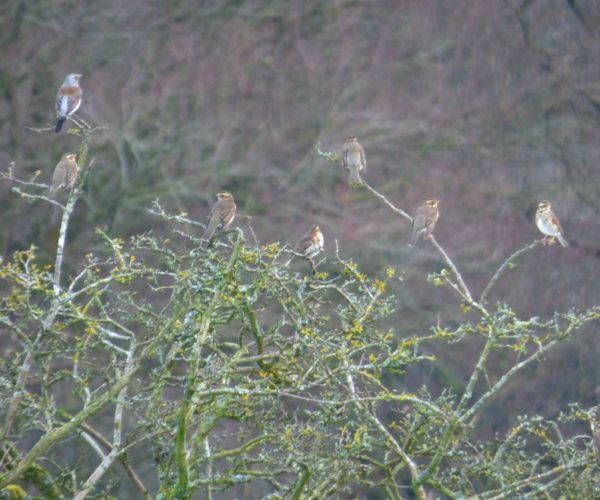 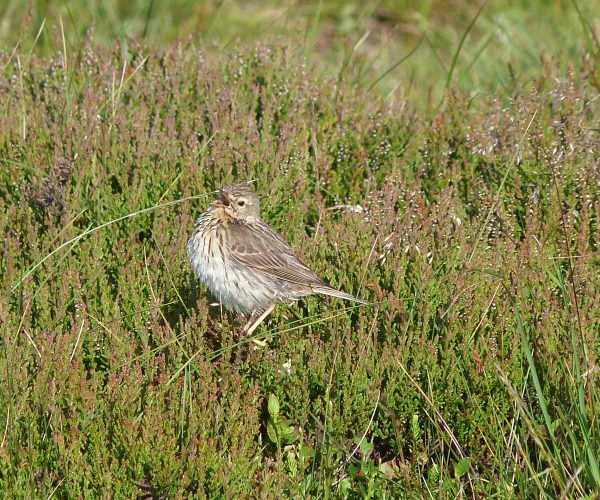 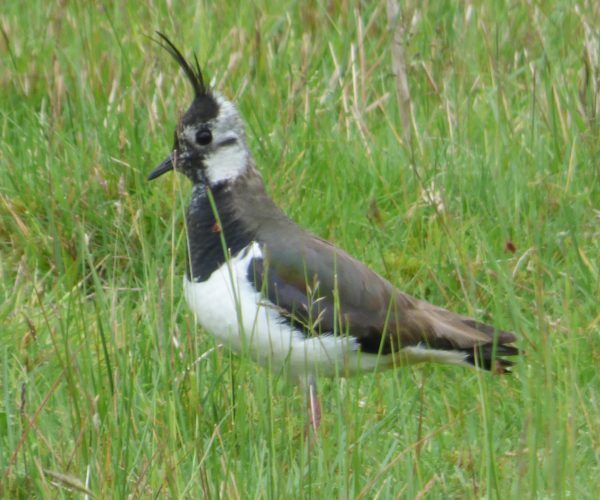 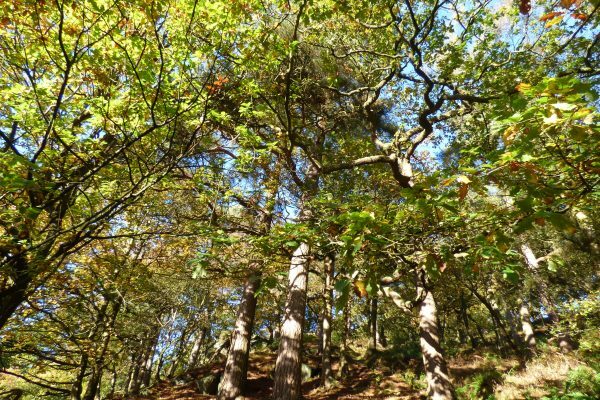 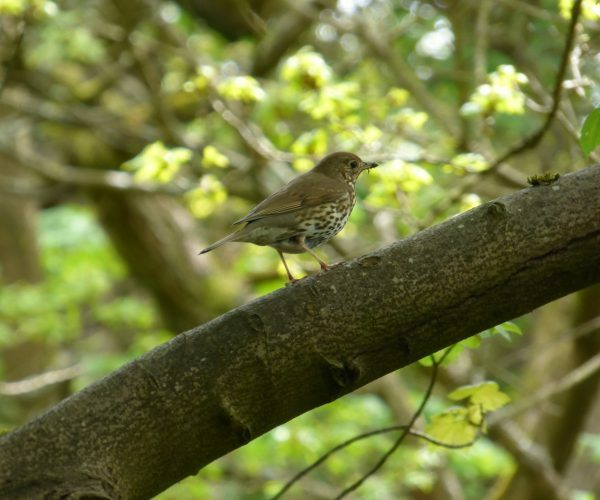 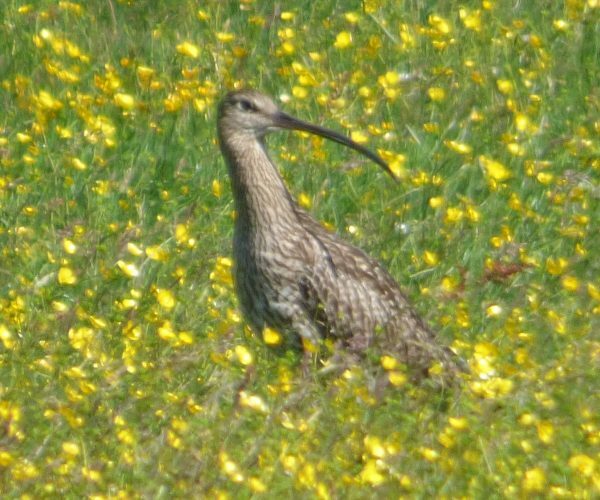 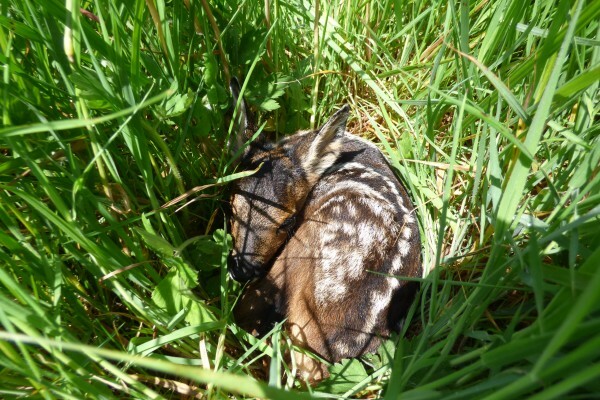 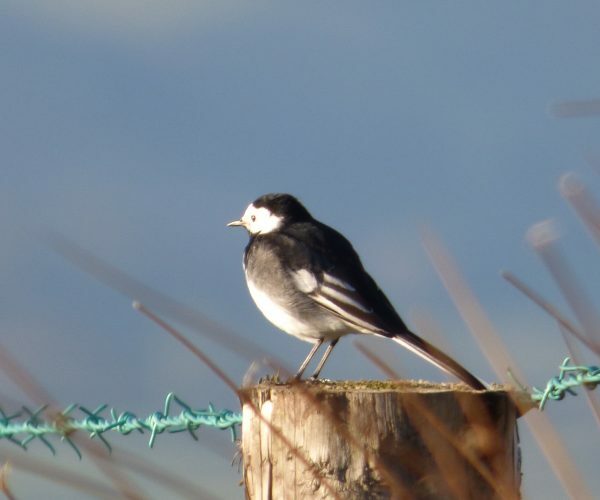 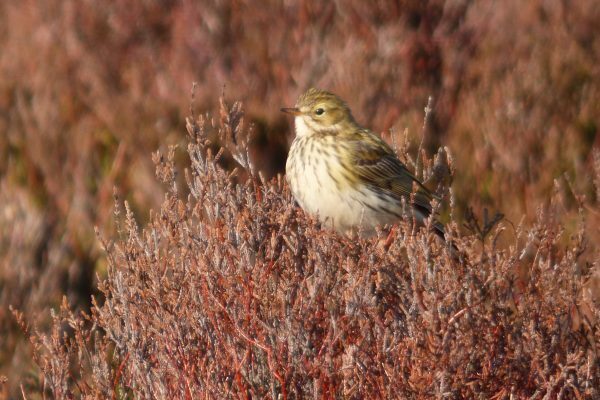 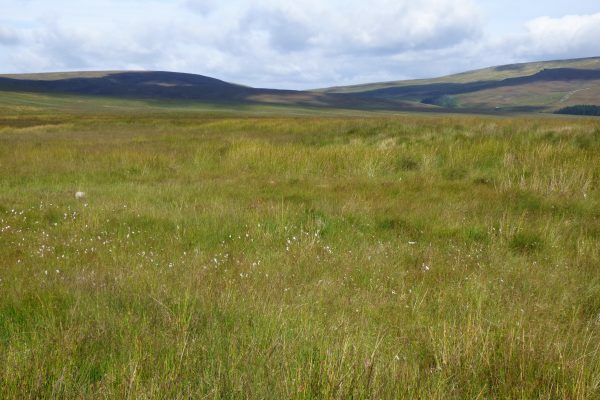 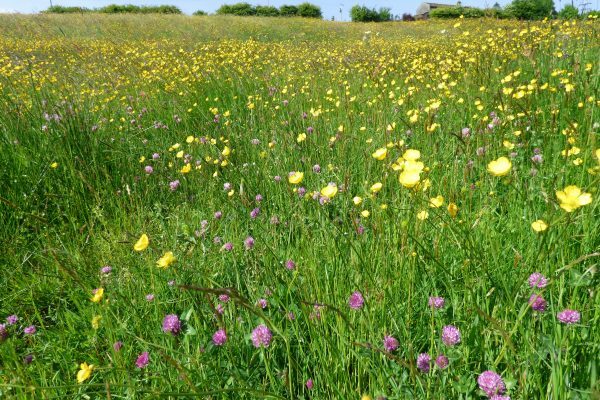 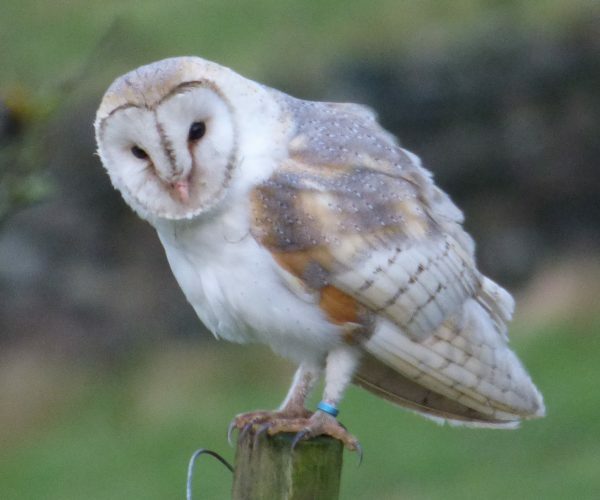 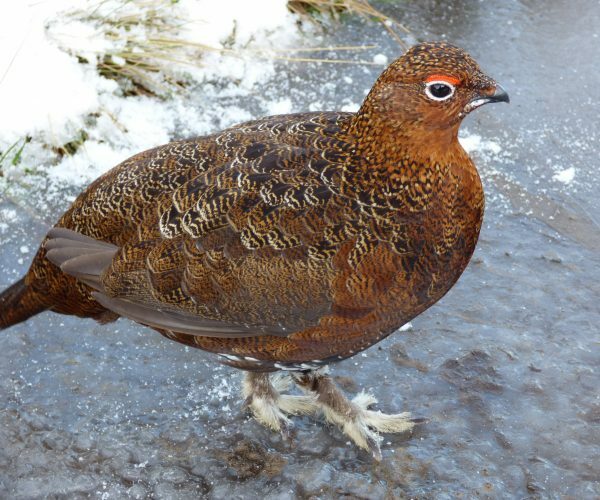 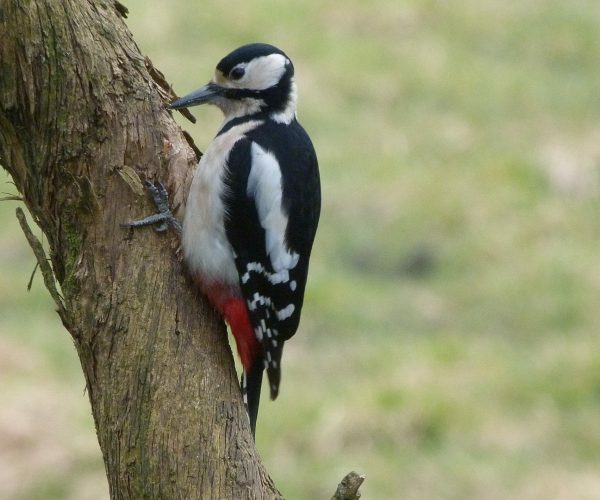 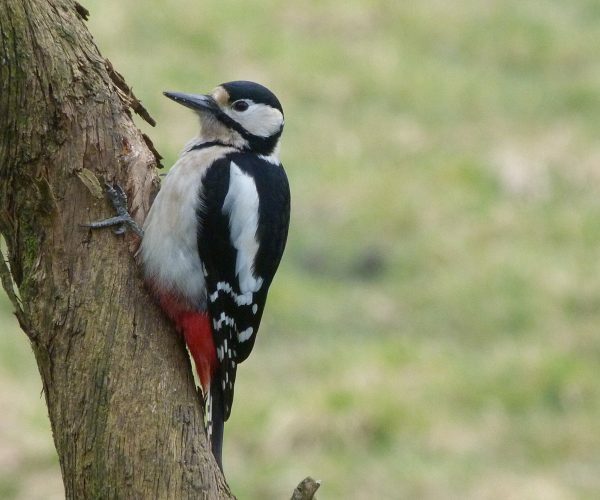 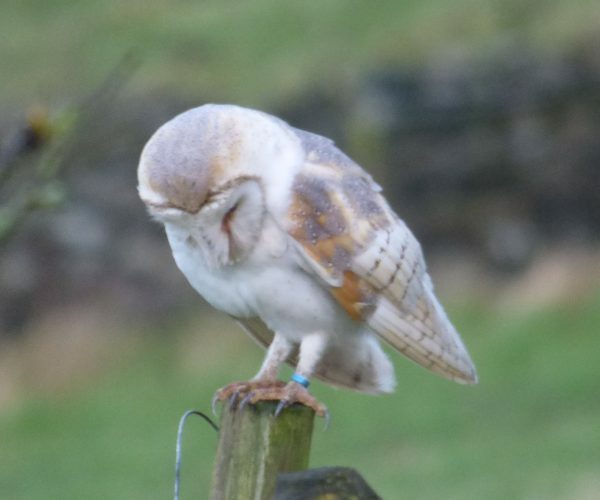 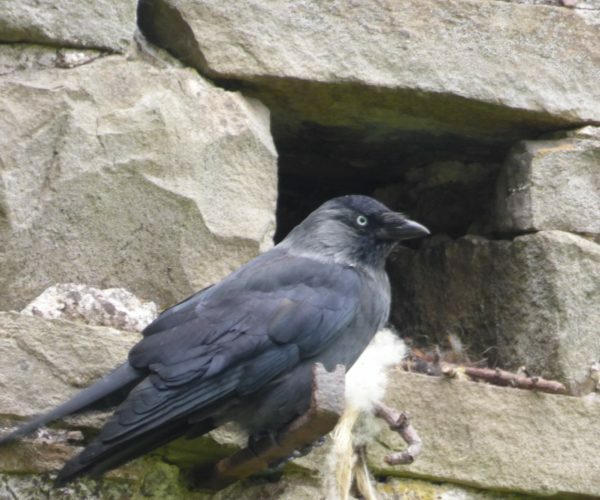 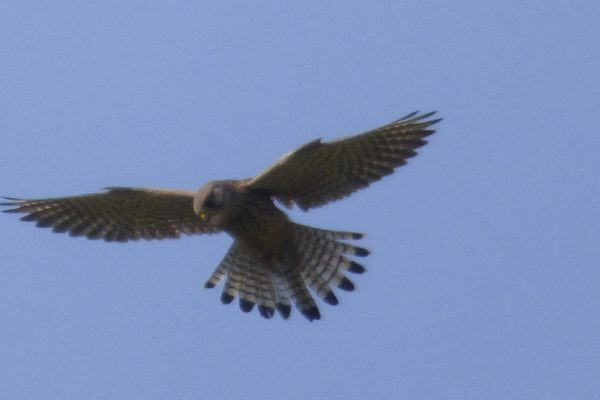 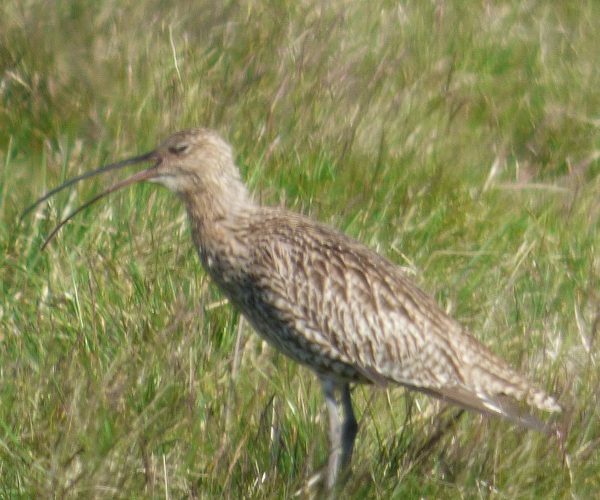 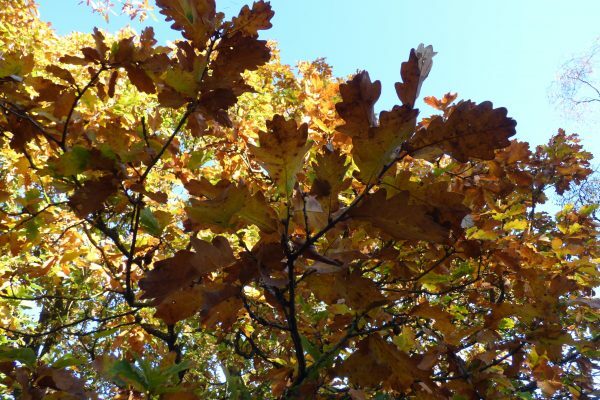 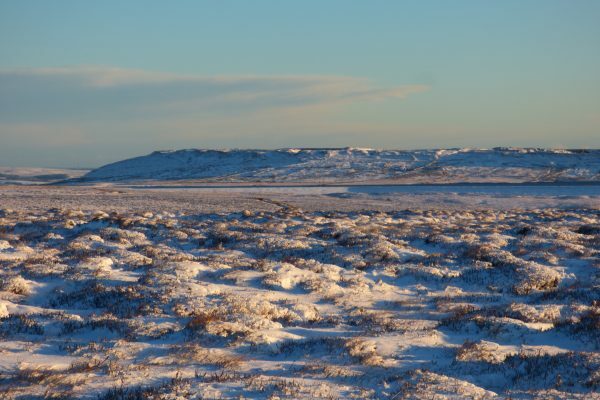 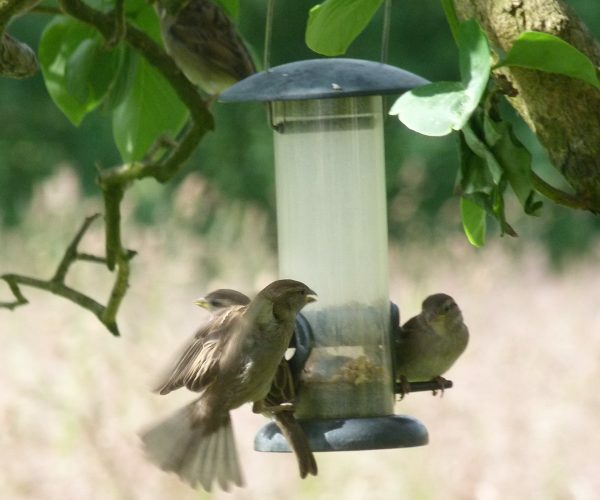 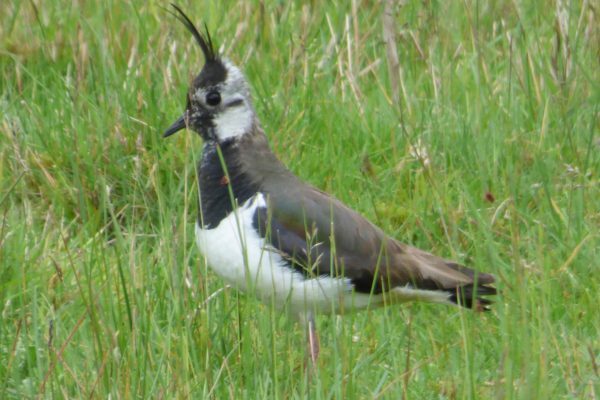 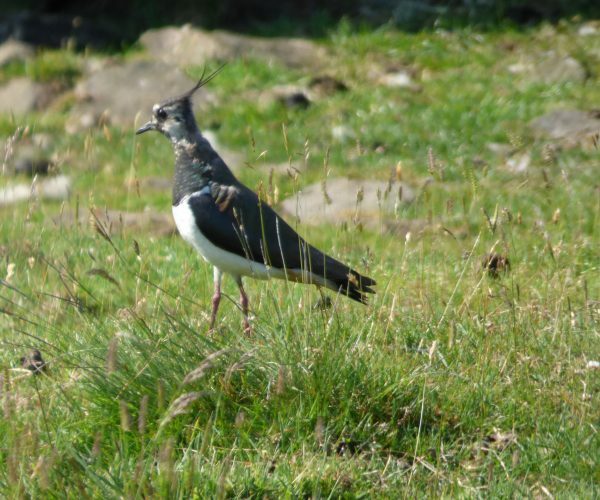 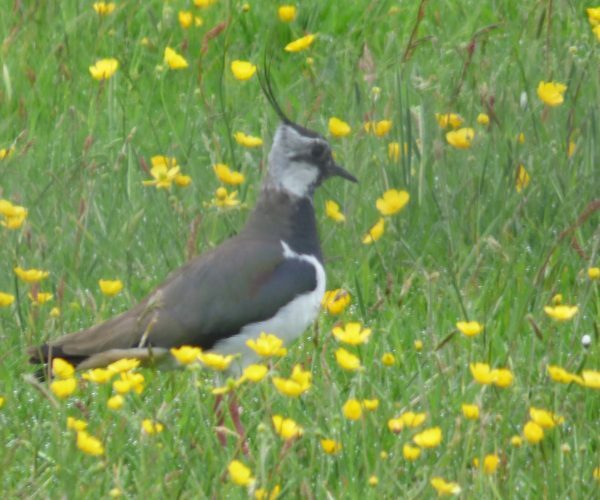 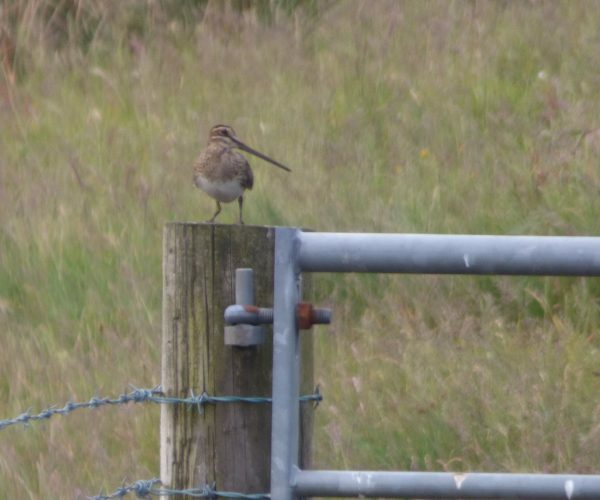 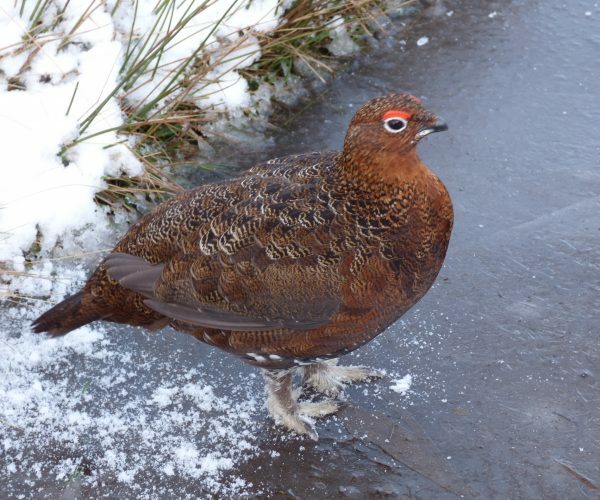 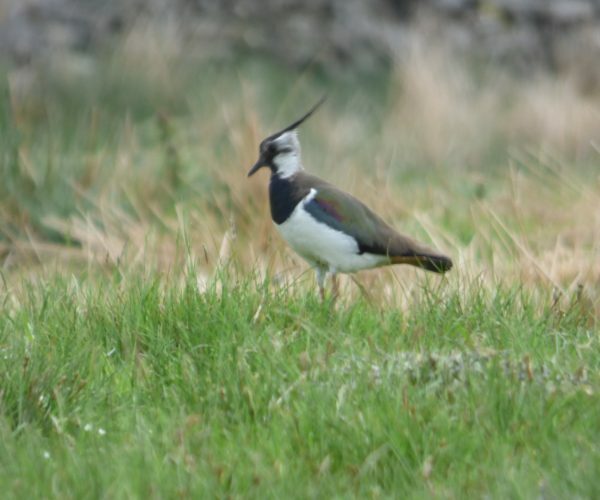 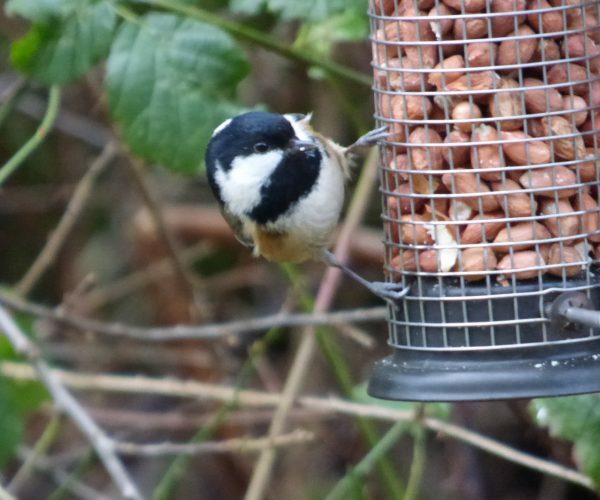 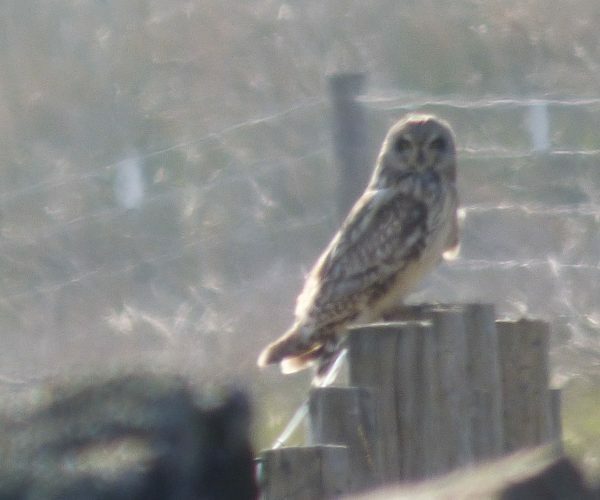 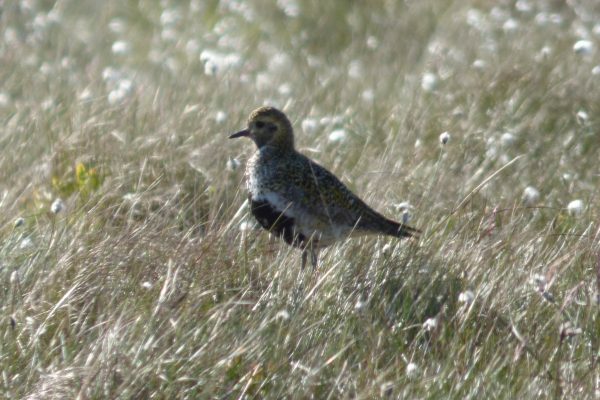 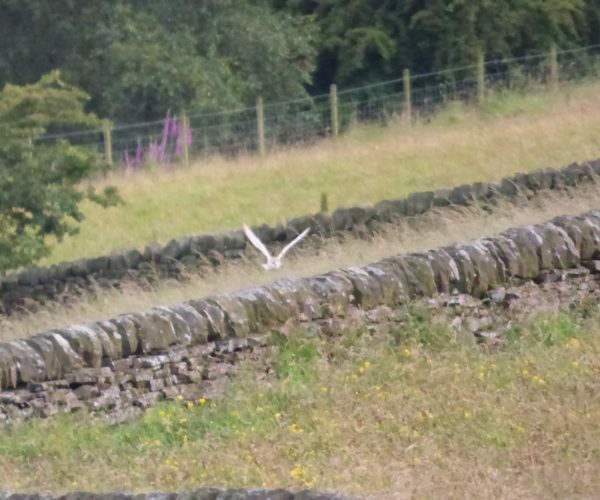 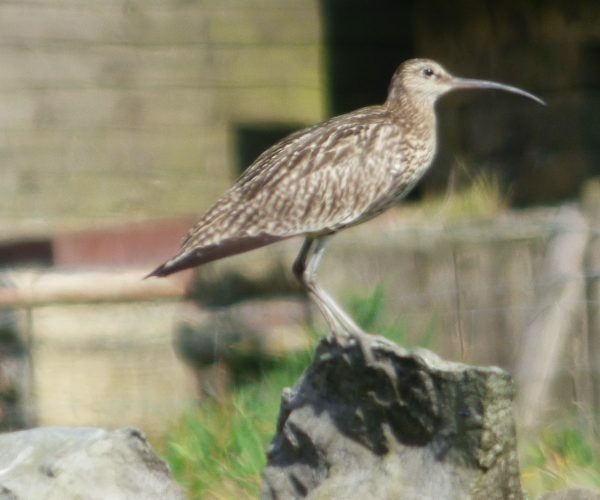 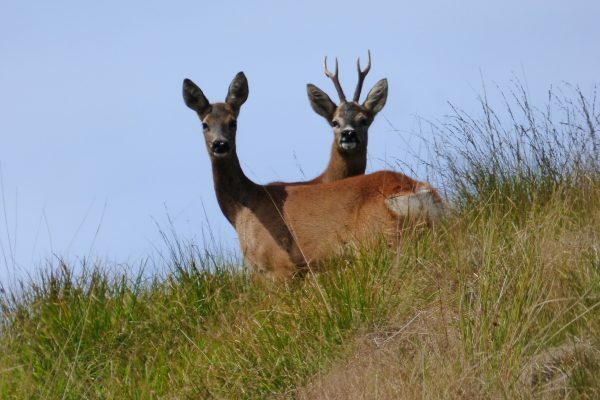 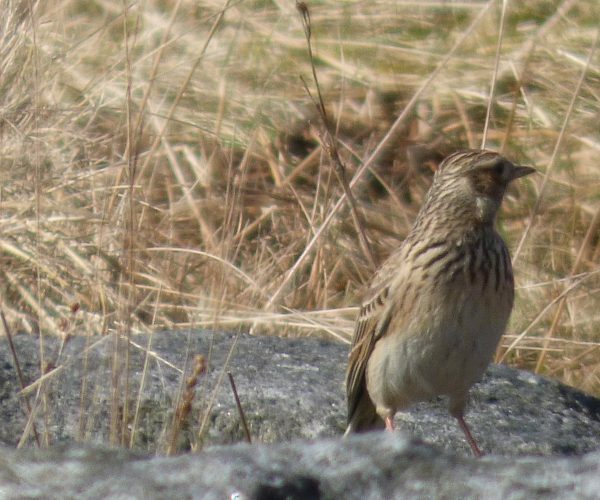 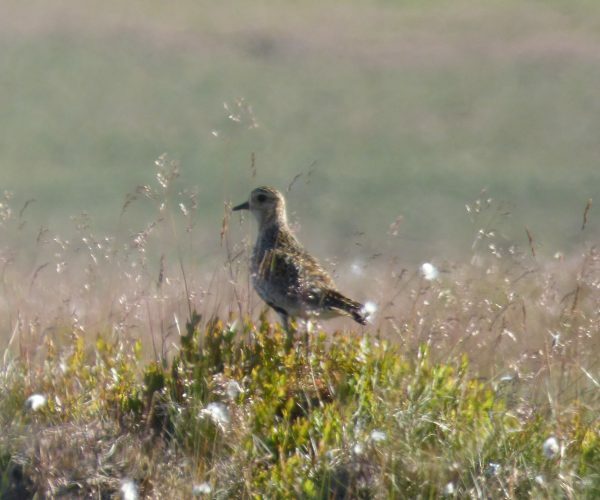 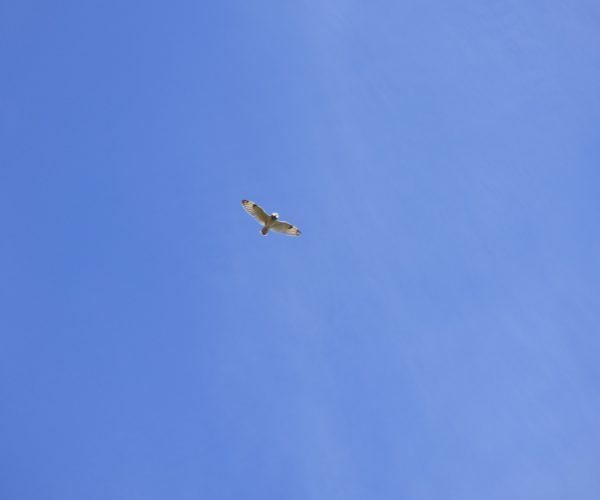 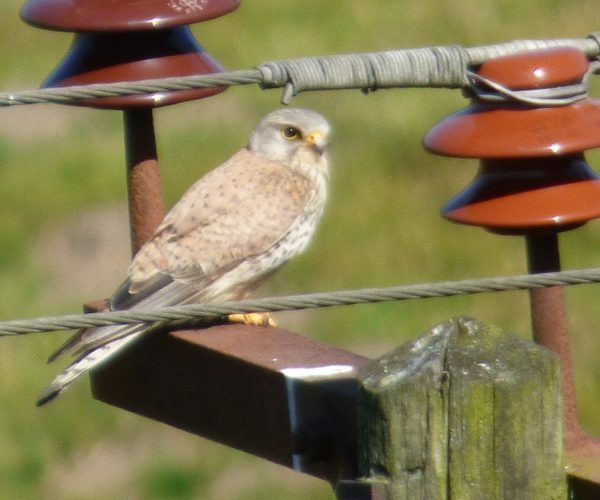 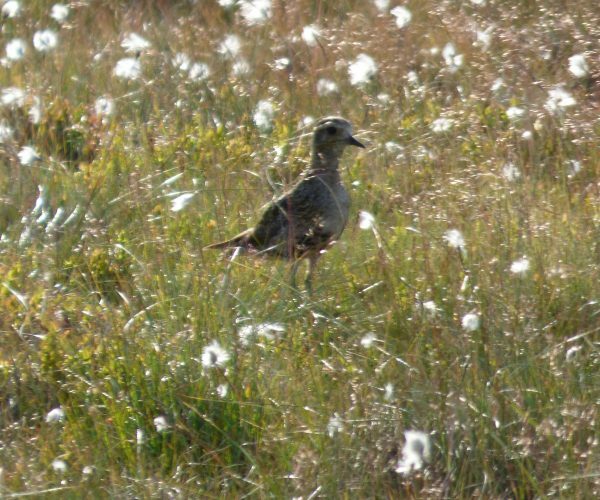 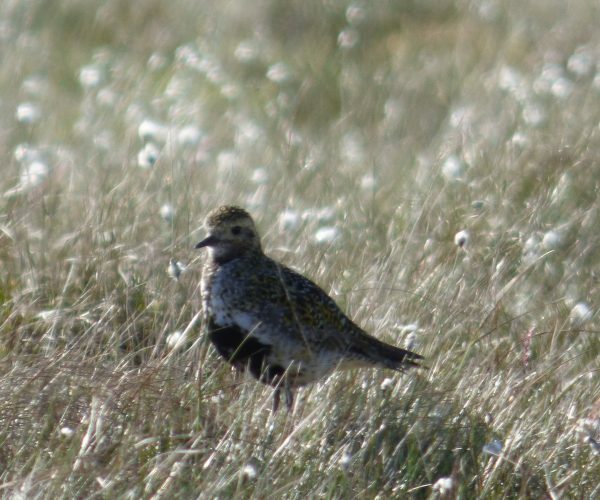 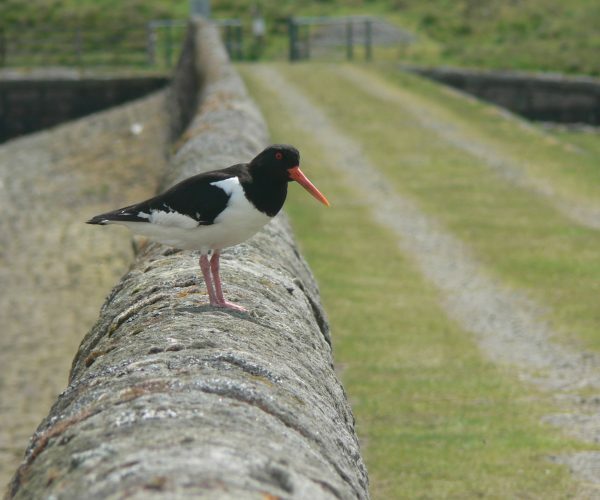 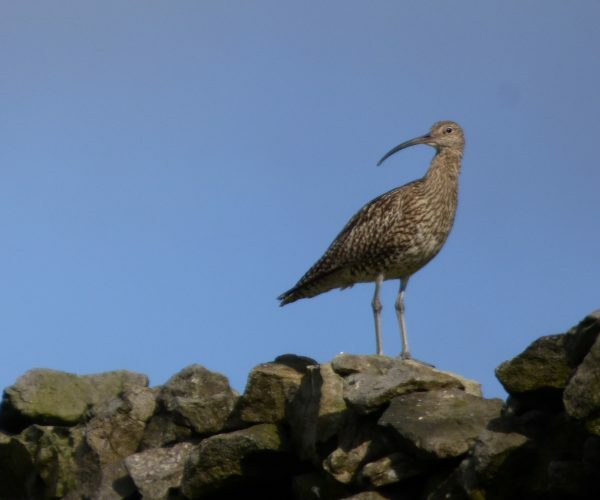 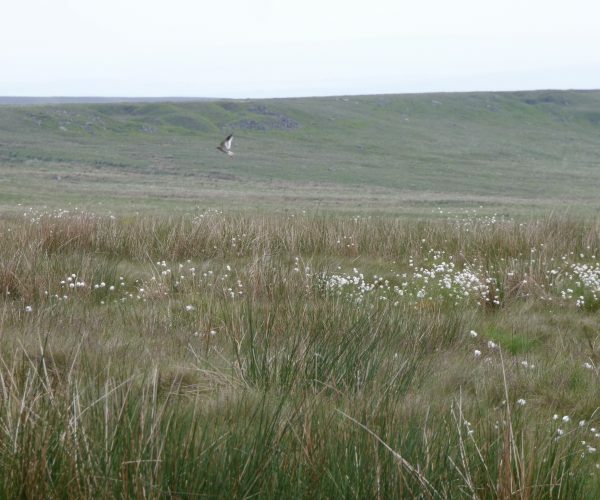 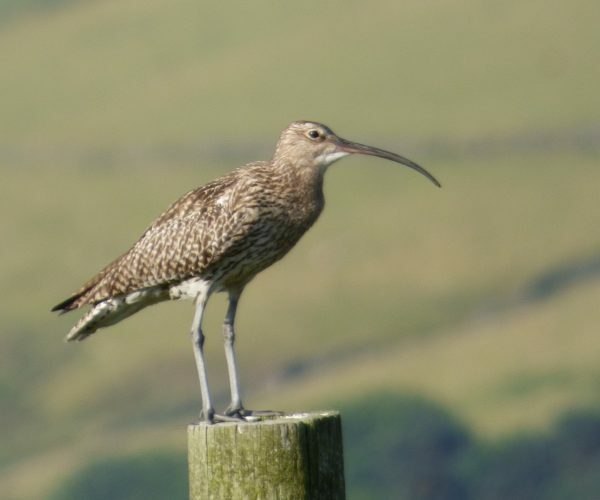 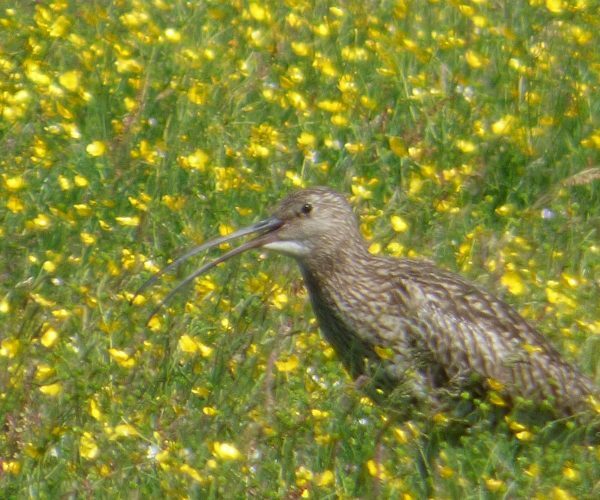 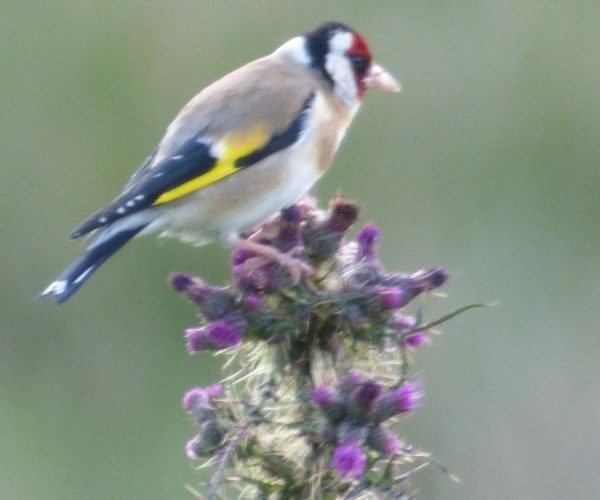 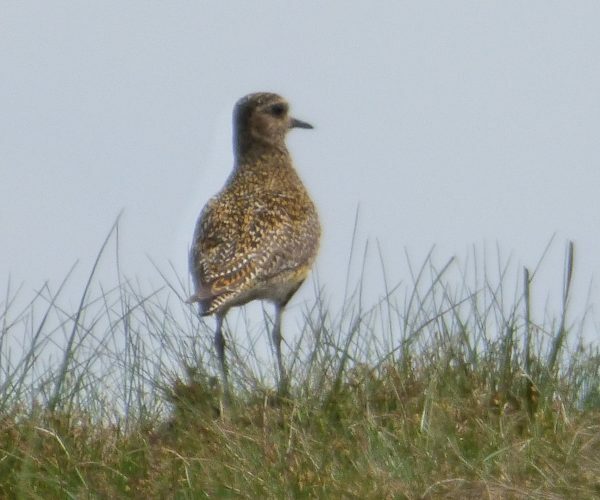 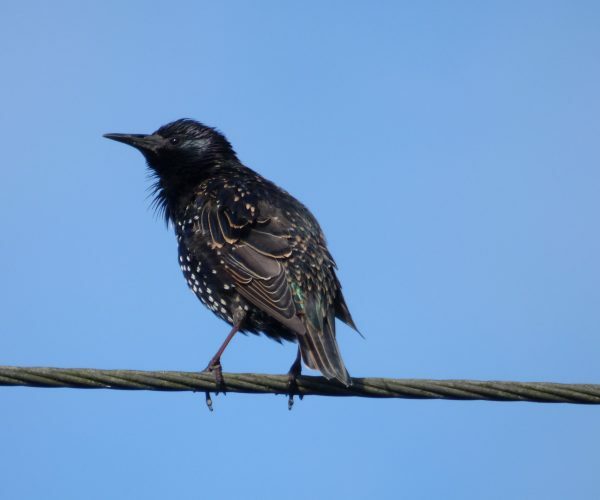 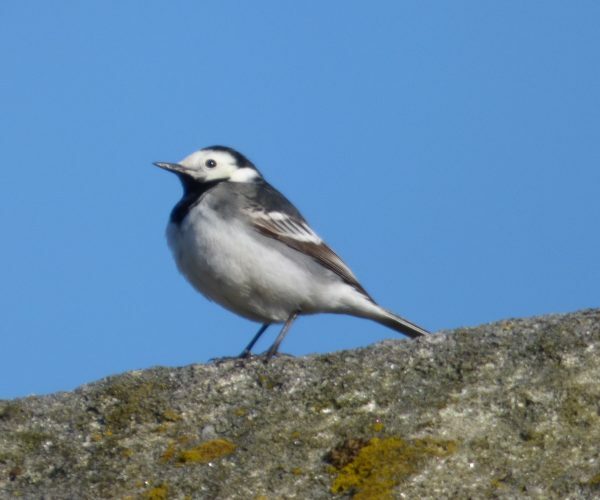 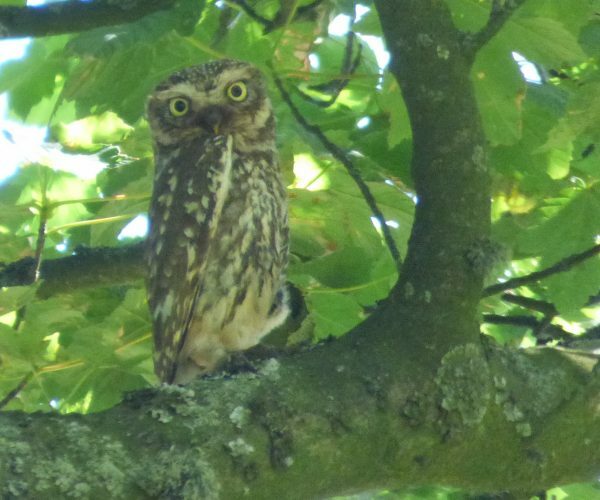 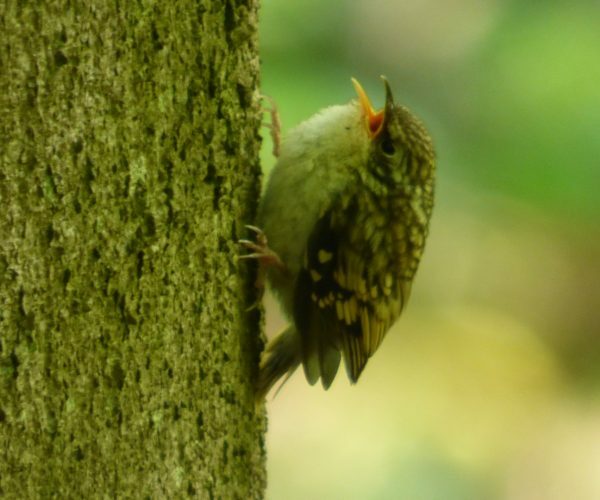 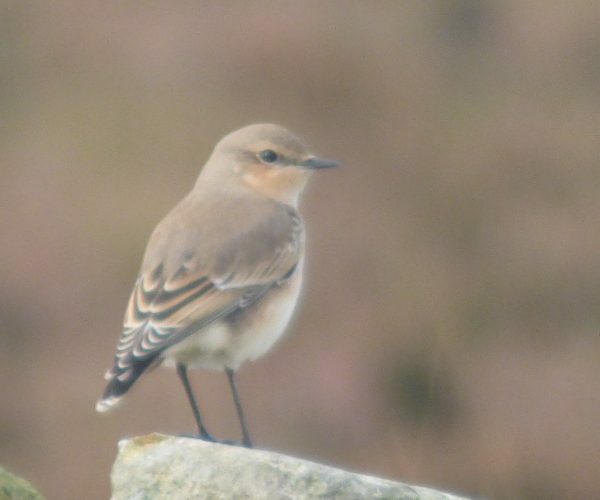 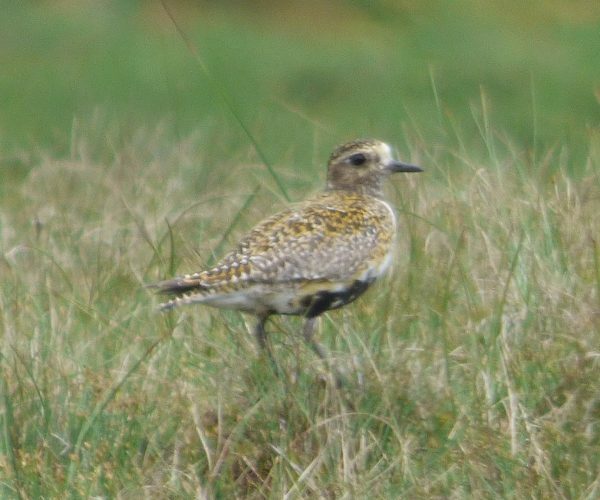 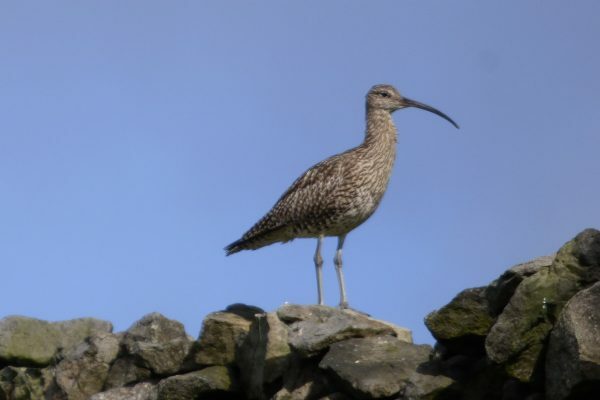 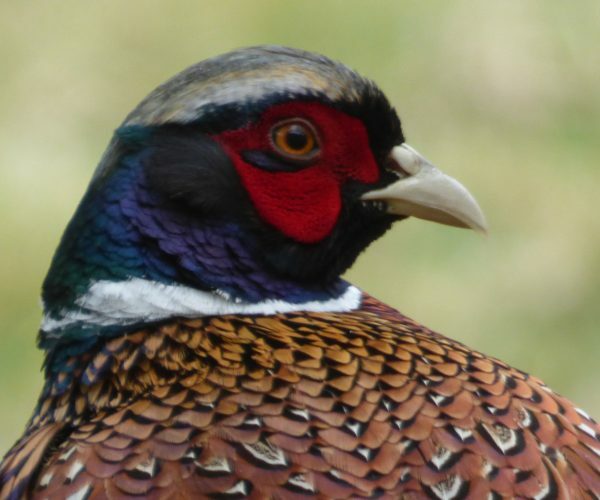 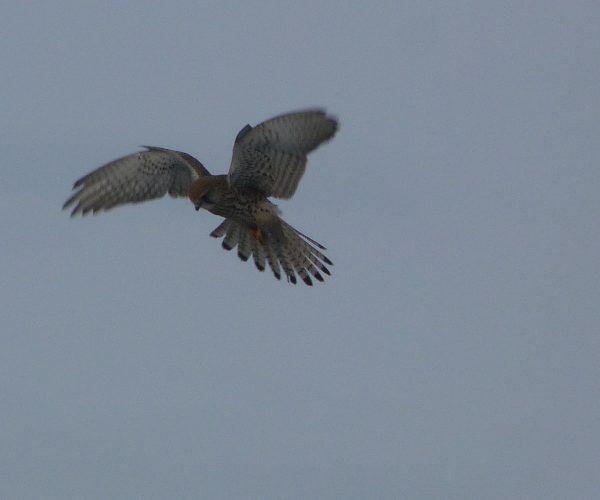 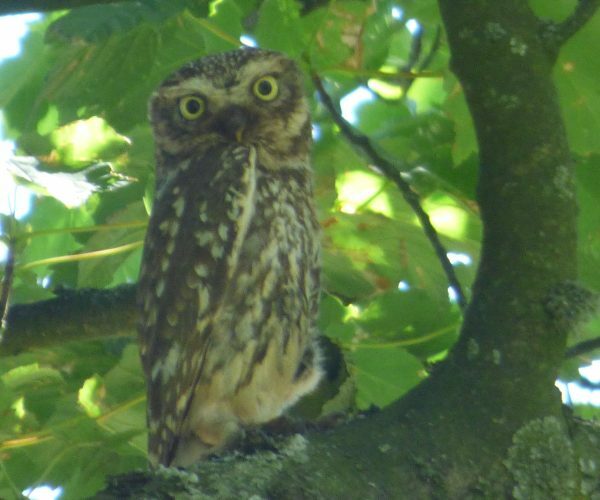 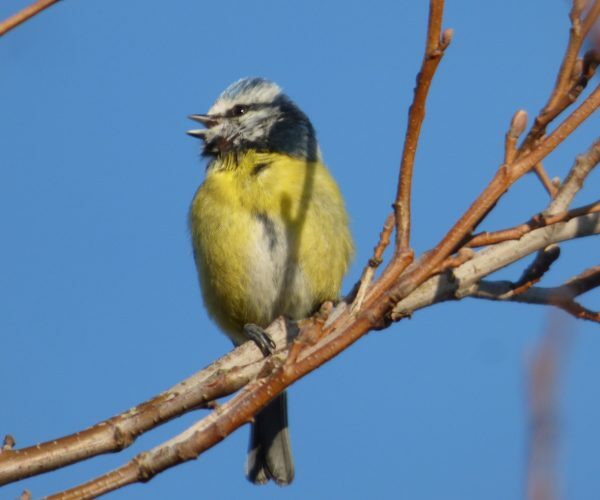 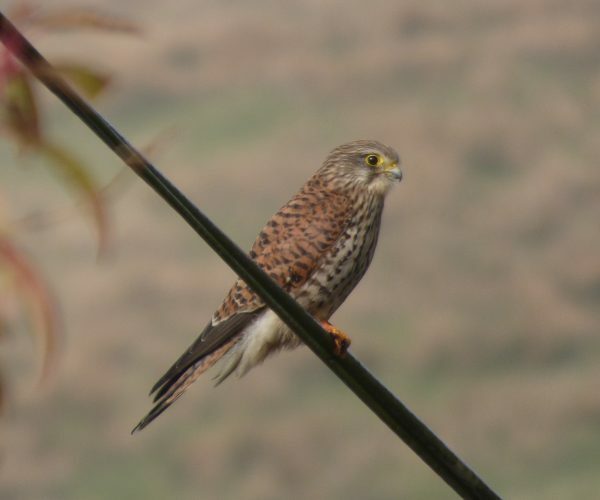 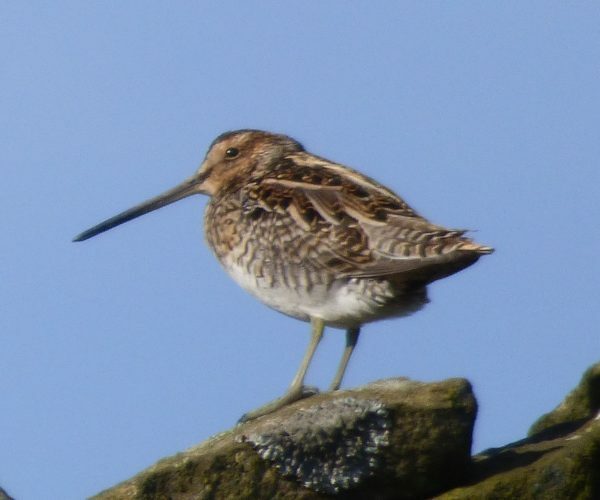 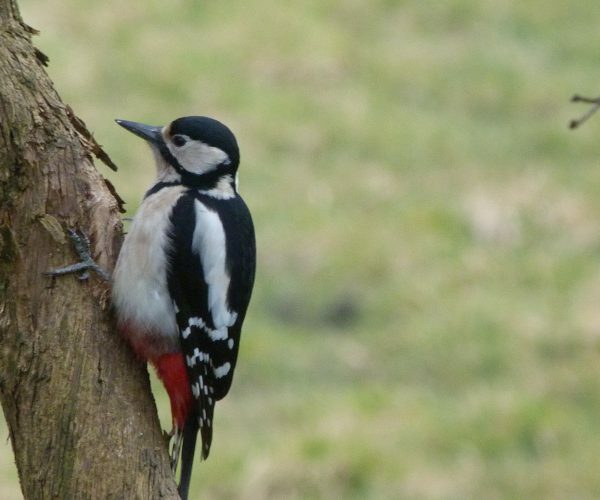 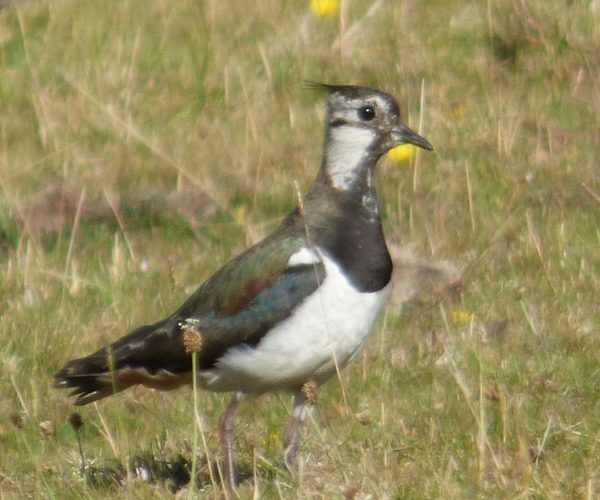 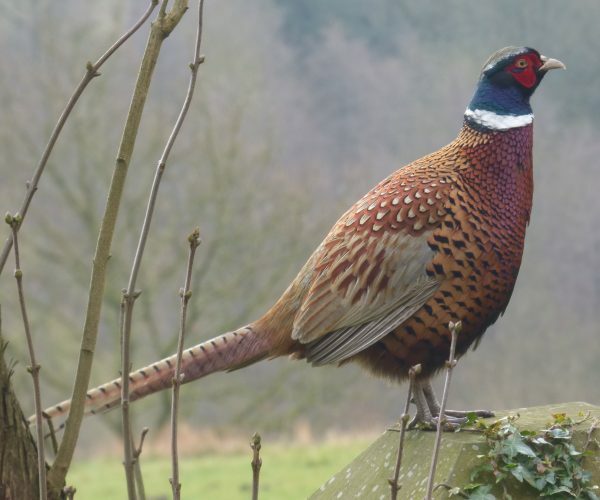 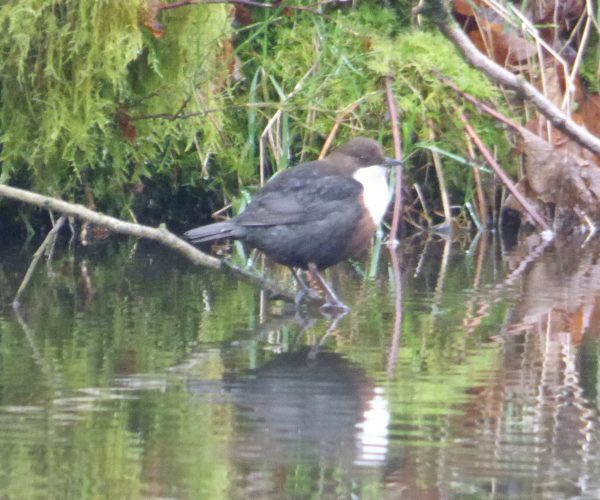 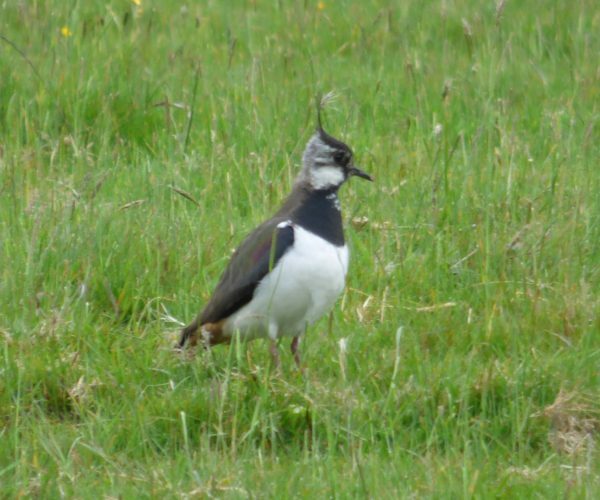 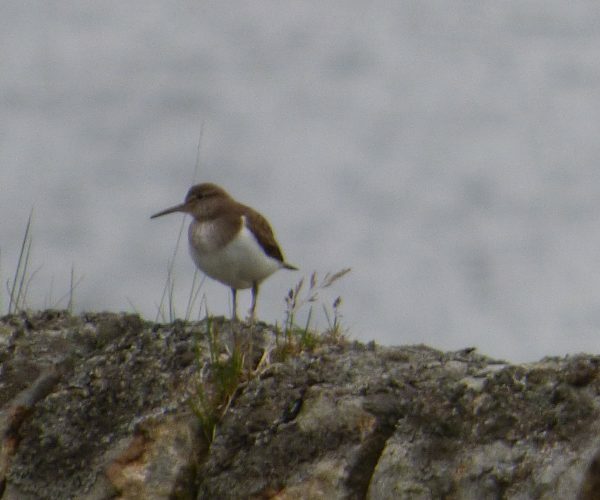 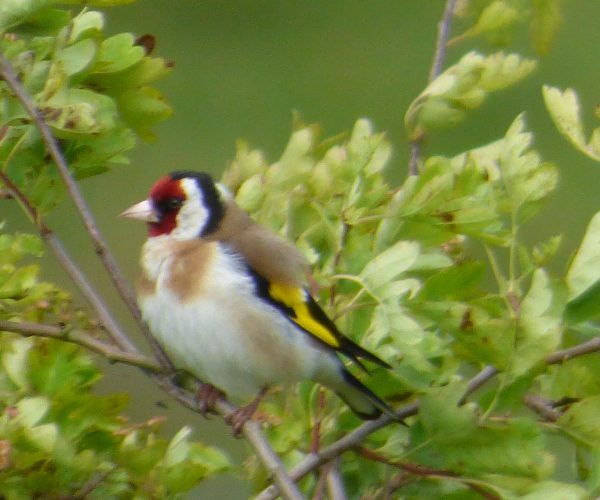 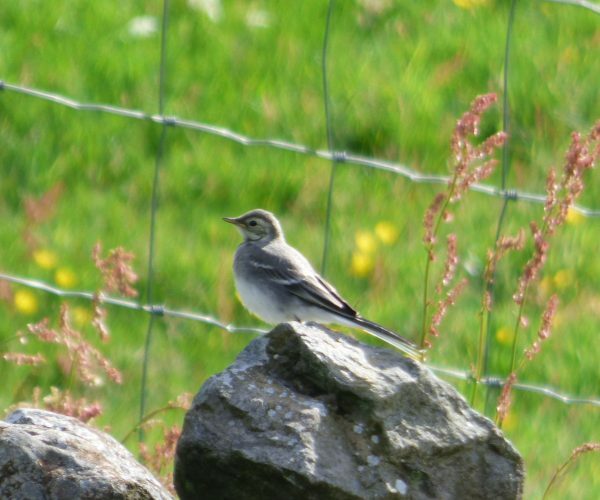 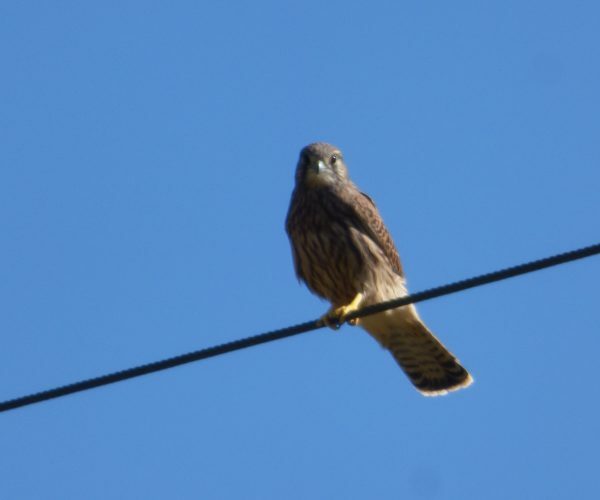 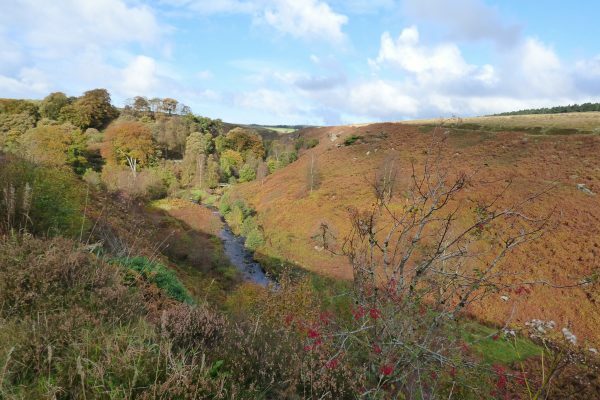 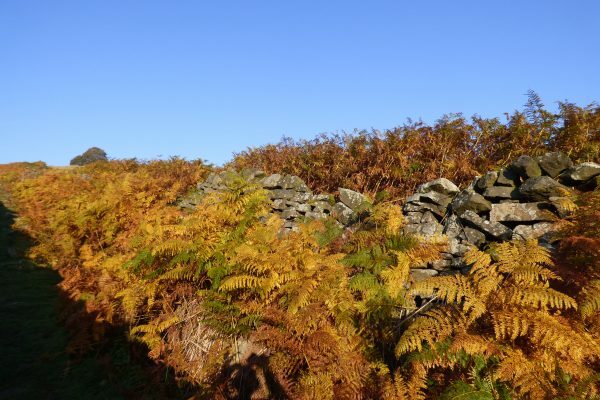 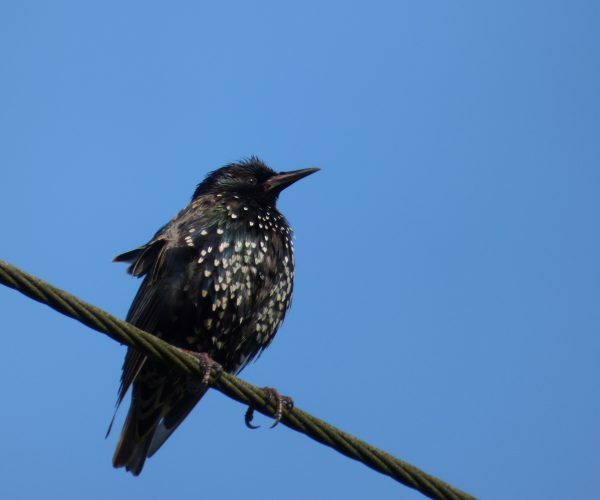 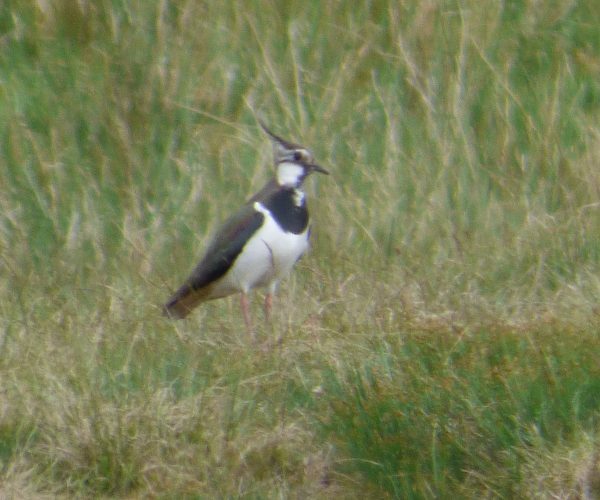 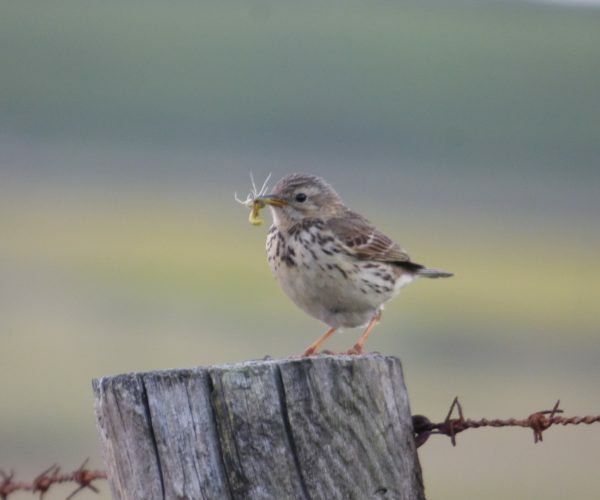 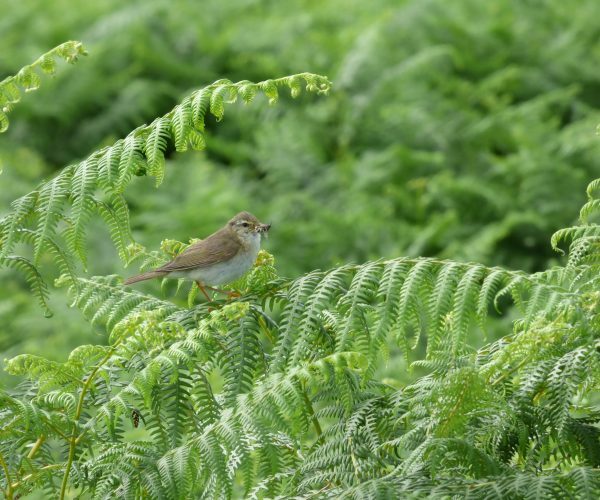 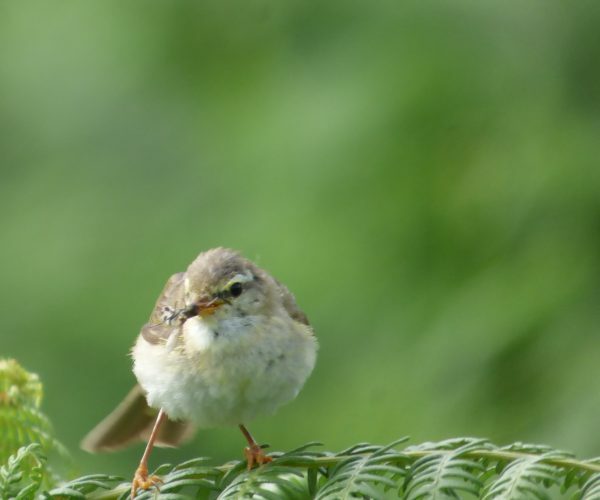 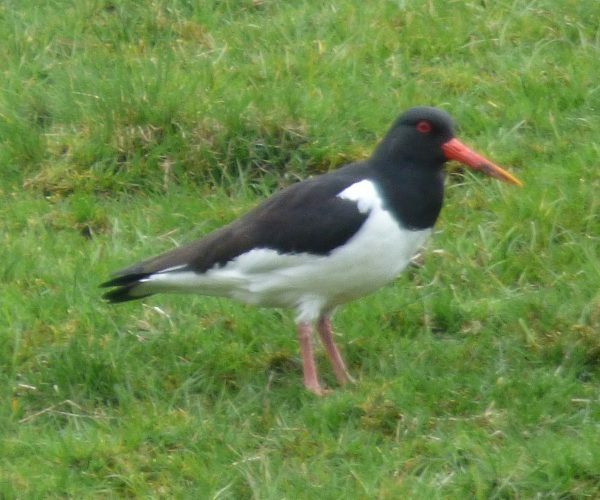 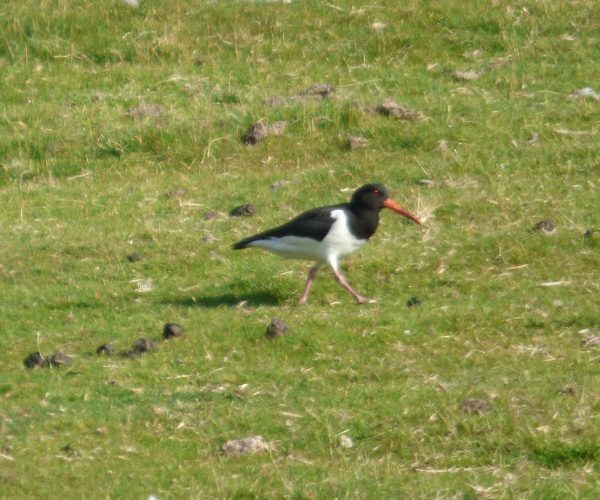 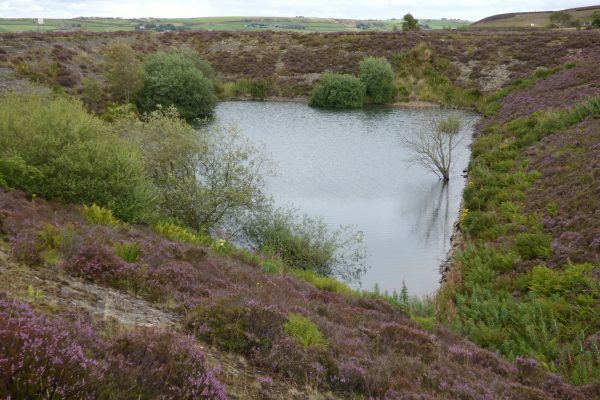 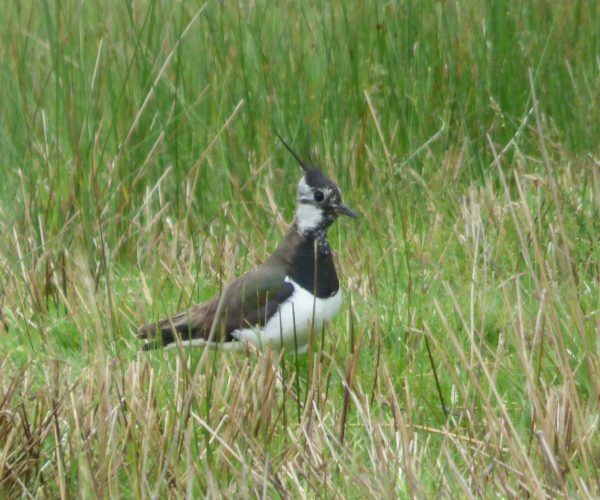 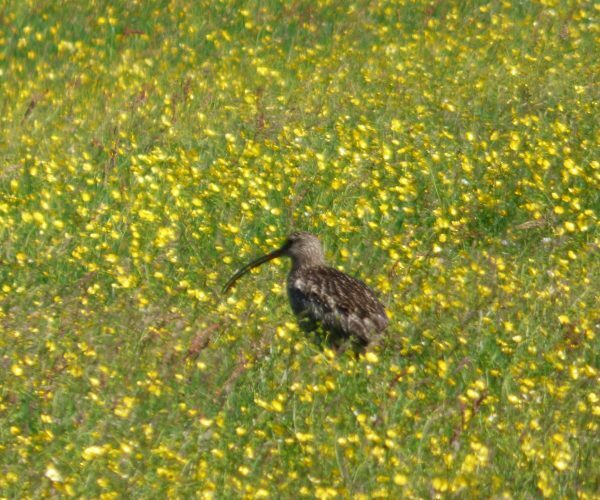 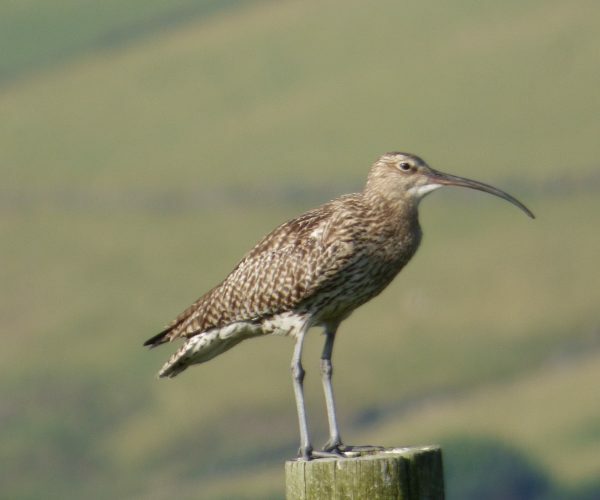 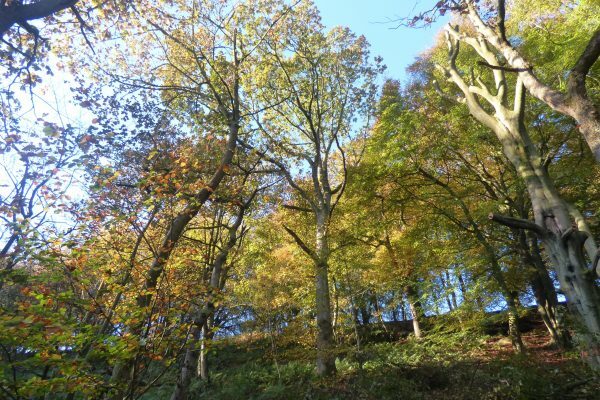 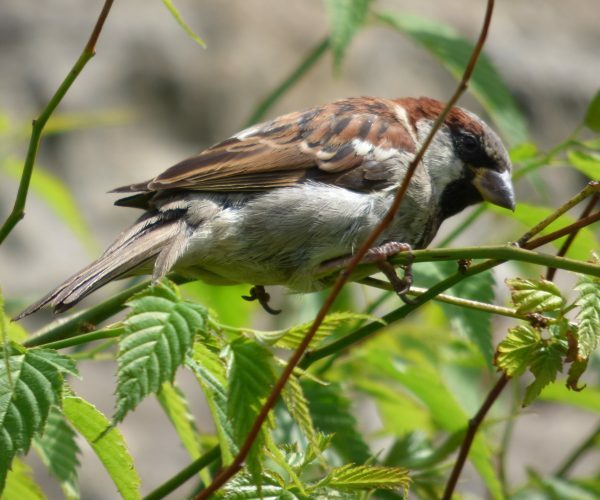 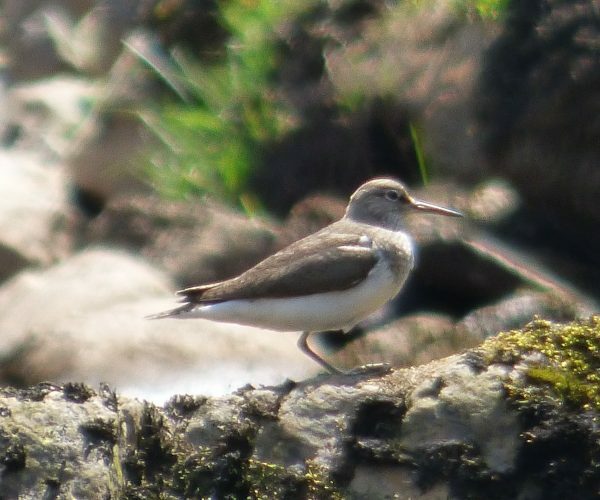 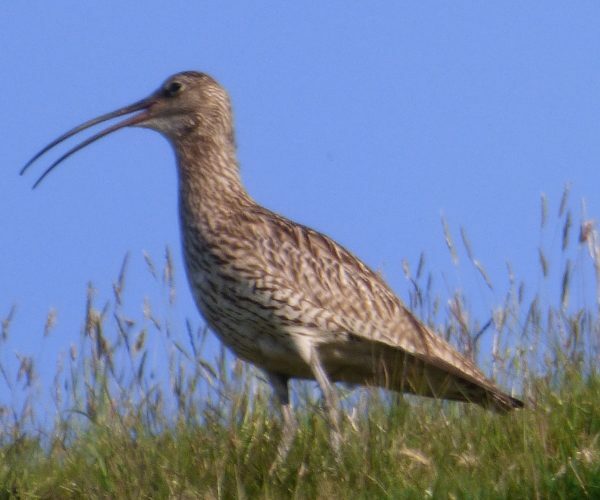 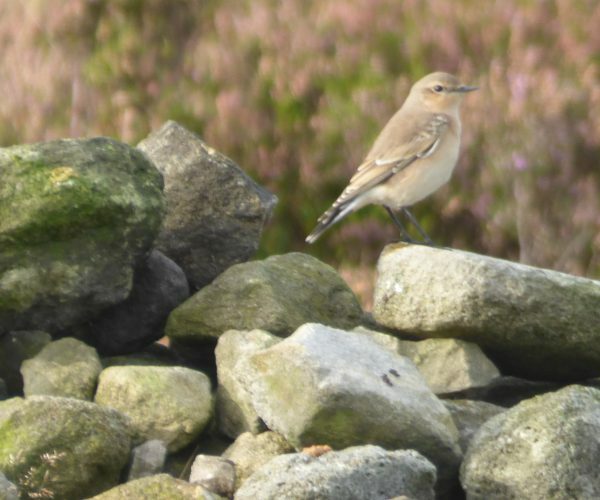 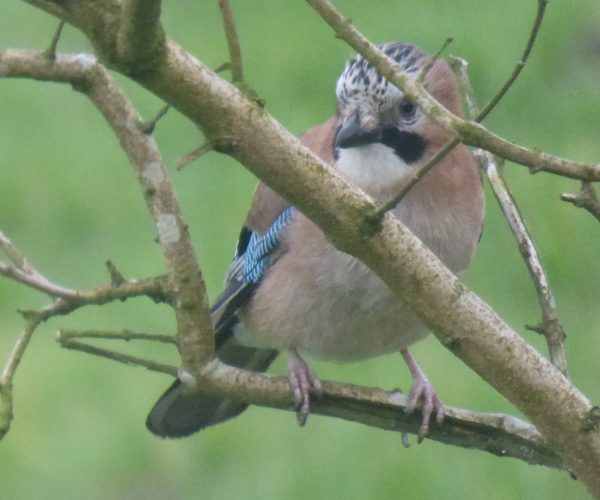 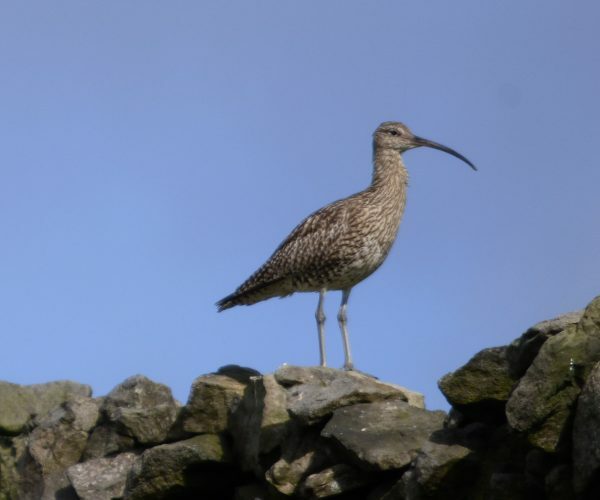 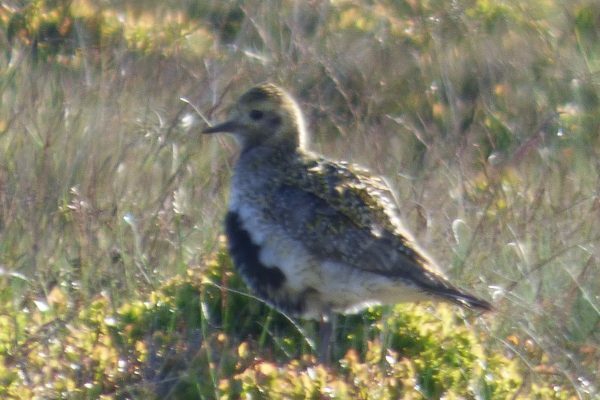 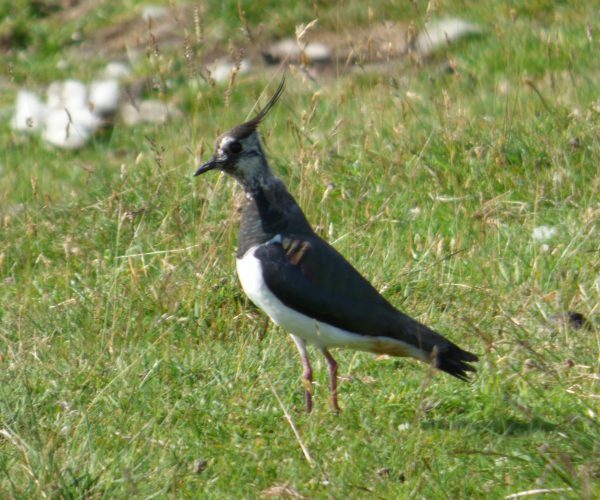 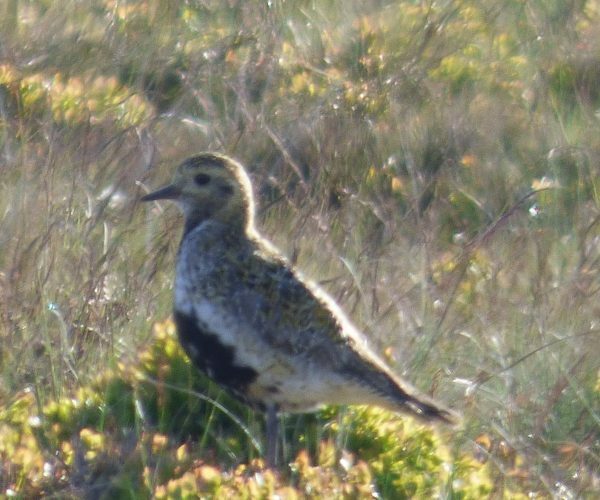 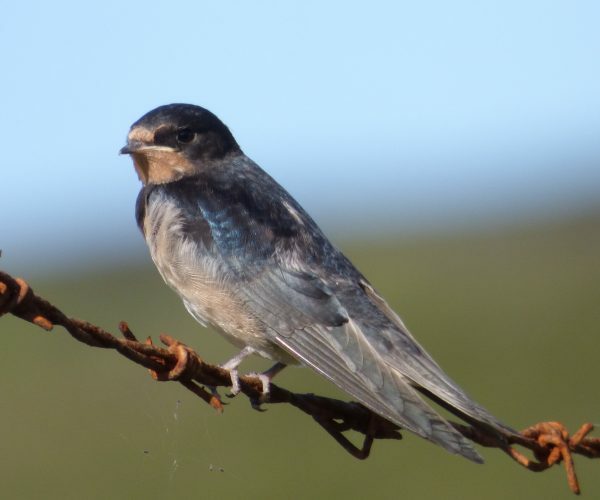 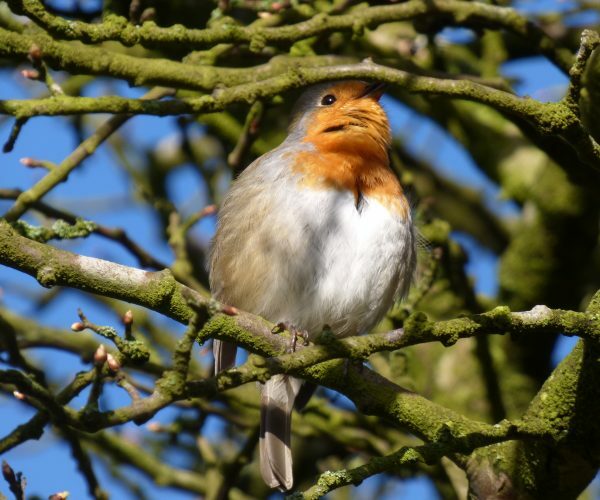 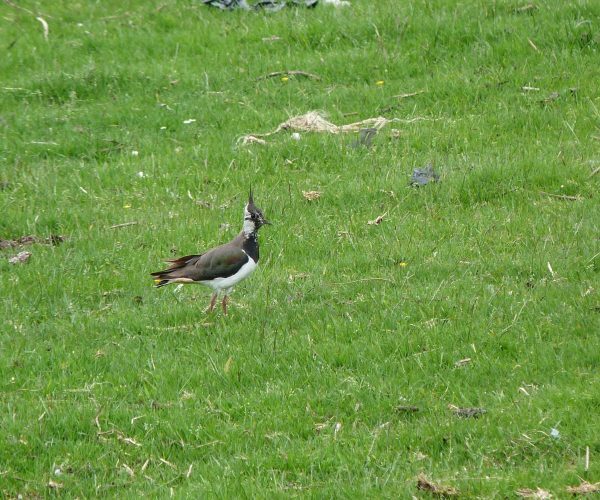 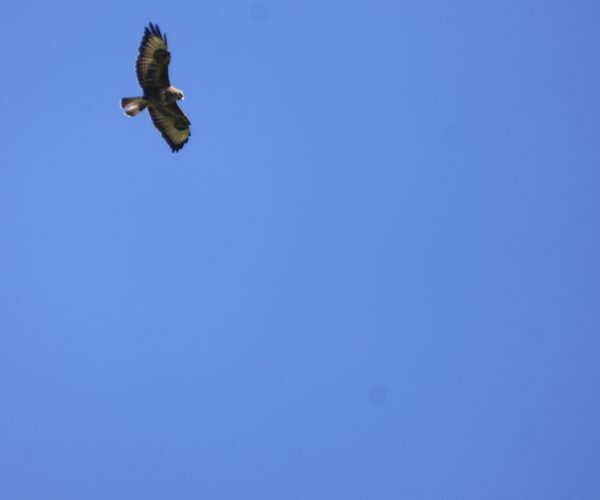 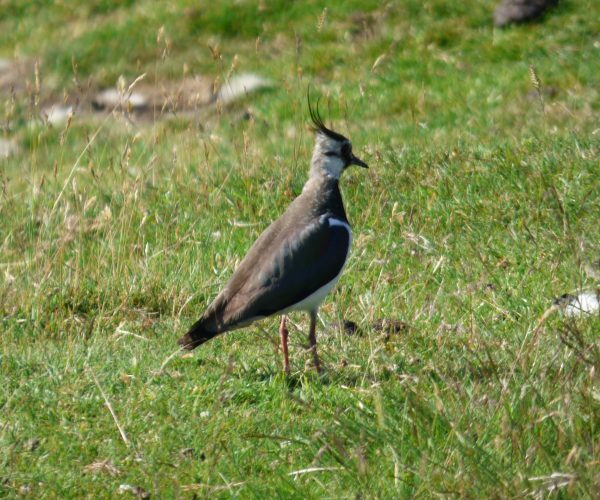 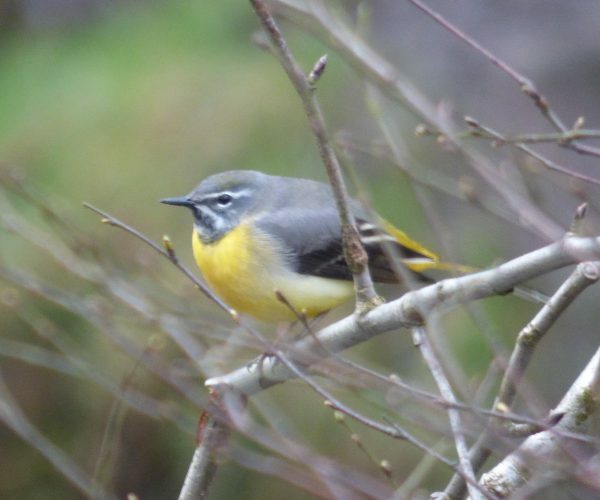 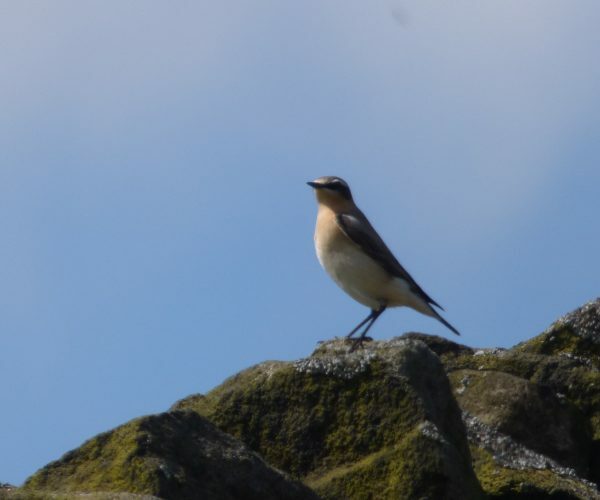 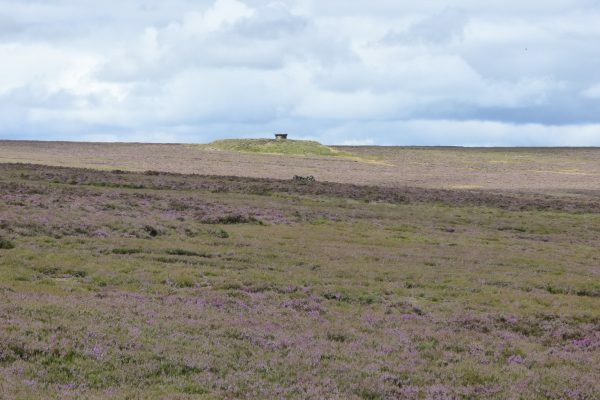 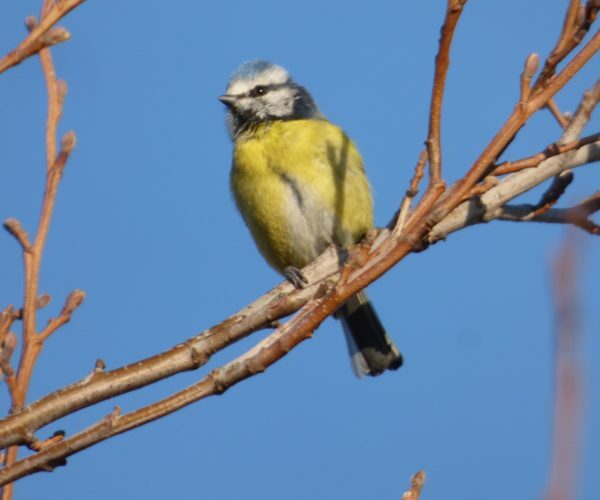 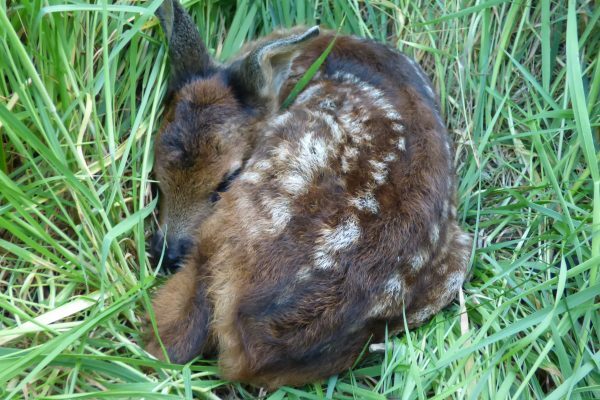 A haven for wildlife with deer, owls, curlews and pheasants. 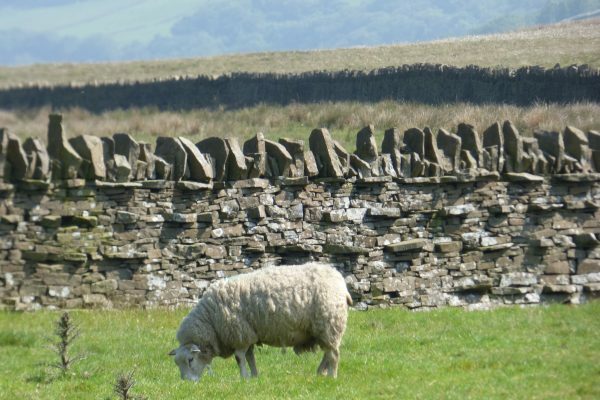 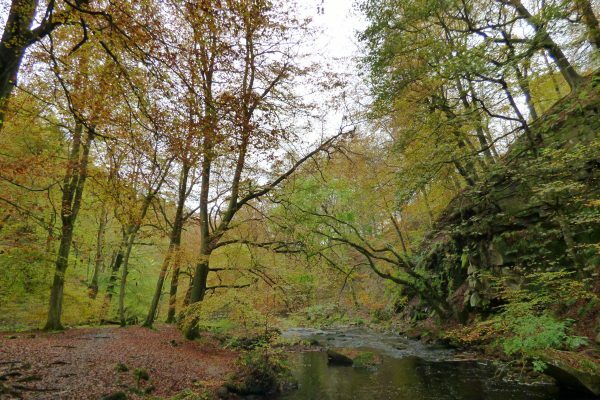 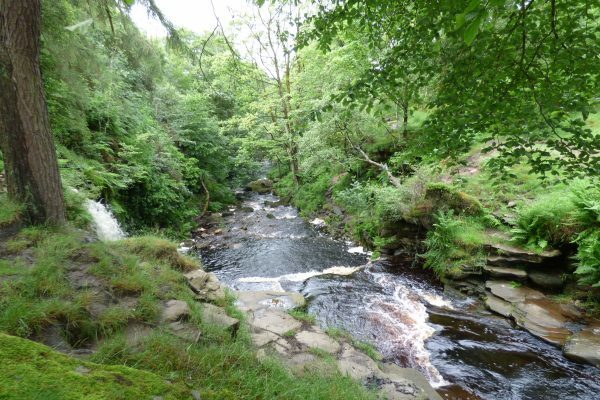 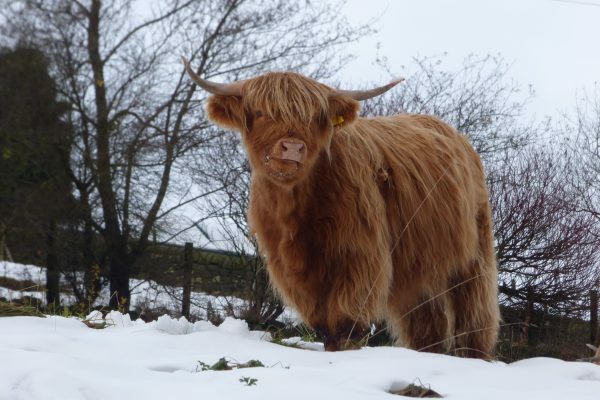 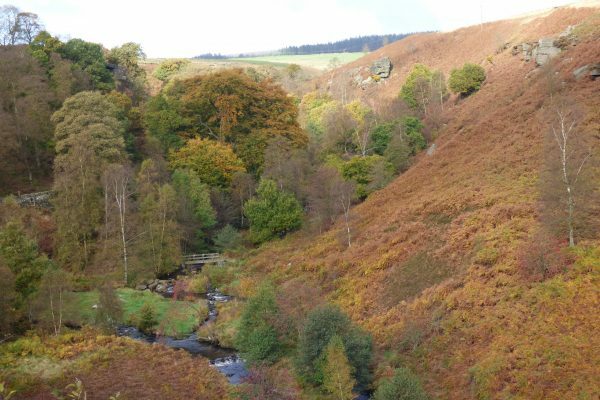 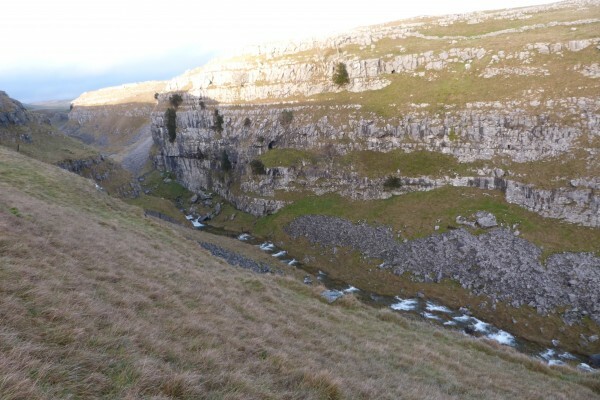 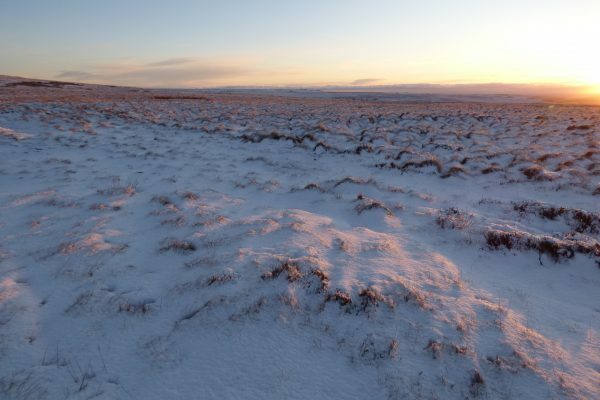 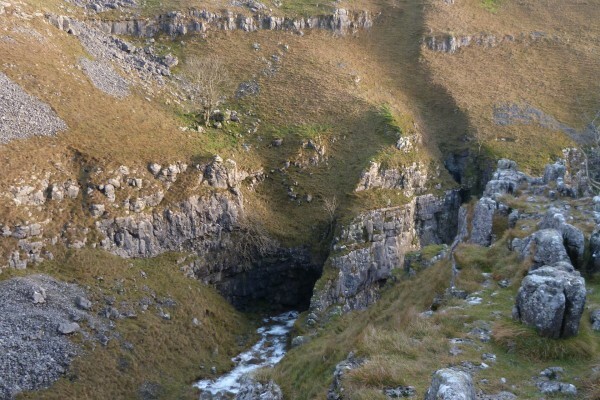 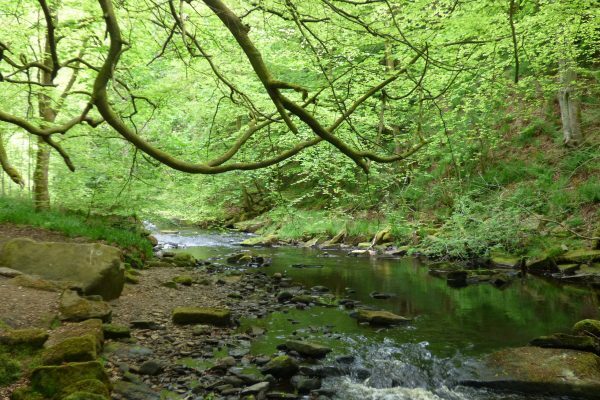 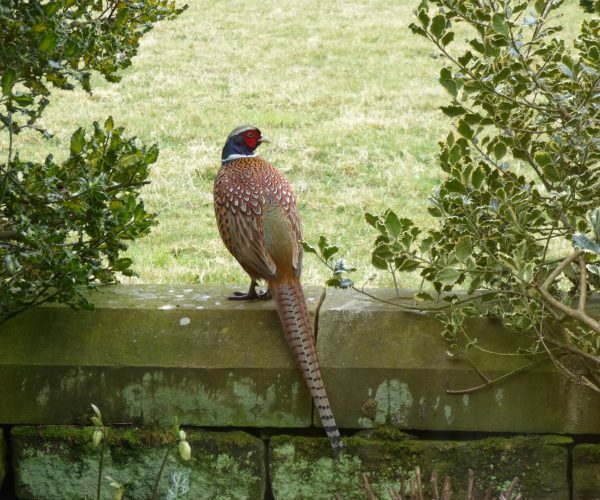 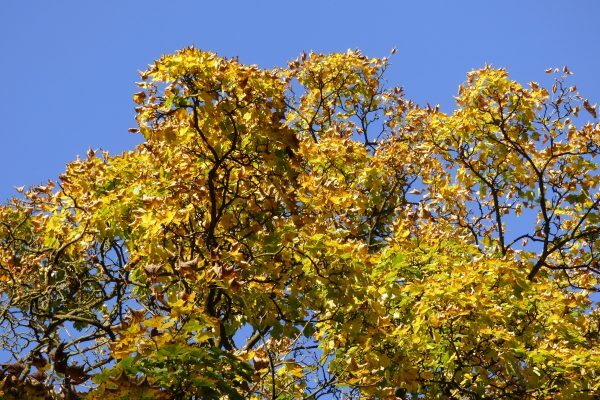 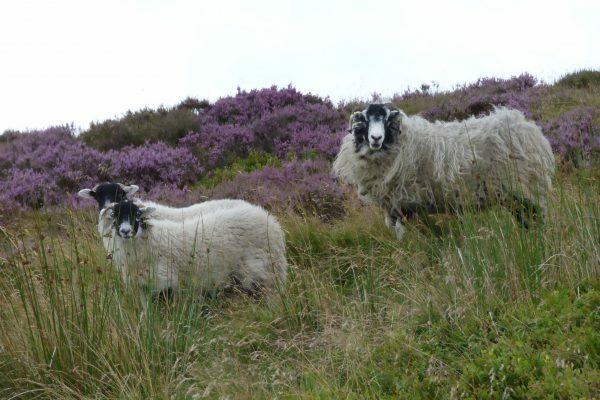 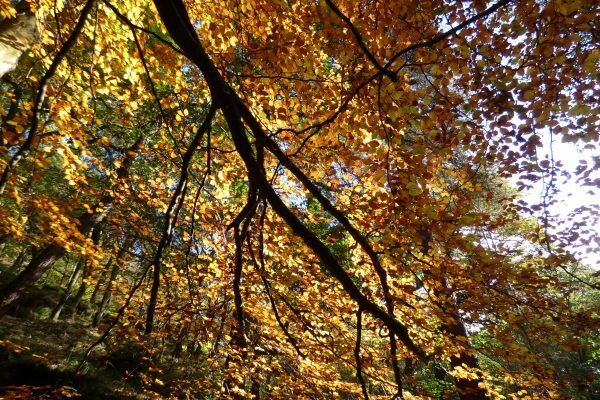 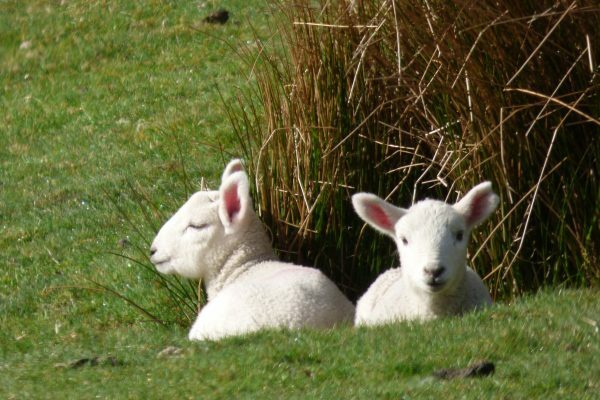 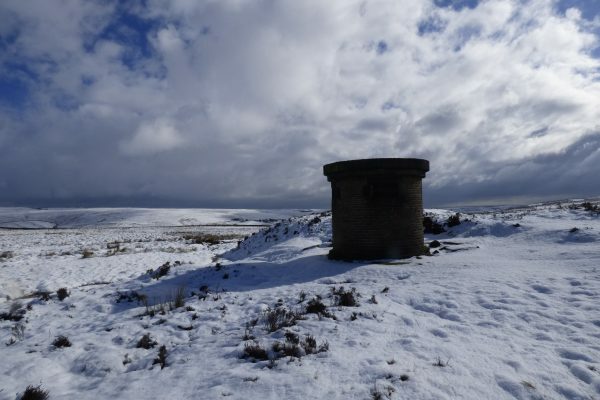 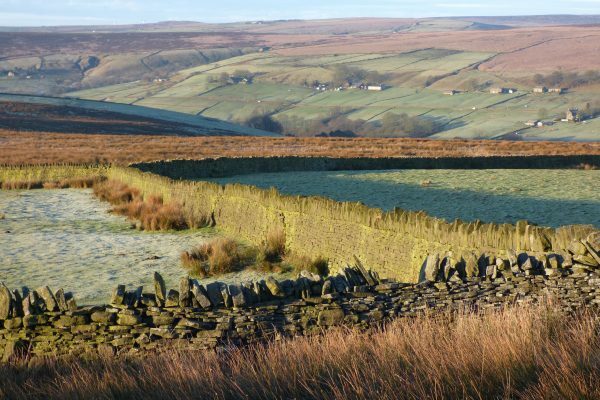 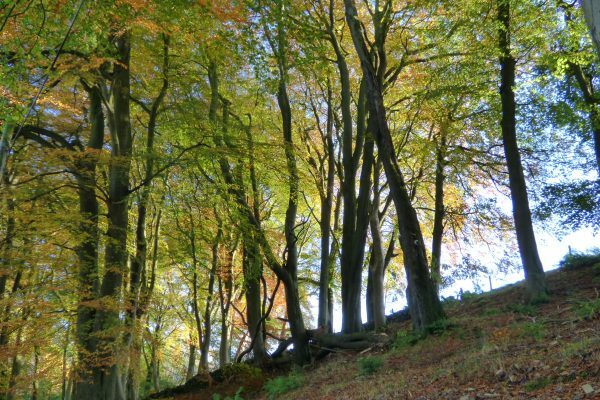 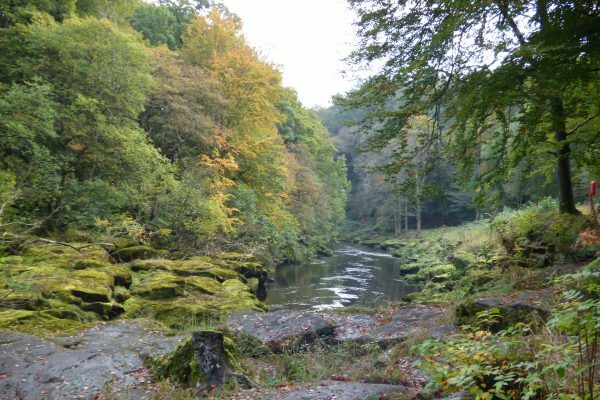 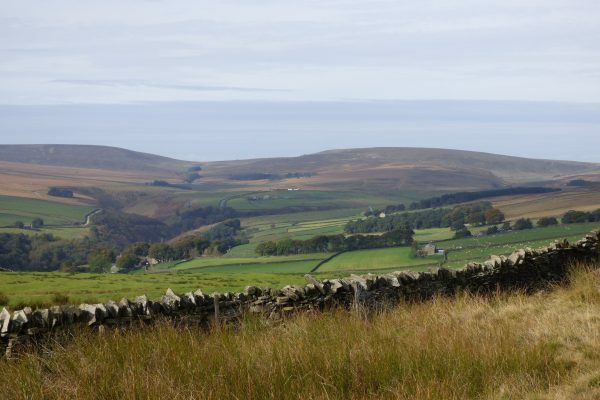 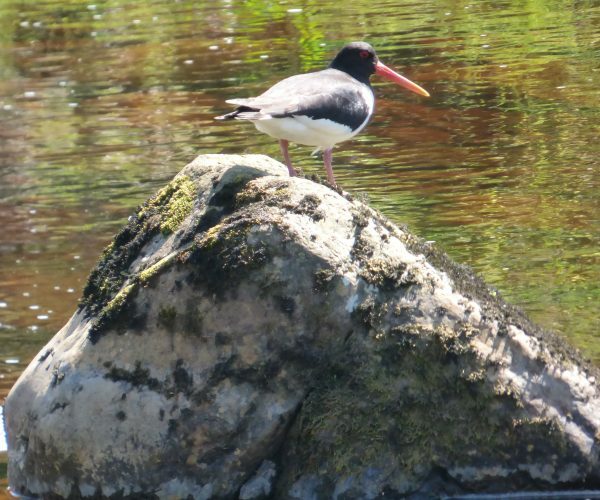 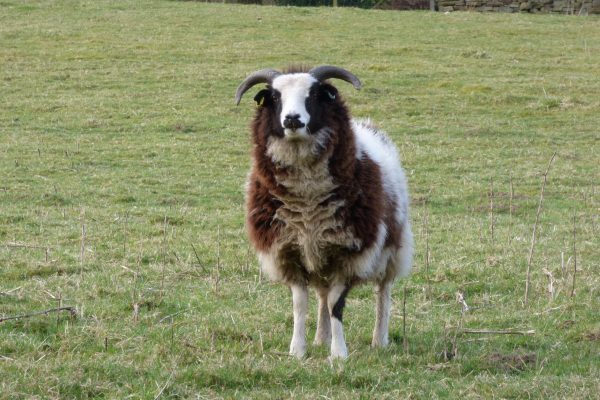 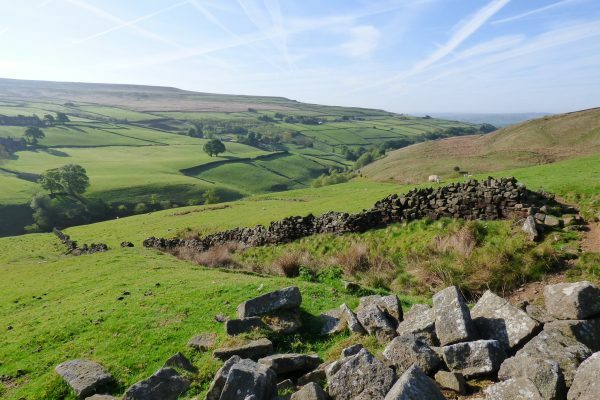 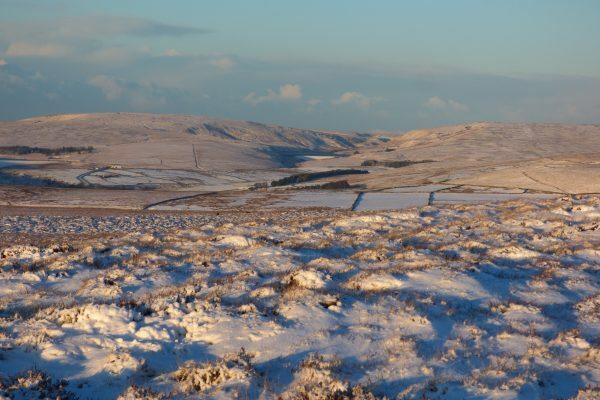 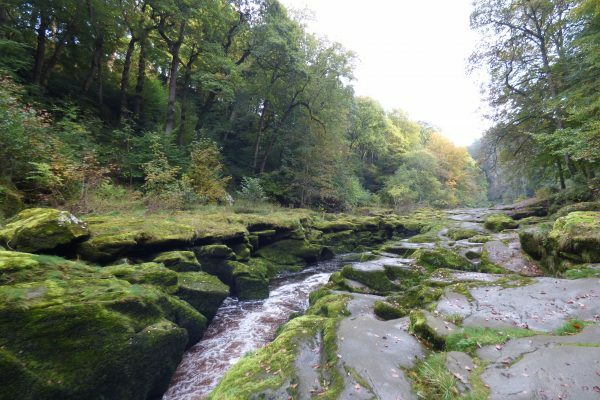 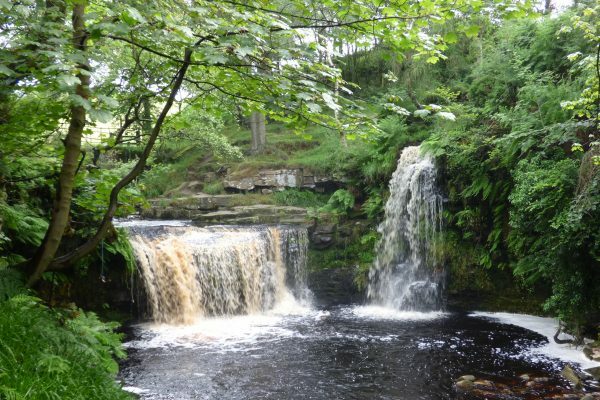 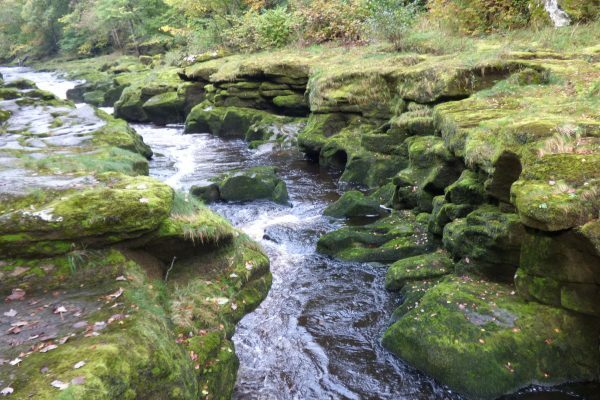 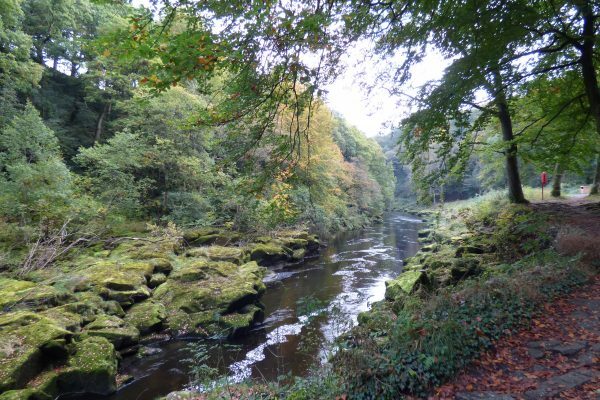 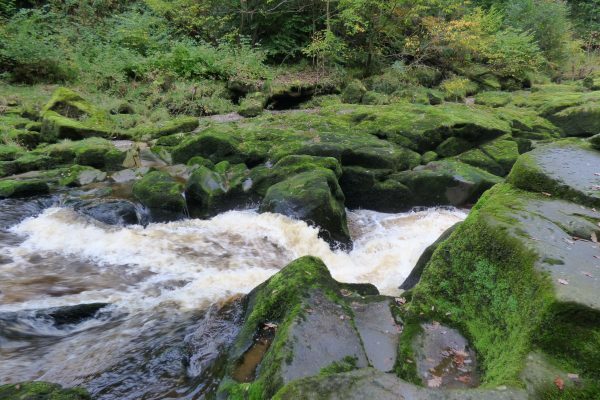 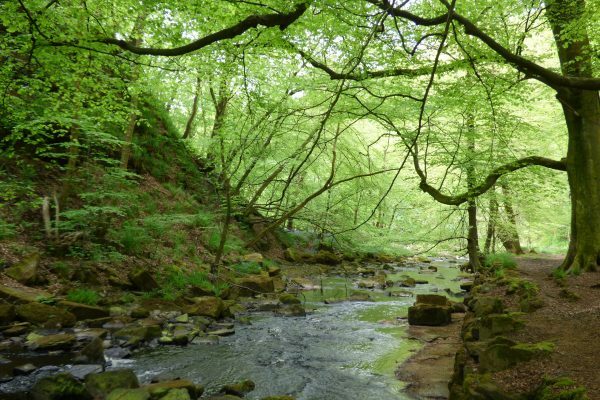 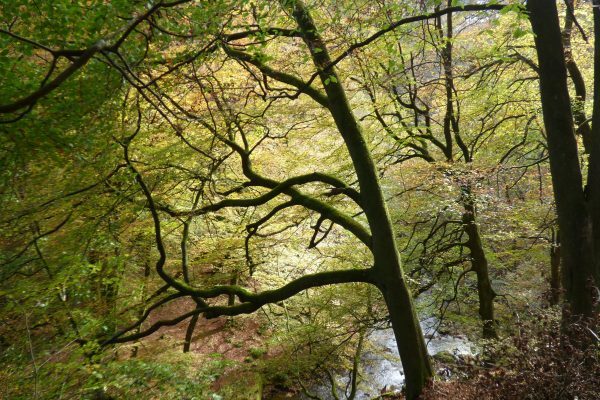 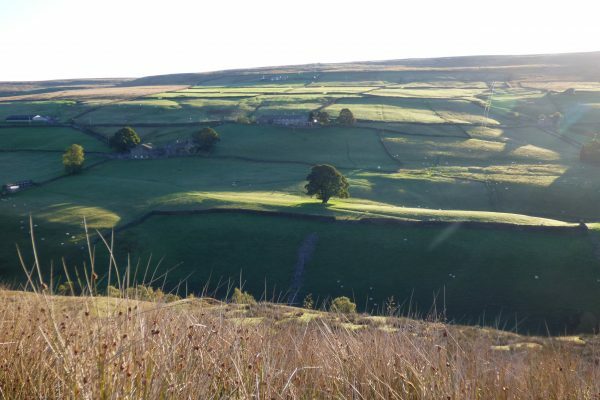 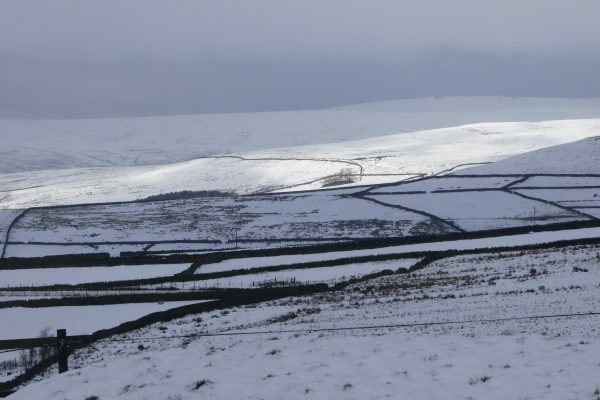 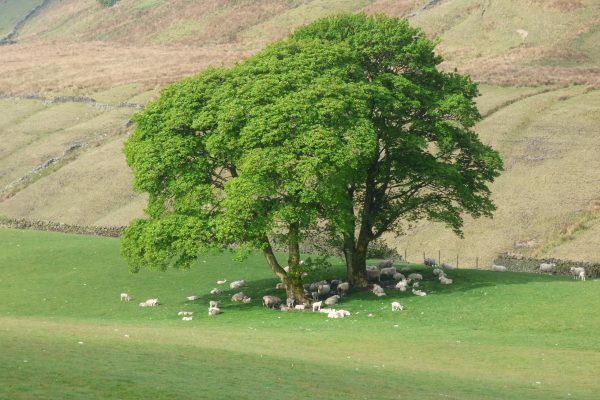 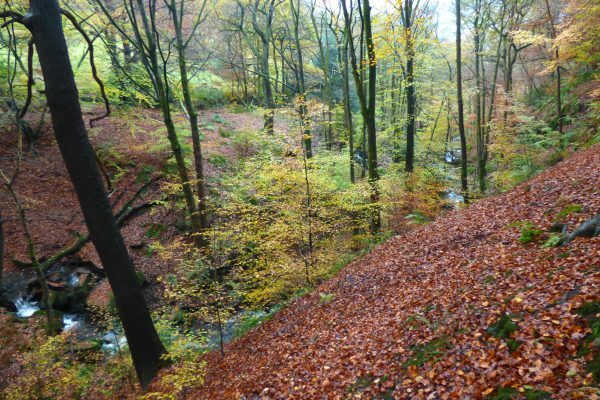 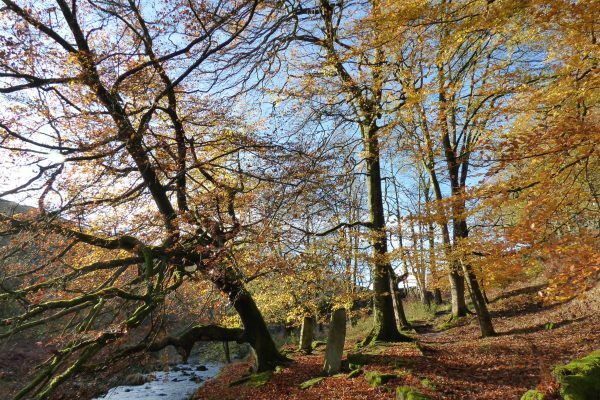 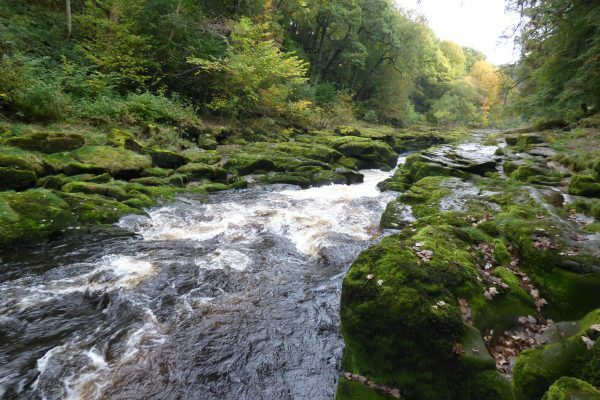 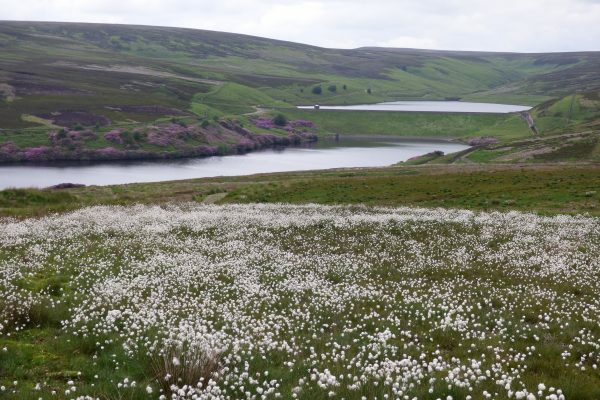 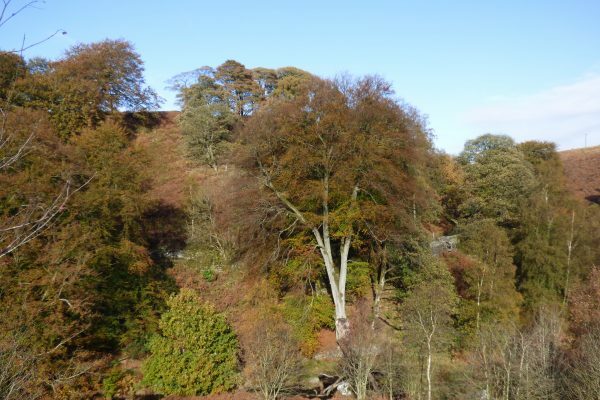 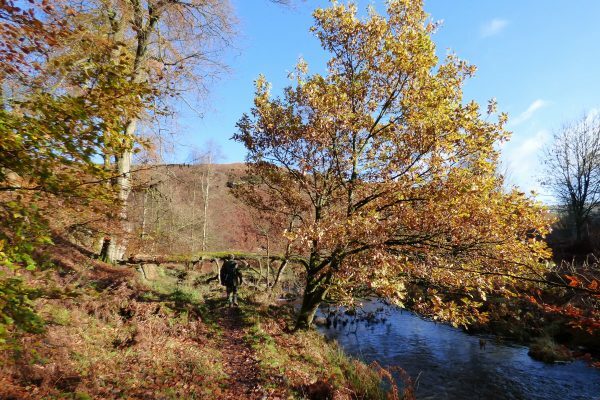 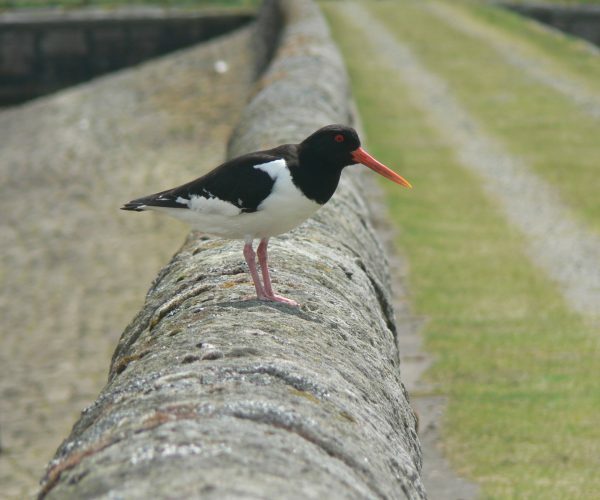 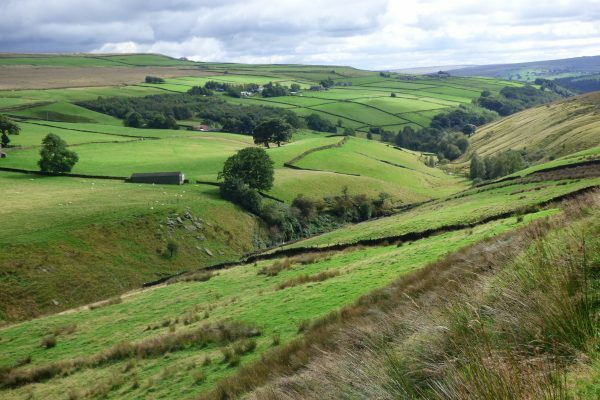 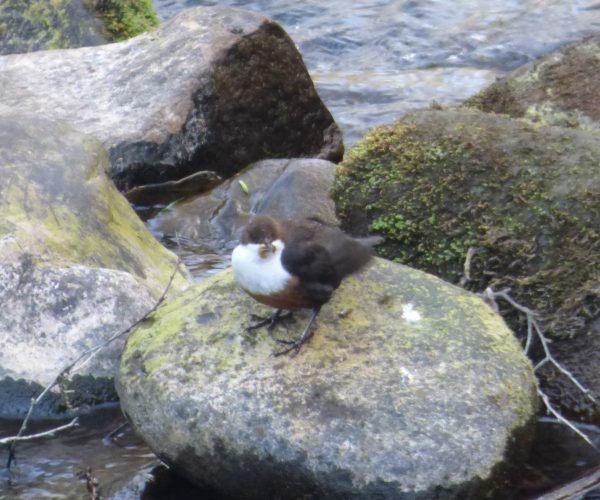 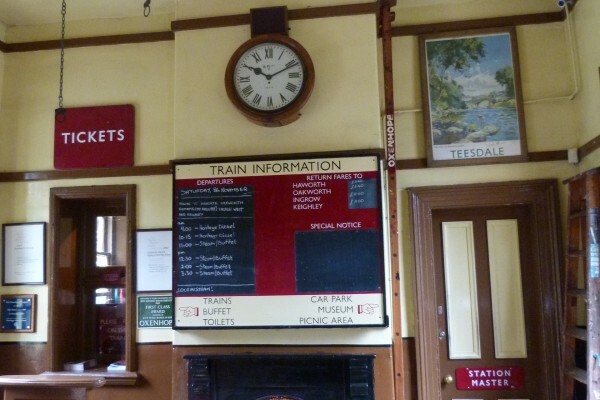 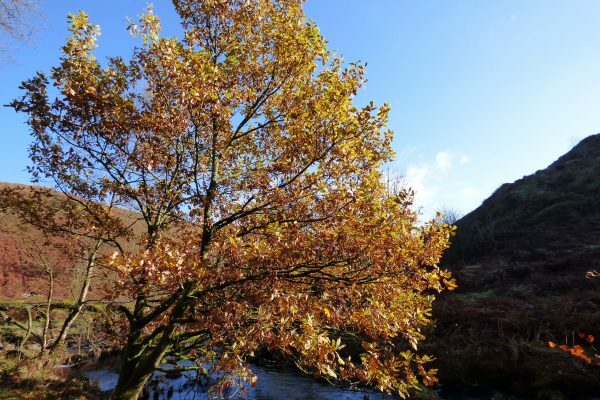 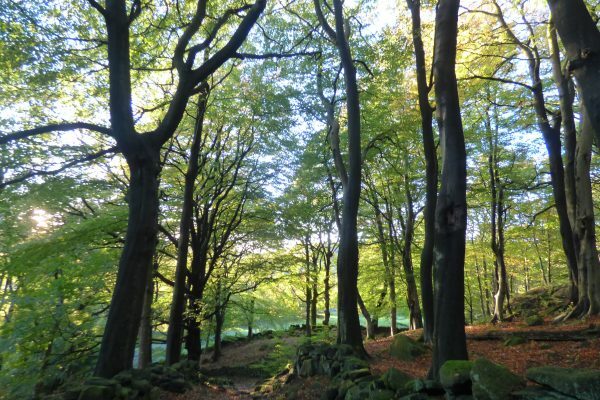 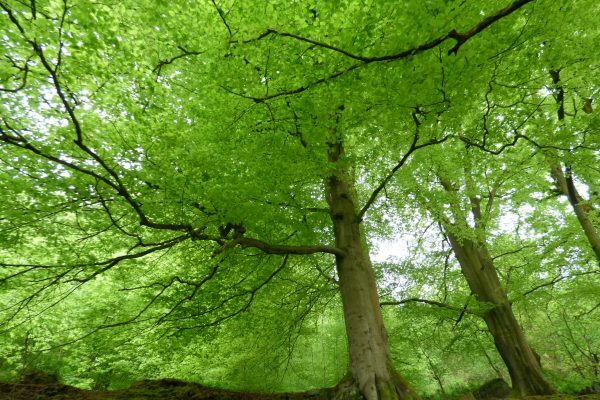 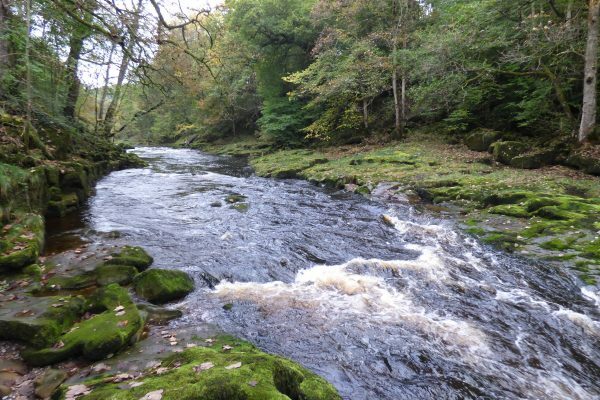 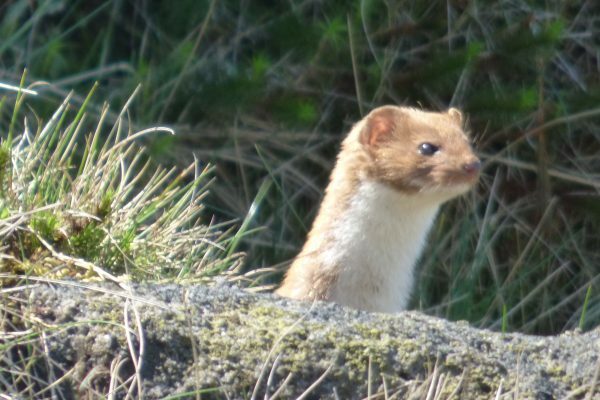 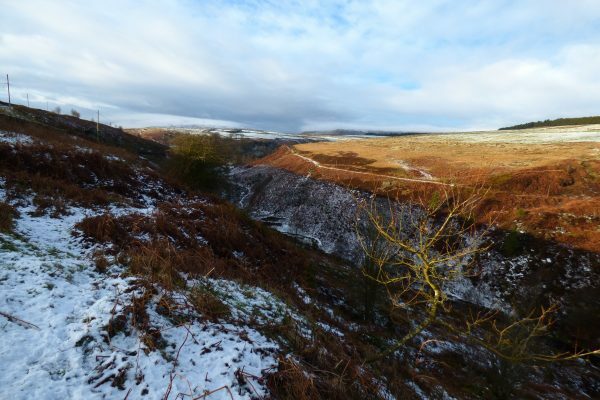 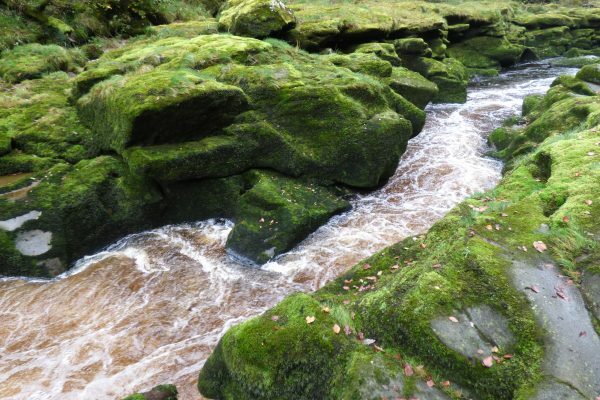 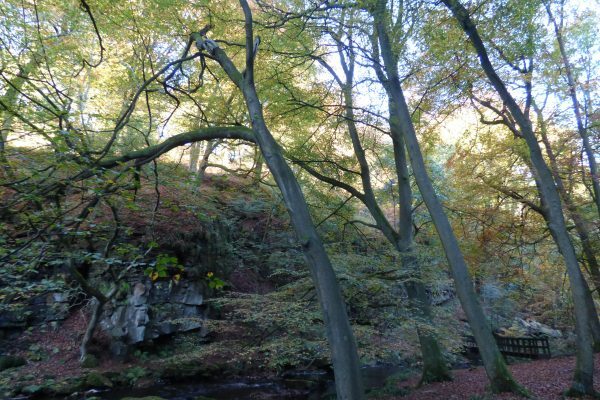 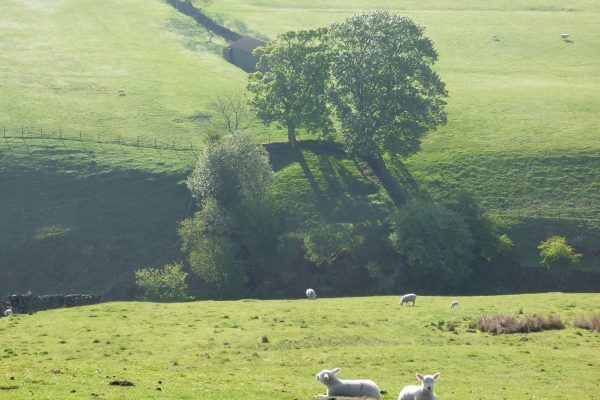 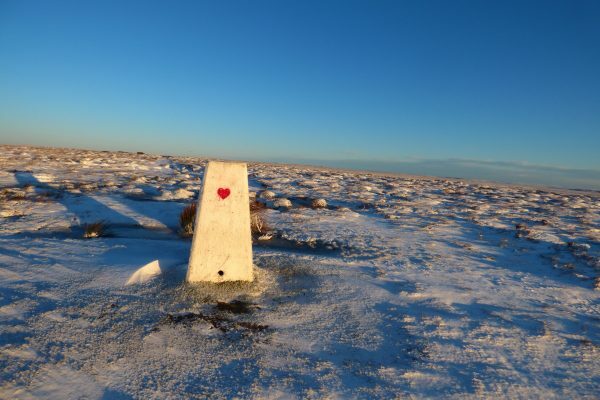 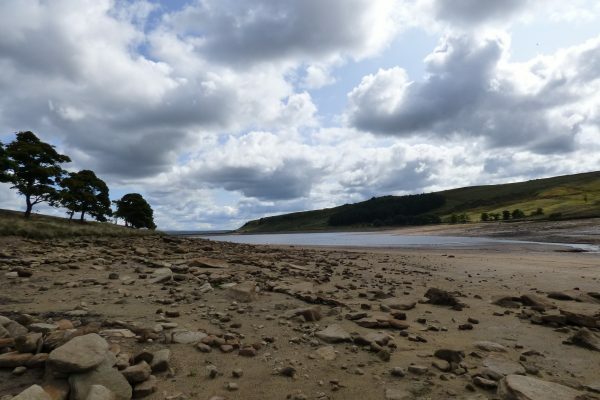 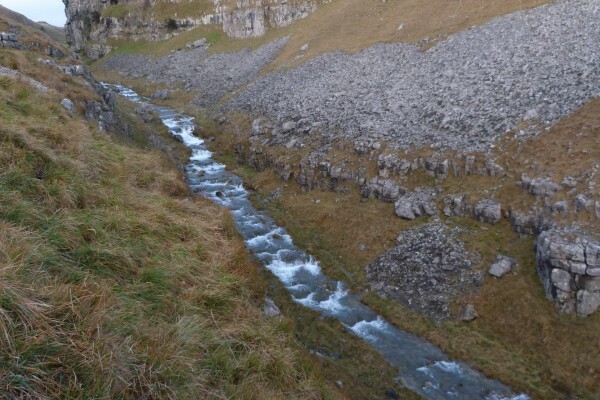 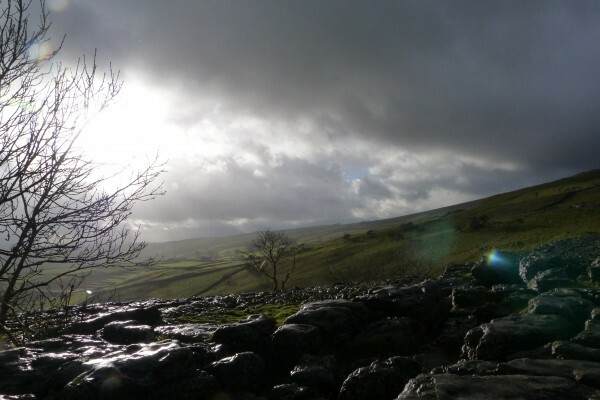 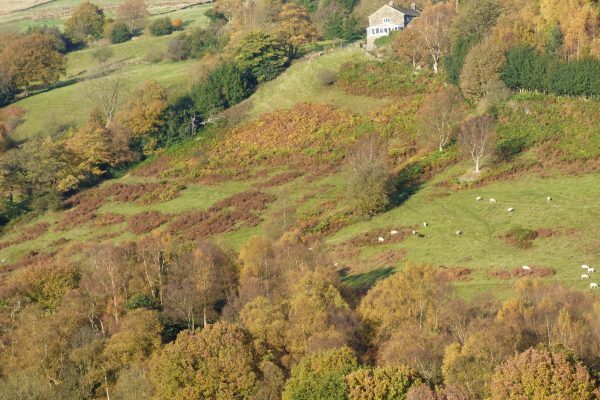 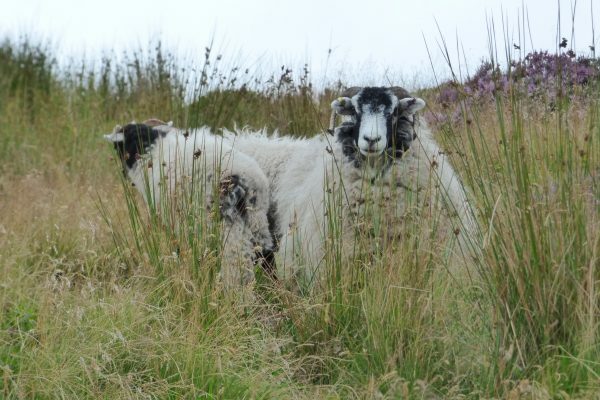 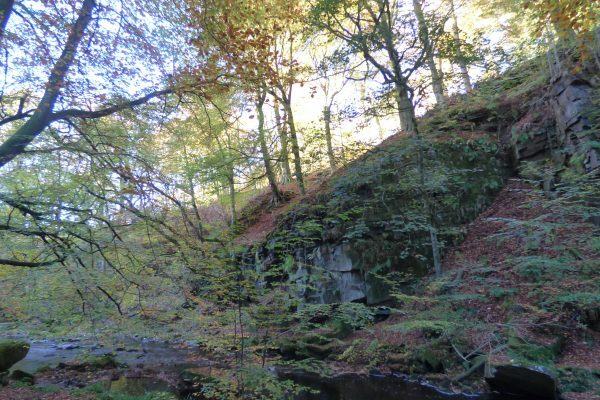 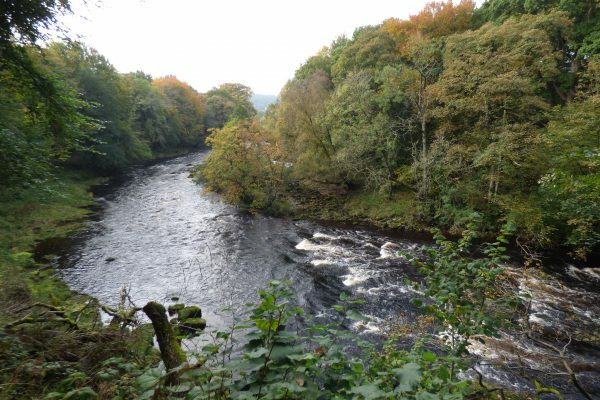 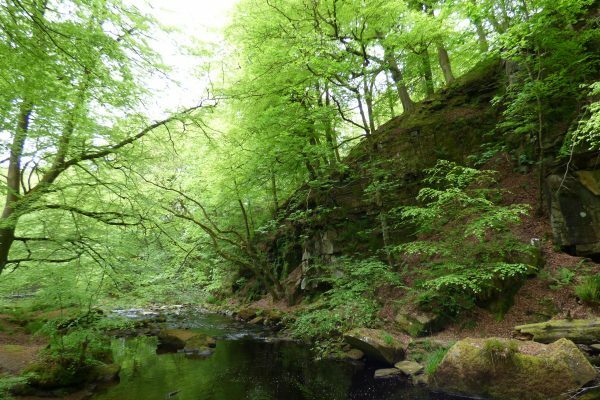 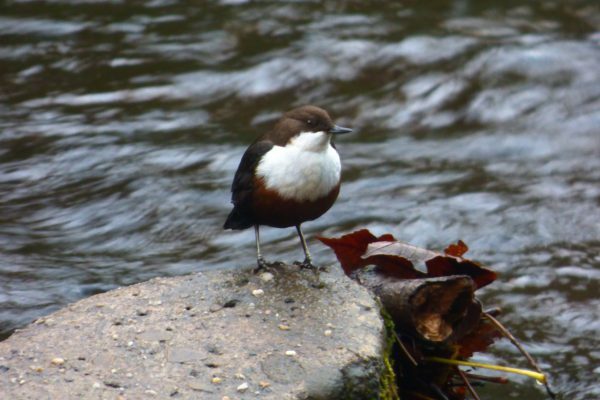 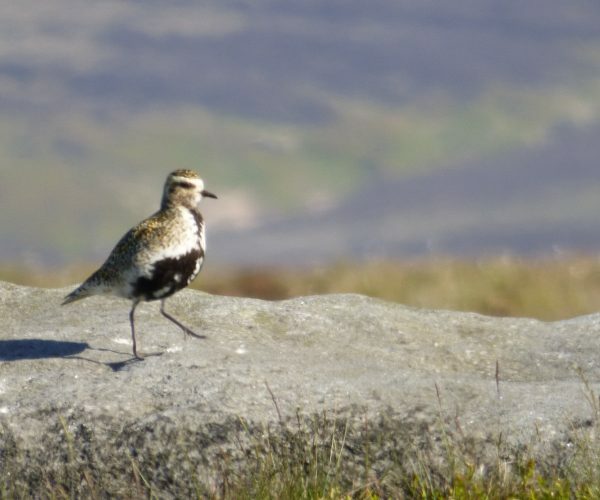 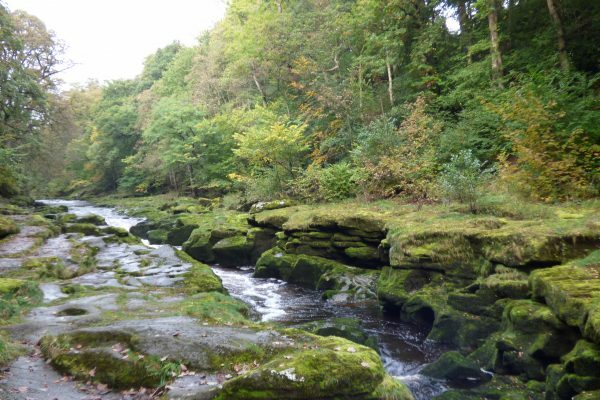 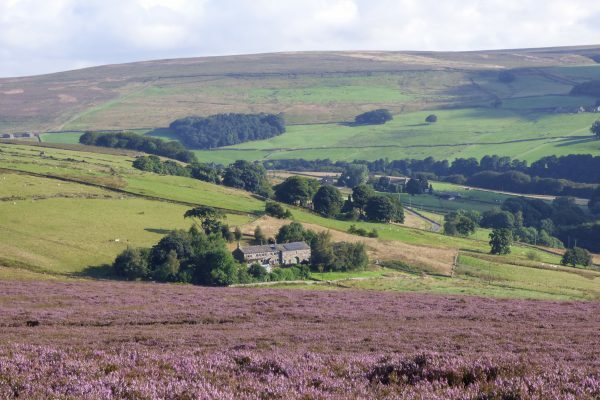 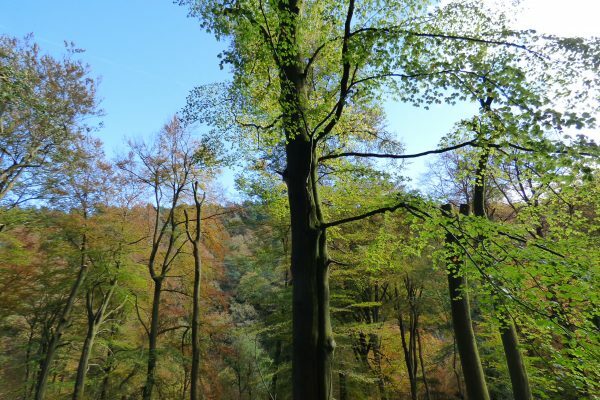 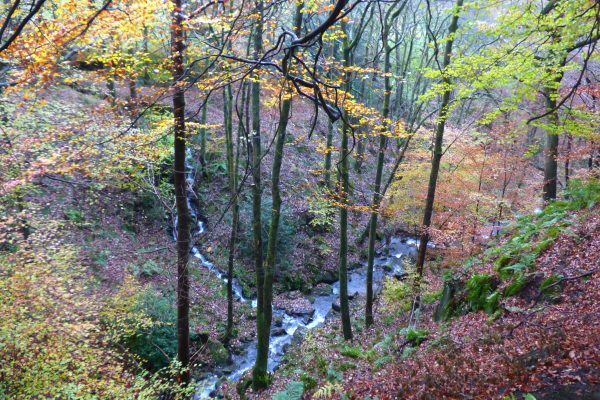 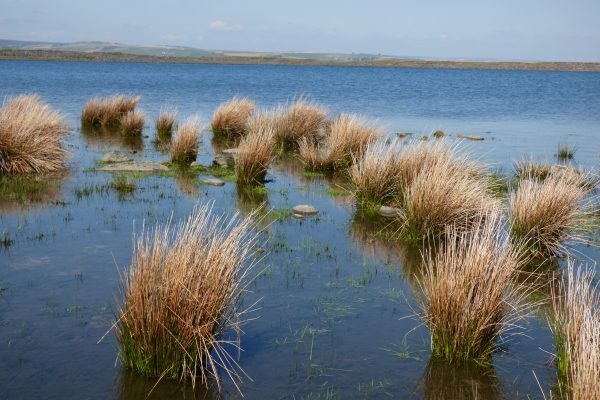 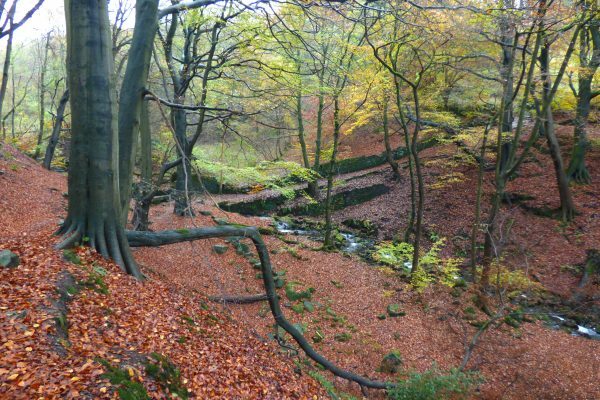 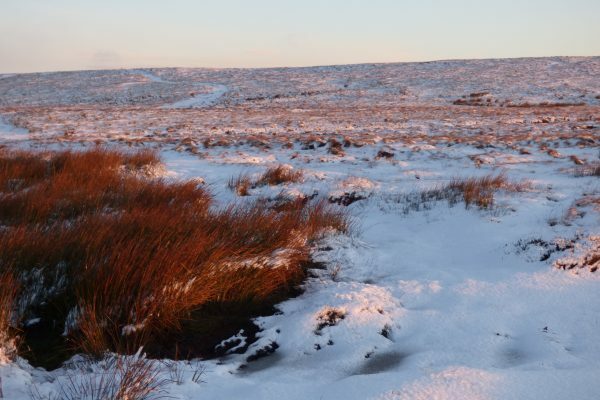 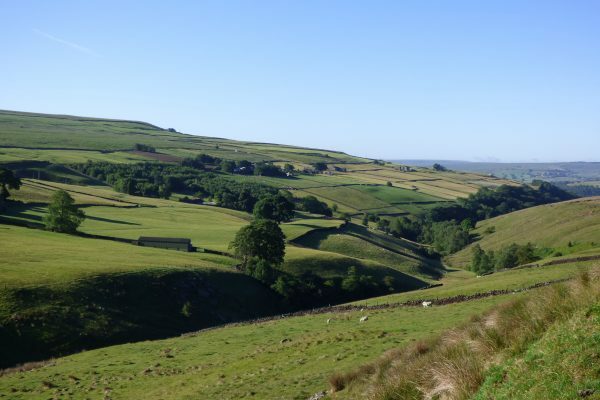 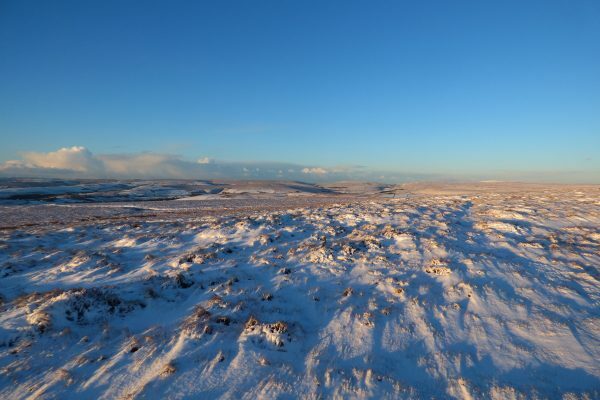 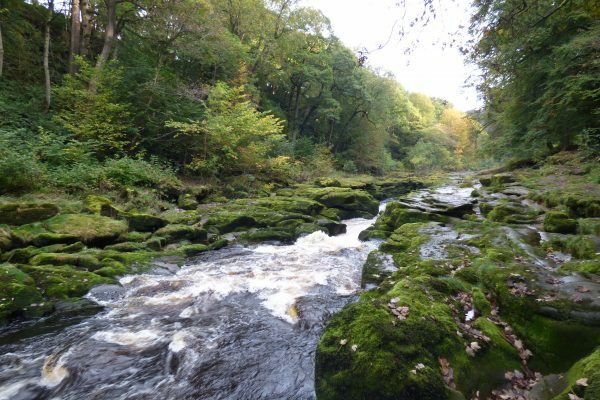 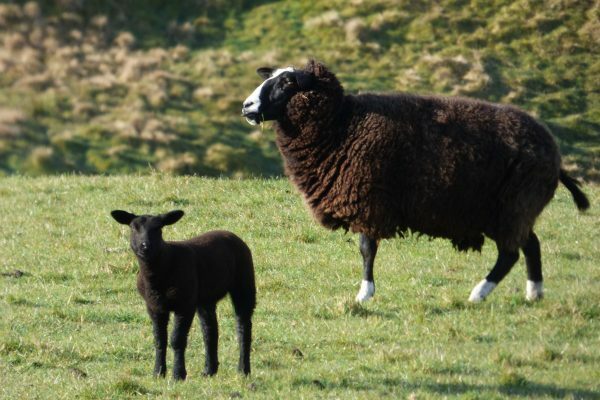 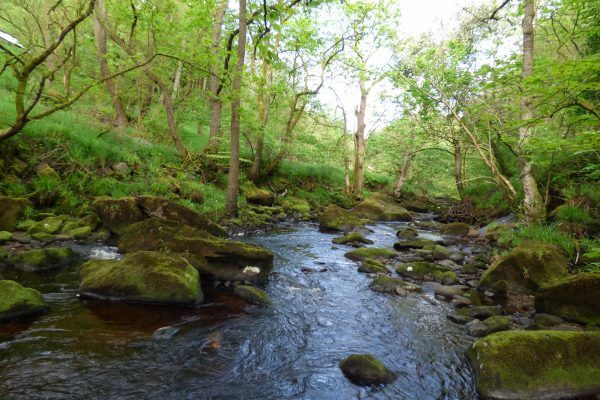 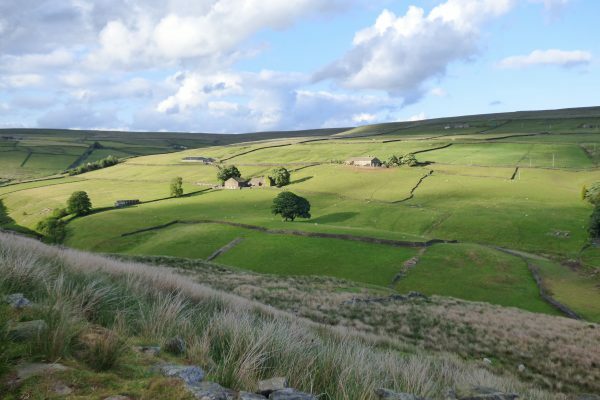 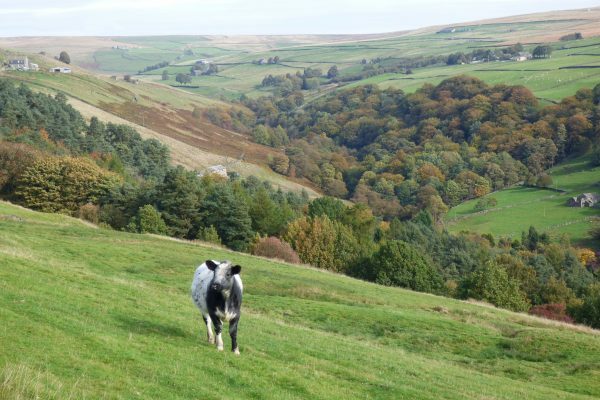 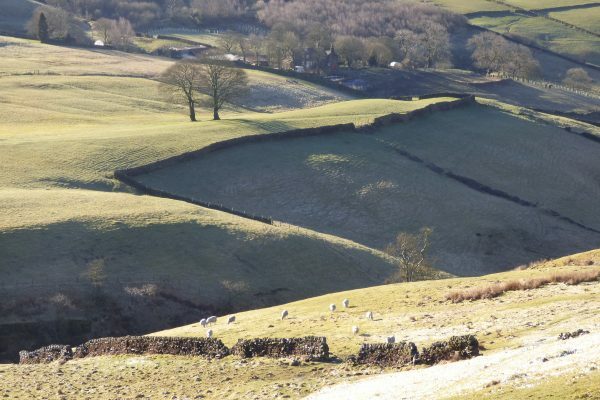 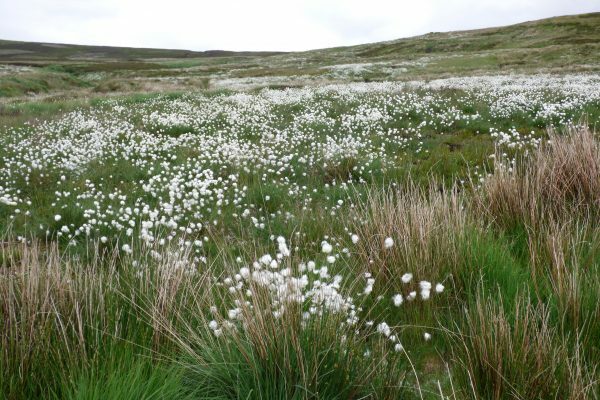 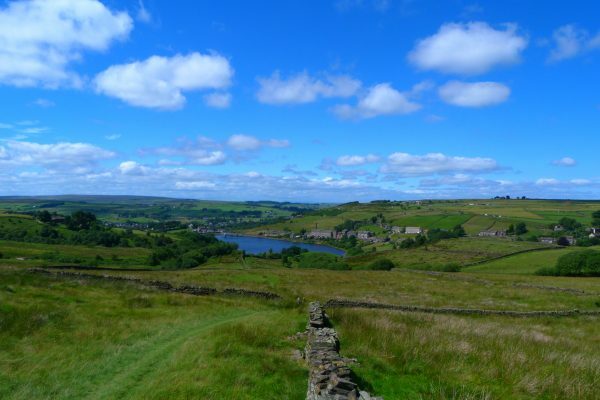 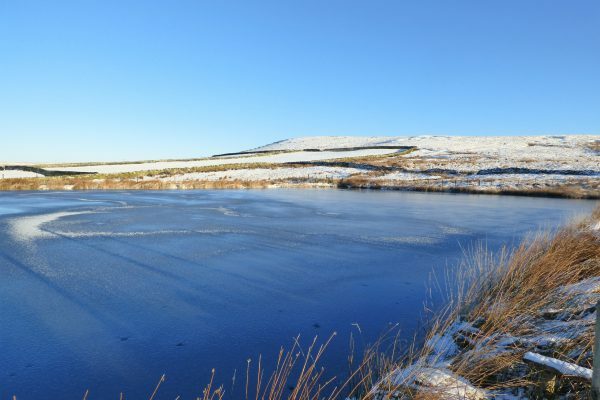 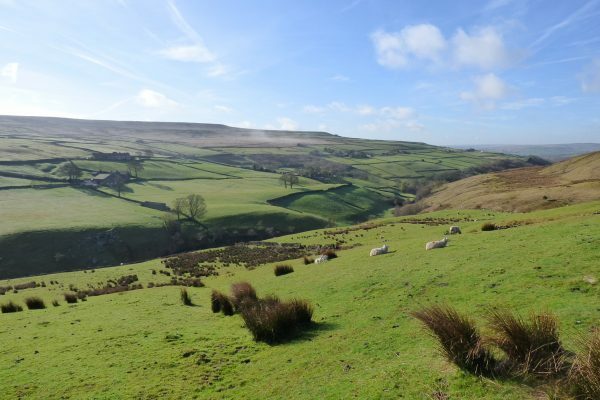 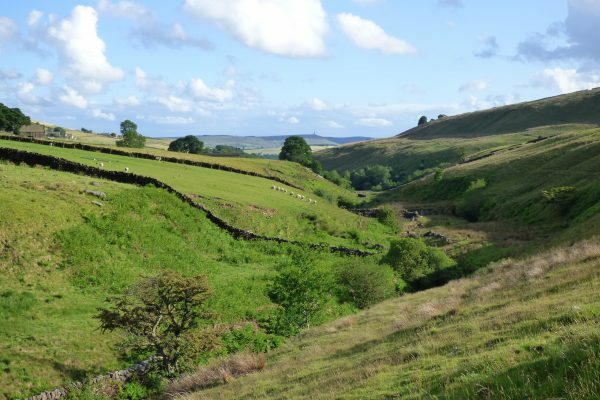 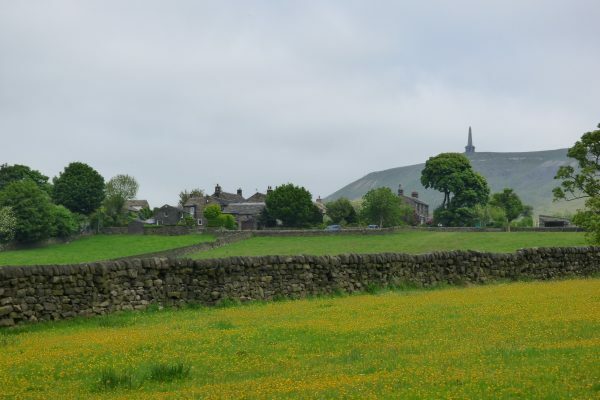 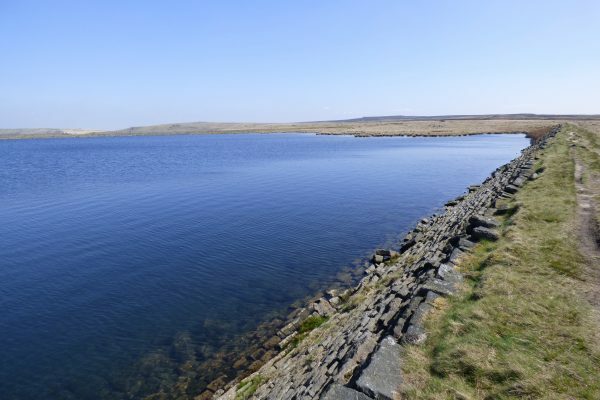 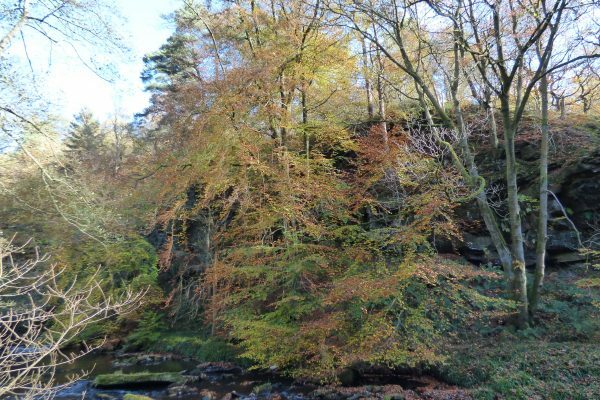 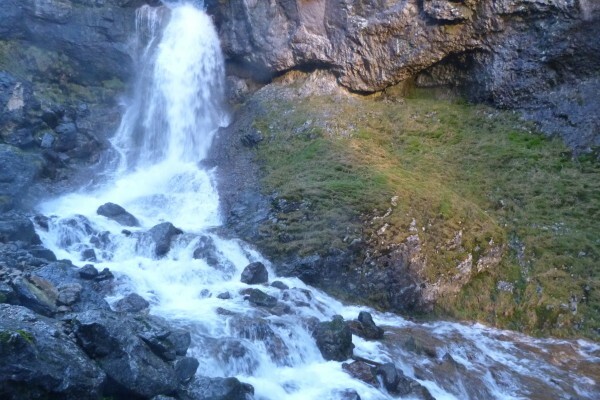 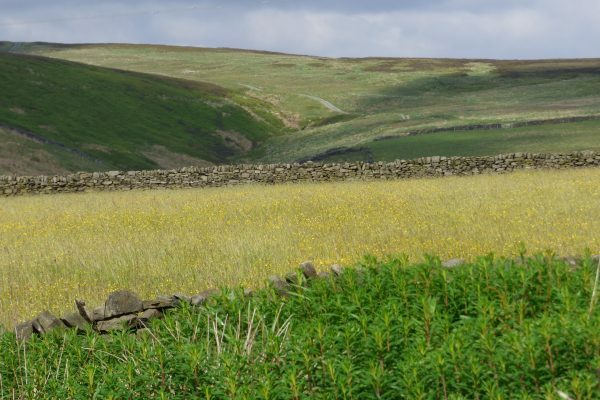 Delve into the glorious Yorkshire Dales National Park. 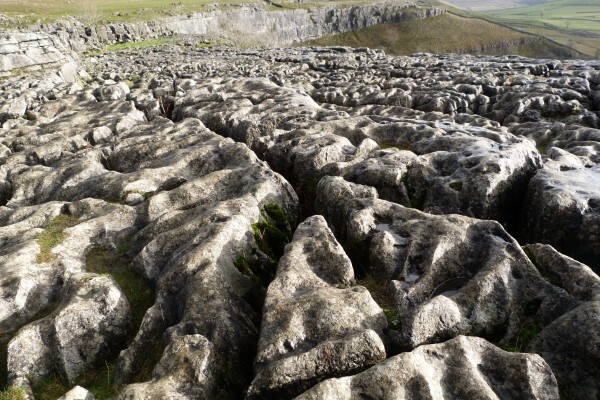 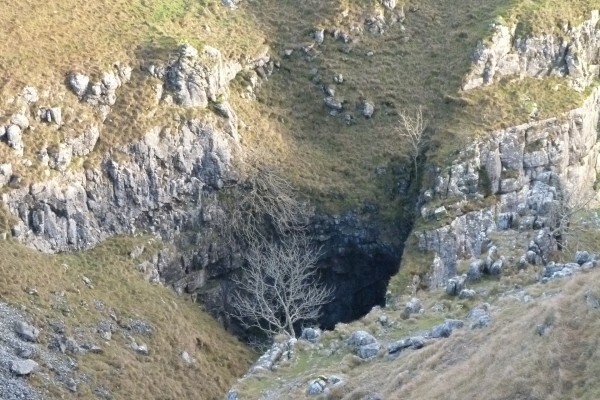 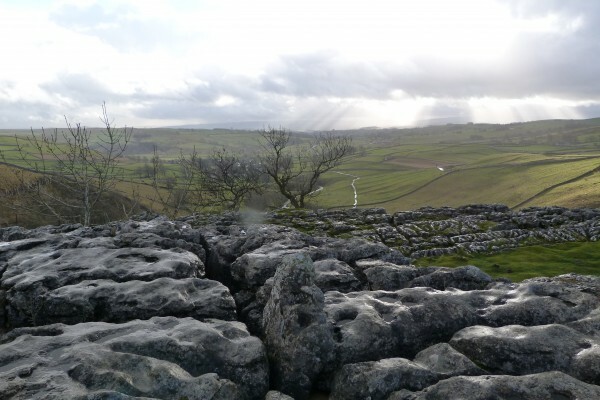 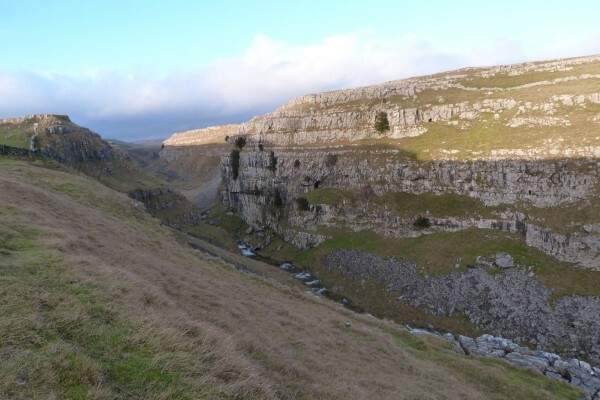 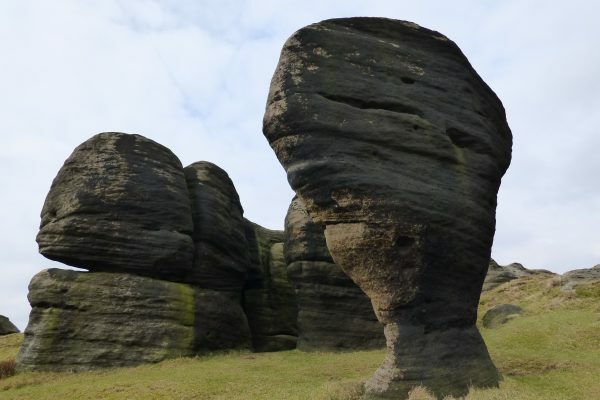 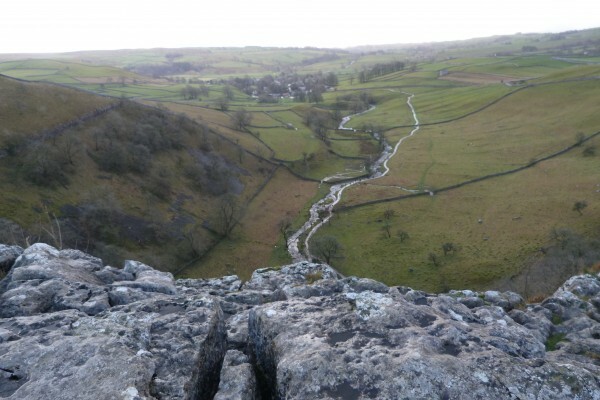 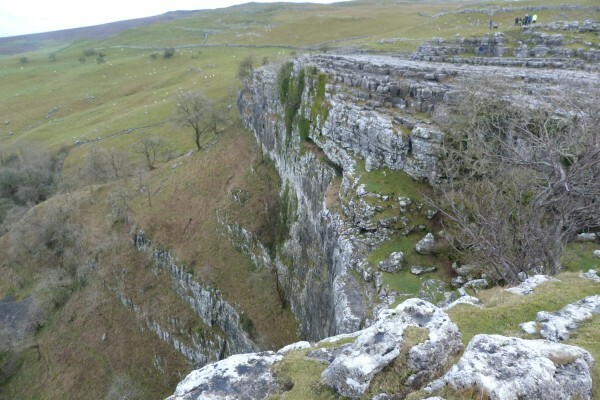 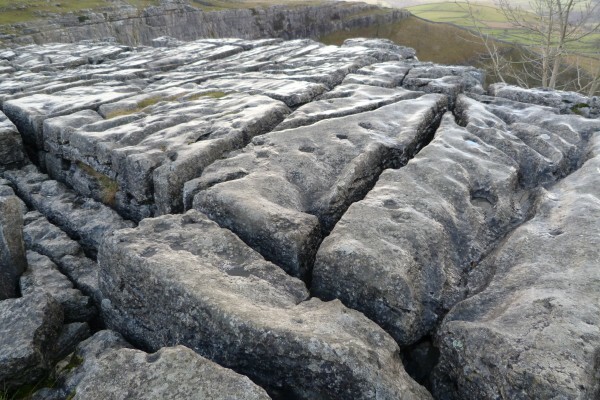 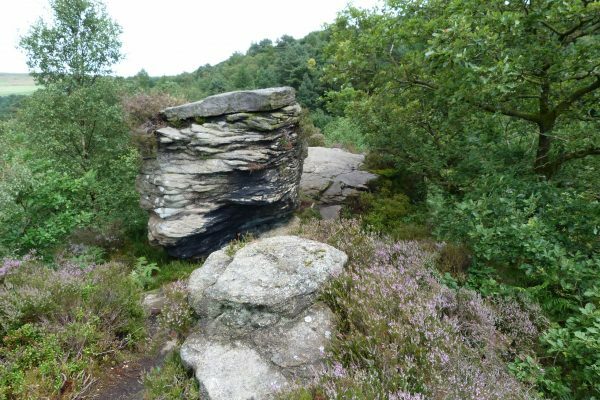 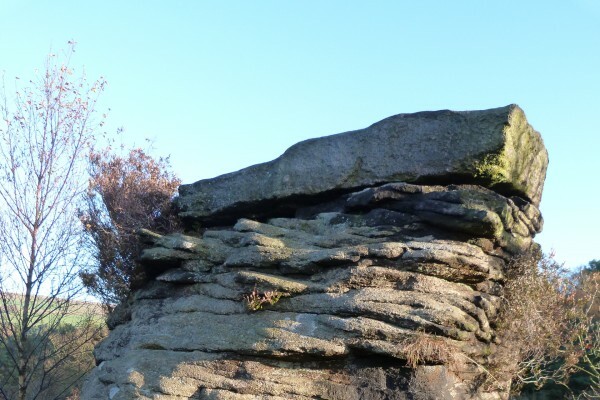 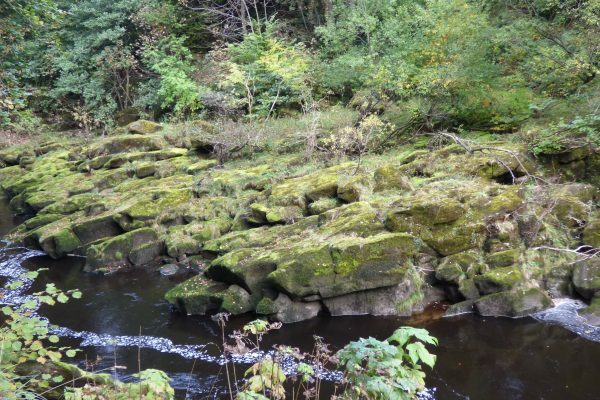 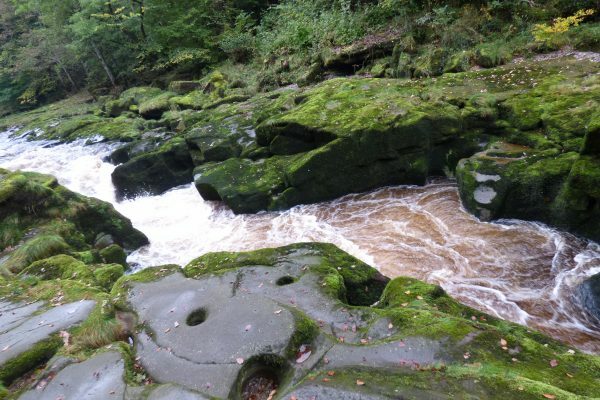 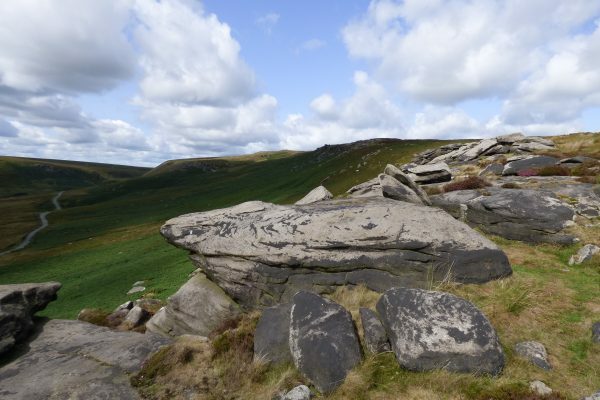 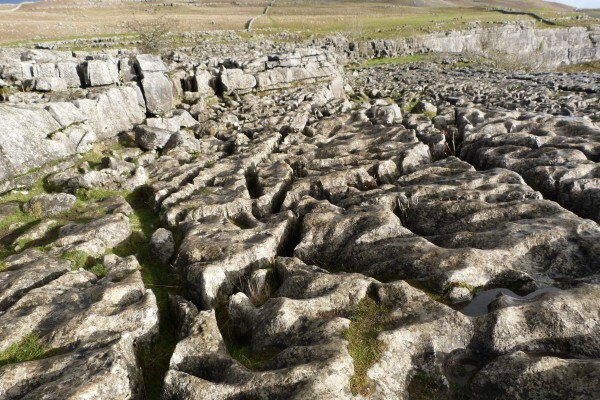 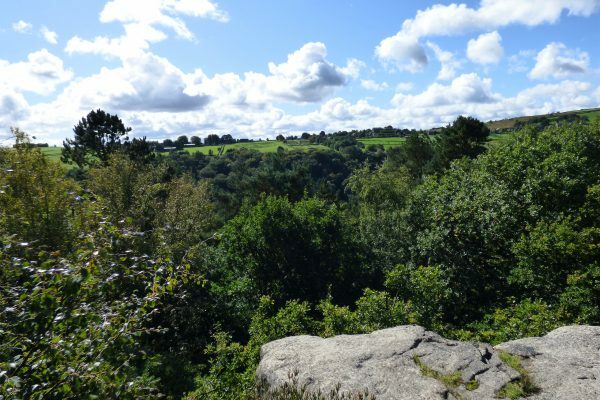 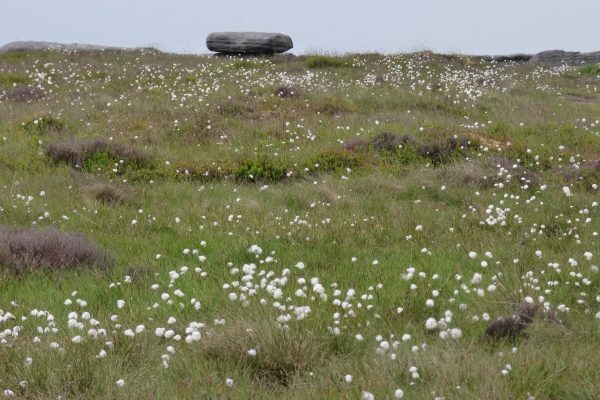 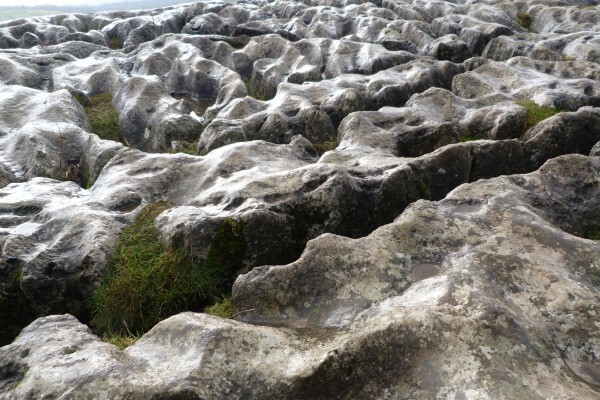 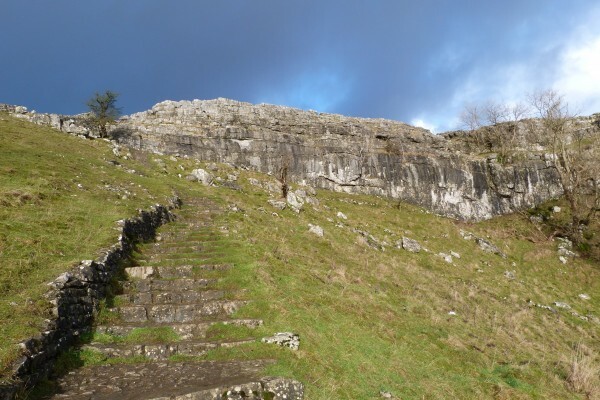 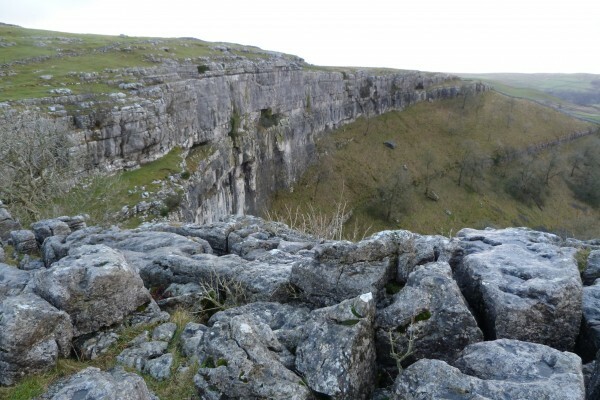 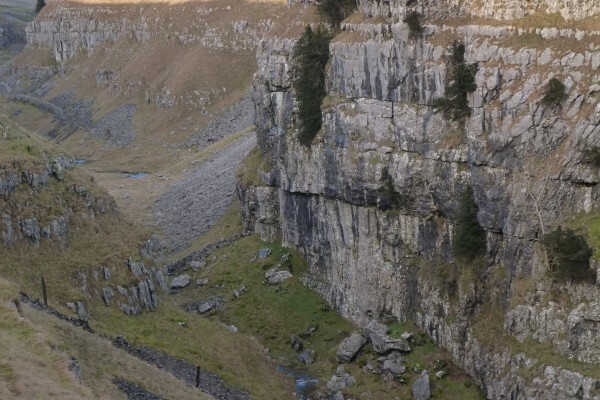 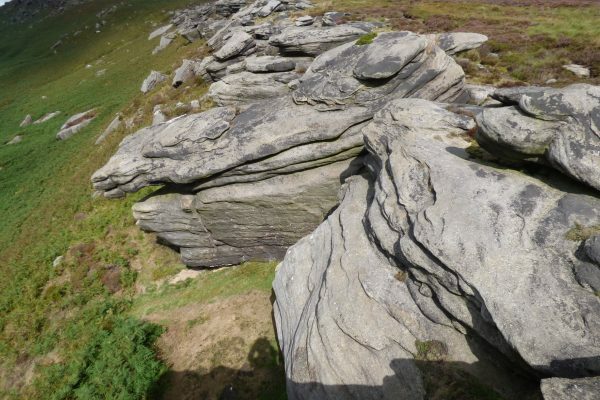 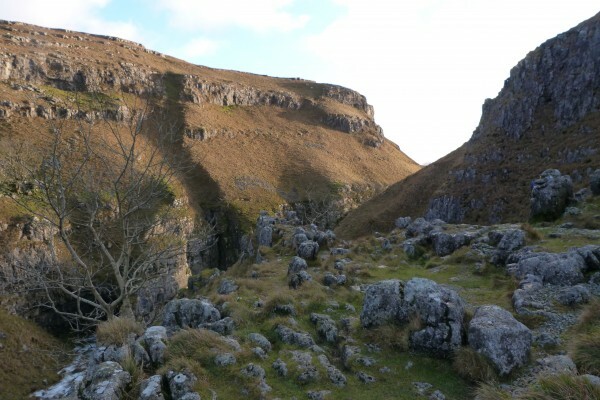 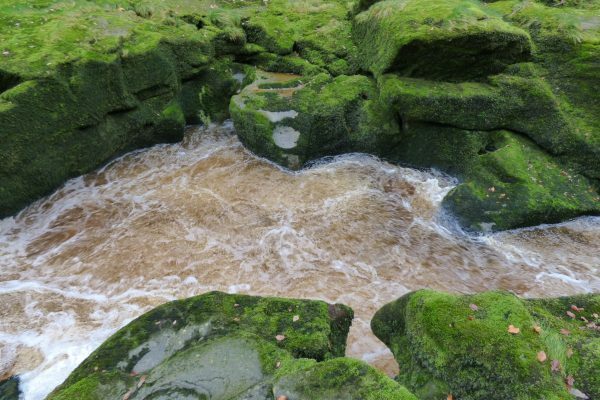 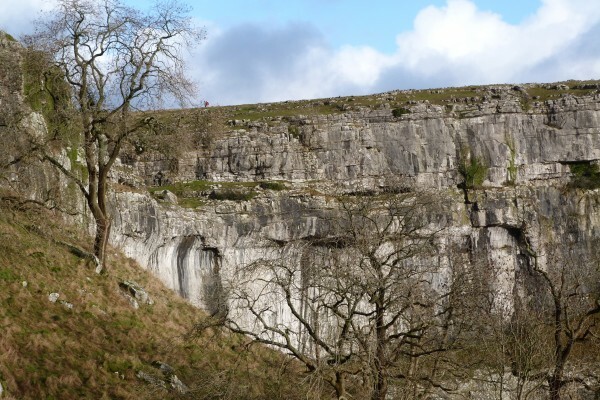 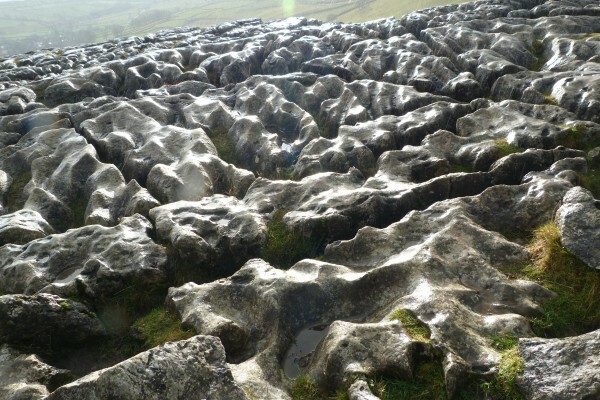 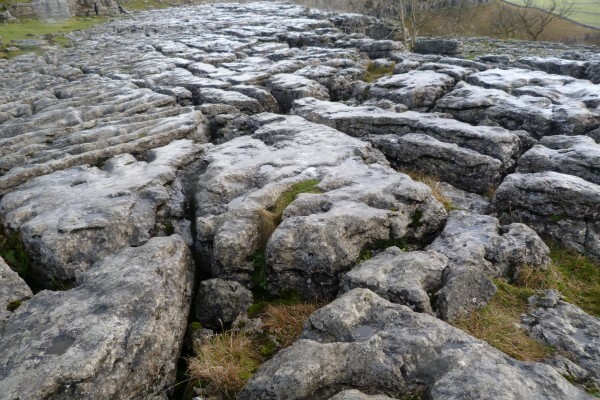 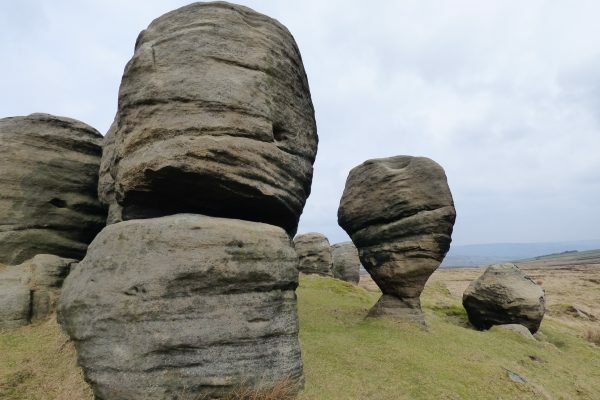 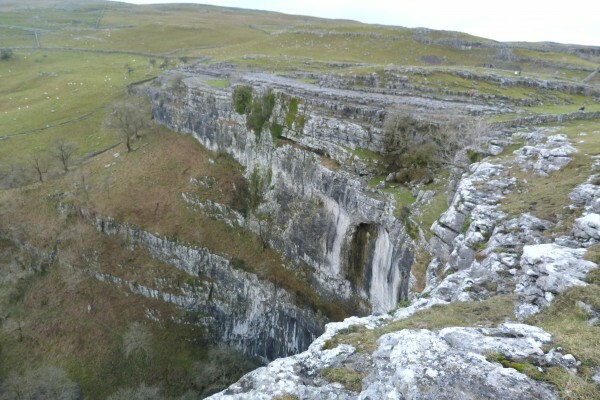 Discover the geological marvels of Malham Cove and Brimham Rocks. 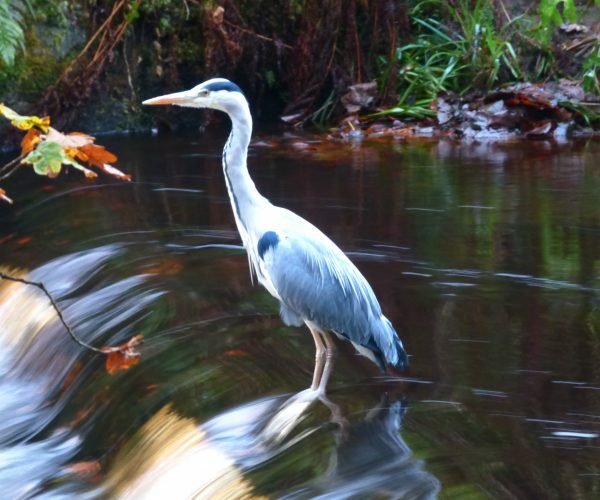 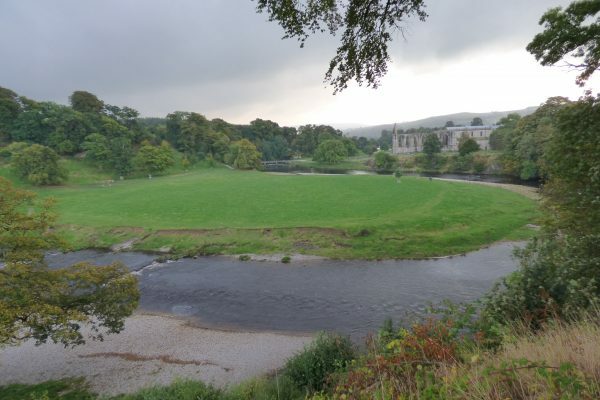 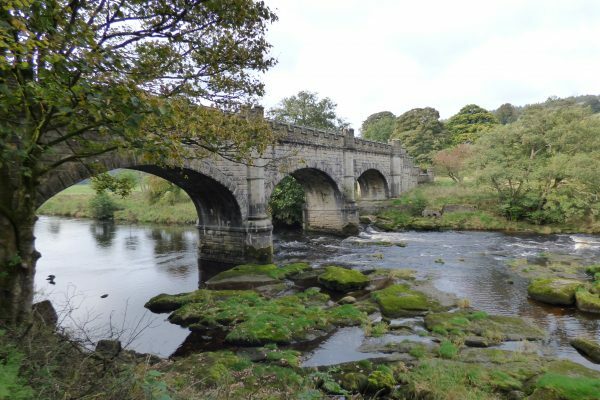 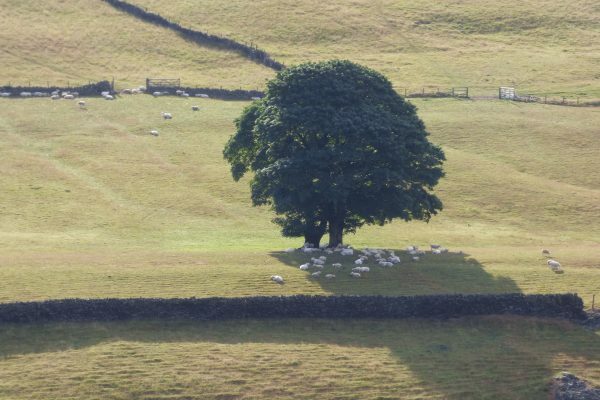 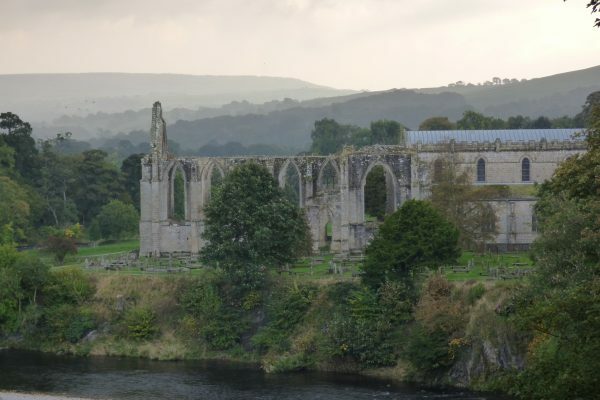 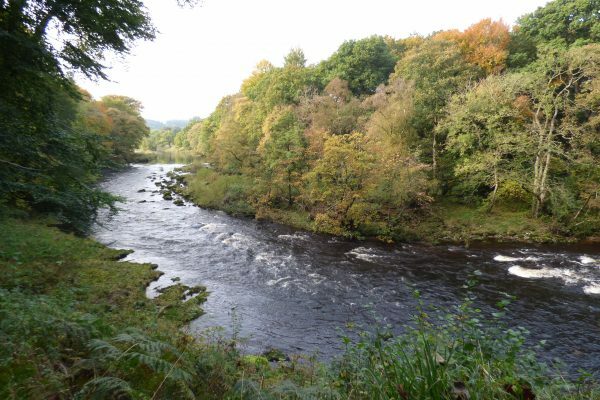 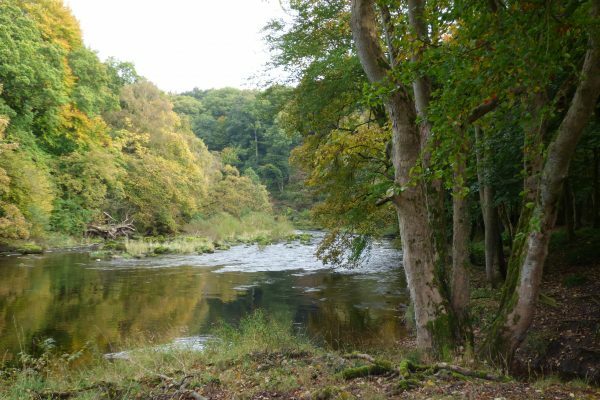 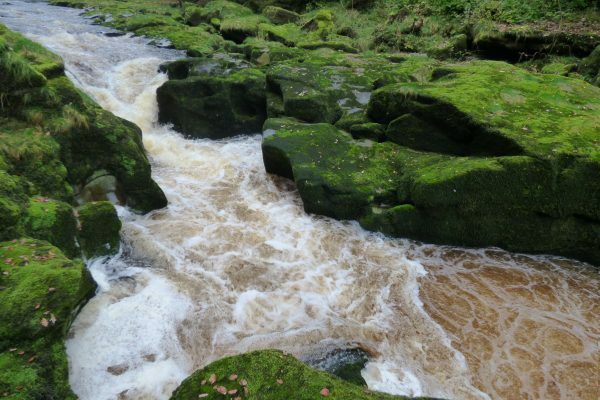 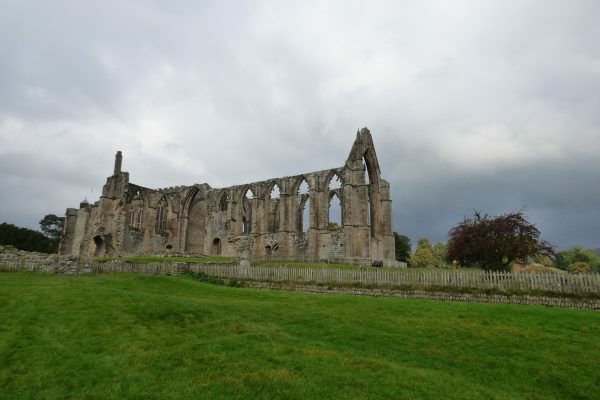 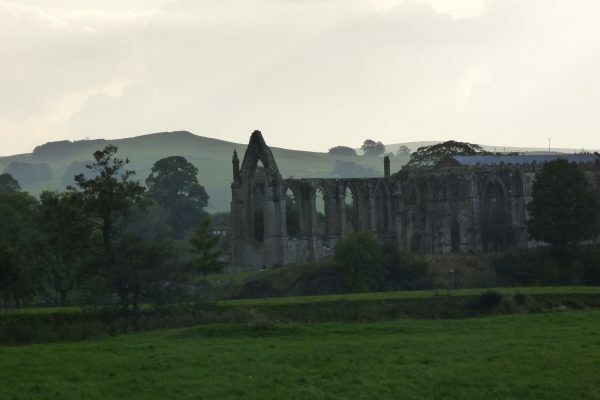 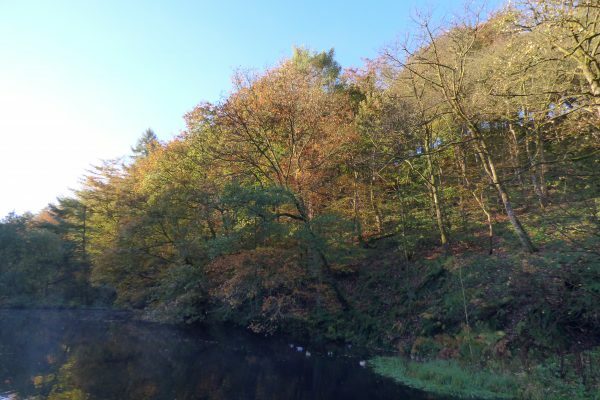 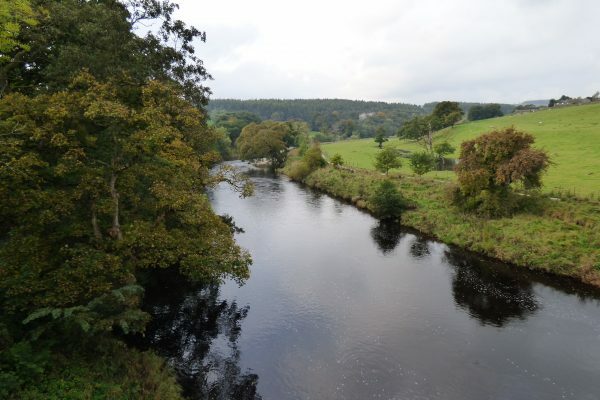 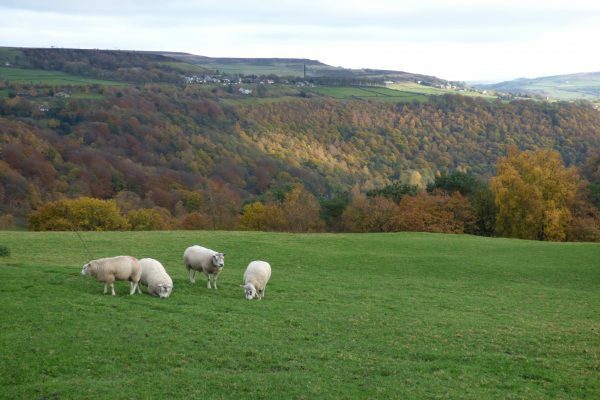 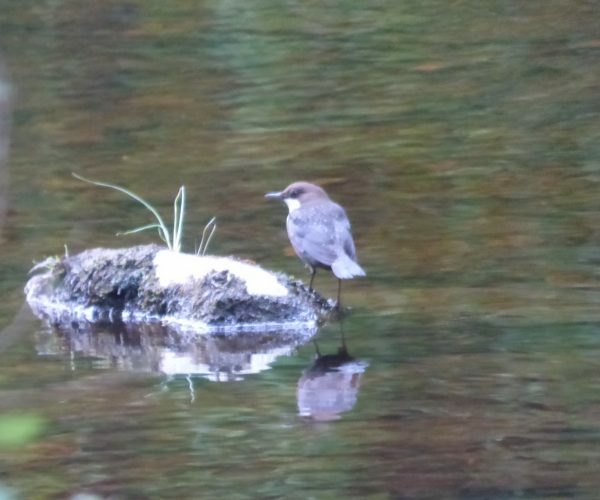 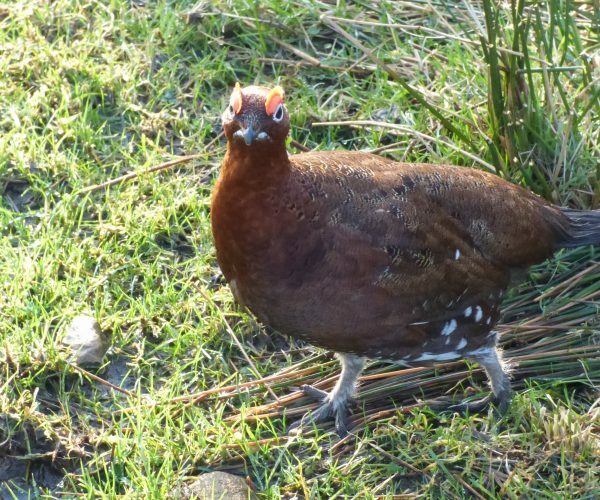 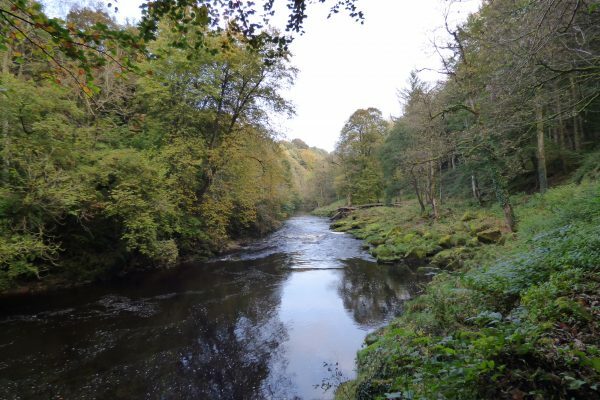 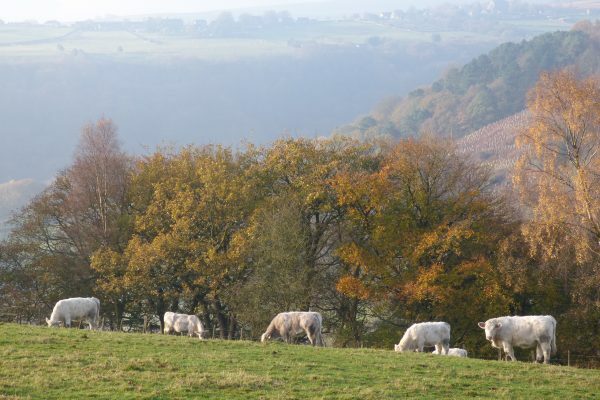 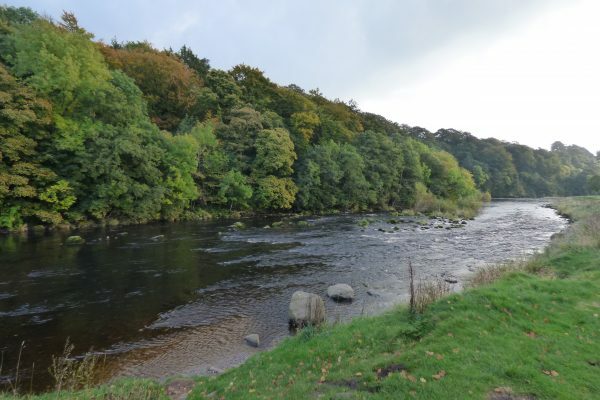 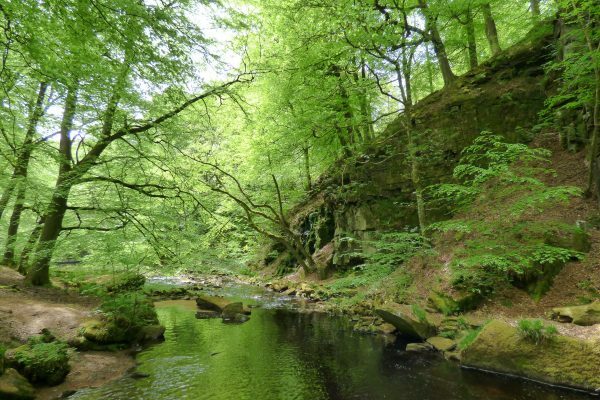 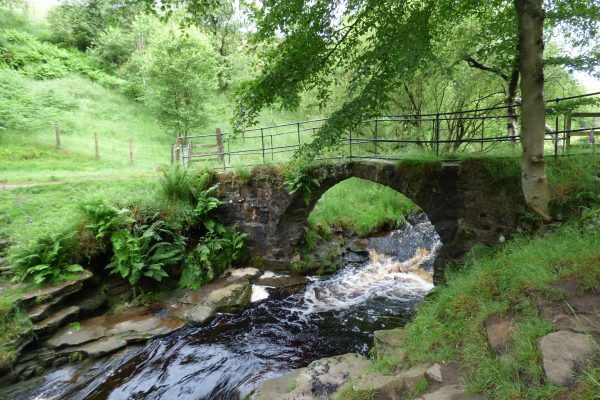 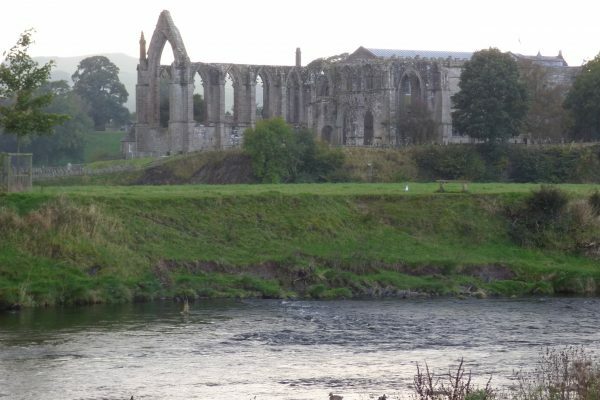 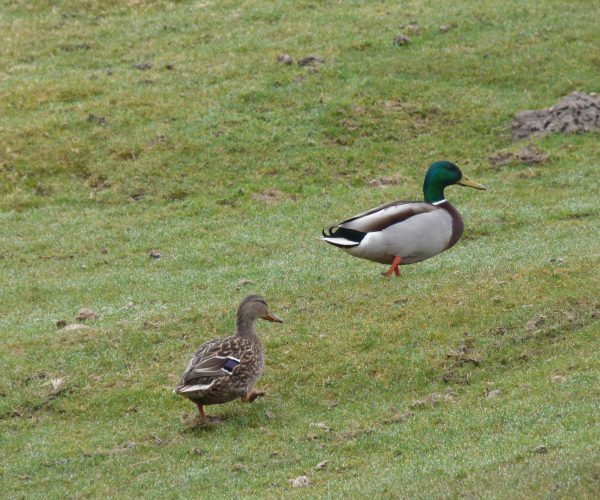 Savour the pastoral beauty of Wharfedale and Bolton Abbey. 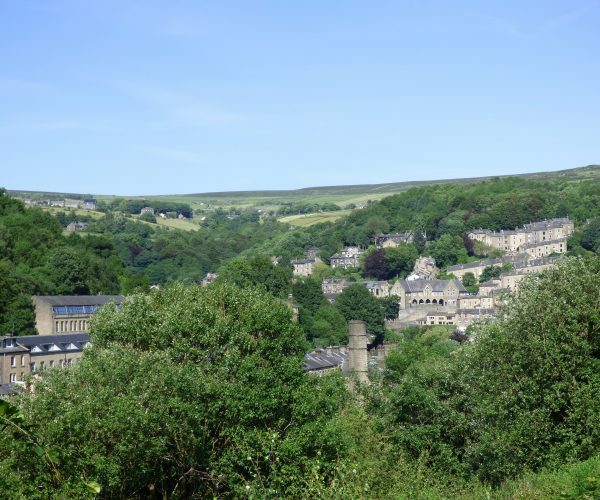 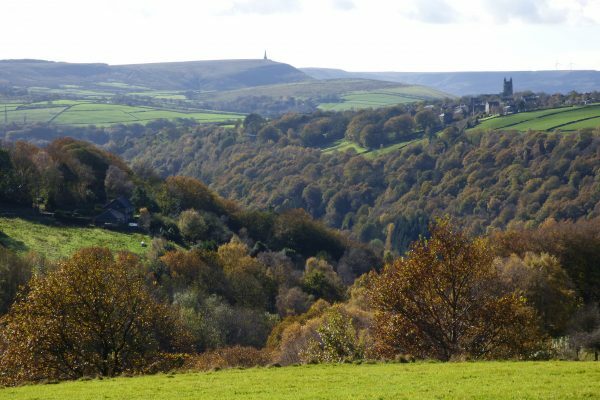 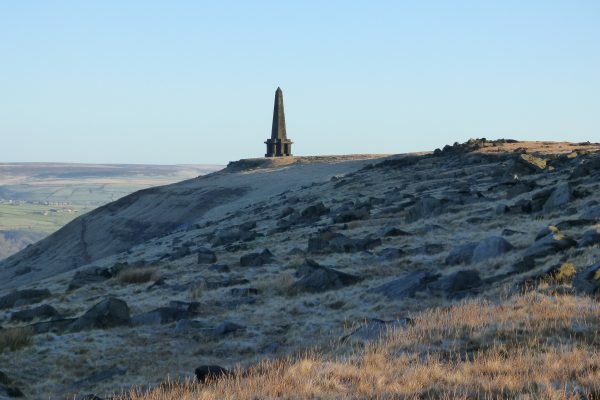 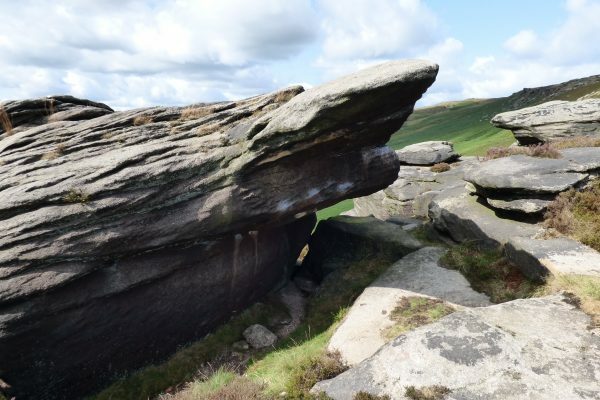 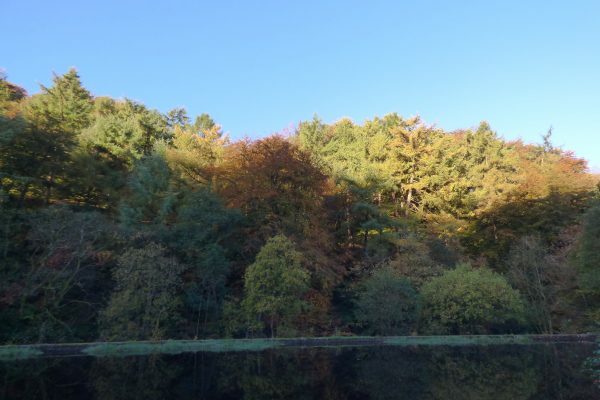 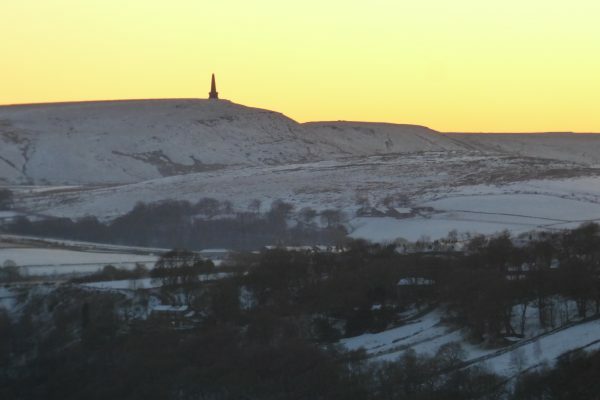 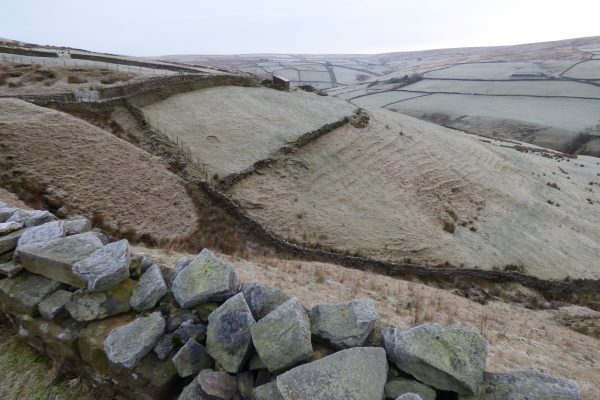 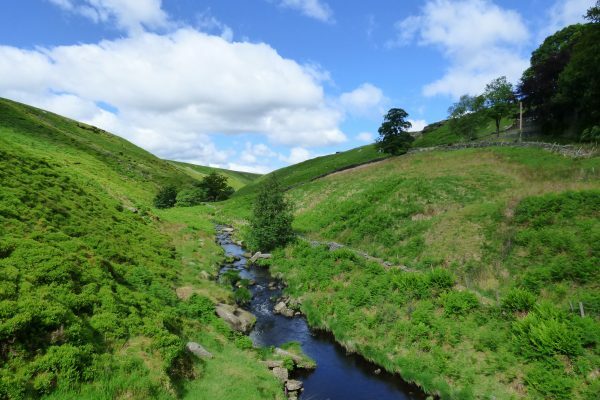 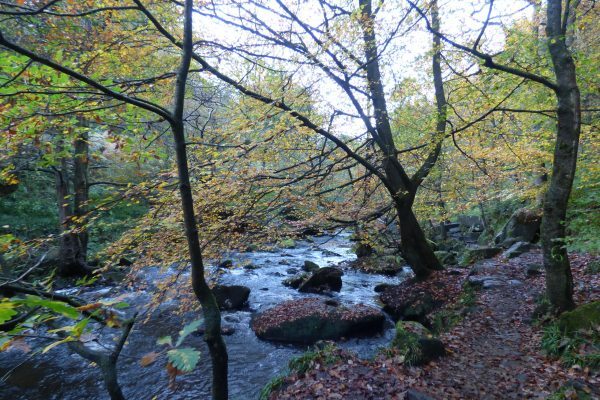 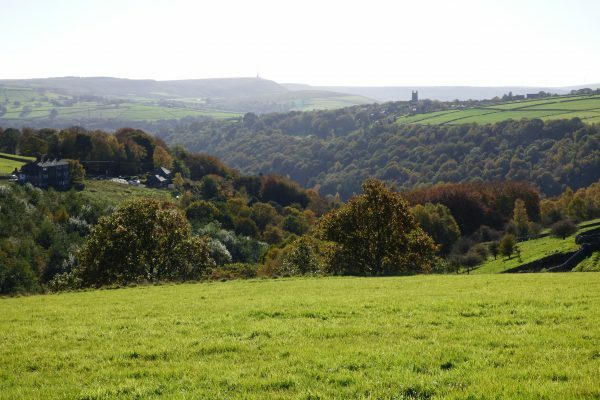 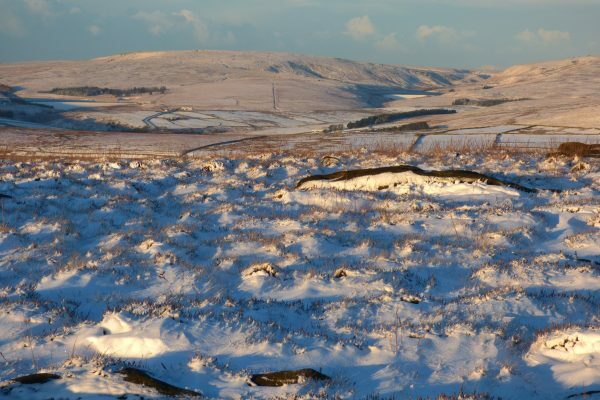 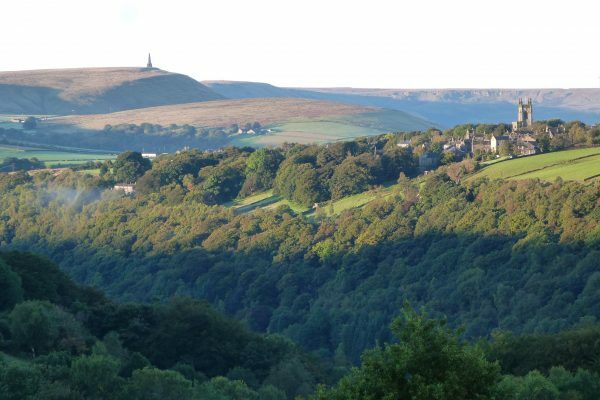 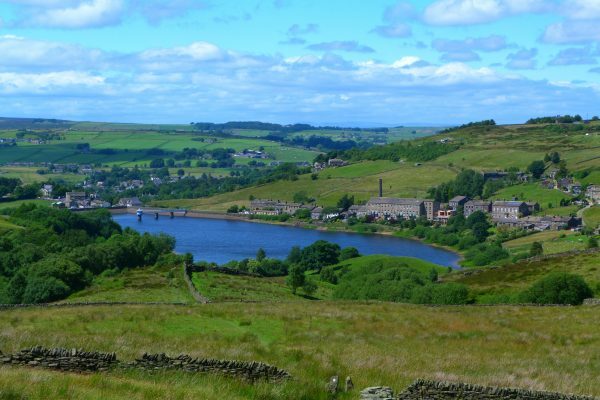 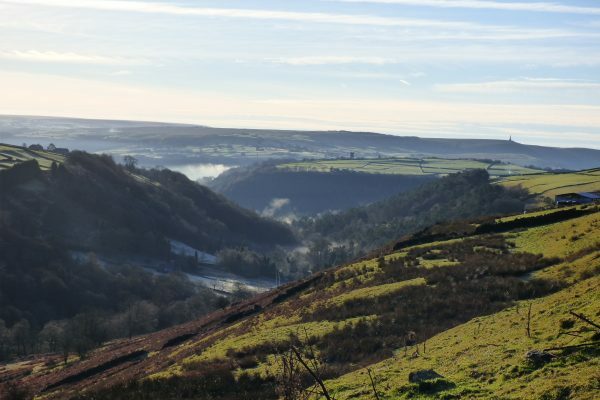 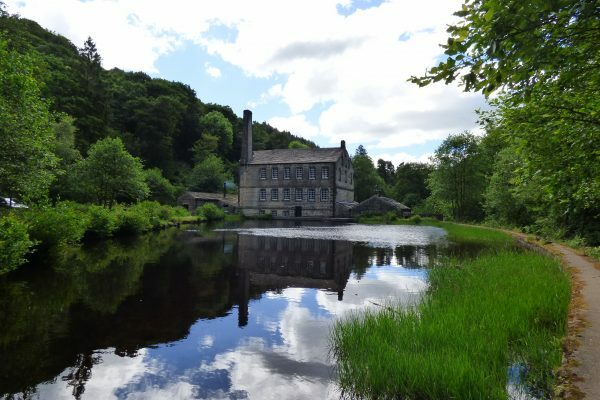 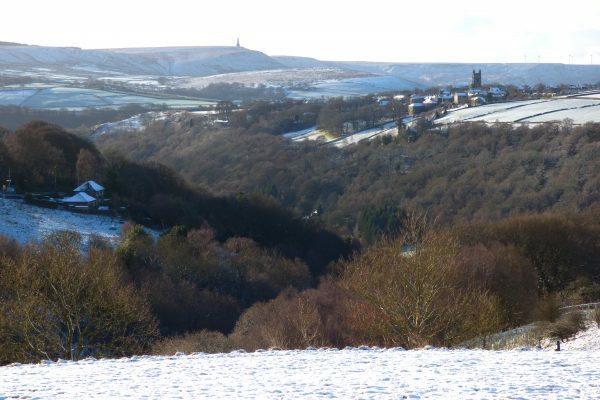 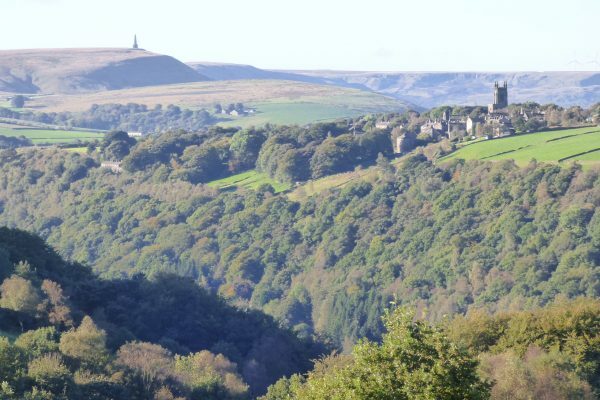 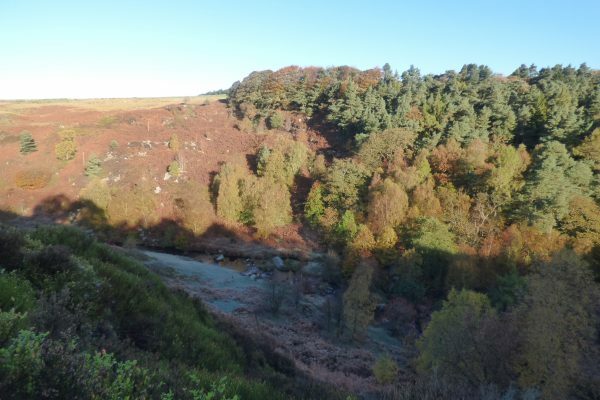 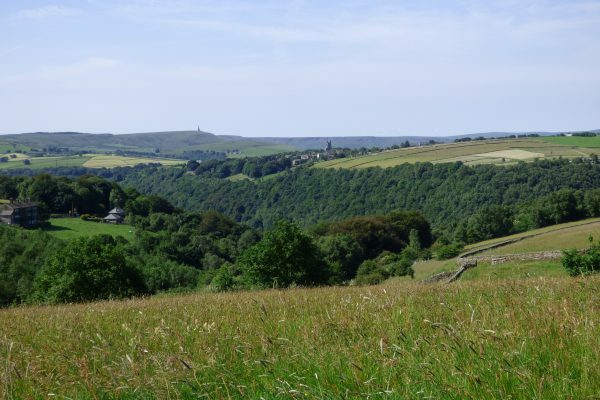 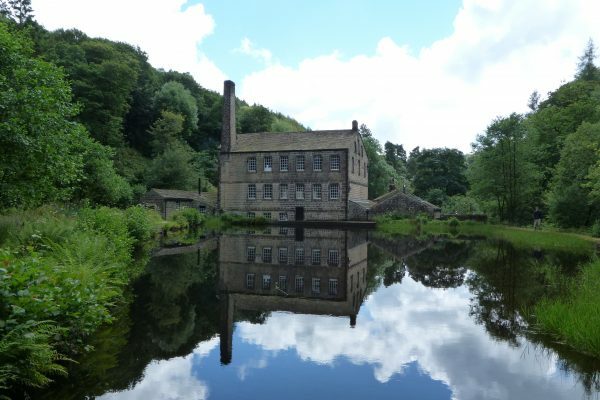 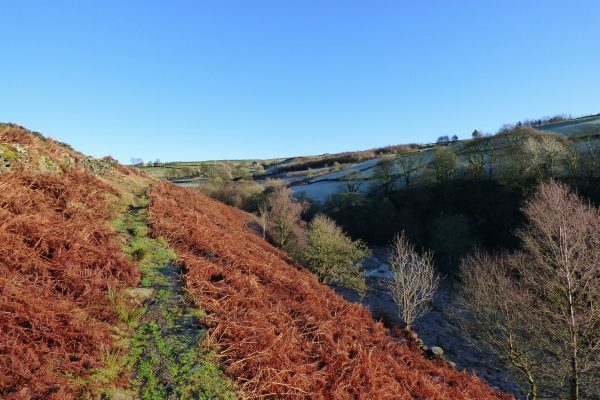 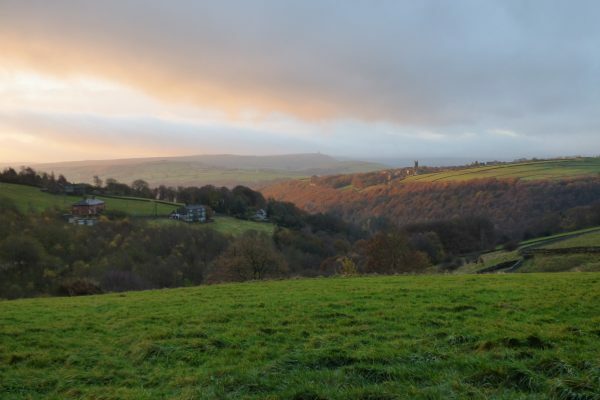 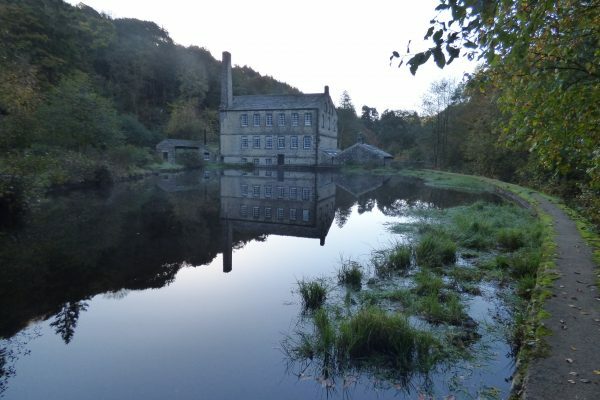 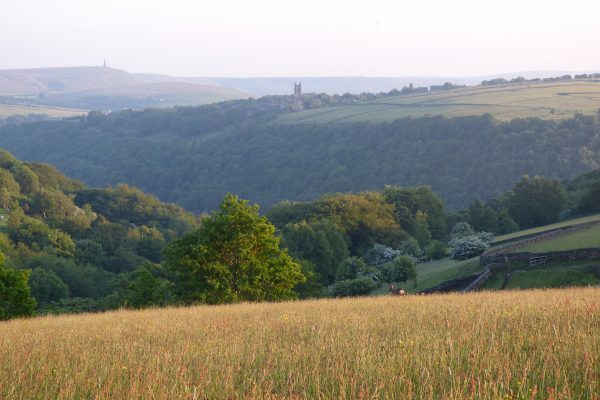 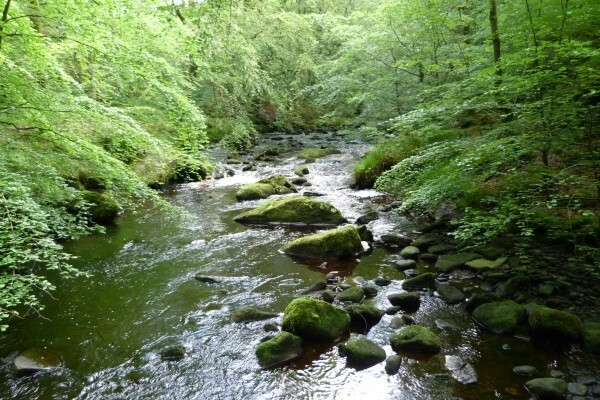 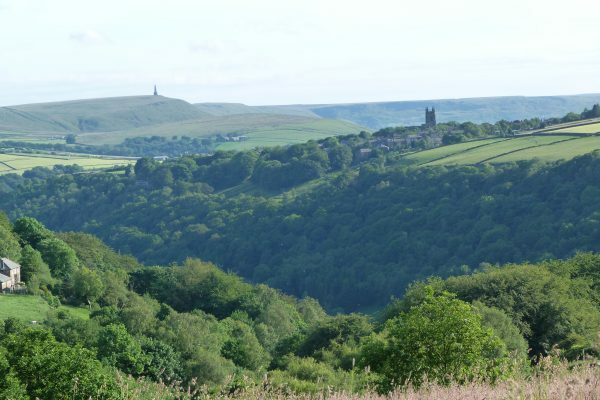 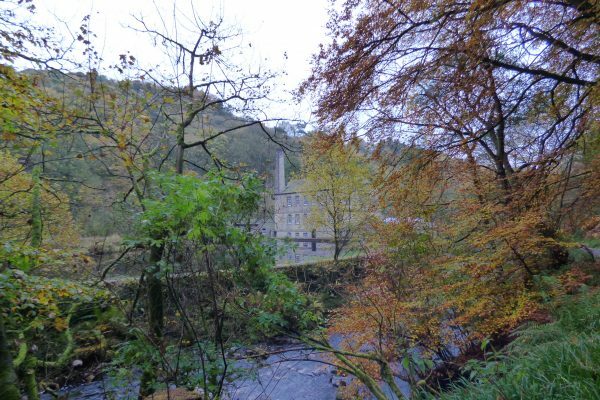 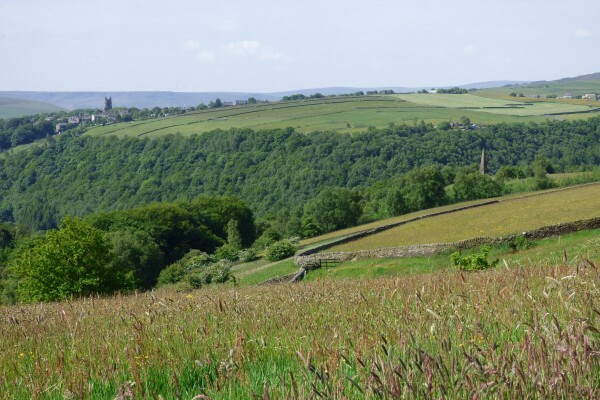 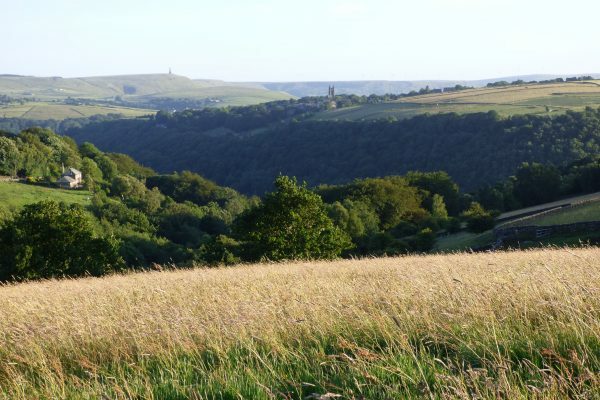 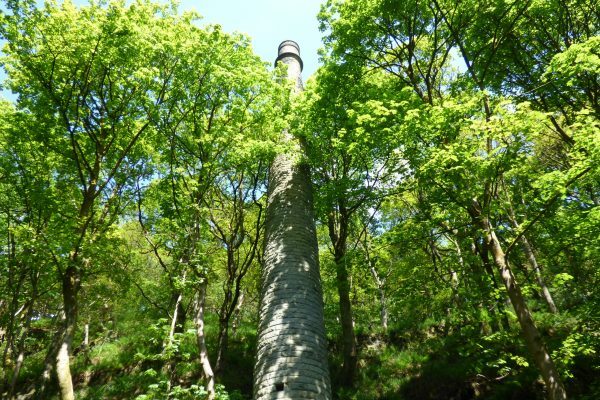 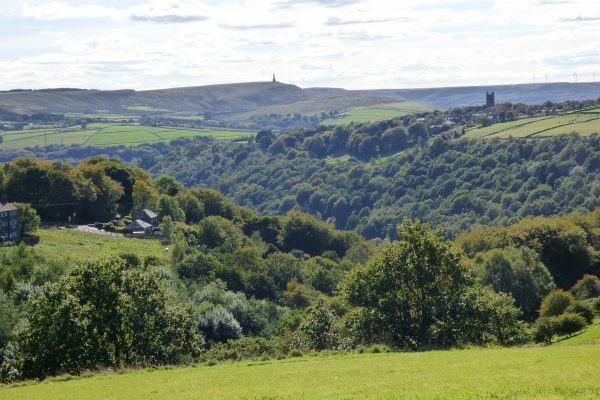 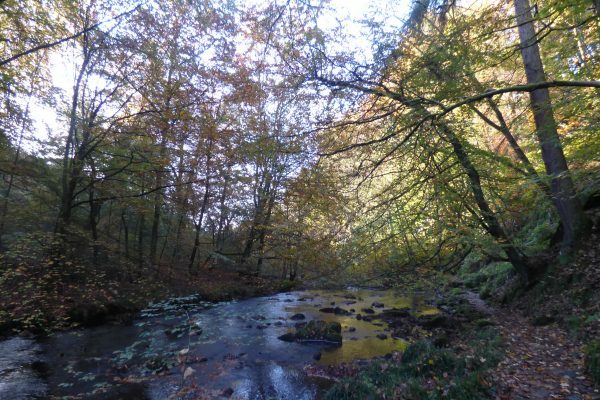 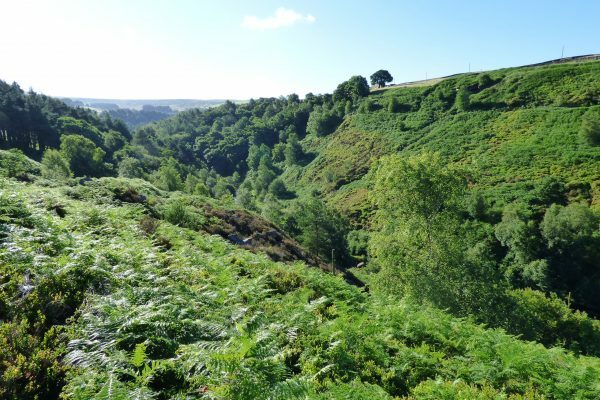 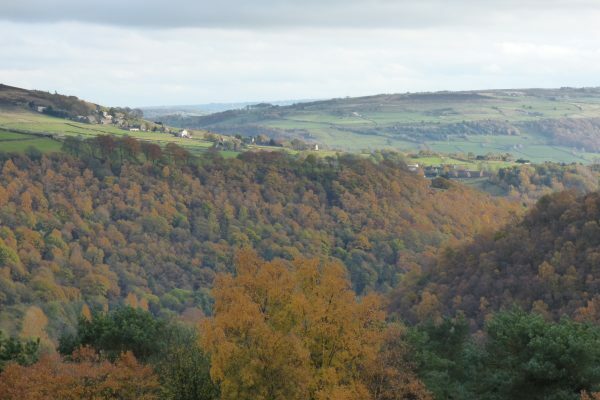 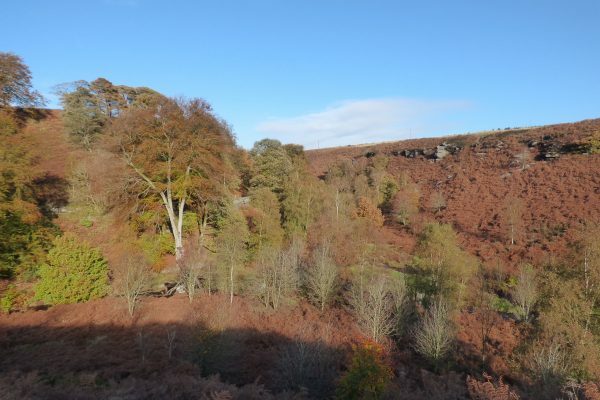 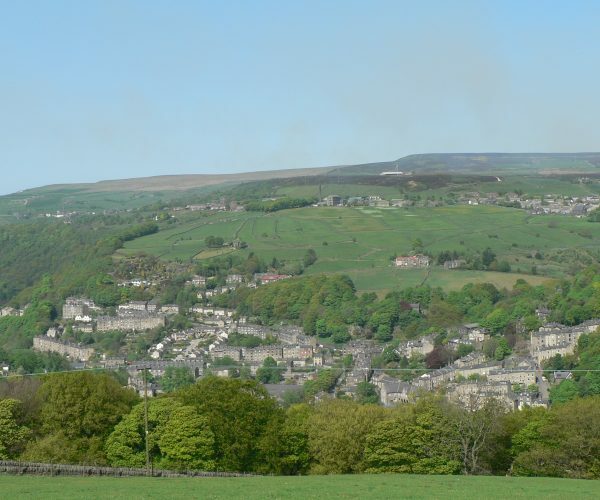 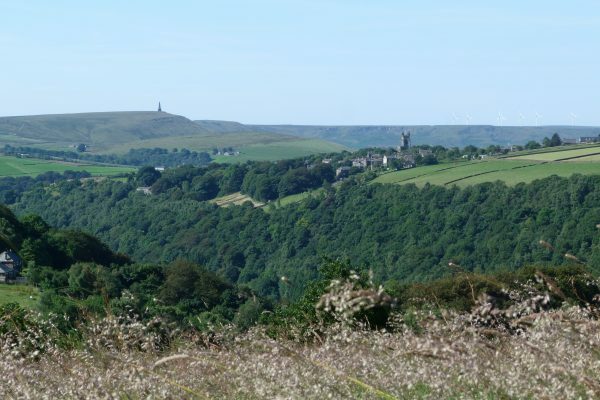 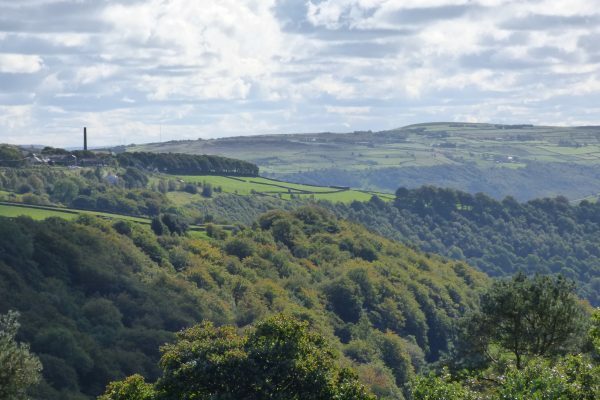 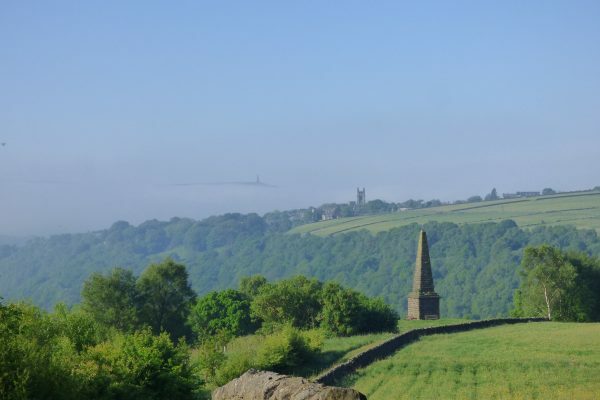 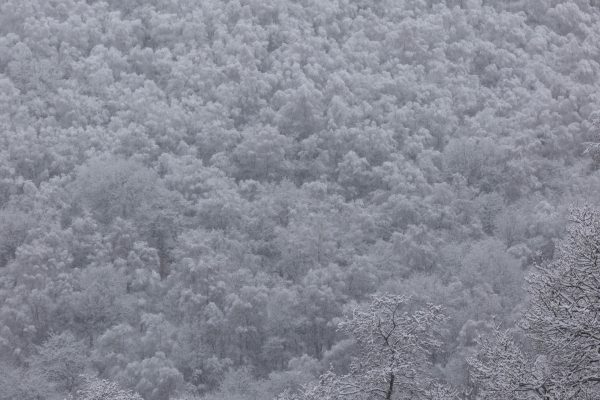 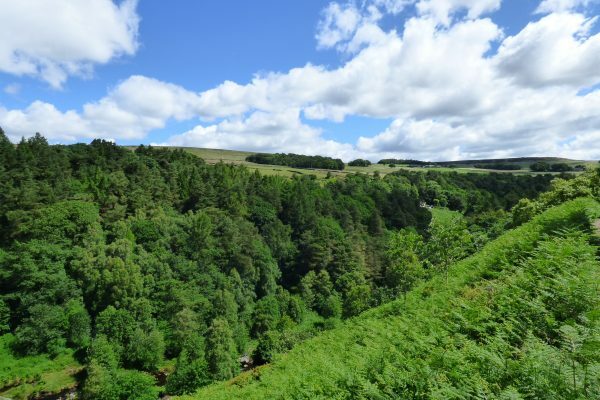 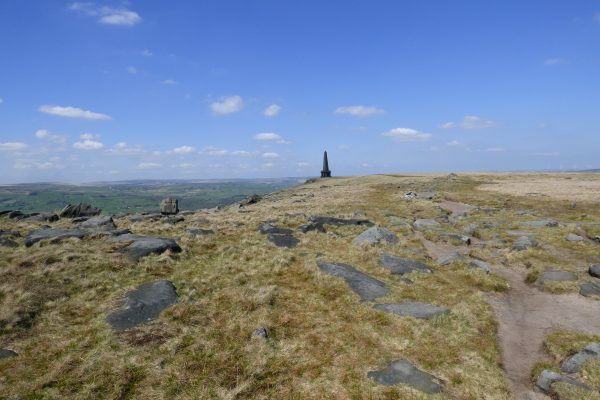 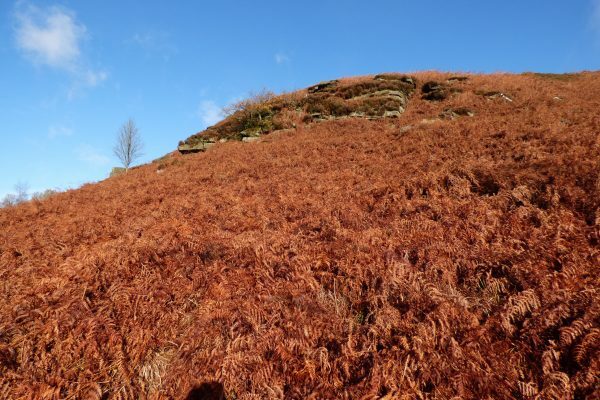 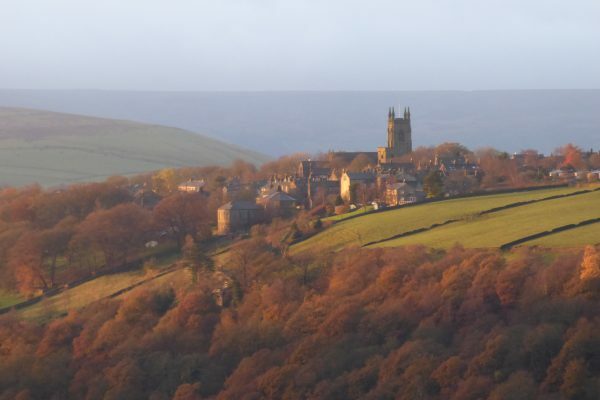 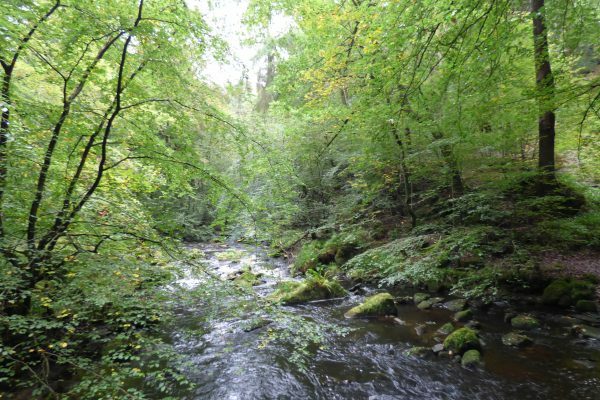 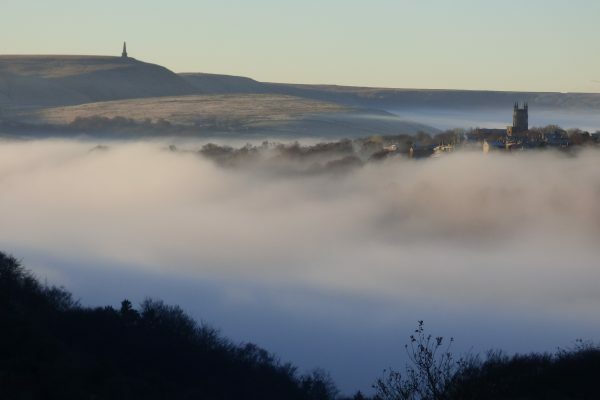 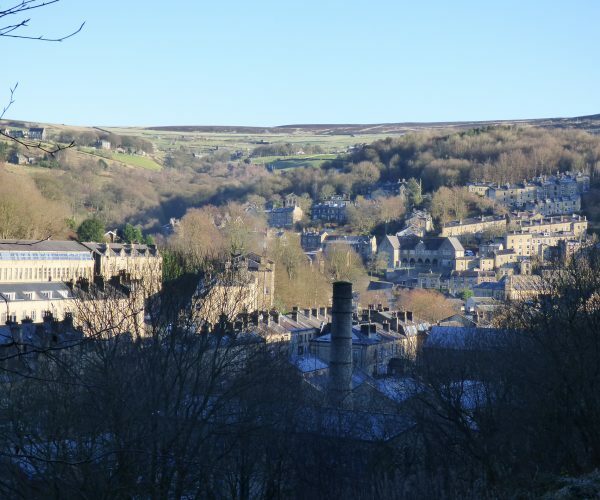 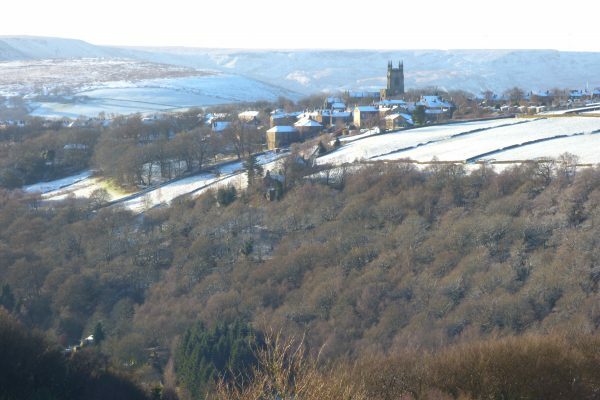 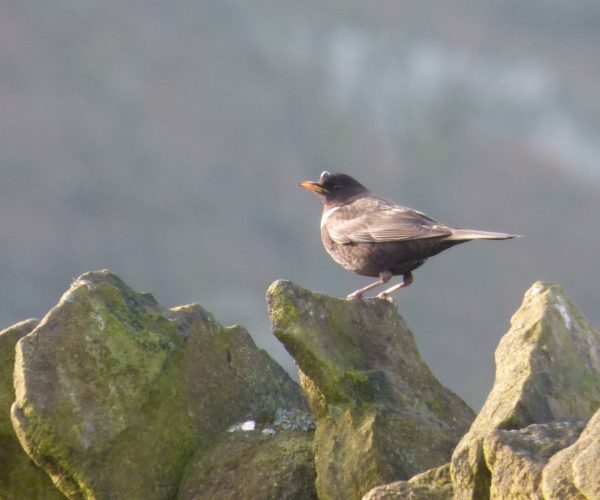 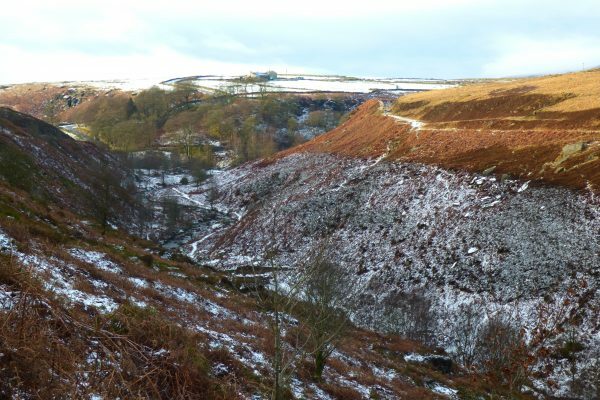 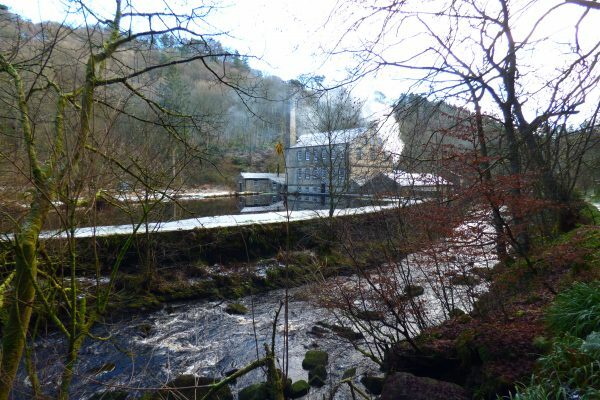 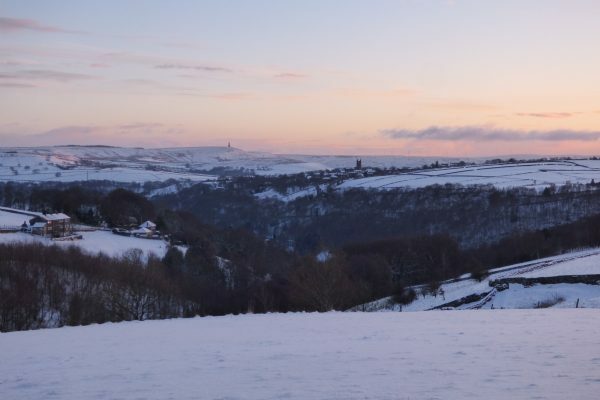 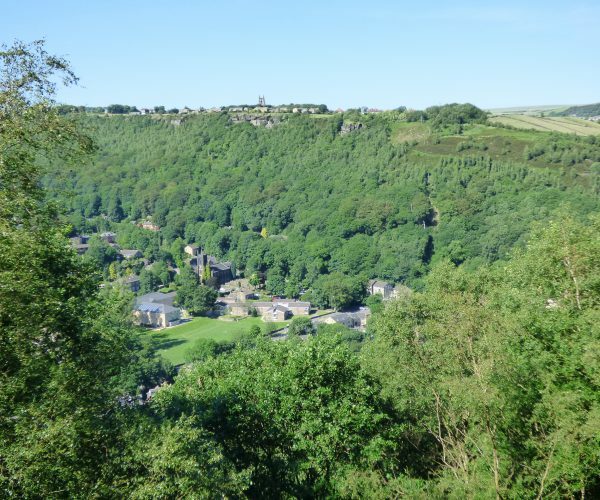 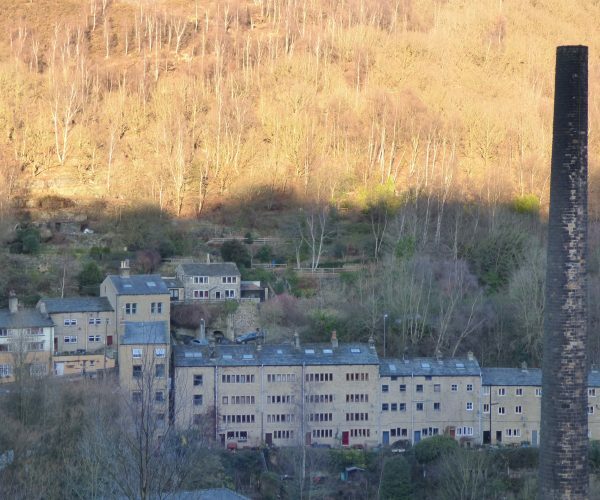 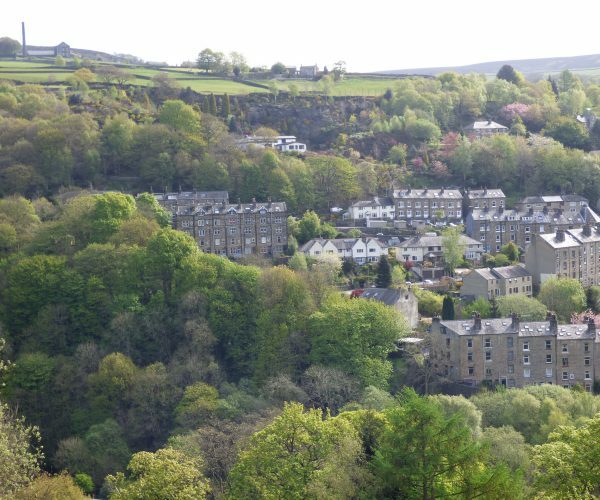 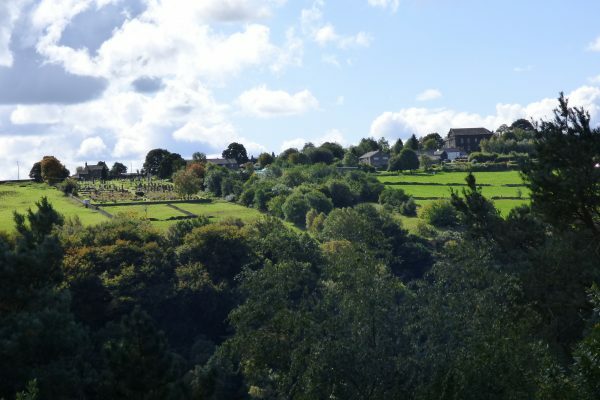 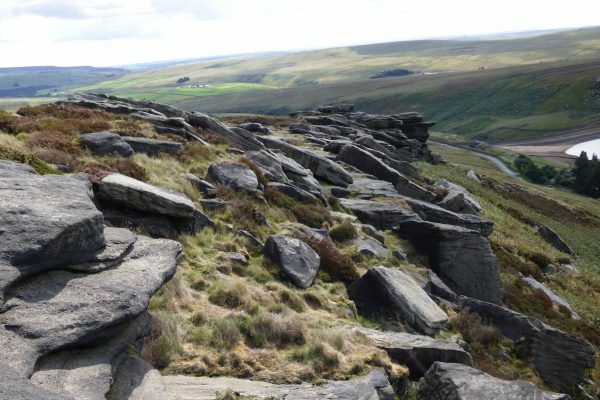 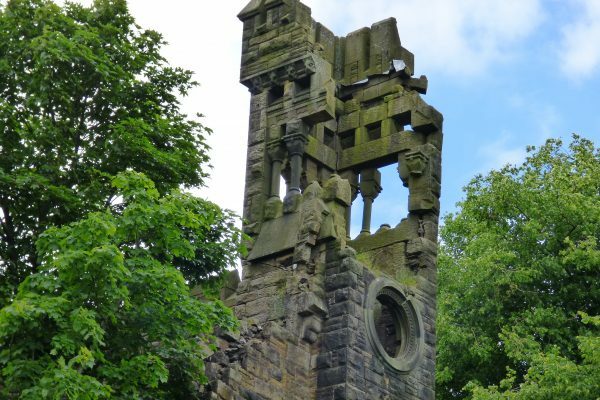 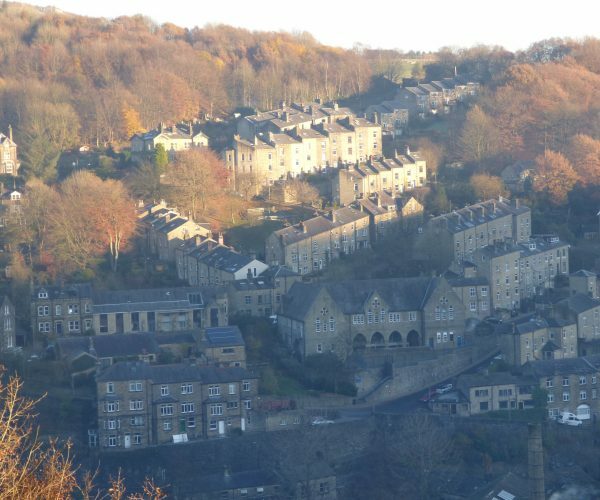 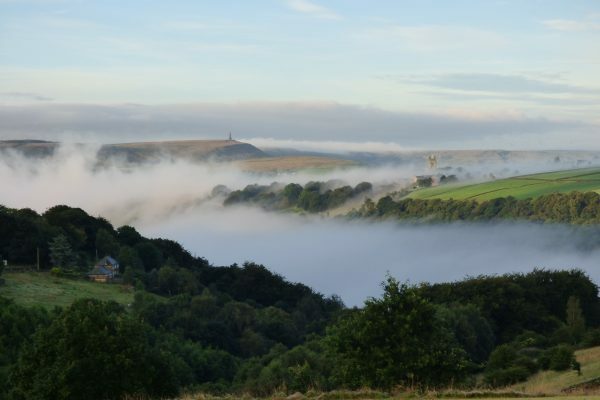 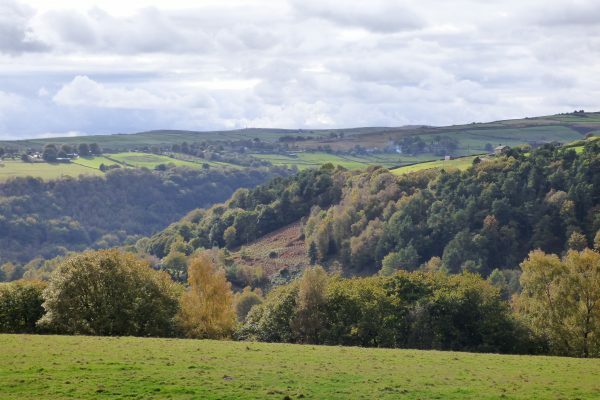 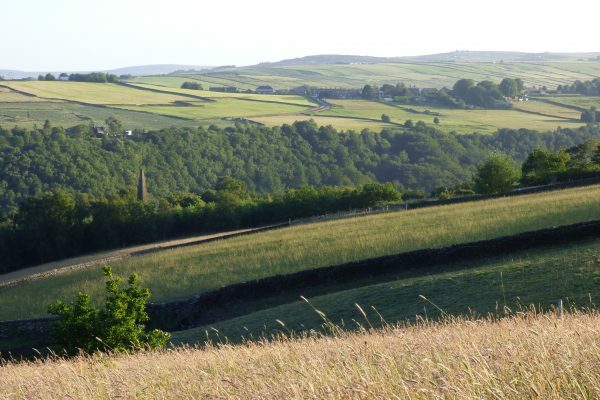 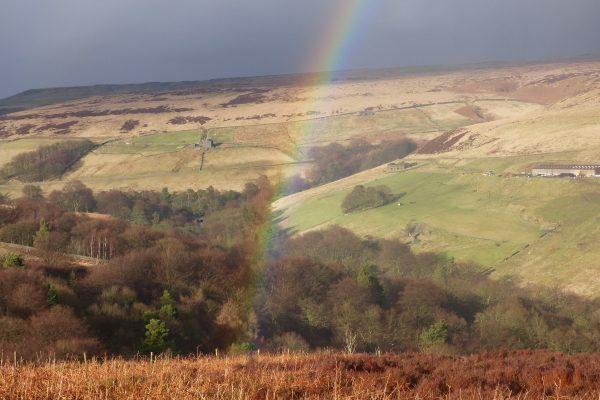 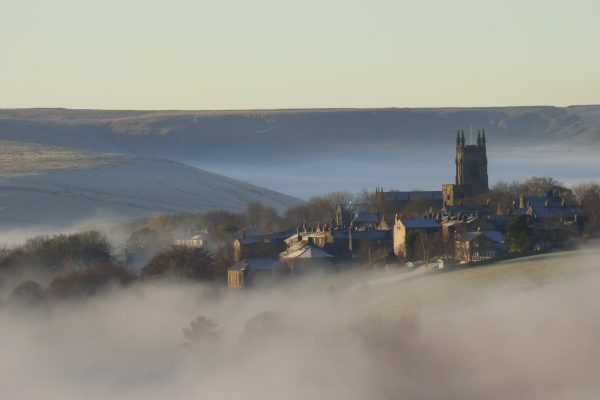 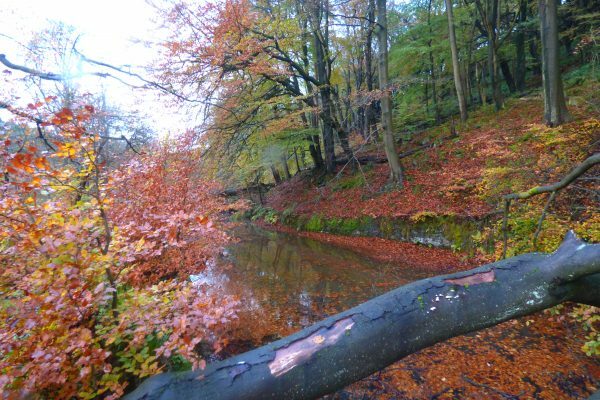 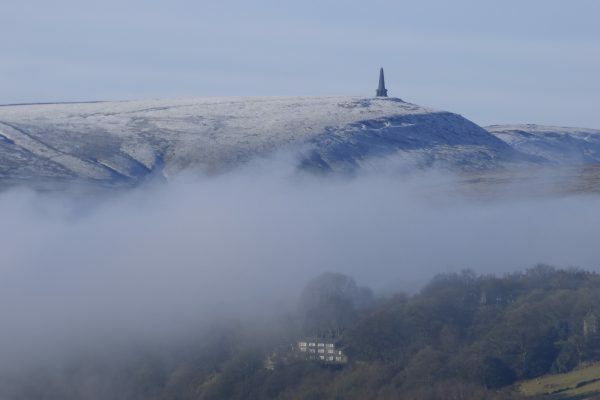 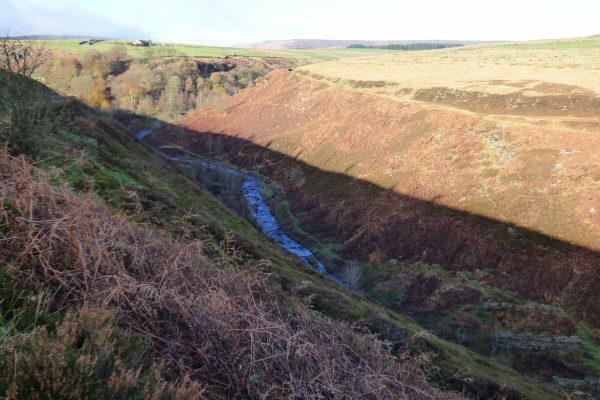 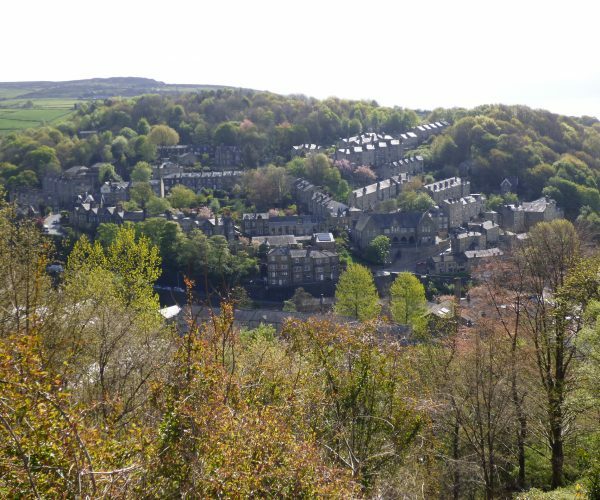 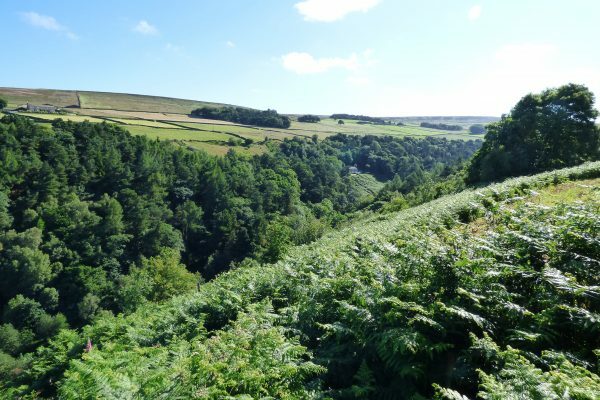 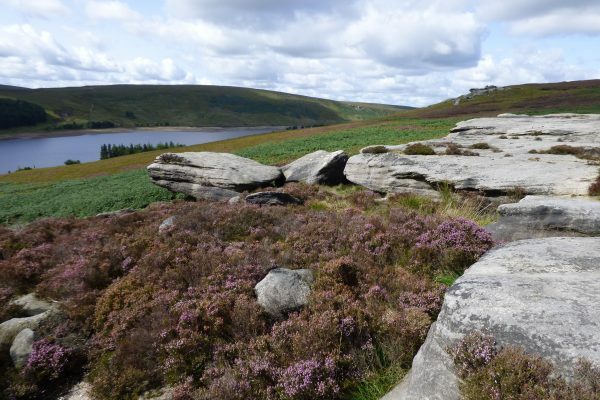 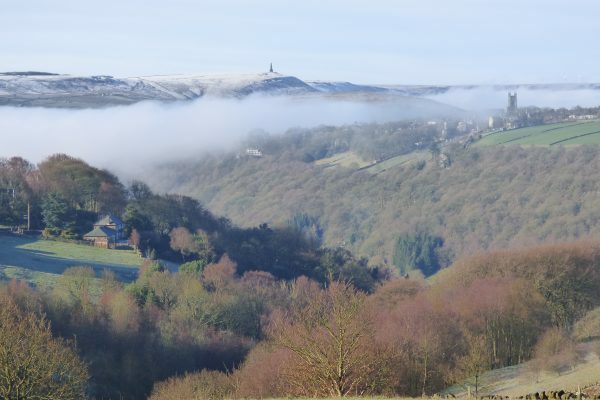 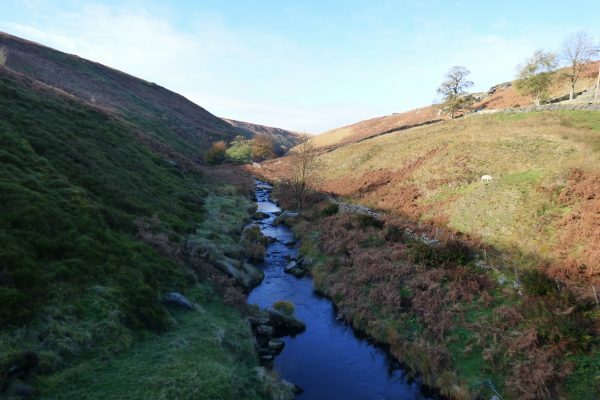 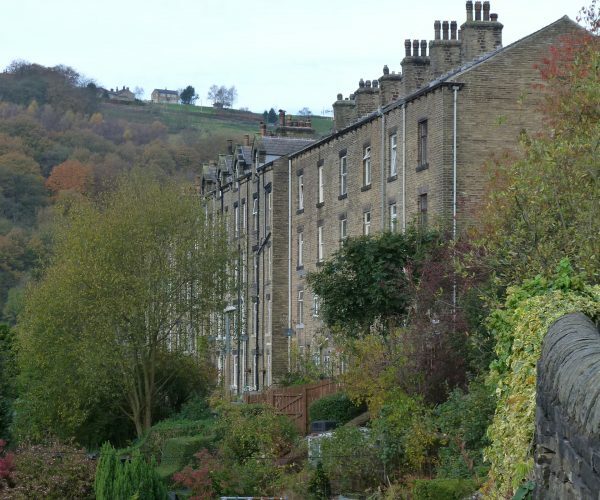 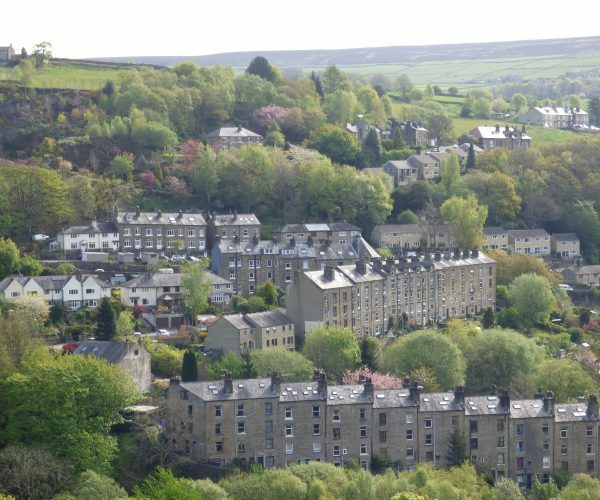 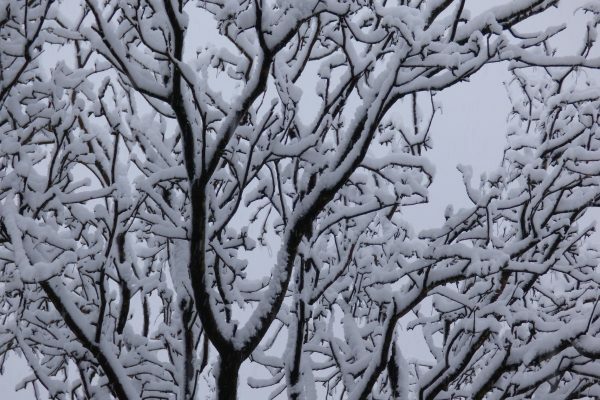 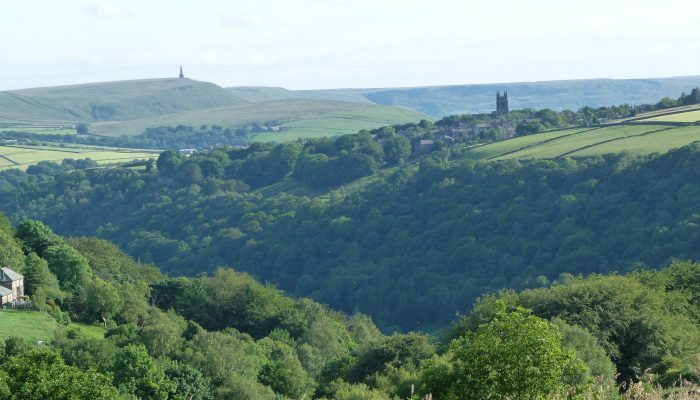 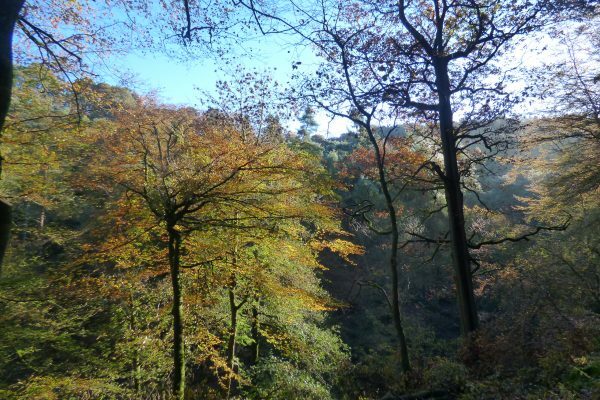 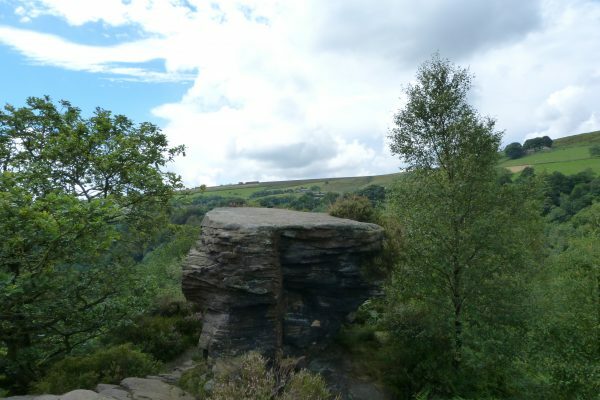 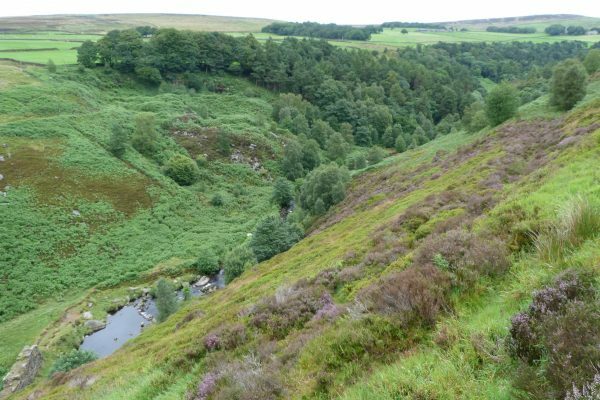 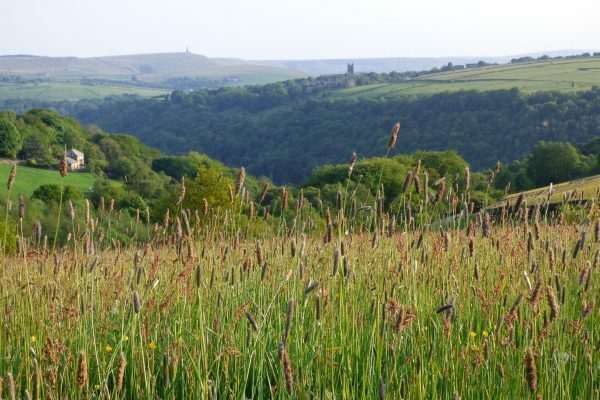 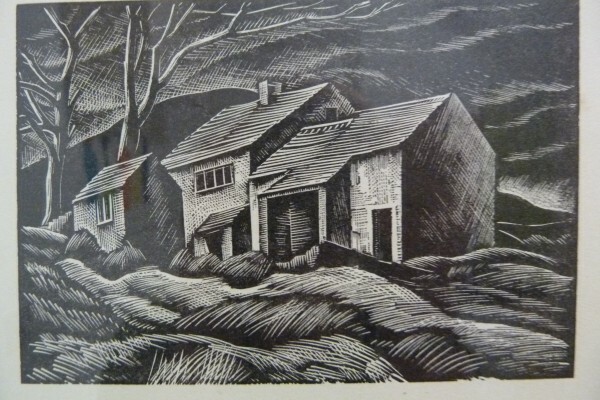 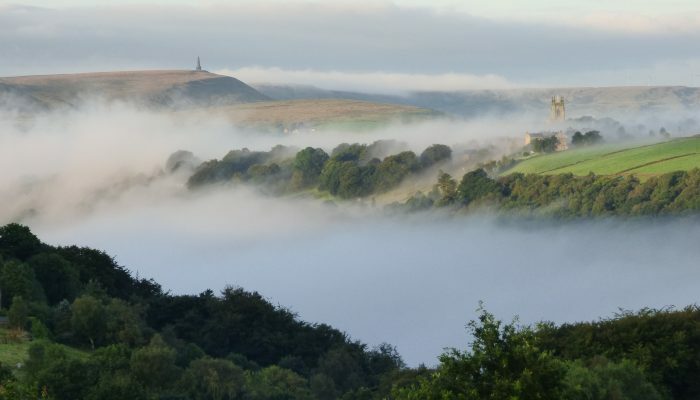 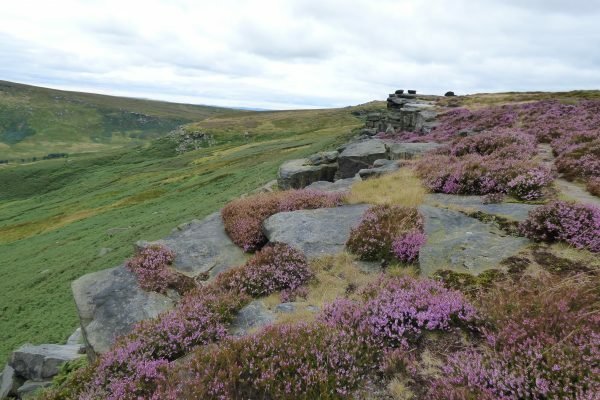 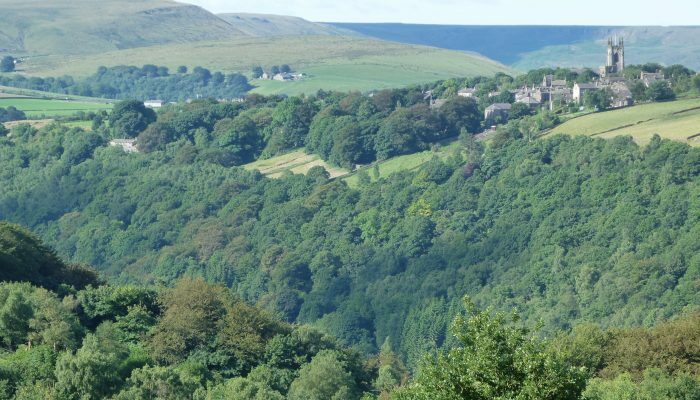 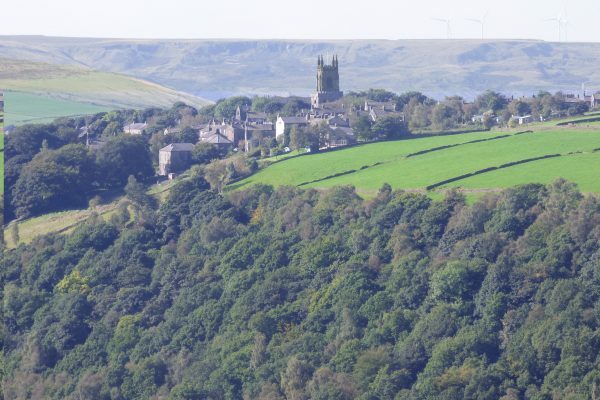 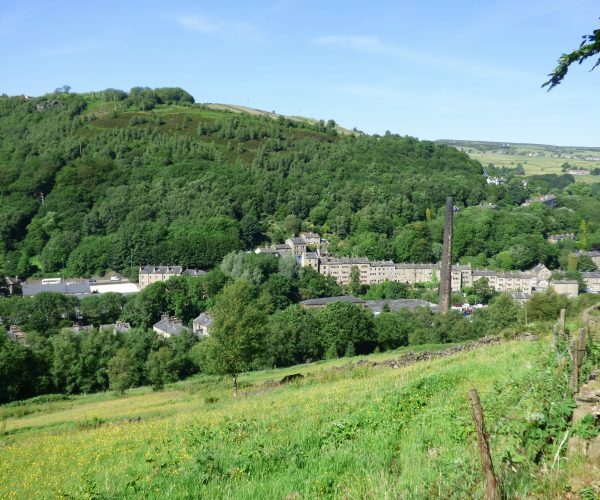 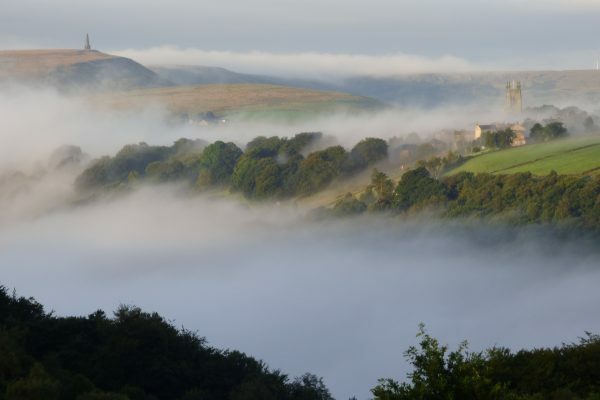 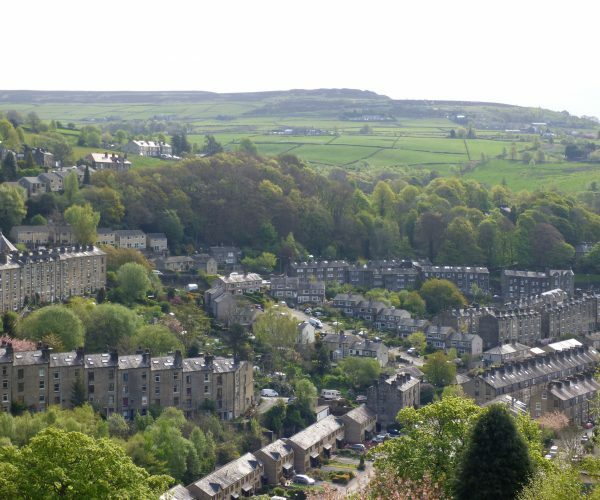 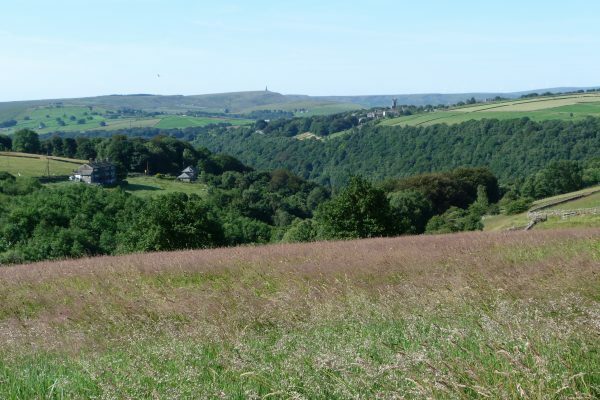 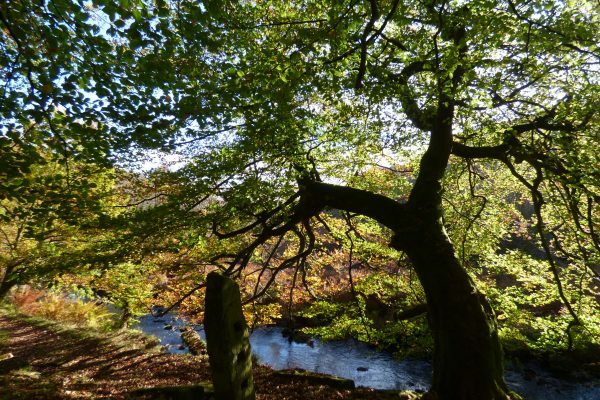 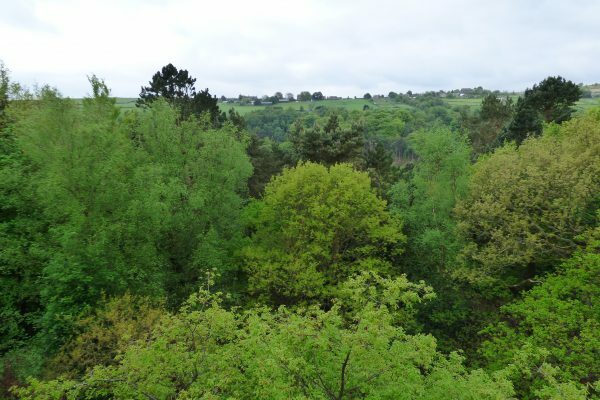 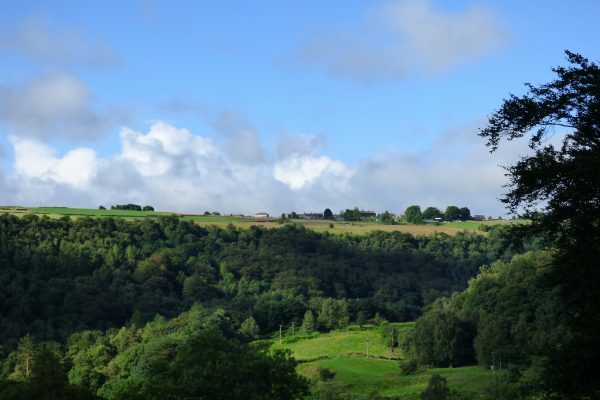 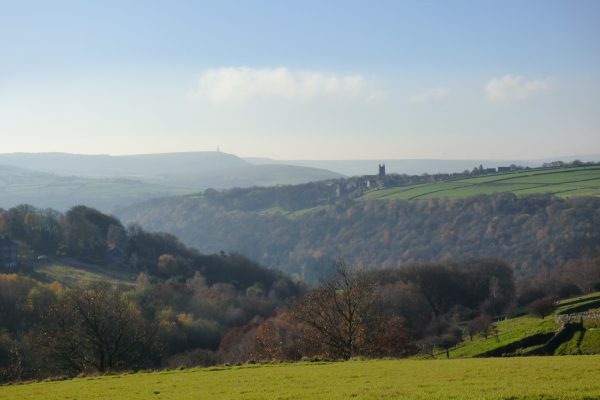 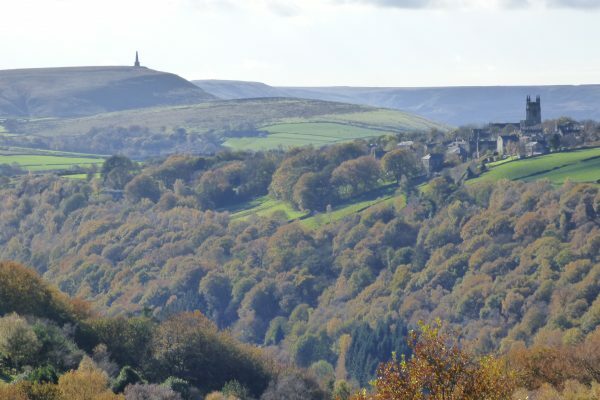 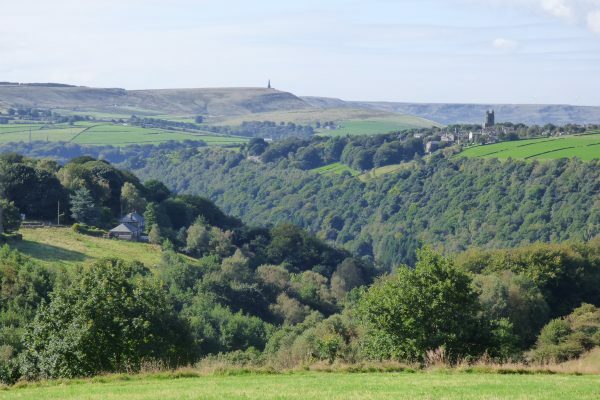 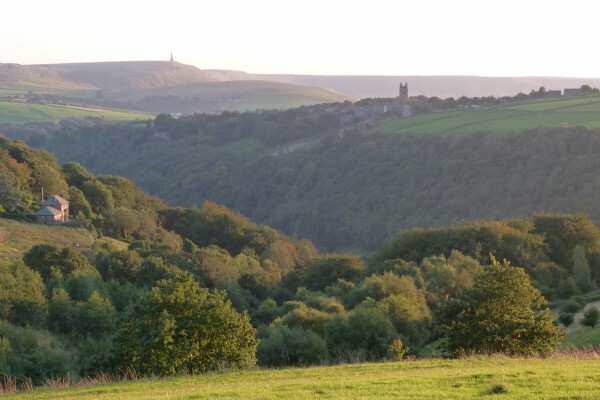 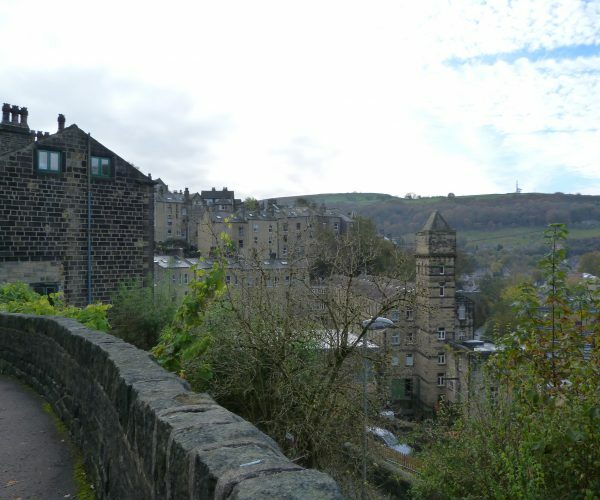 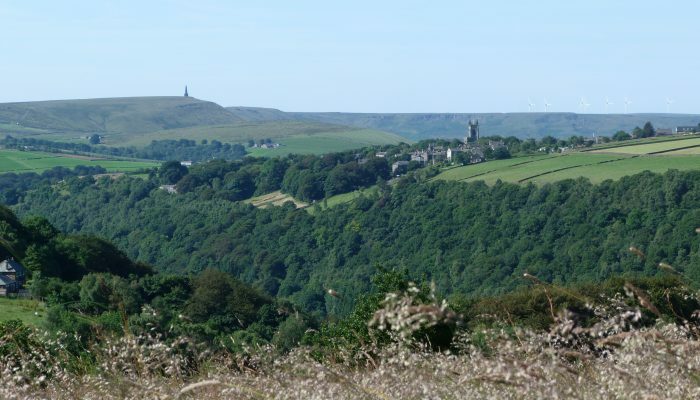 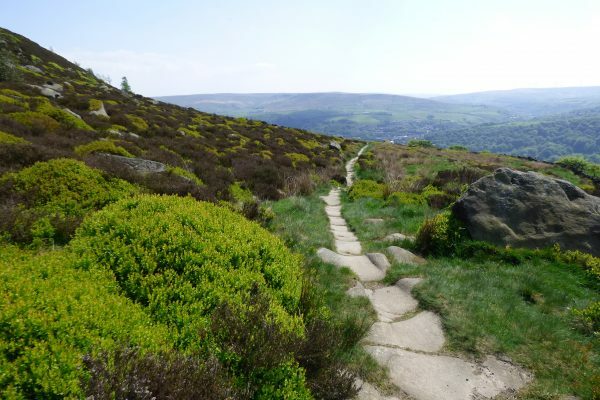 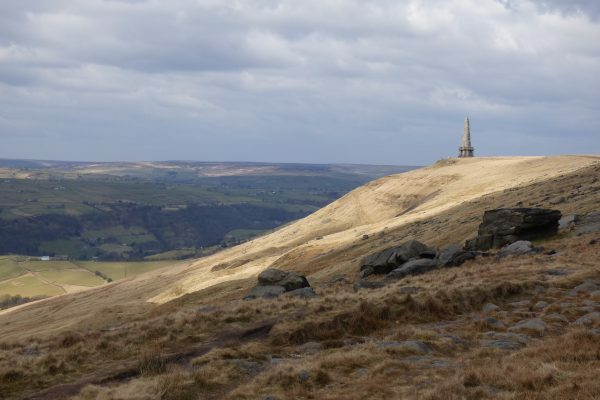 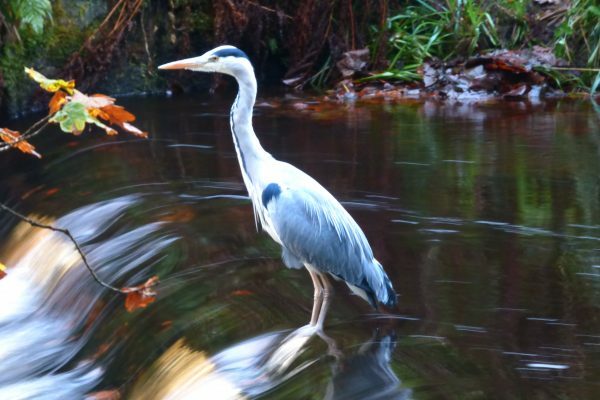 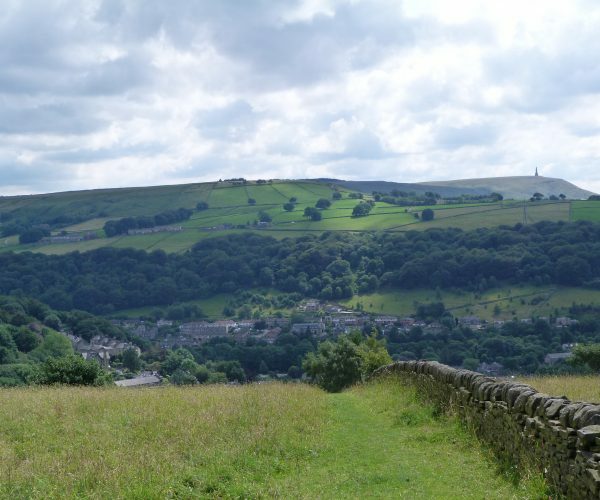 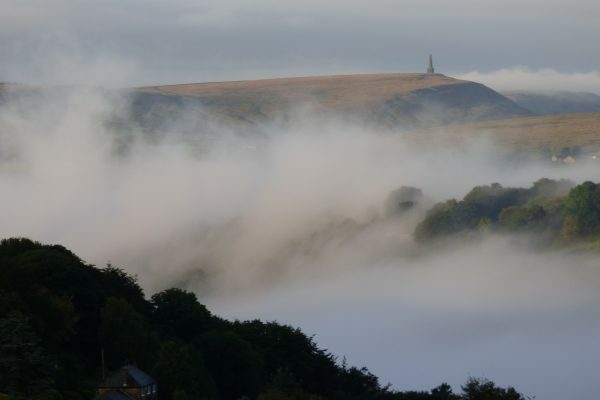 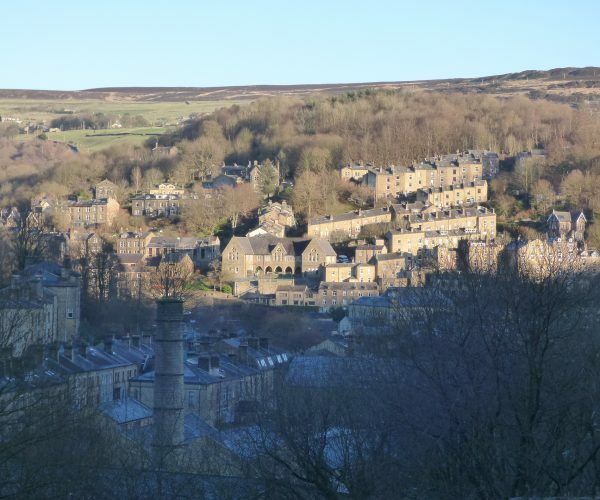 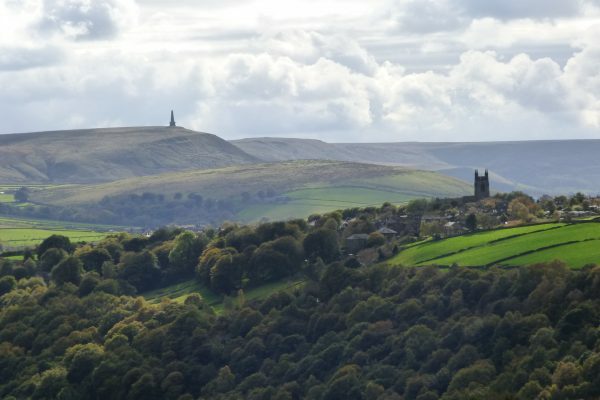 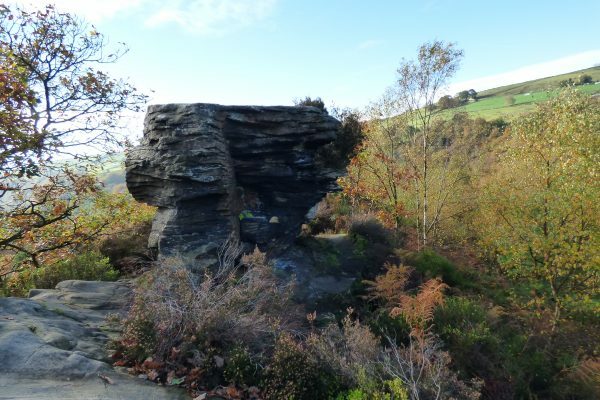 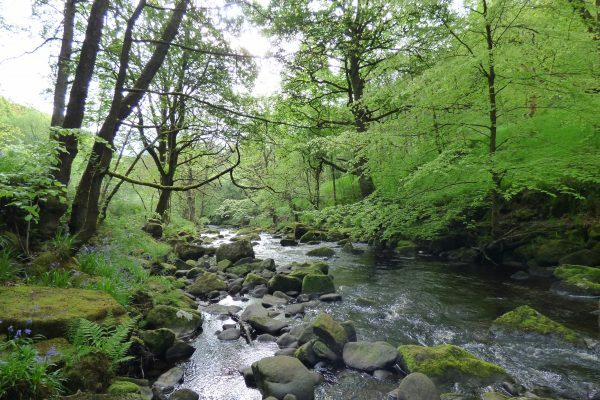 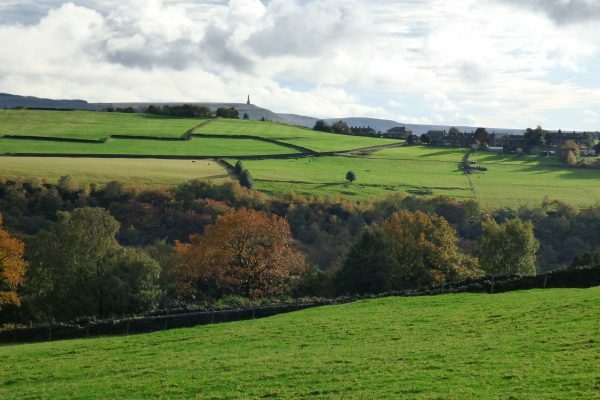 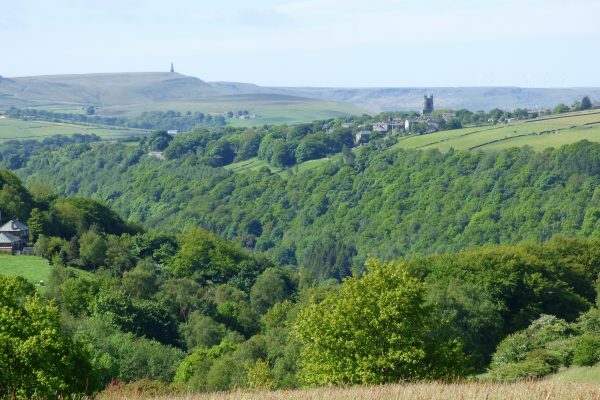 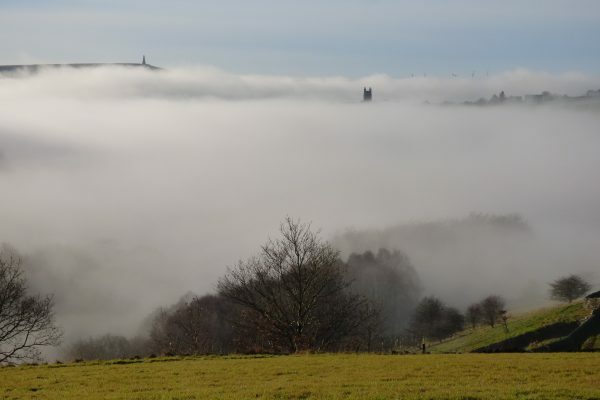 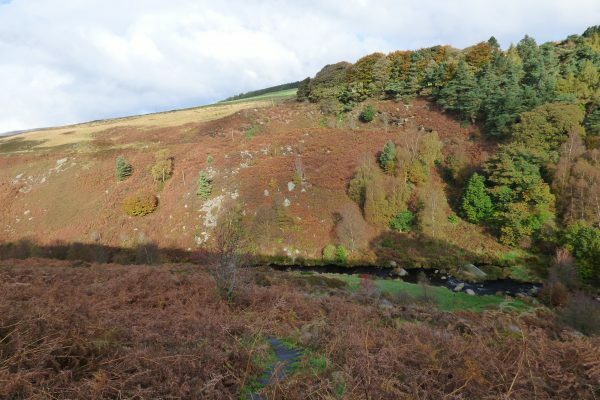 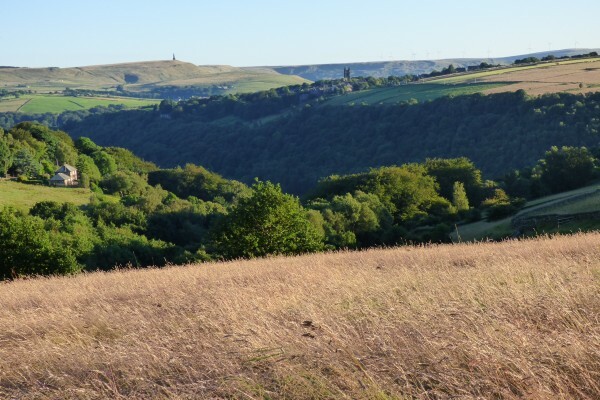 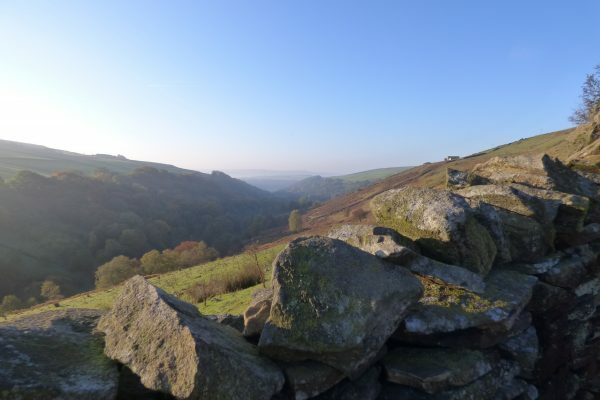 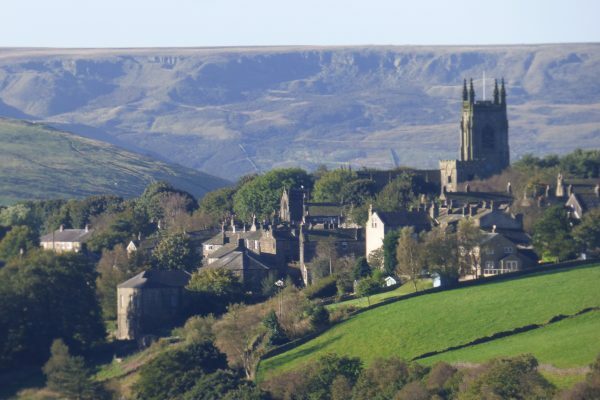 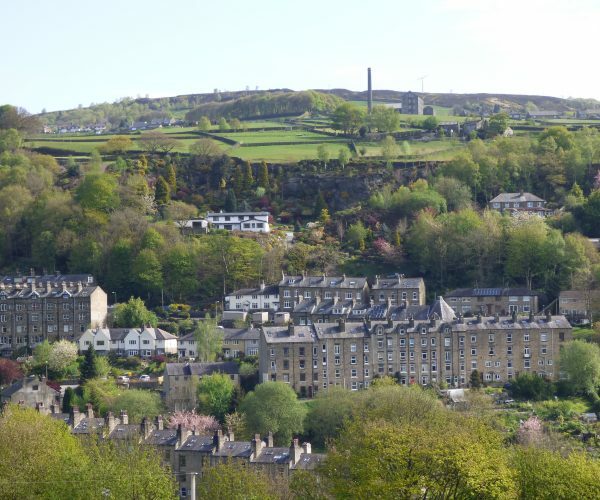 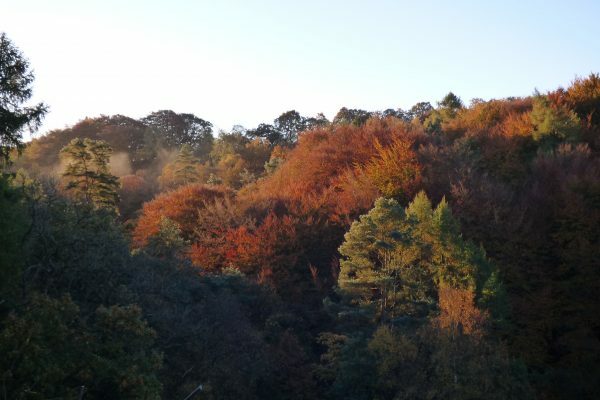 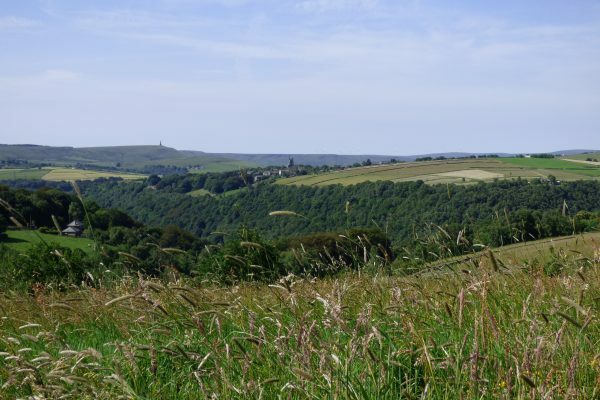 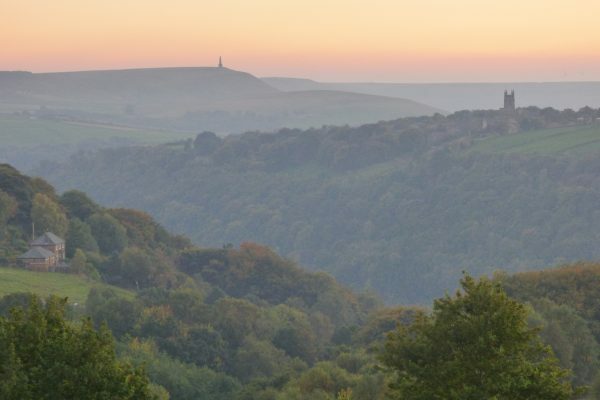 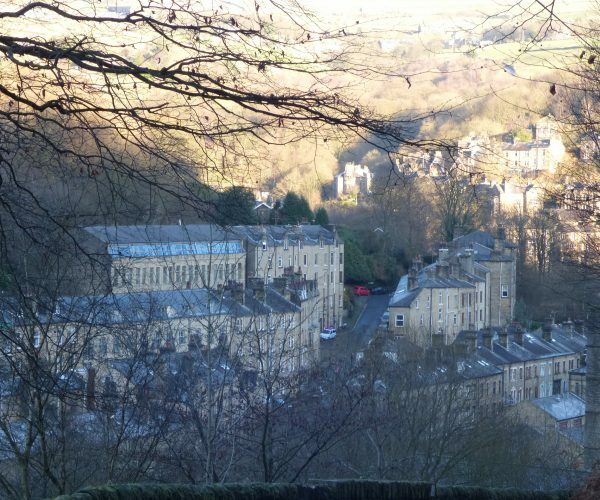 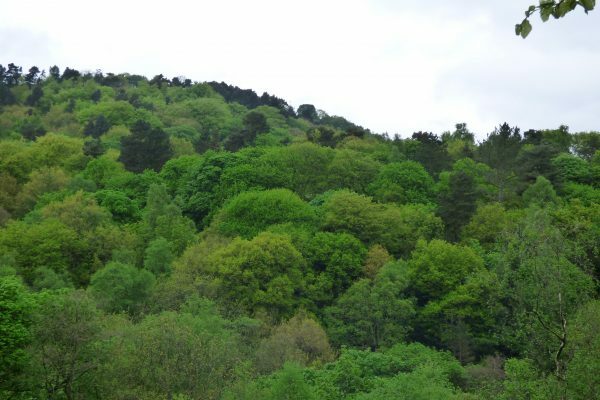 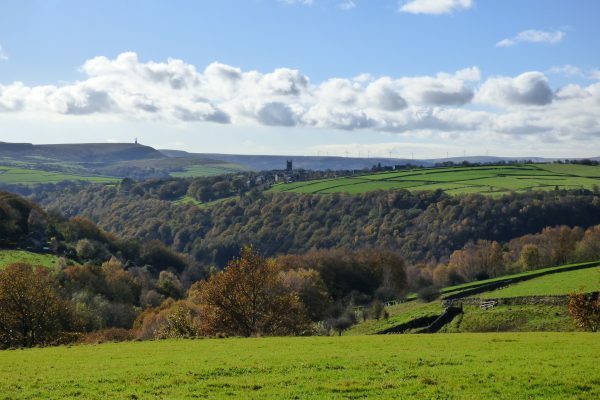 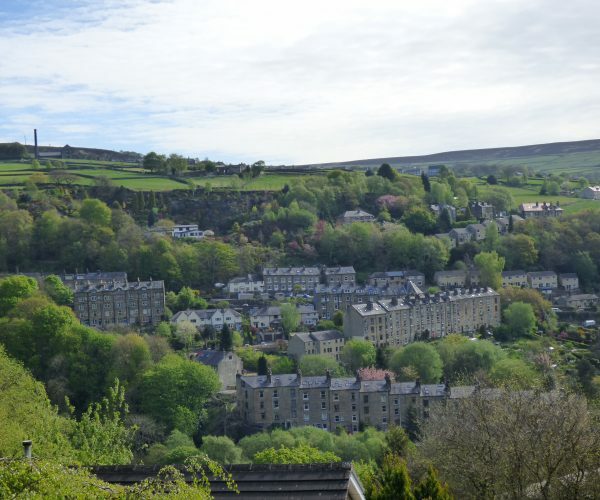 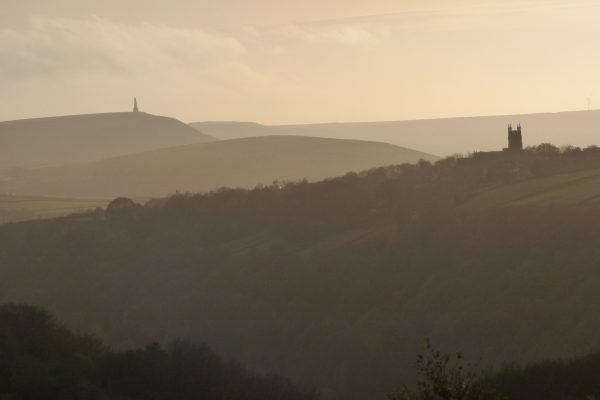 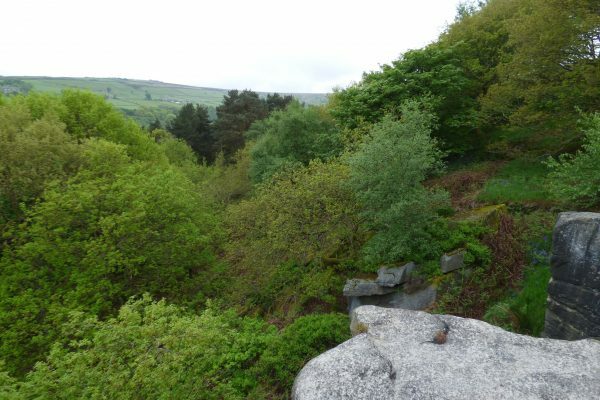 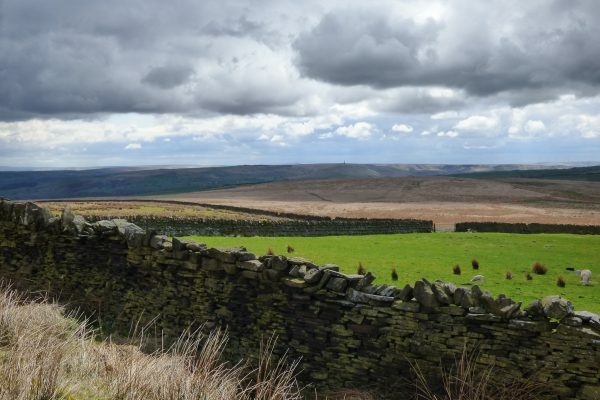 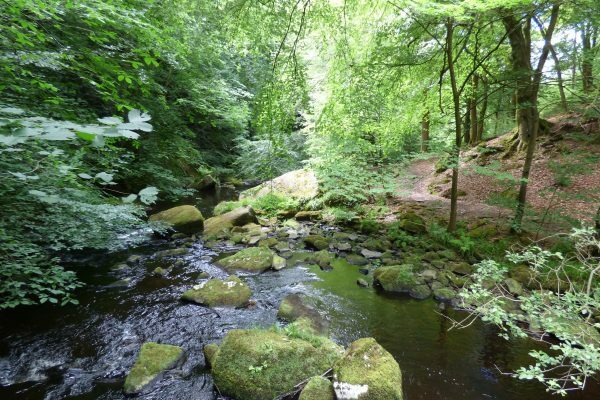 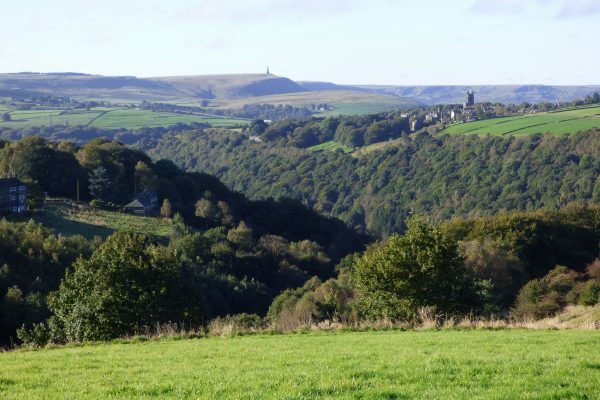 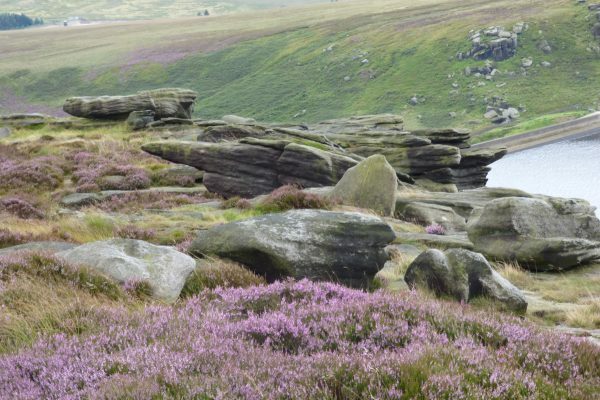 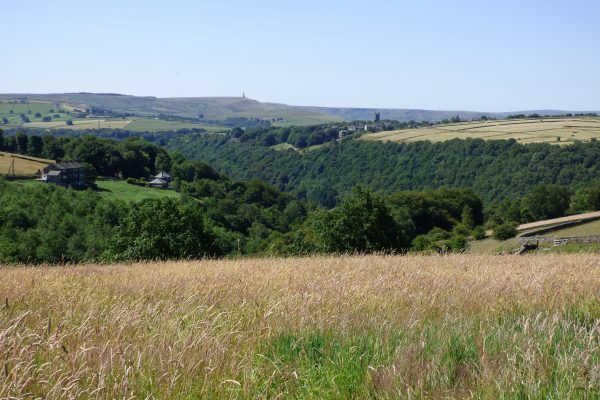 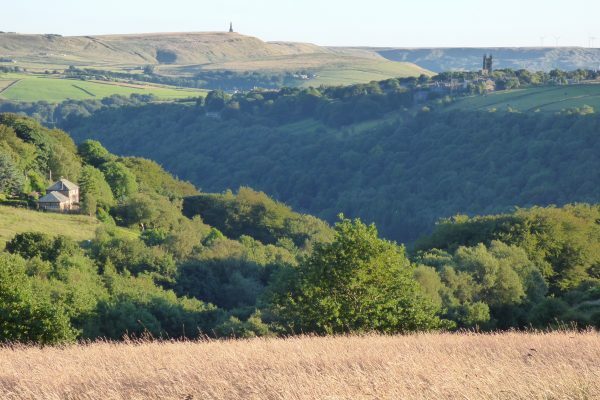 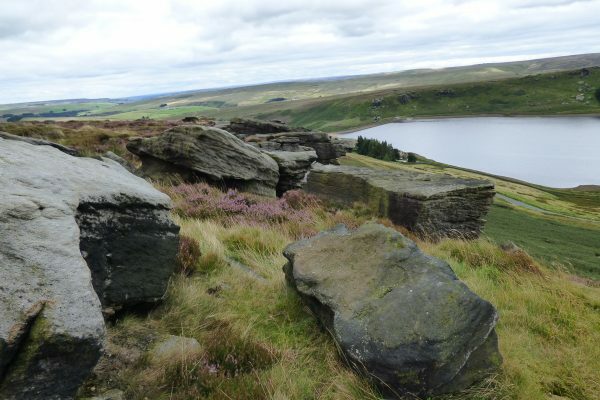 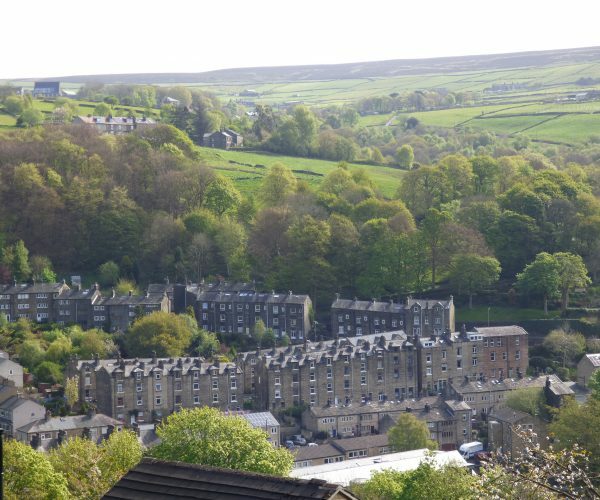 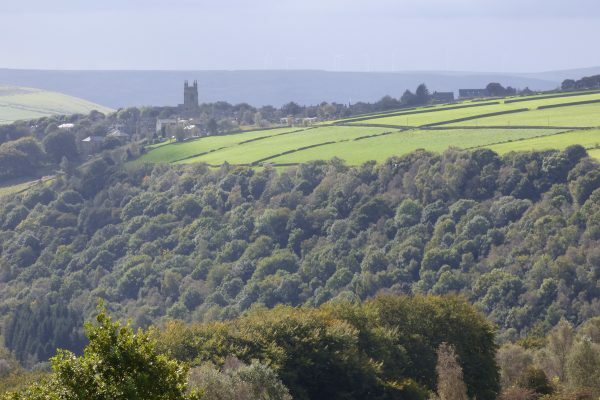 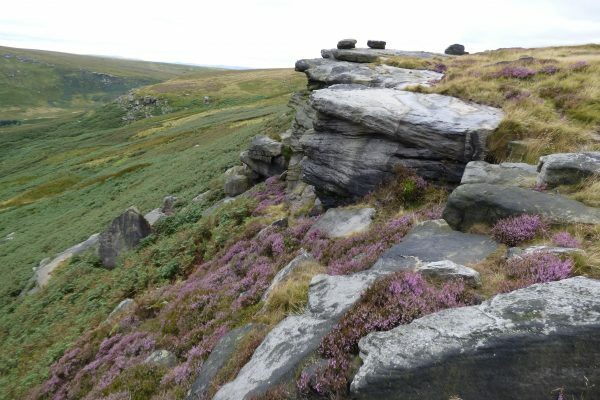 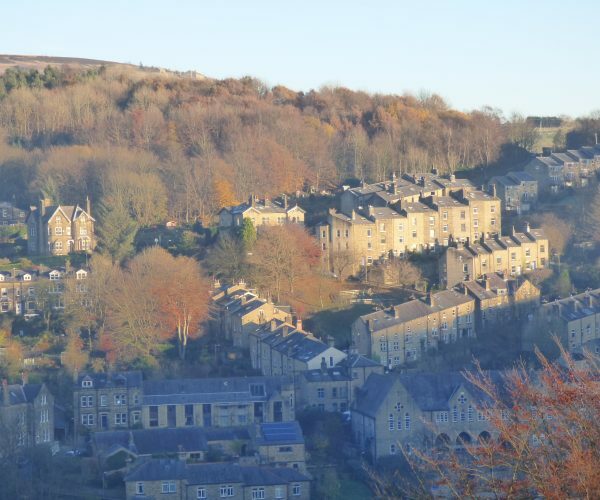 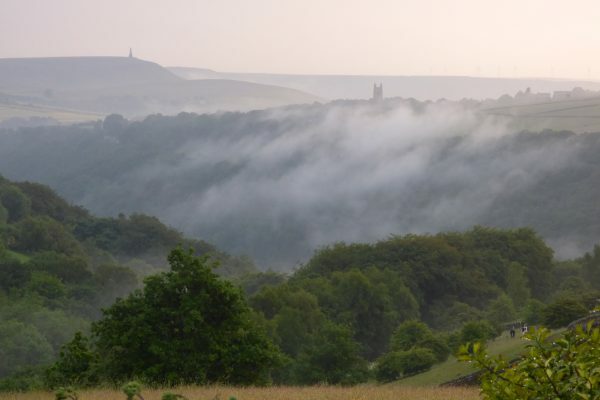 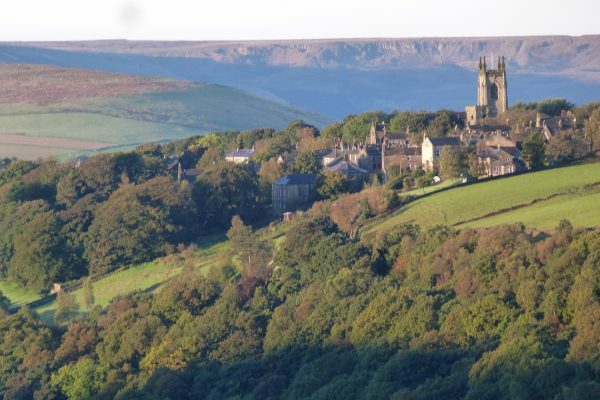 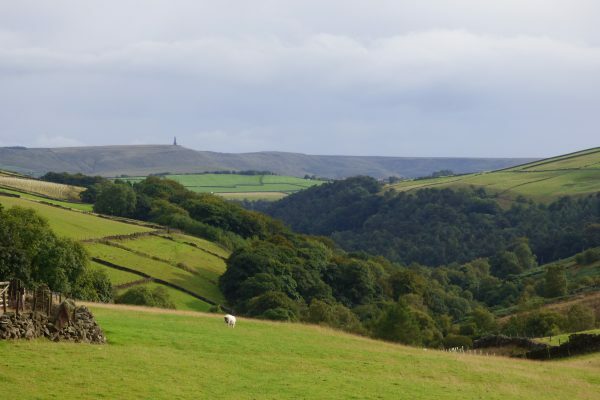 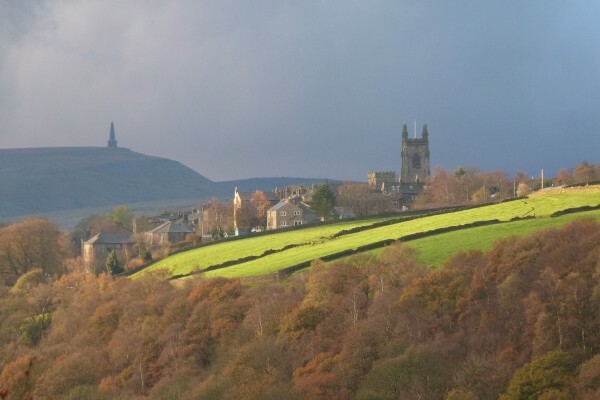 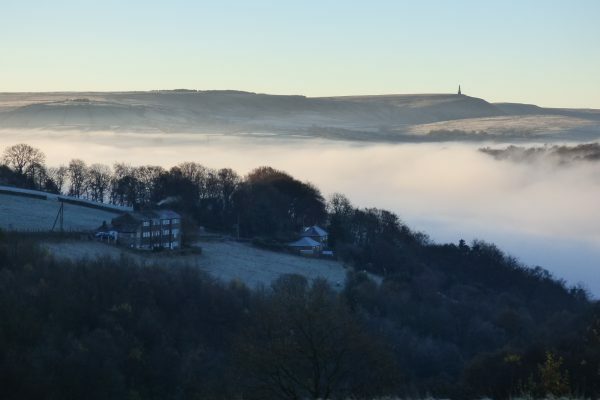 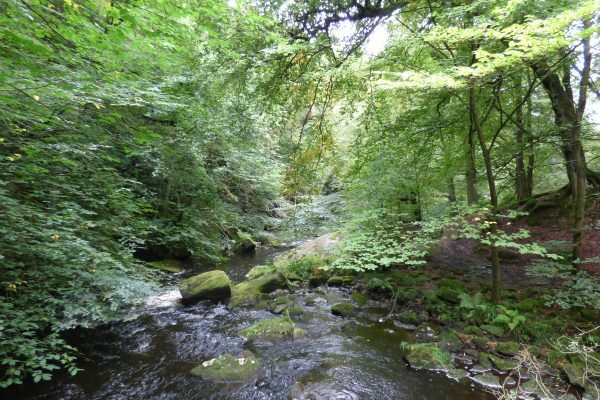 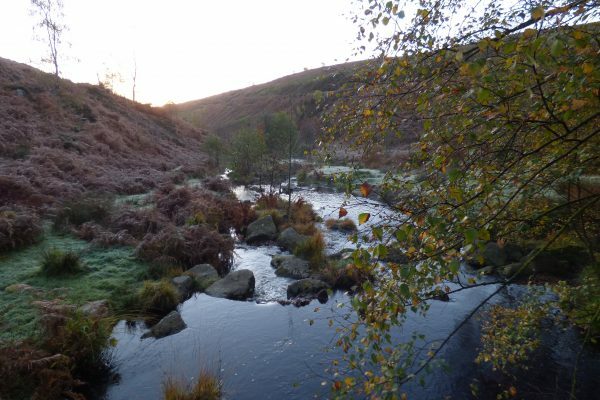 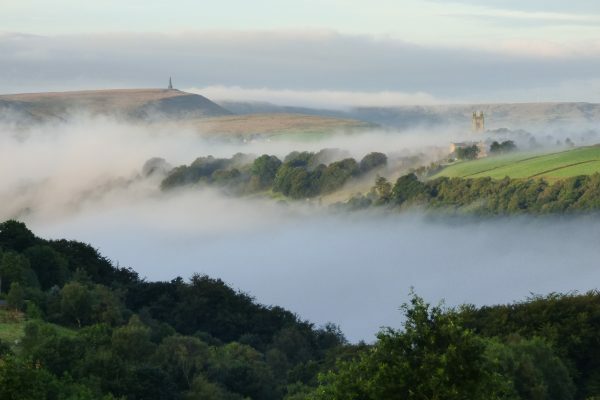 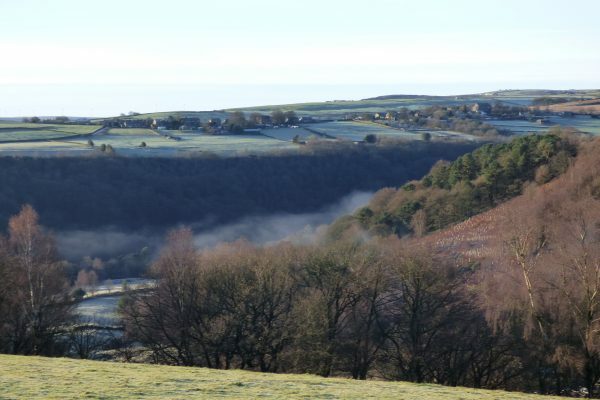 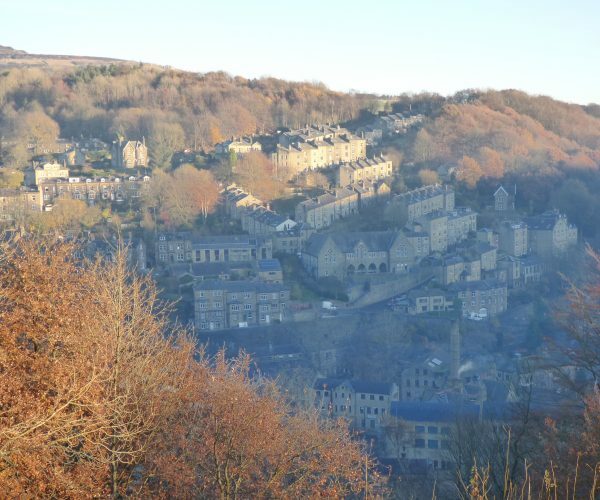 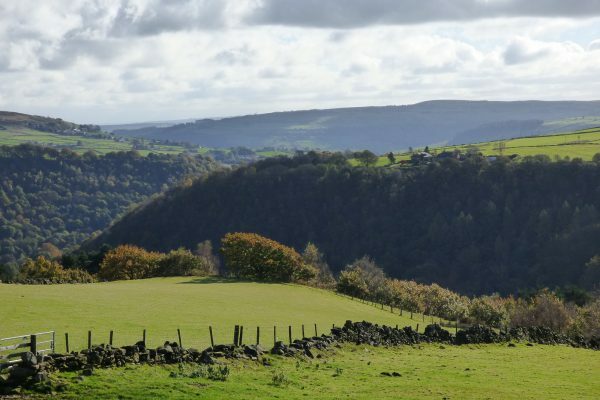 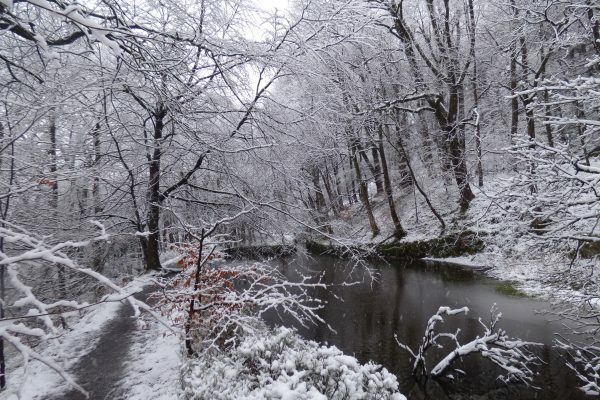 The dramatic landscape around Hebden Bridge was a lifelong inspiration for local poet Ted Hughes. 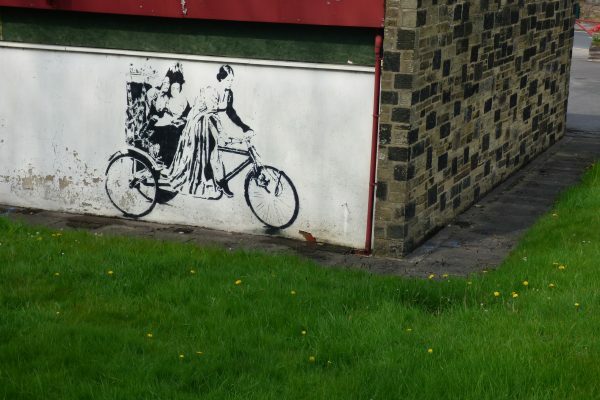 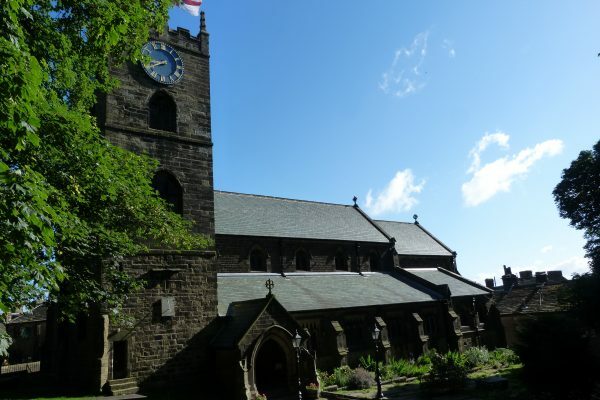 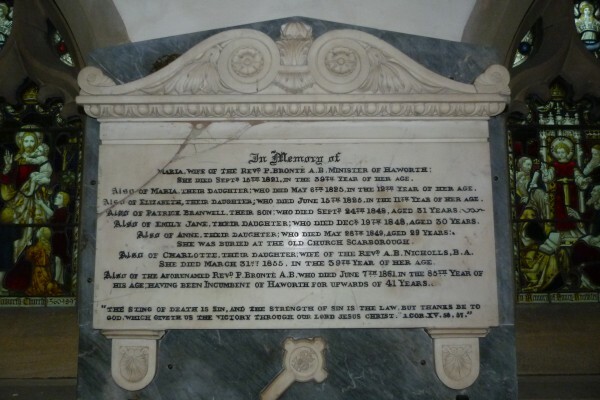 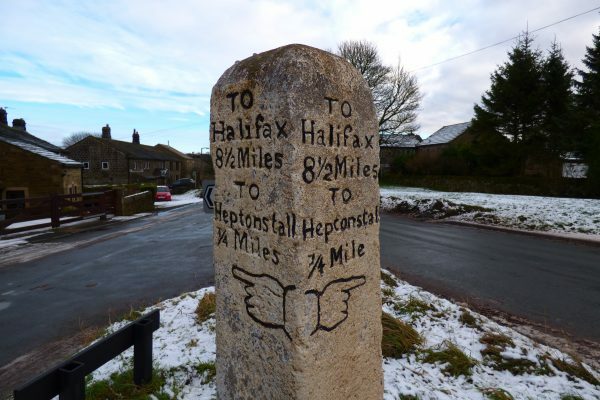 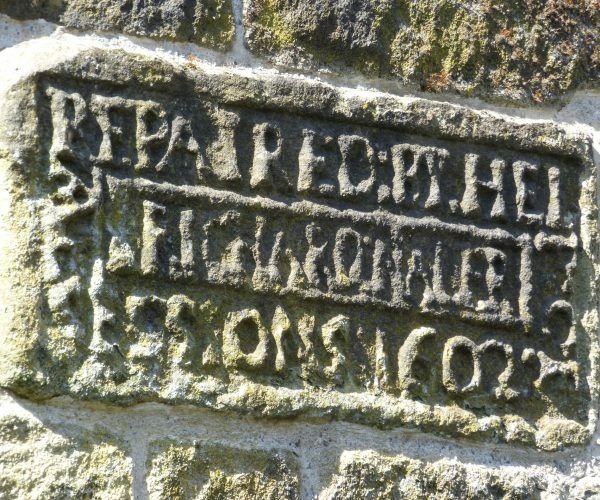 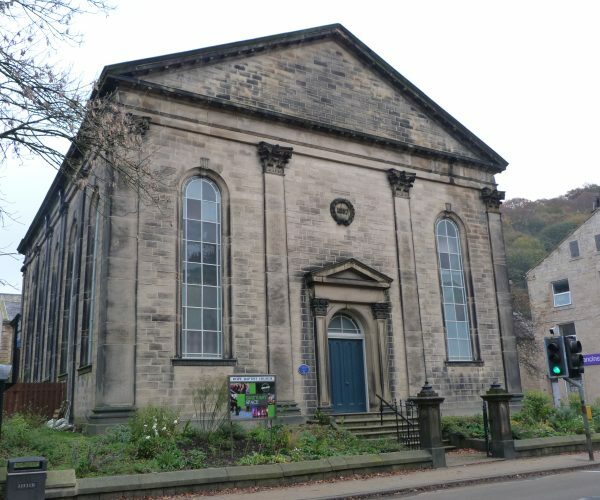 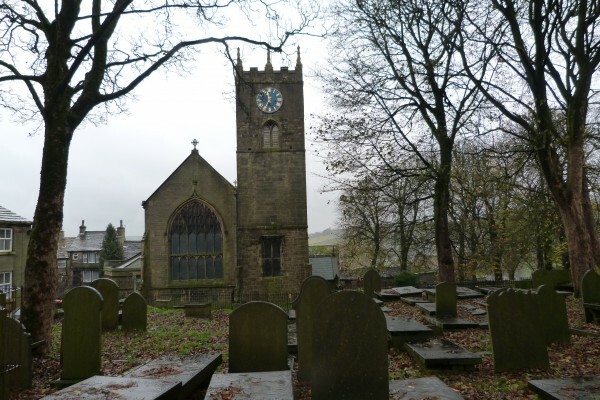 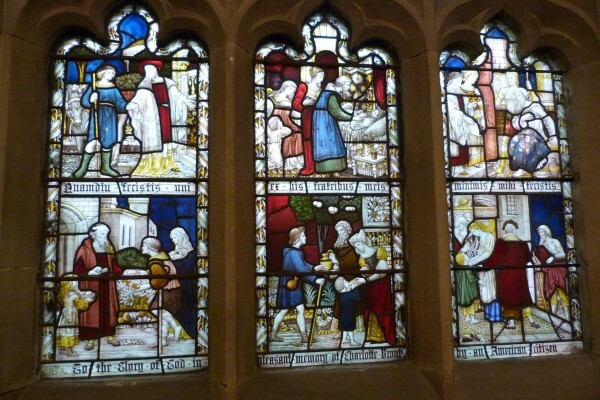 American literary legend Sylvia Plath, Hughes’s soulmate, is buried in Heptonstall.